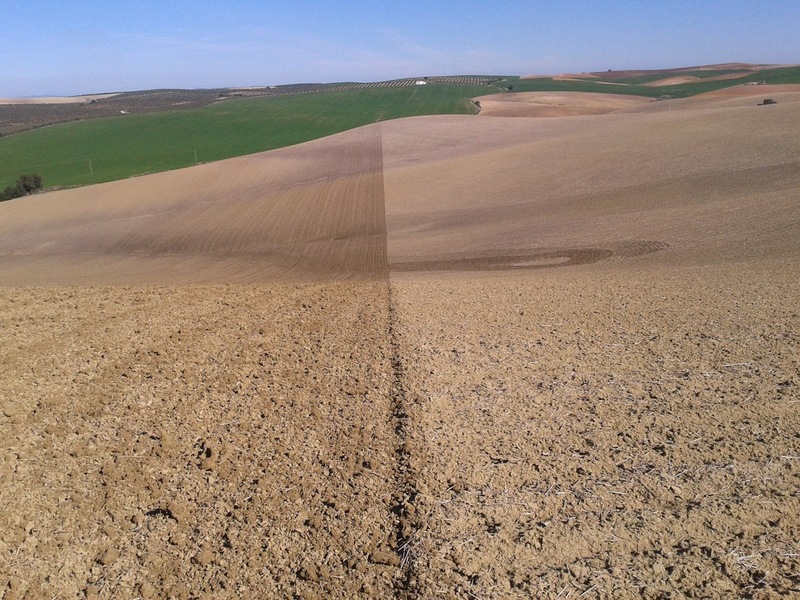 It was 15th of July of 2010 when Cesar Domínguez began this project and he advertised that in his old blog. 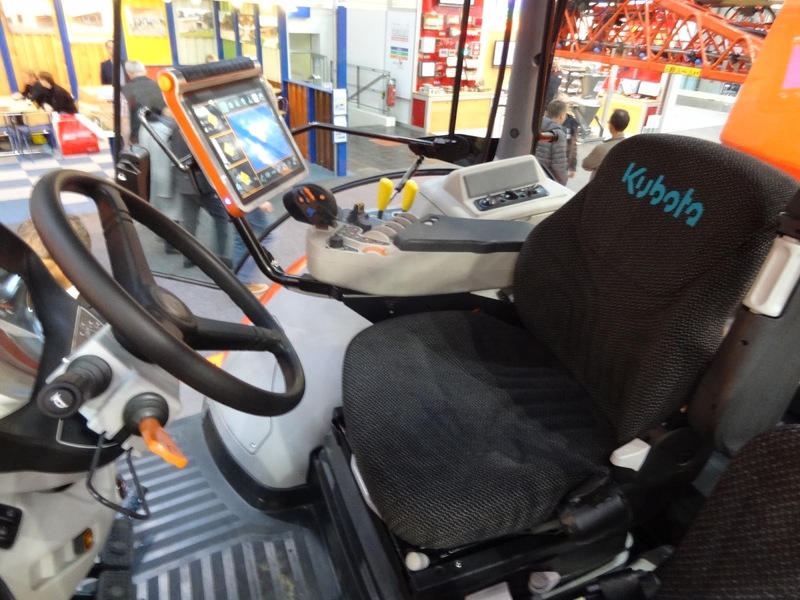 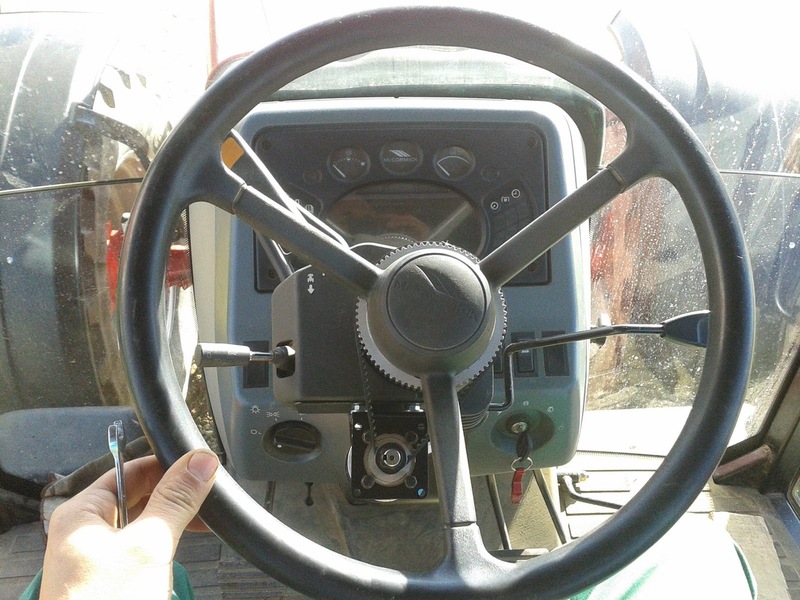 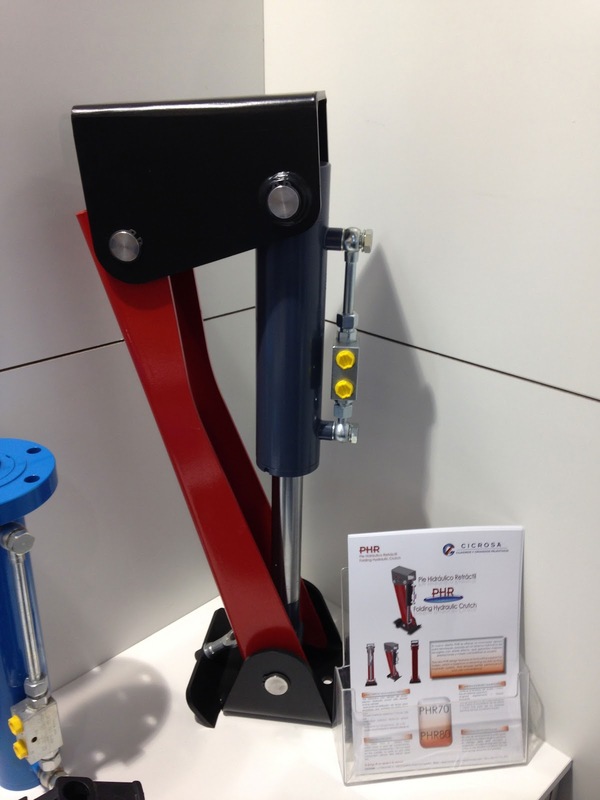 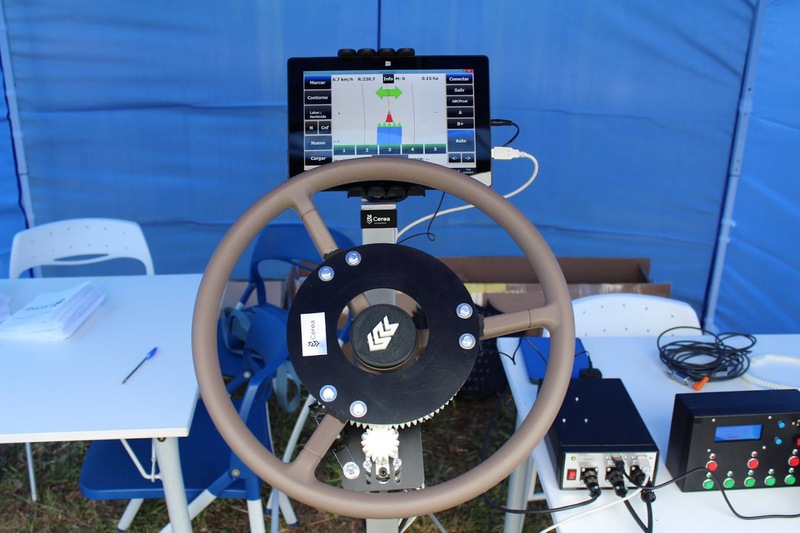 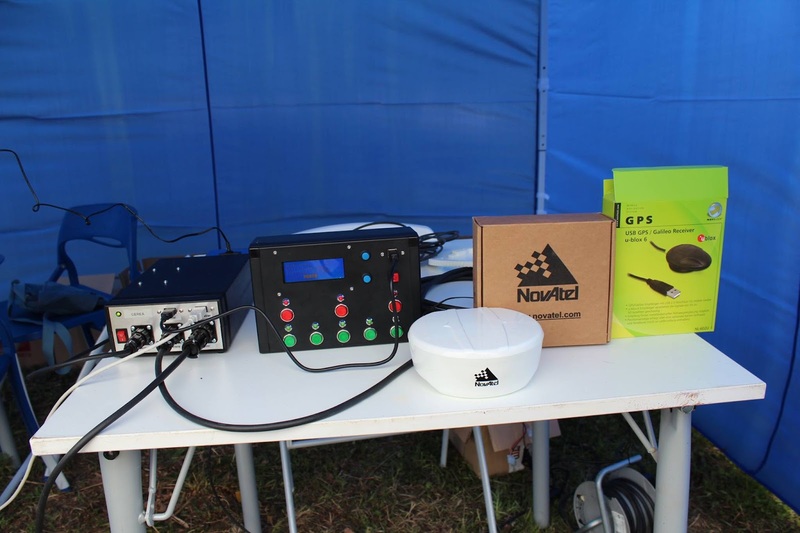 It was the day when we began to have news about this magnificent autosteering solution guided by GPS and called Cerea. 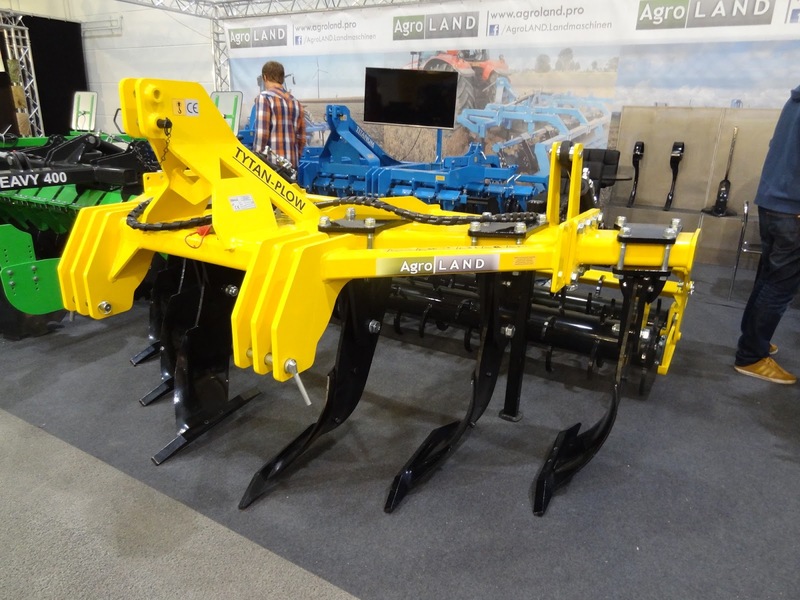 This idea appeared as result of trying to save money because professional autoguidance systems sold were really expensive, and the project grow with an unstoppable power. 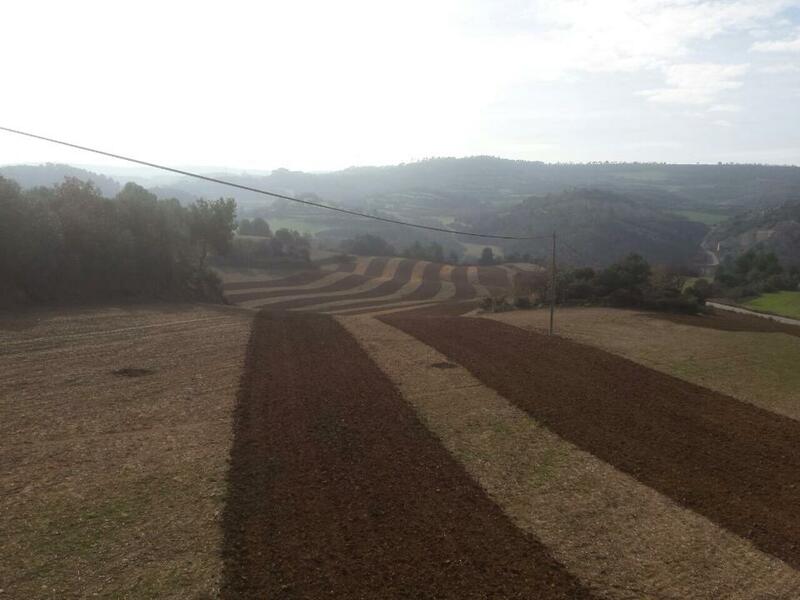 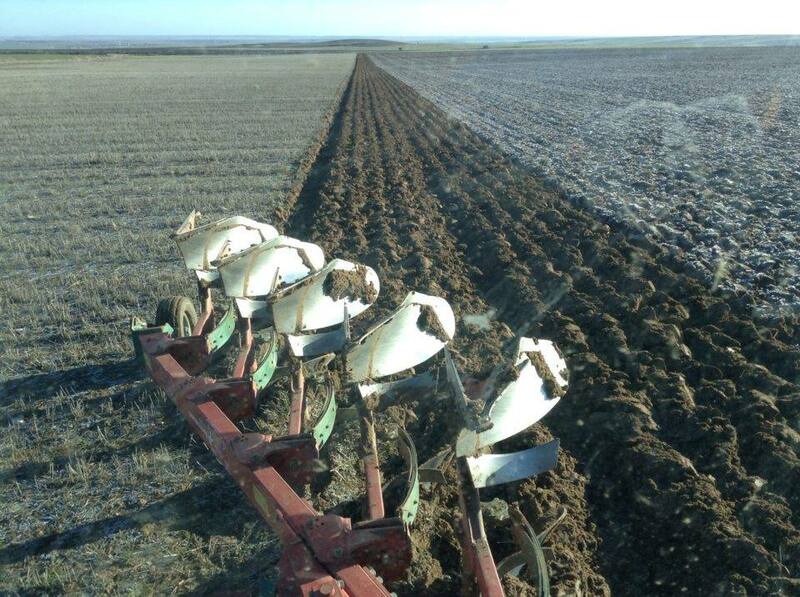 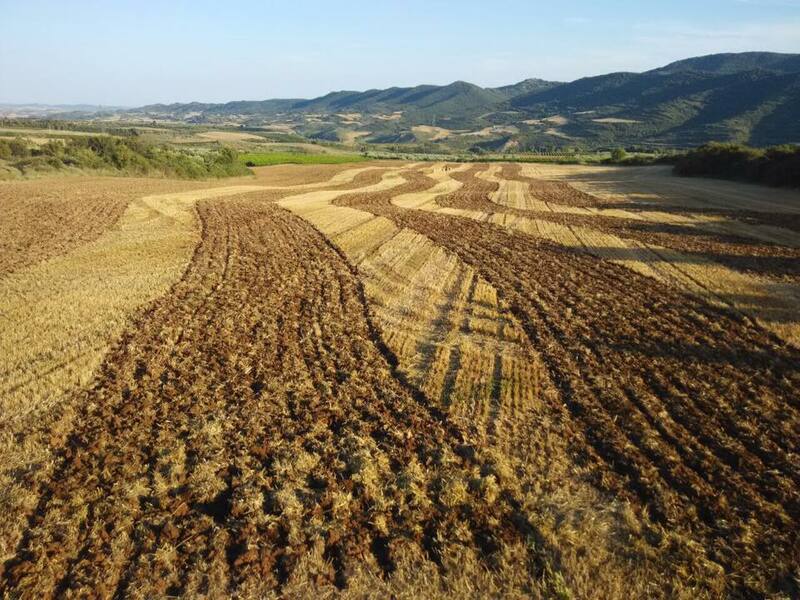 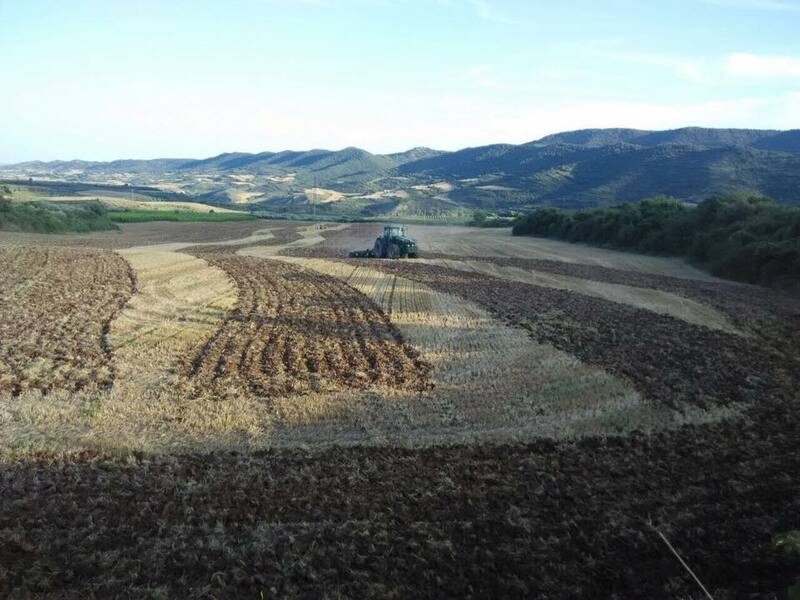 Many farmers started to carry out test on field... we began to use it a bit later (last months of 2011) and since then only successful and satisfactions have been received from it. 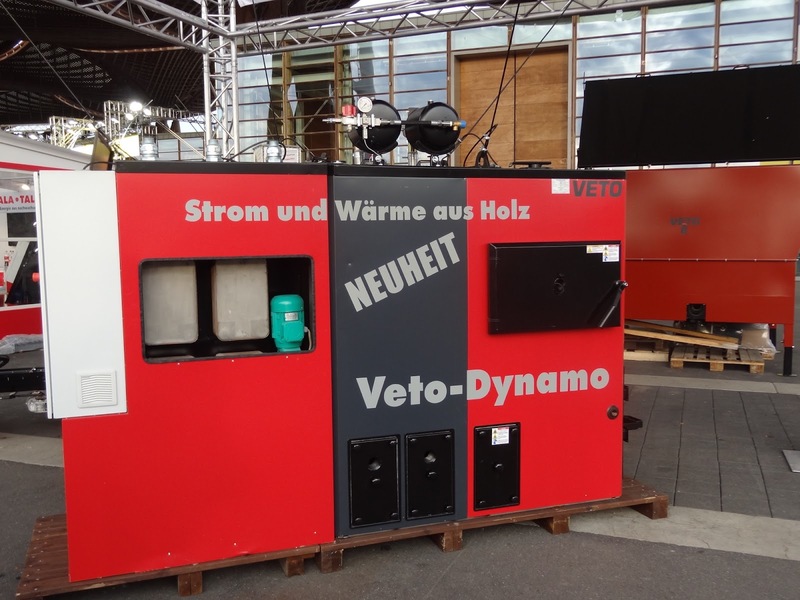 We have installed systems for some friends and they are working daily without any problem and they are pretty pleased. 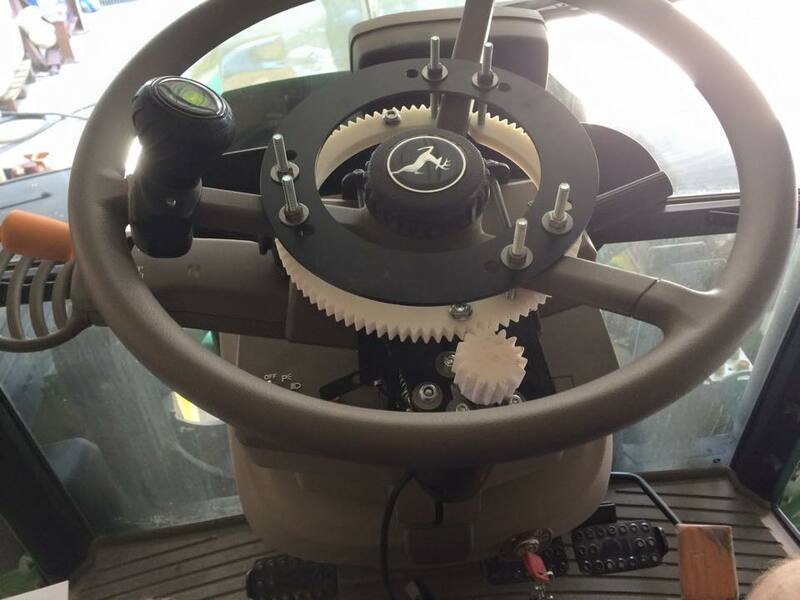 Cerea is an autoguidance solution made for farmers so it owns all the features they need and it is designed following their instructions. 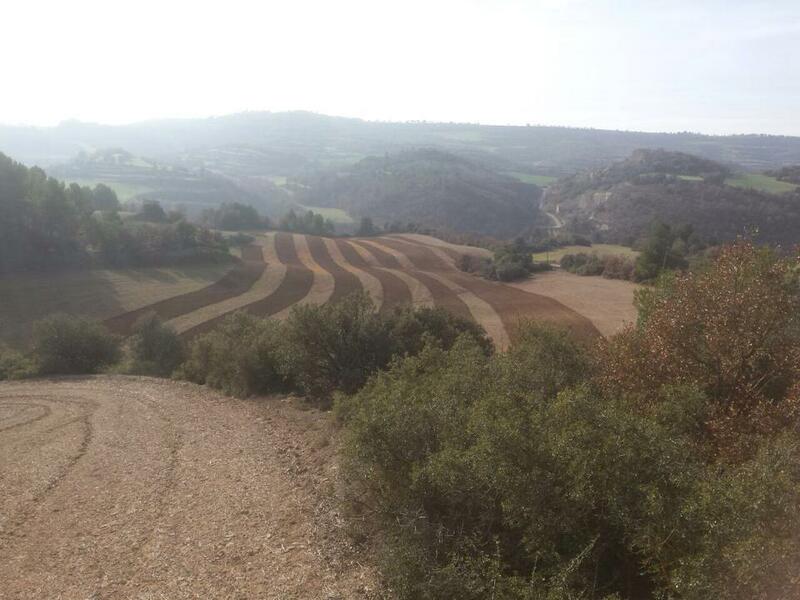 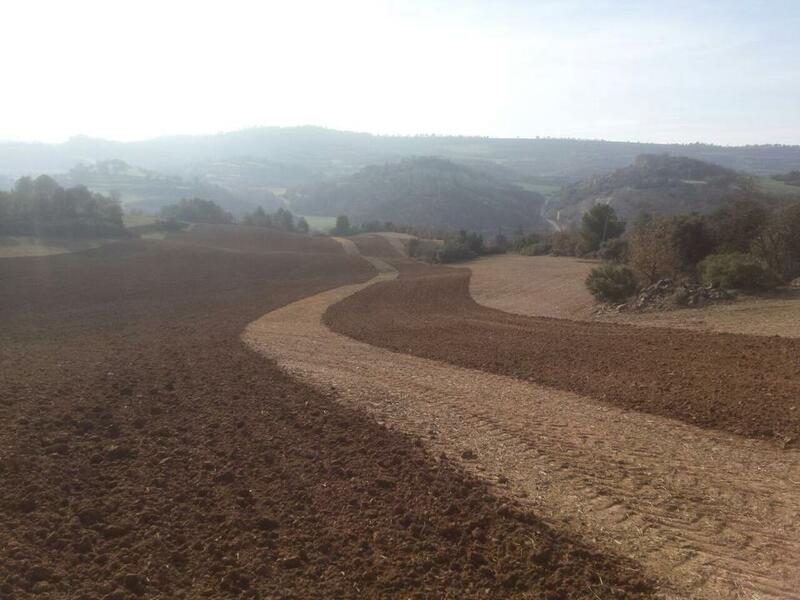 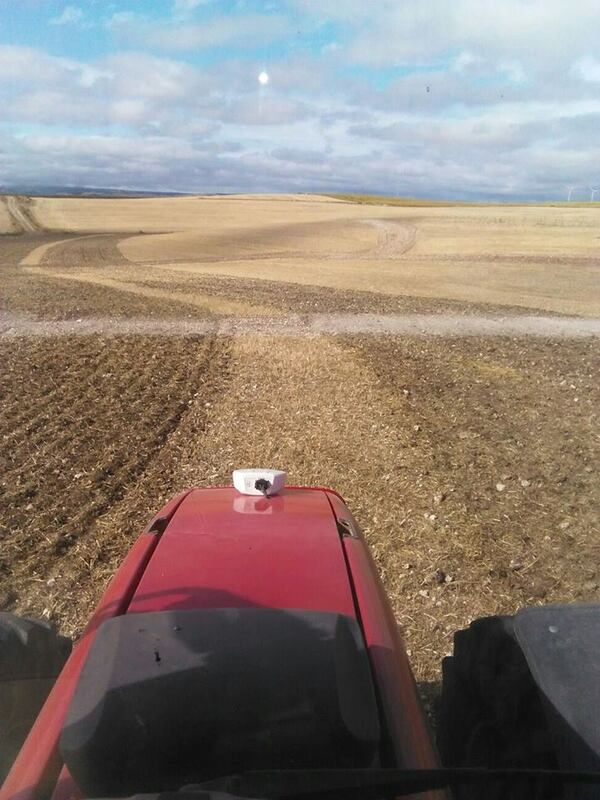 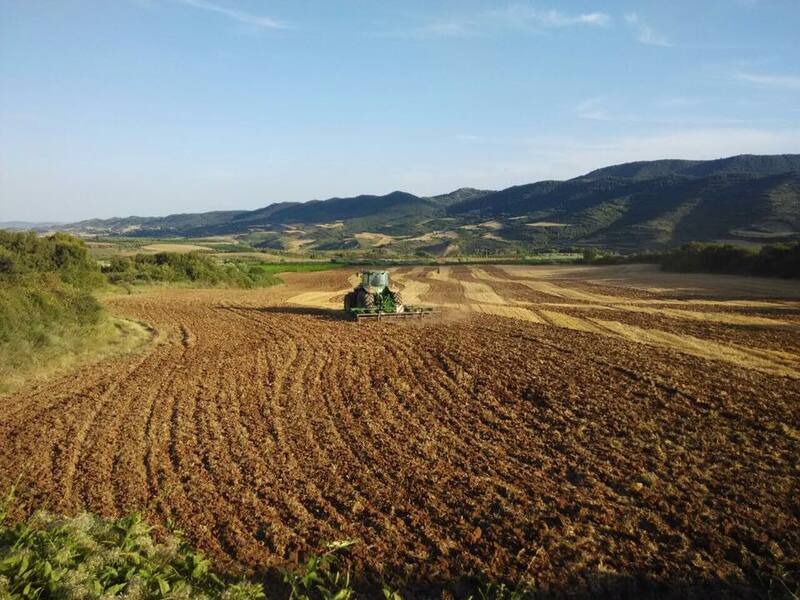 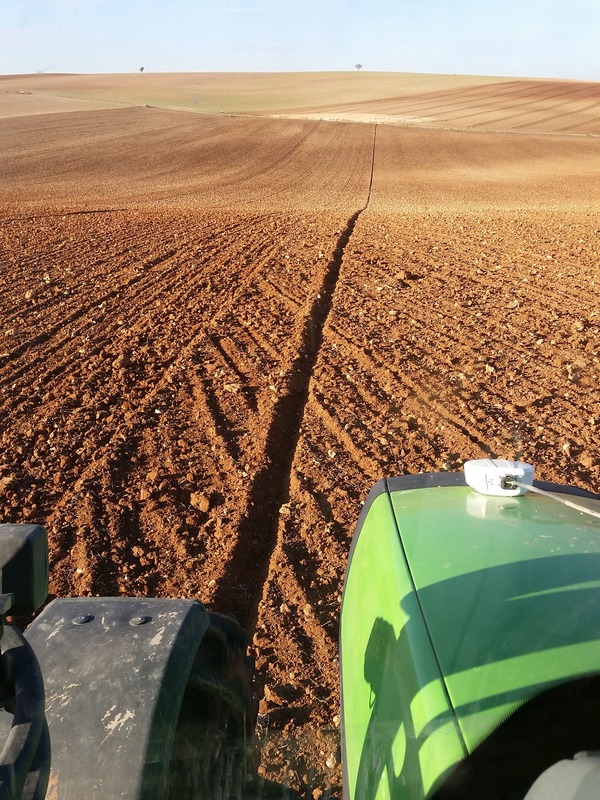 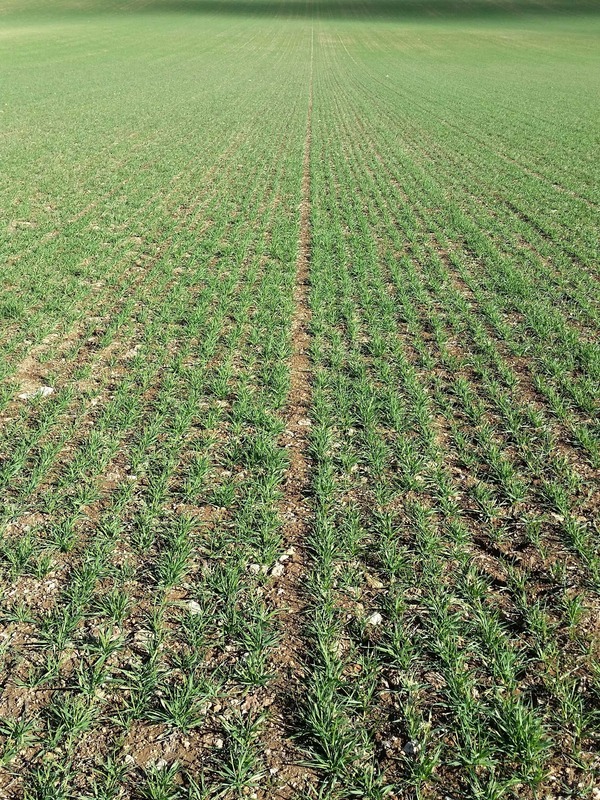 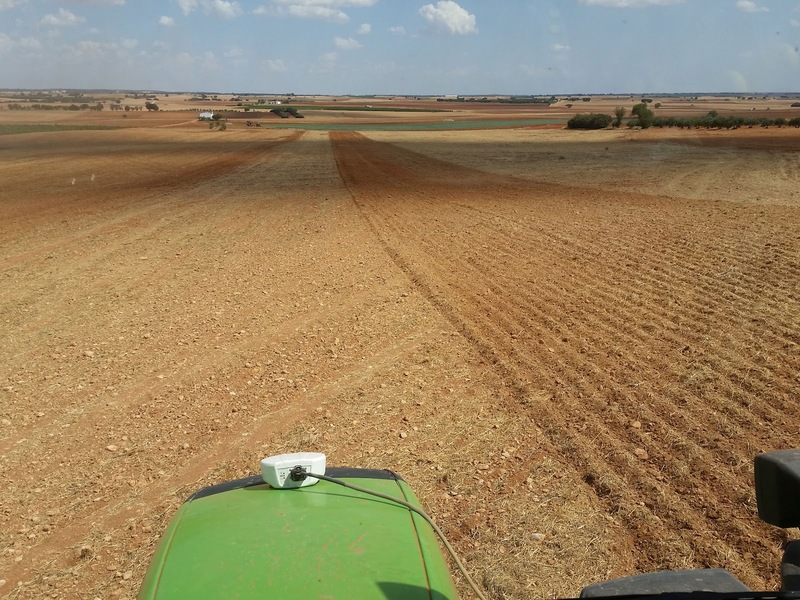 Nowadays, we are over 45 farmers in Spain who are carrying out test on field and we report our needs, incidents, improvements, etc... for Cesar Domínguez. 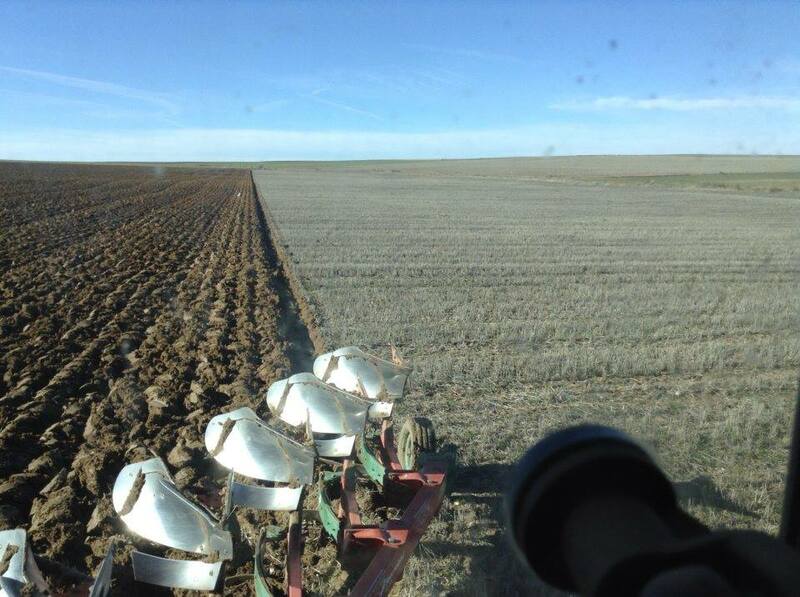 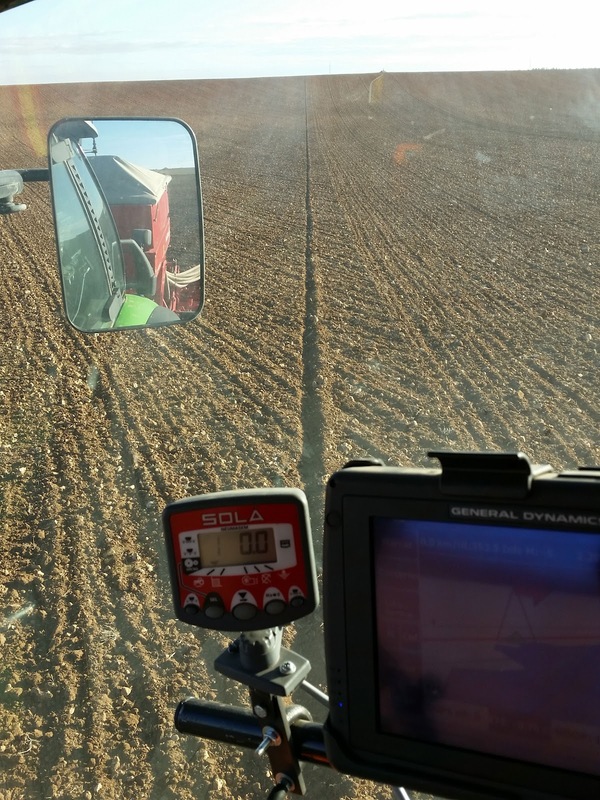 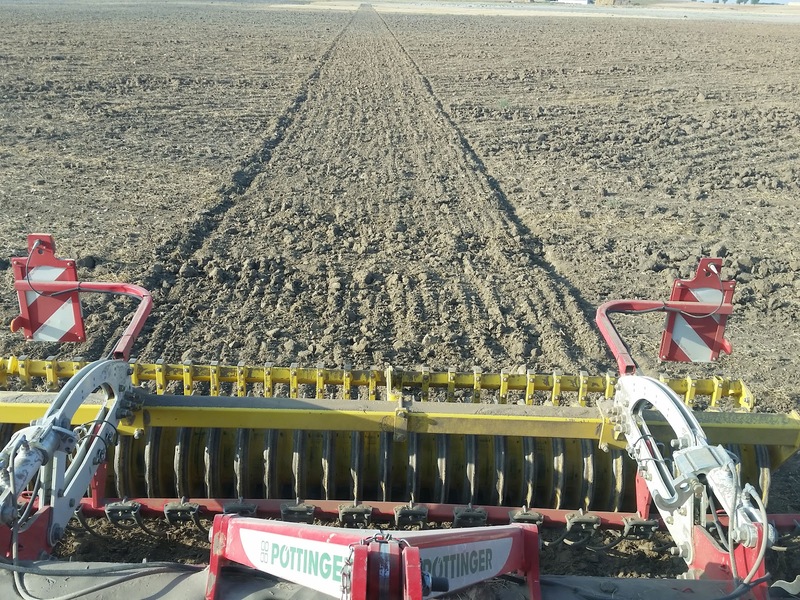 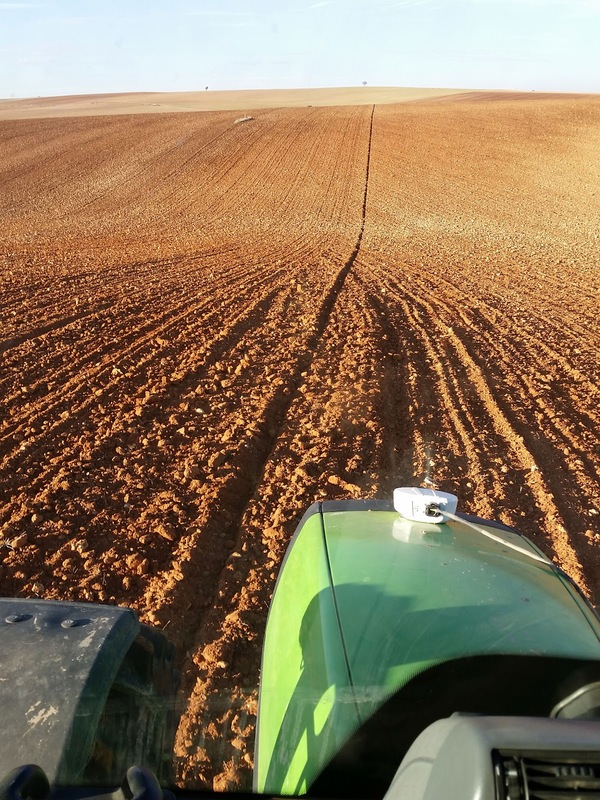 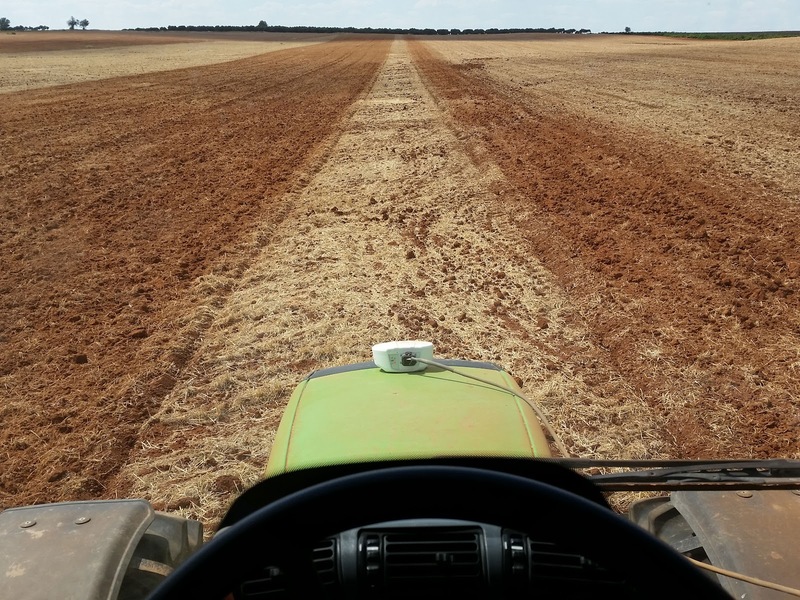 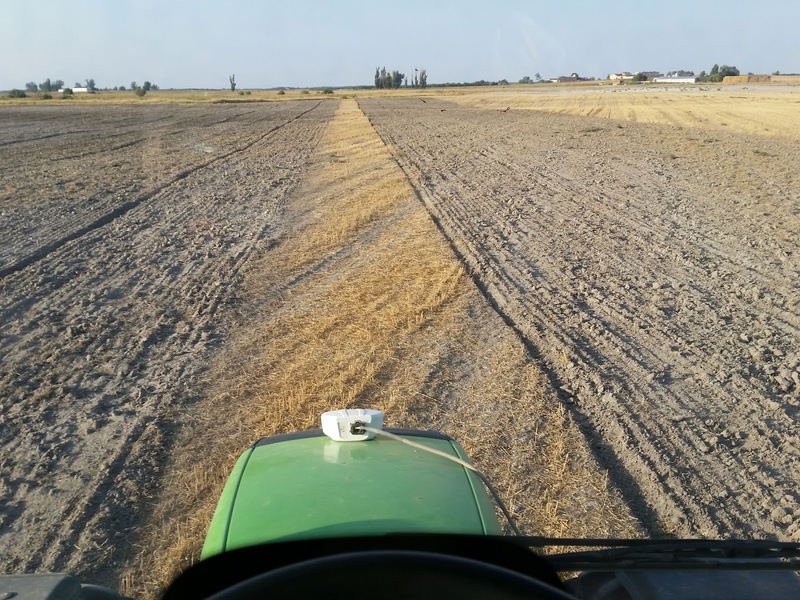 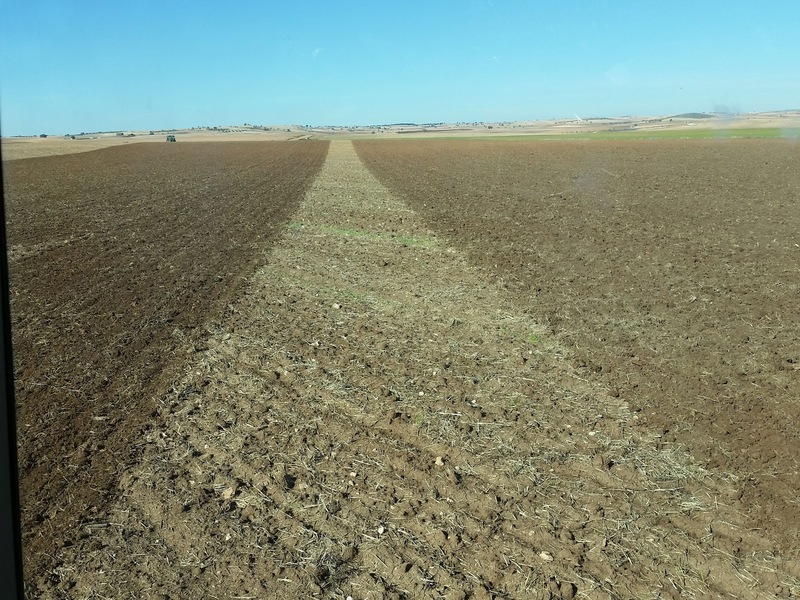 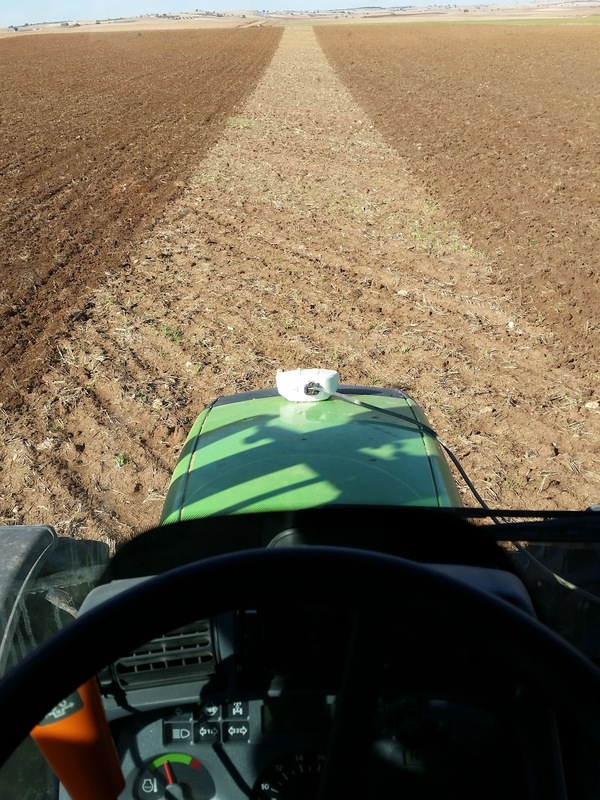 Autoguidance systems by GPS allows to farmers save money... yes, you can really save money because your fertilizer, spraying, harrowing, sowing and harvesting tasks are done more accurately. 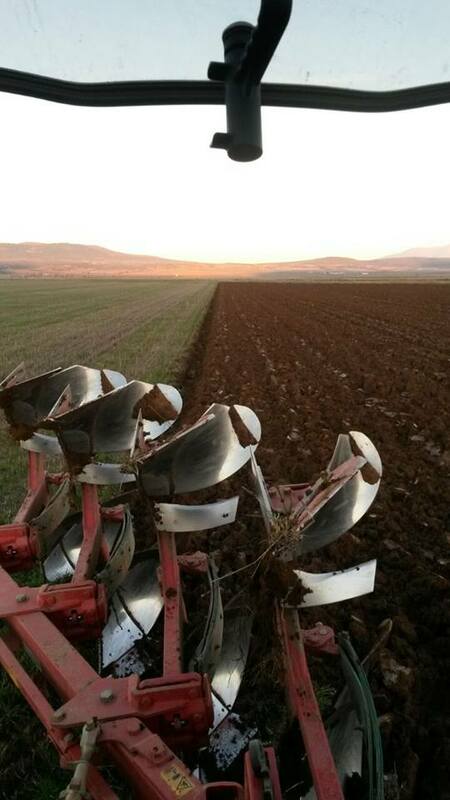 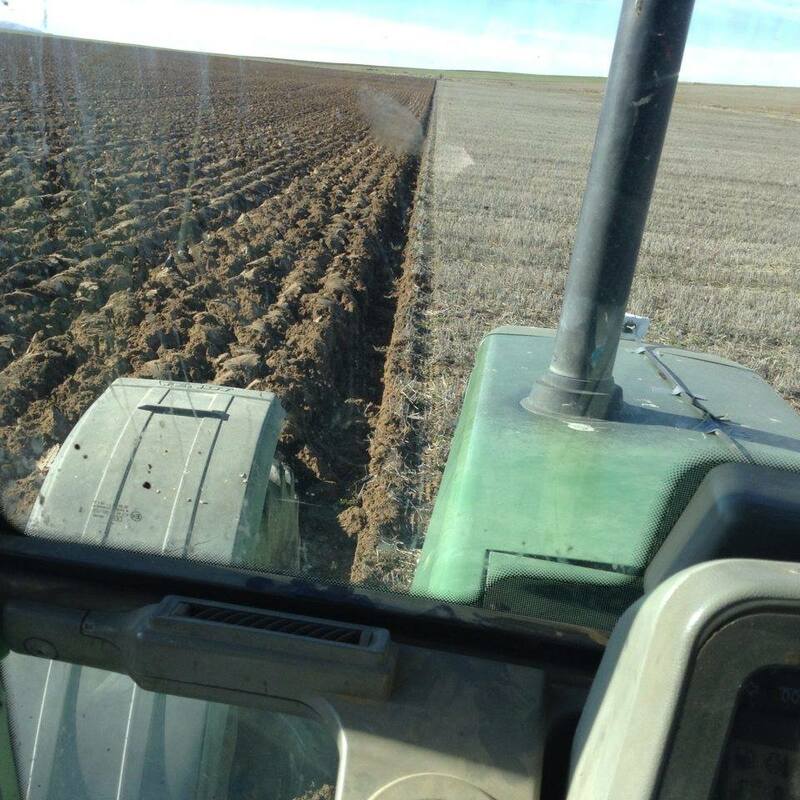 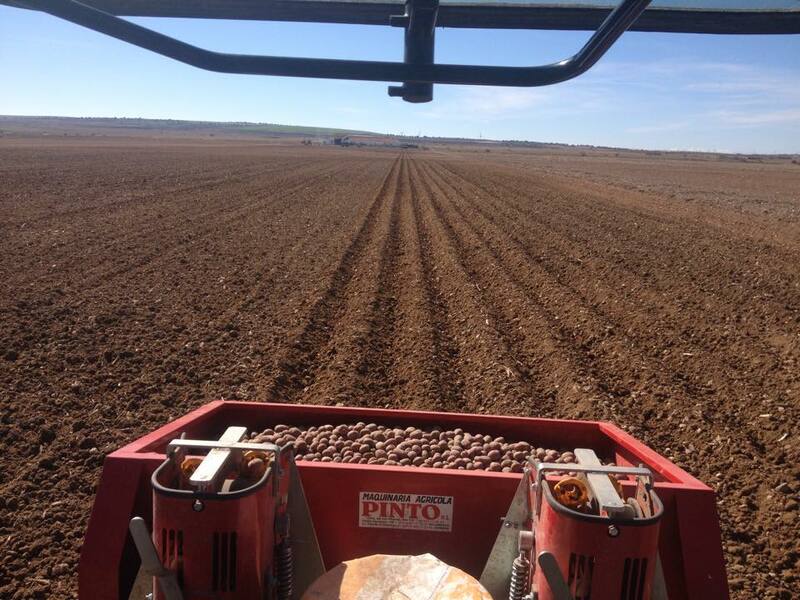 Another important aspect is the comfort, since you can work a long sowing day and you can arrive at home without fatigue. 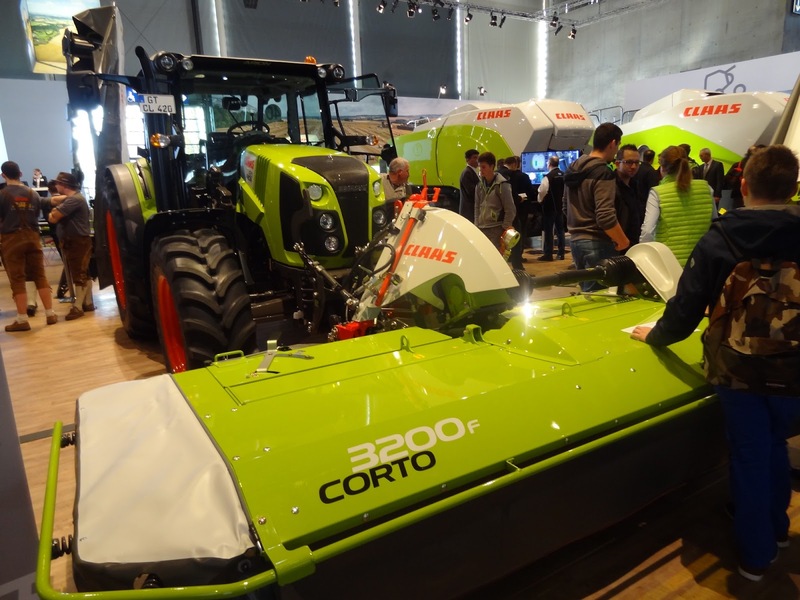 Even that, the main goal of Cerea is that the tractor doesn't need a driver. 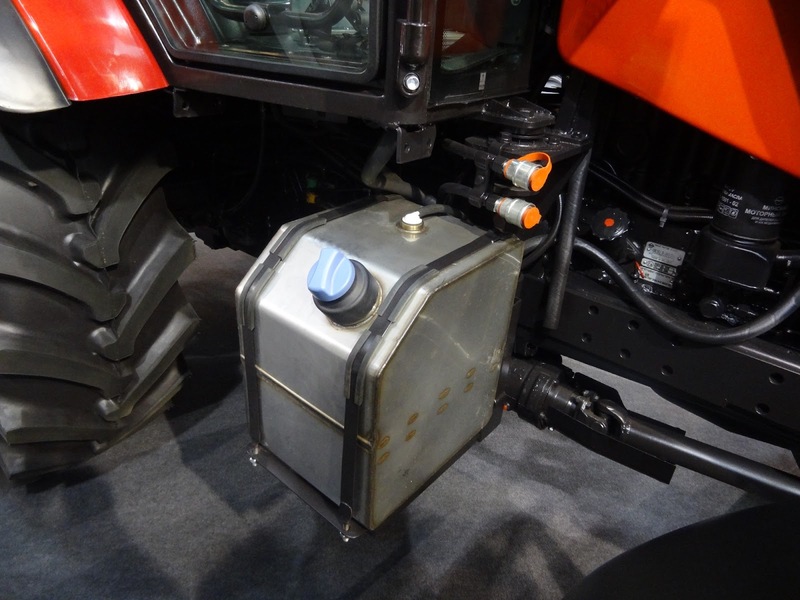 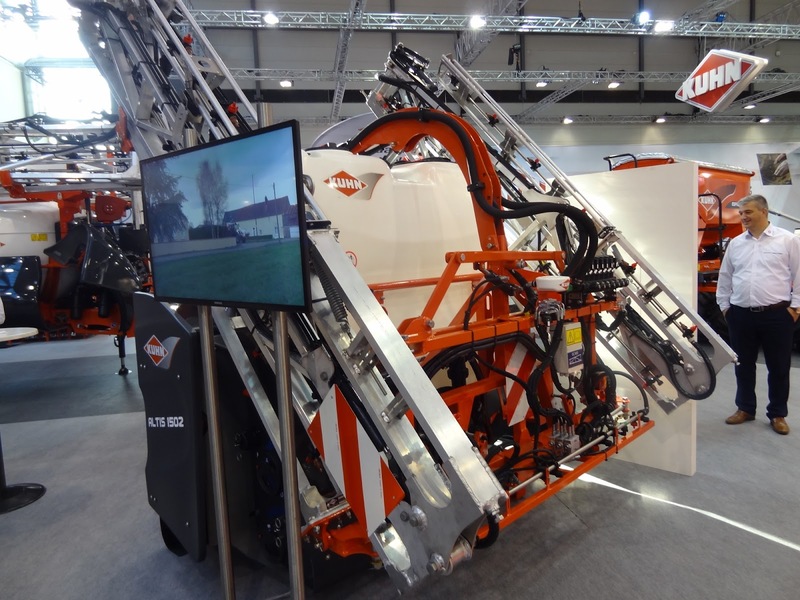 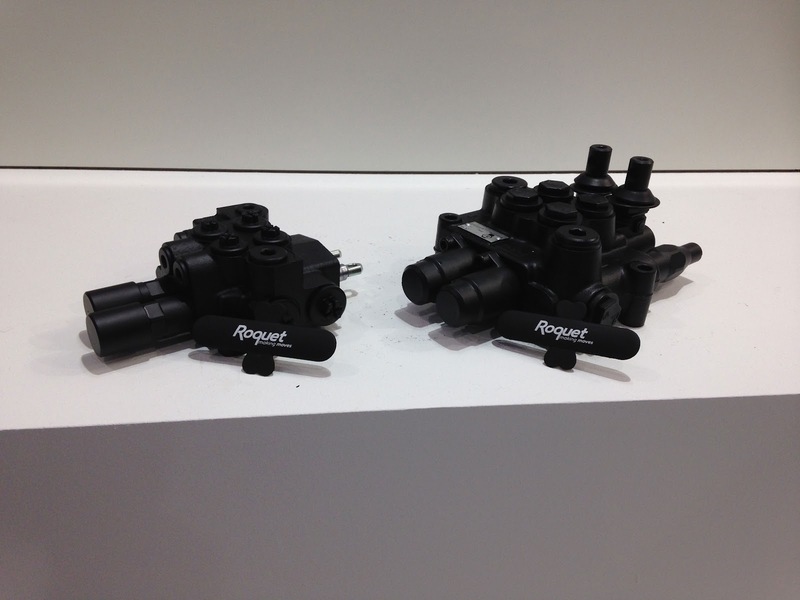 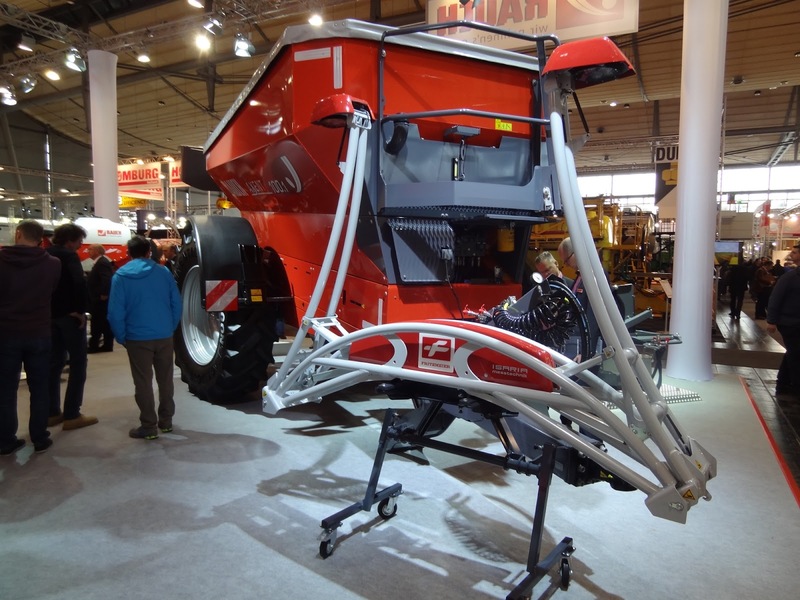 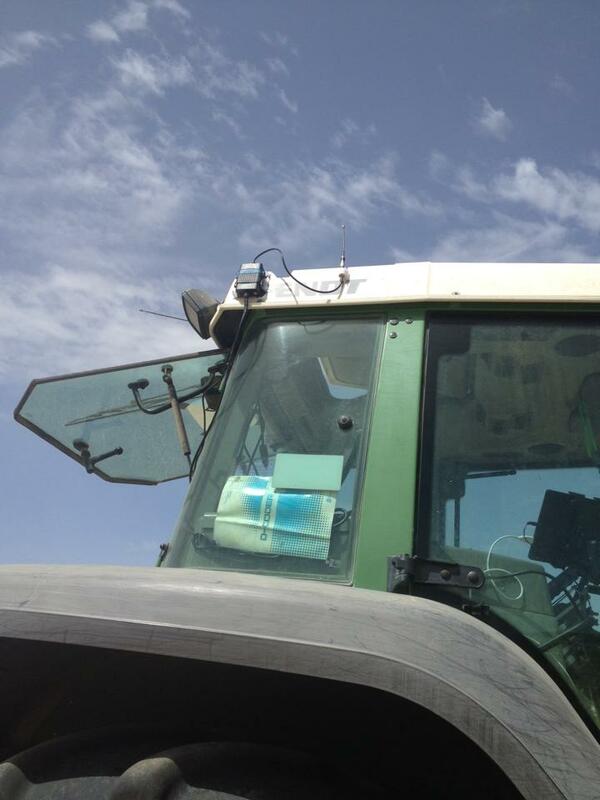 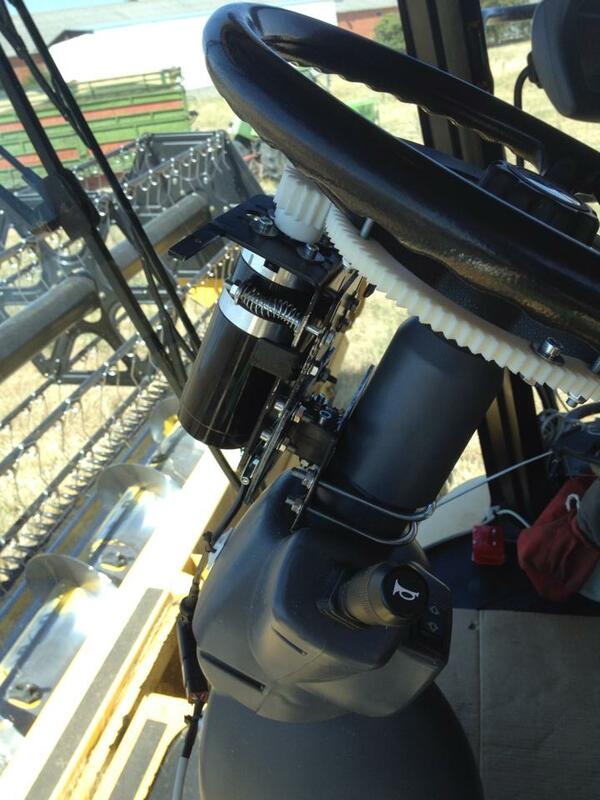 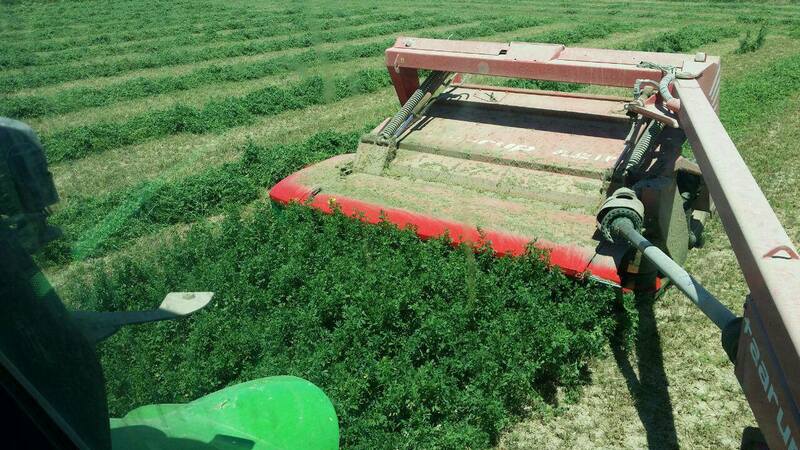 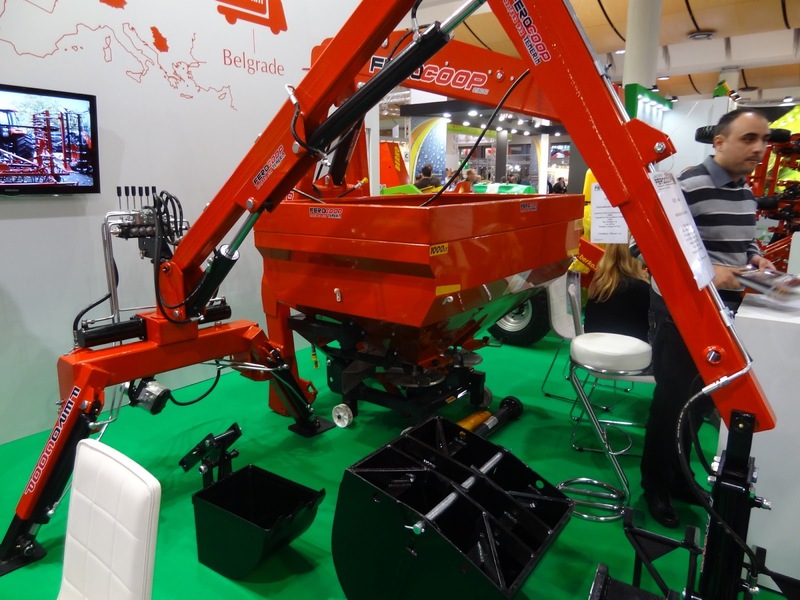 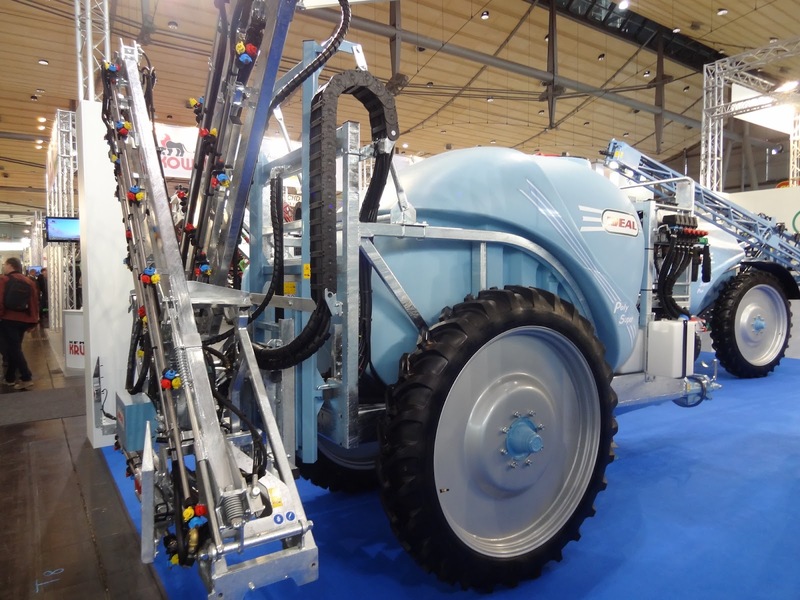 The first step is done because tractor can change on head automatically, e.g., when you are spraying or fertilizer. 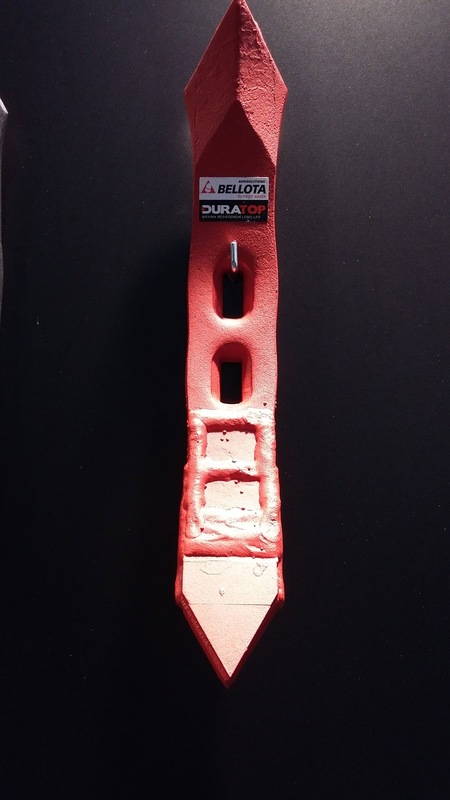 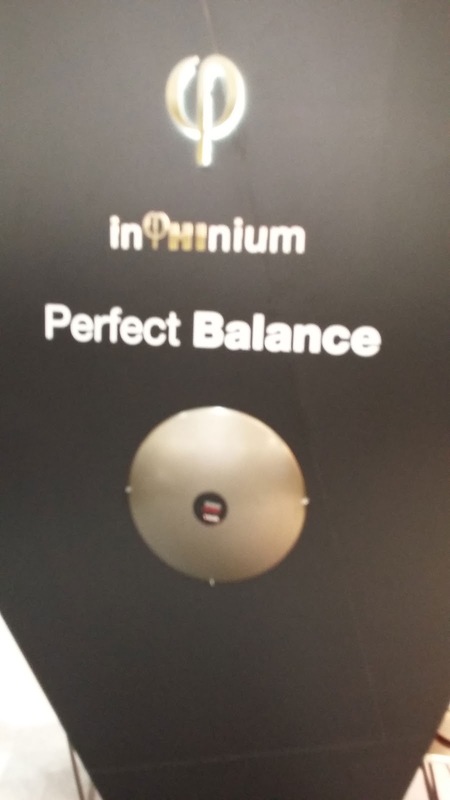 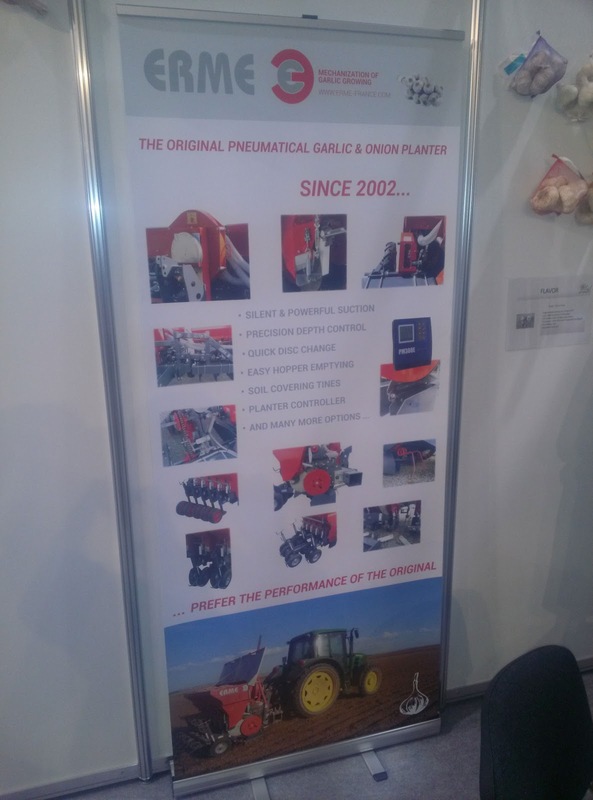 Its prices are really cheaper and about price/quality ratio we are convinced that is the best on the market. 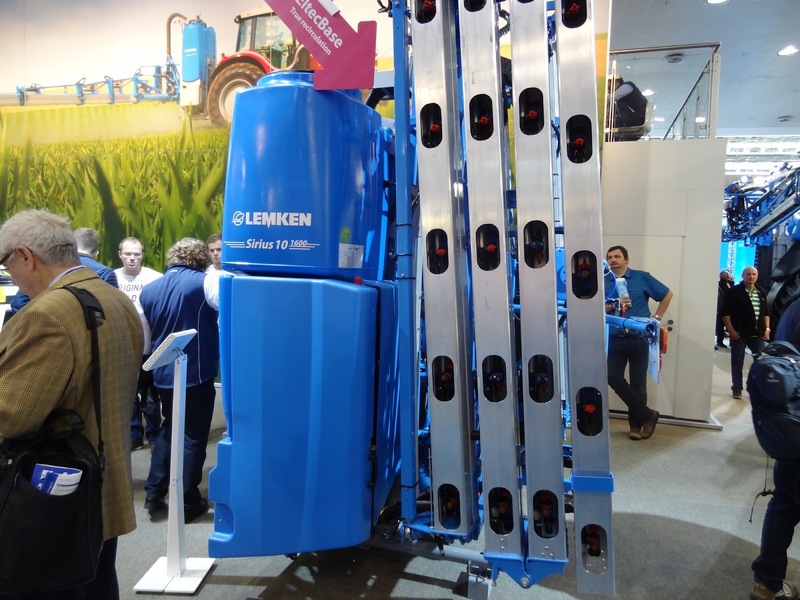 It is a system farmer can buy it with different configurations or even farmer can work in its installation. 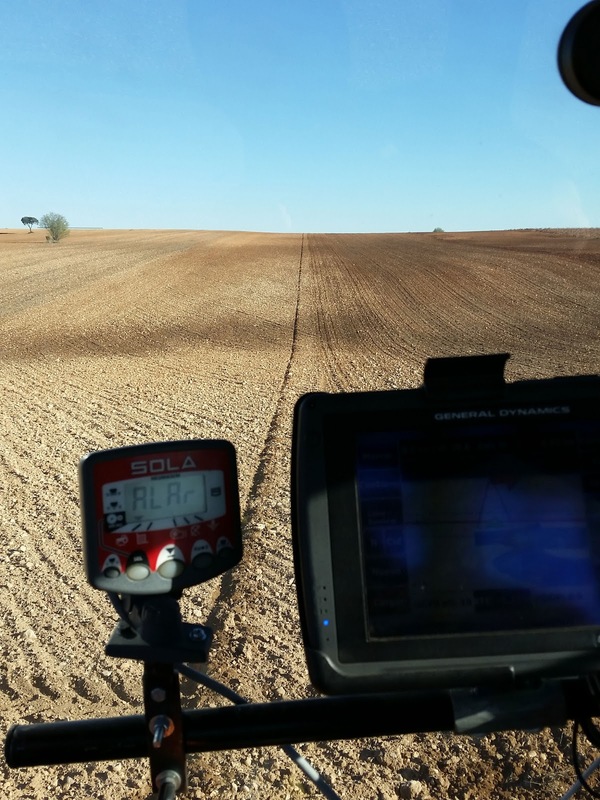 The standard prices are shown below (taxes not included) but they can be different according to the needs of each farmer (RTK signal, installation in some tractors…). 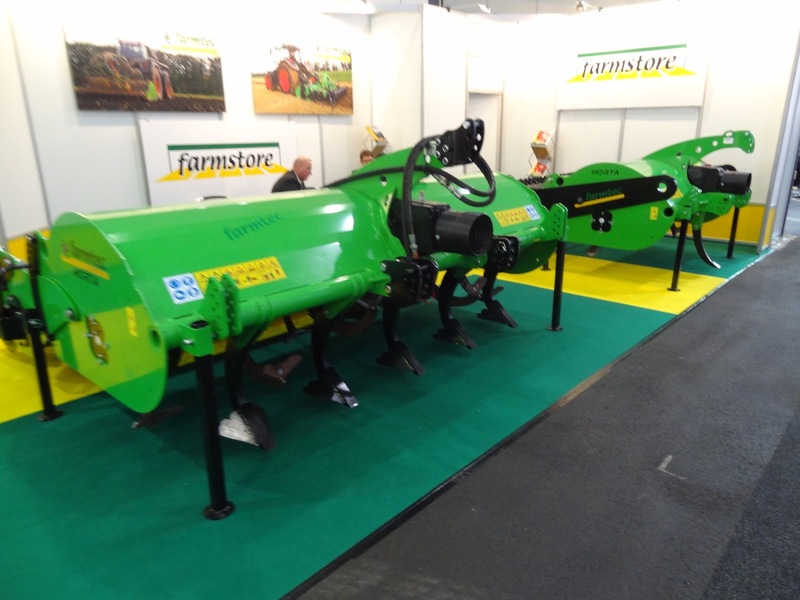 In our opinion, we recommend this system for all farmers because it is easy to work and its results are very gratifying. 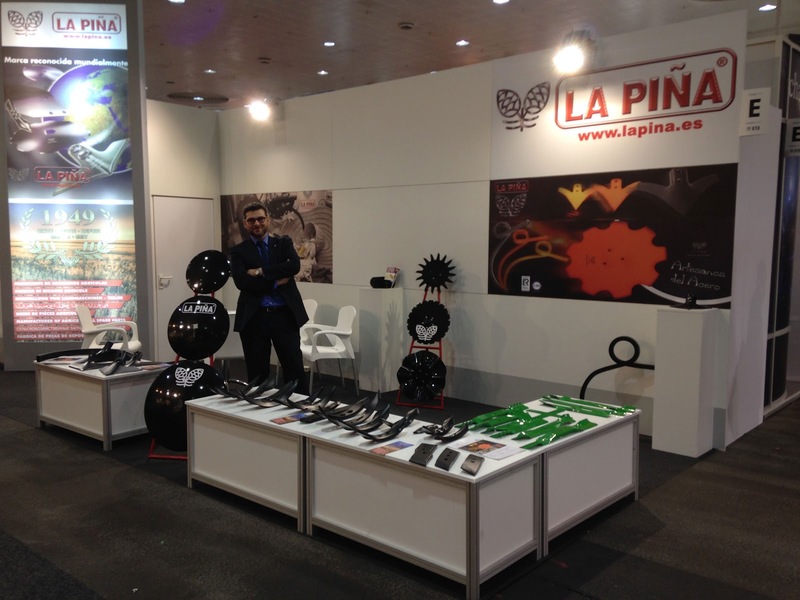 Our friends Timo (from www.konedata.net website) and Isabel (from NEKANÉ Comunicación S.L. 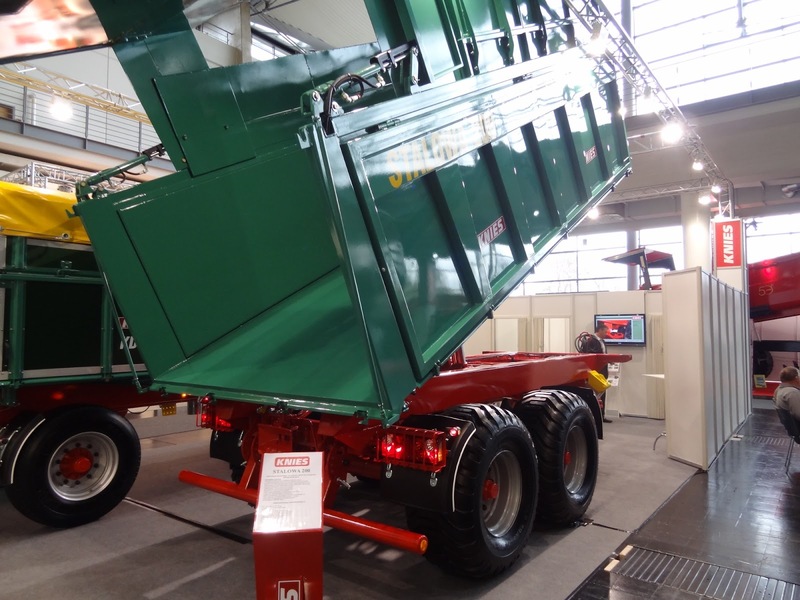 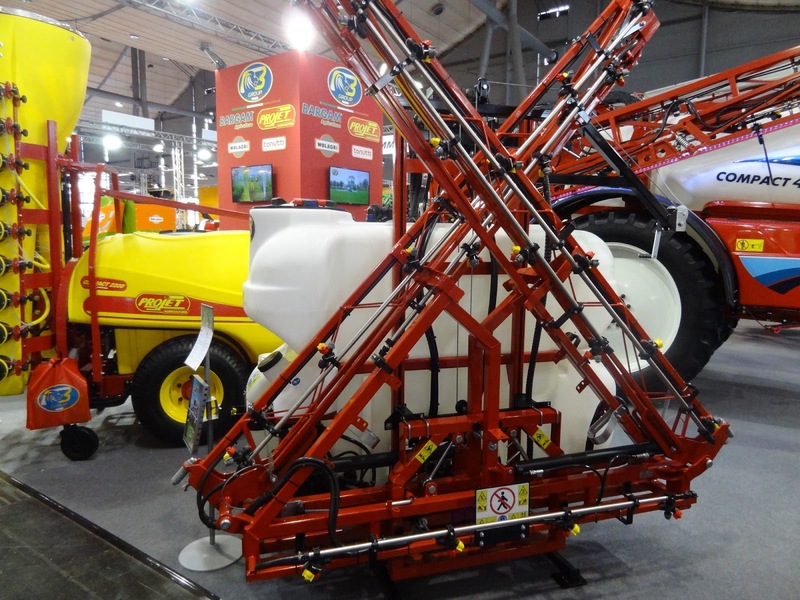 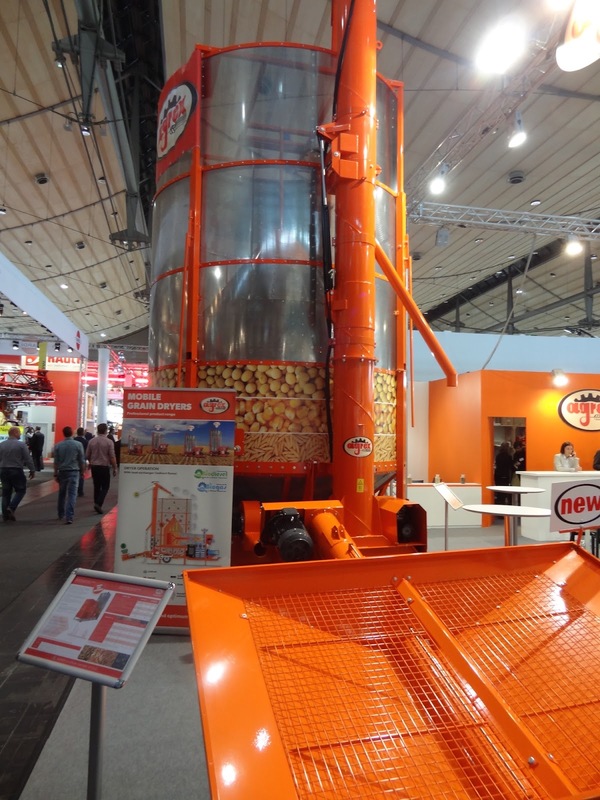 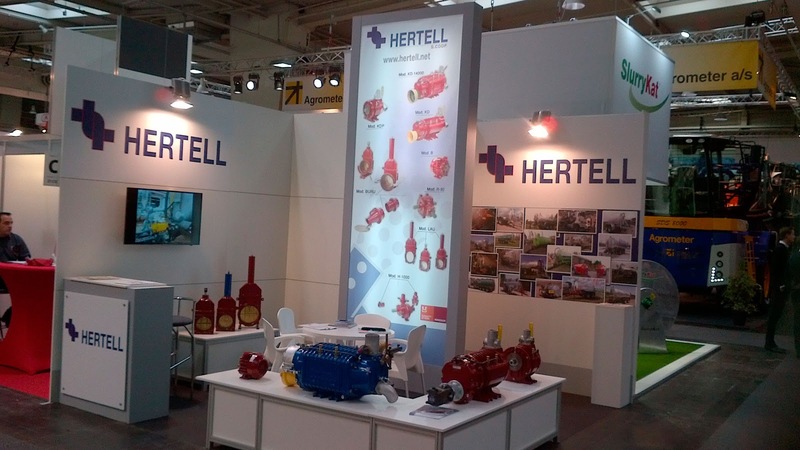 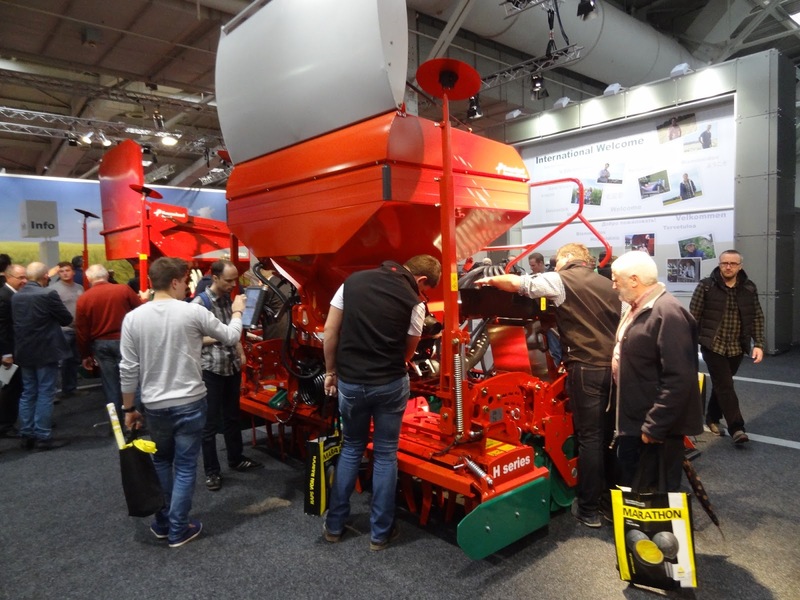 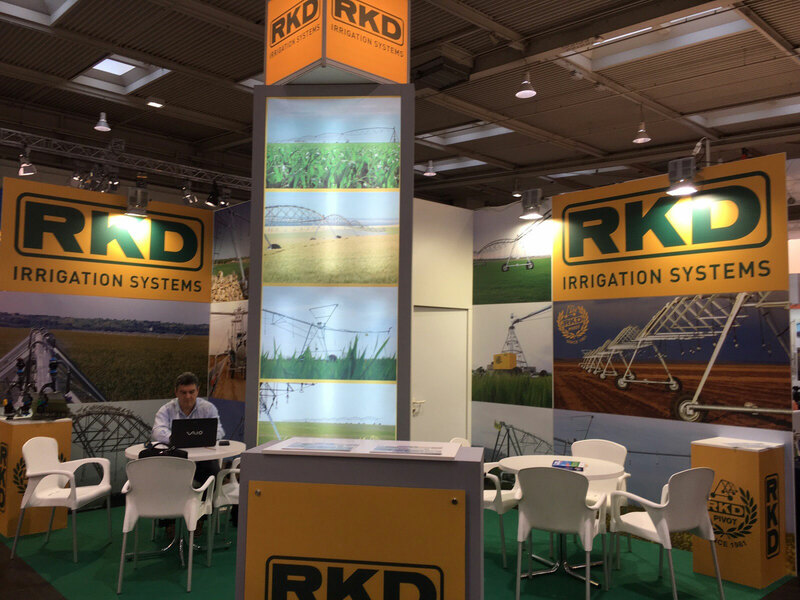 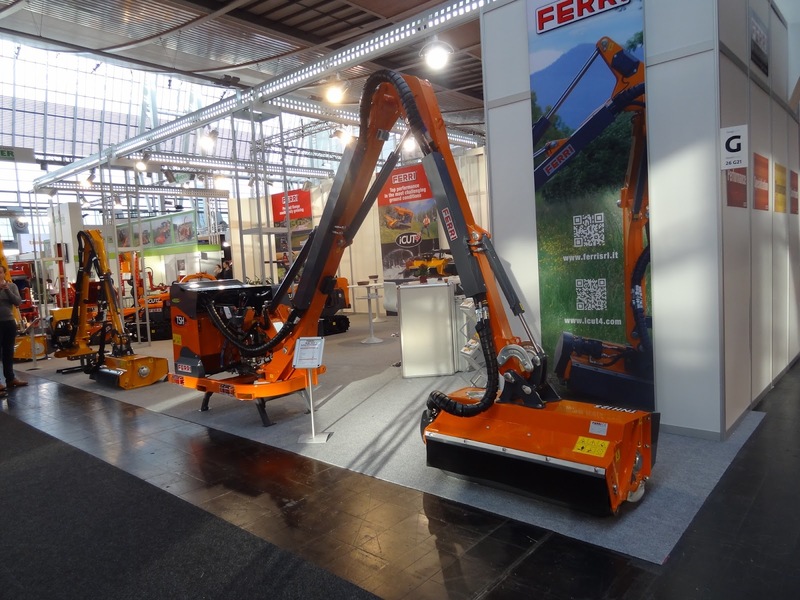 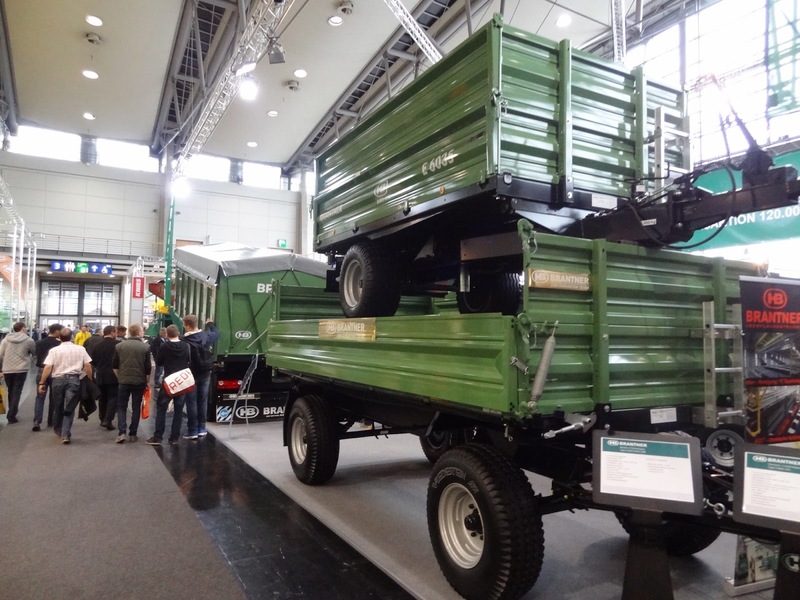 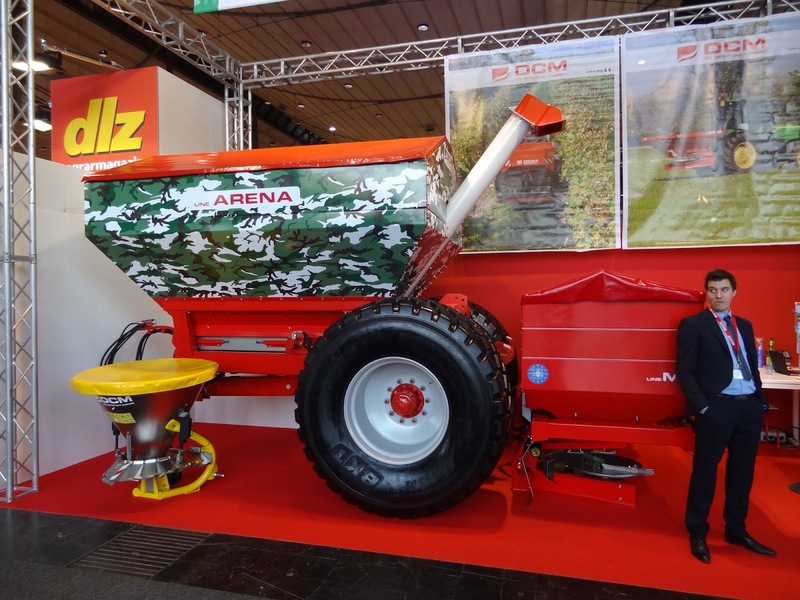 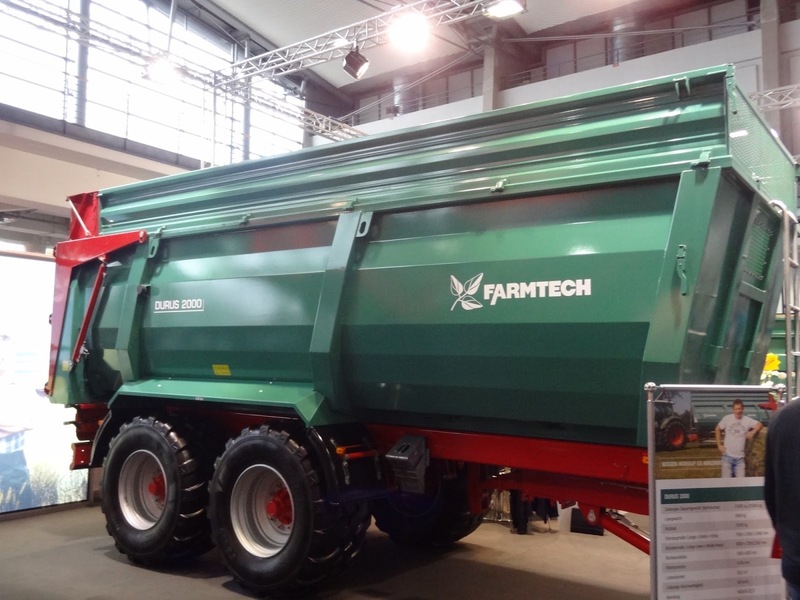 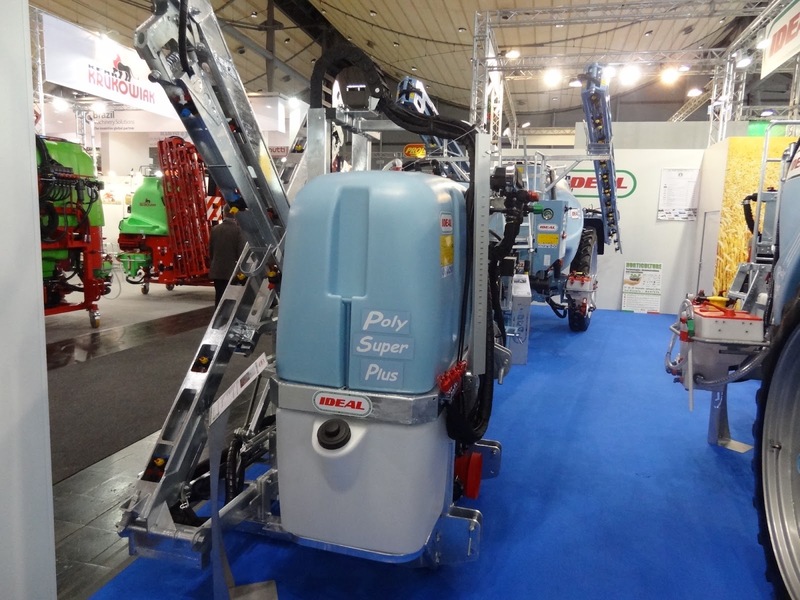 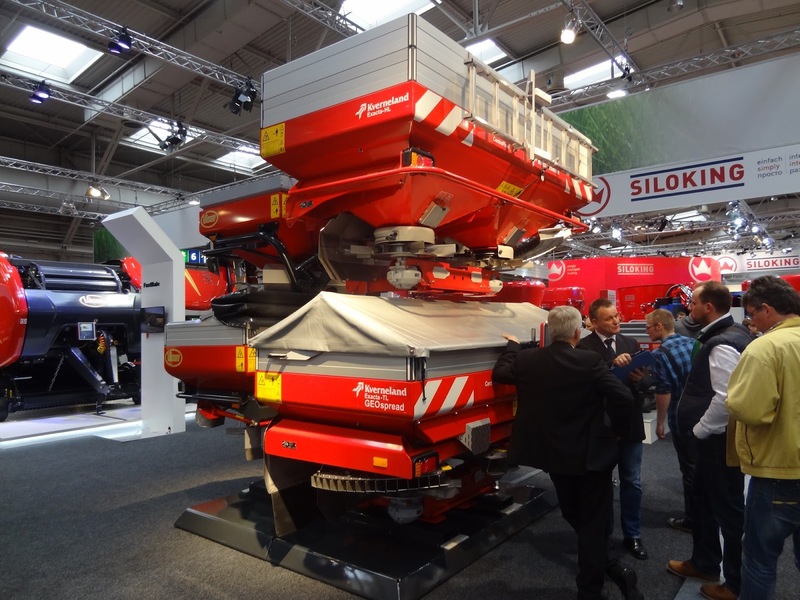 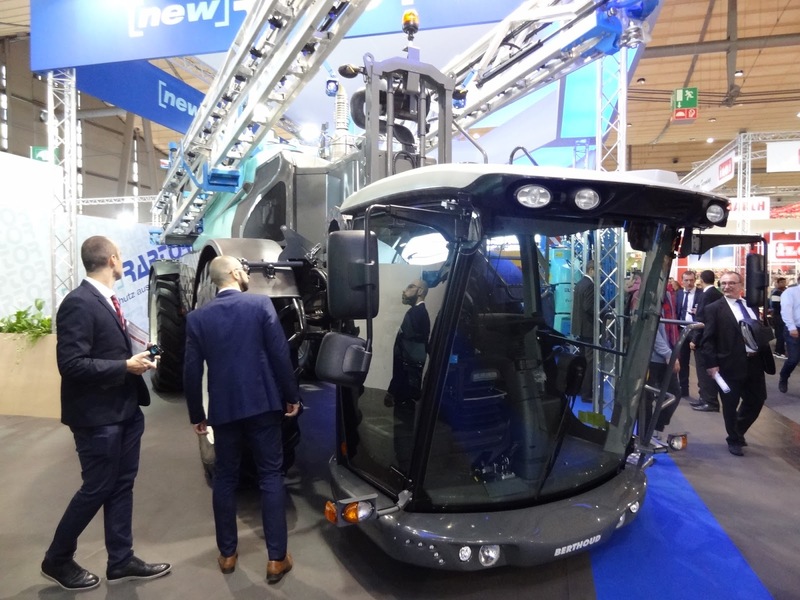 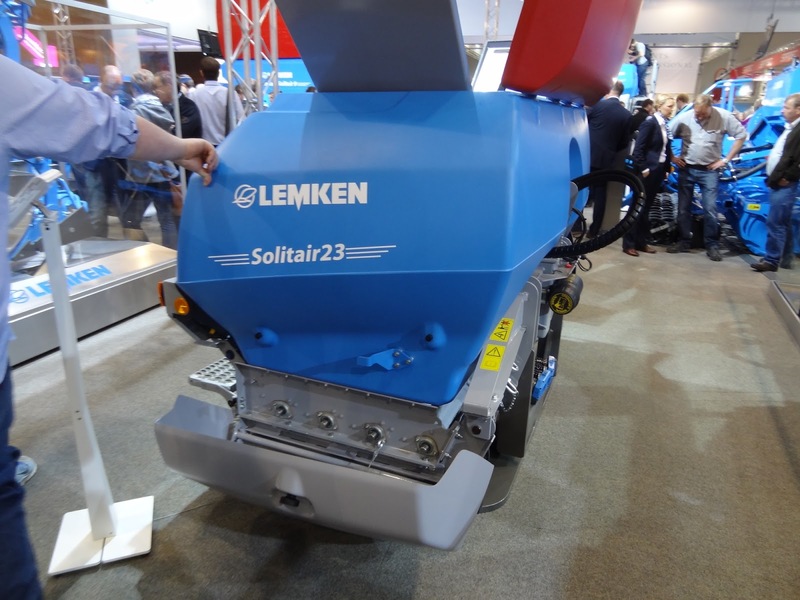 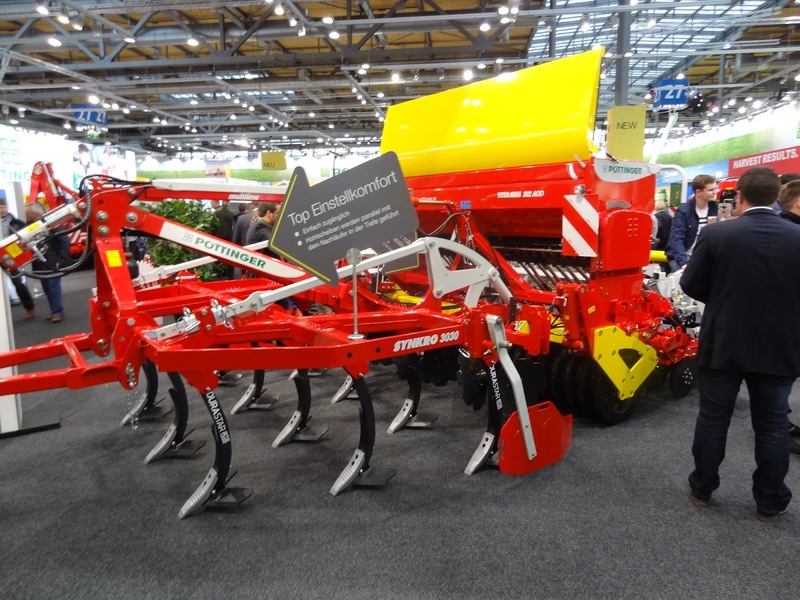 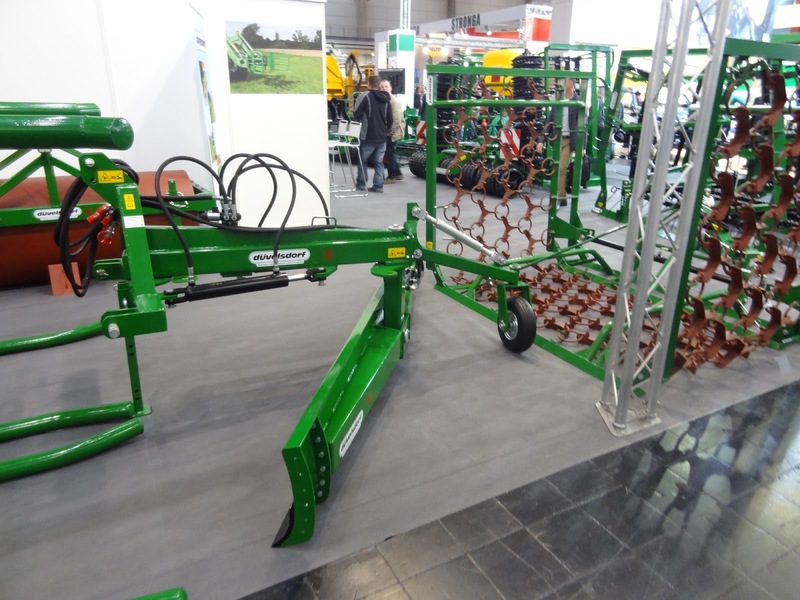 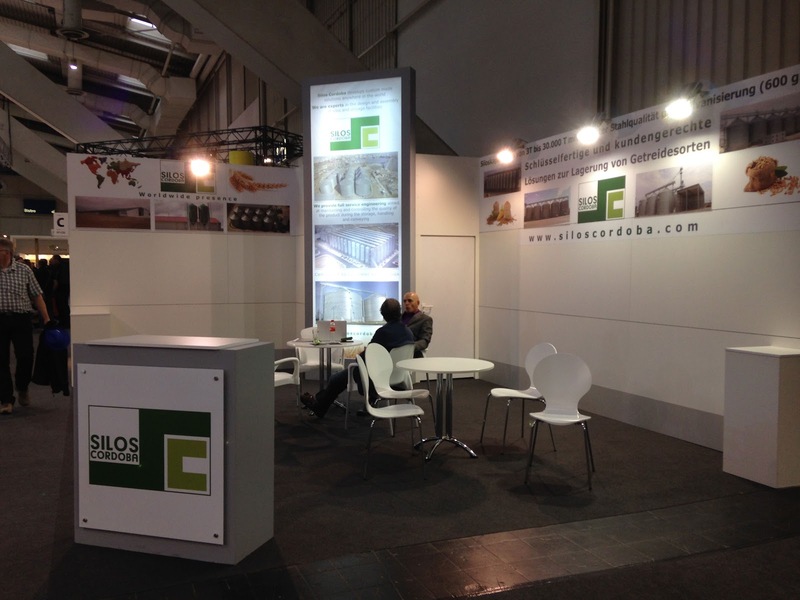 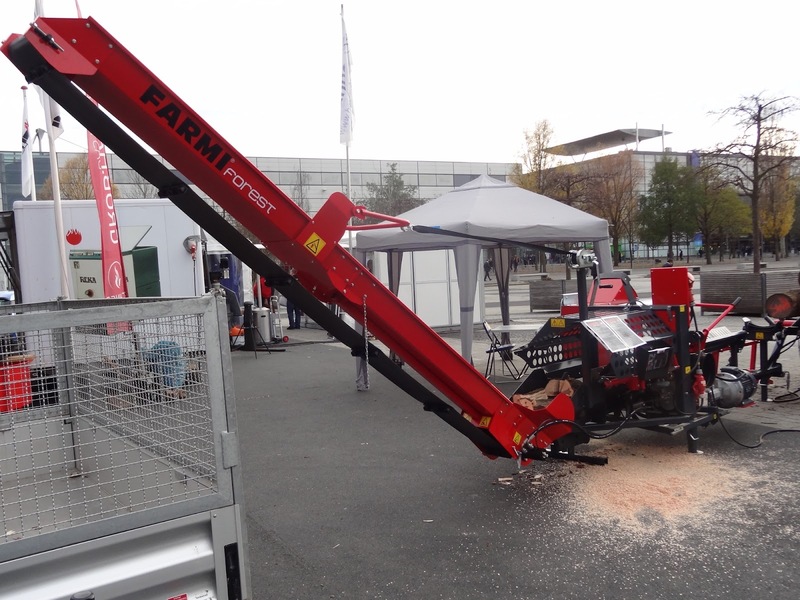 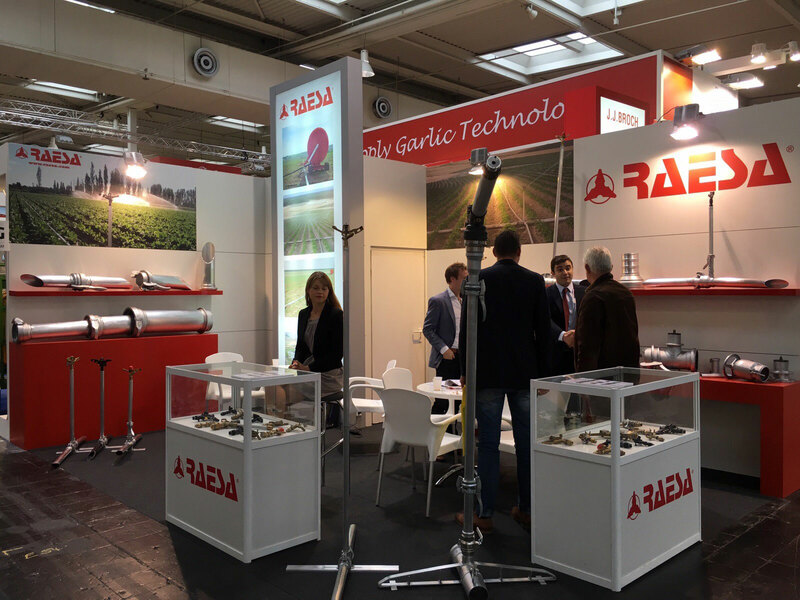 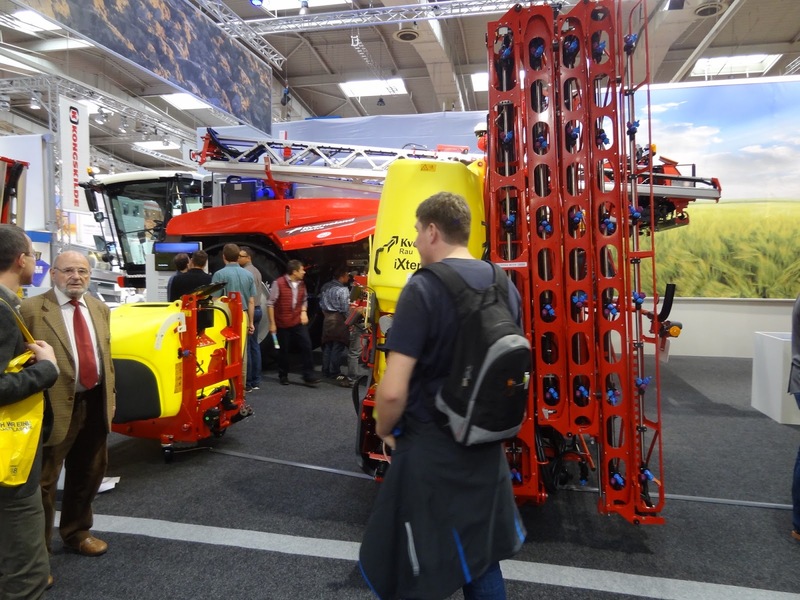 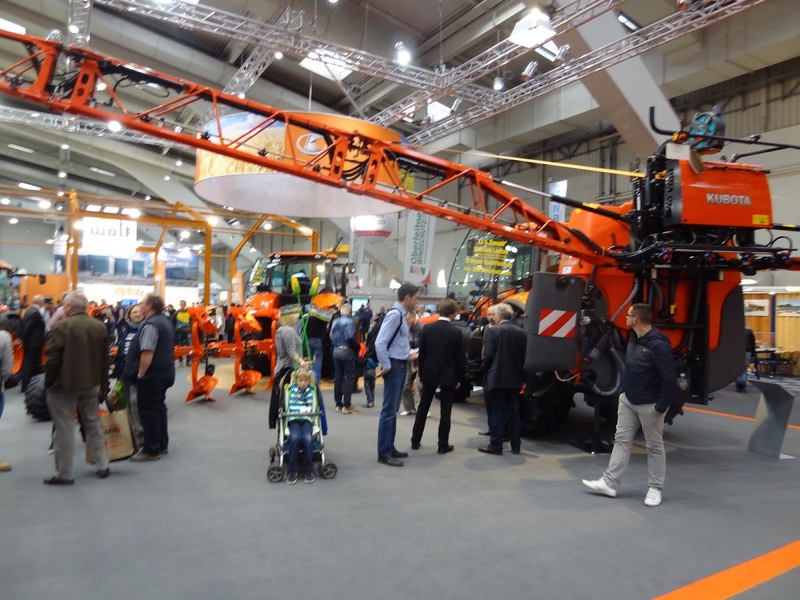 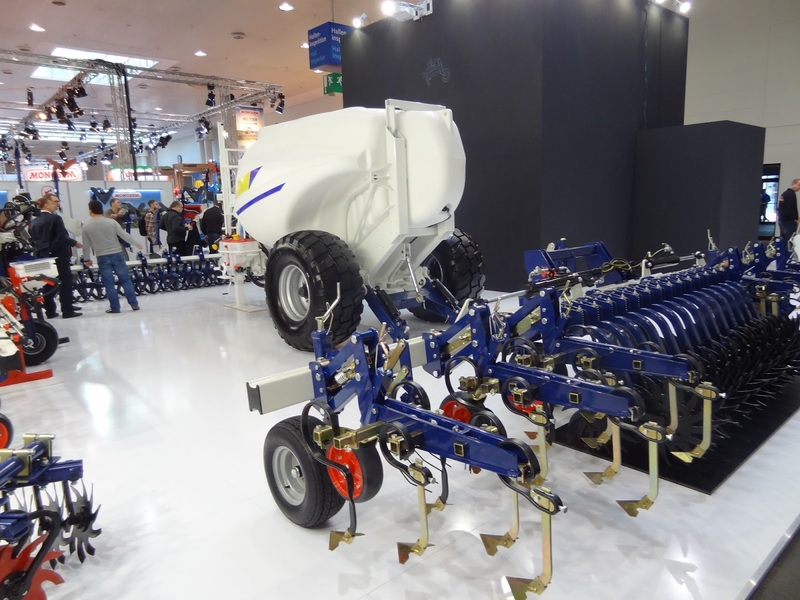 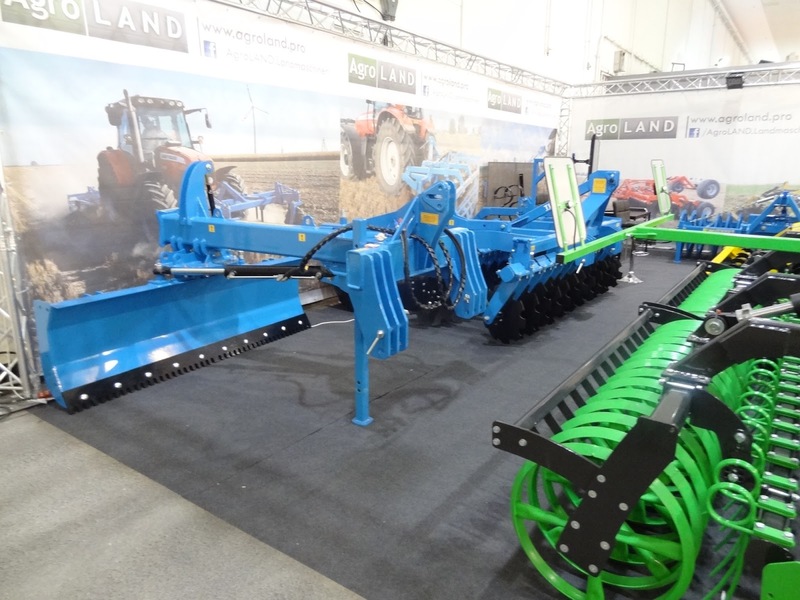 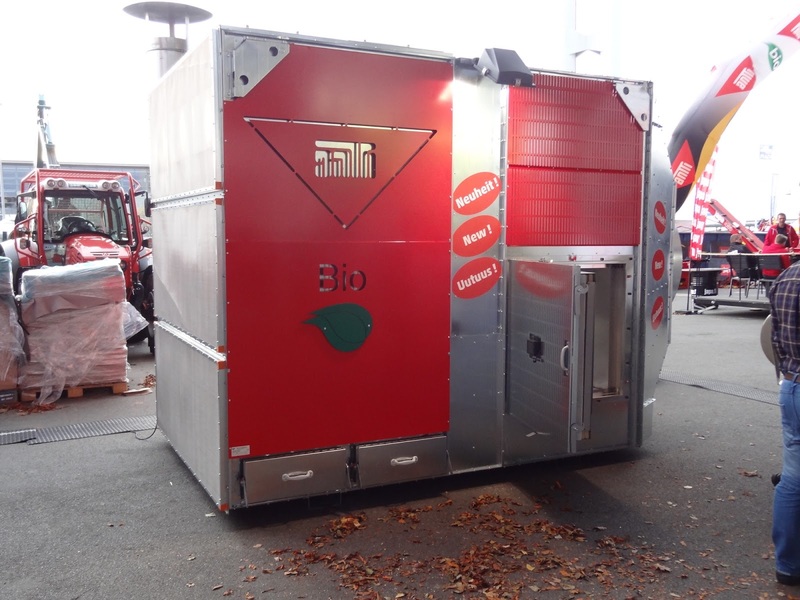 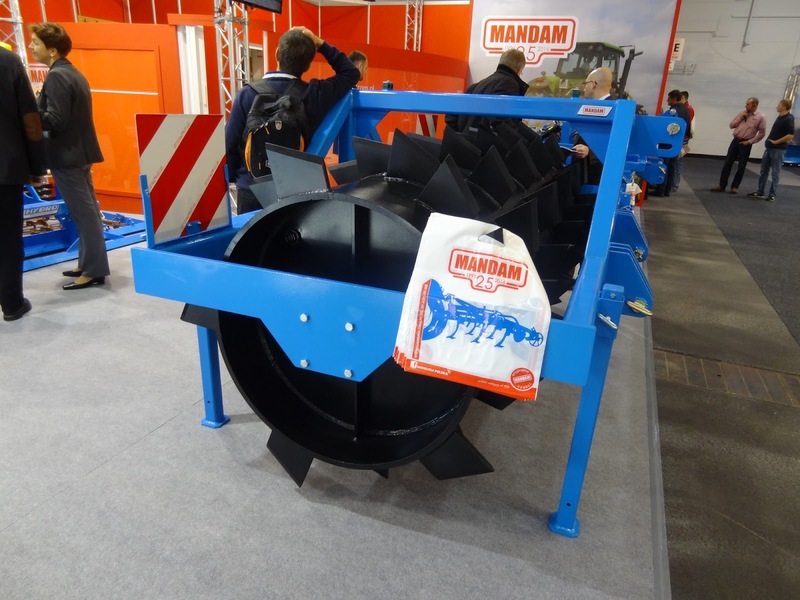 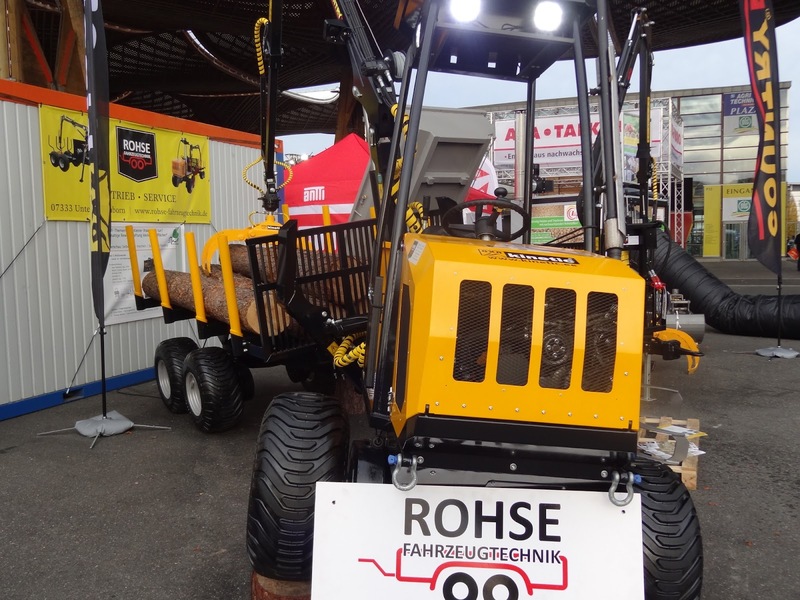 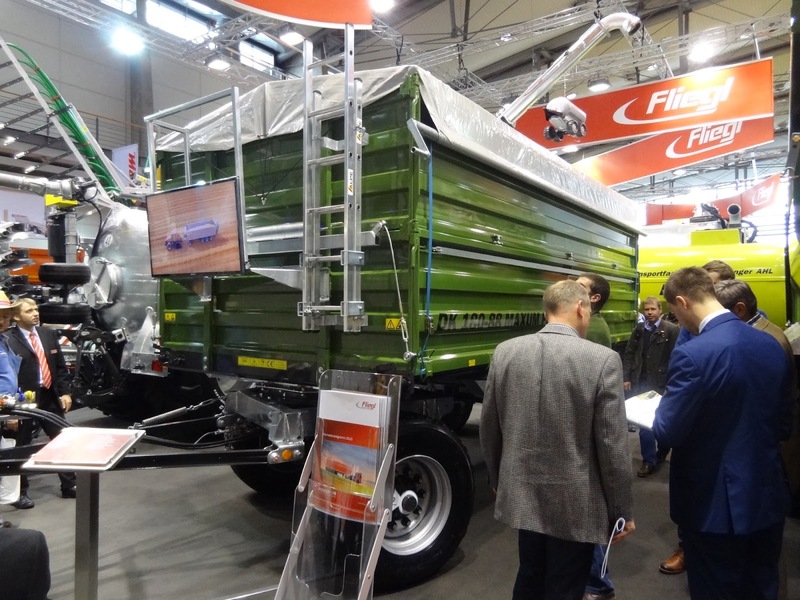 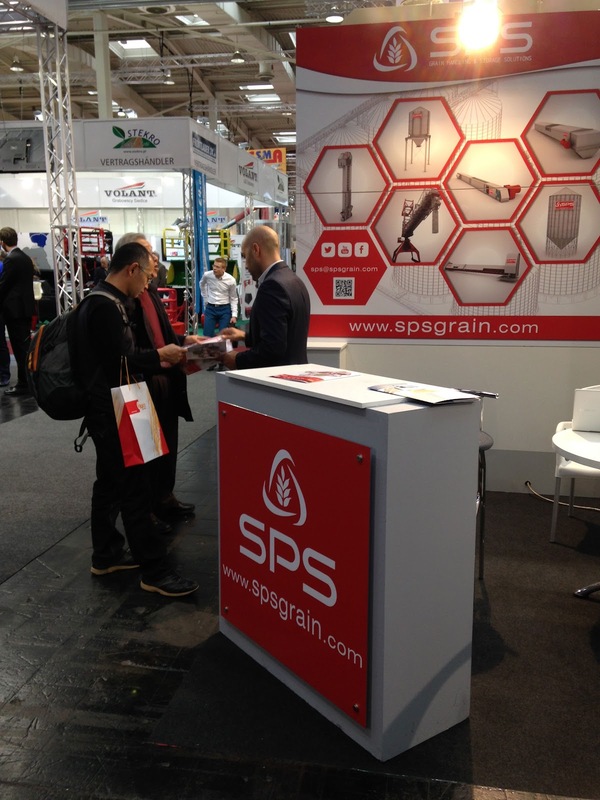 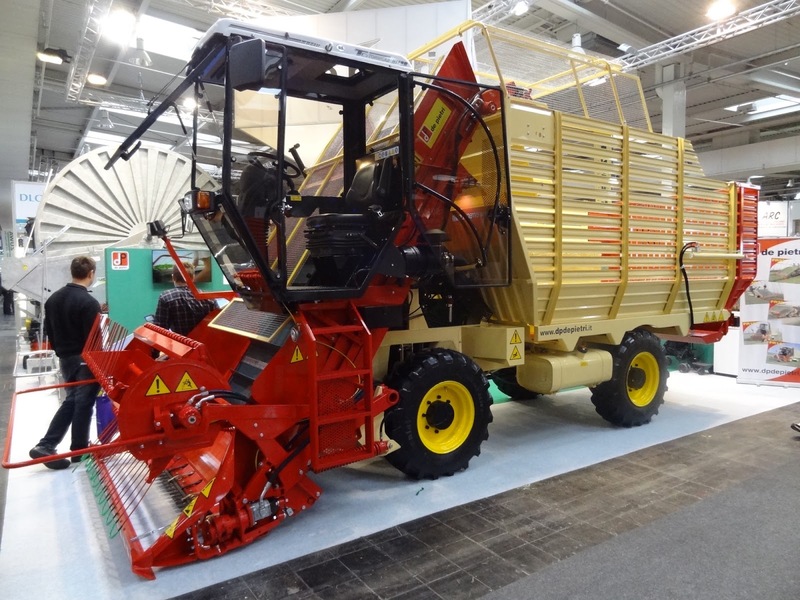 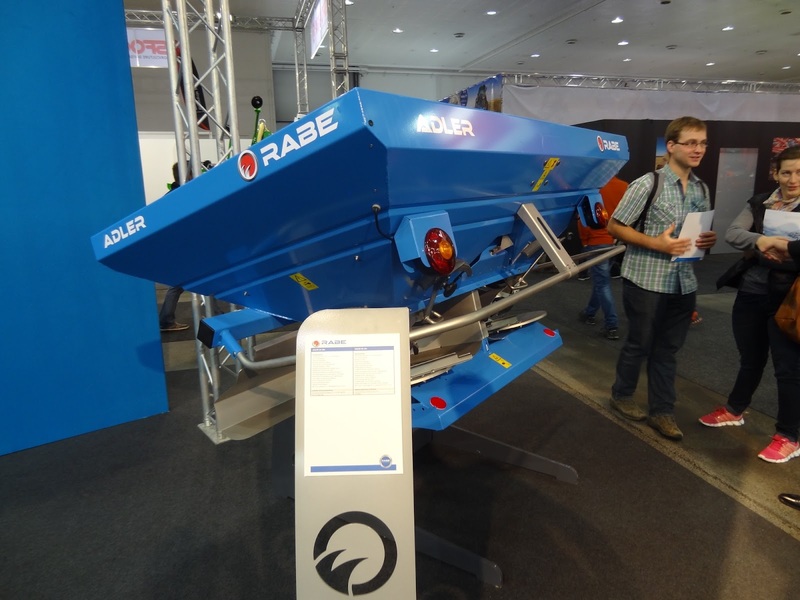 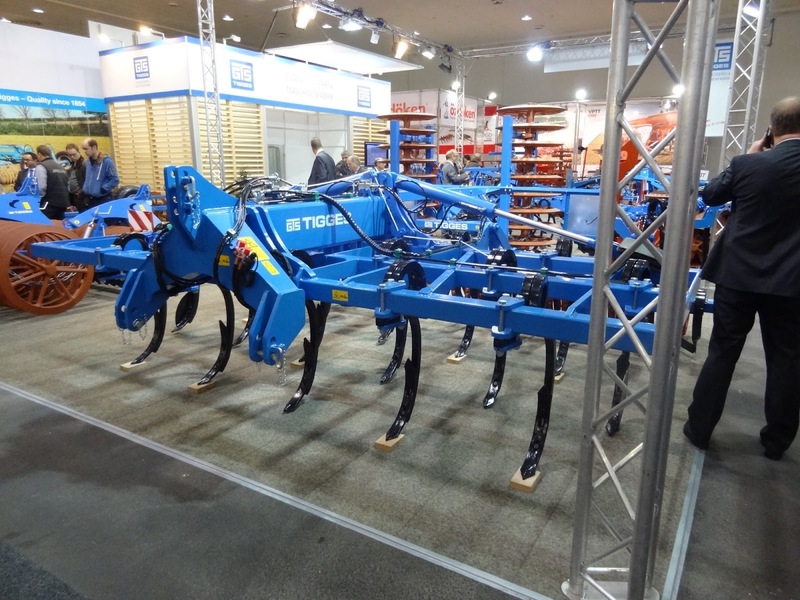 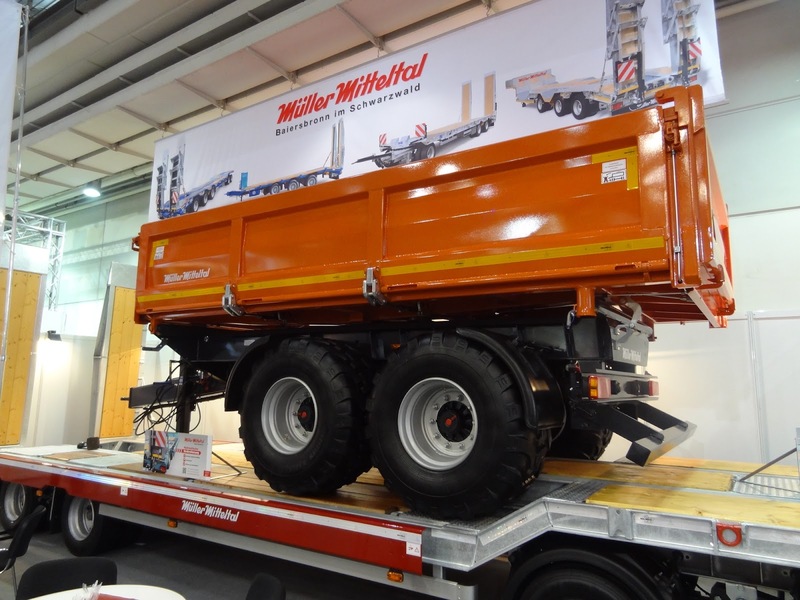 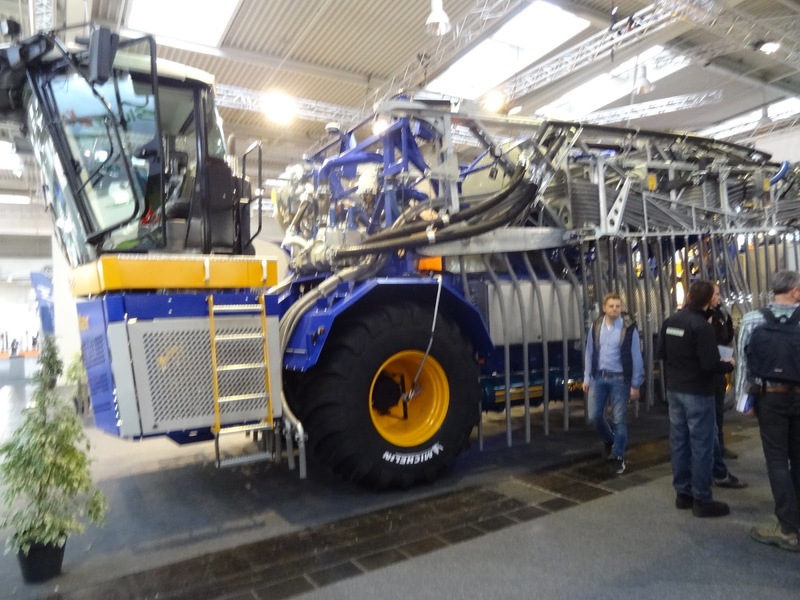 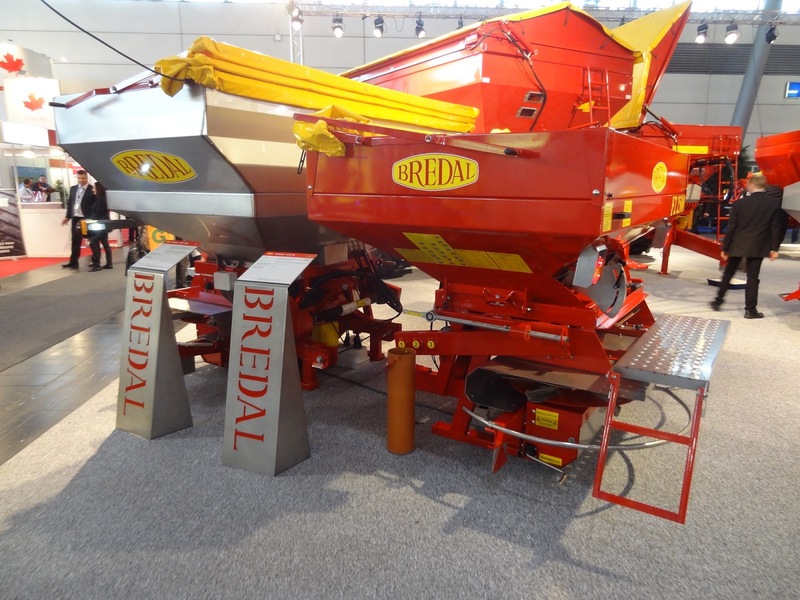 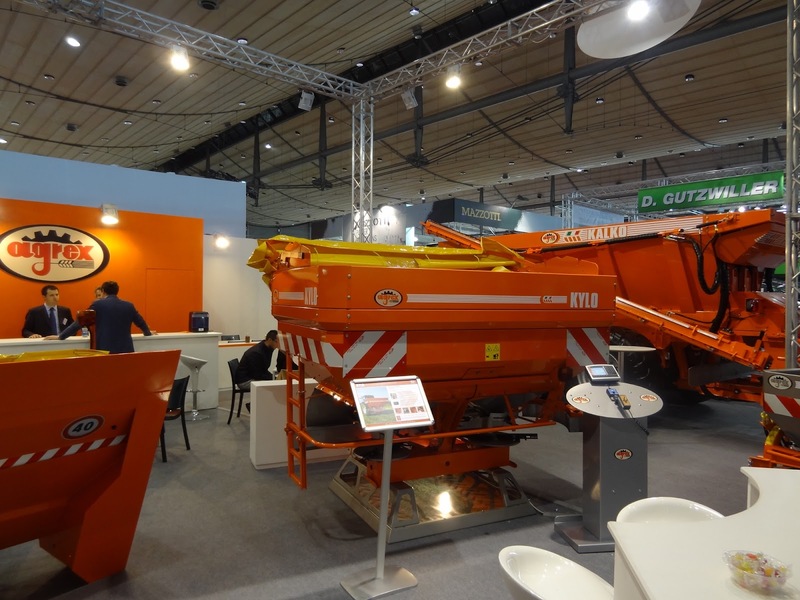 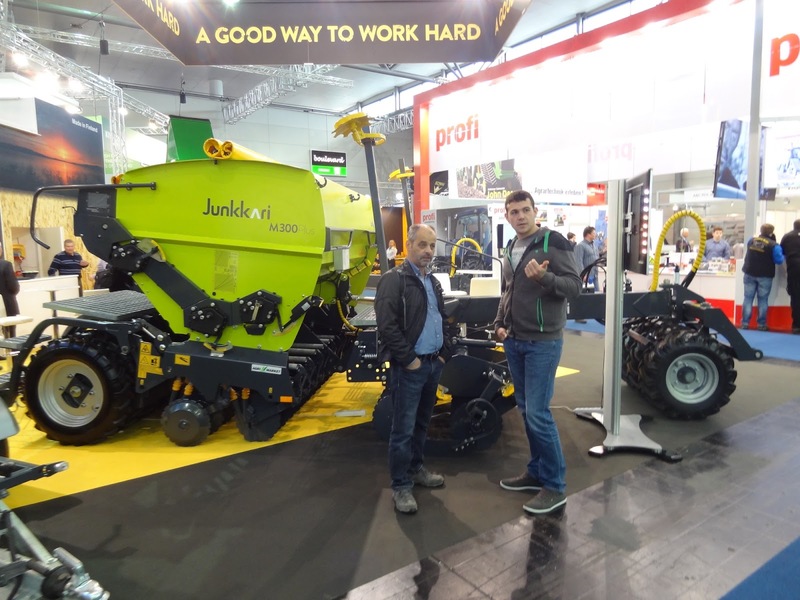 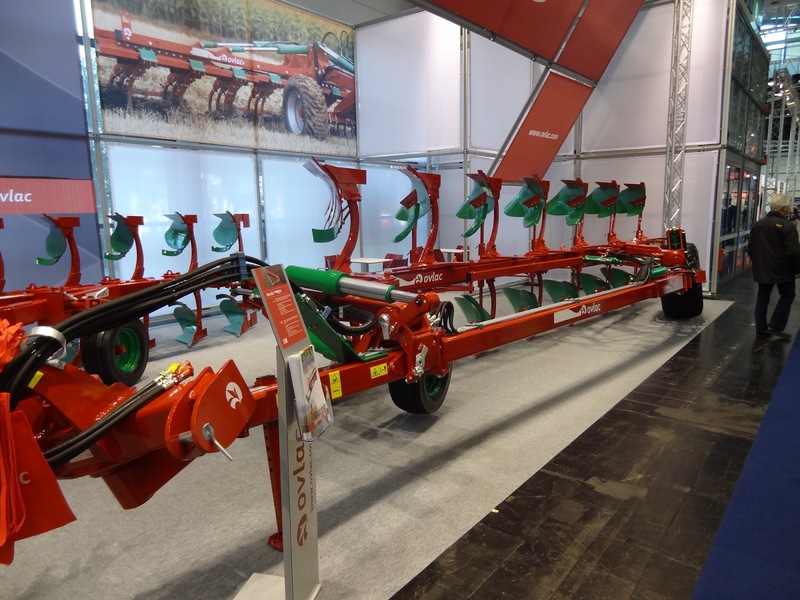 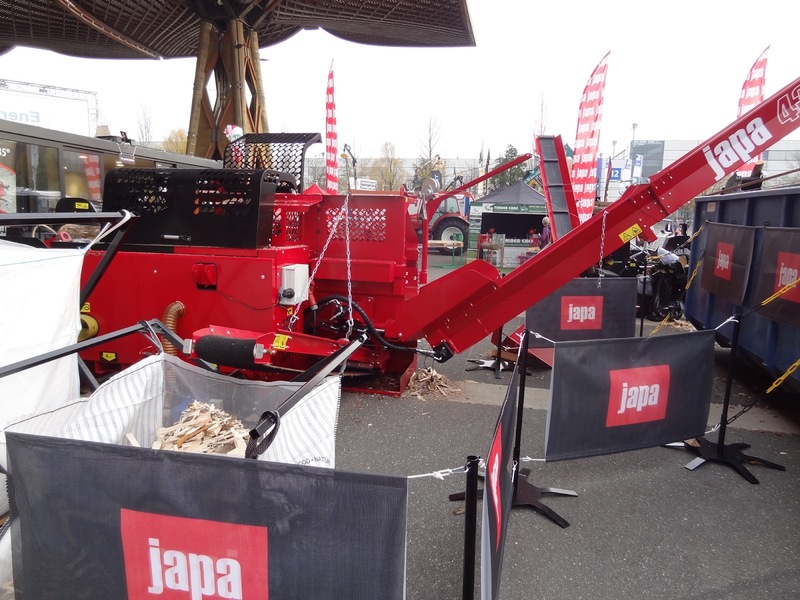 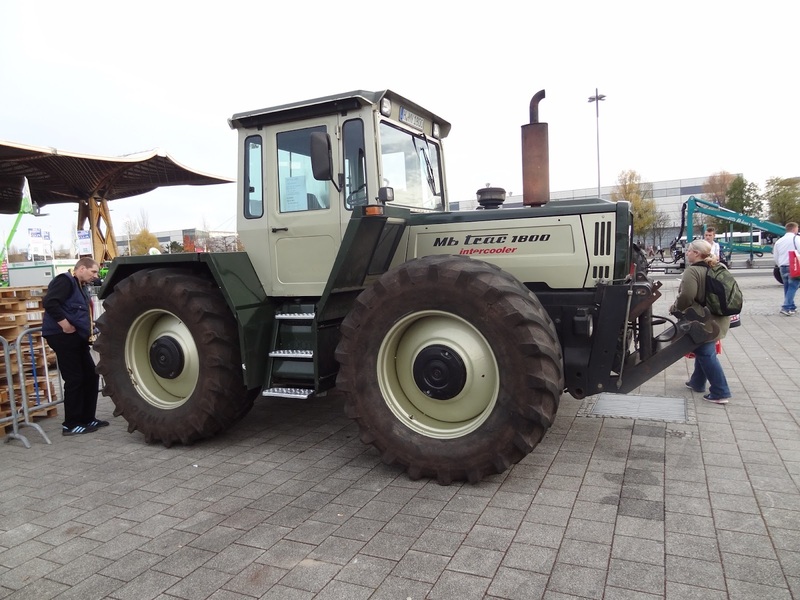 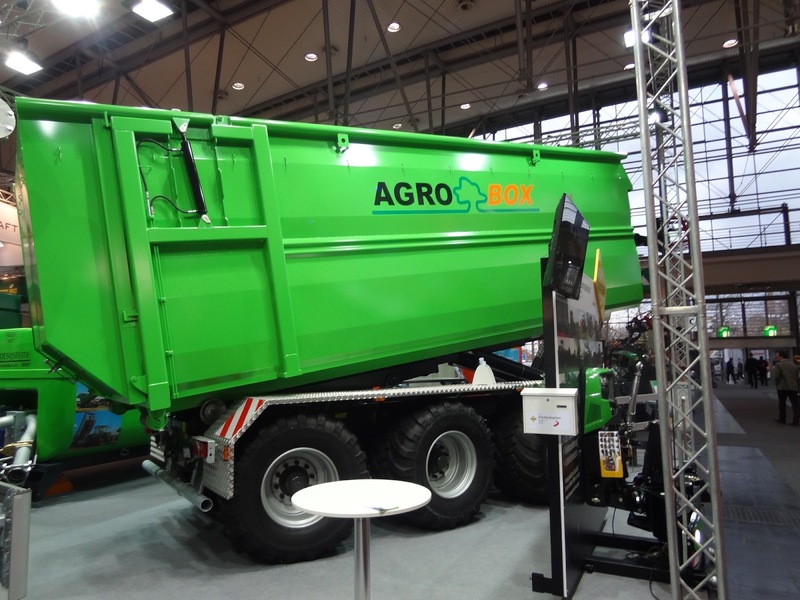 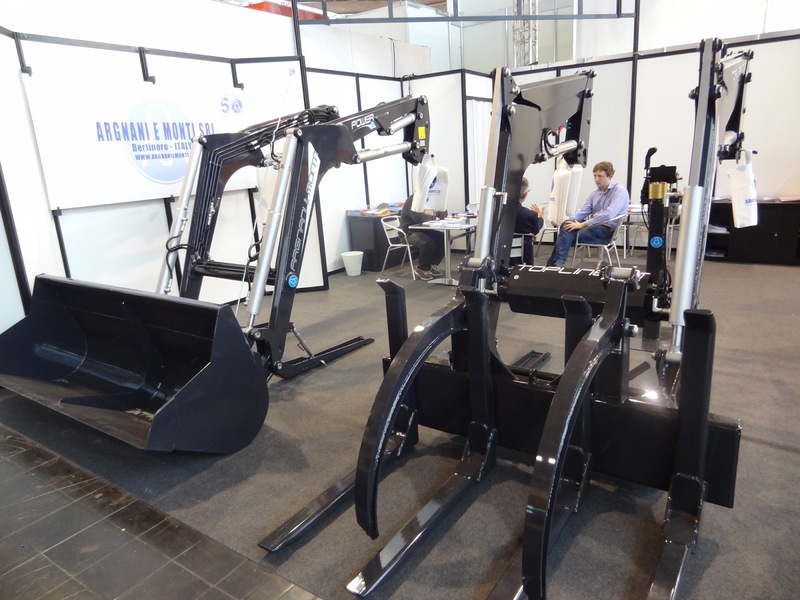 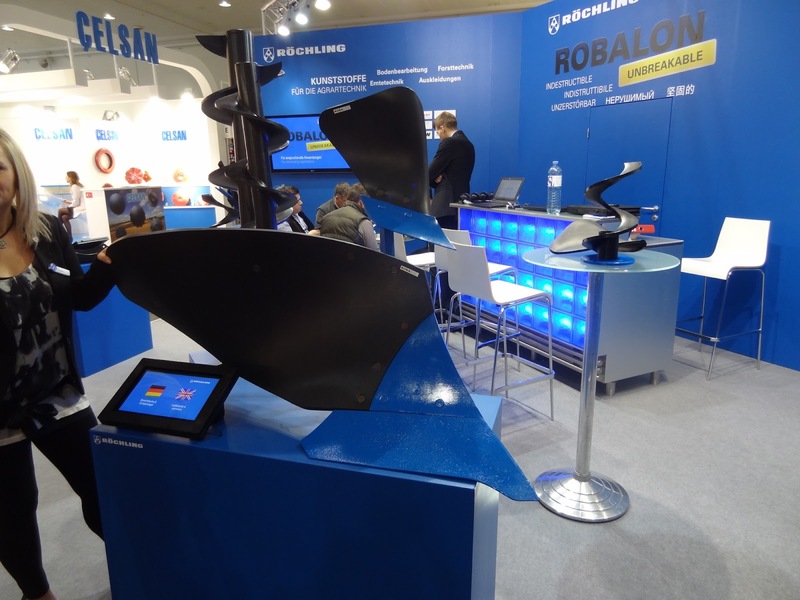 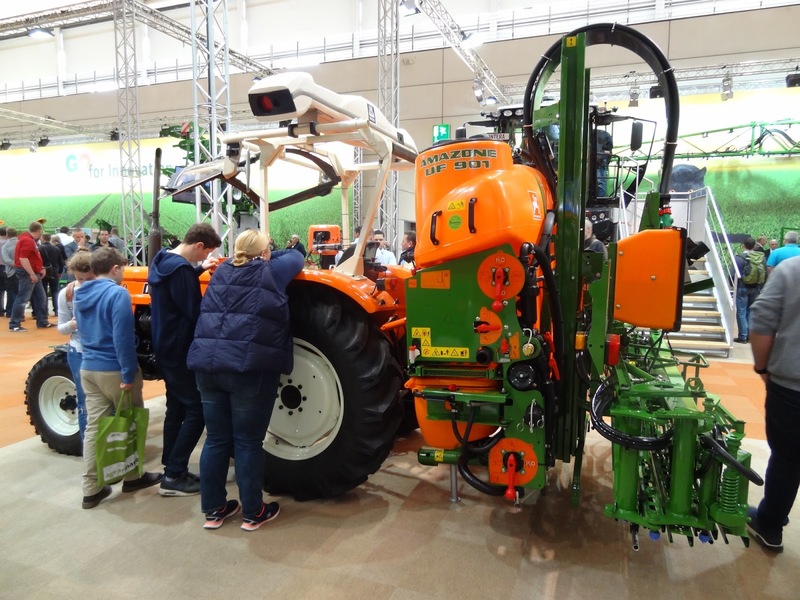 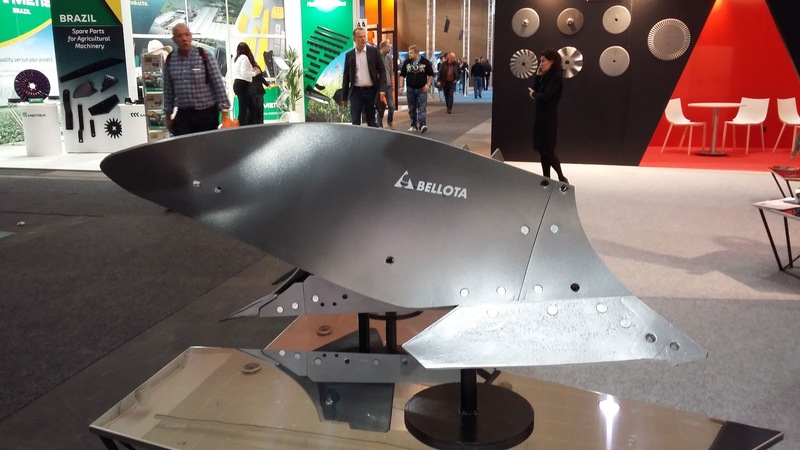 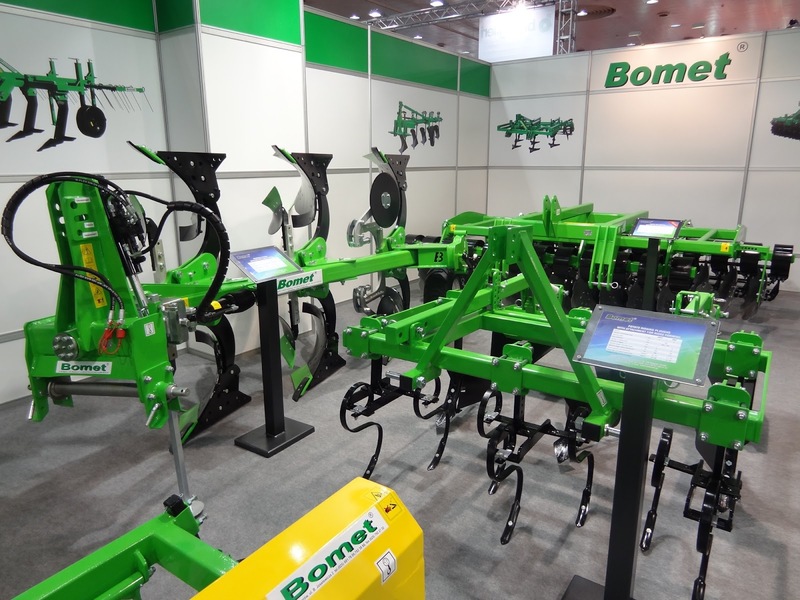 company) sent us a few pictures and comments about their trip in the best important farm fair in the world what was held last week in Hanover (Germany). 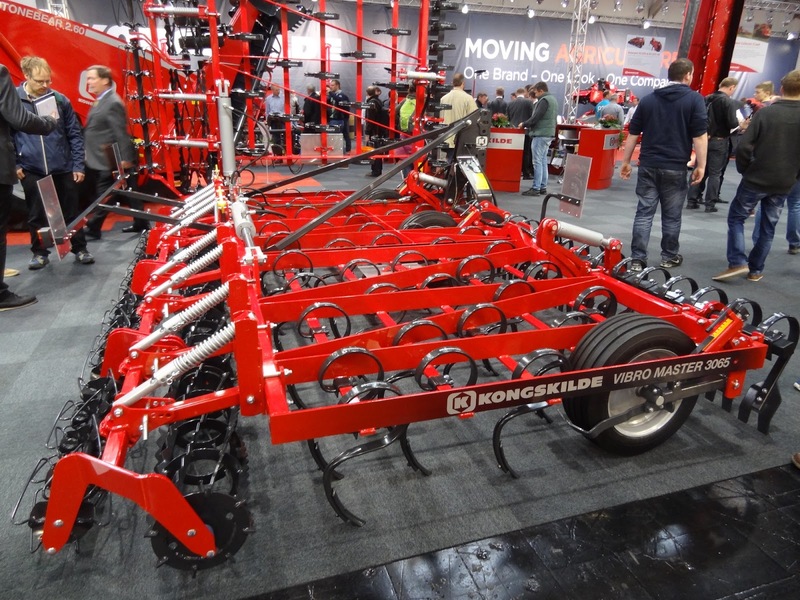 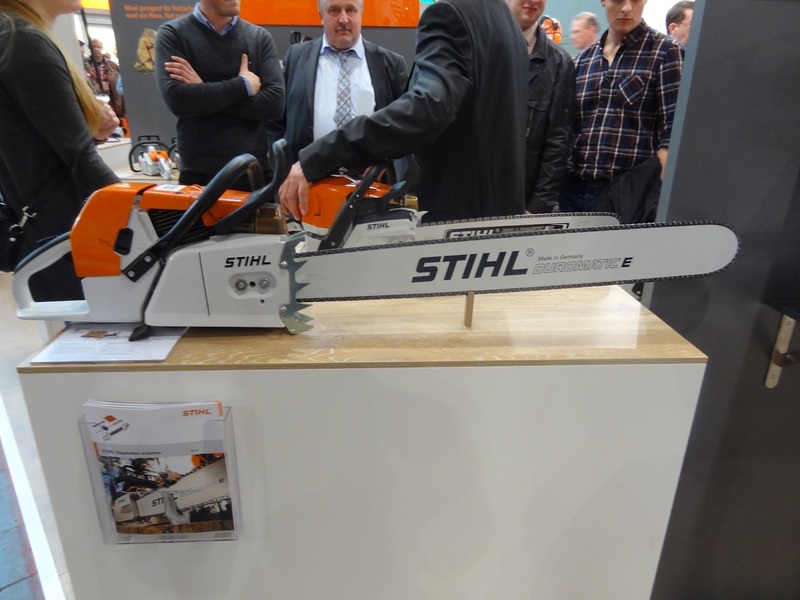 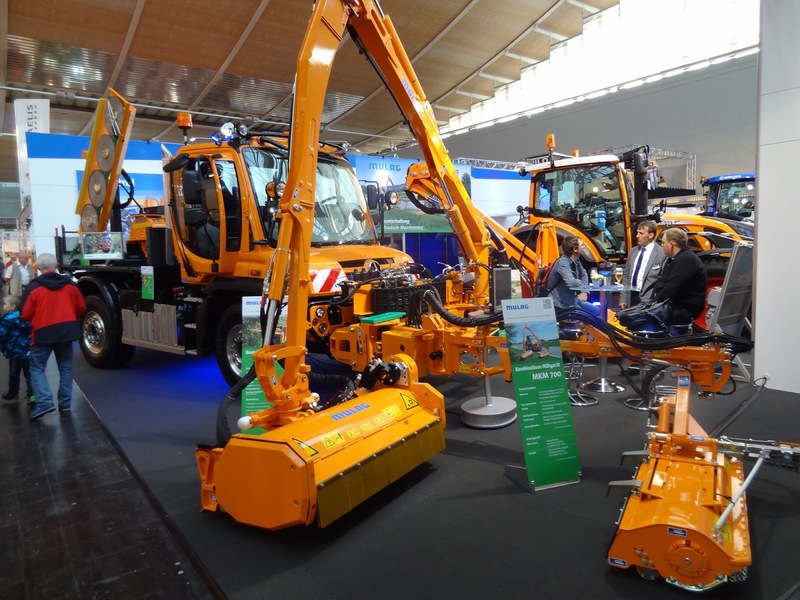 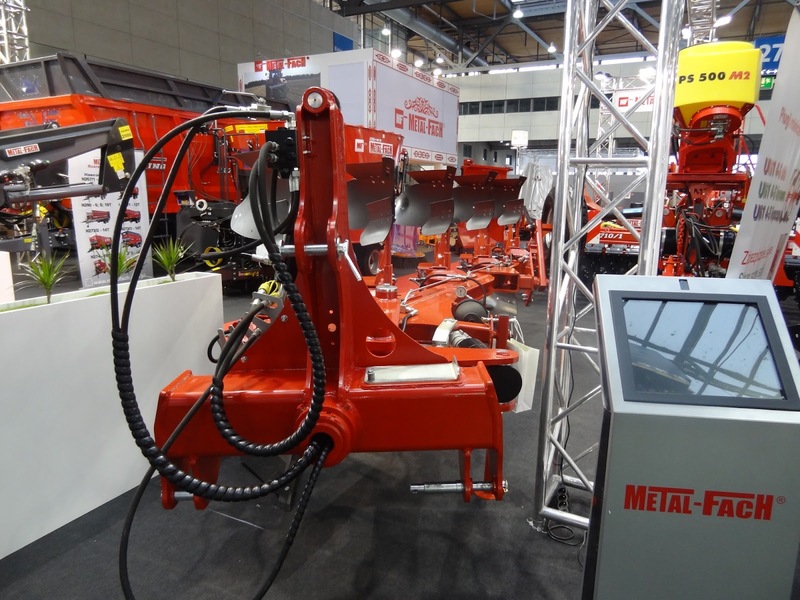 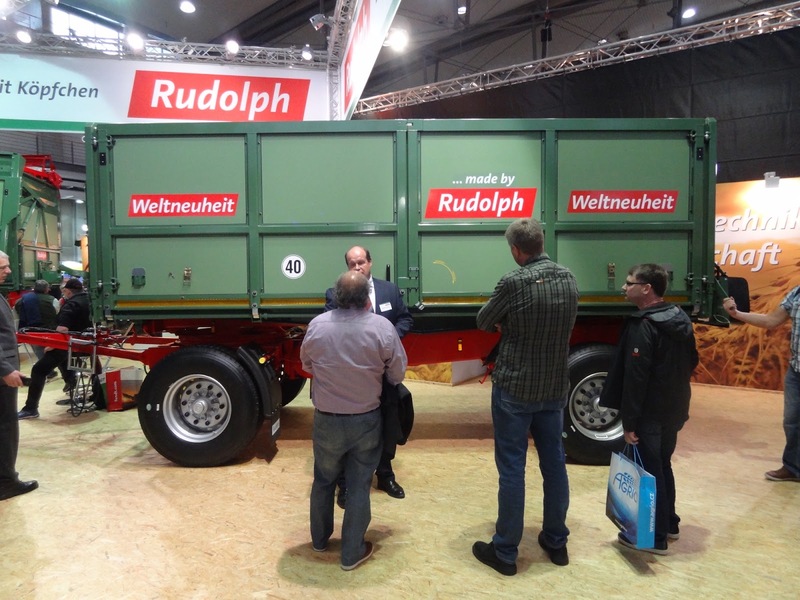 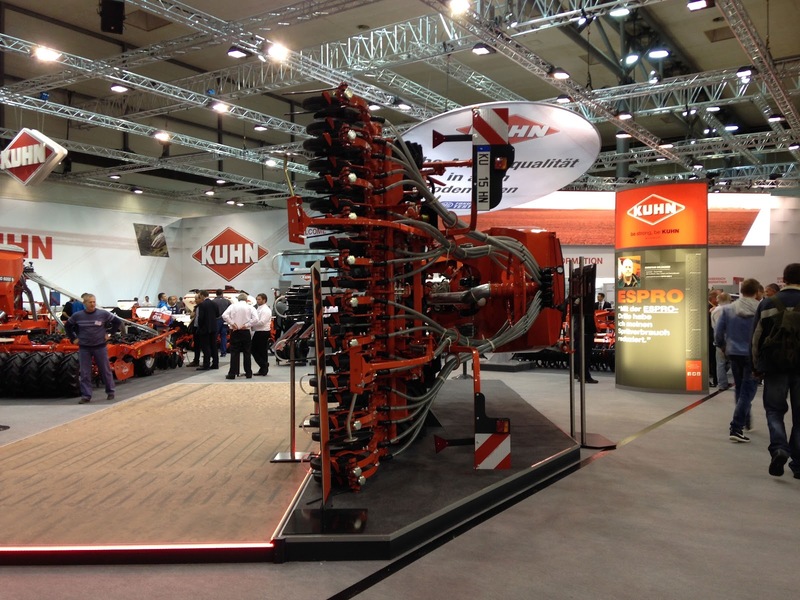 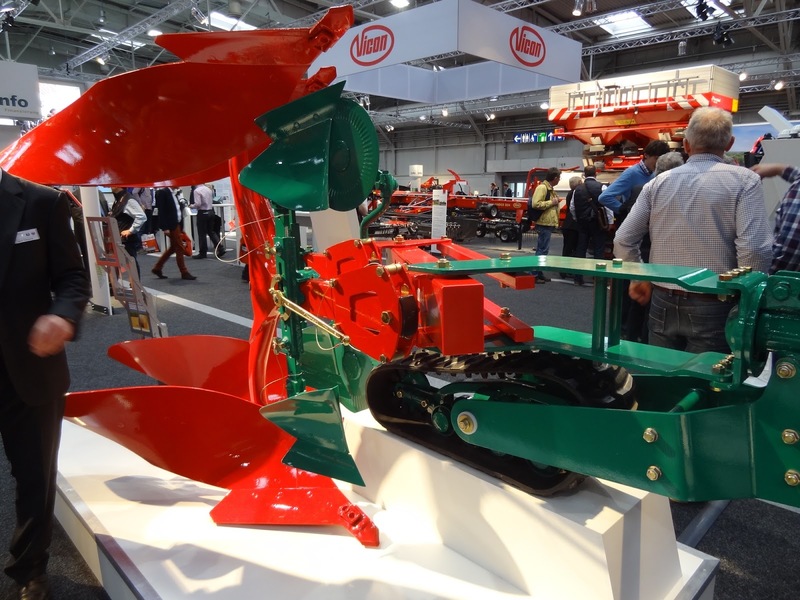 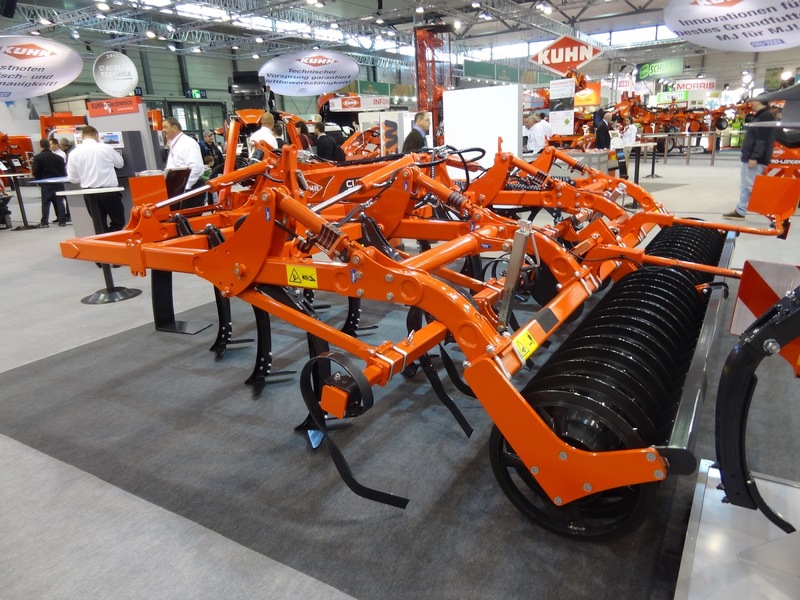 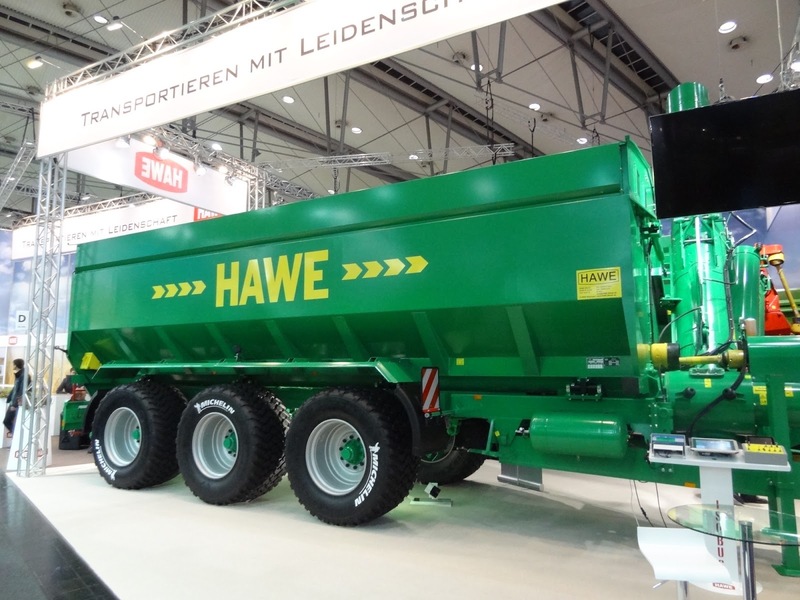 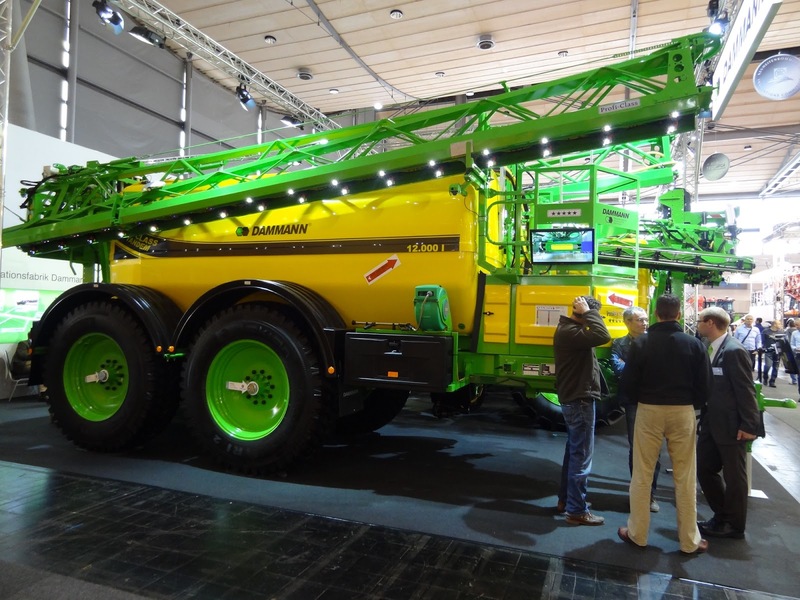 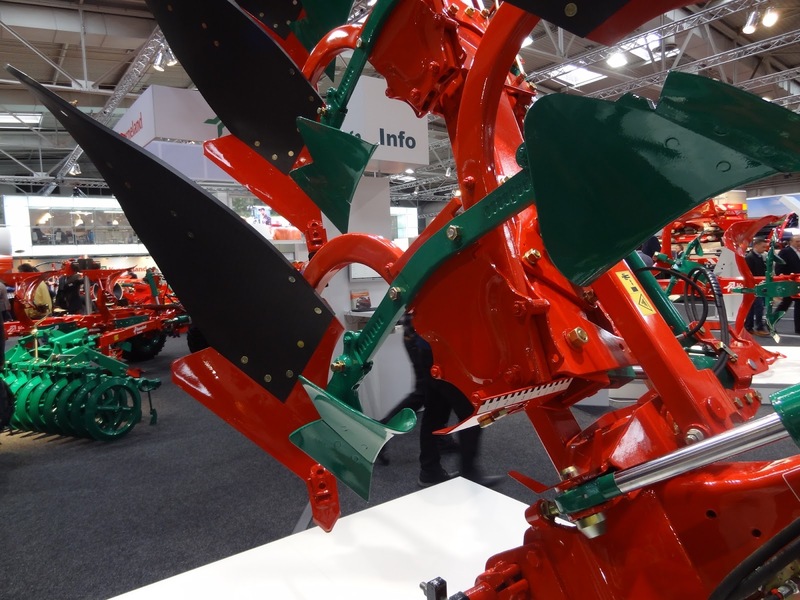 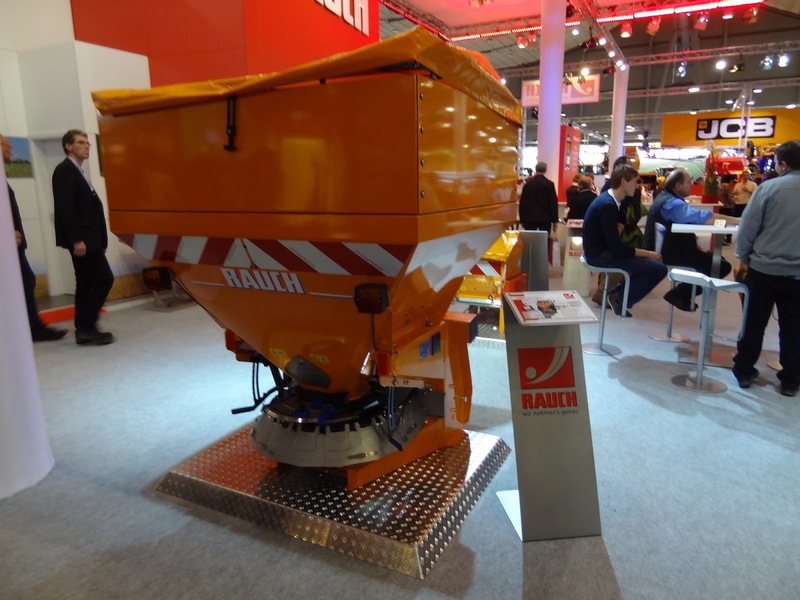 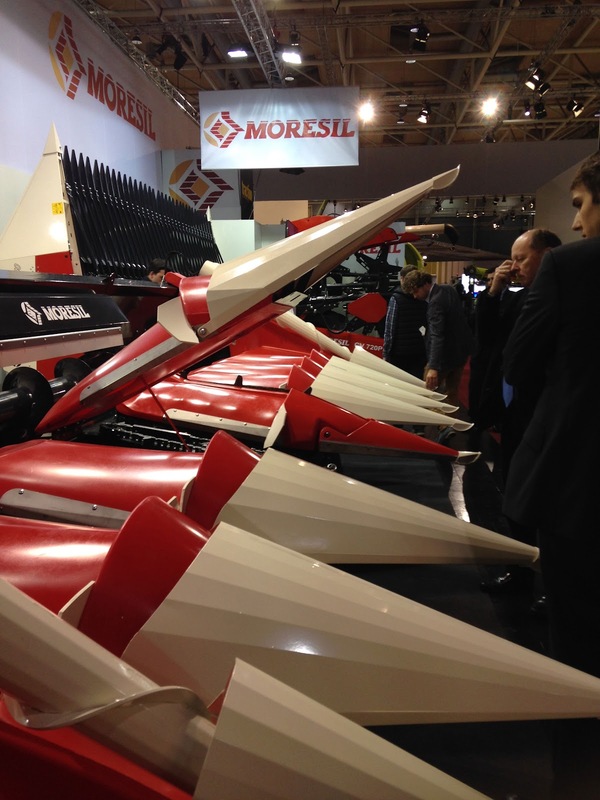 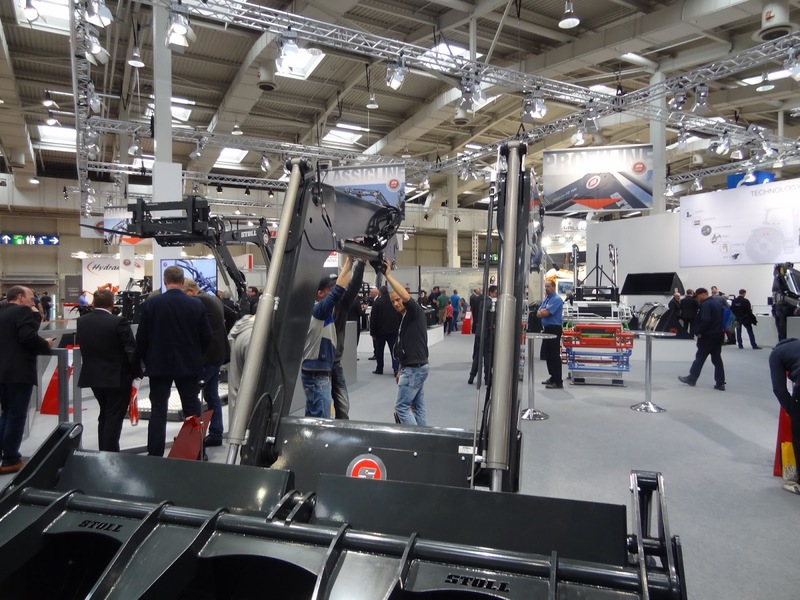 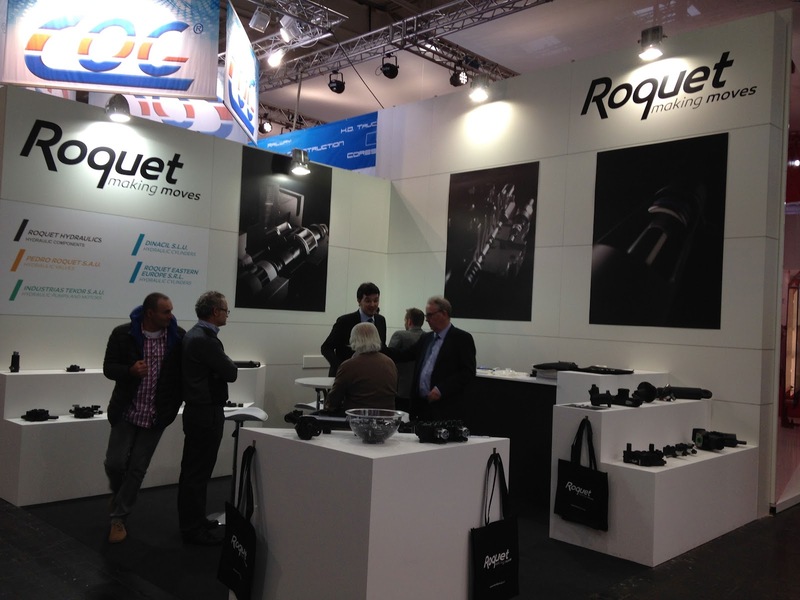 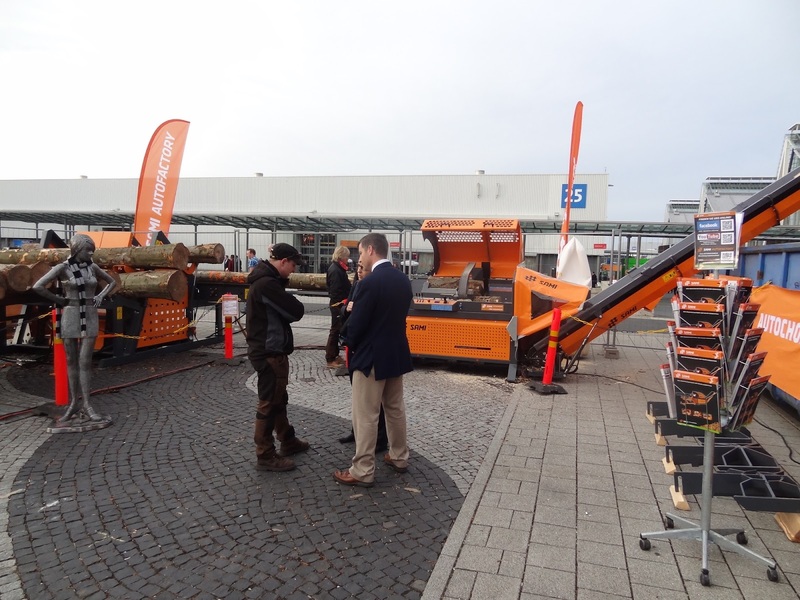 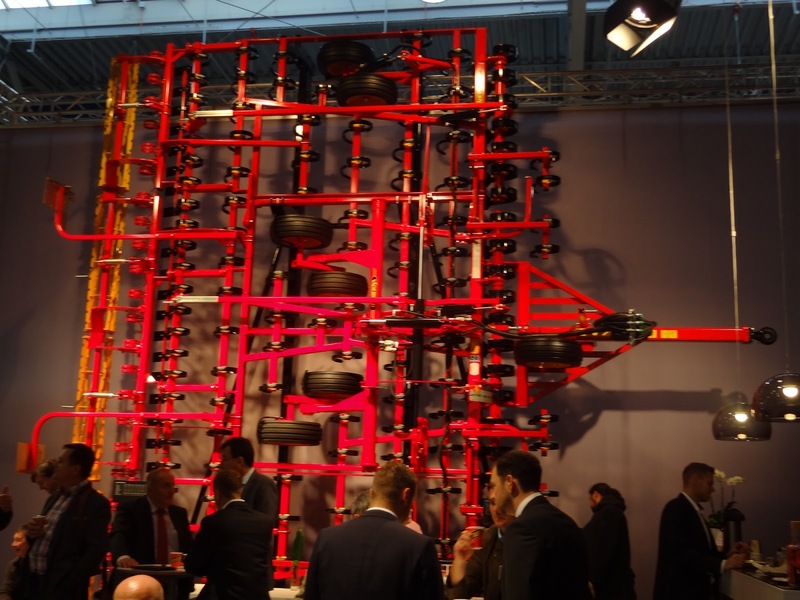 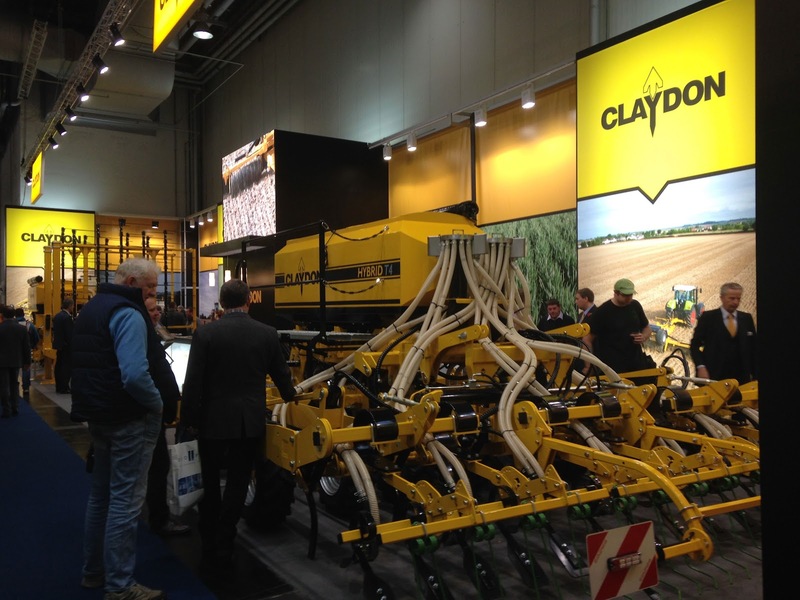 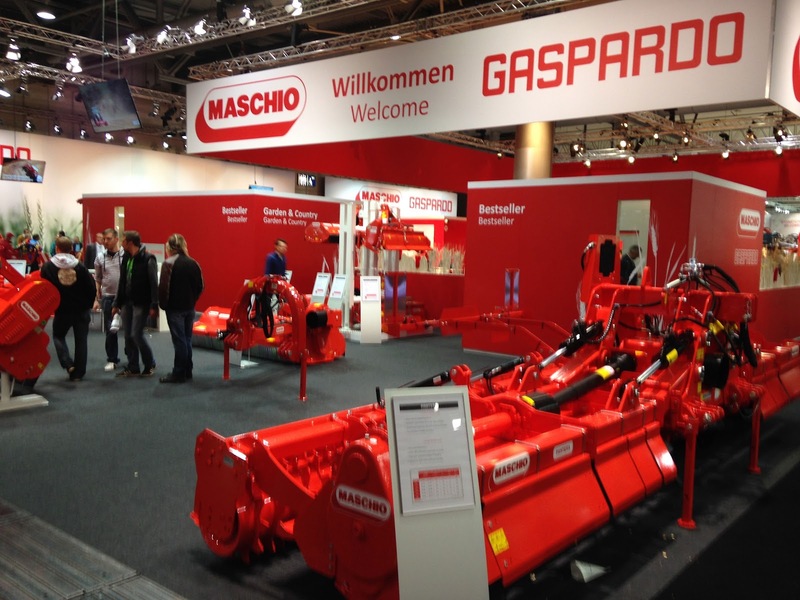 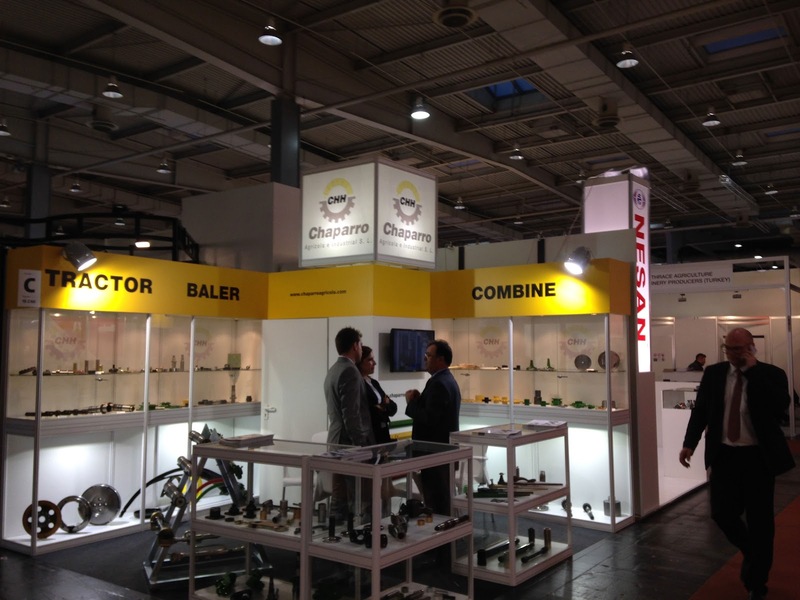 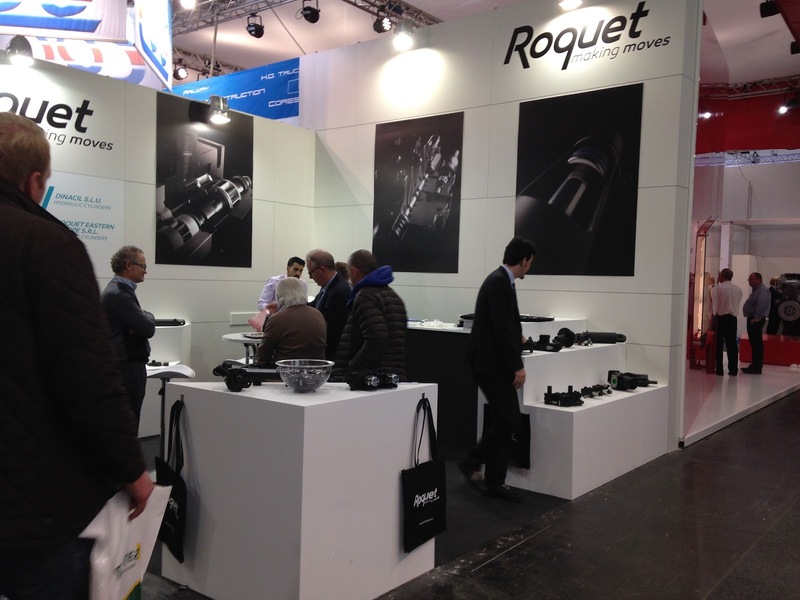 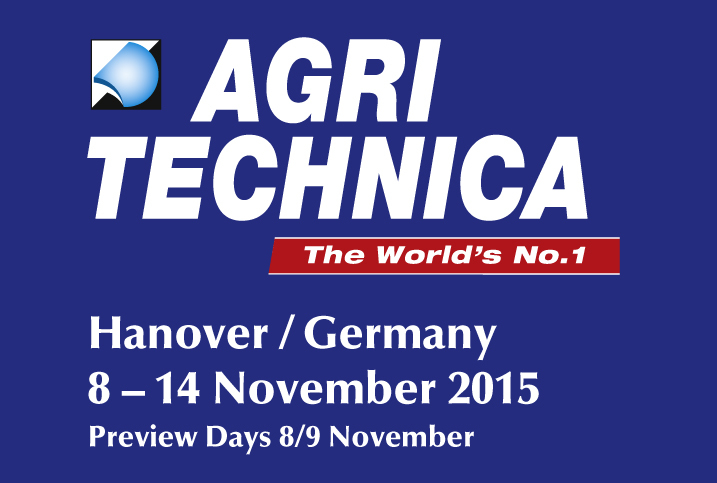 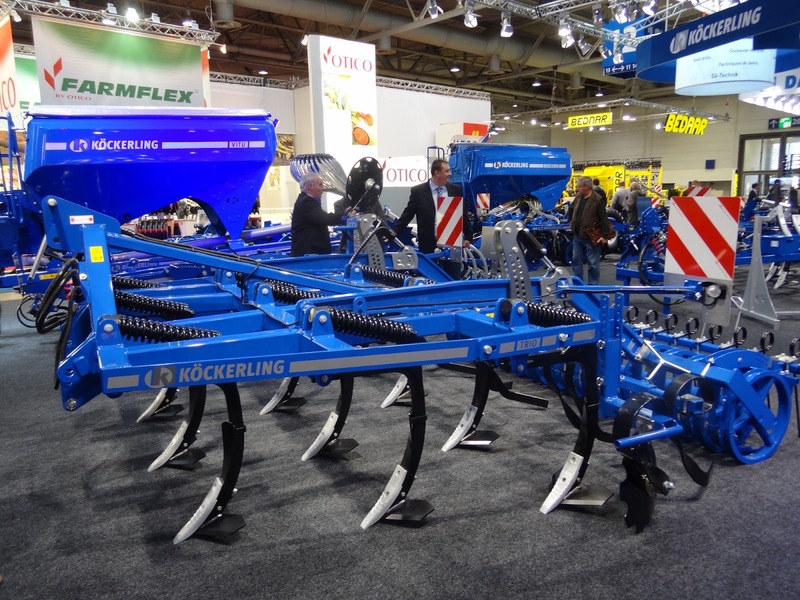 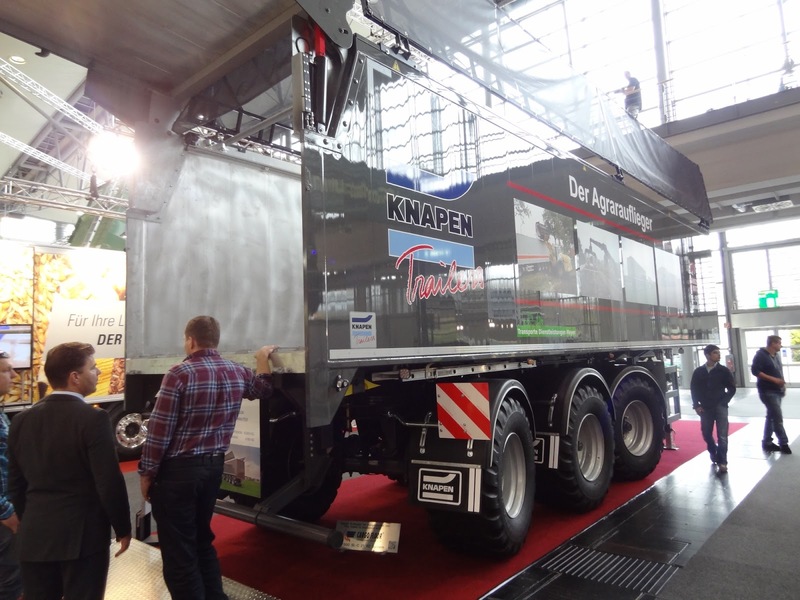 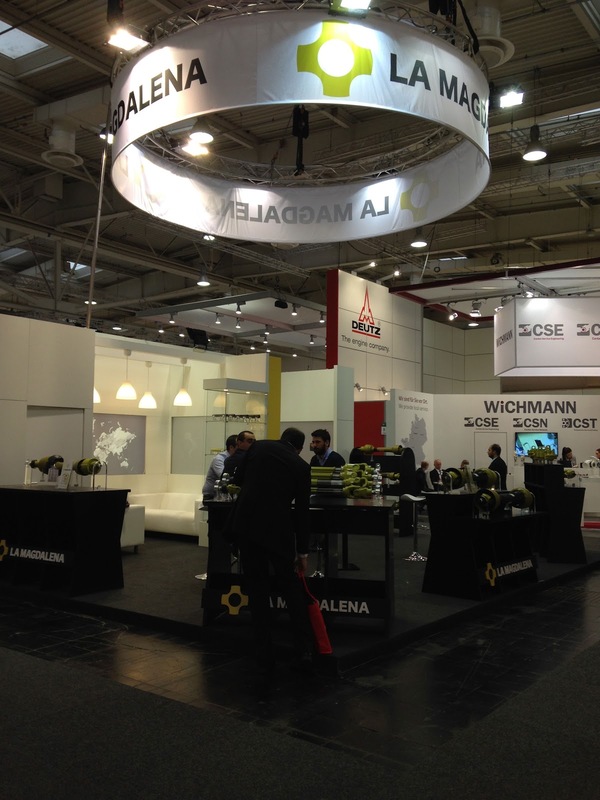 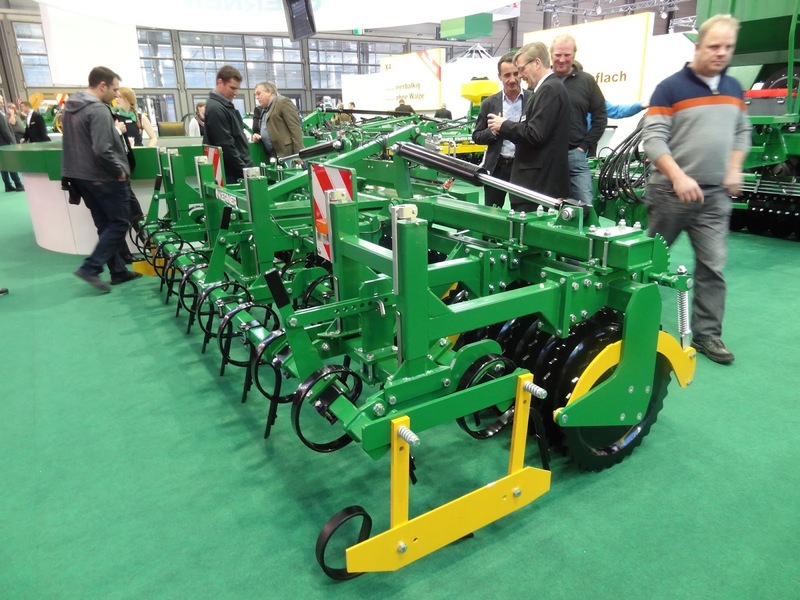 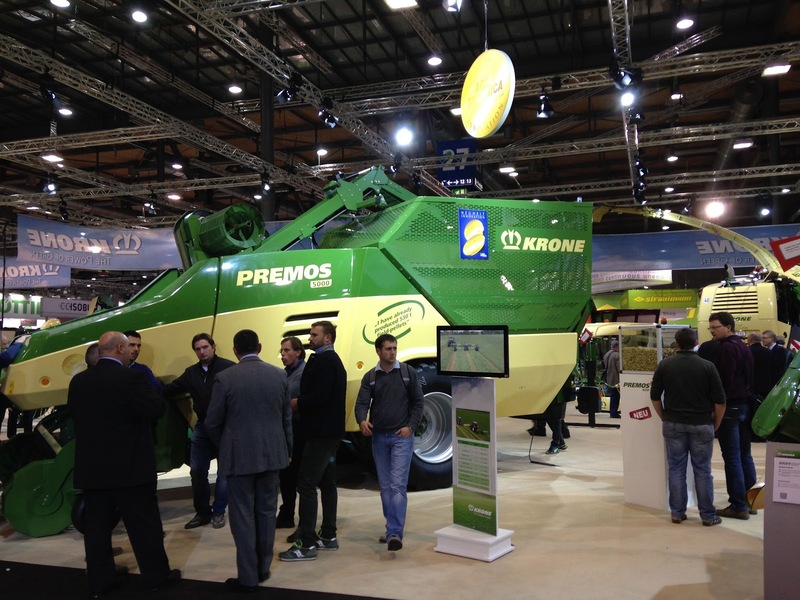 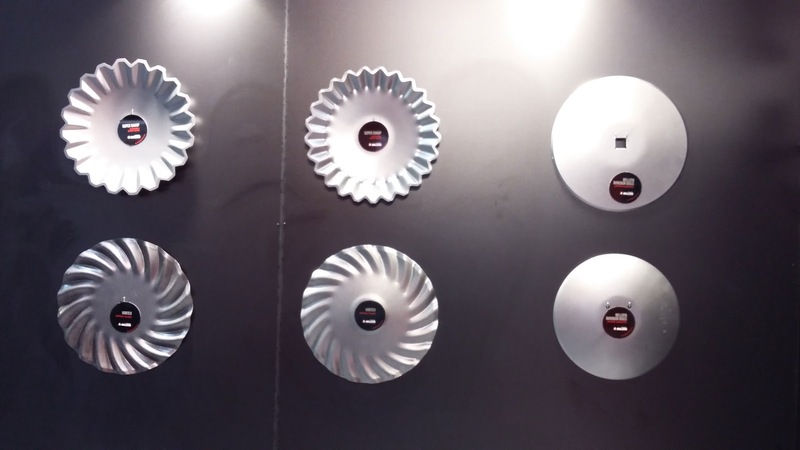 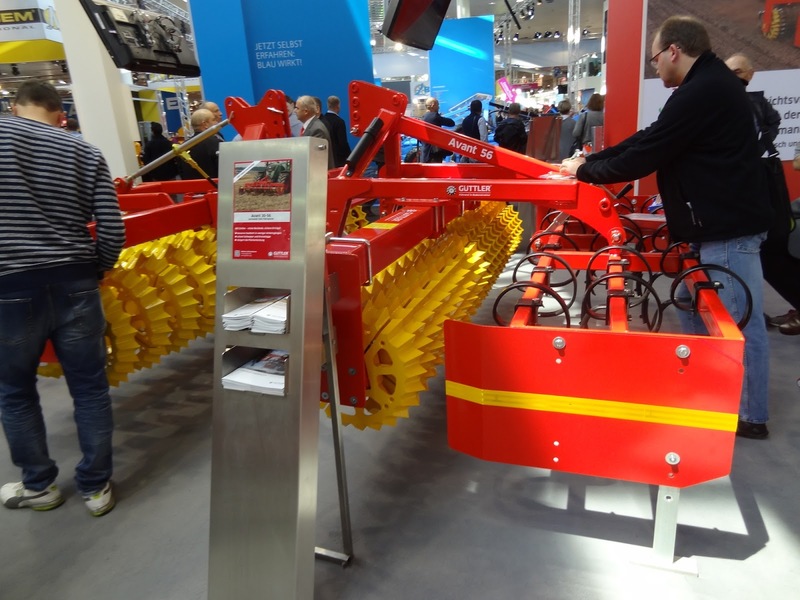 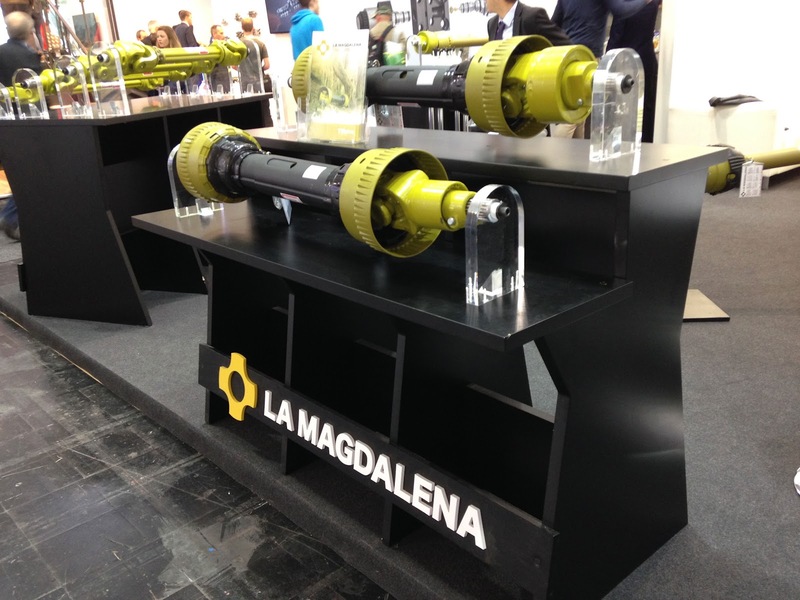 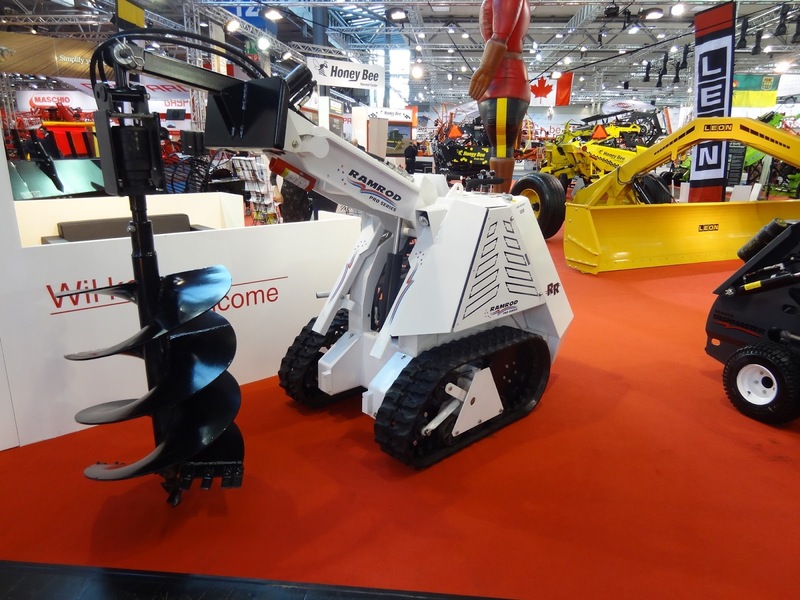 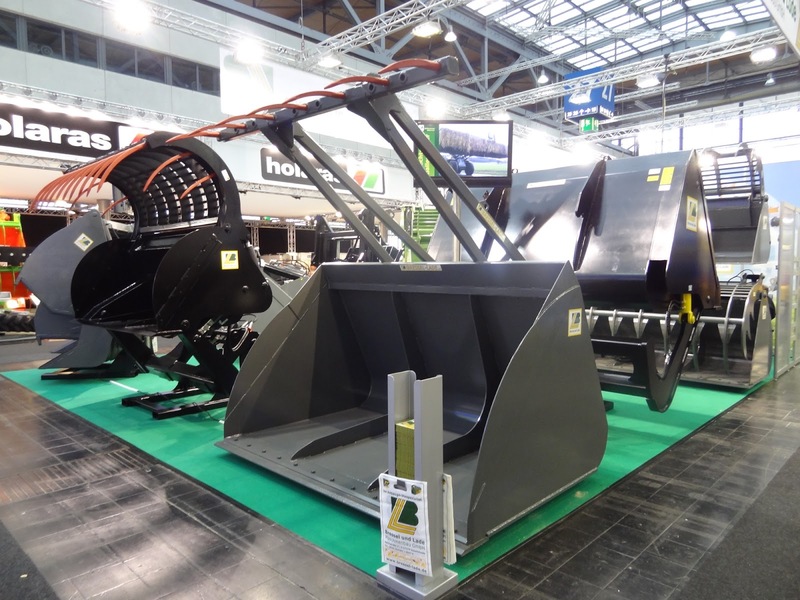 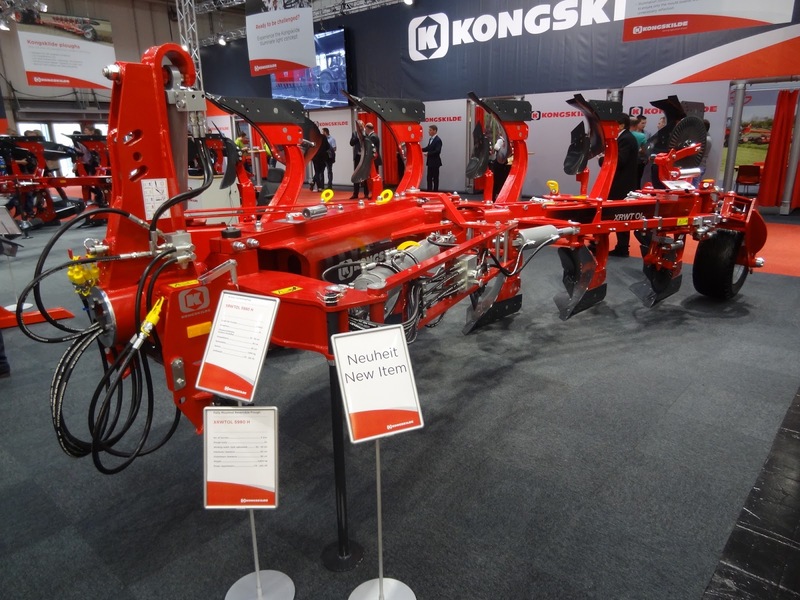 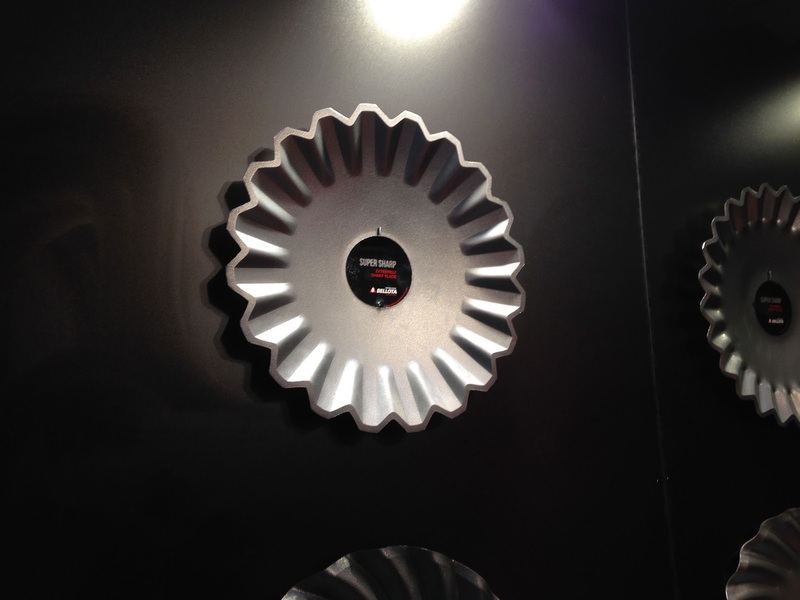 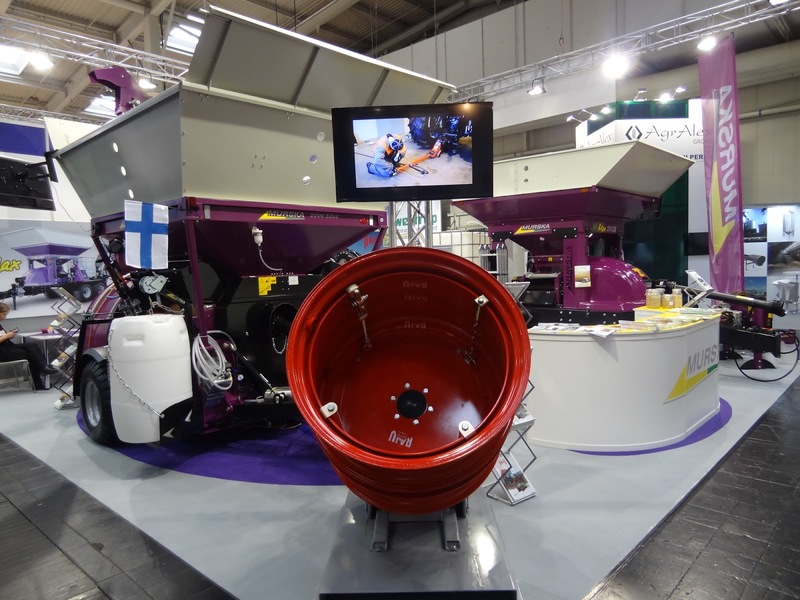 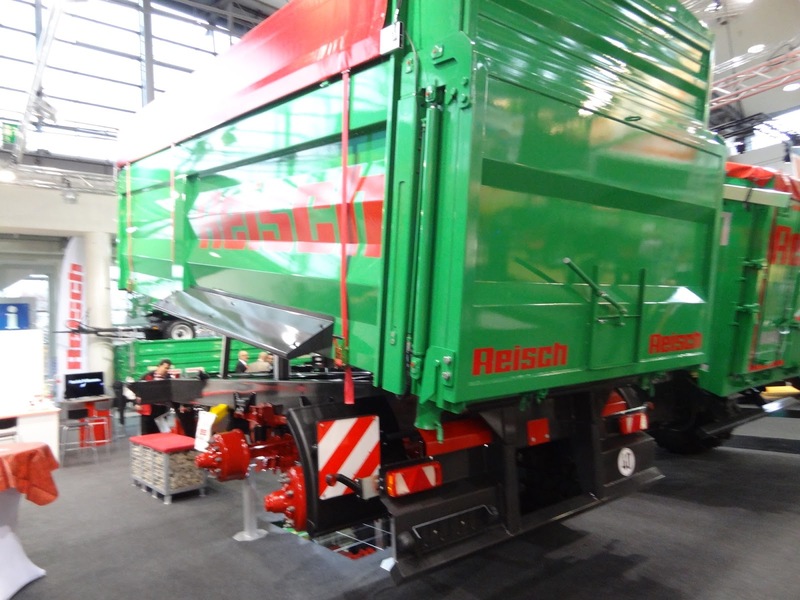 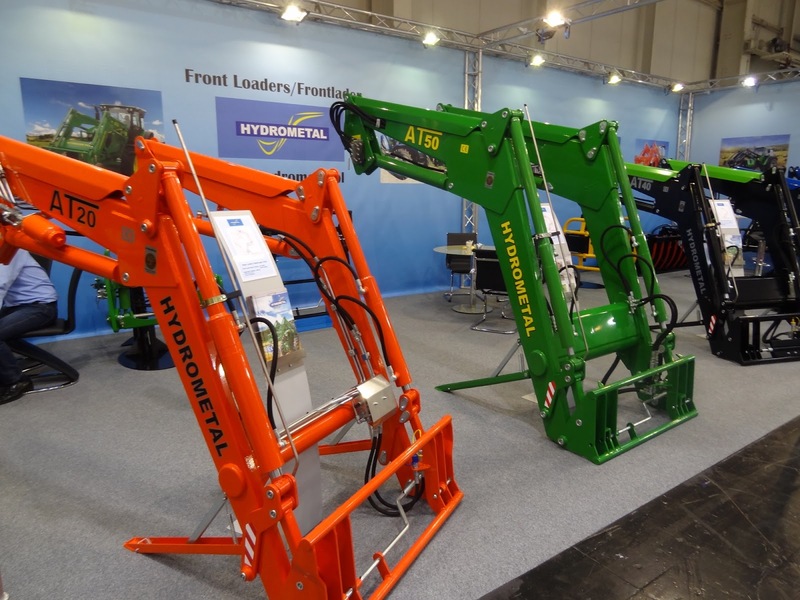 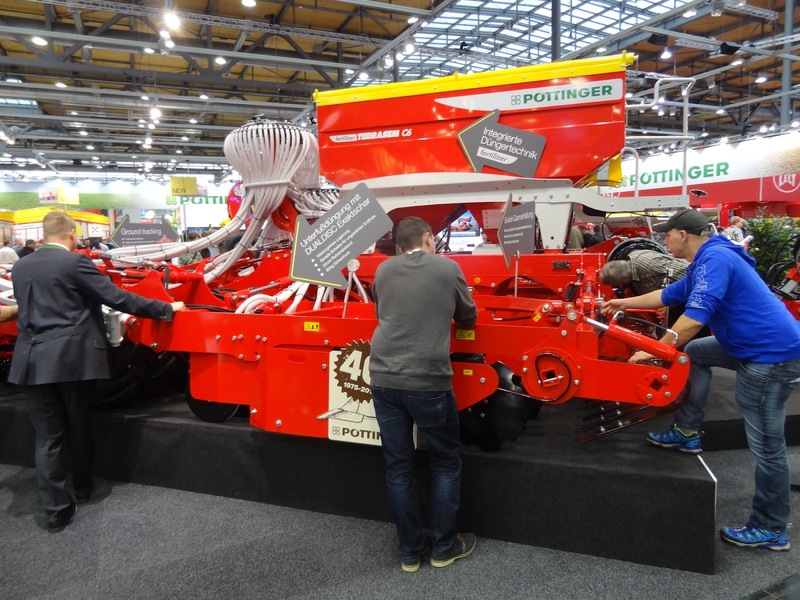 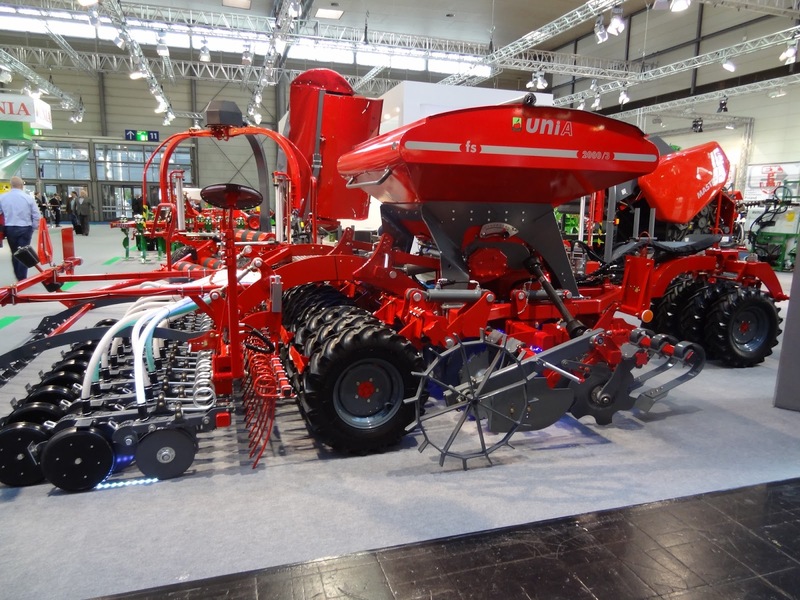 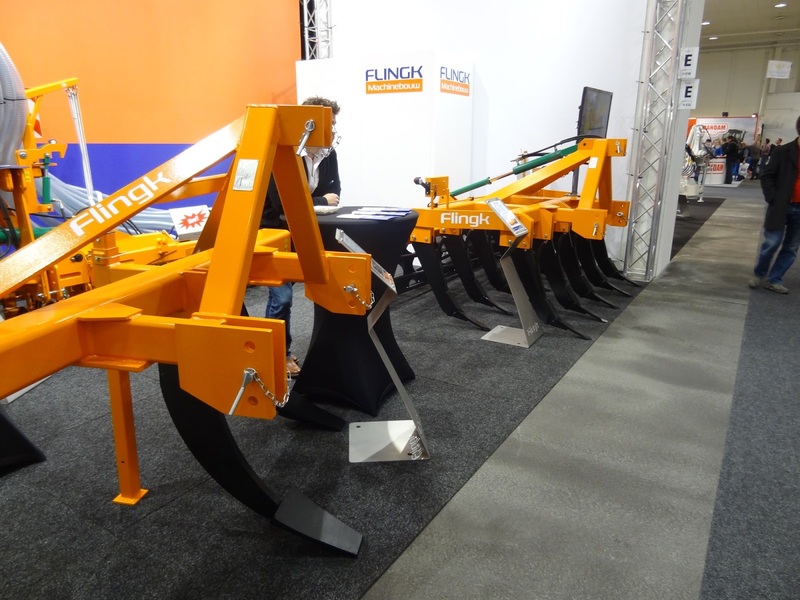 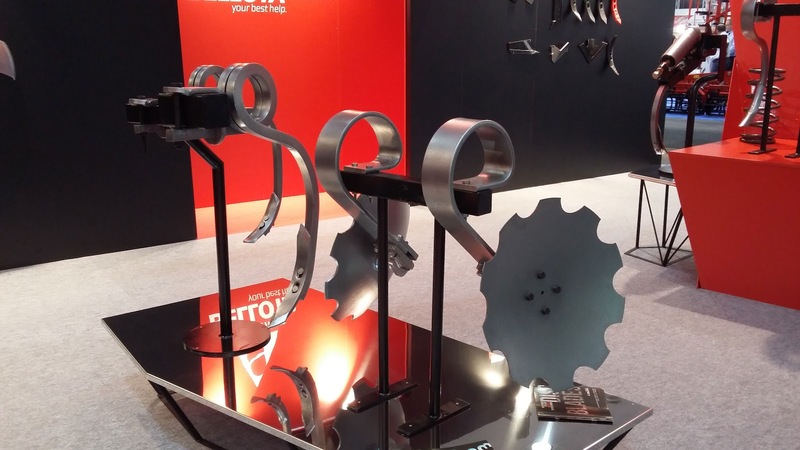 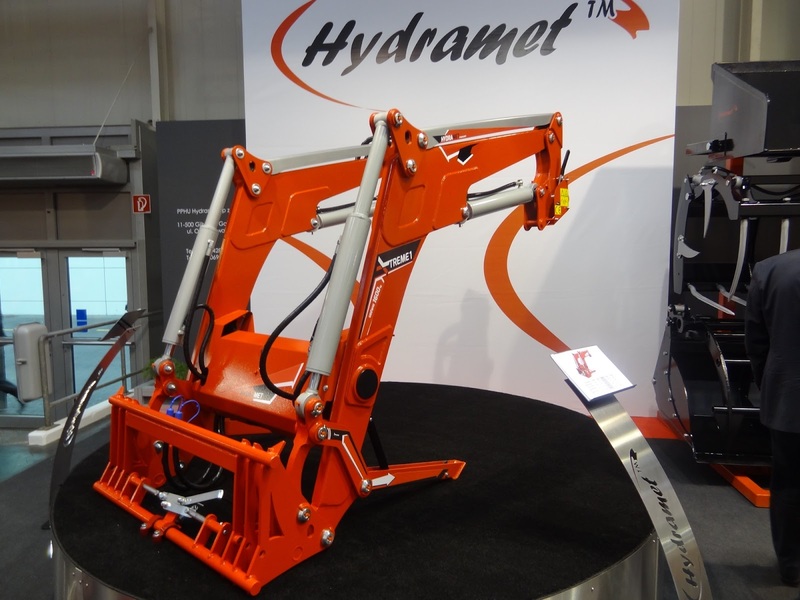 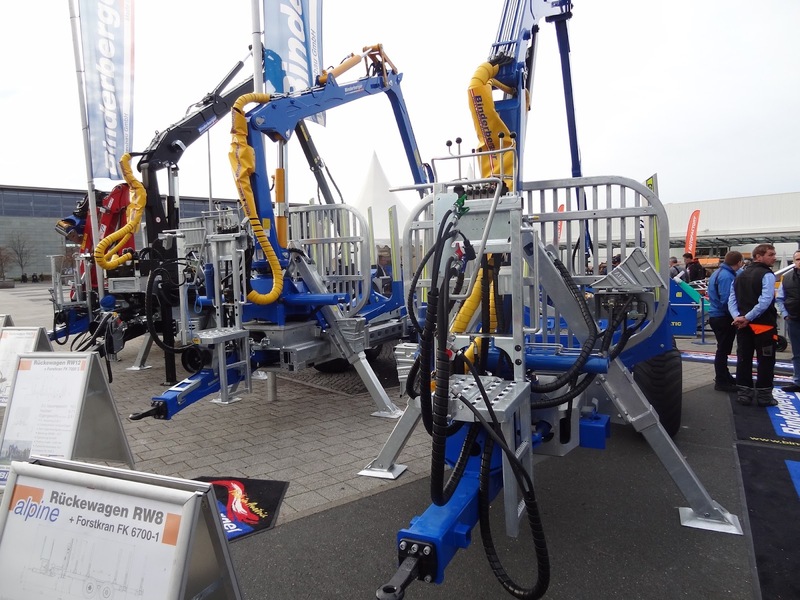 Over 2900 exhibitors from 52 countries presented their products in Hanover. 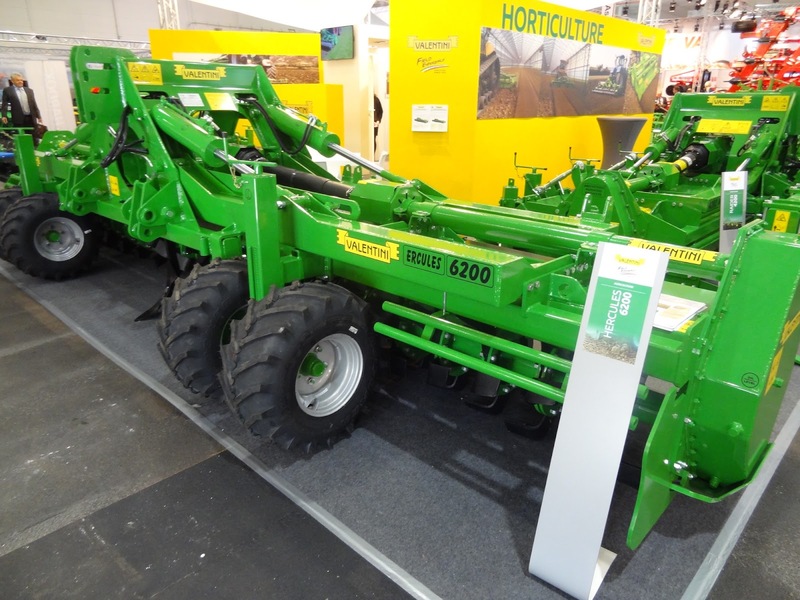 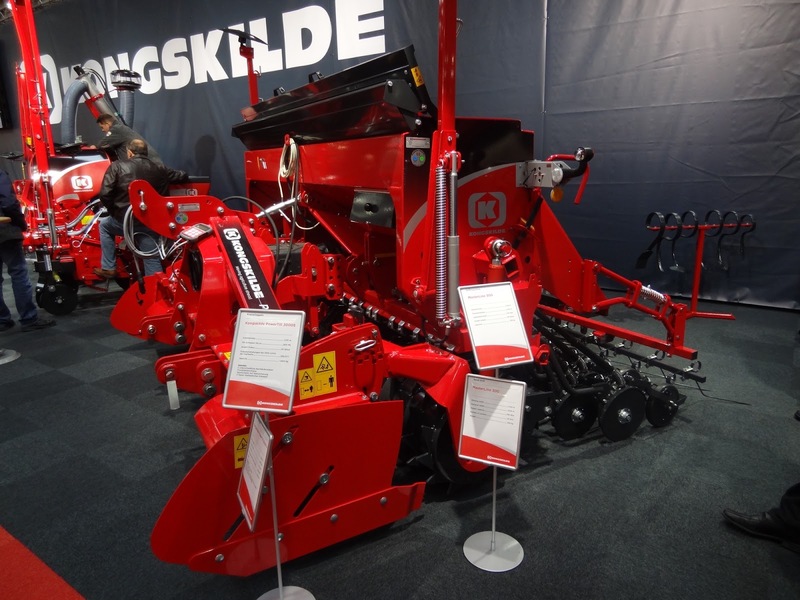 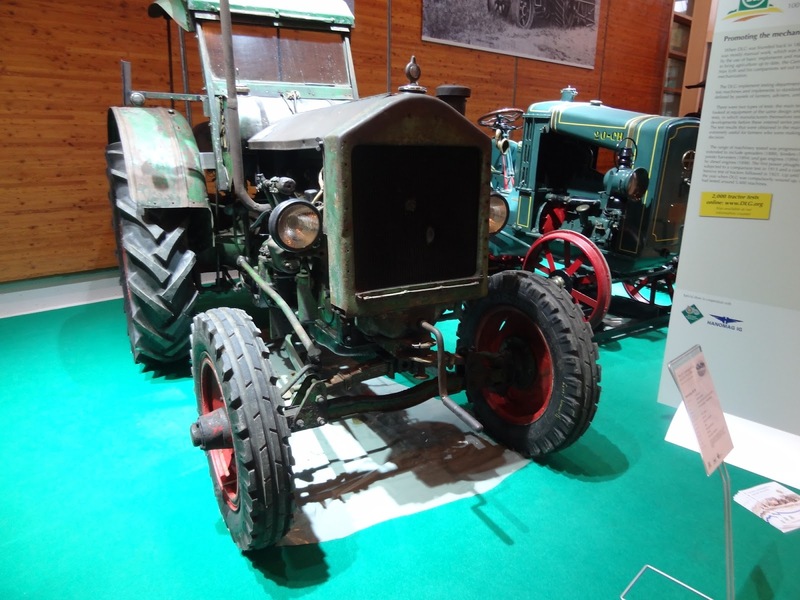 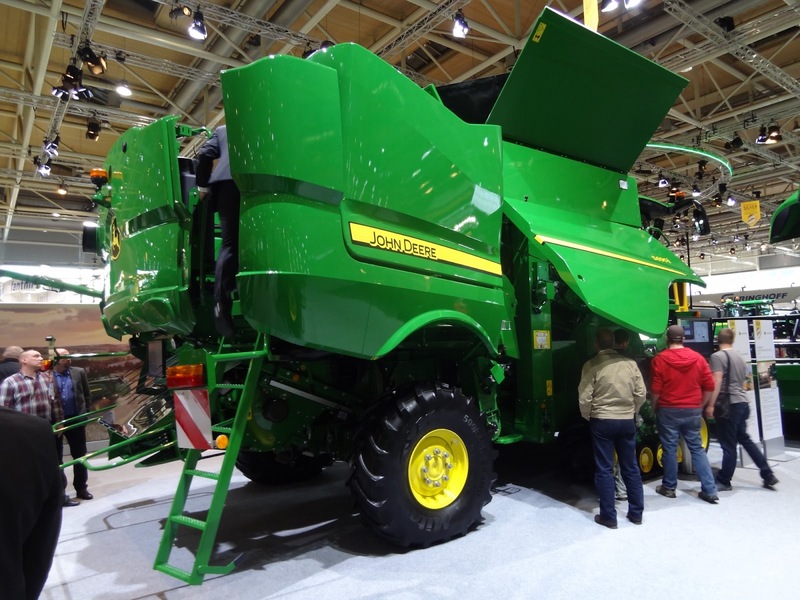 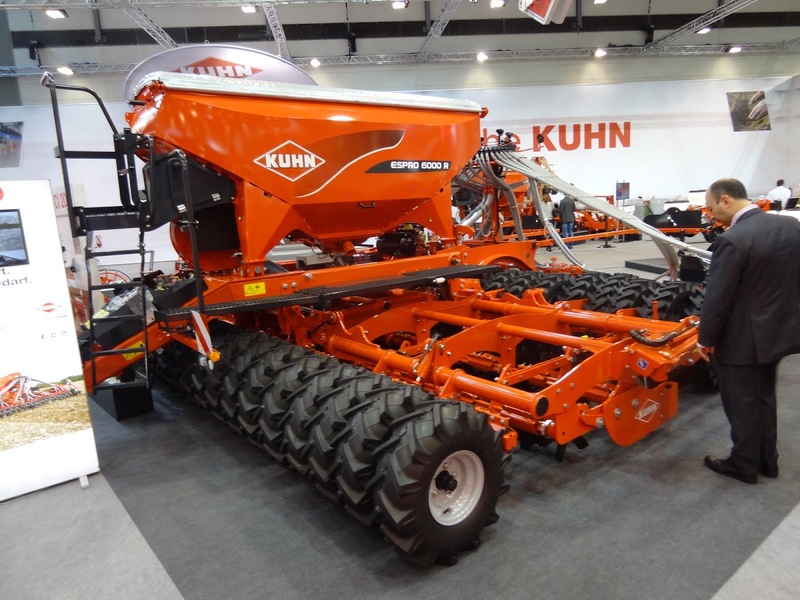 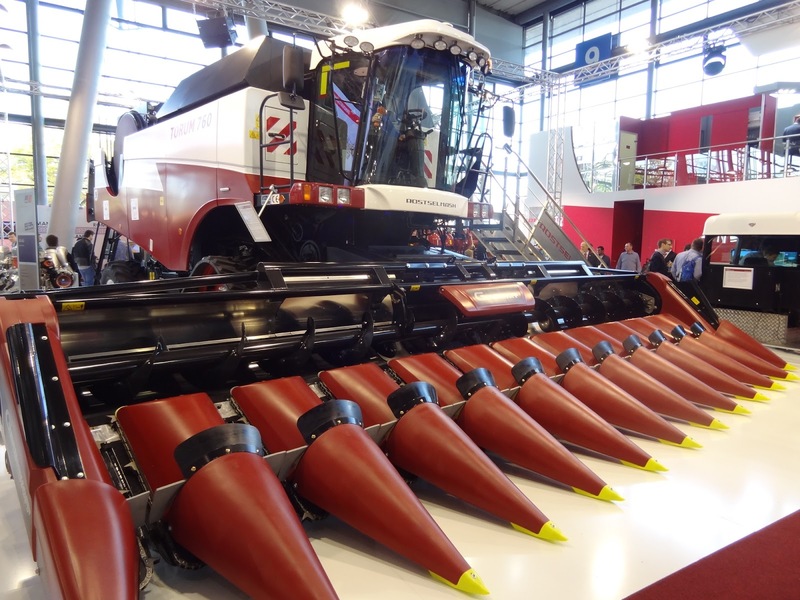 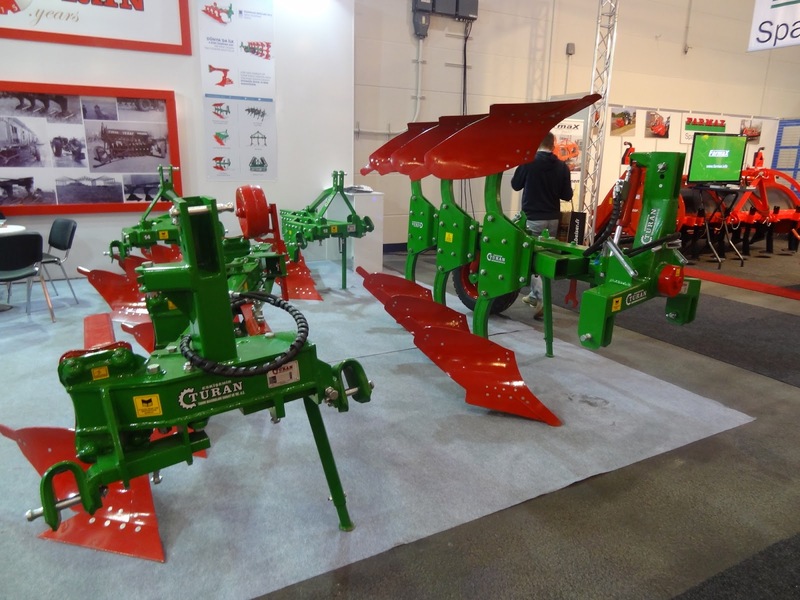 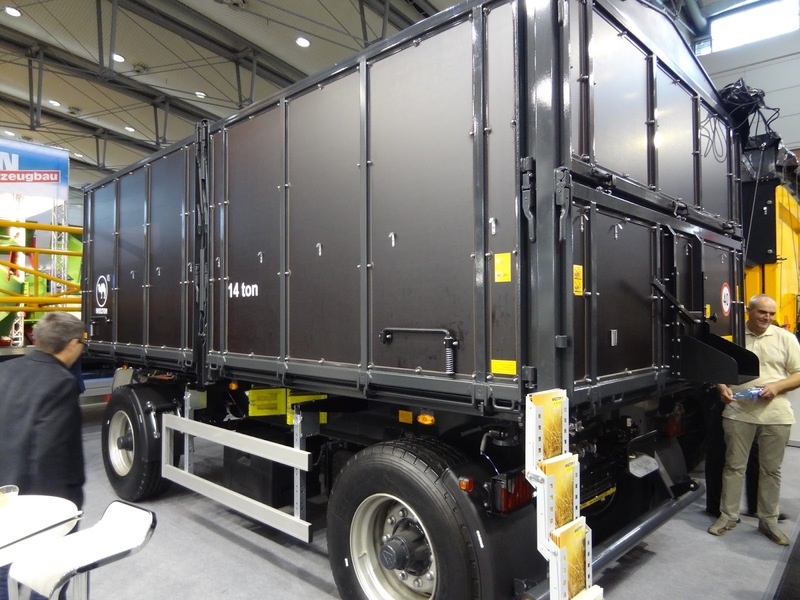 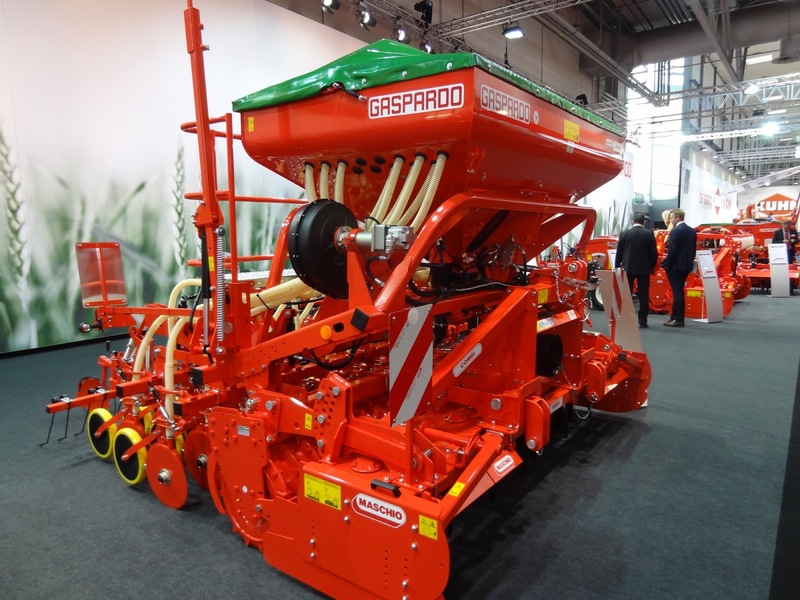 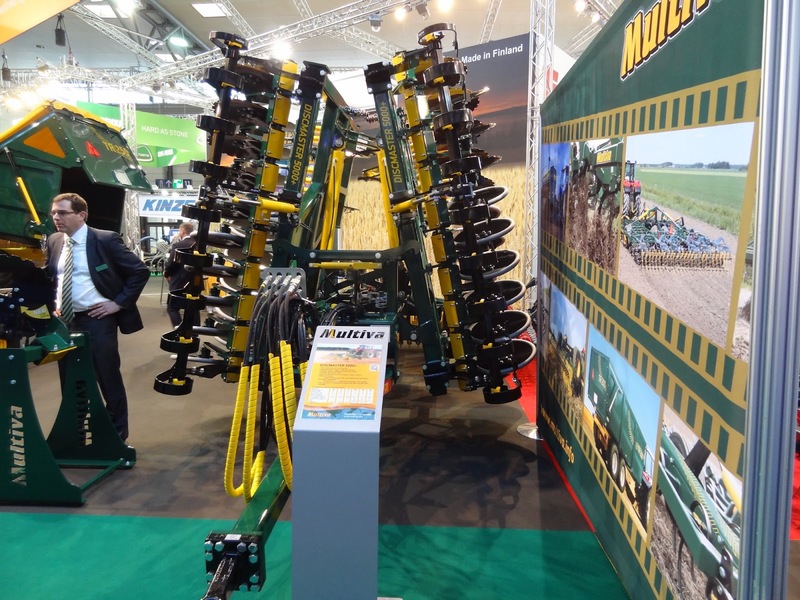 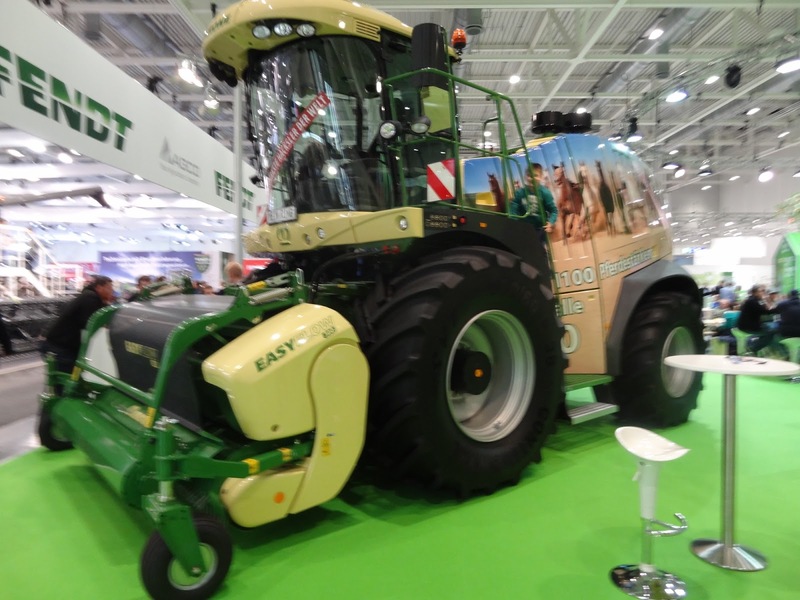 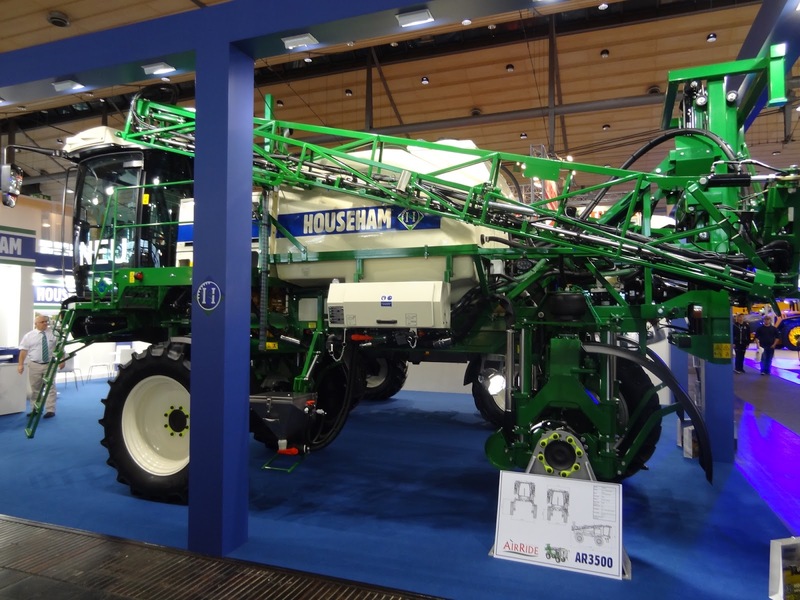 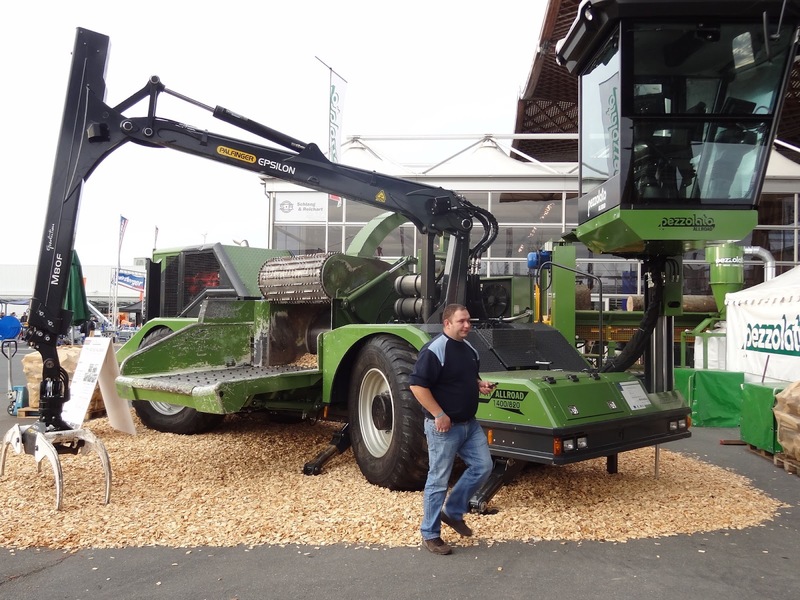 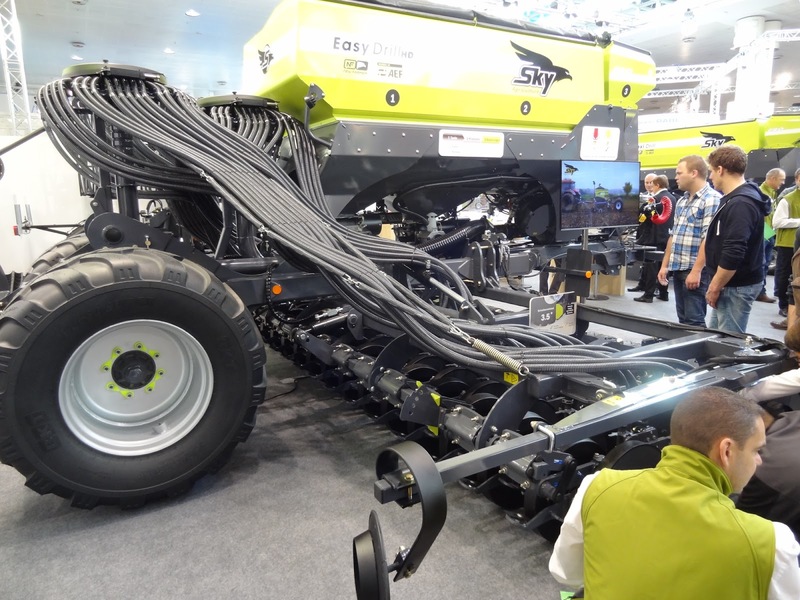 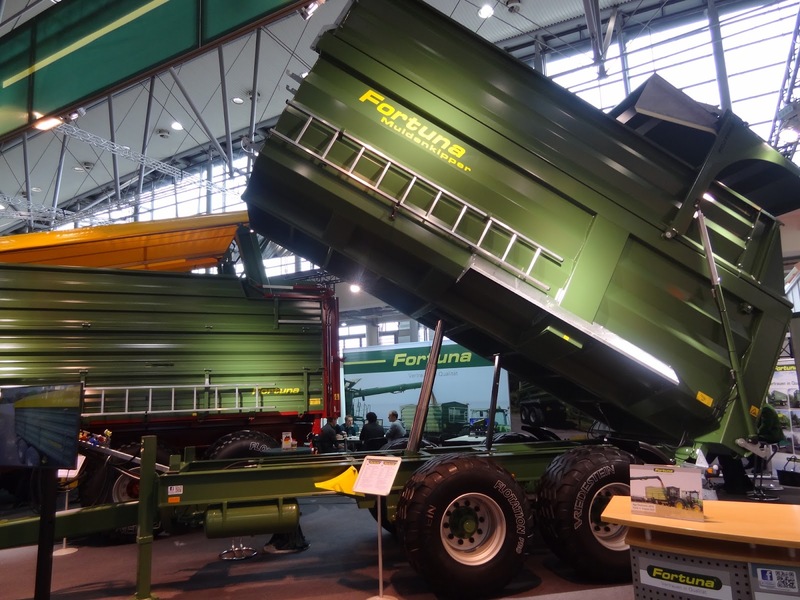 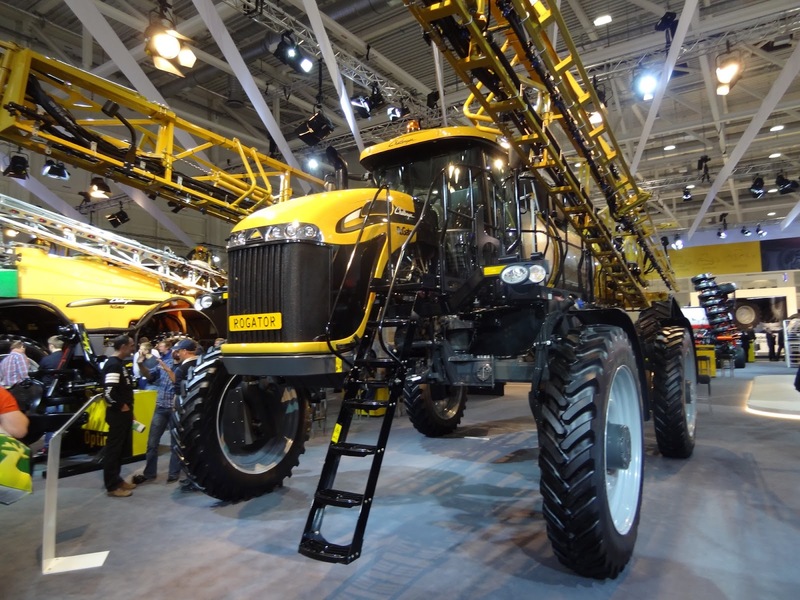 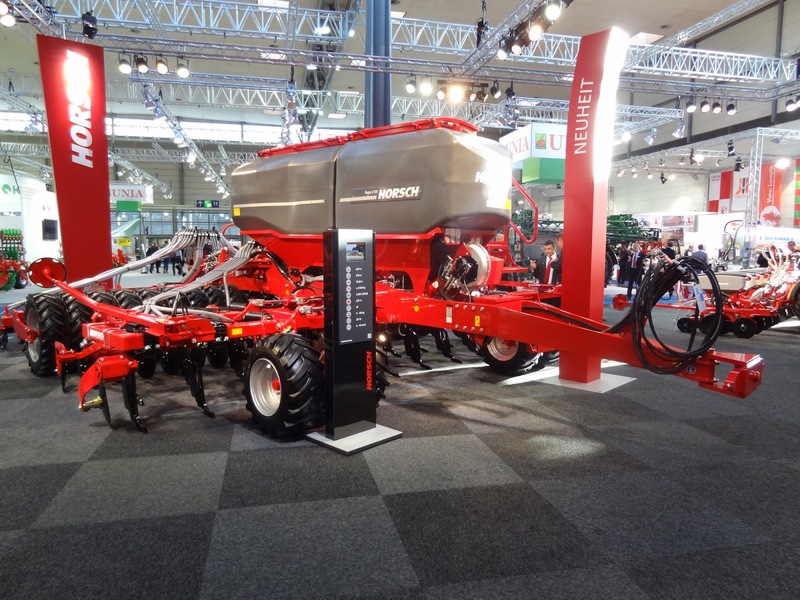 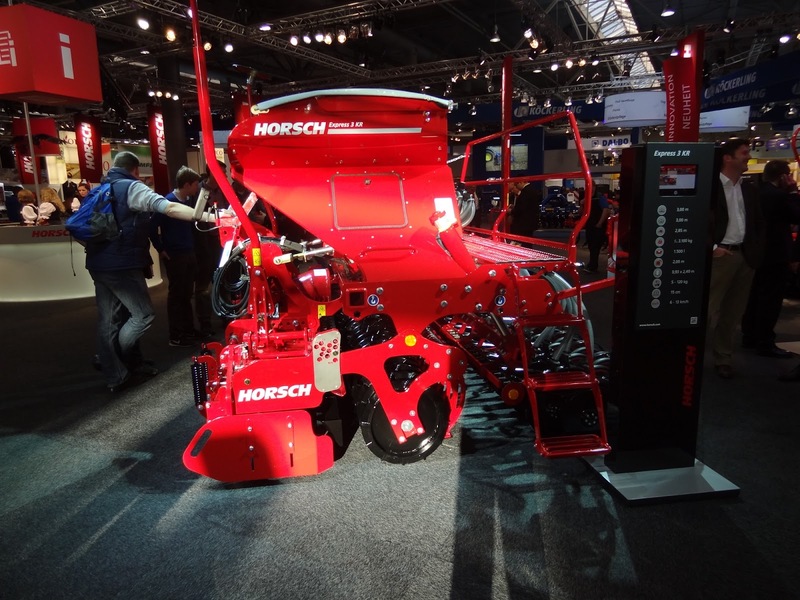 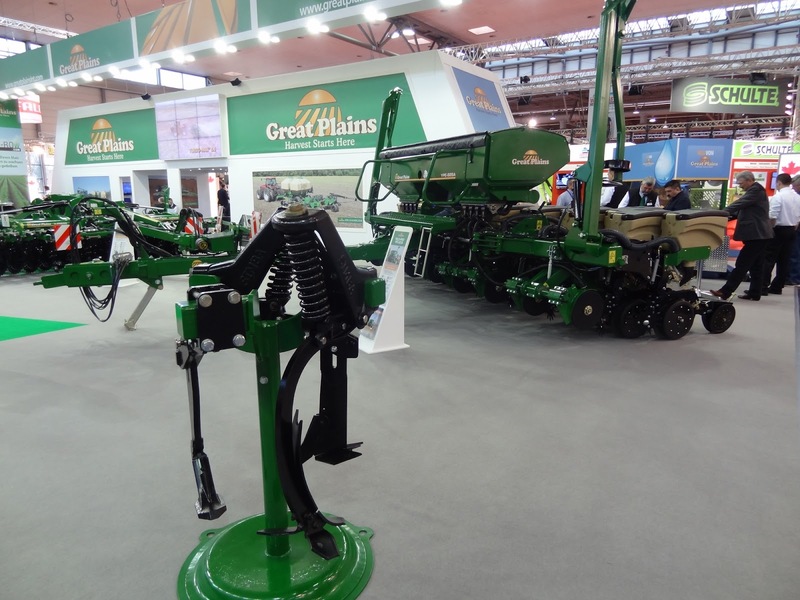 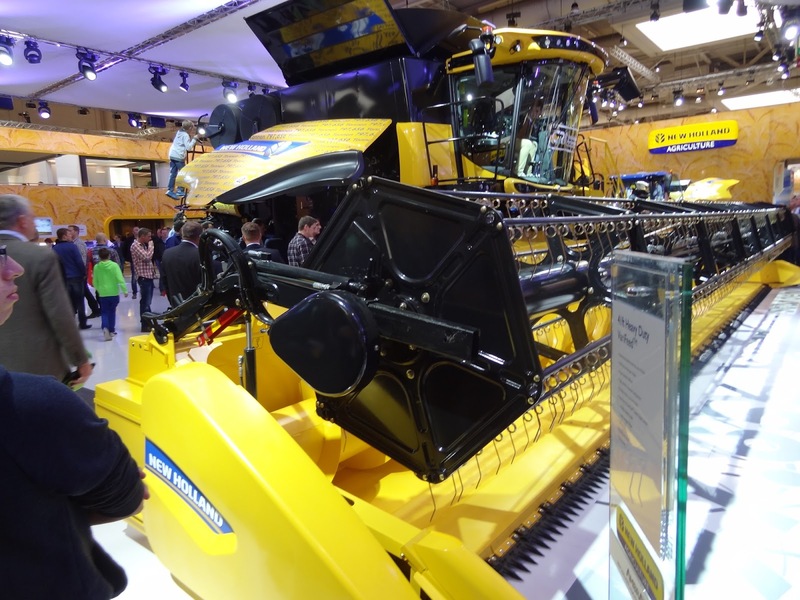 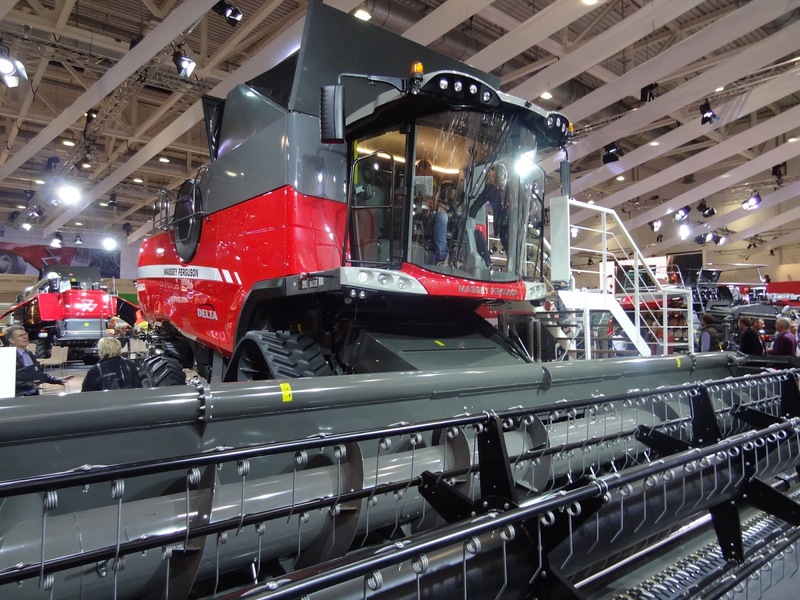 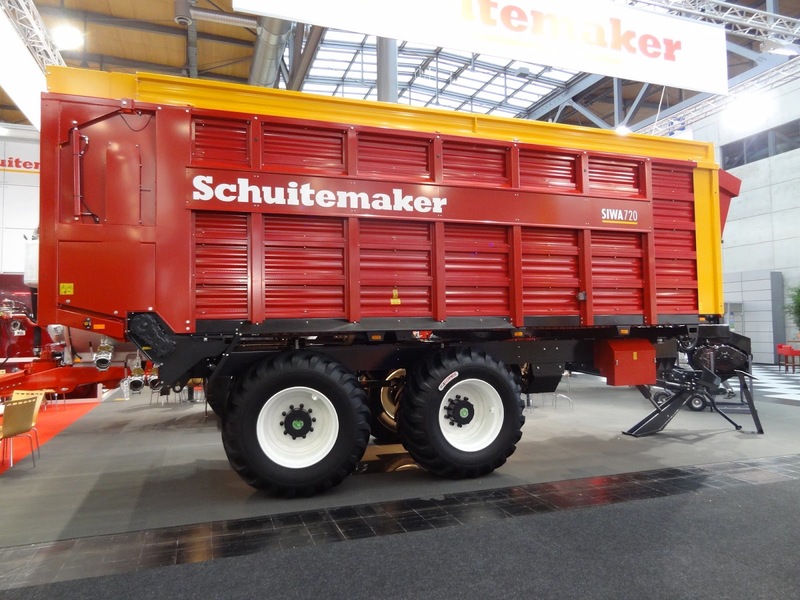 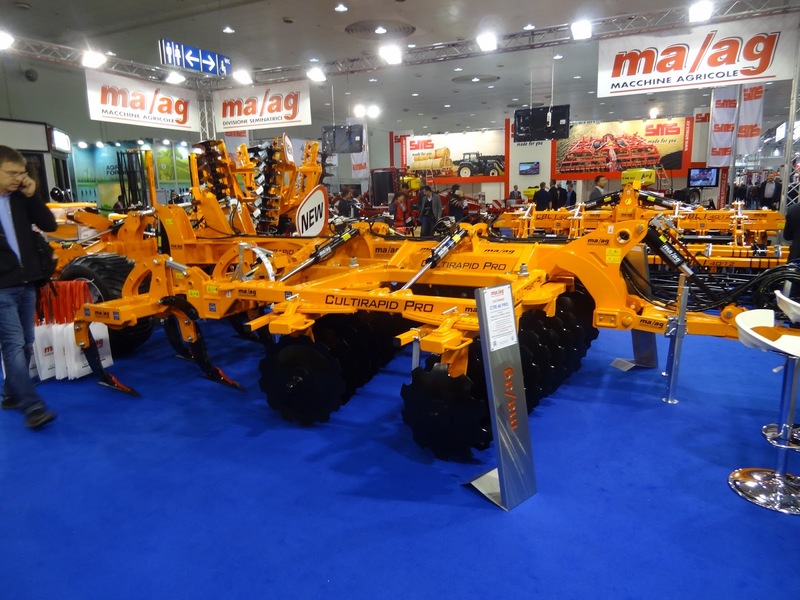 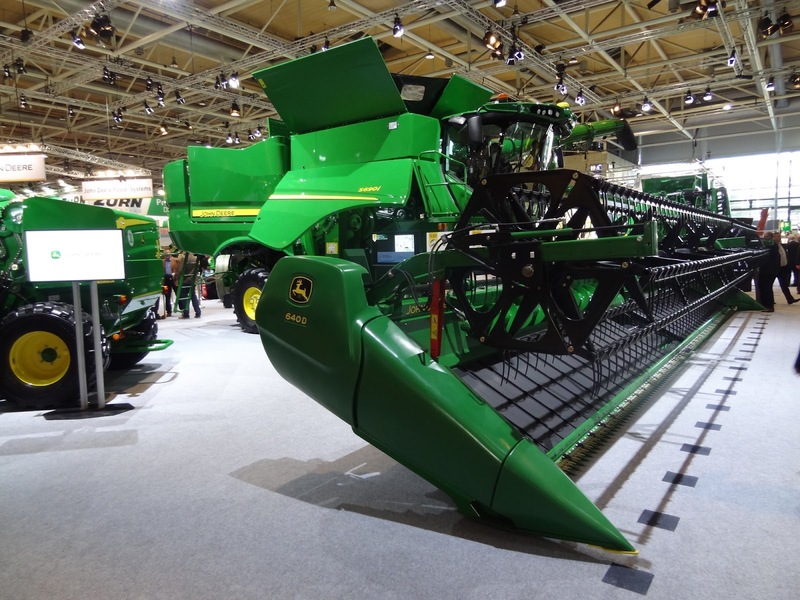 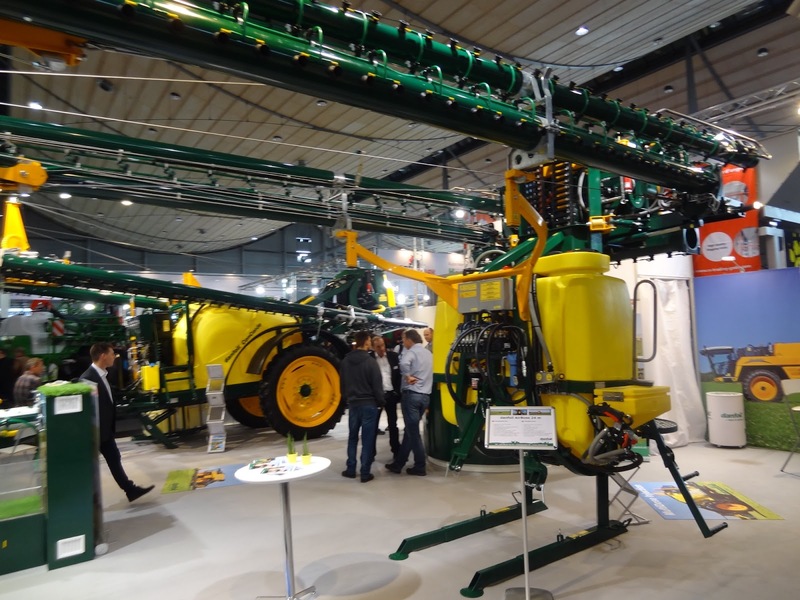 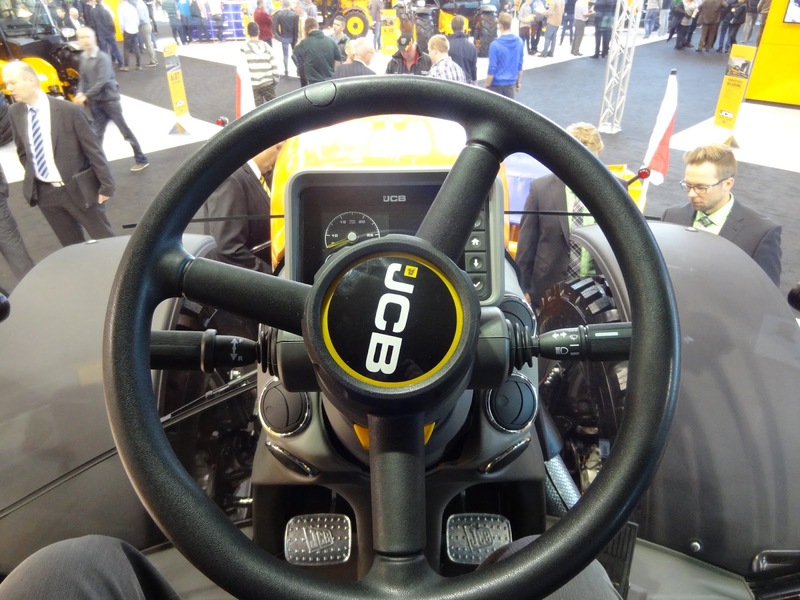 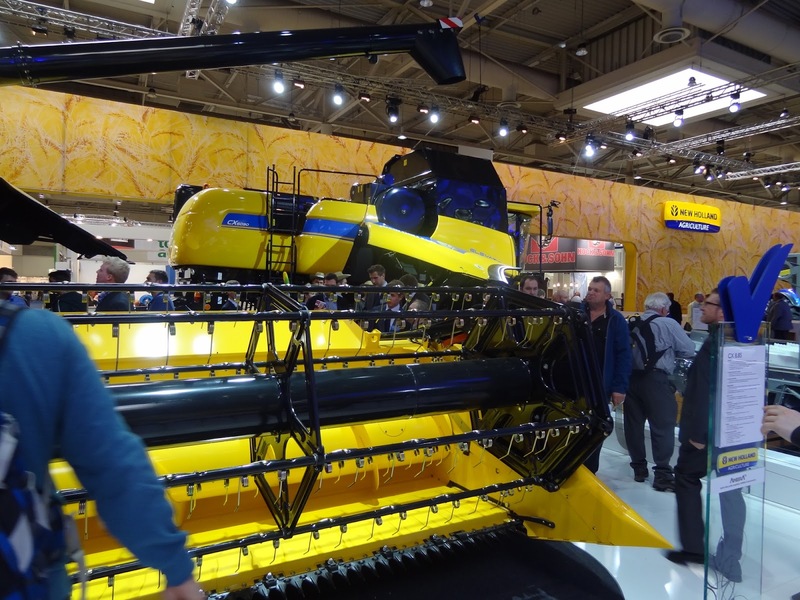 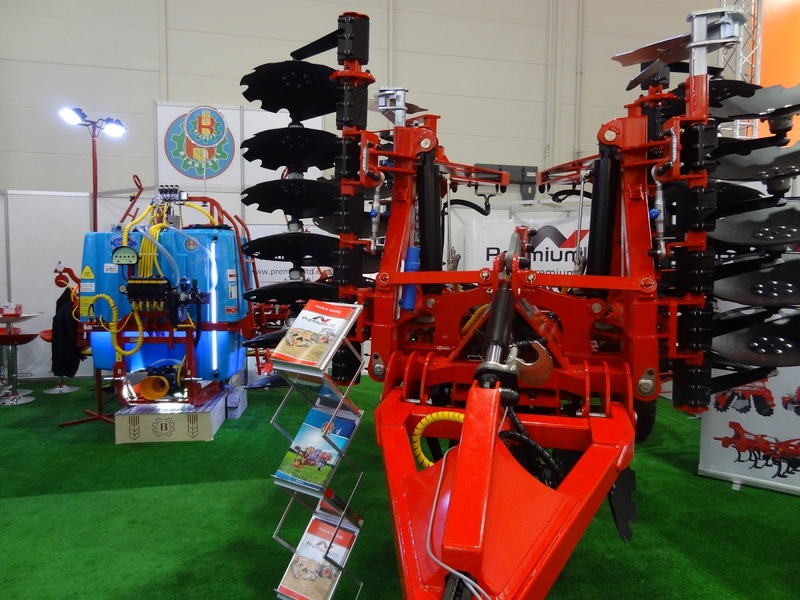 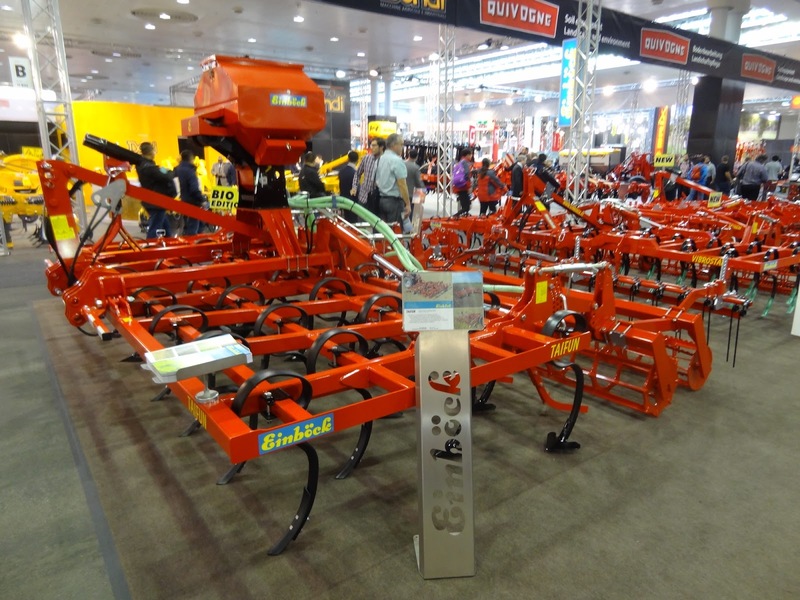 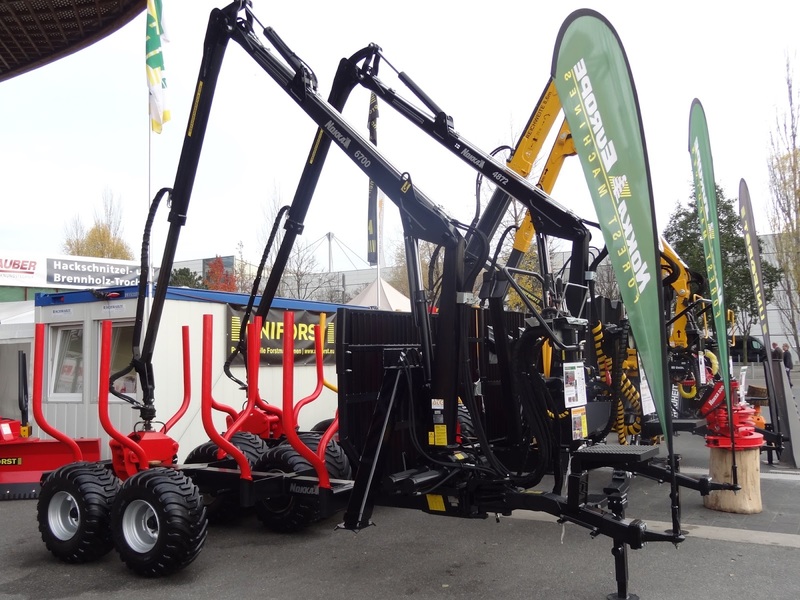 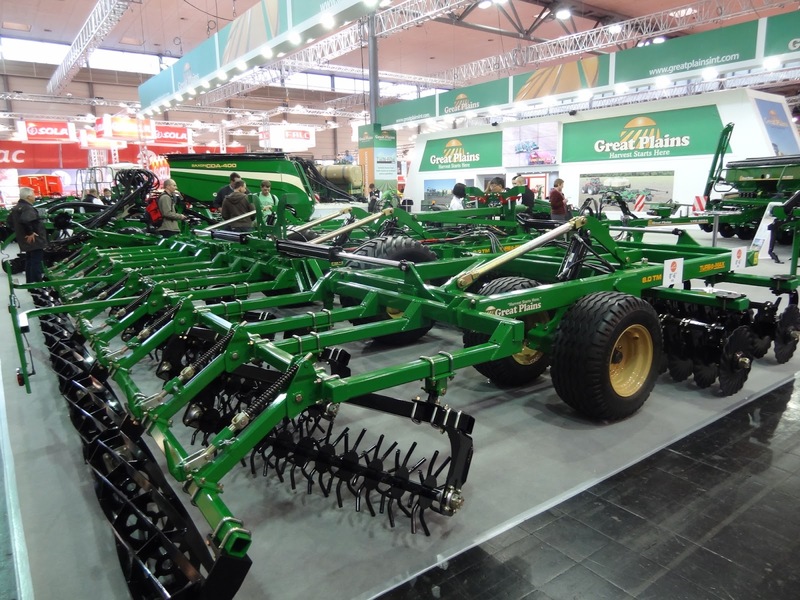 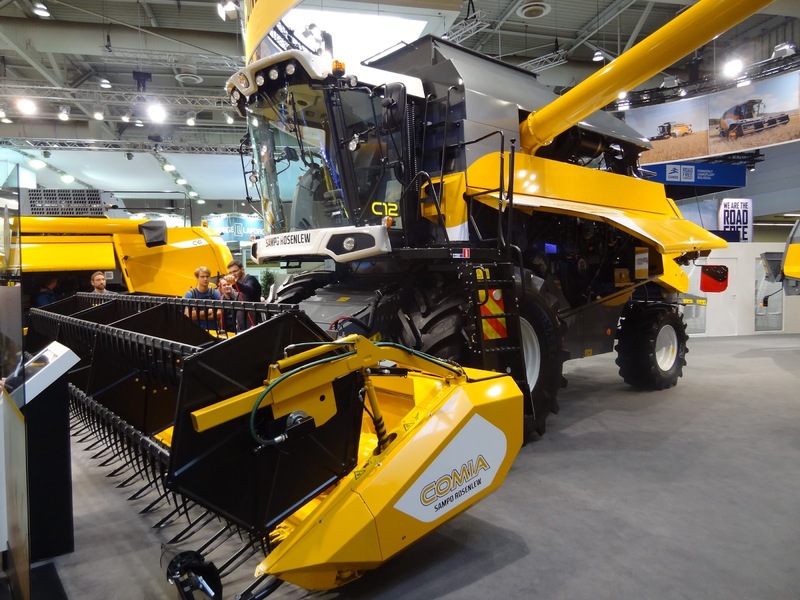 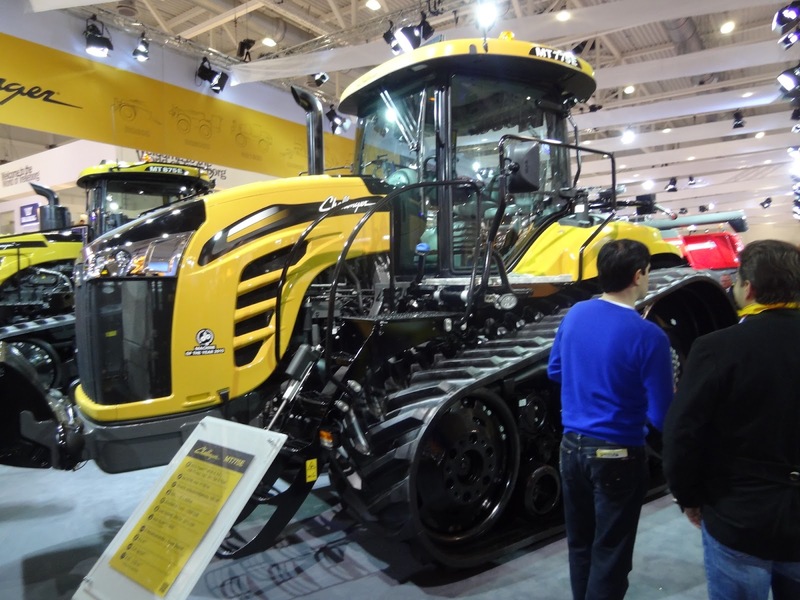 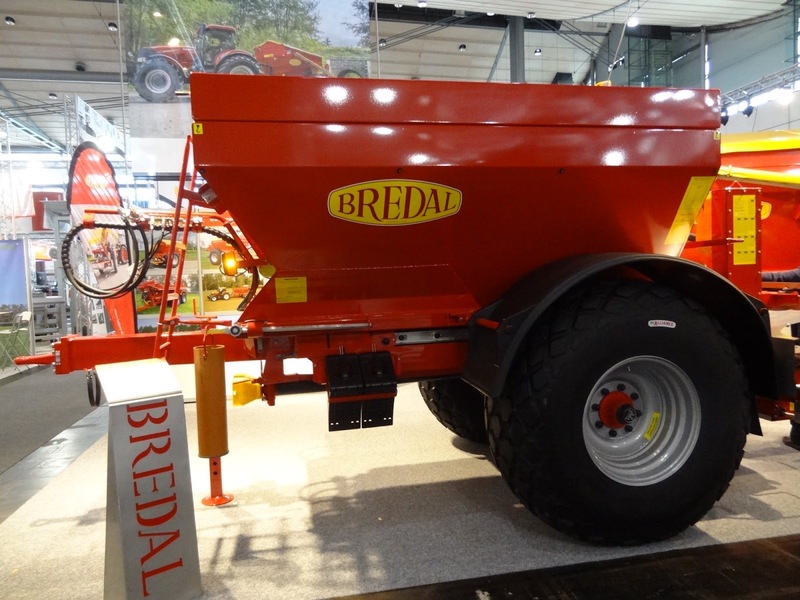 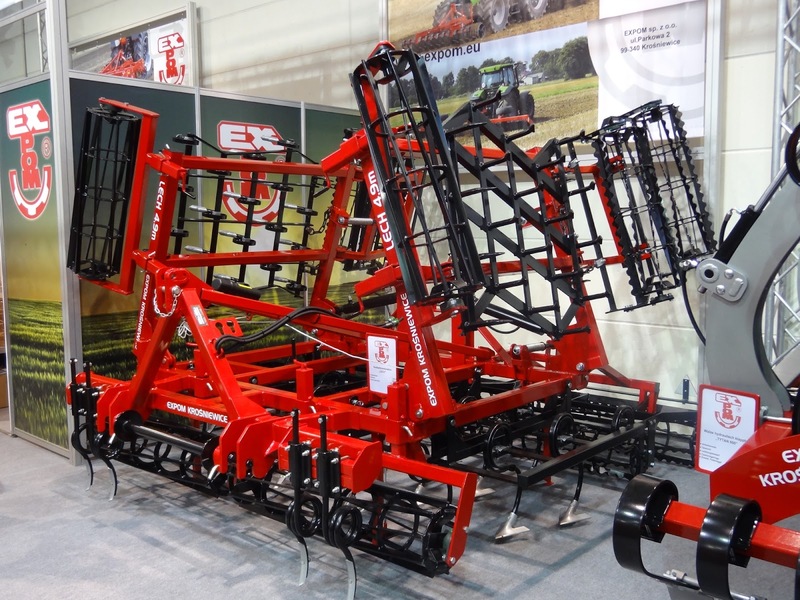 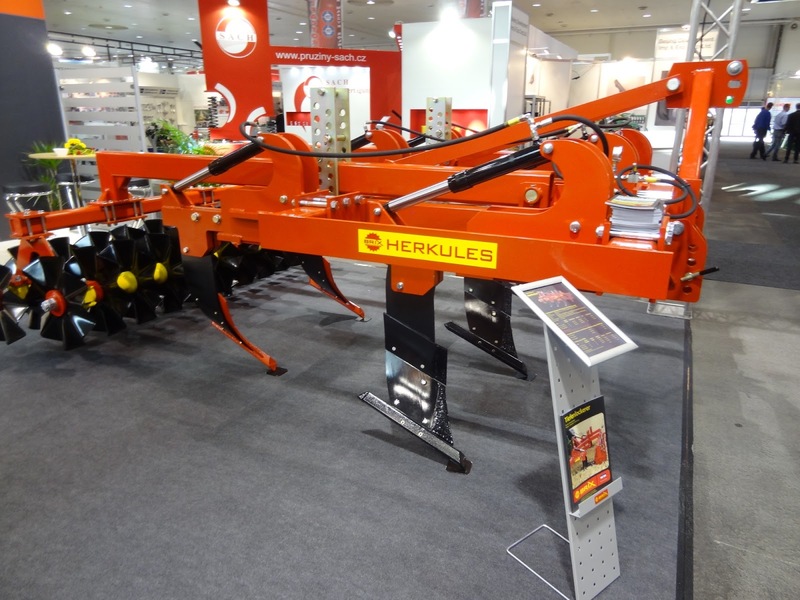 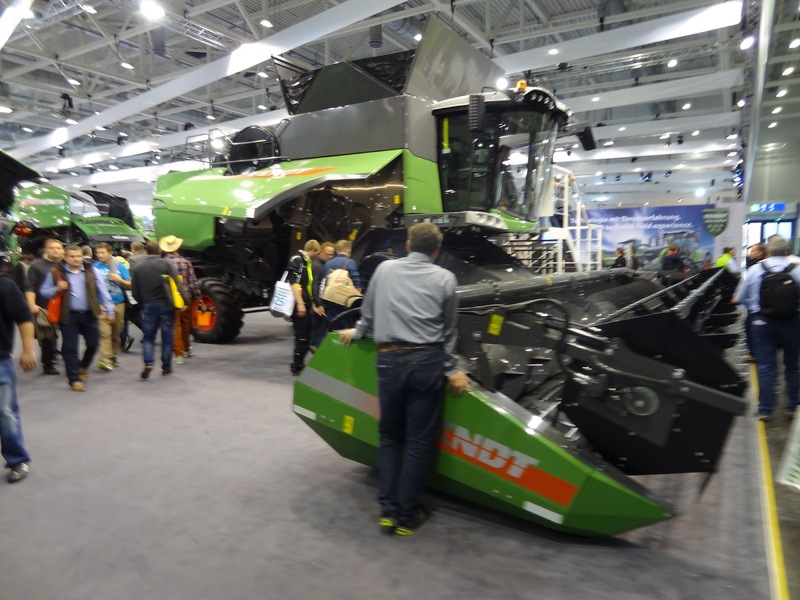 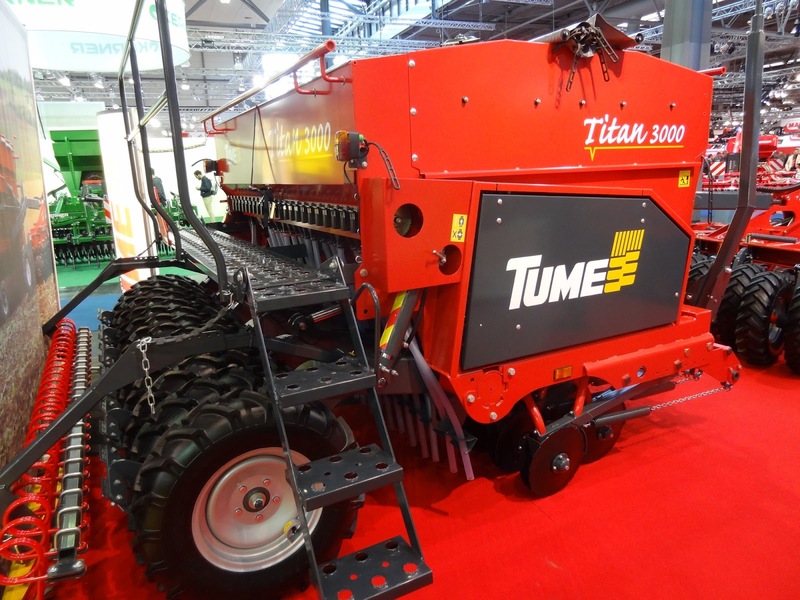 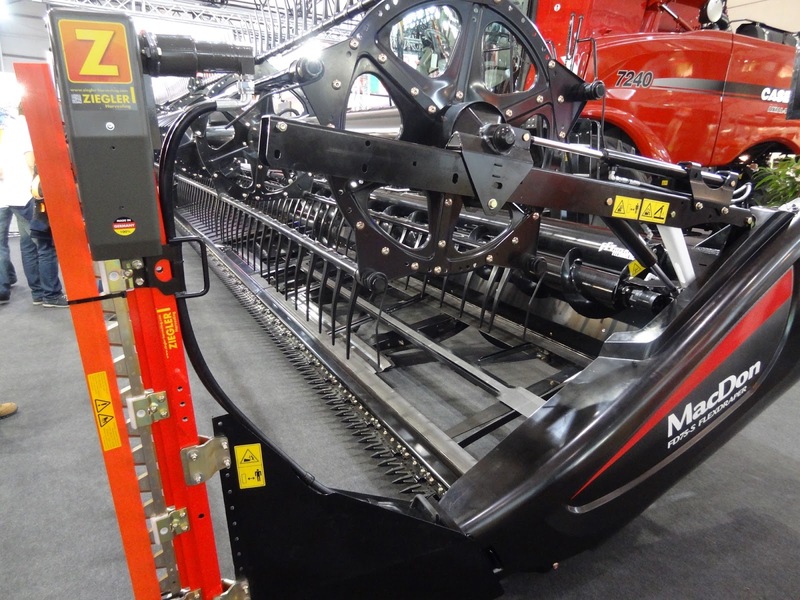 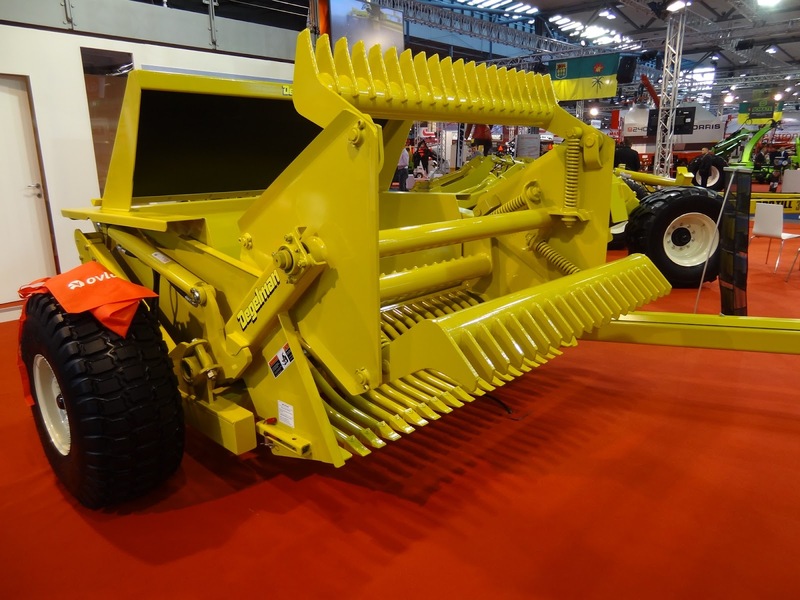 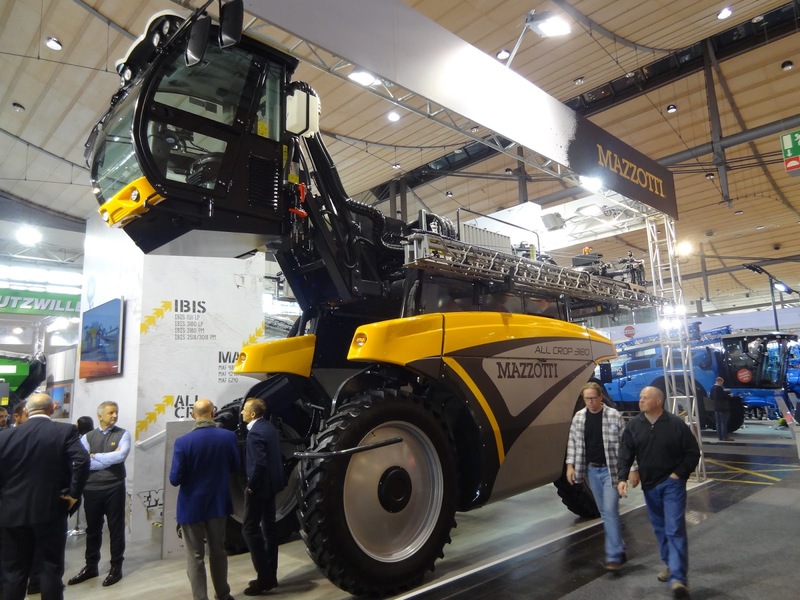 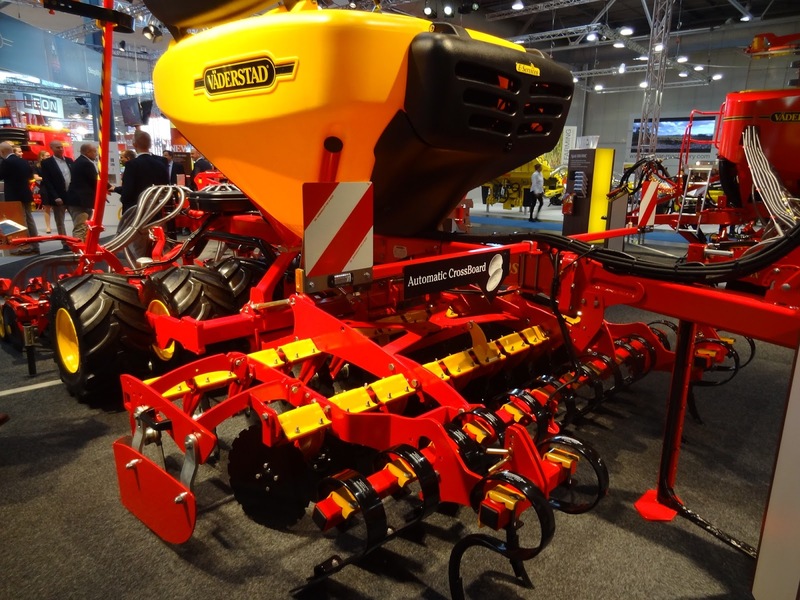 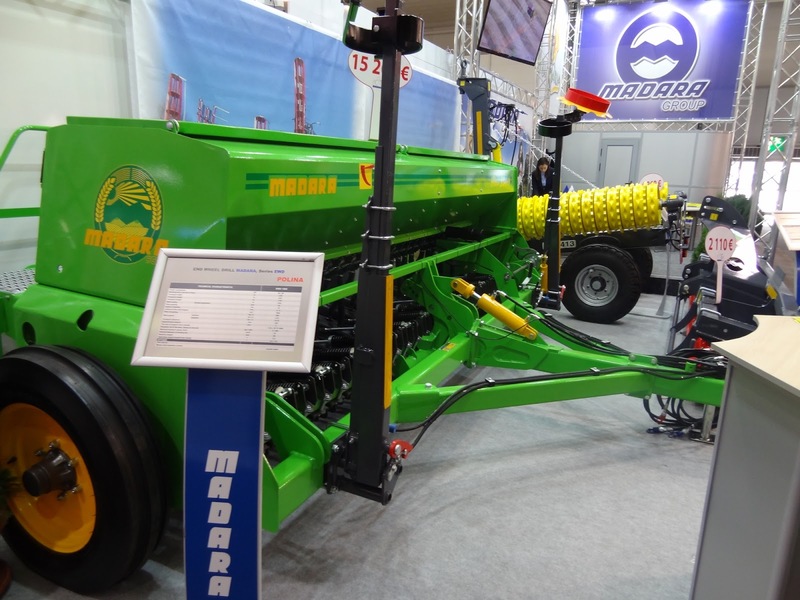 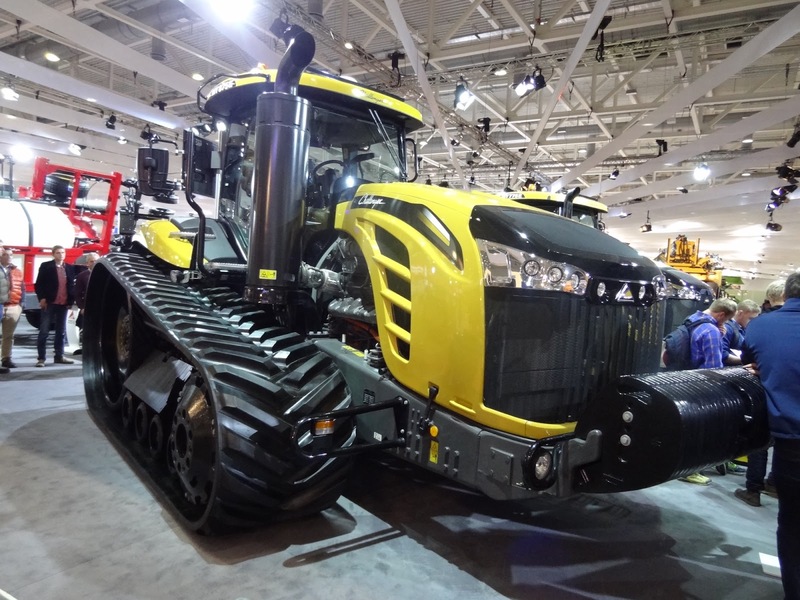 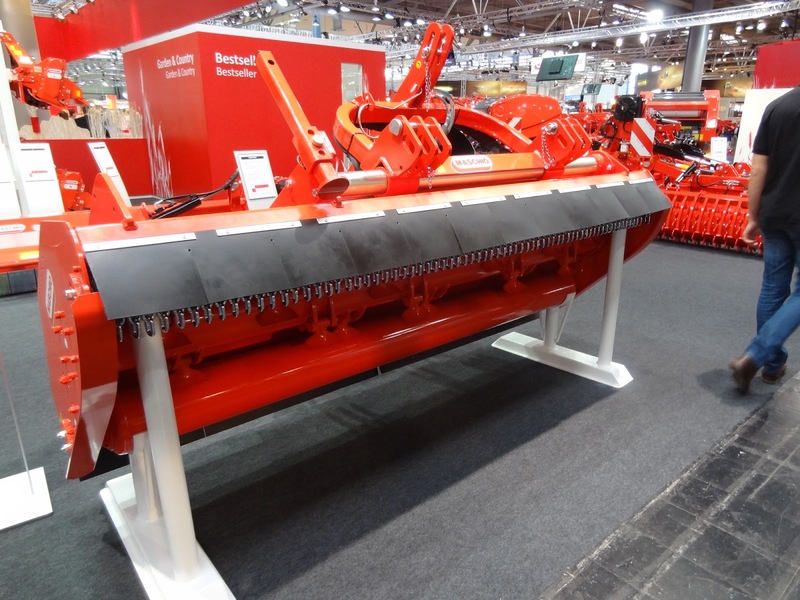 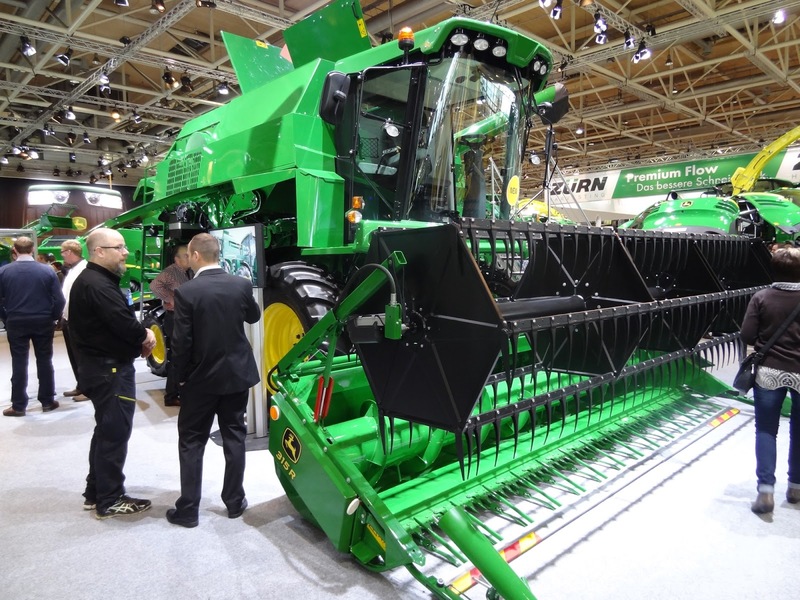 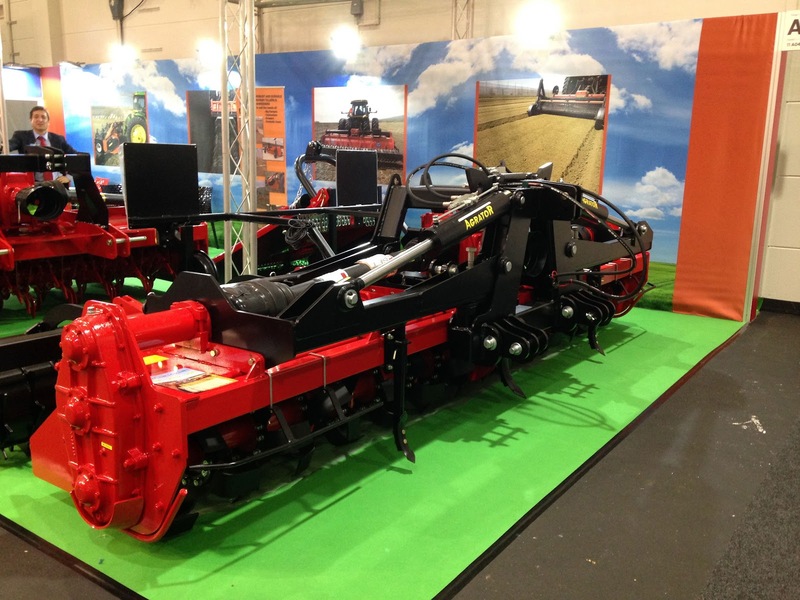 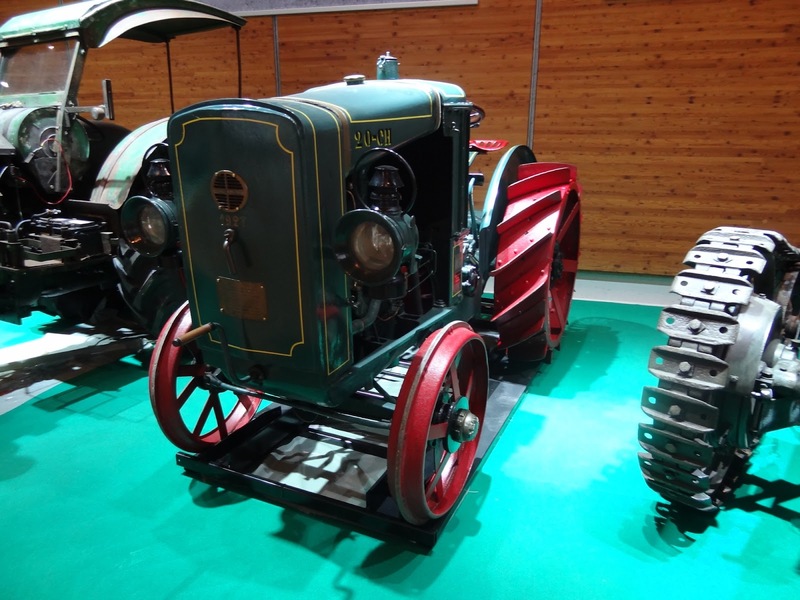 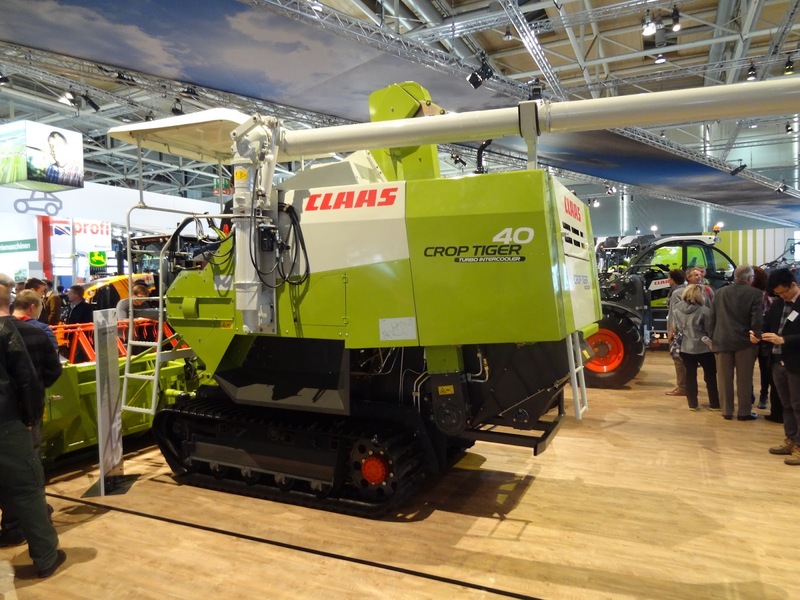 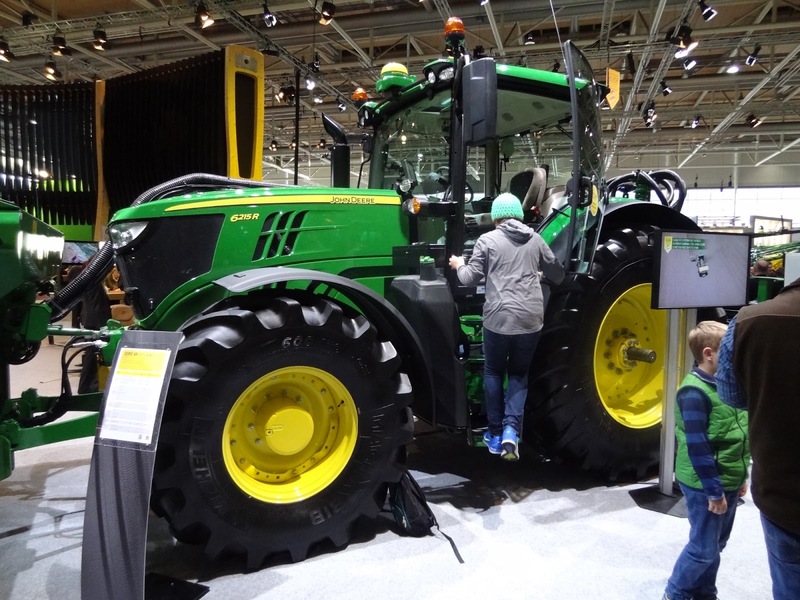 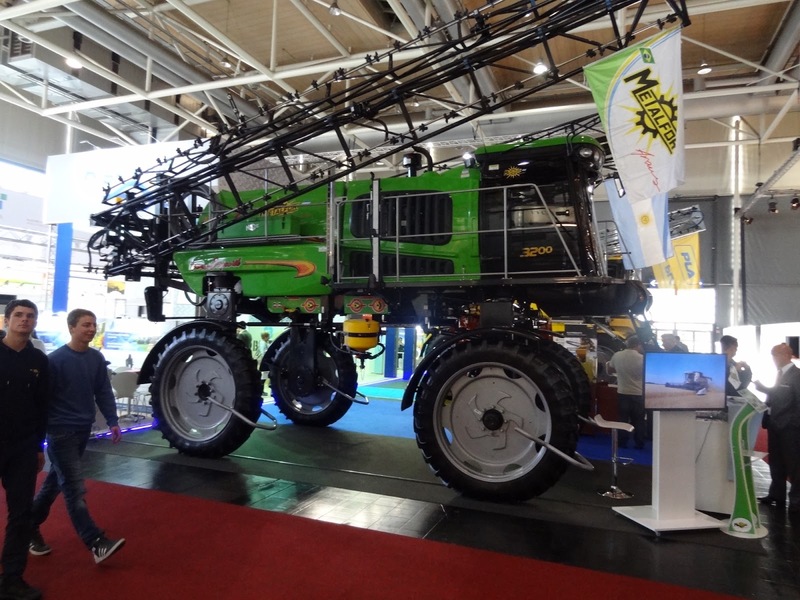 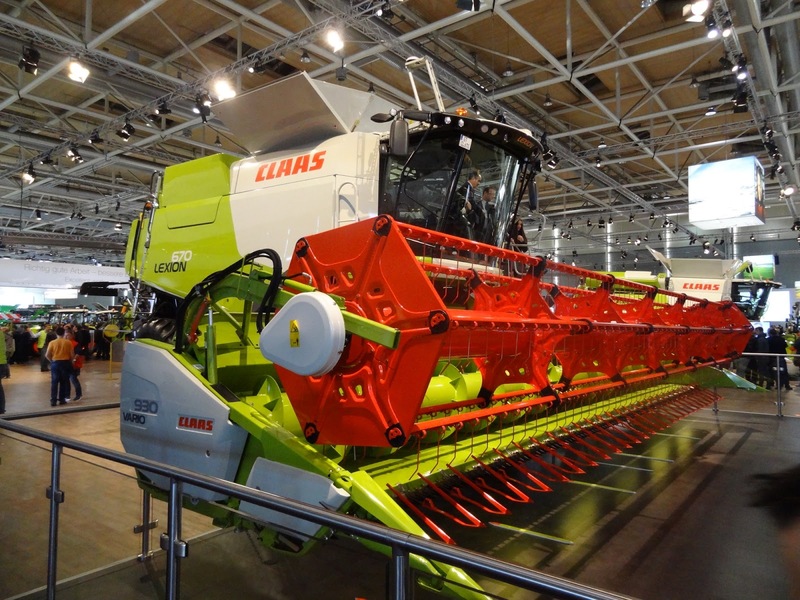 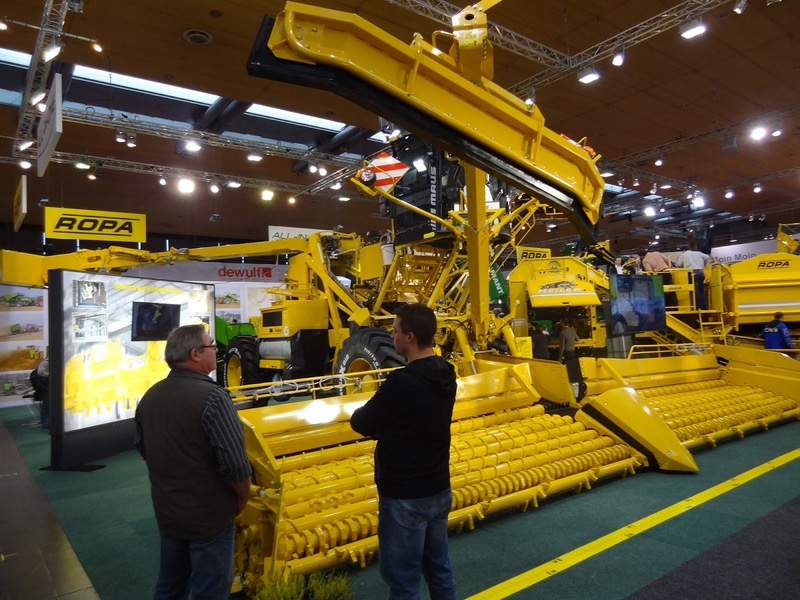 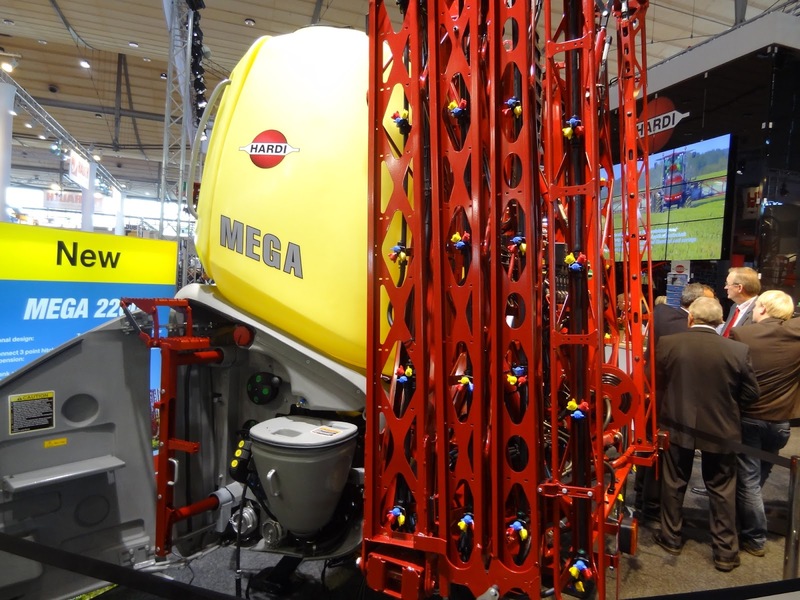 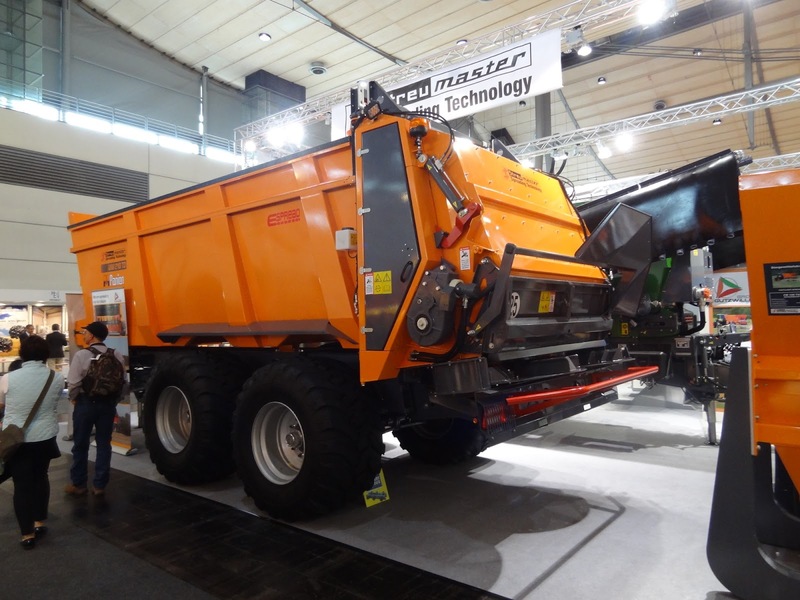 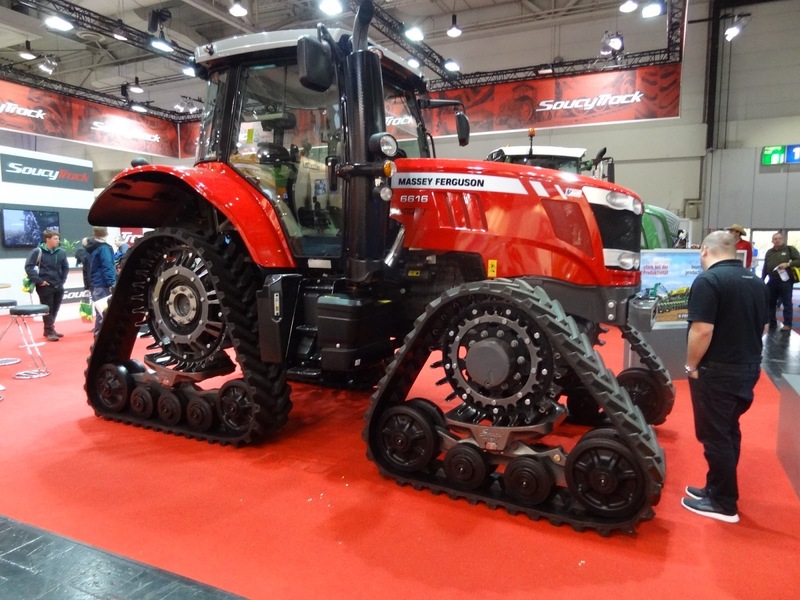 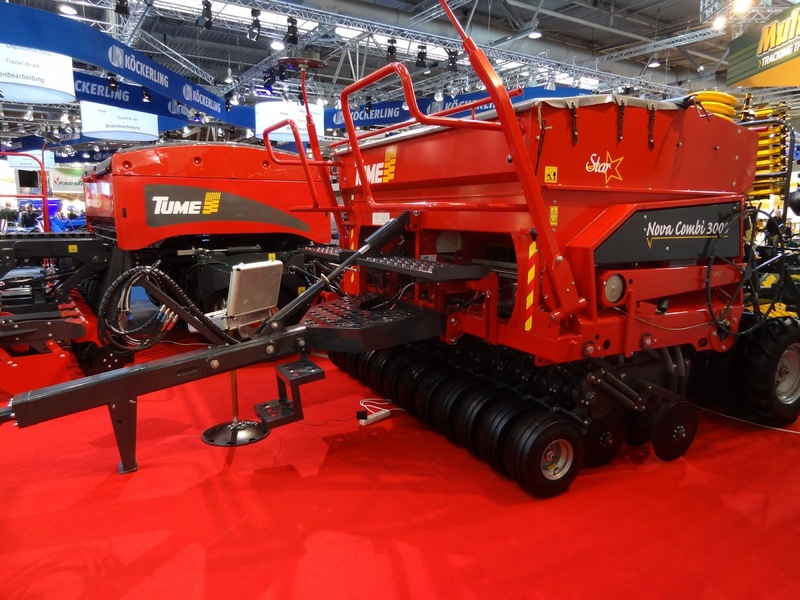 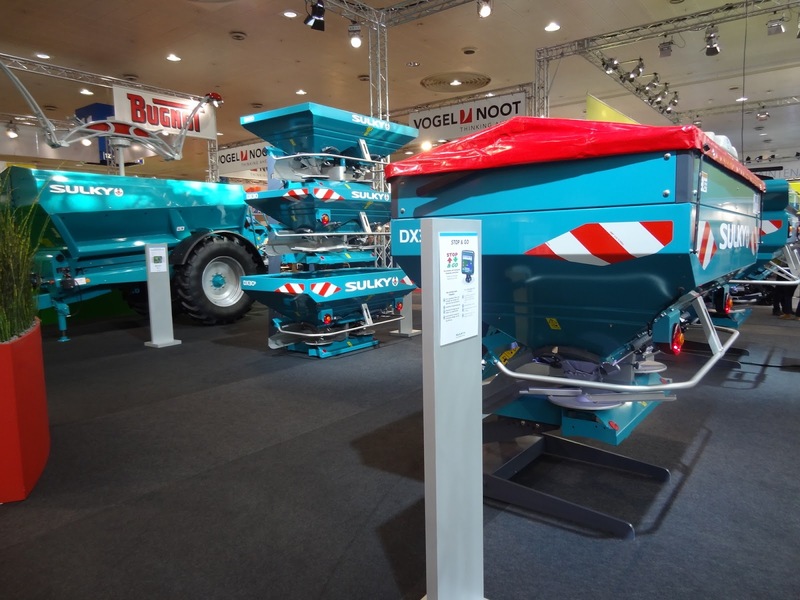 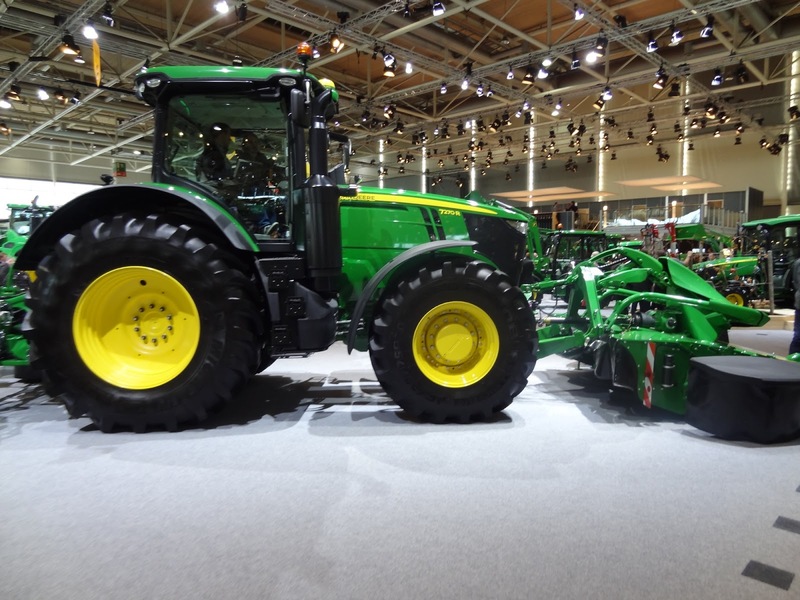 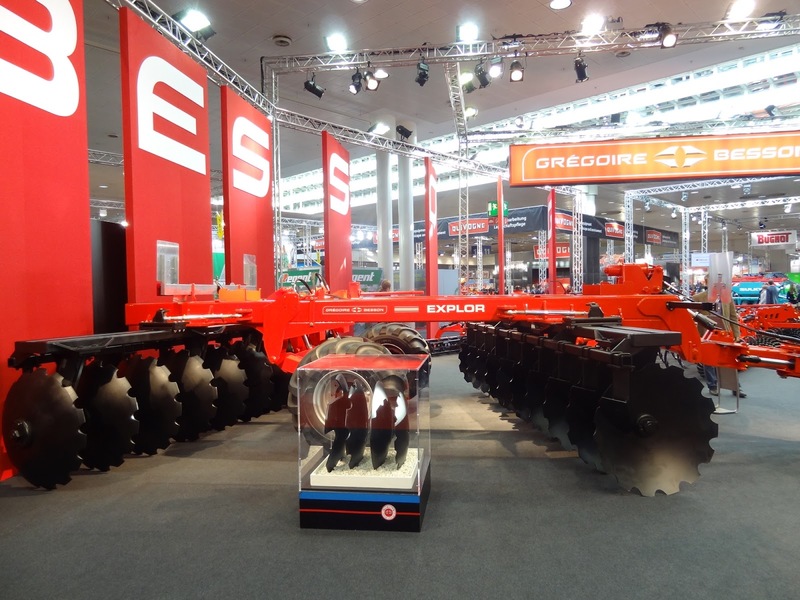 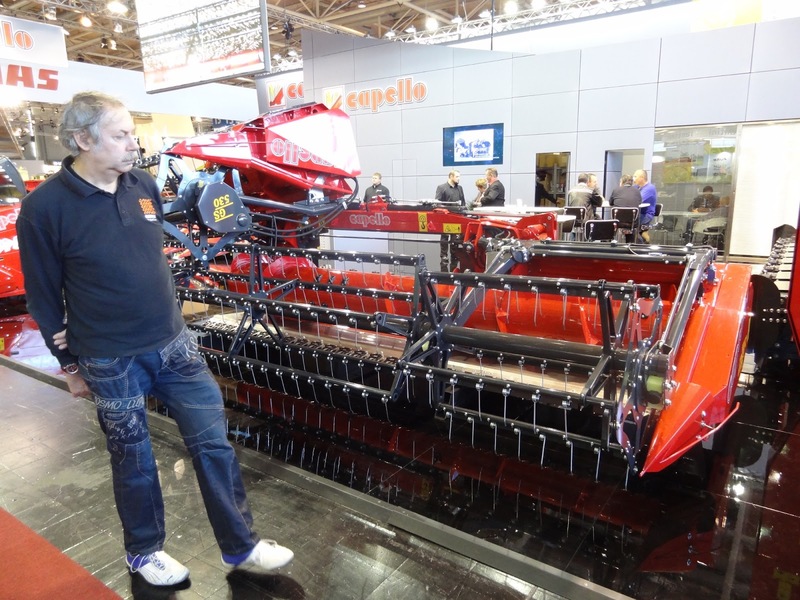 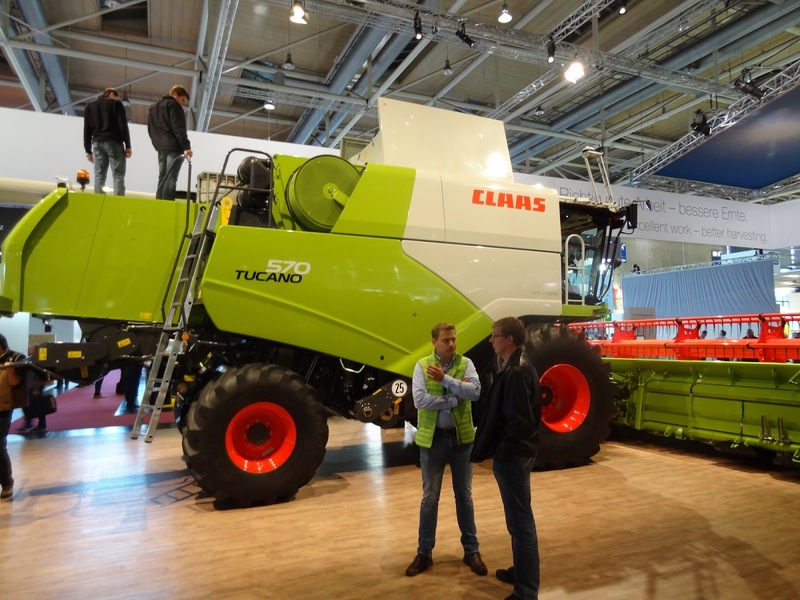 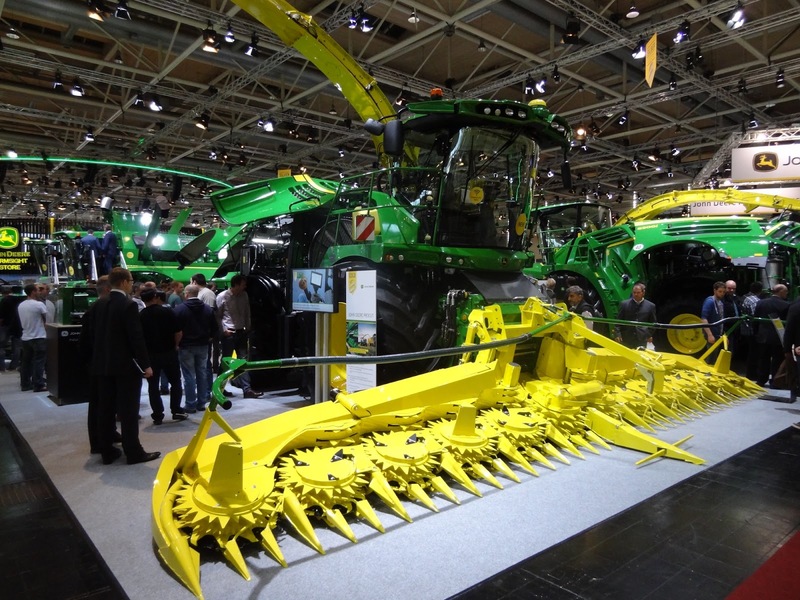 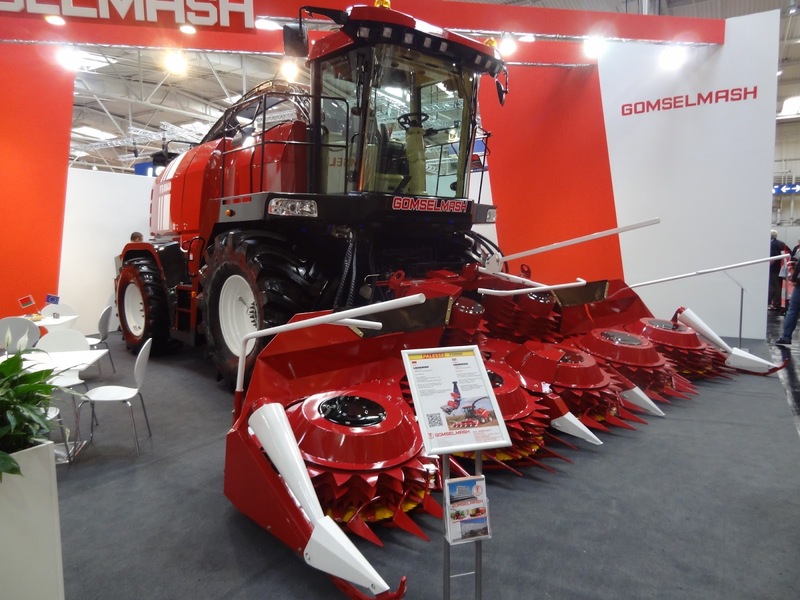 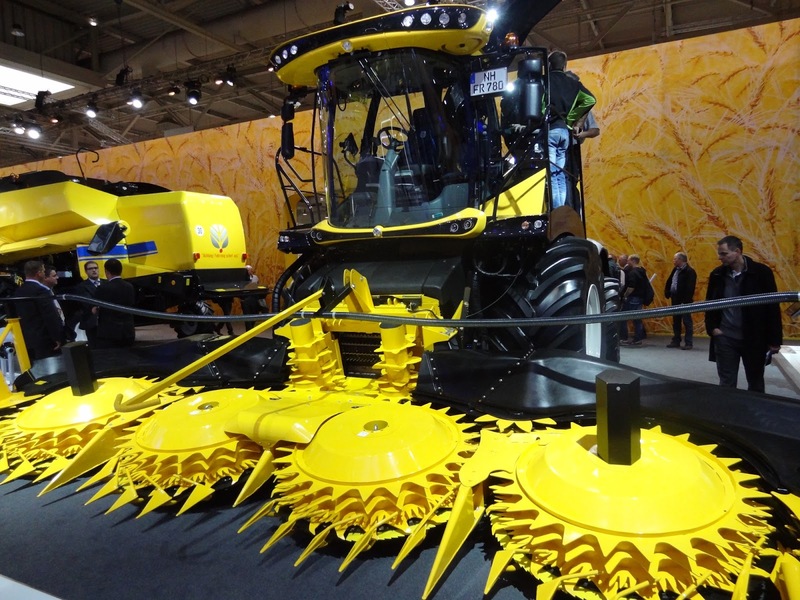 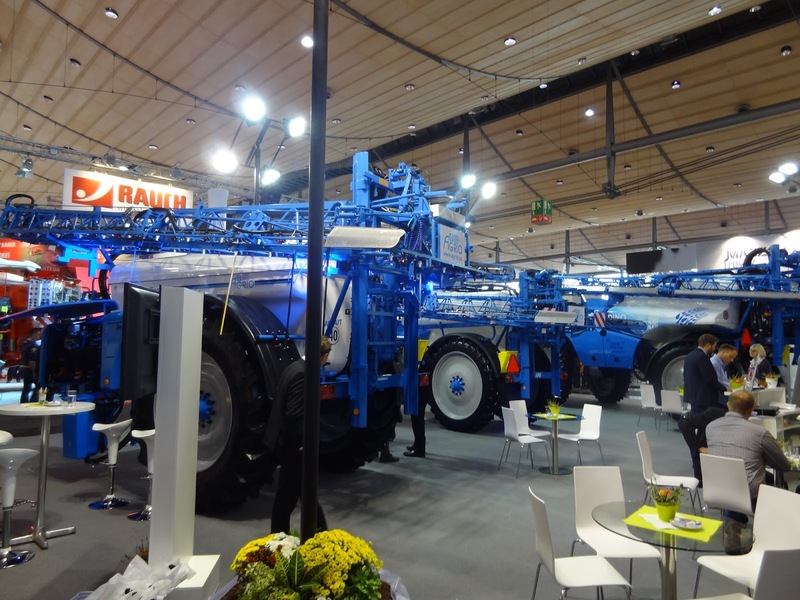 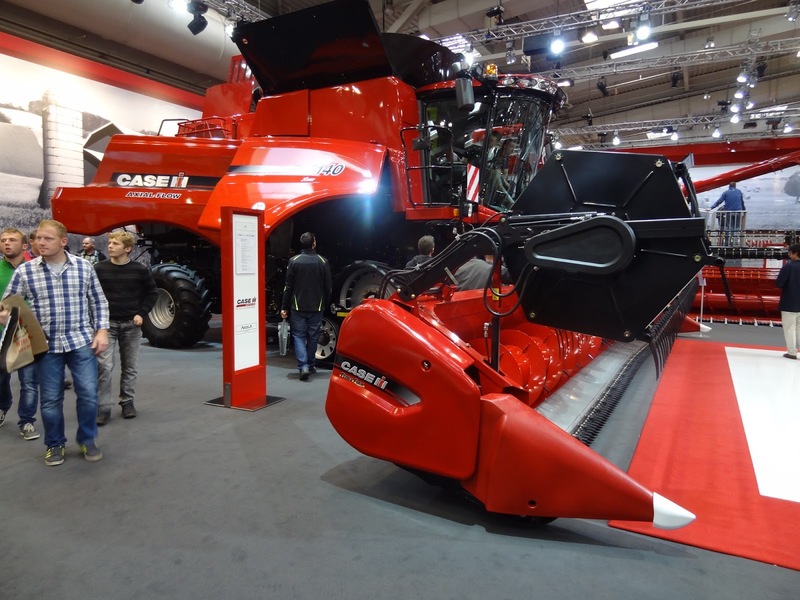 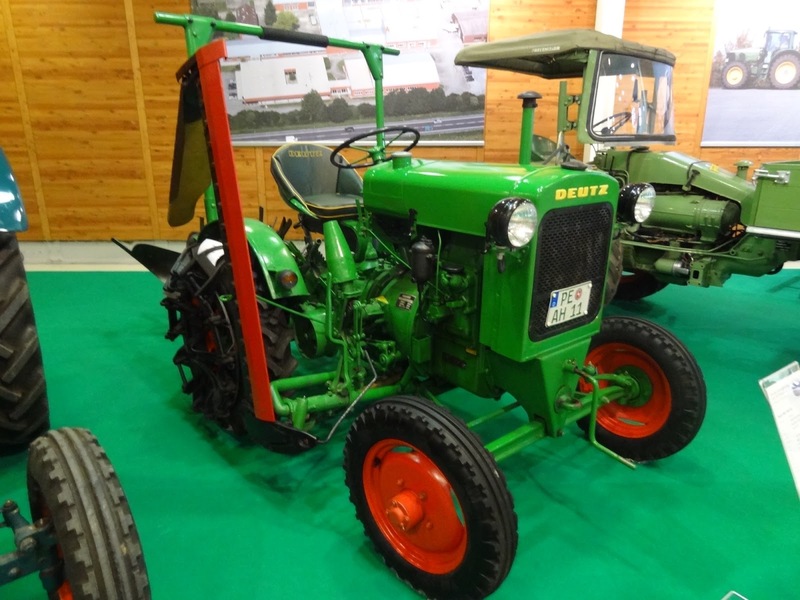 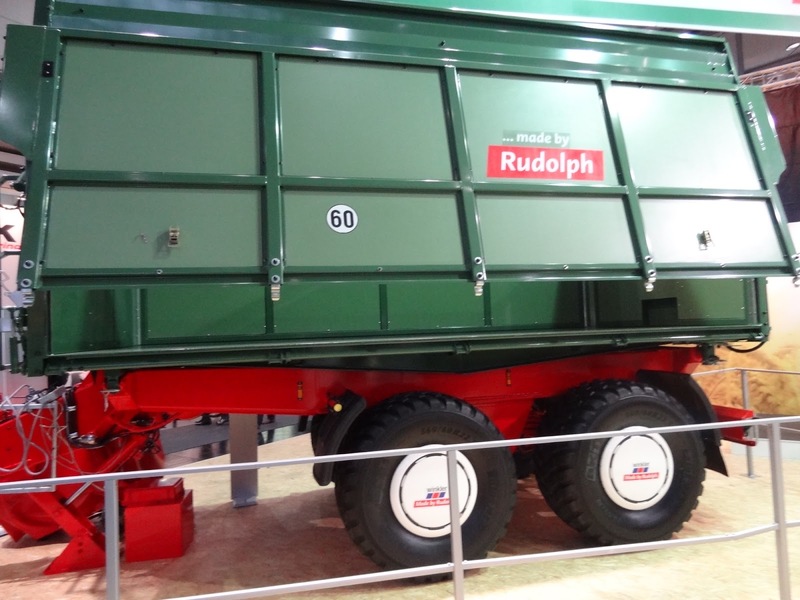 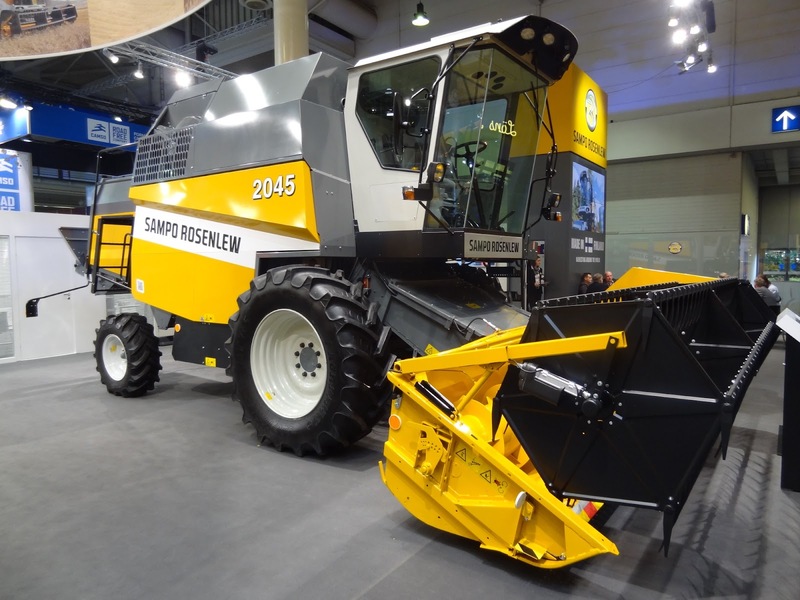 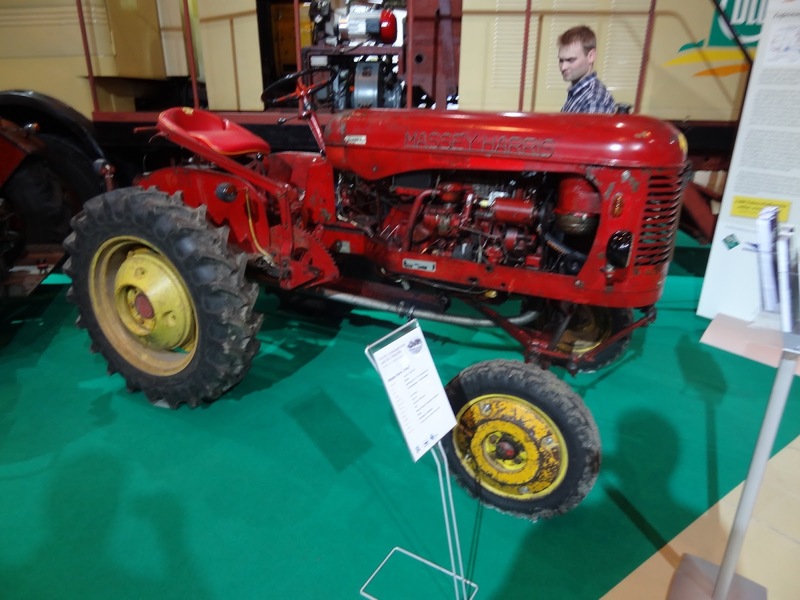 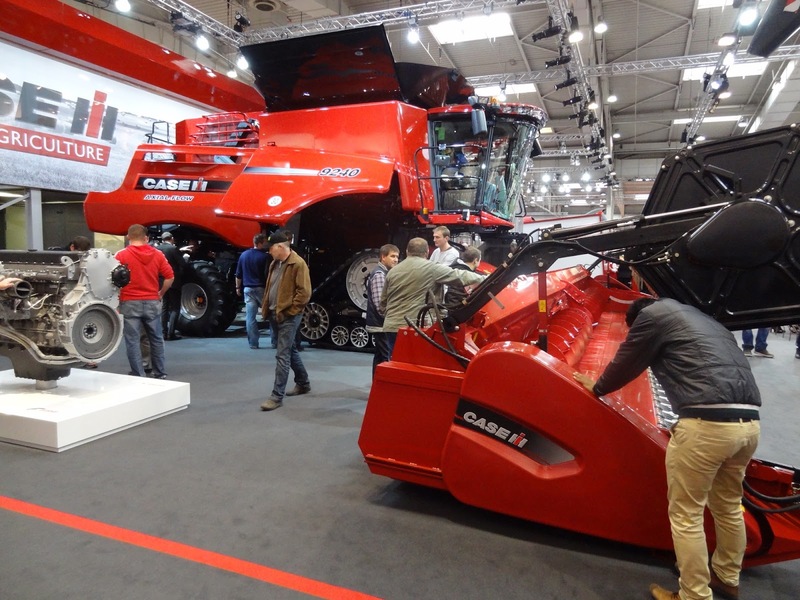 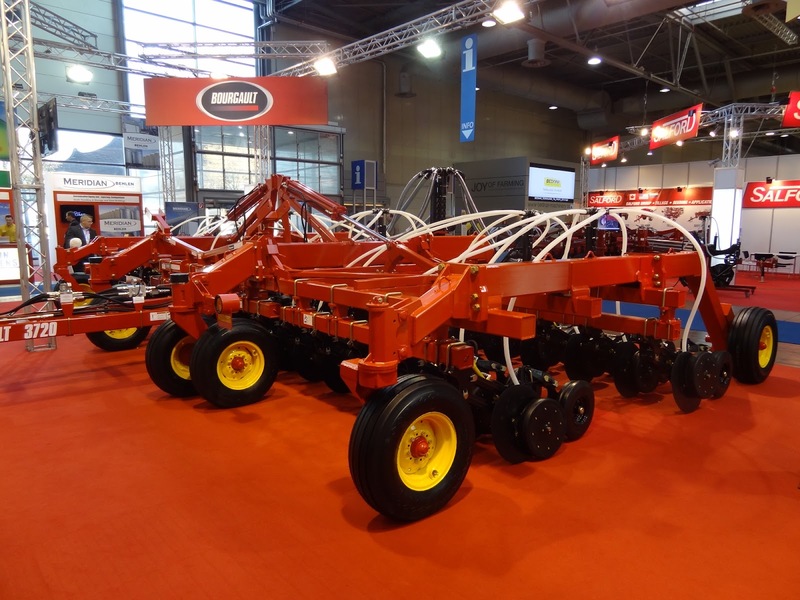 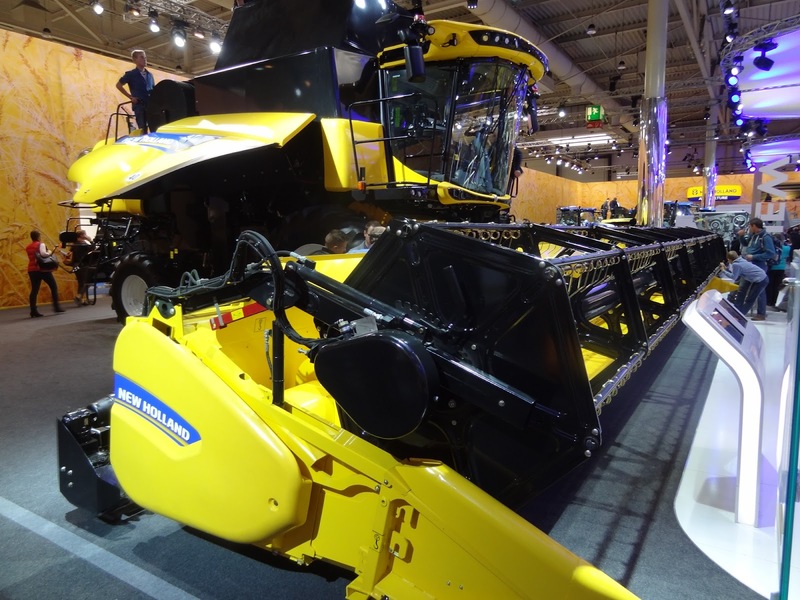 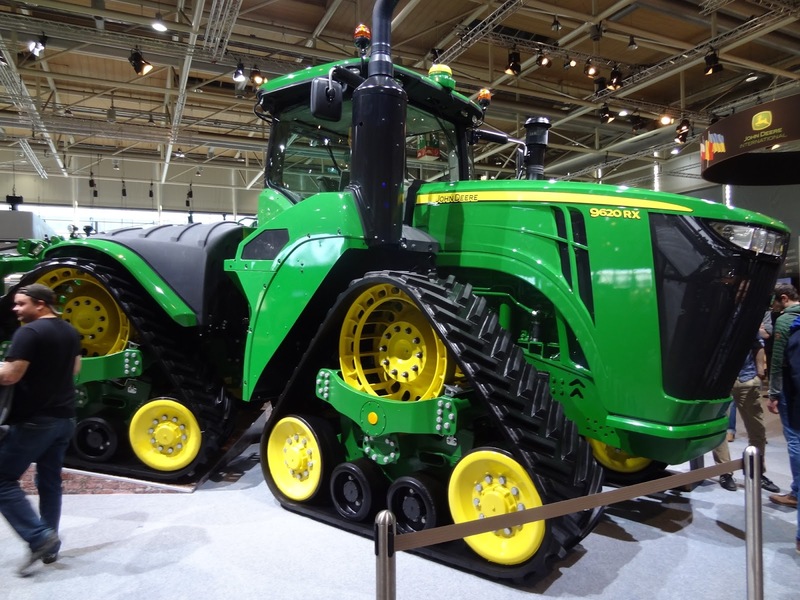 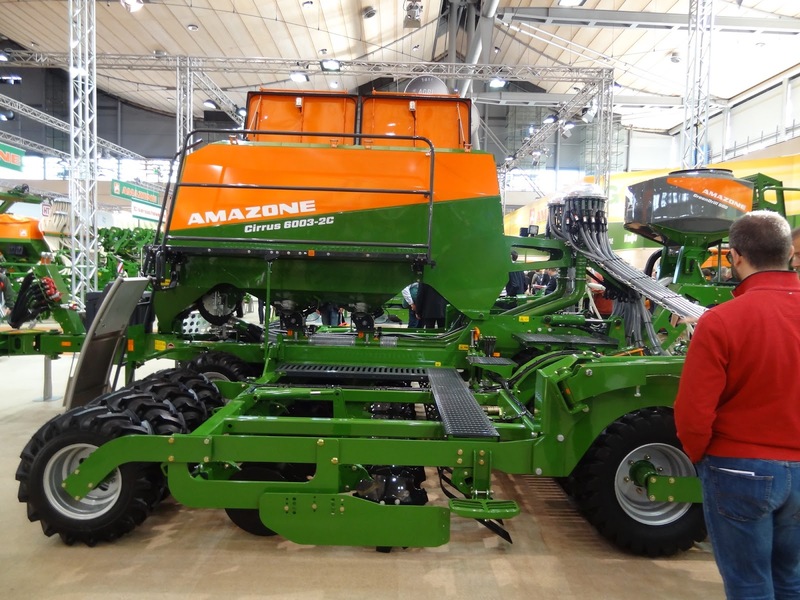 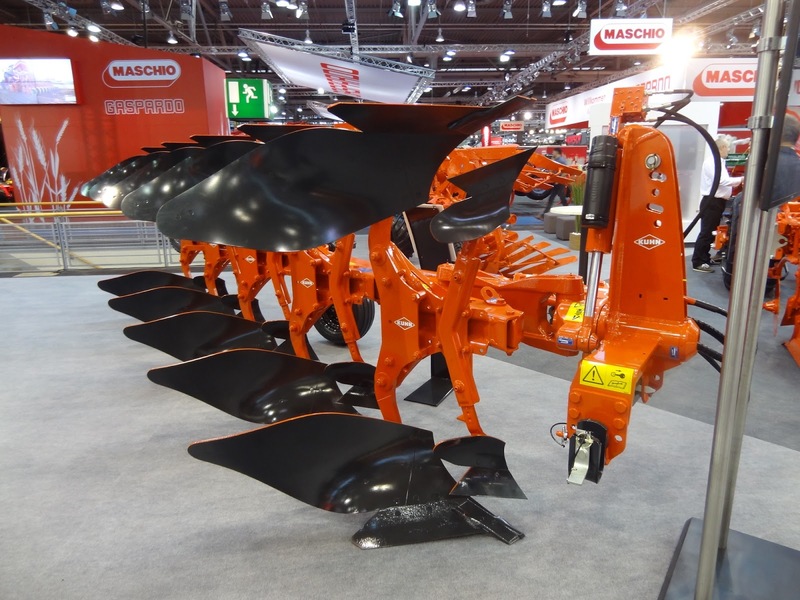 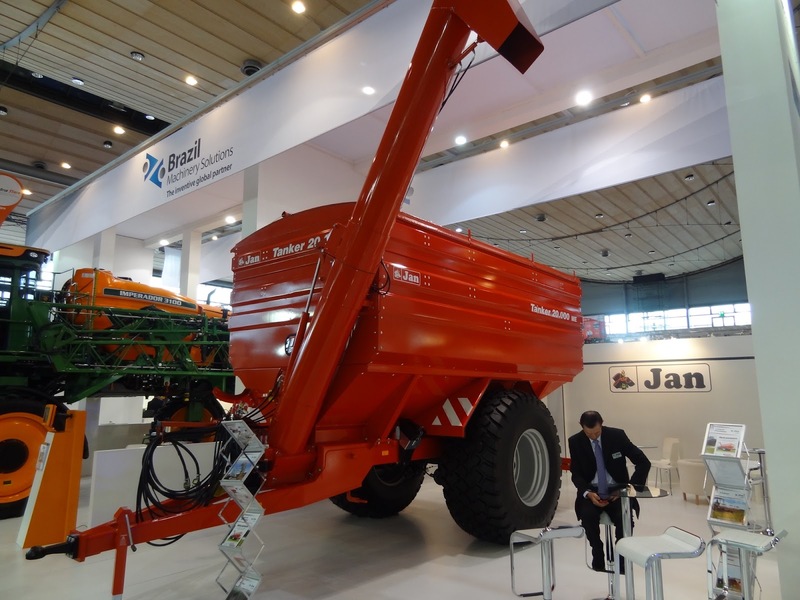 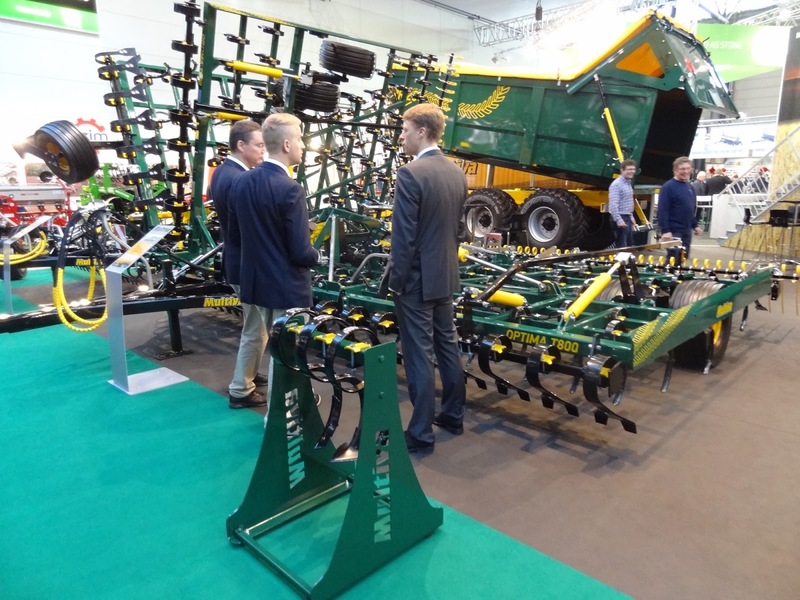 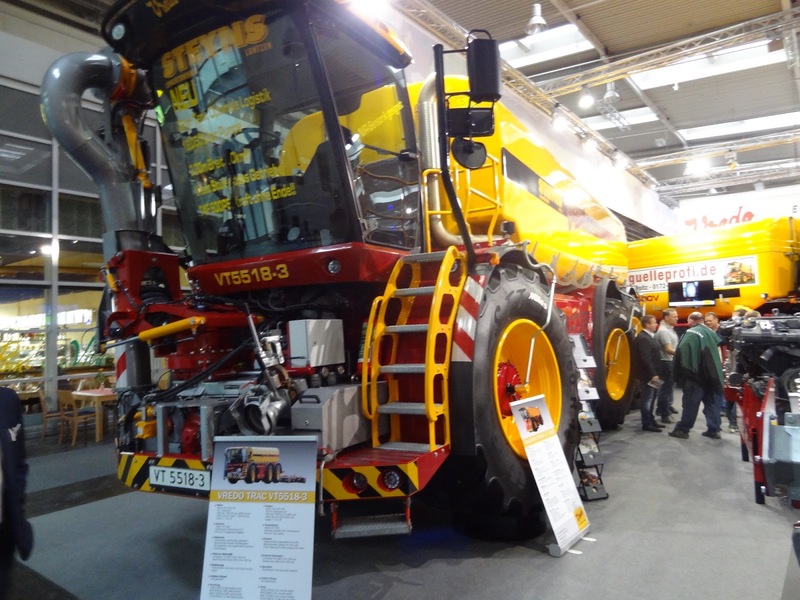 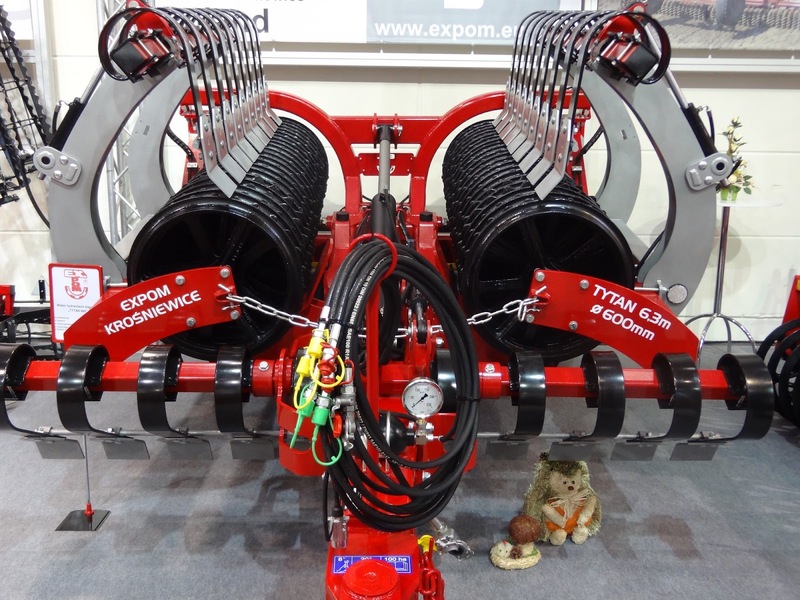 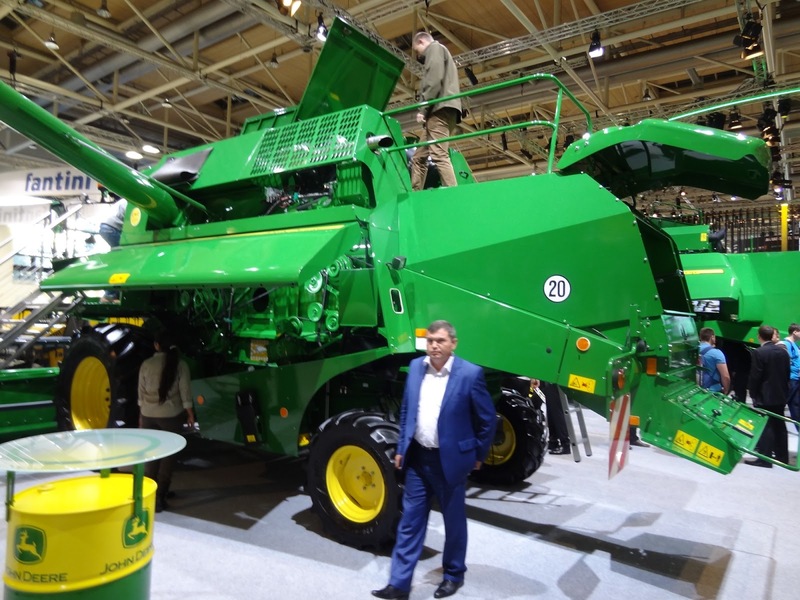 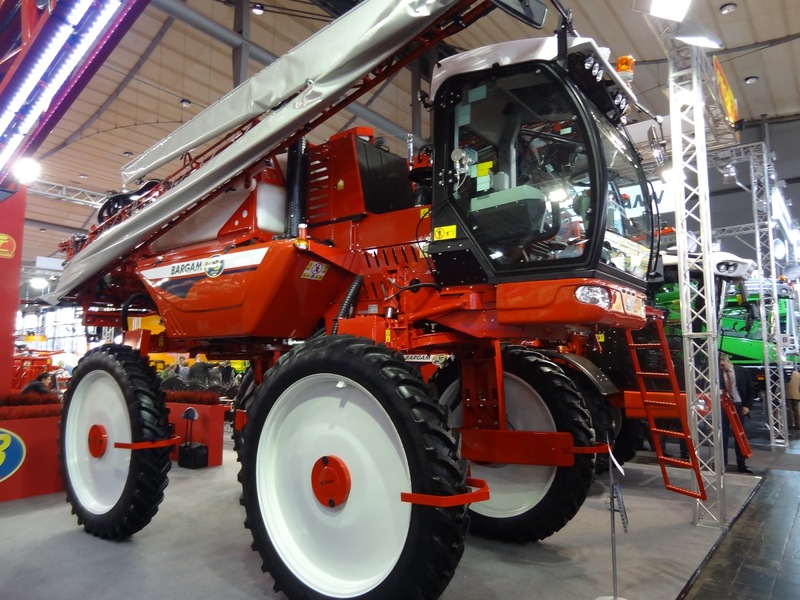 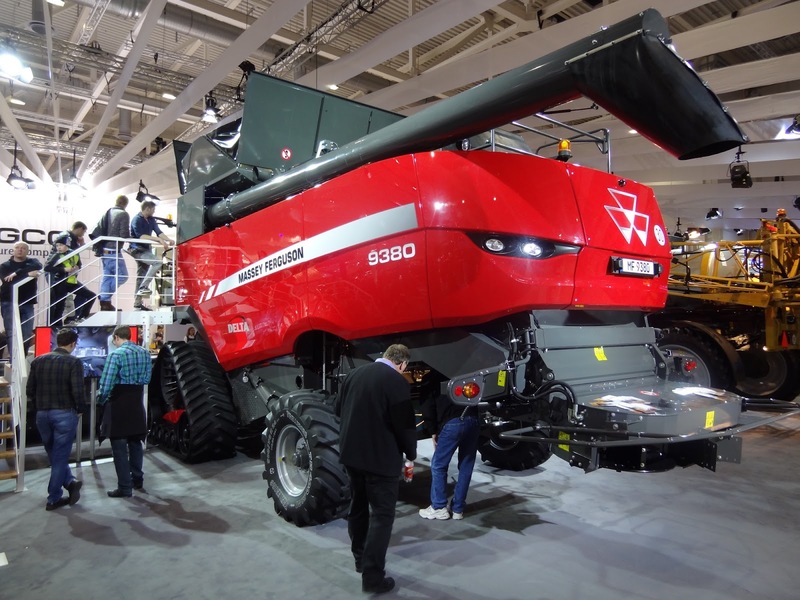 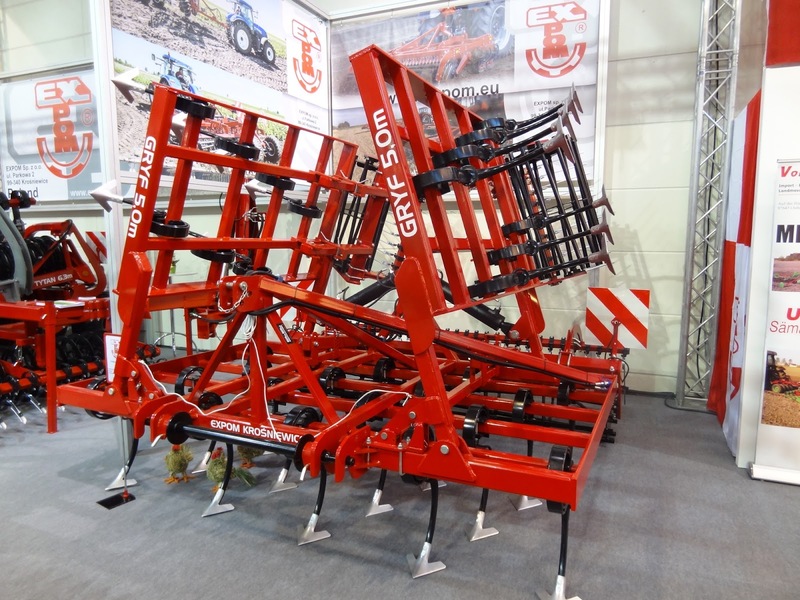 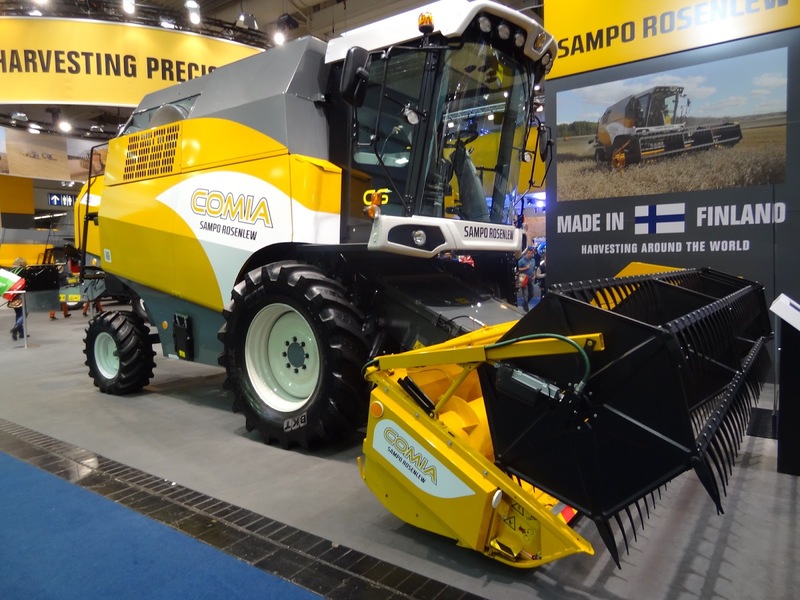 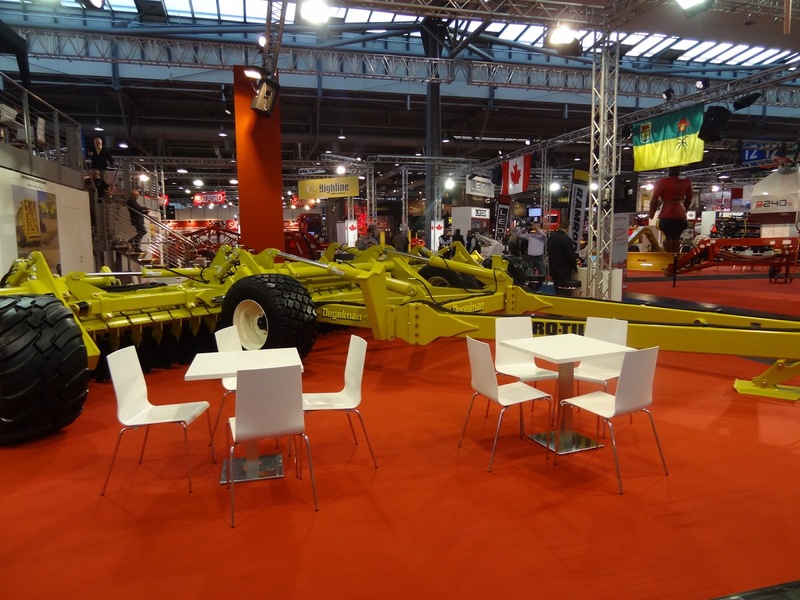 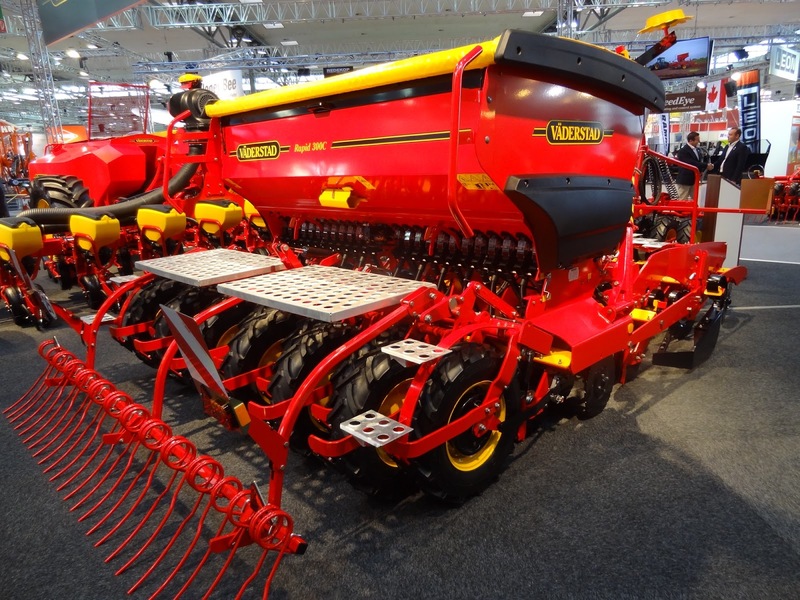 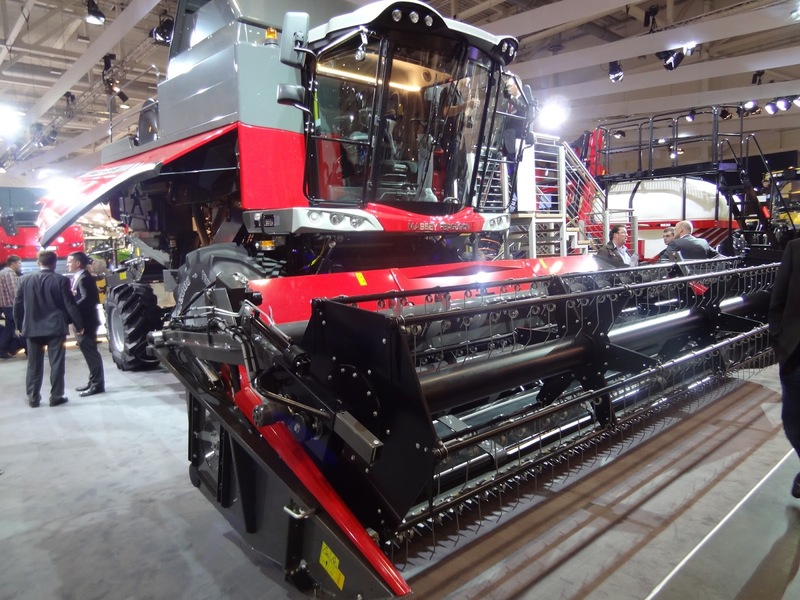 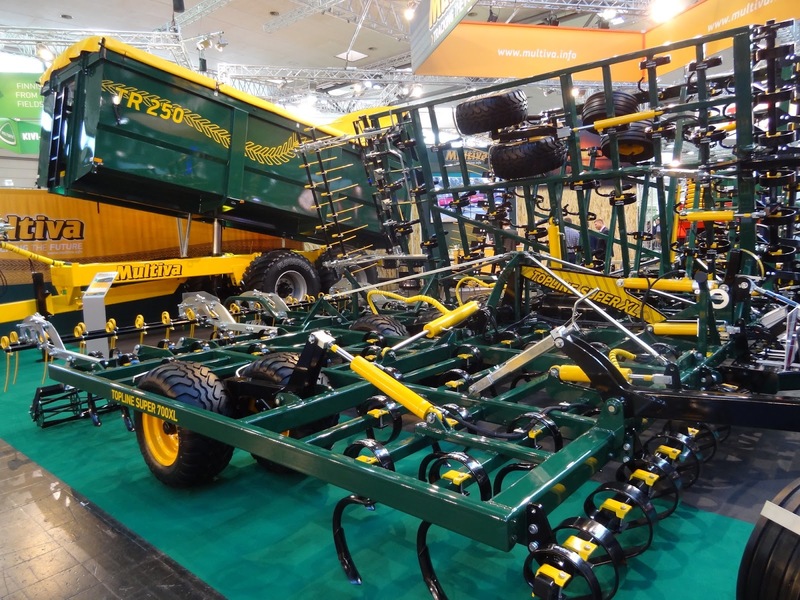 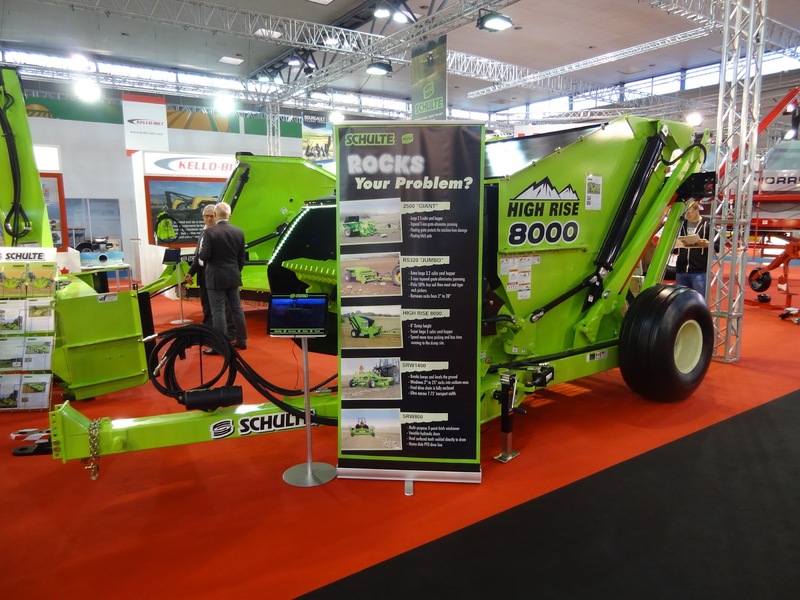 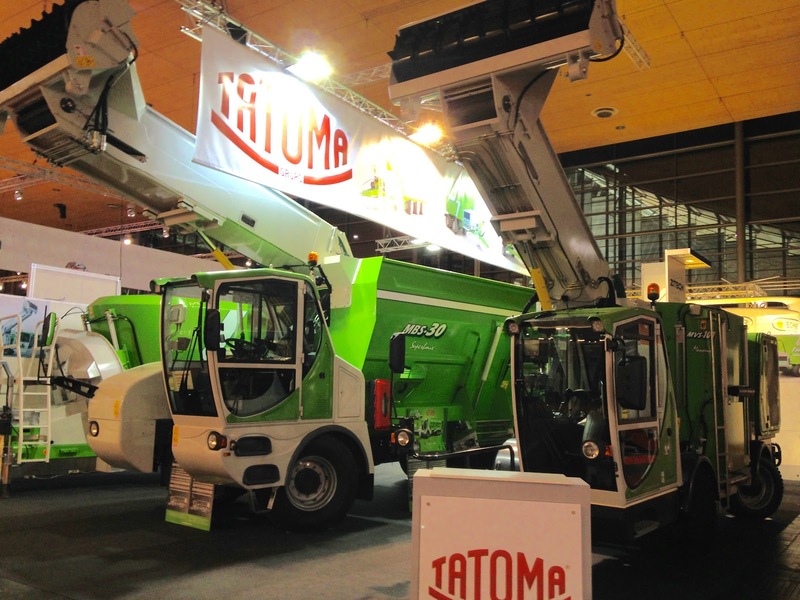 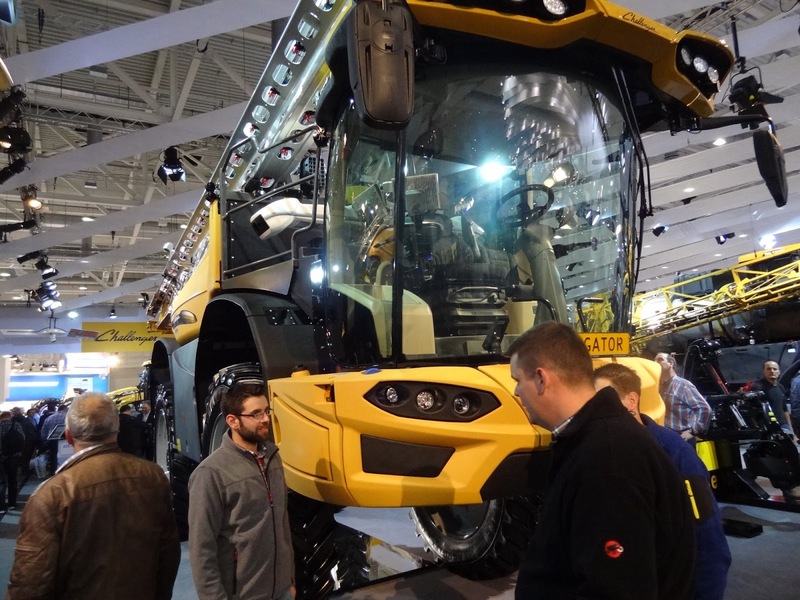 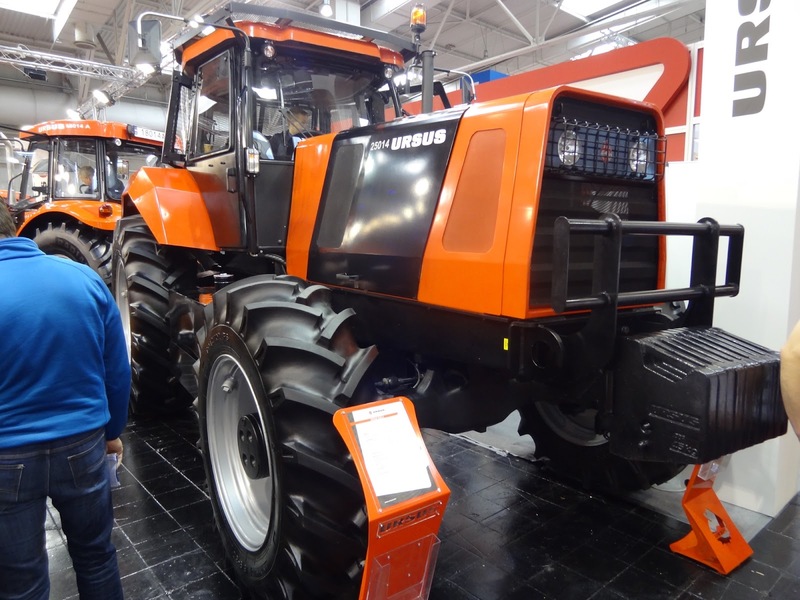 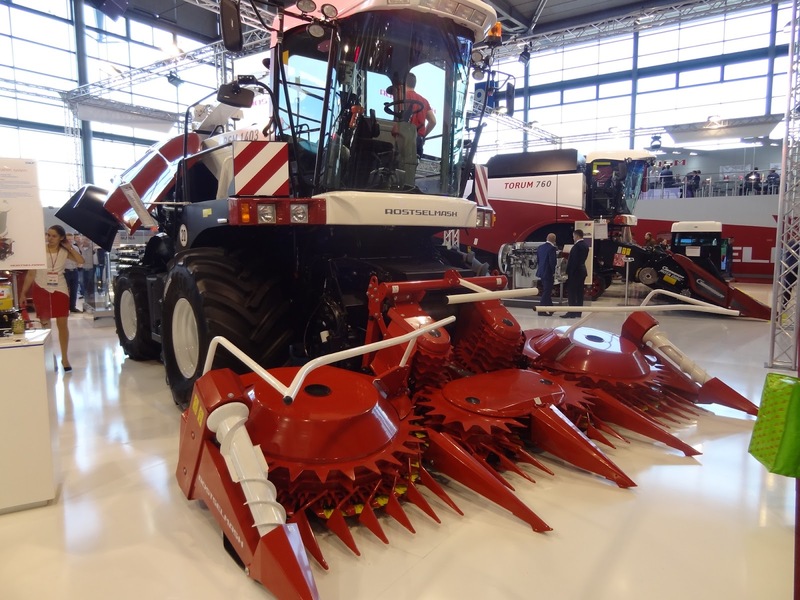 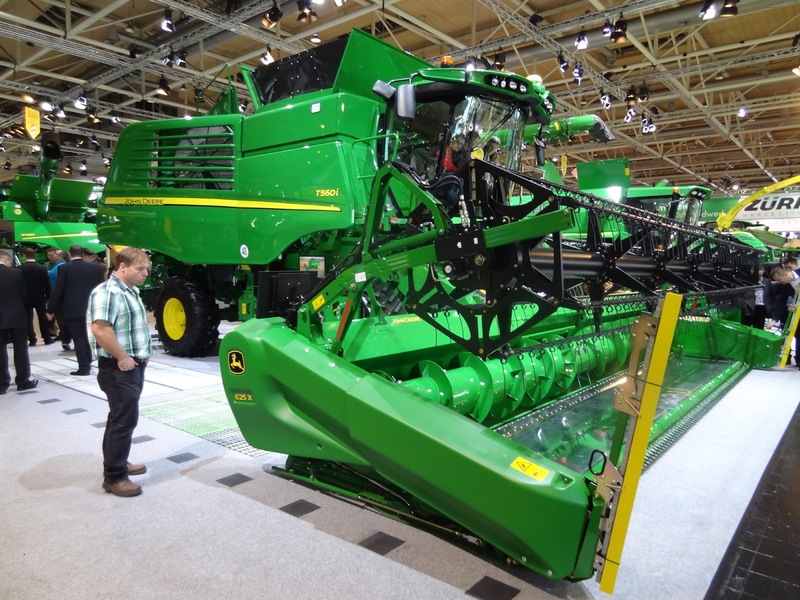 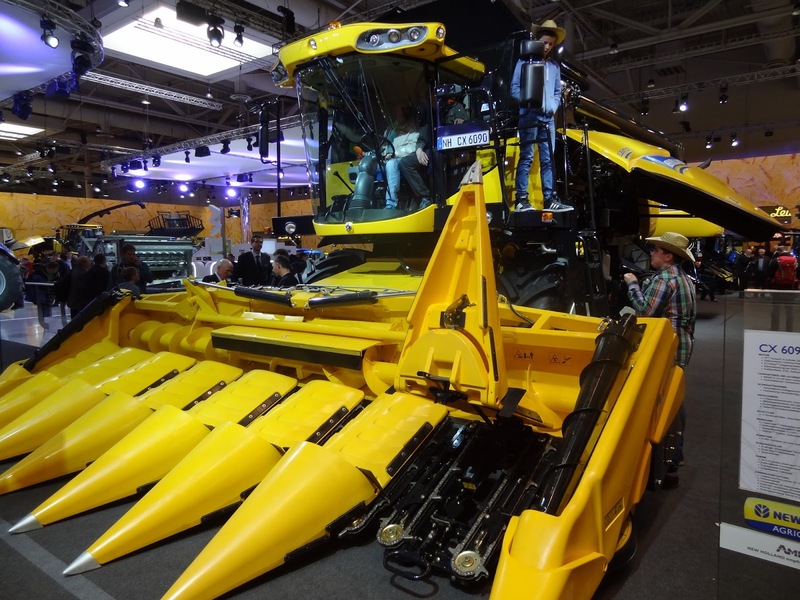 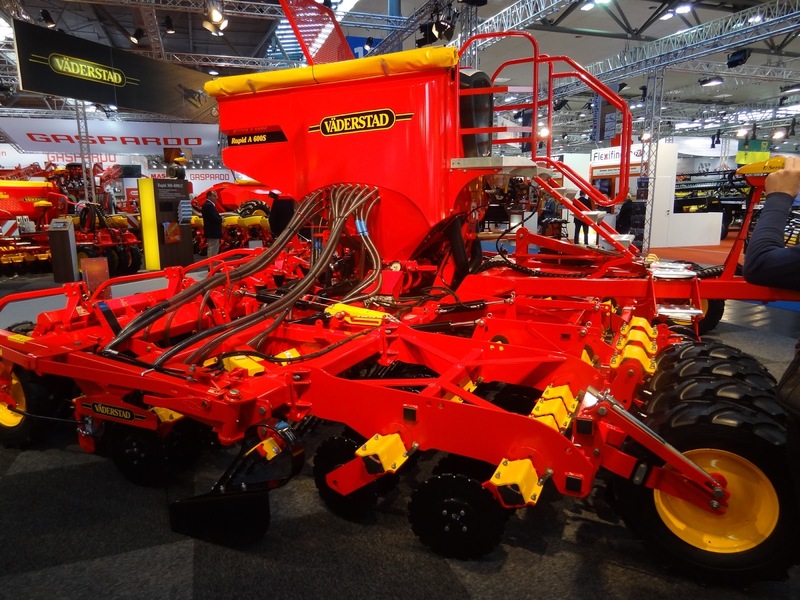 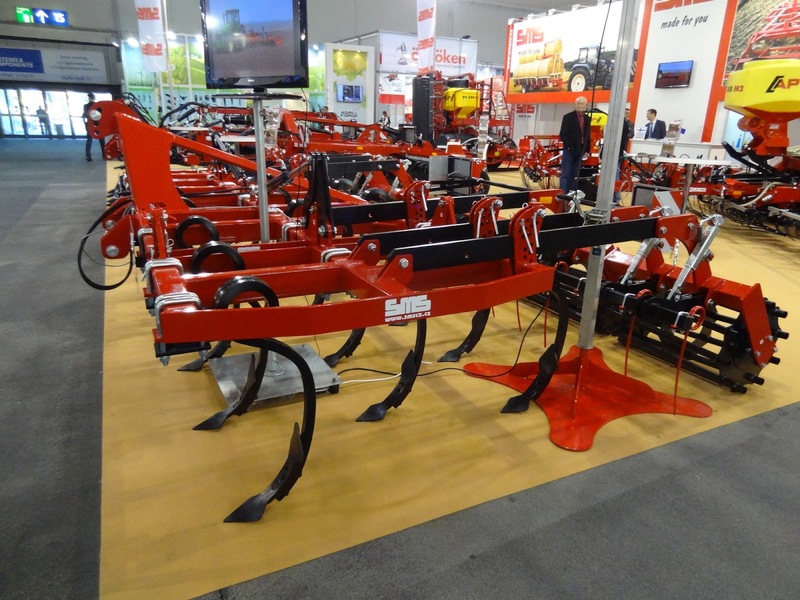 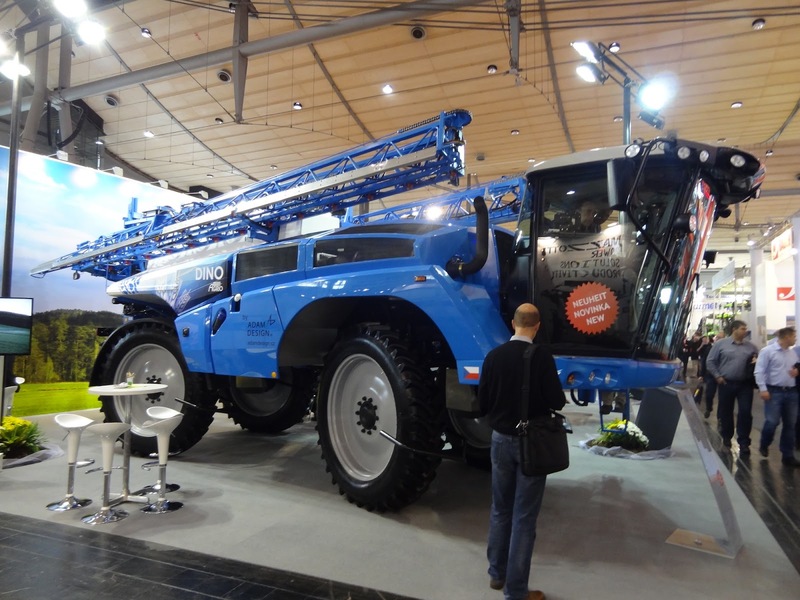 The largest farm machinery show in the world got around 450,000 visitors. 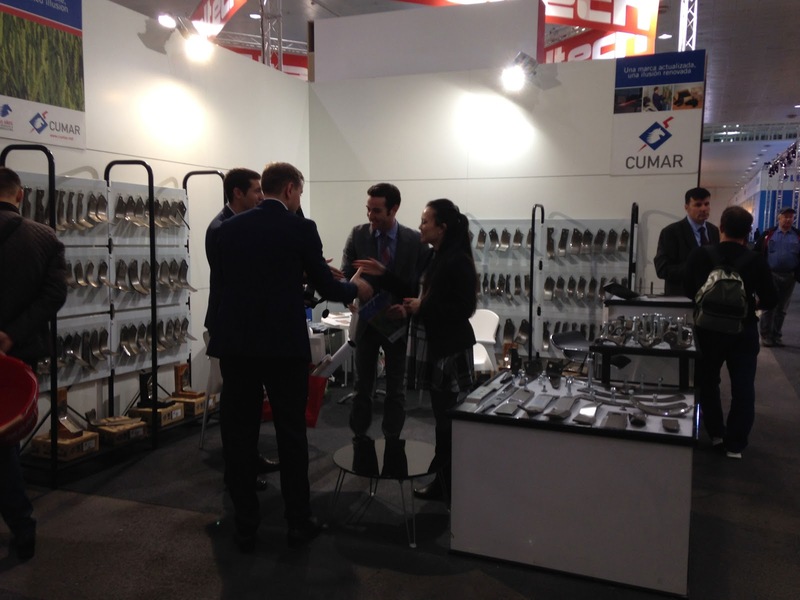 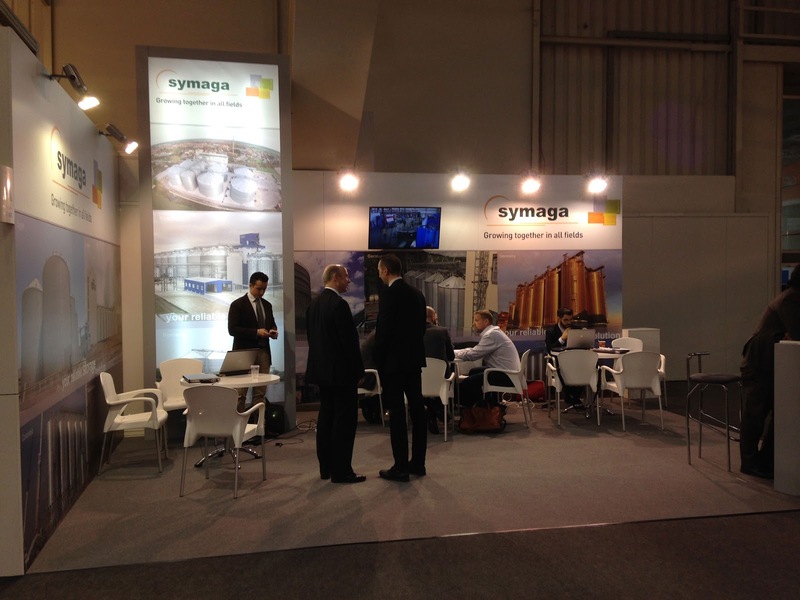 We would like to emphasize that many exhibitors come from China and Turkey (over 100 from both countries). 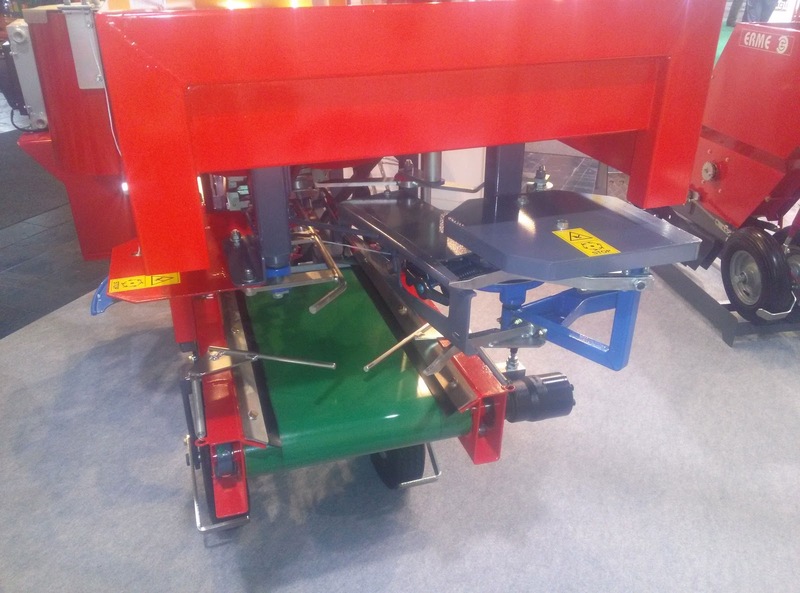 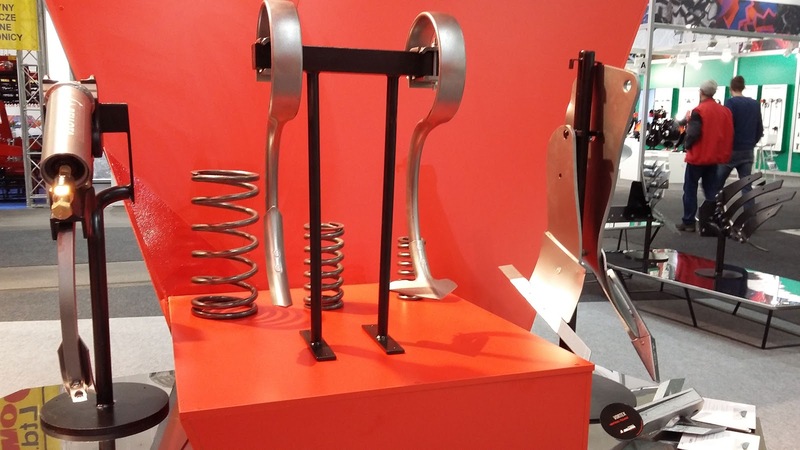 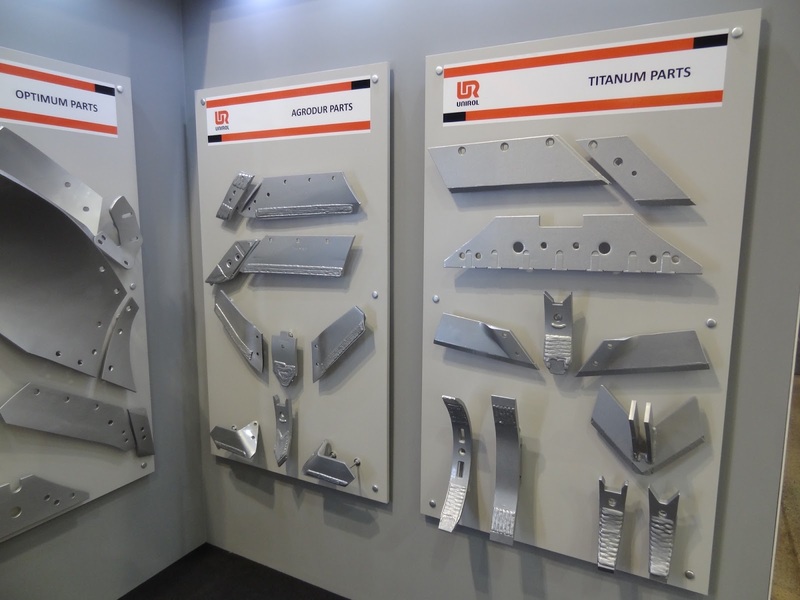 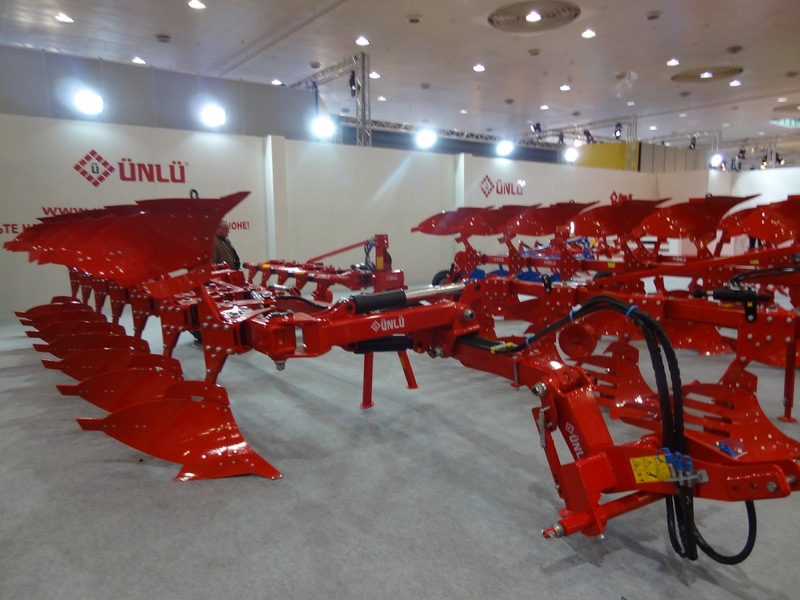 Chinese manufacturers have been working in order to develop machinery that meets European needs and regarding Turkish machines gives the sensation of having high quality. 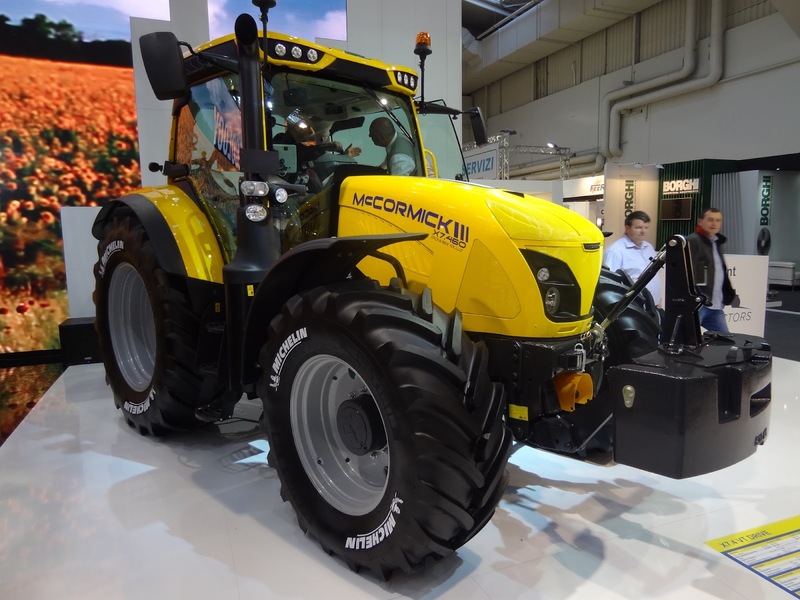 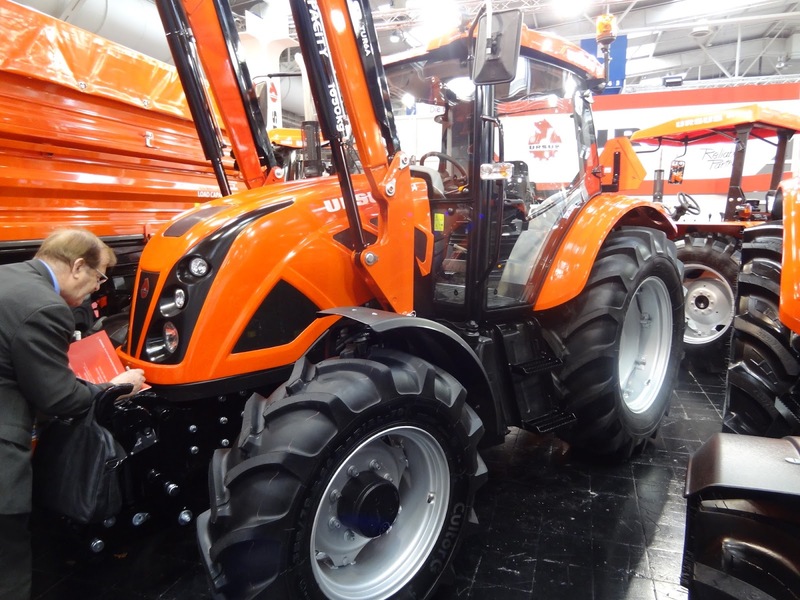 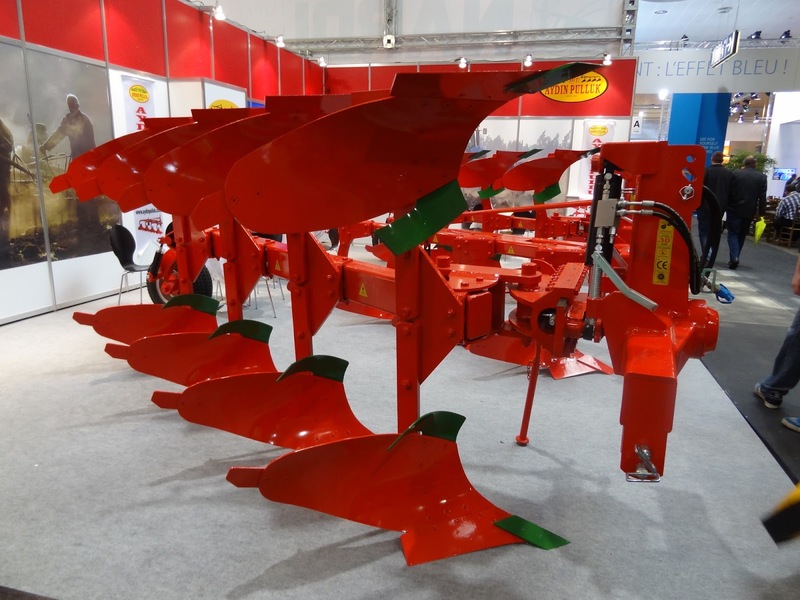 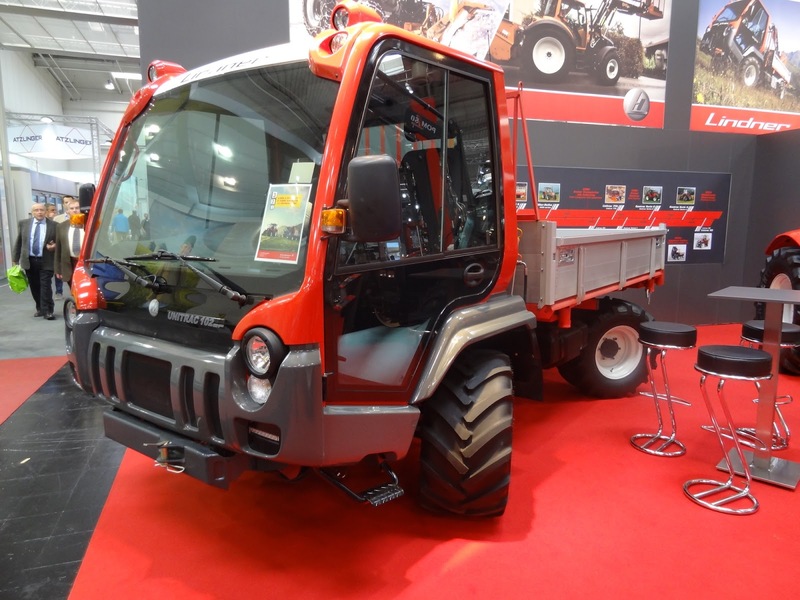 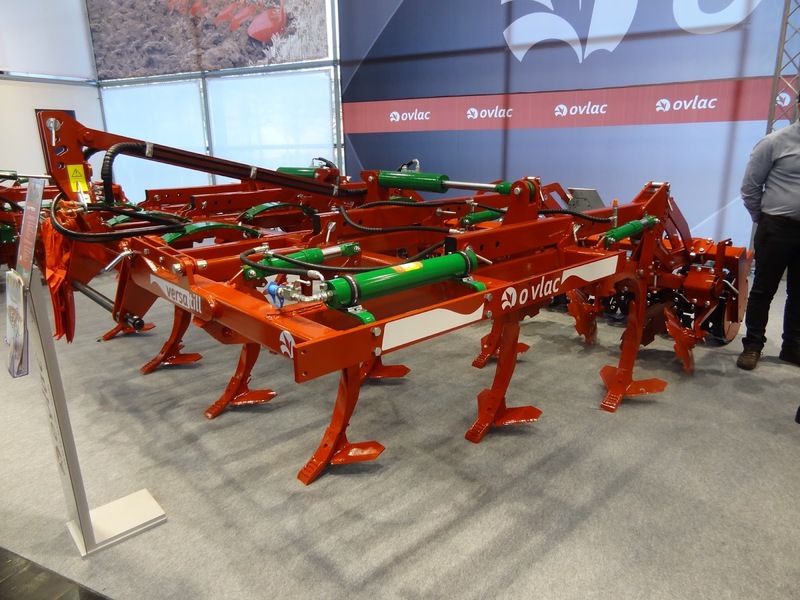 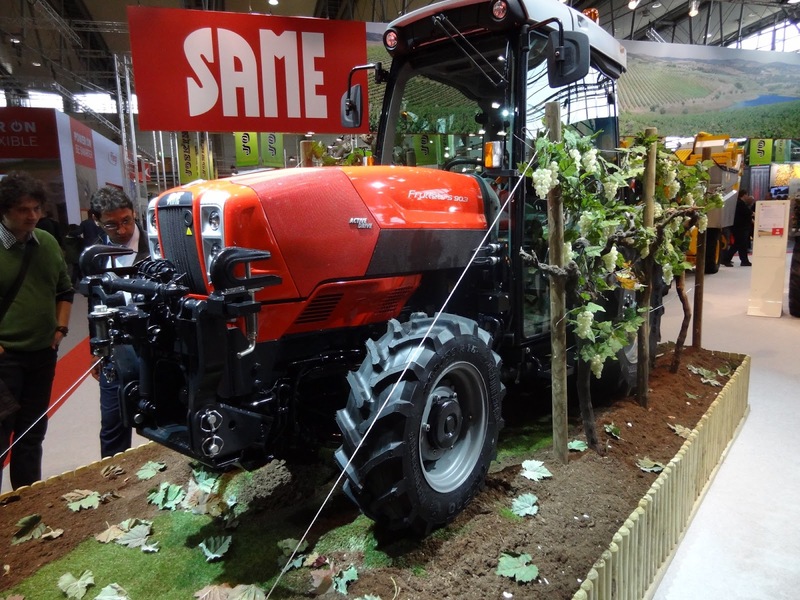 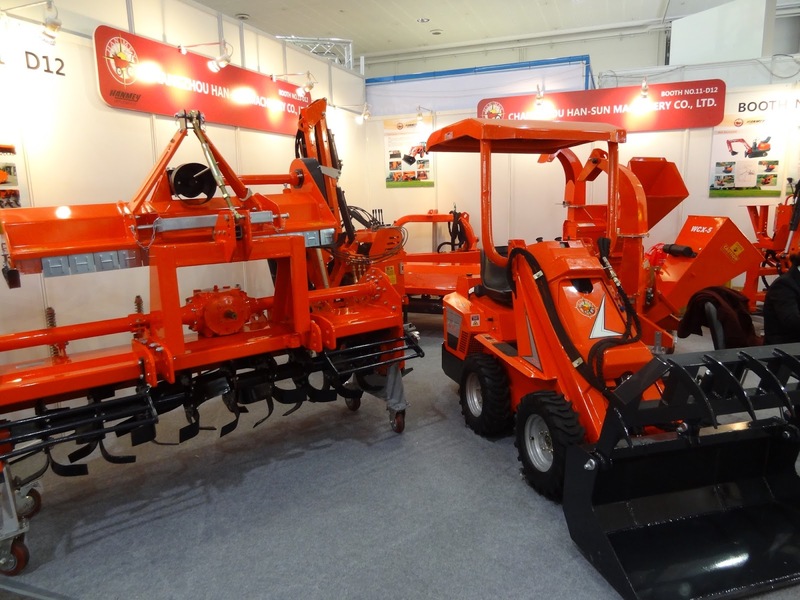 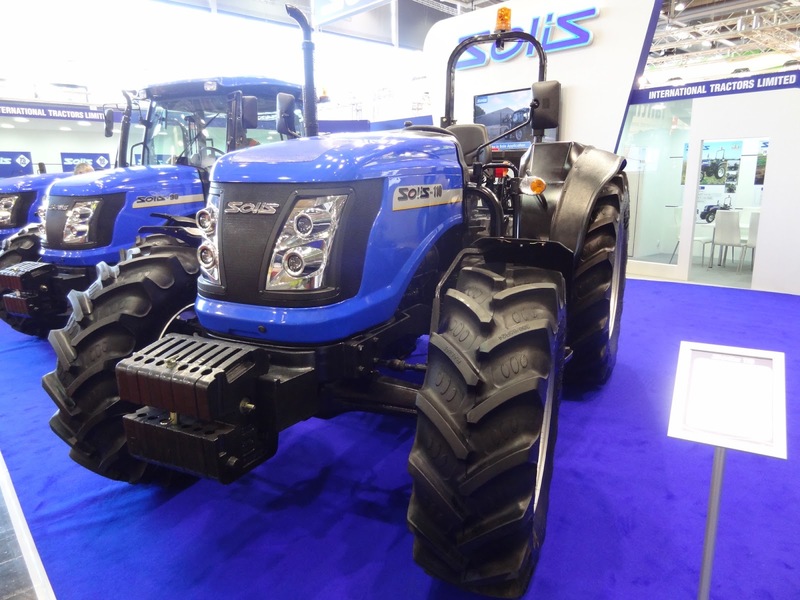 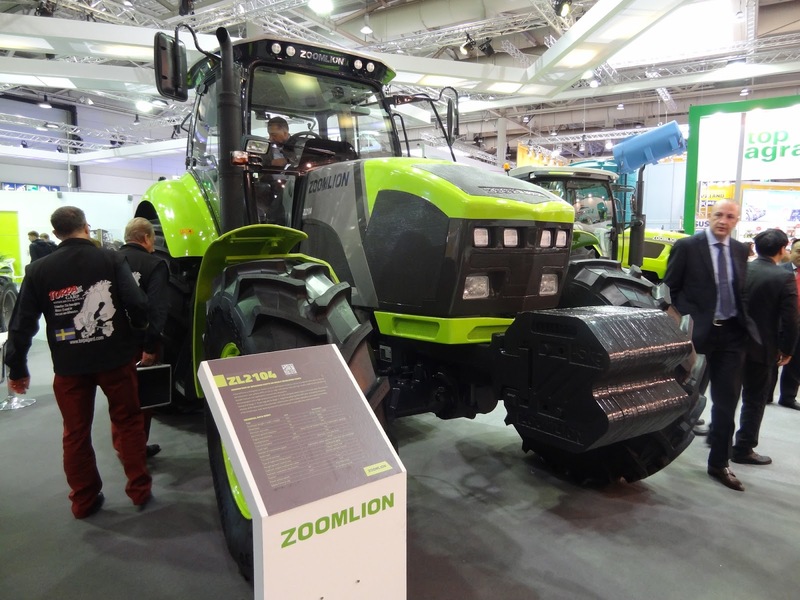 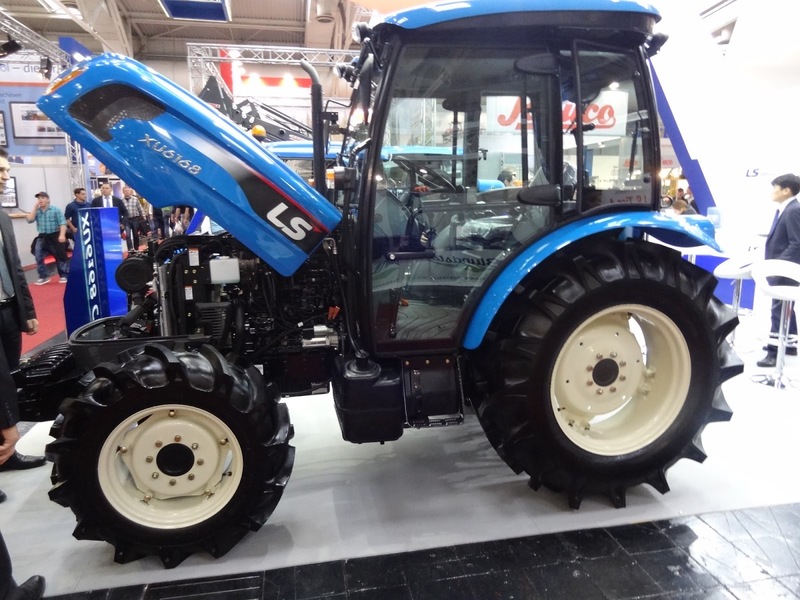 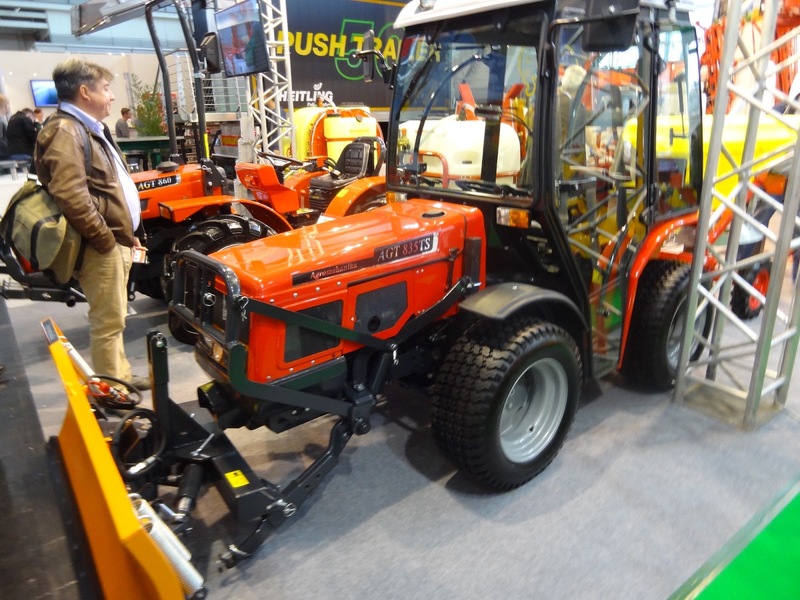 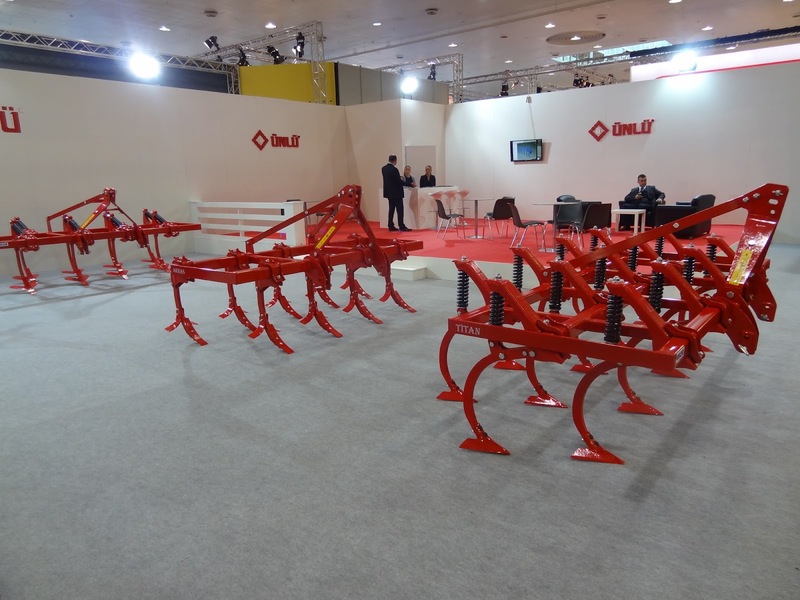 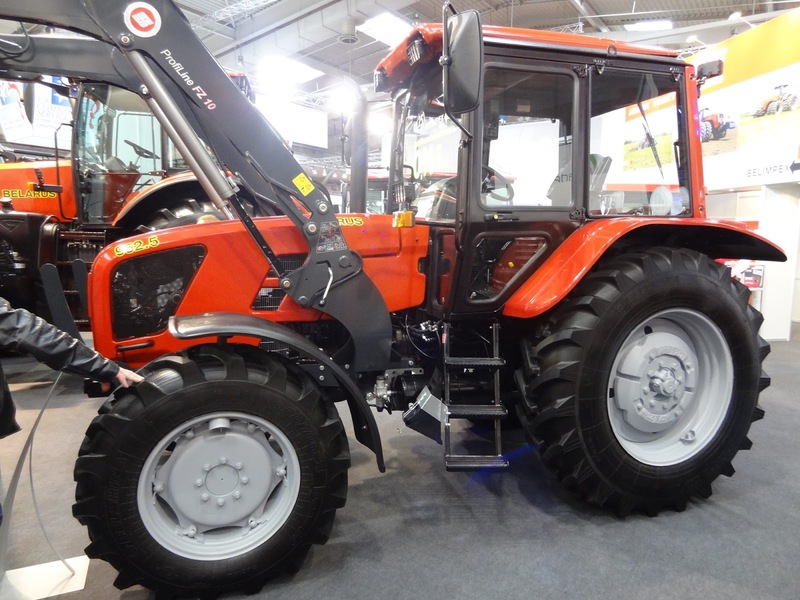 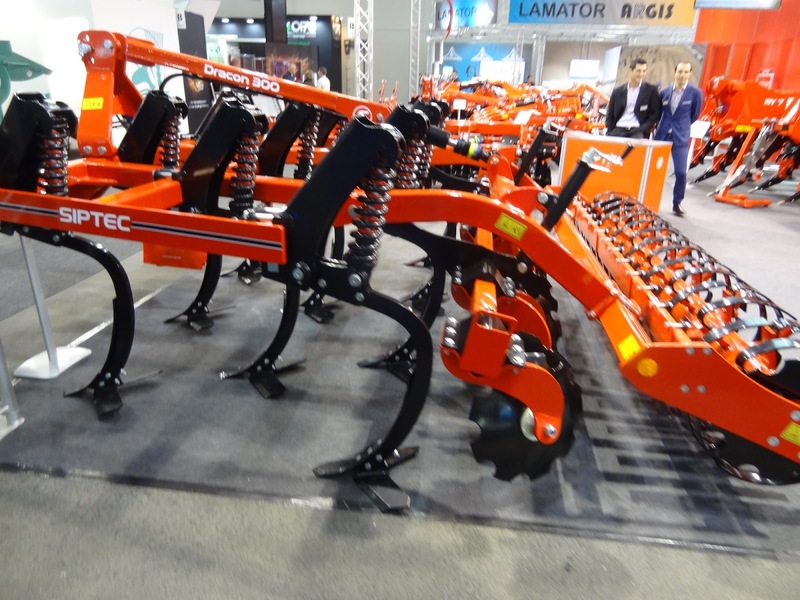 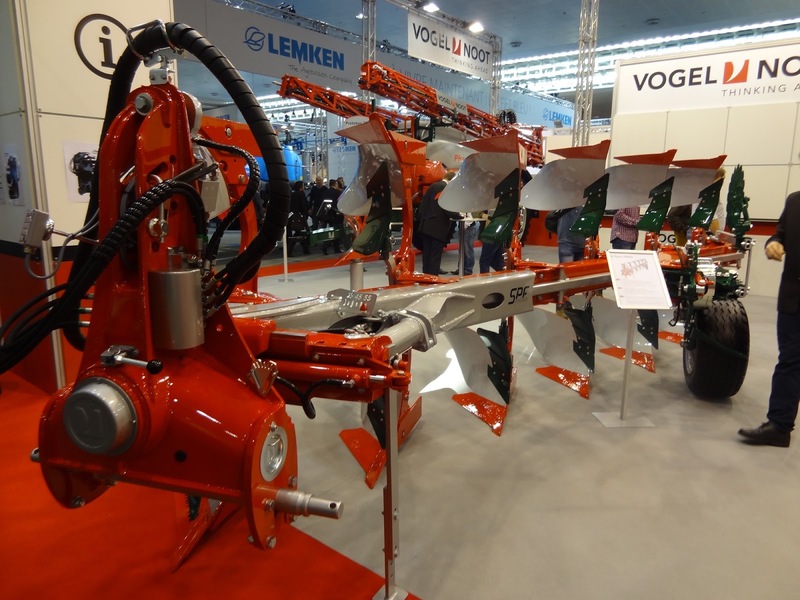 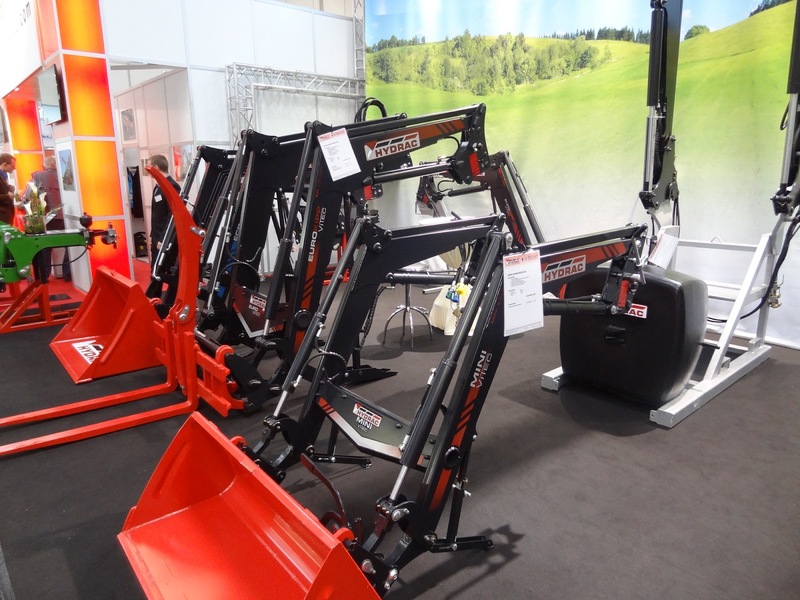 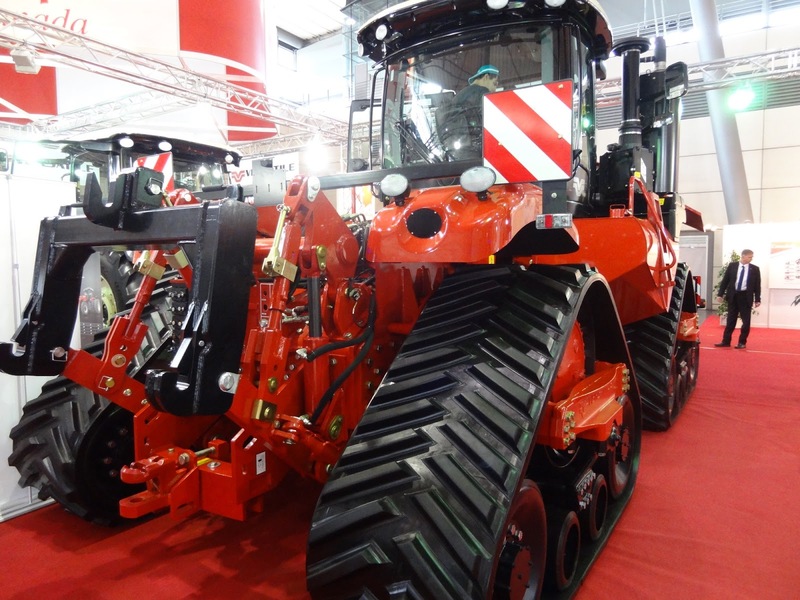 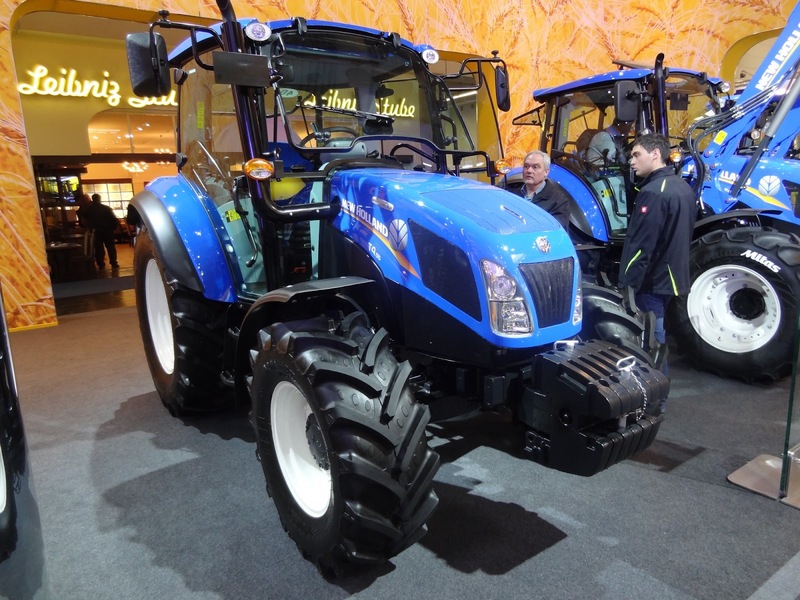 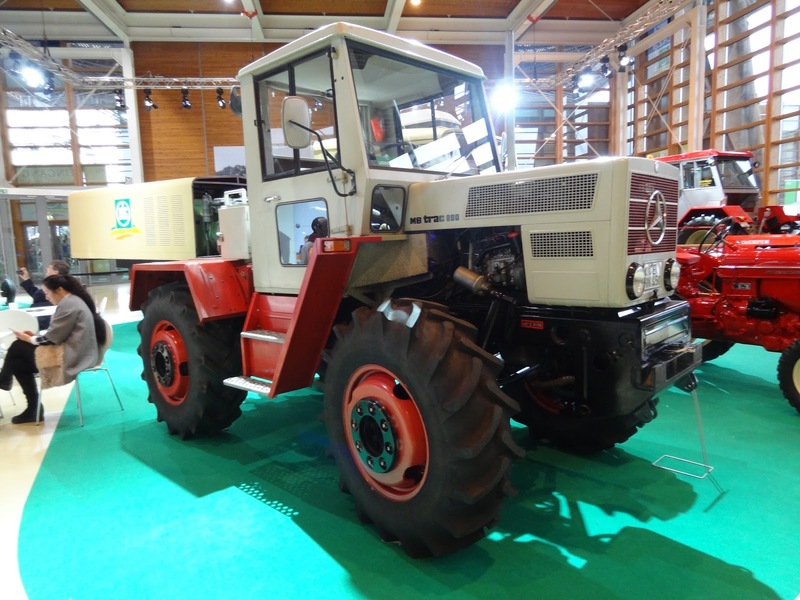 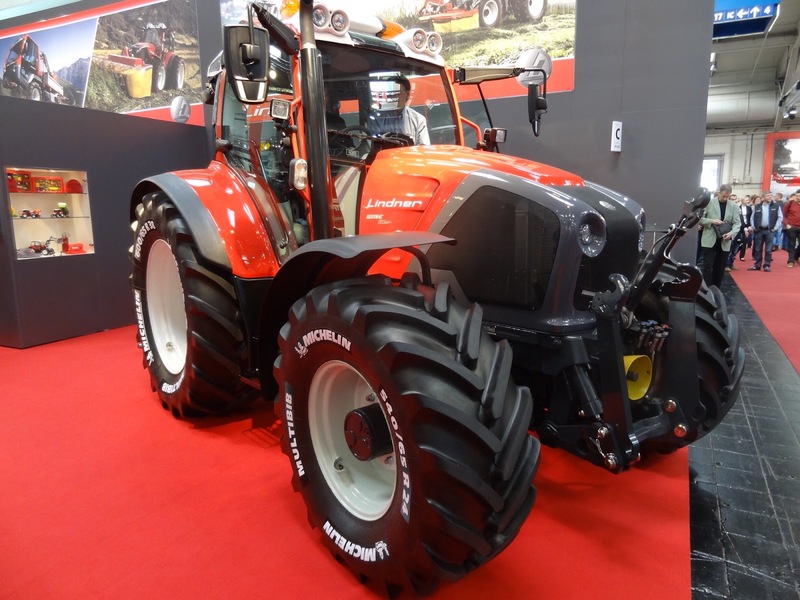 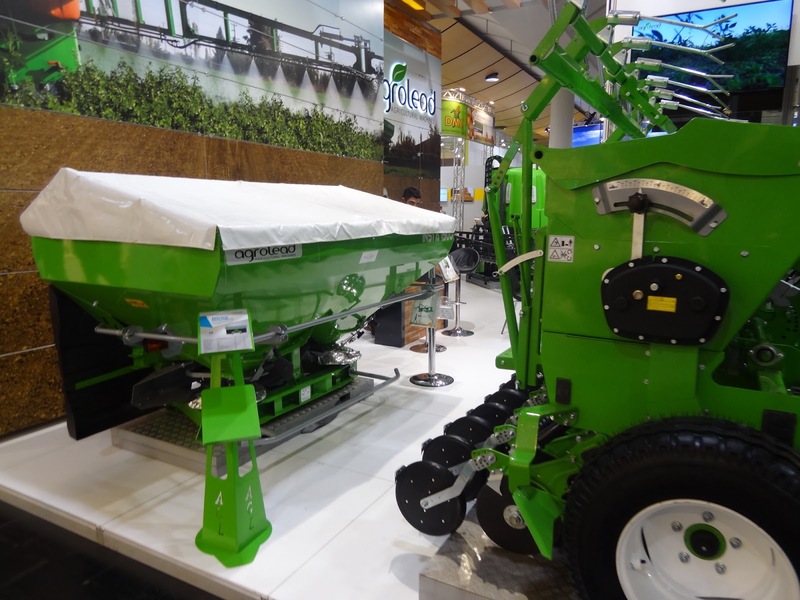 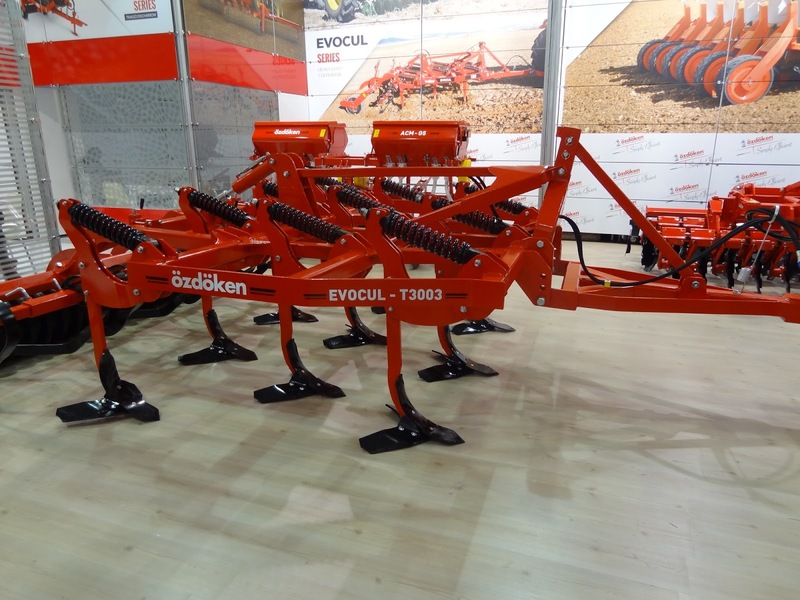 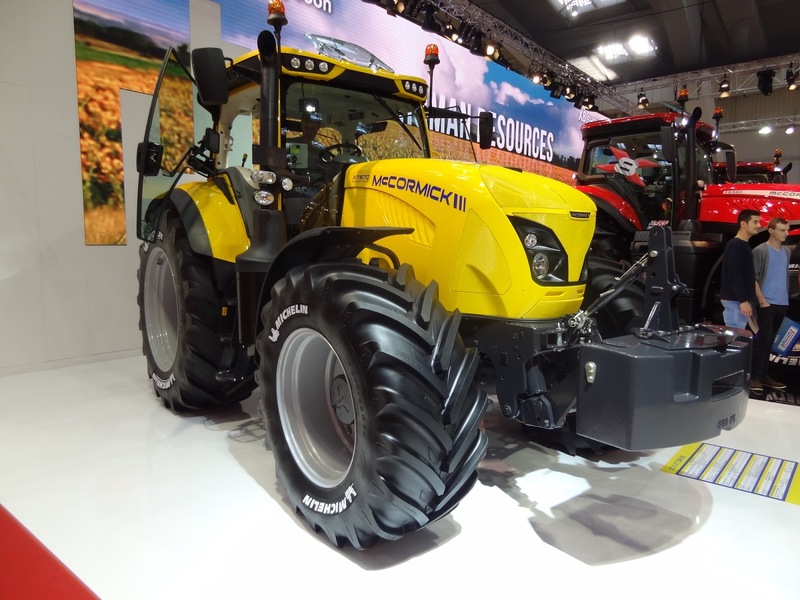 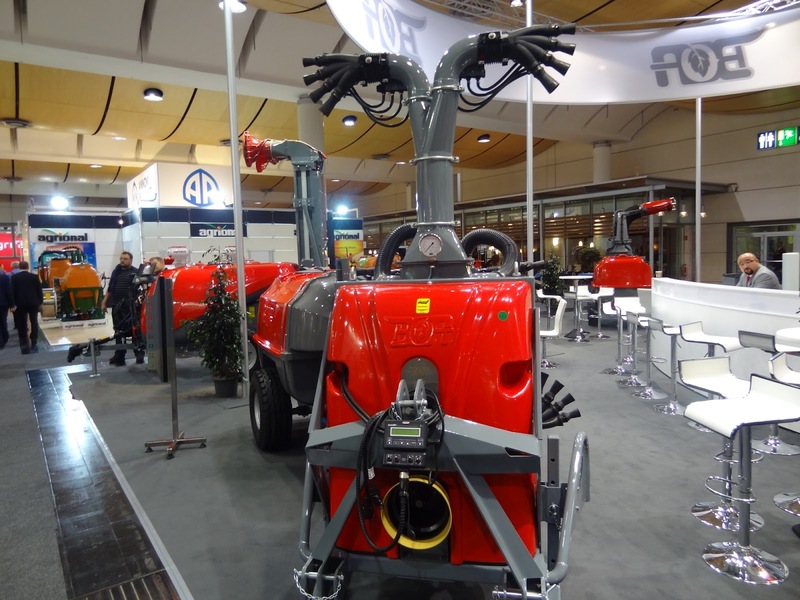 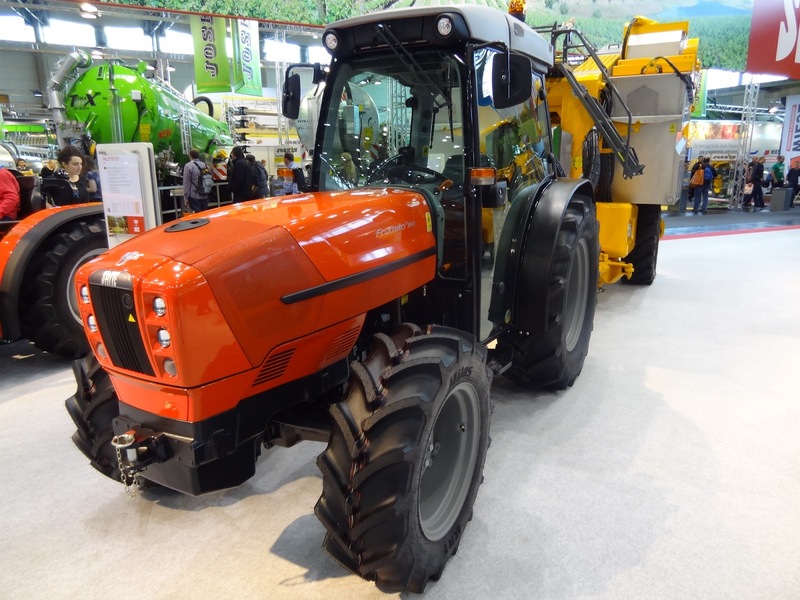 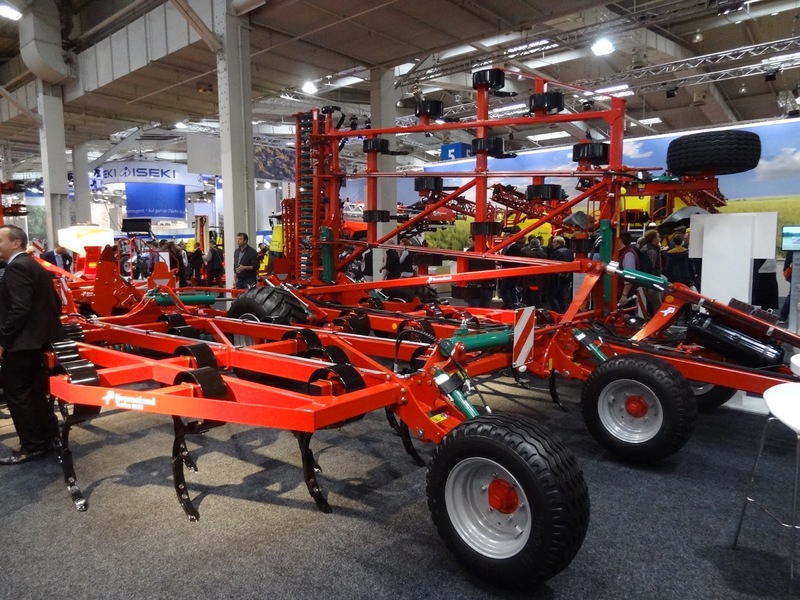 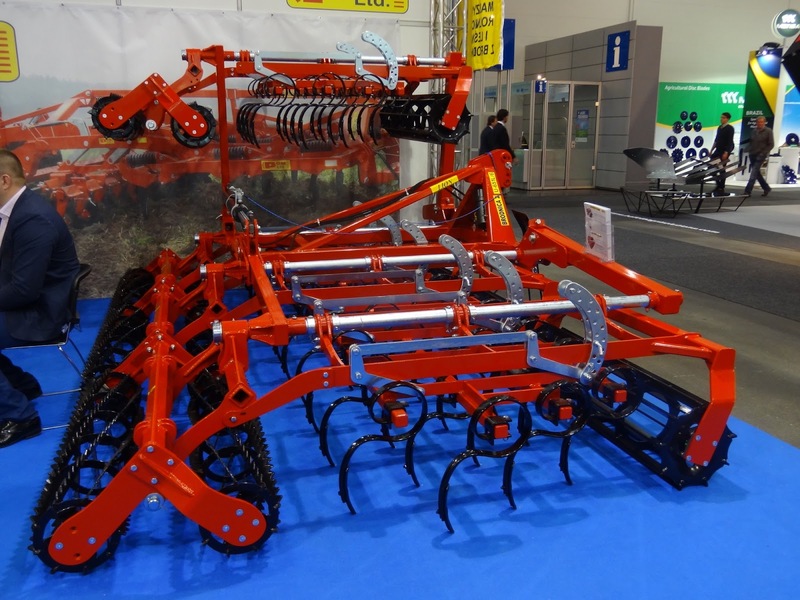 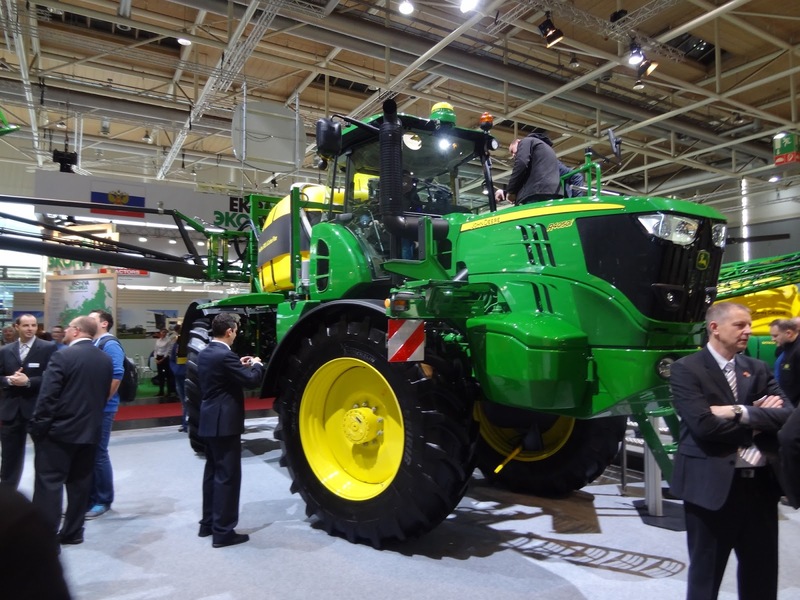 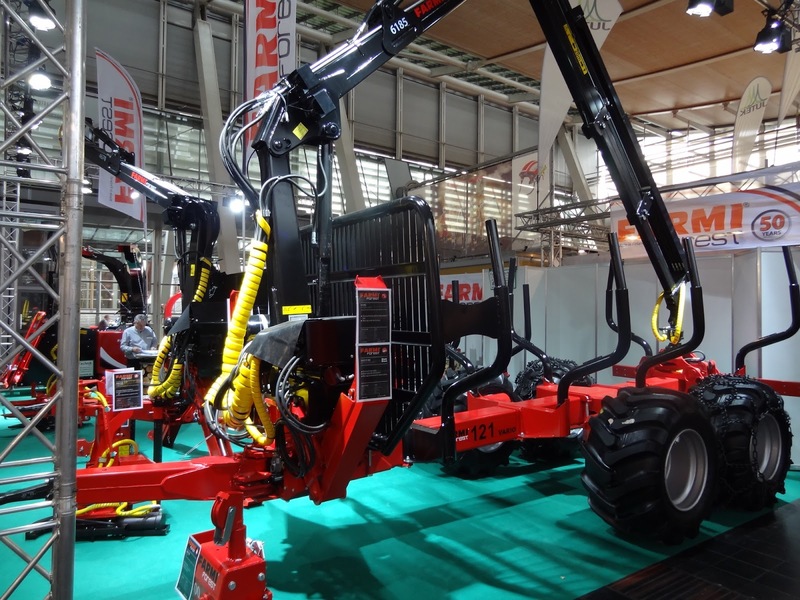 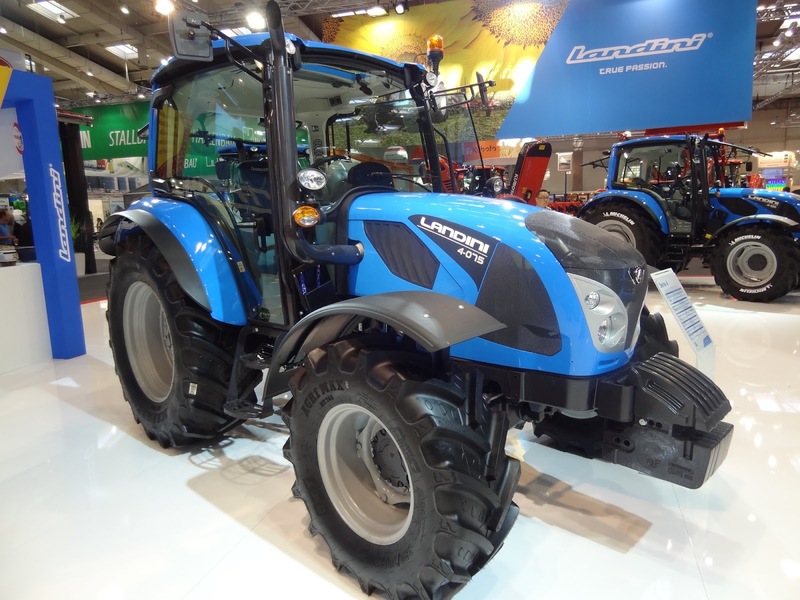 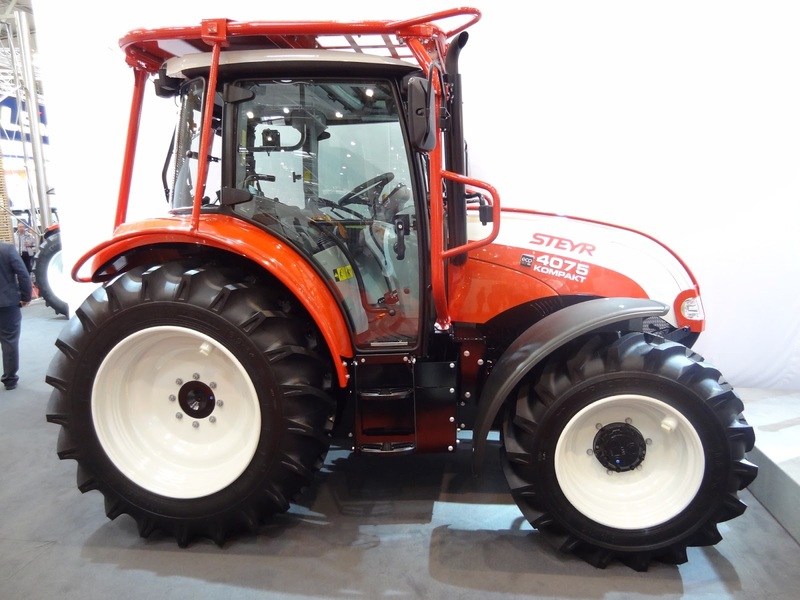 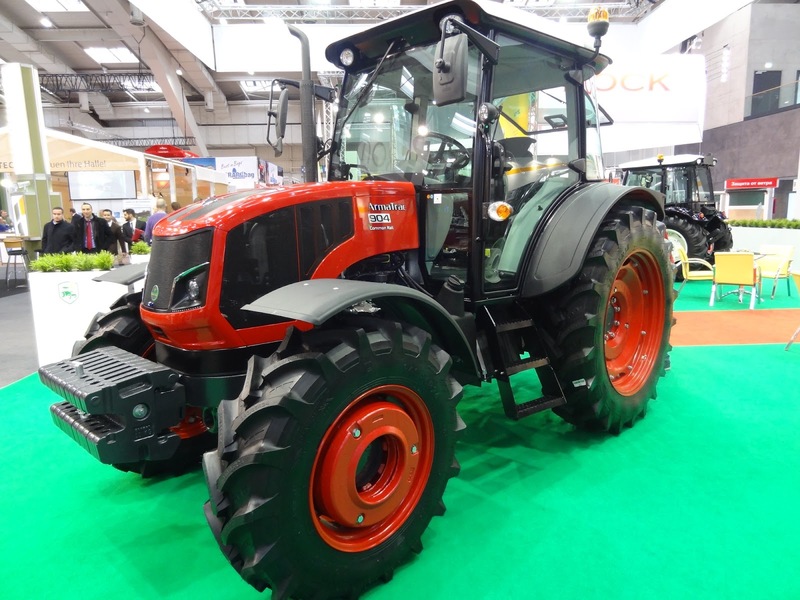 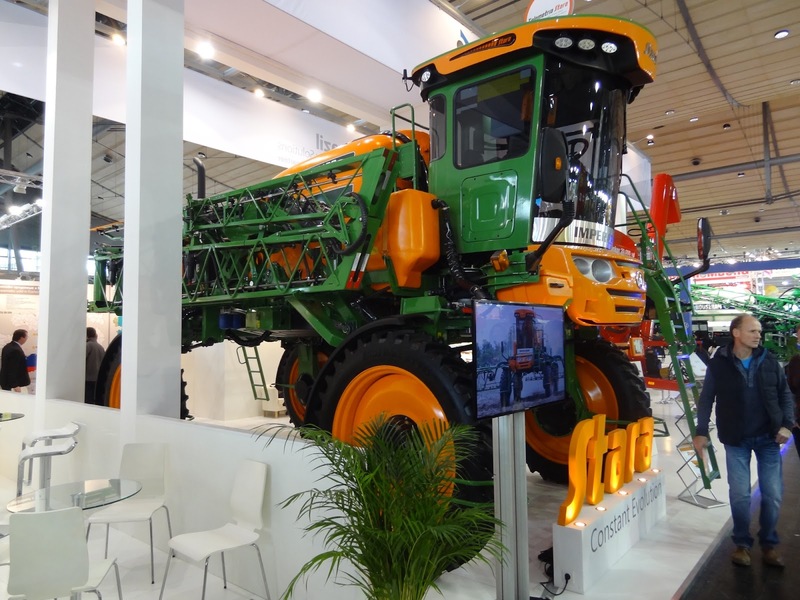 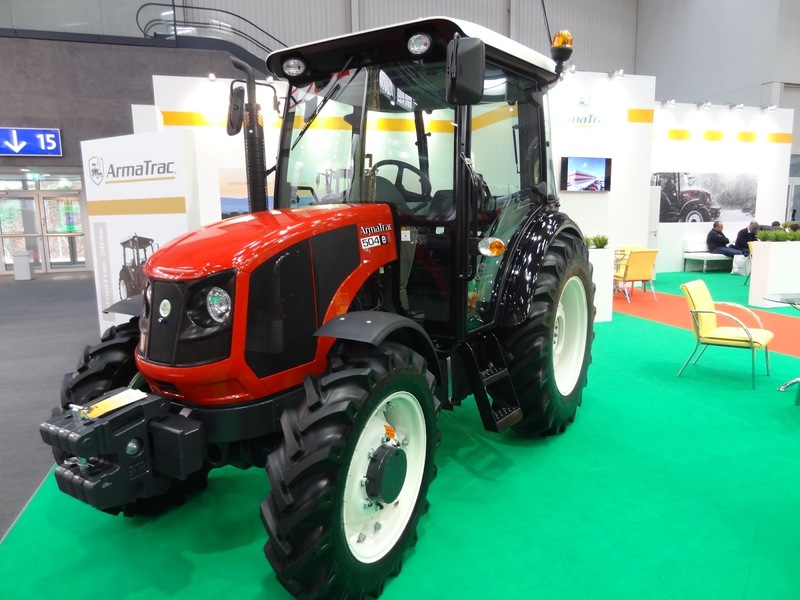 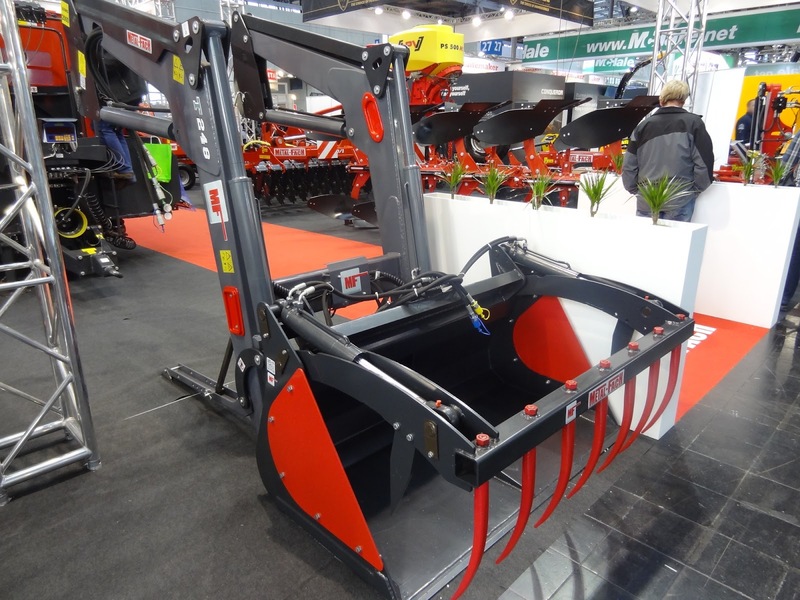 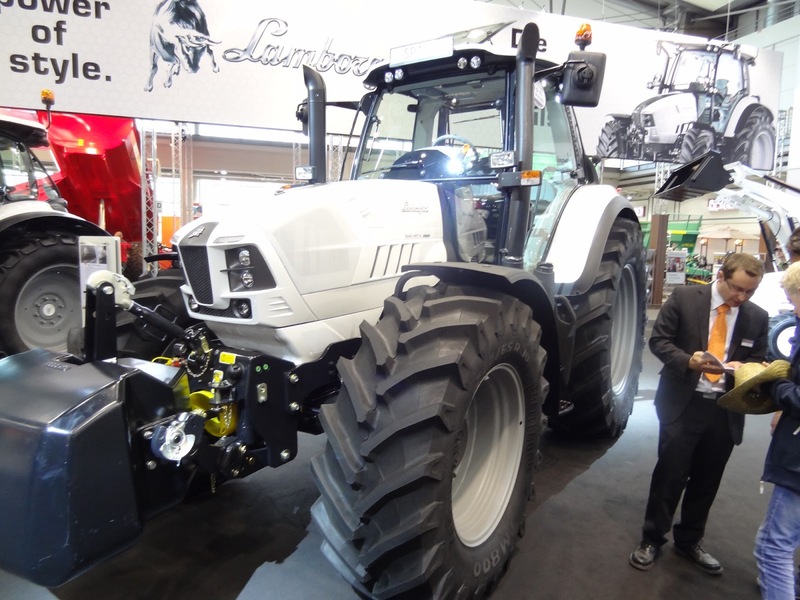 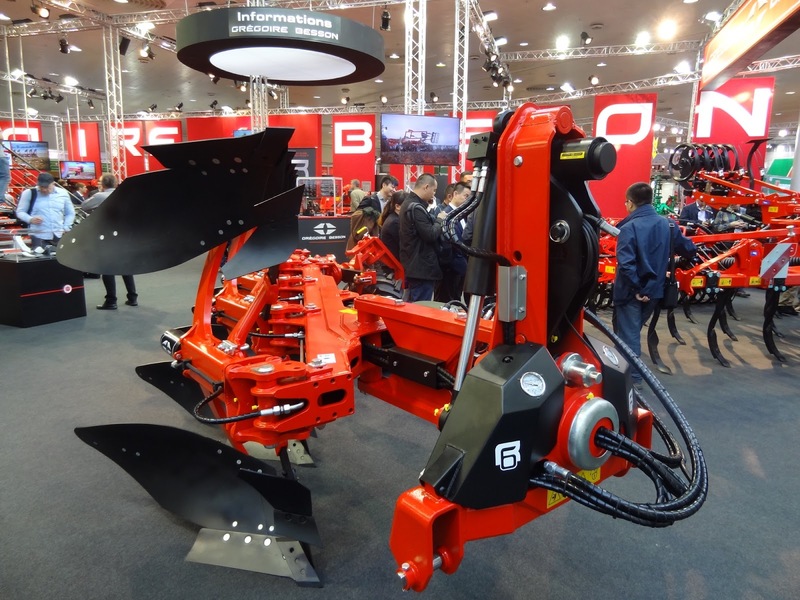 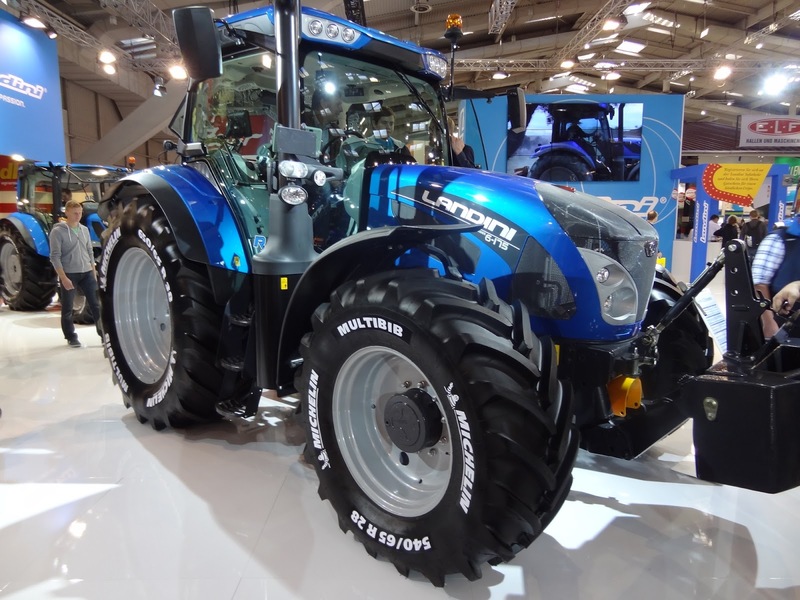 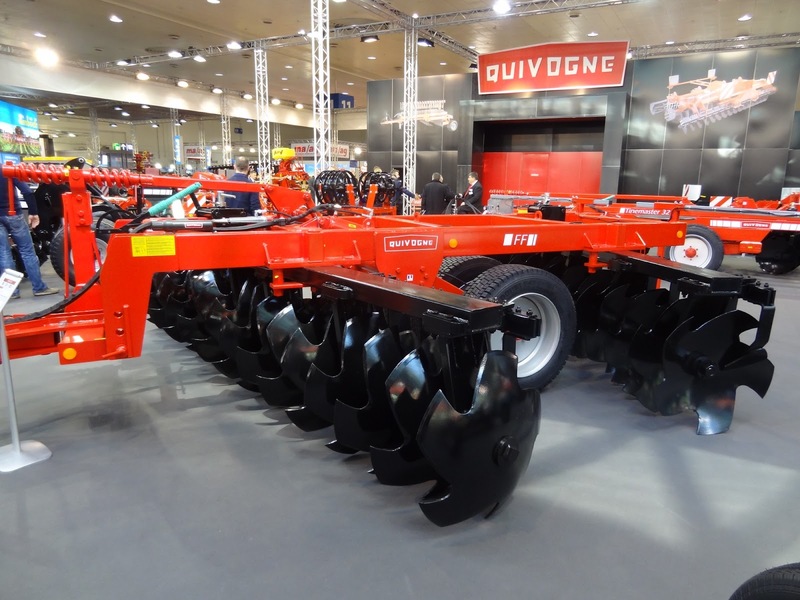 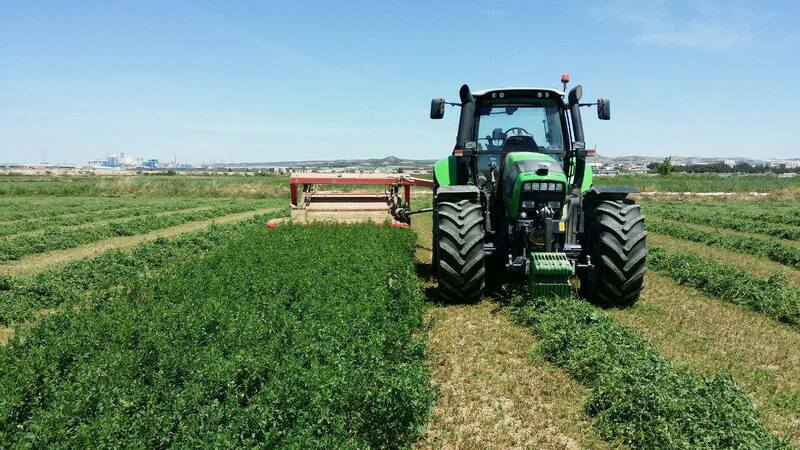 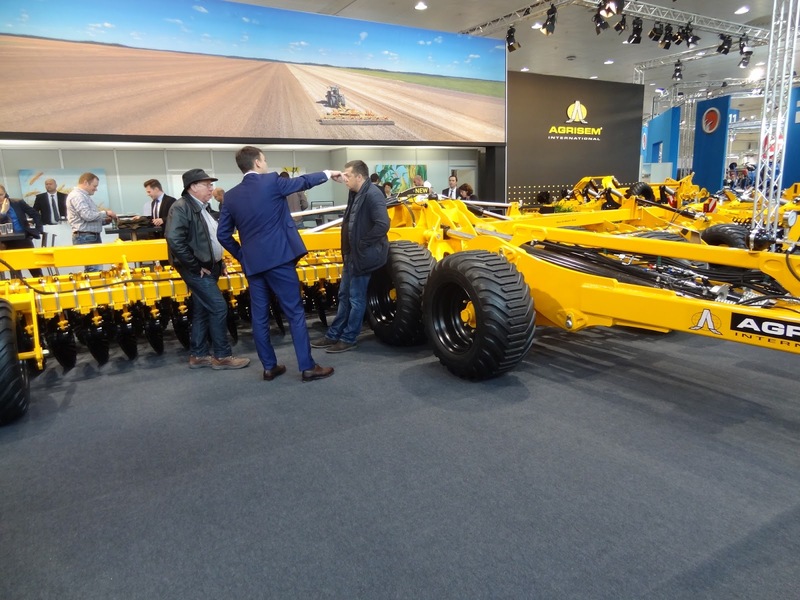 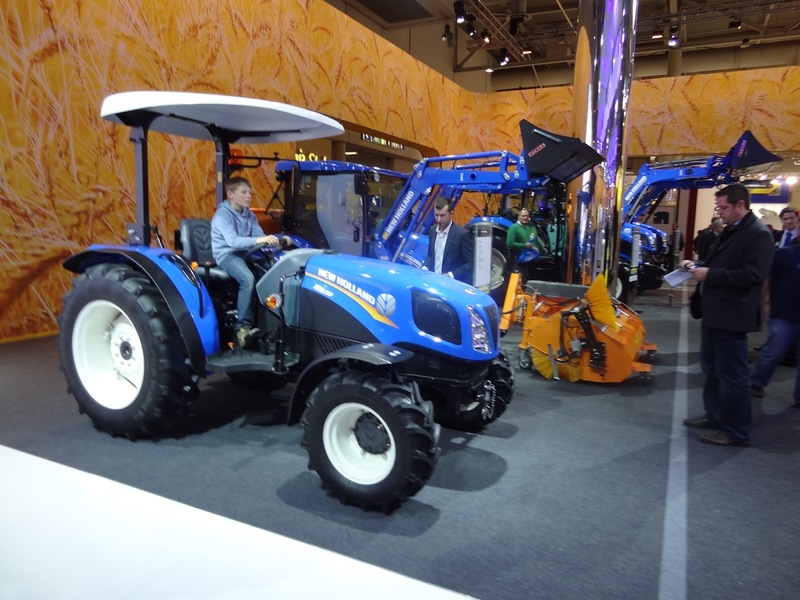 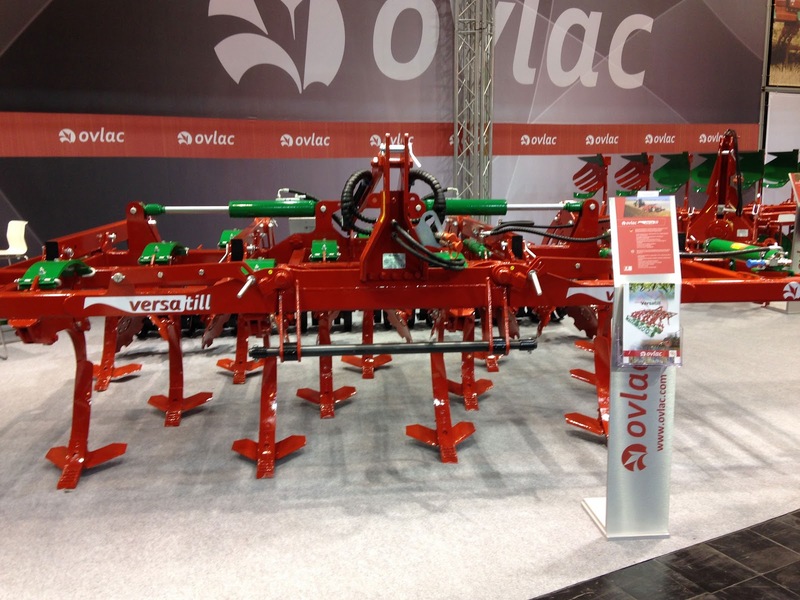 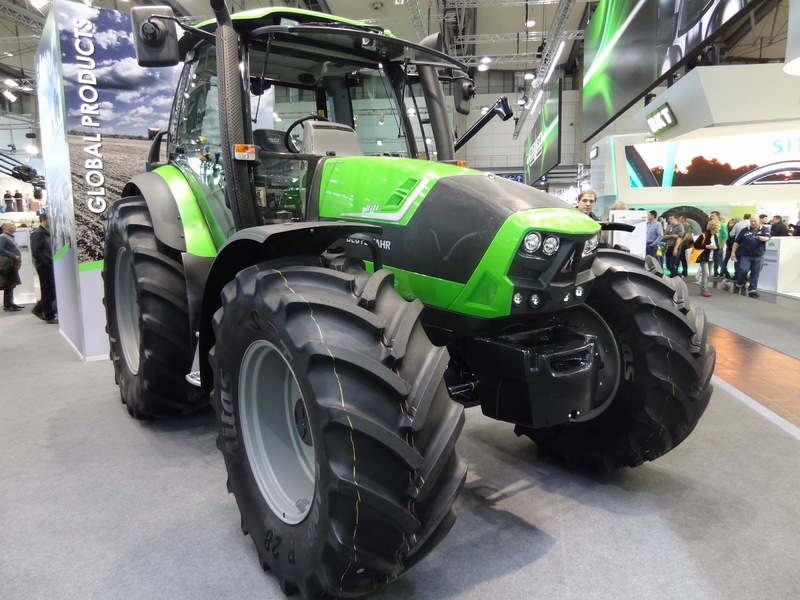 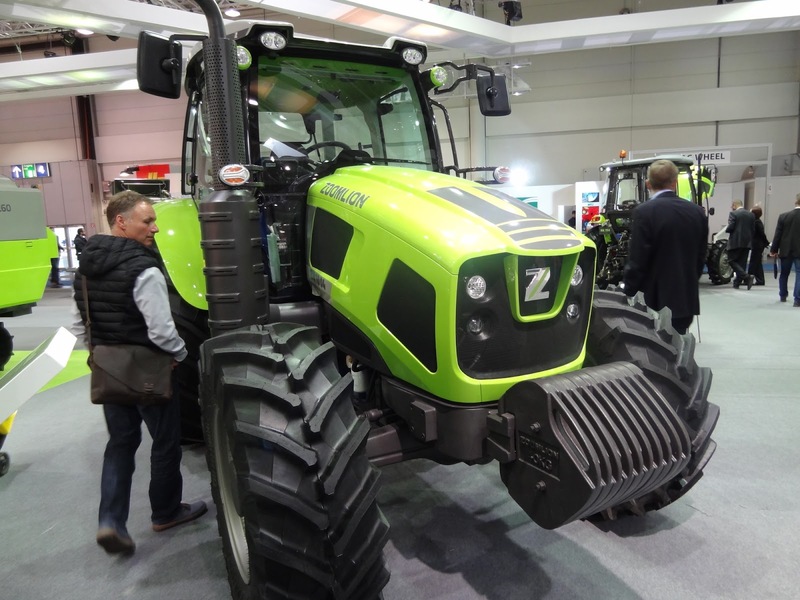 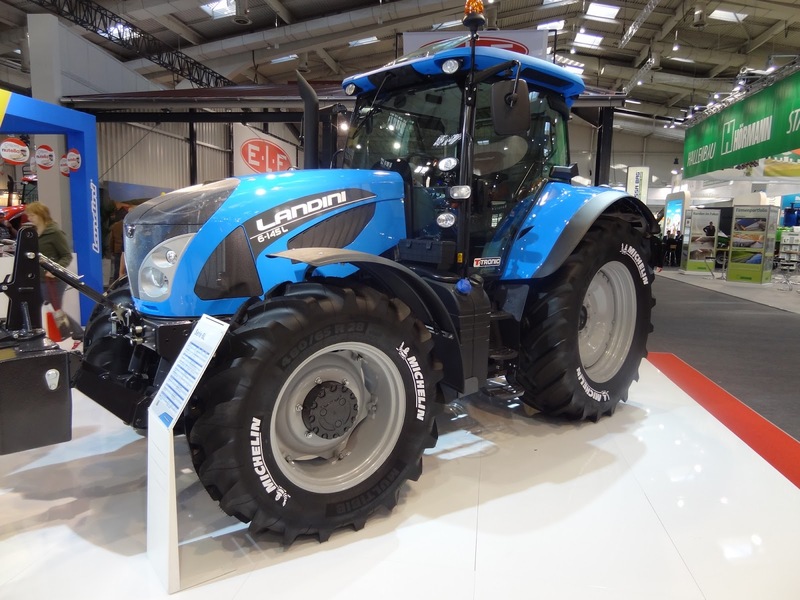 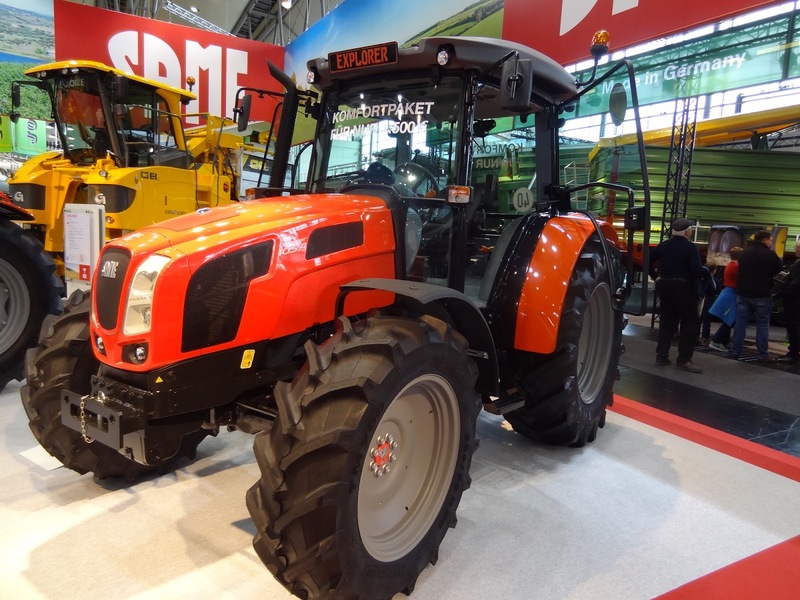 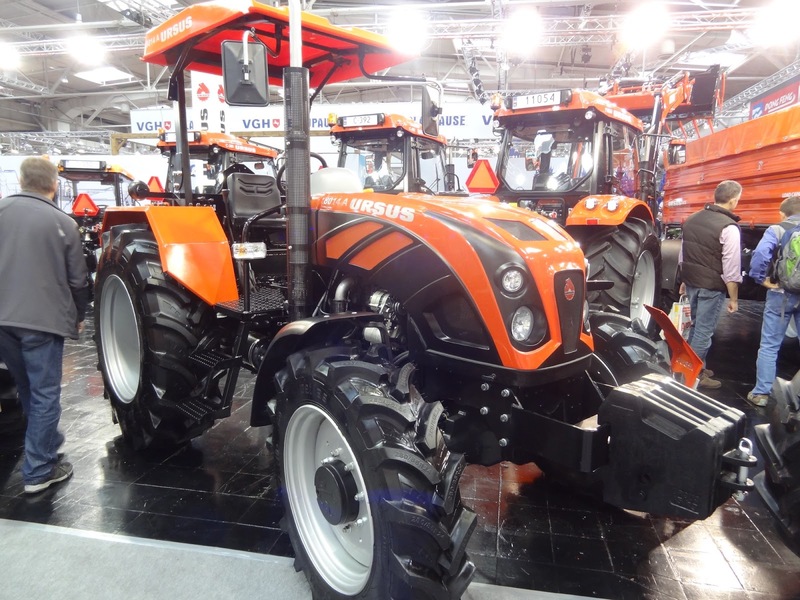 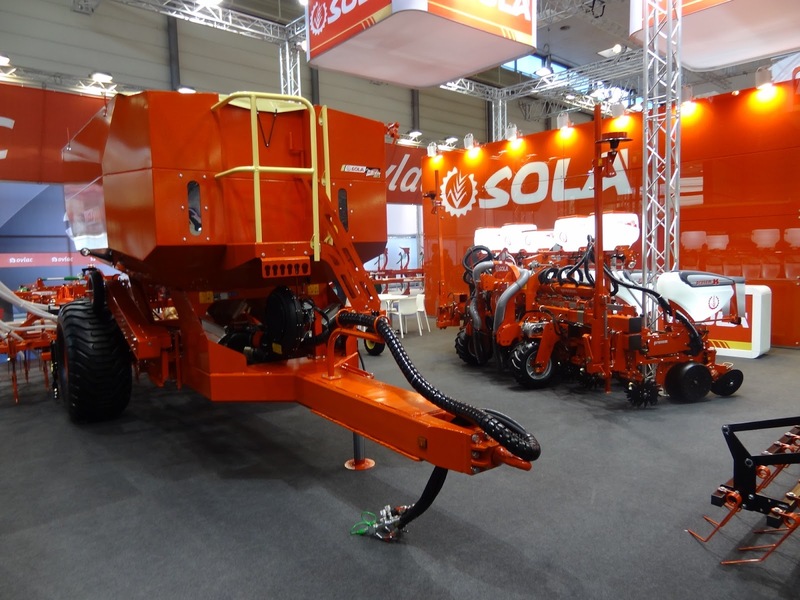 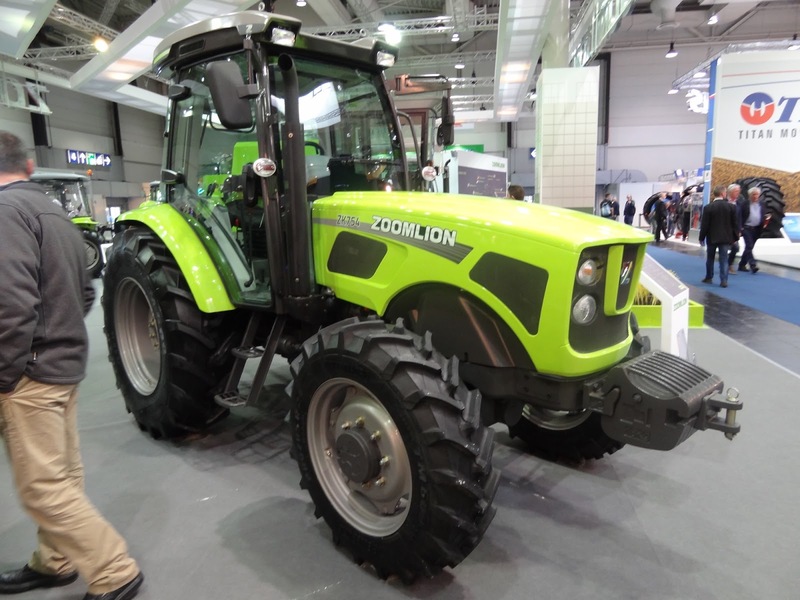 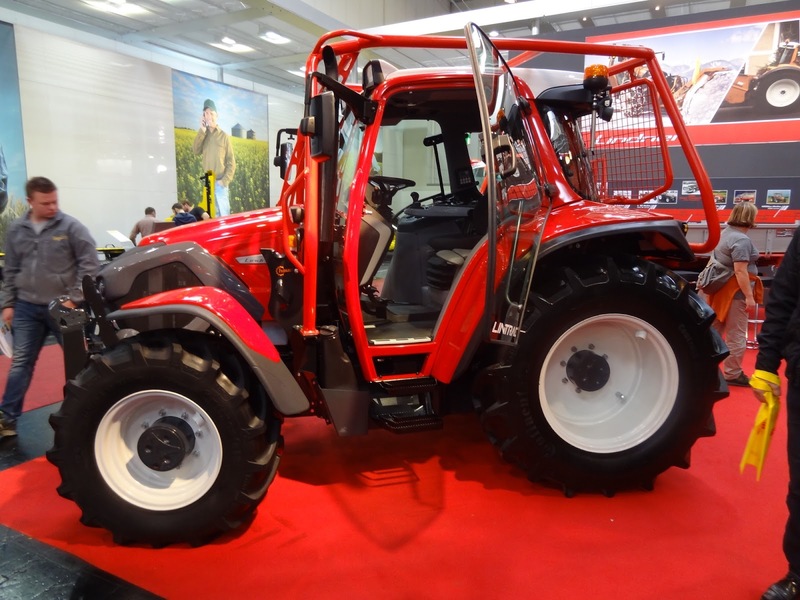 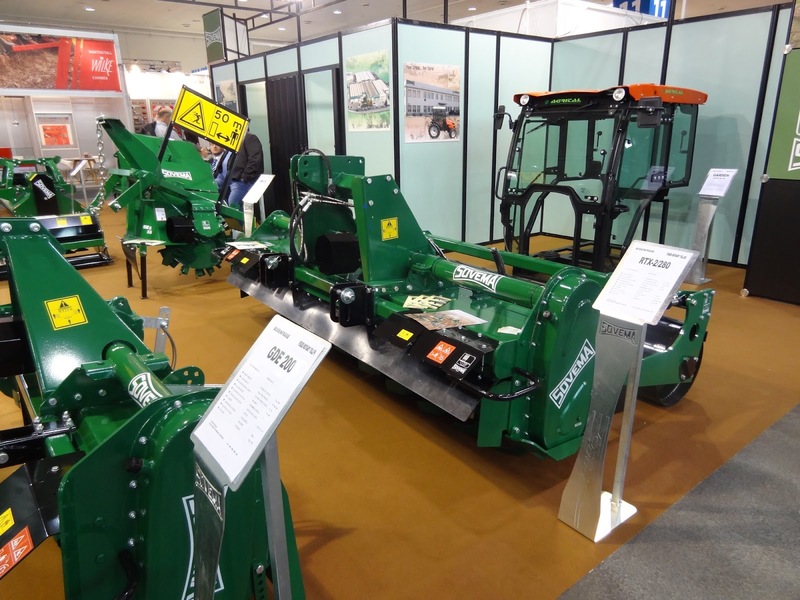 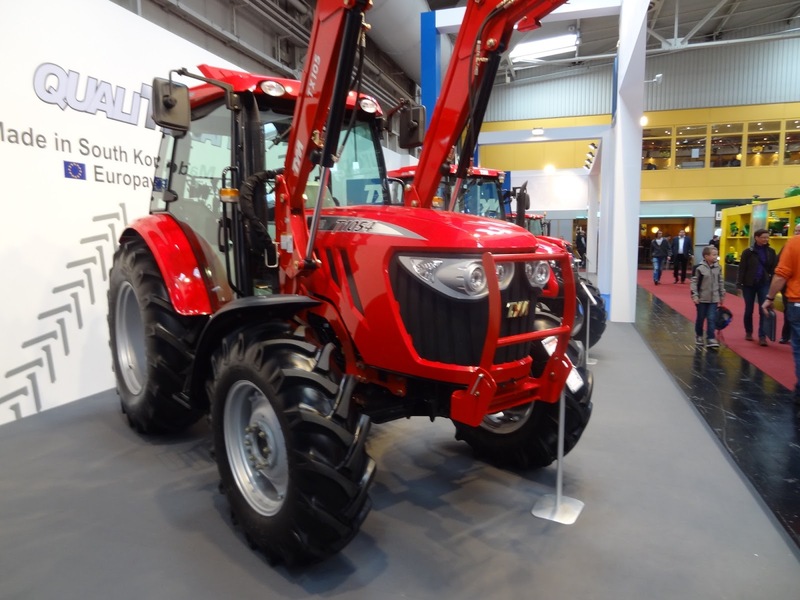 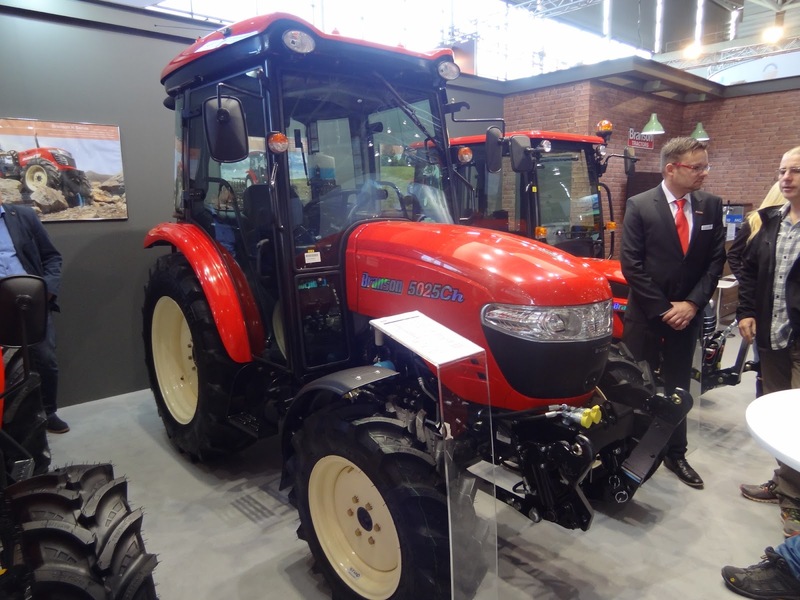 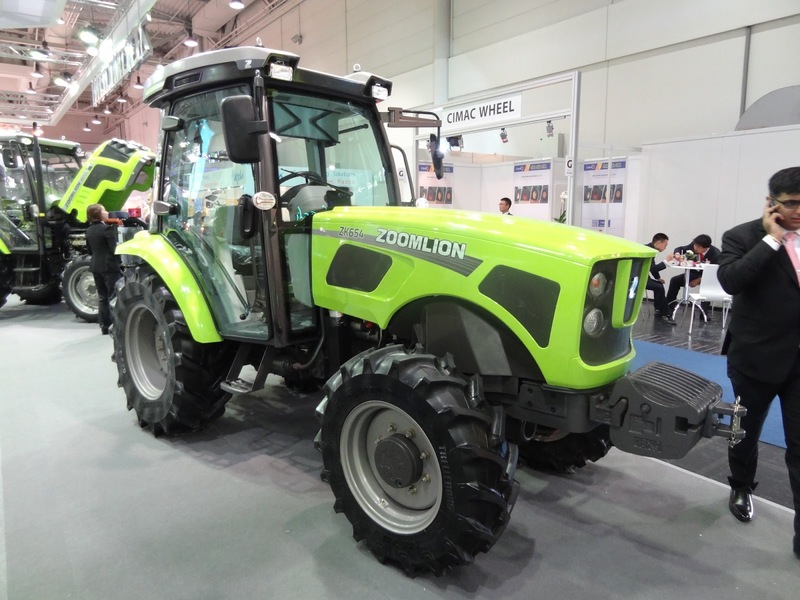 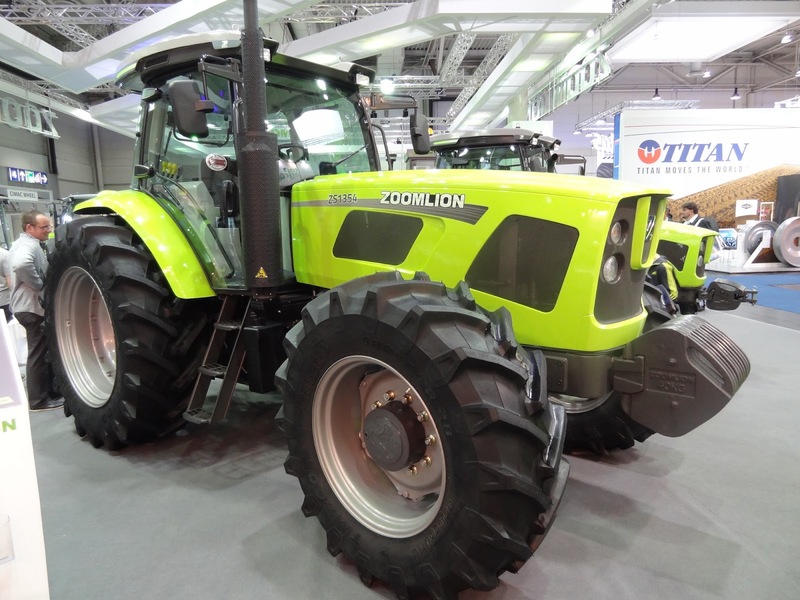 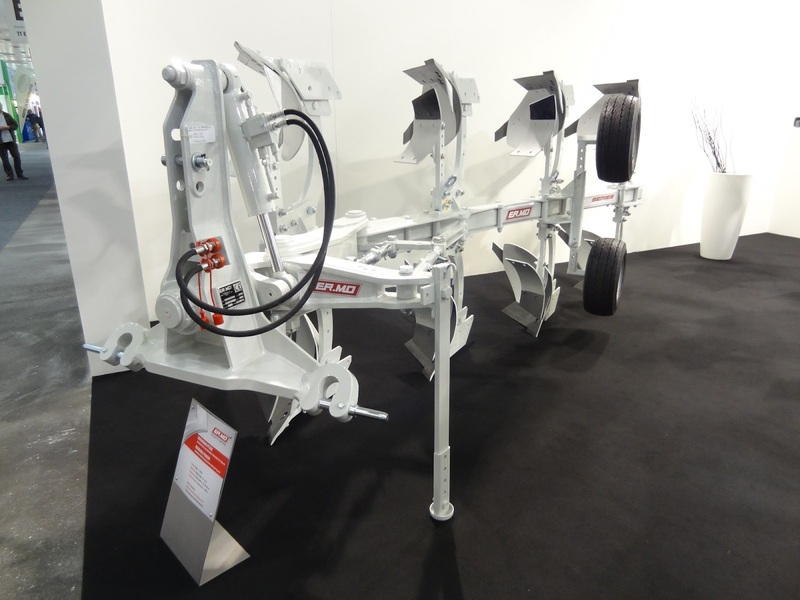 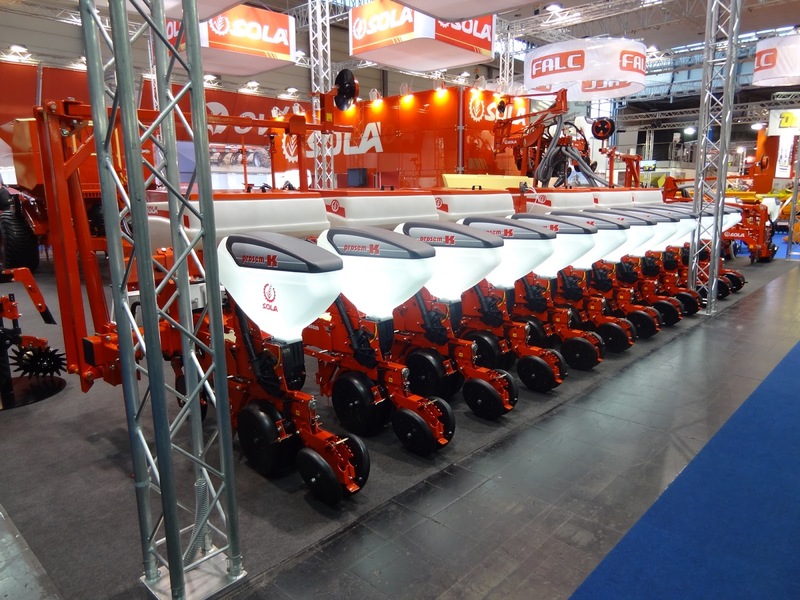 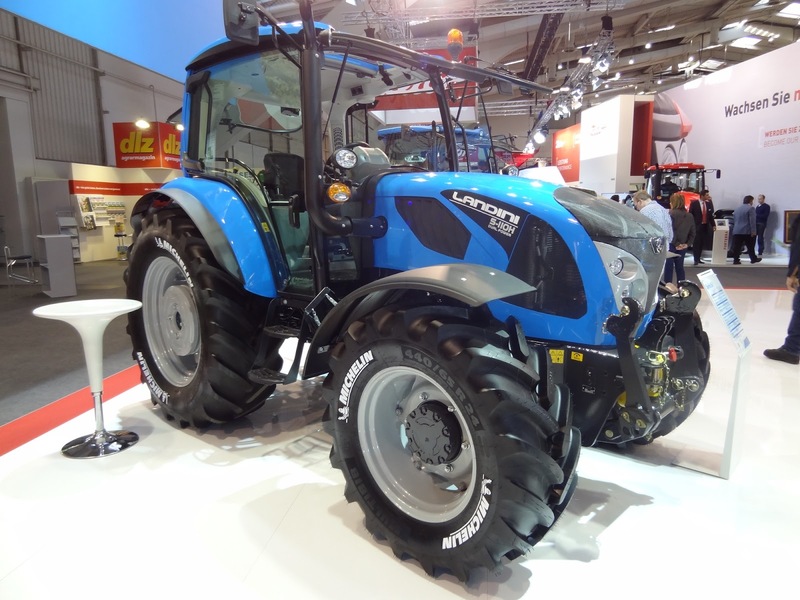 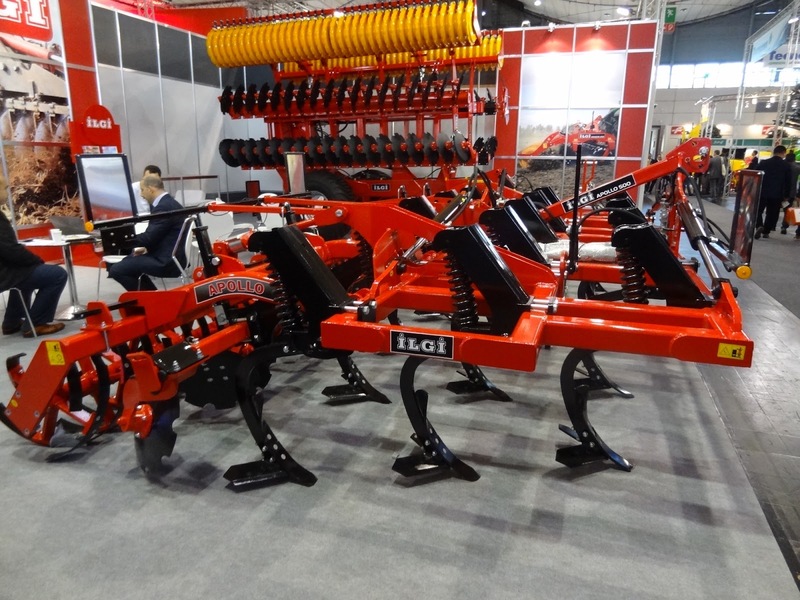 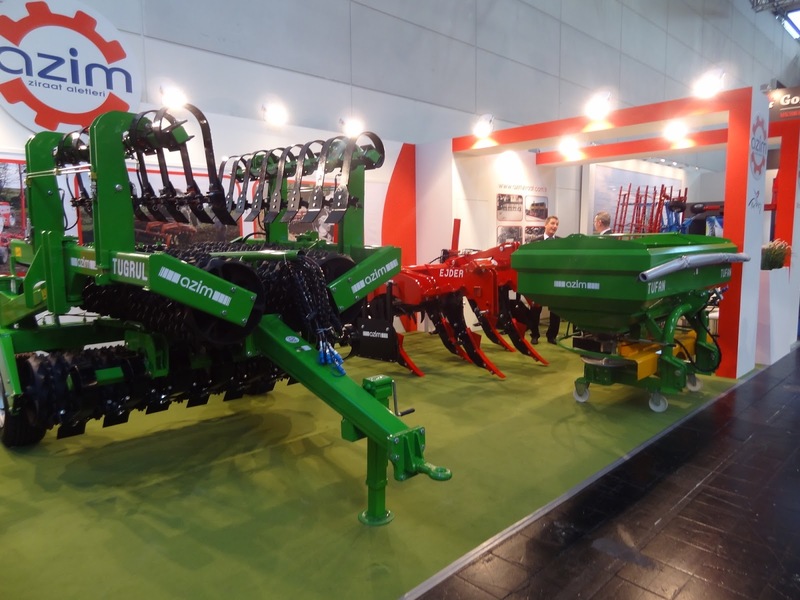 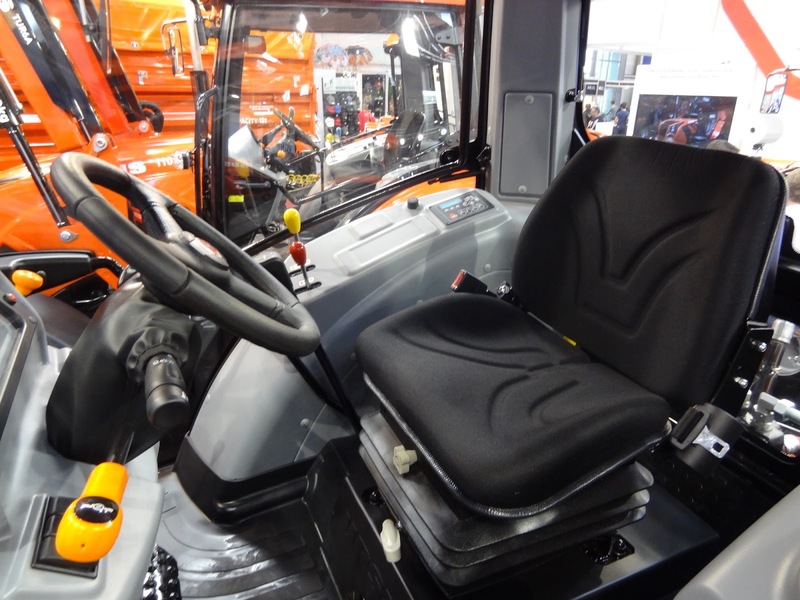 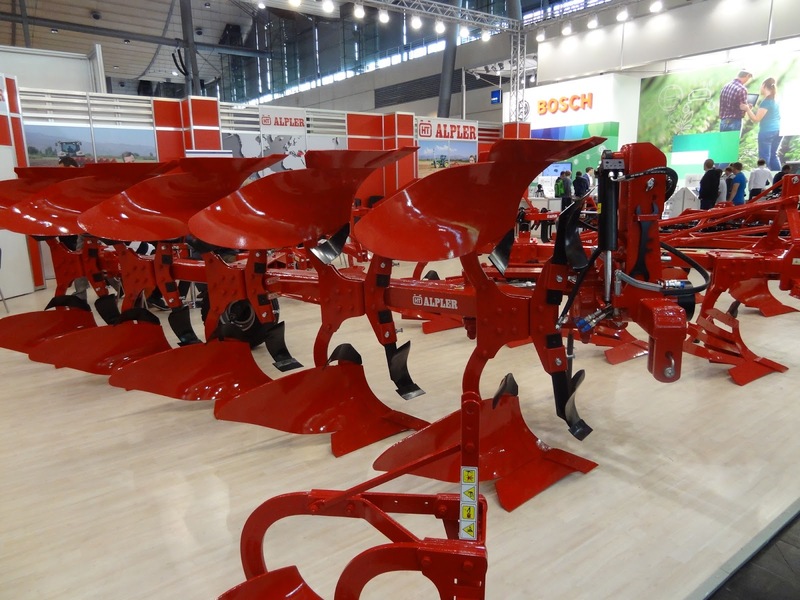 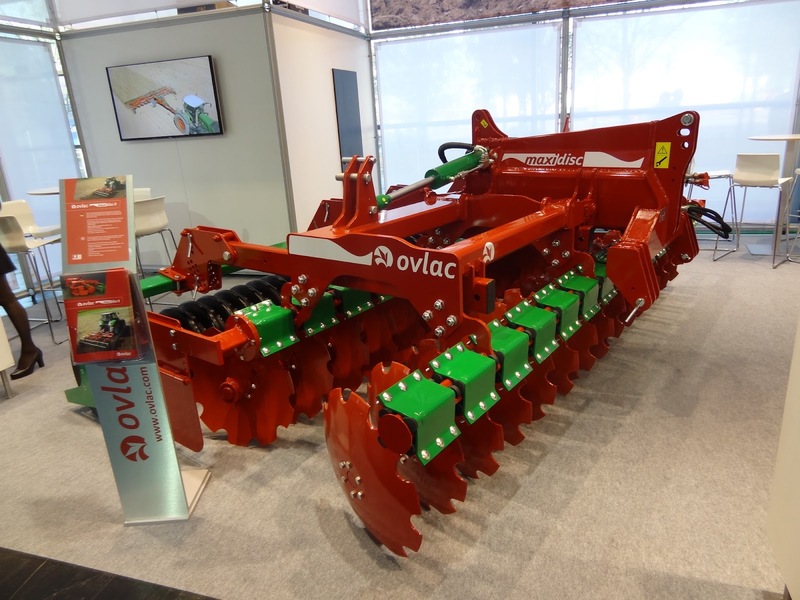 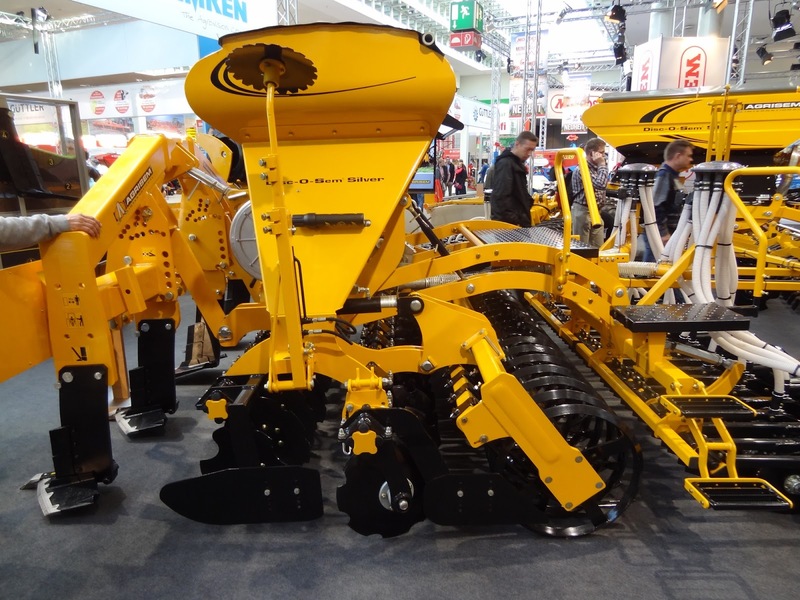 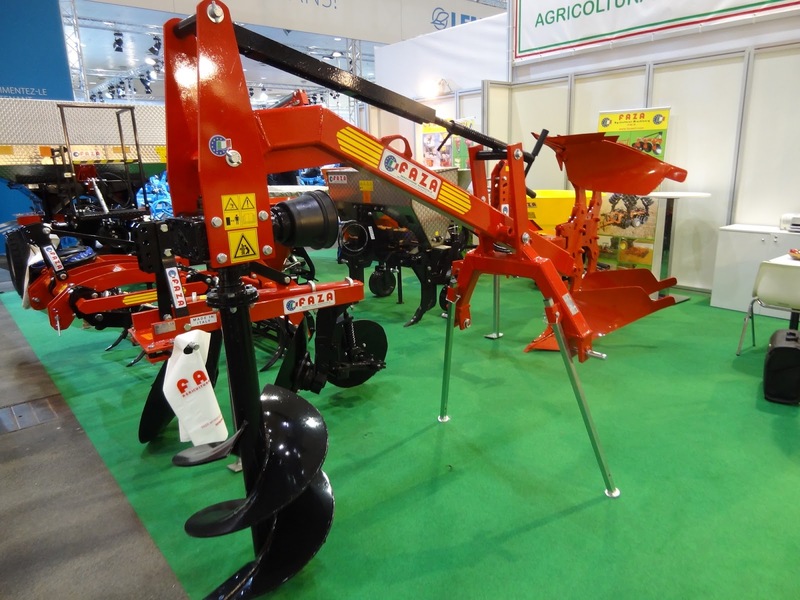 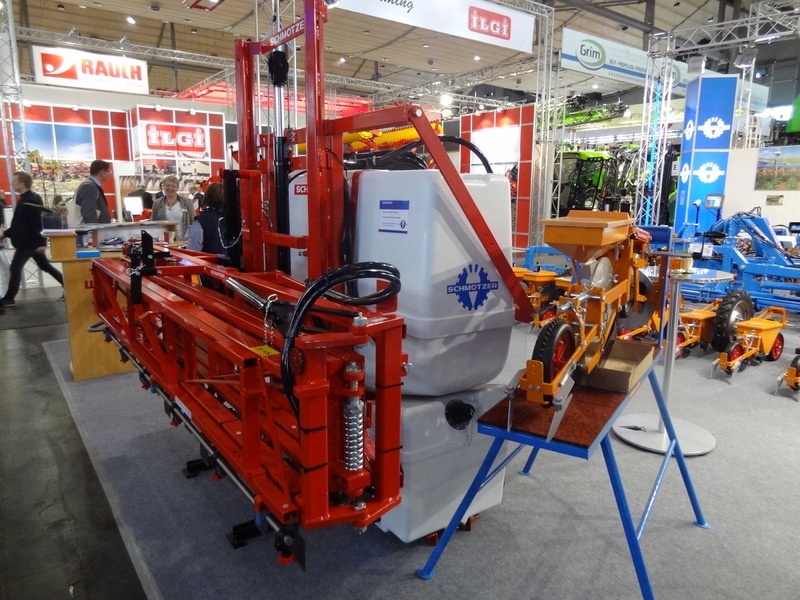 Chinese tractor brand Lovol introduced a new tractor series for European markets. 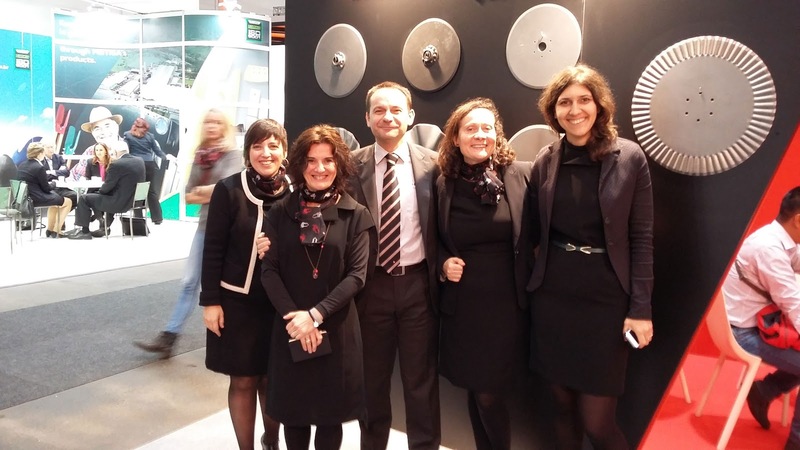 They have bought rights from the old Italian ​A​rbos​ brand​ and them also hired some Italian engineers for the new development. 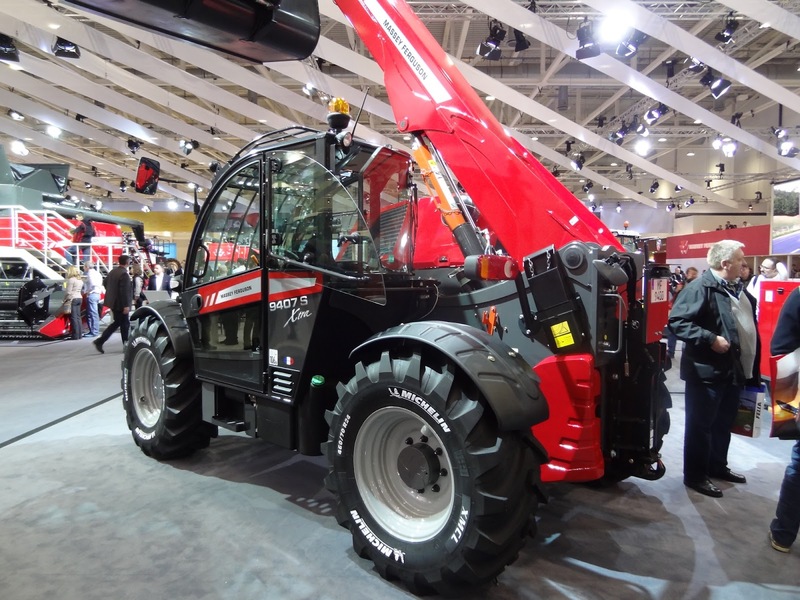 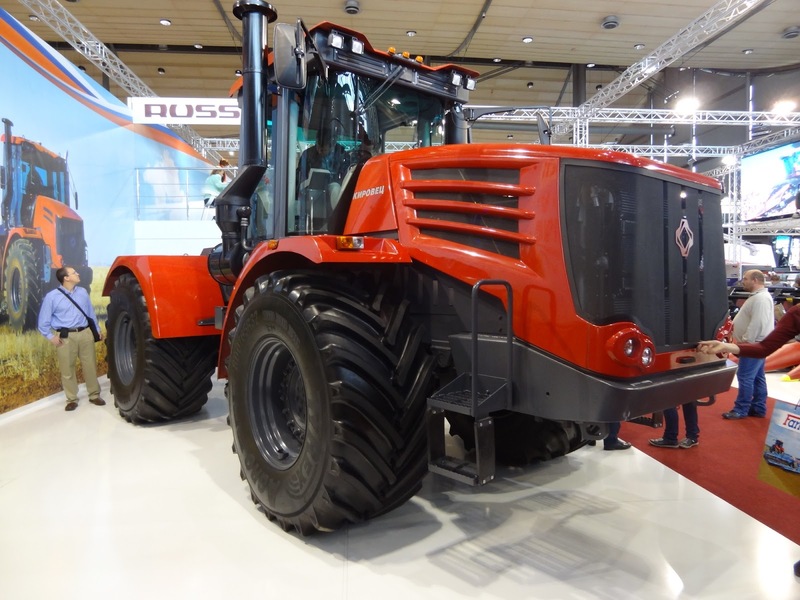 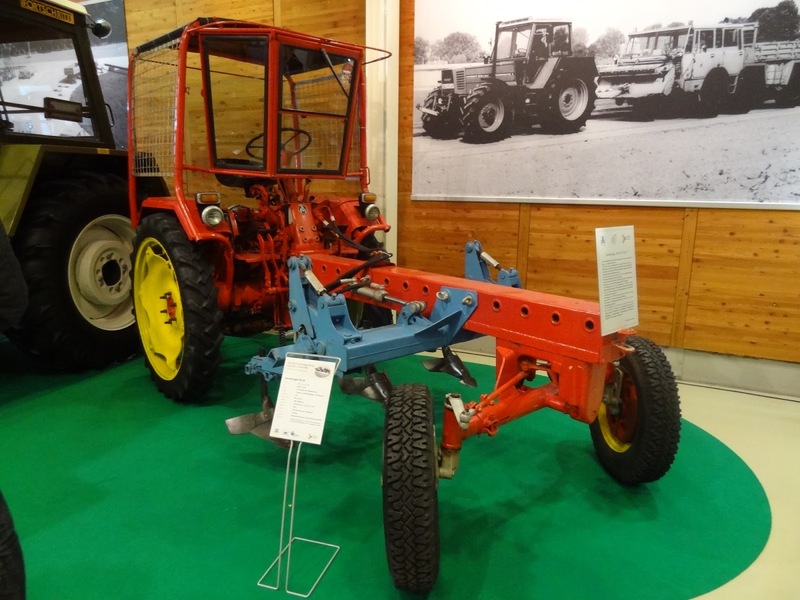 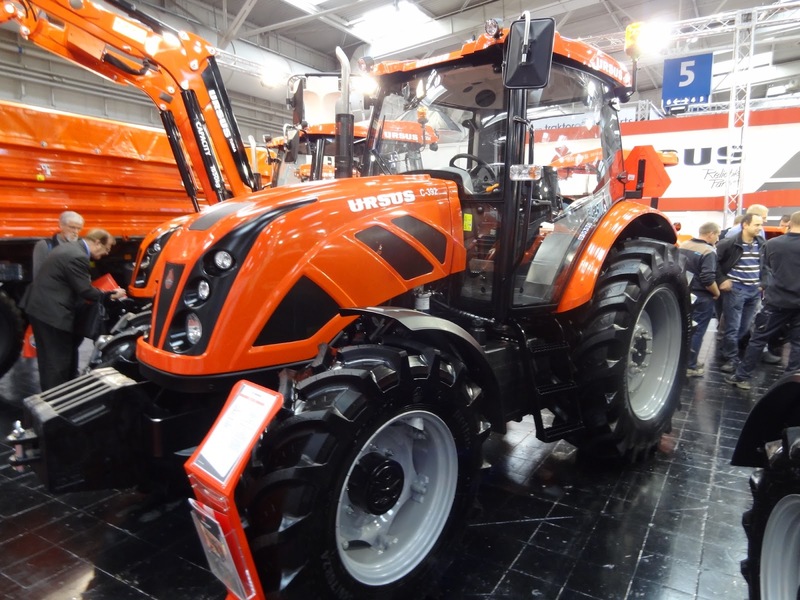 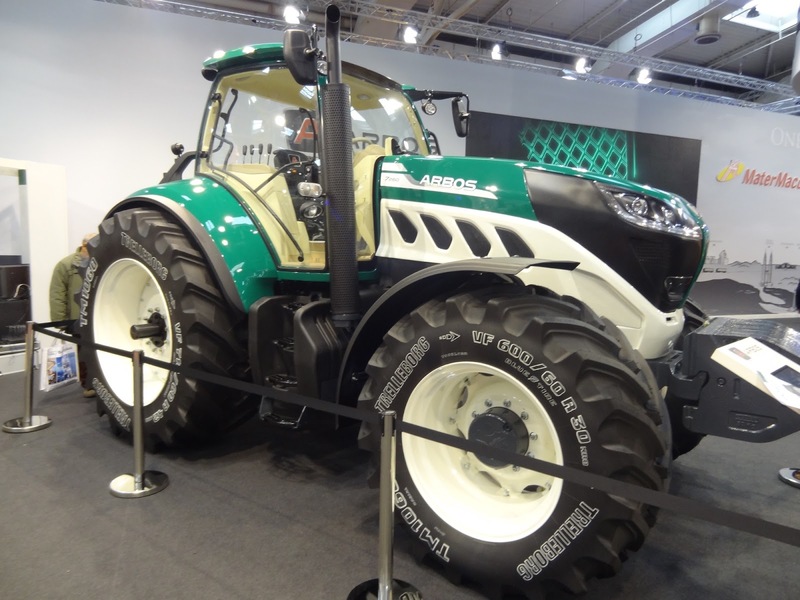 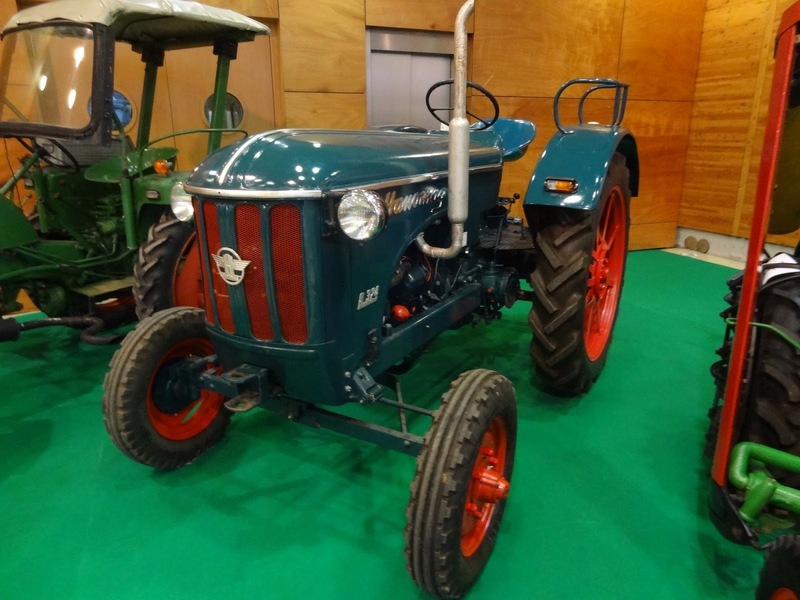 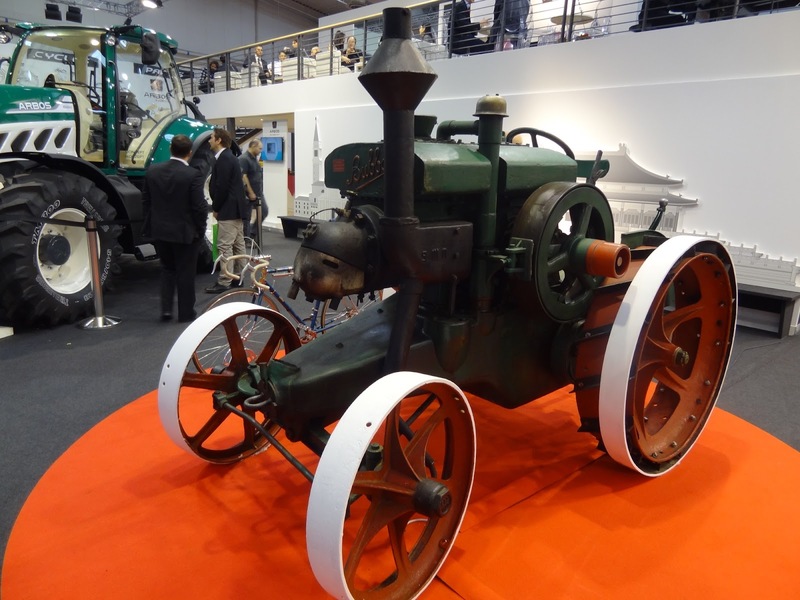 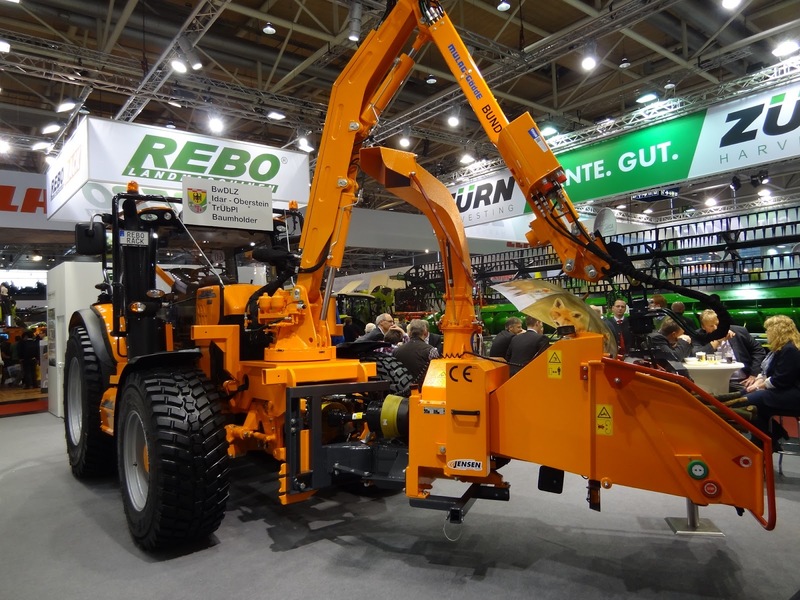 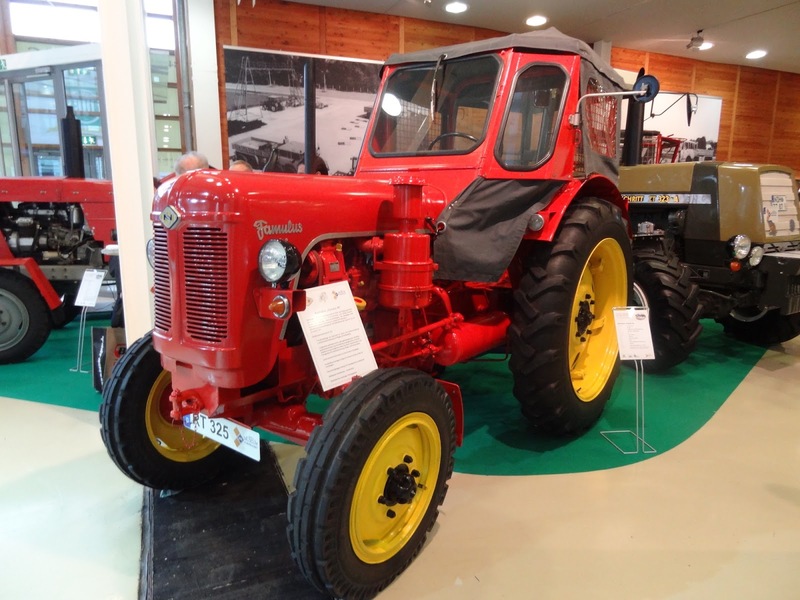 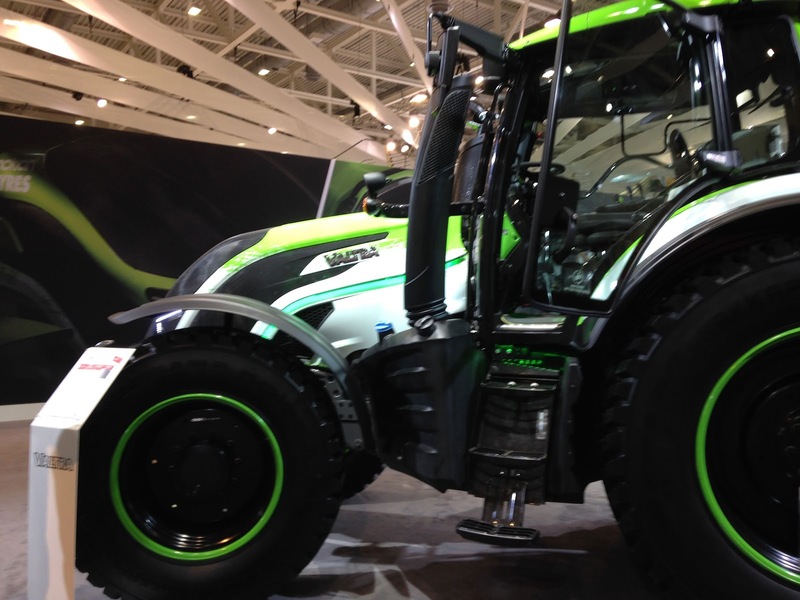 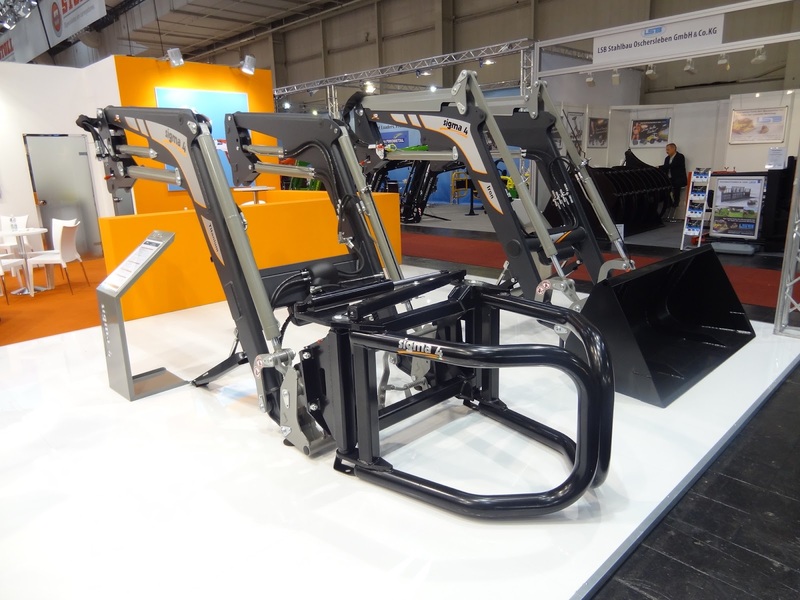 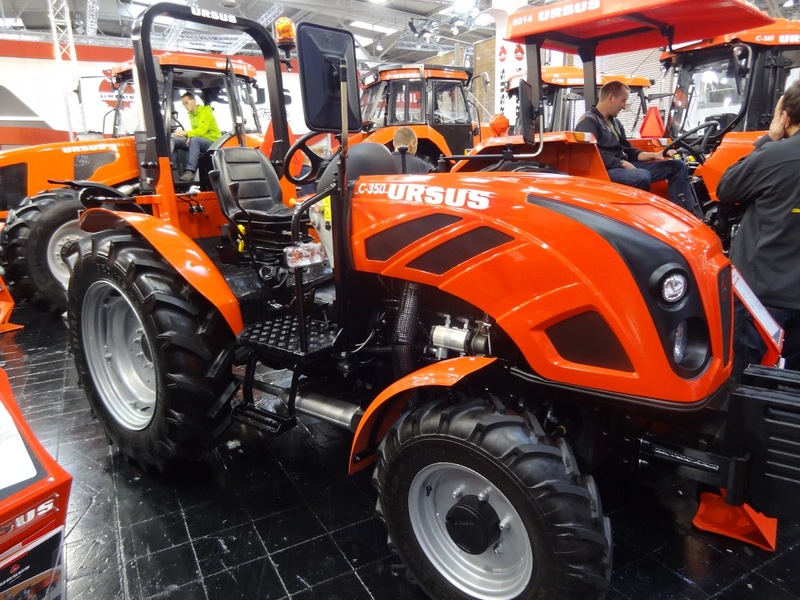 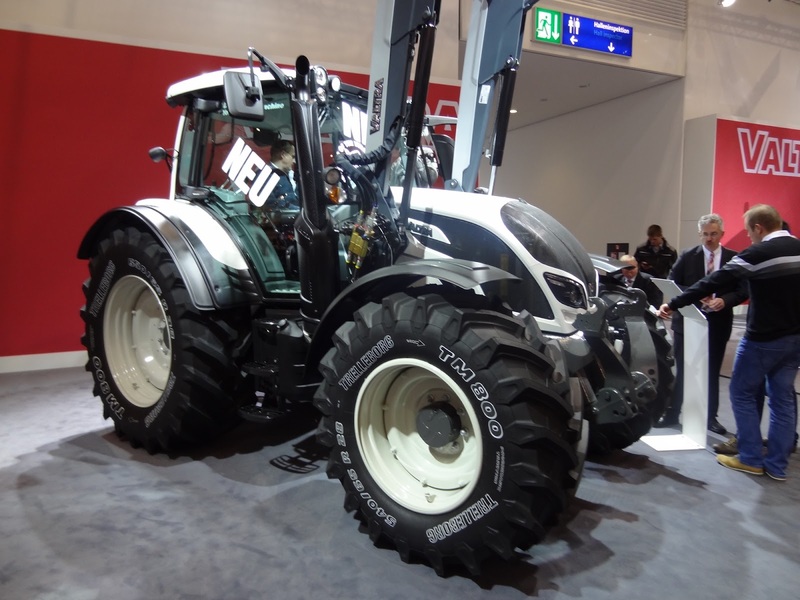 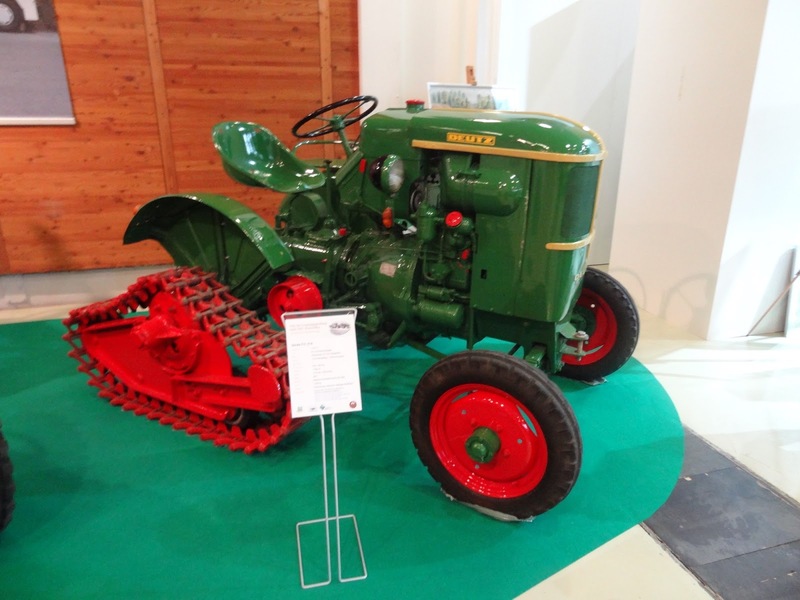 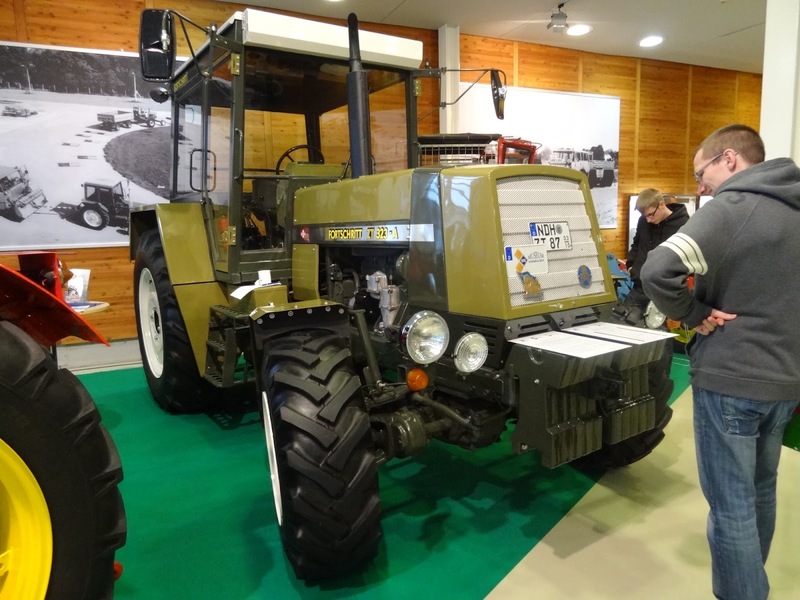 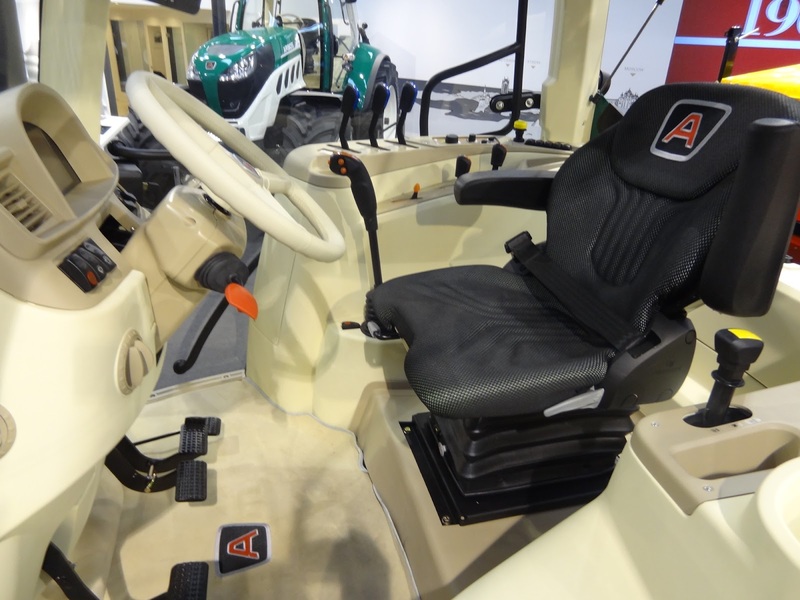 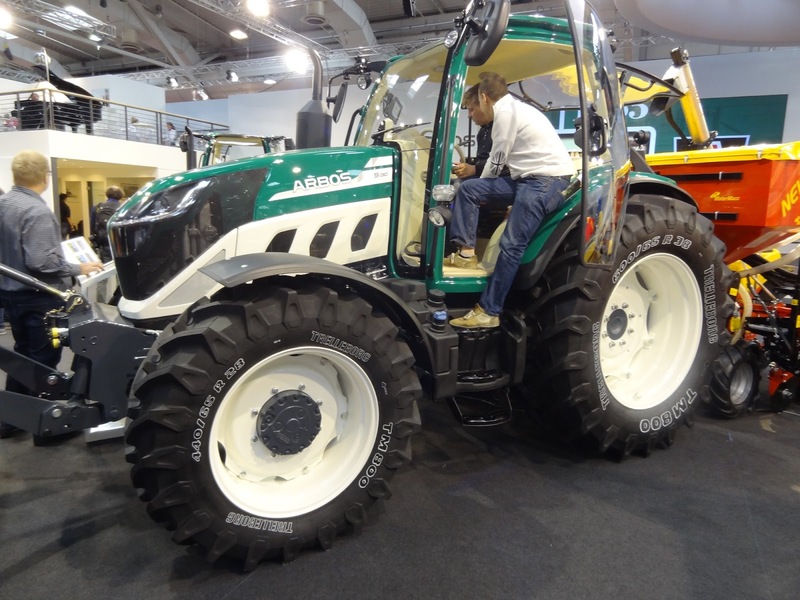 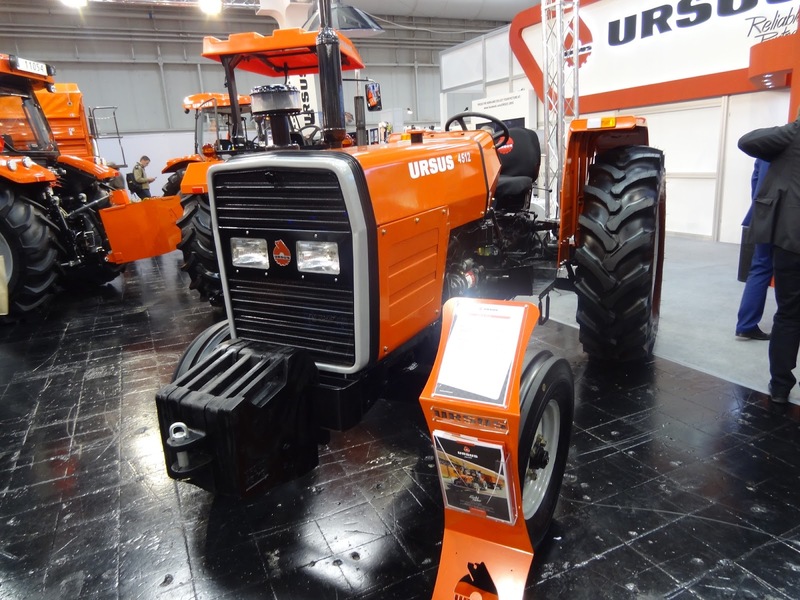 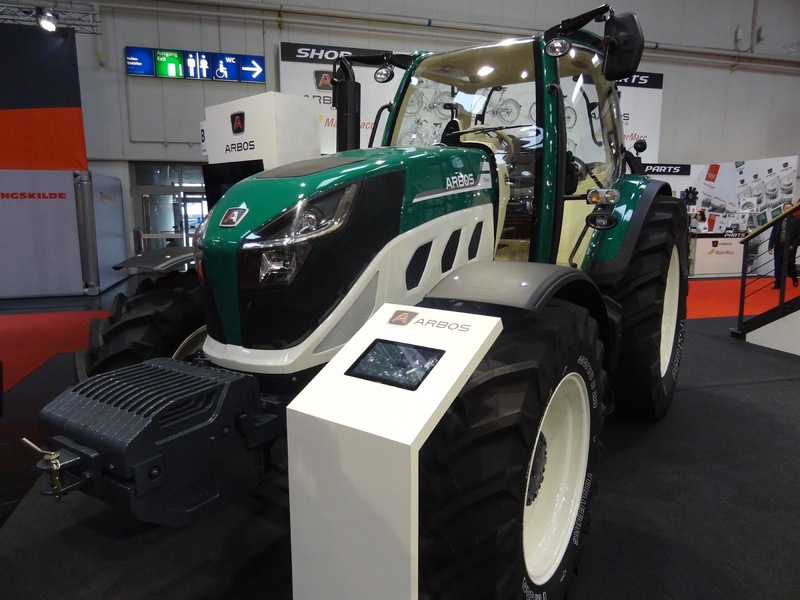 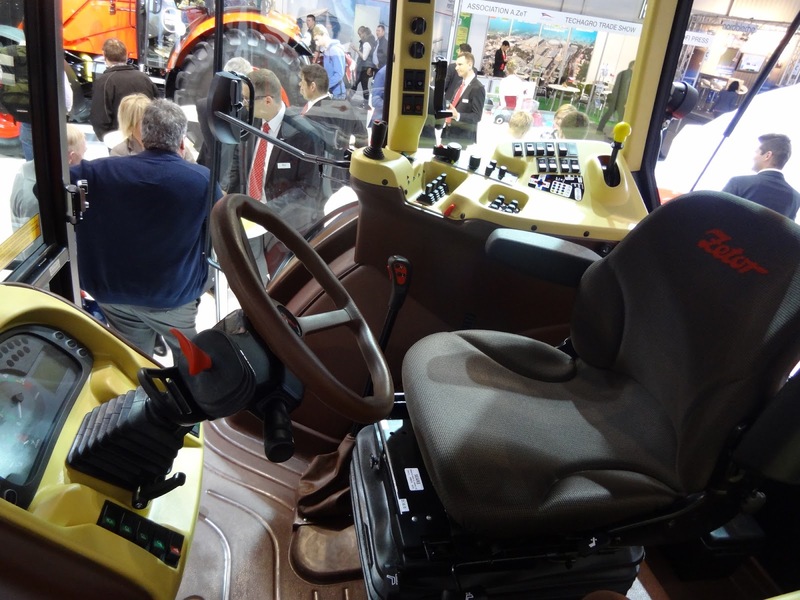 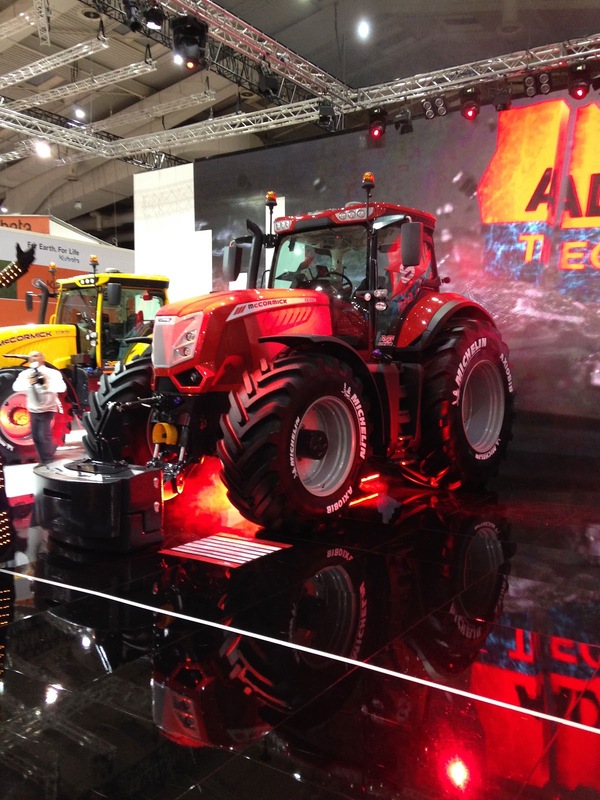 Arbos present​ed modern and well-designed tractors with effects of 100…260 hp. 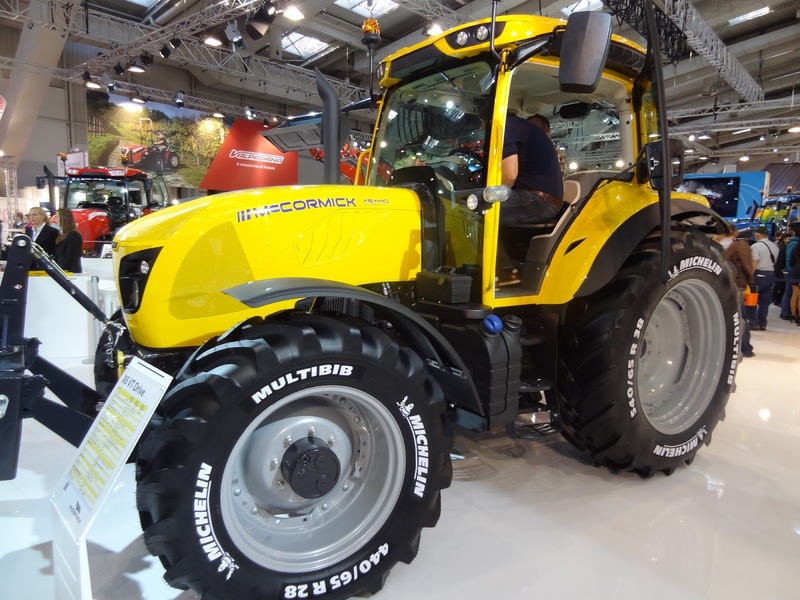 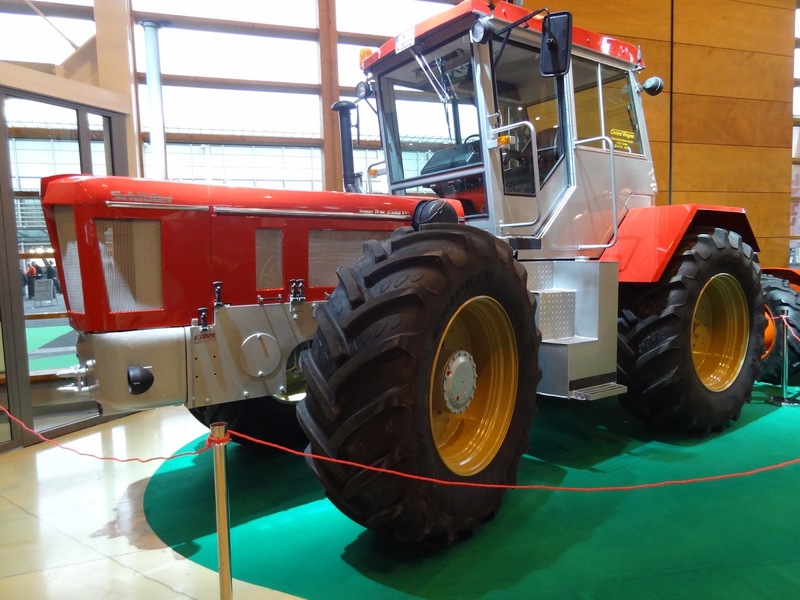 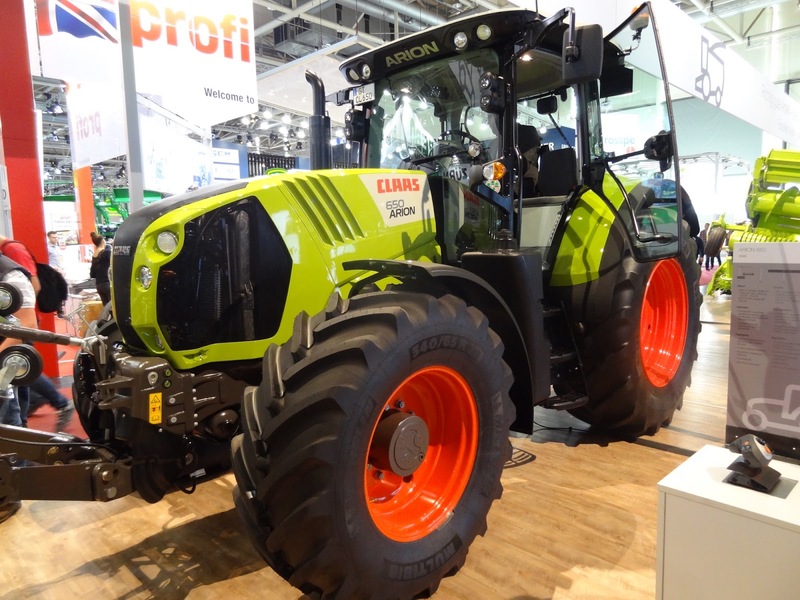 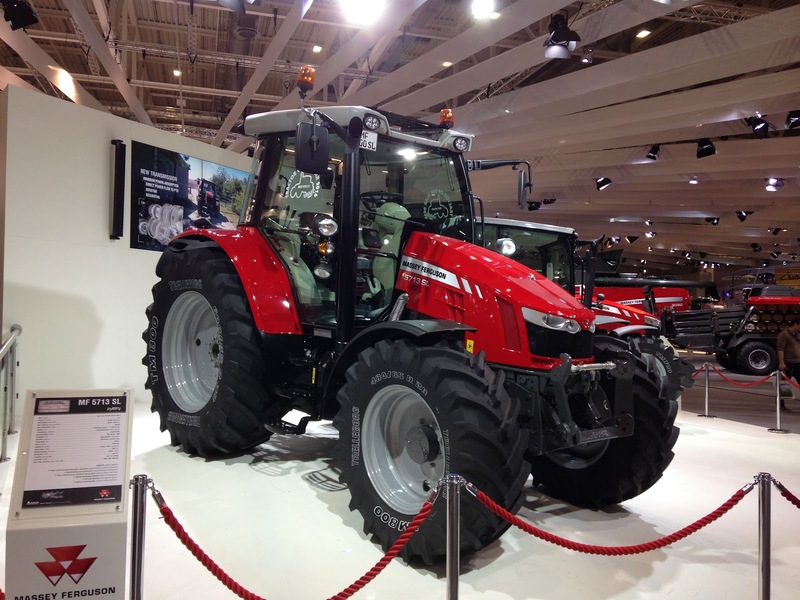 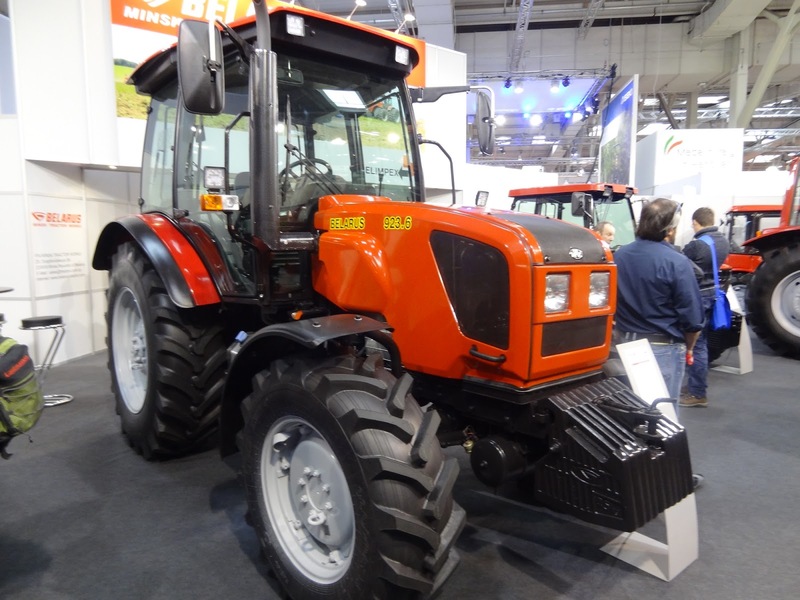 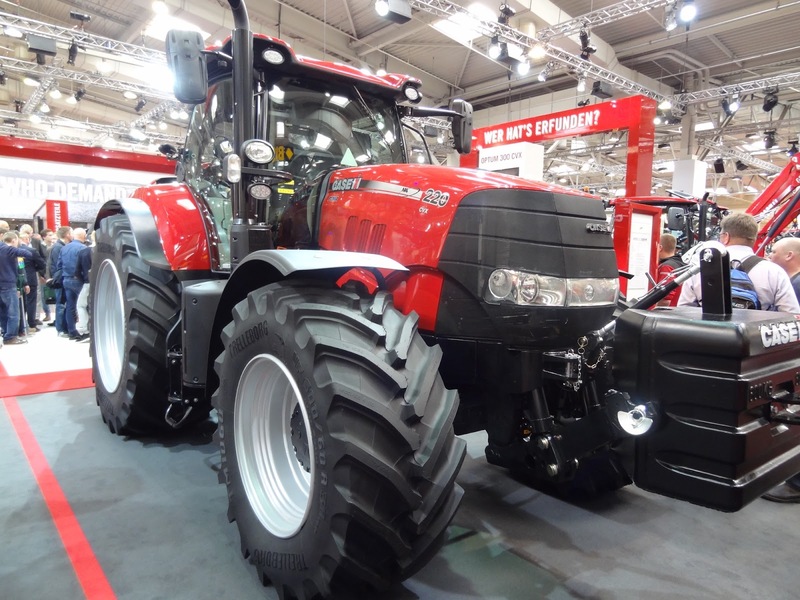 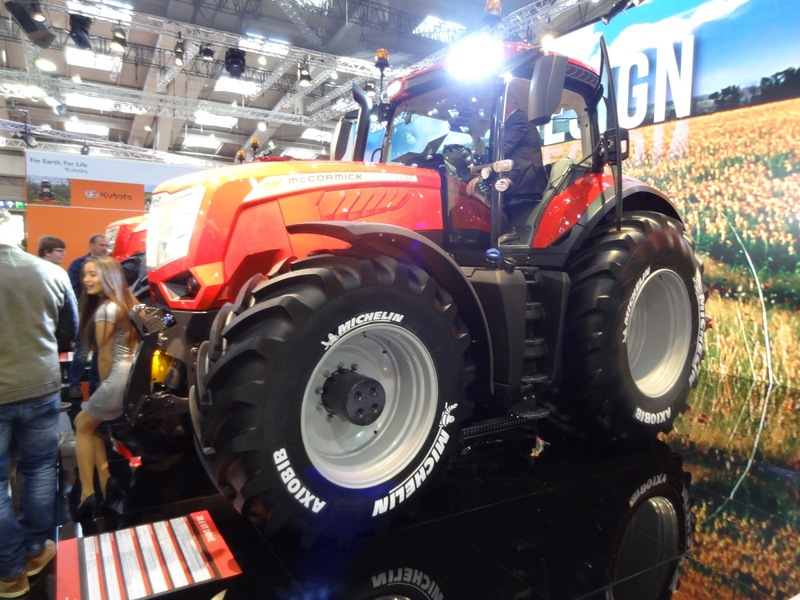 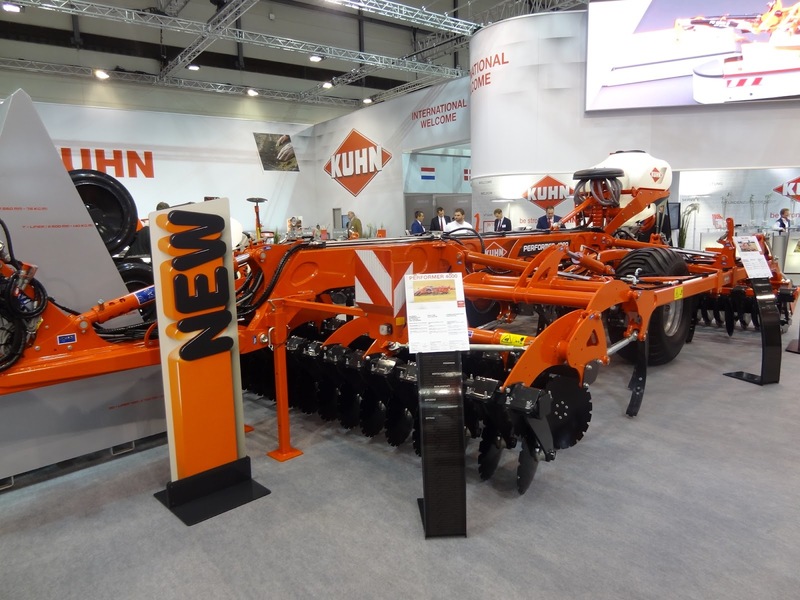 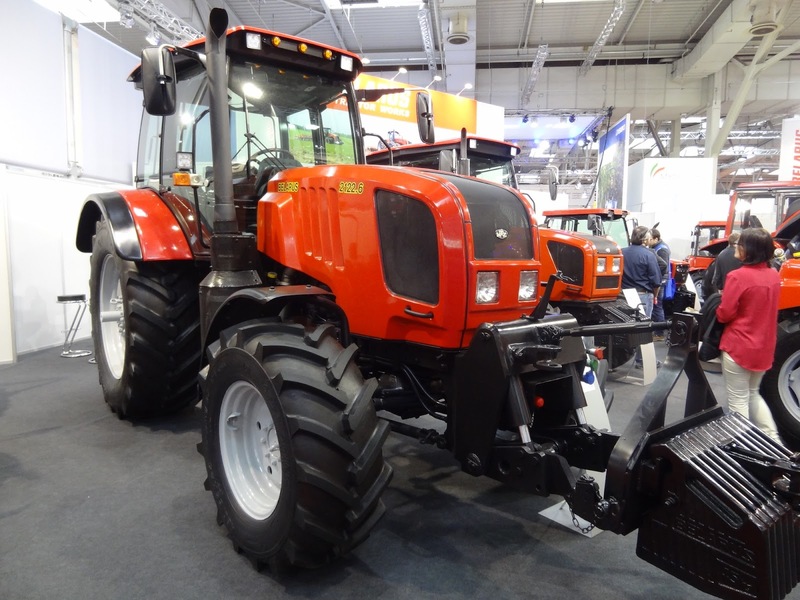 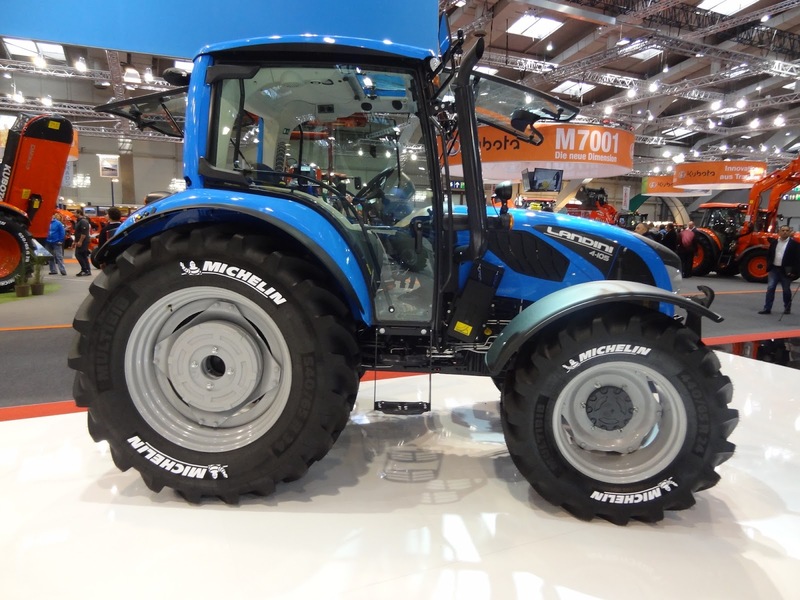 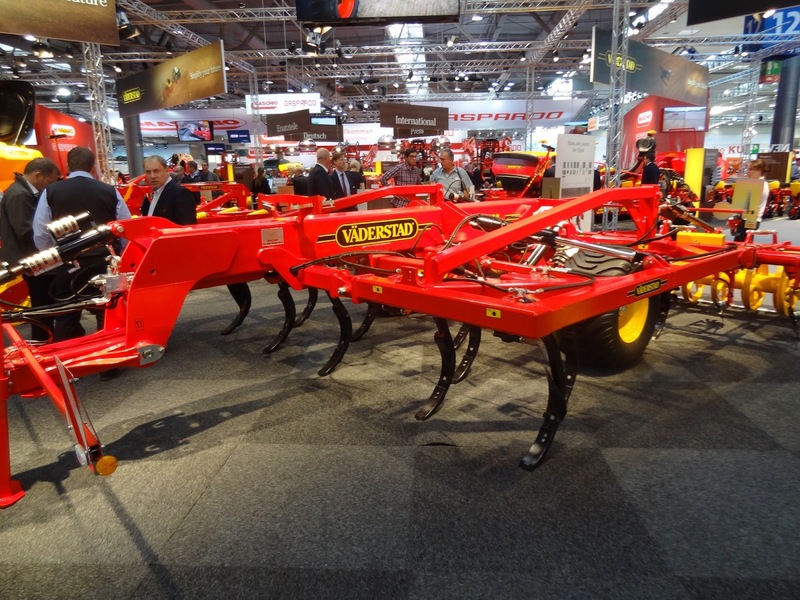 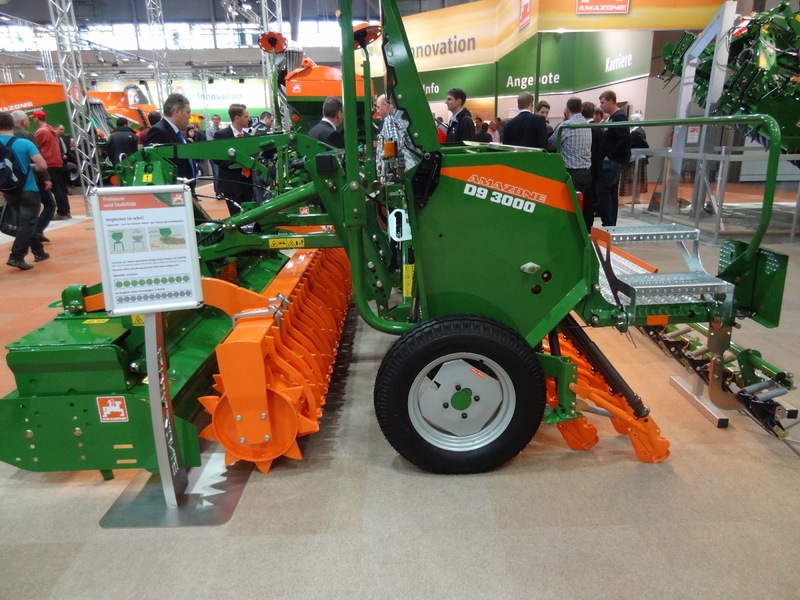 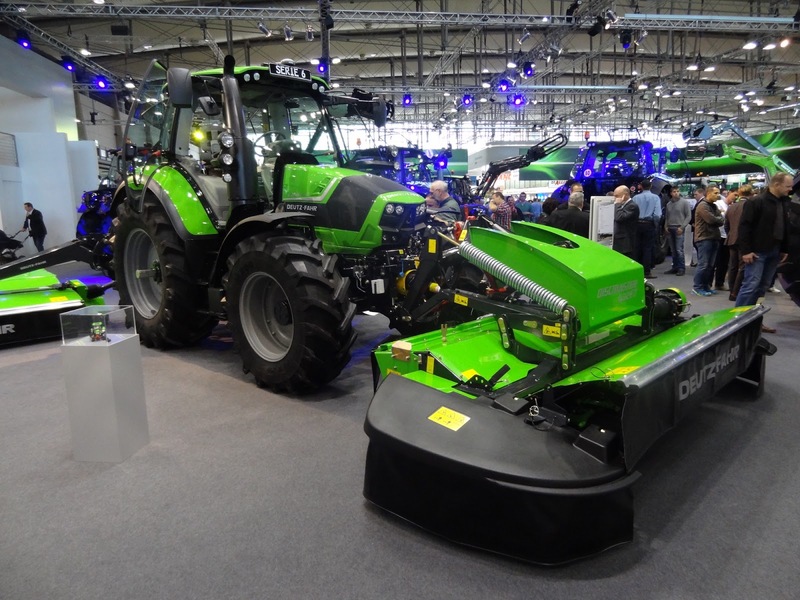 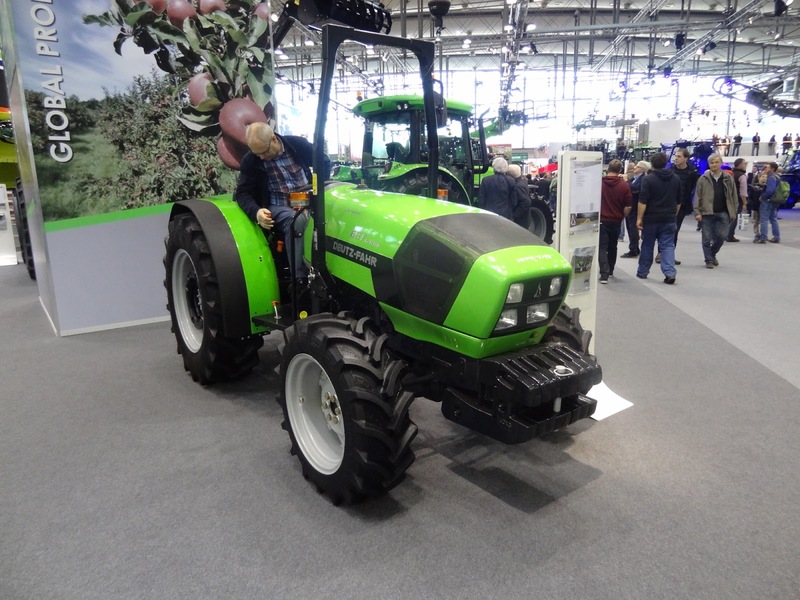 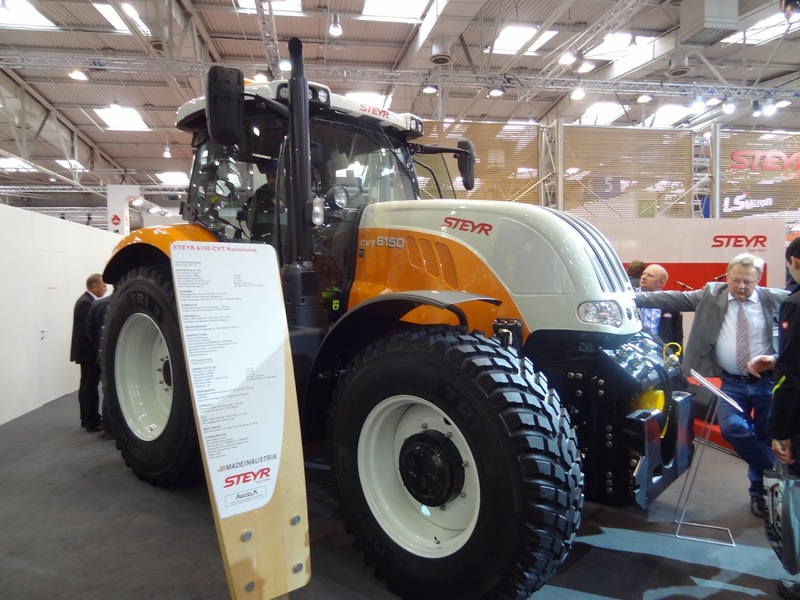 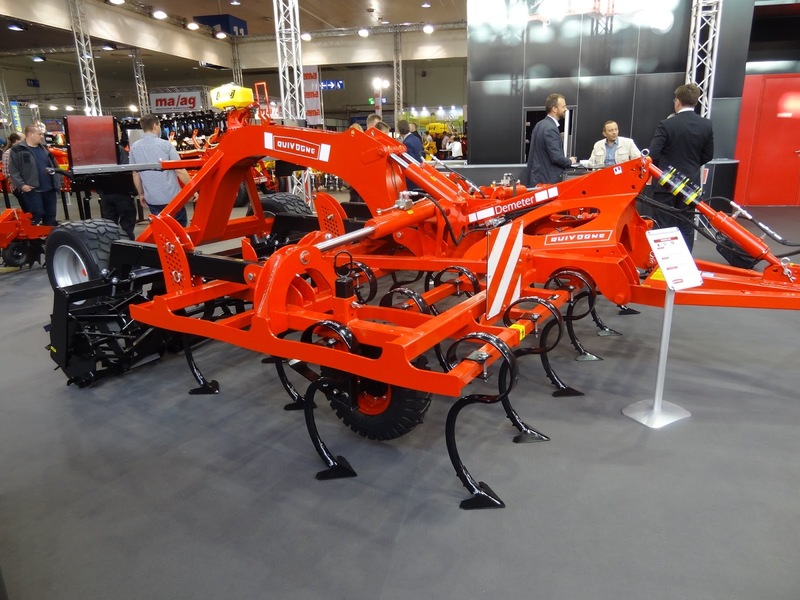 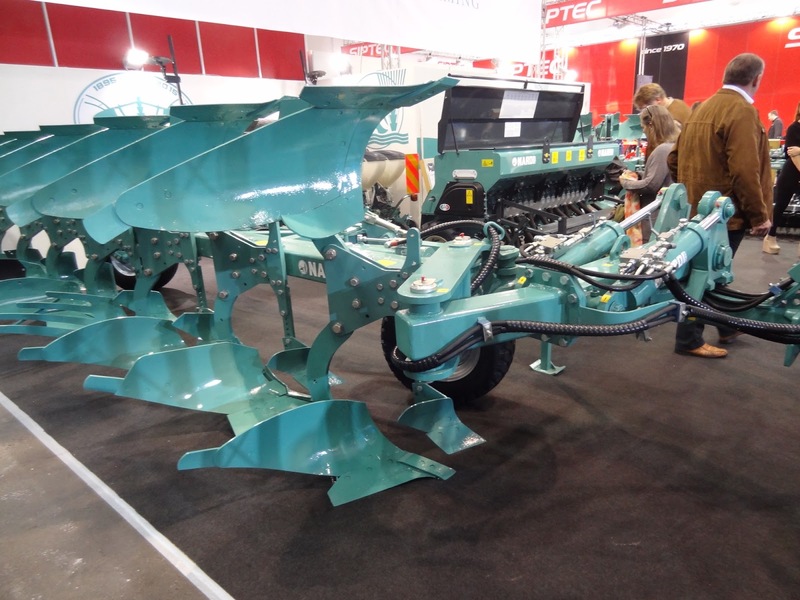 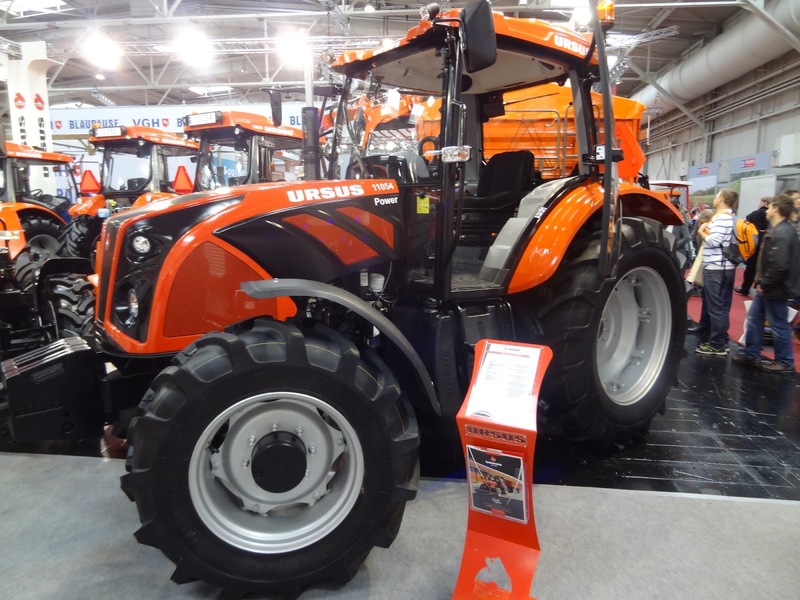 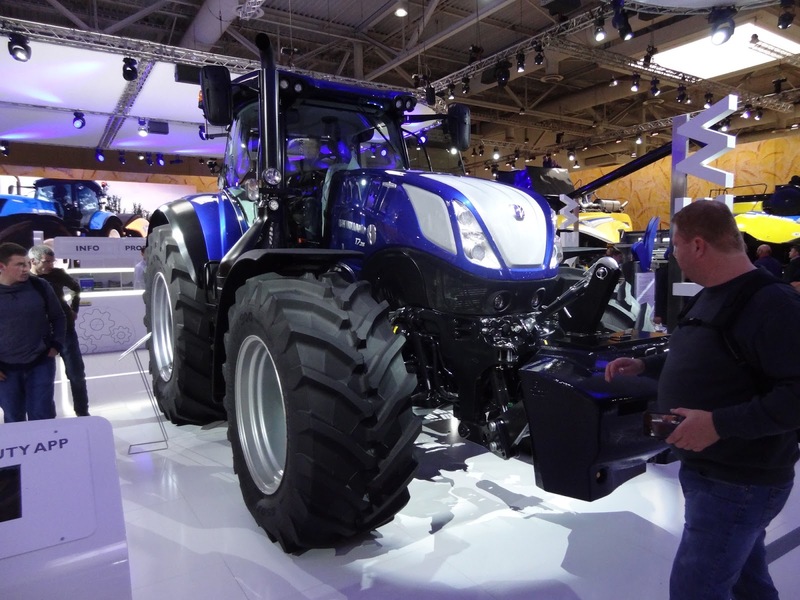 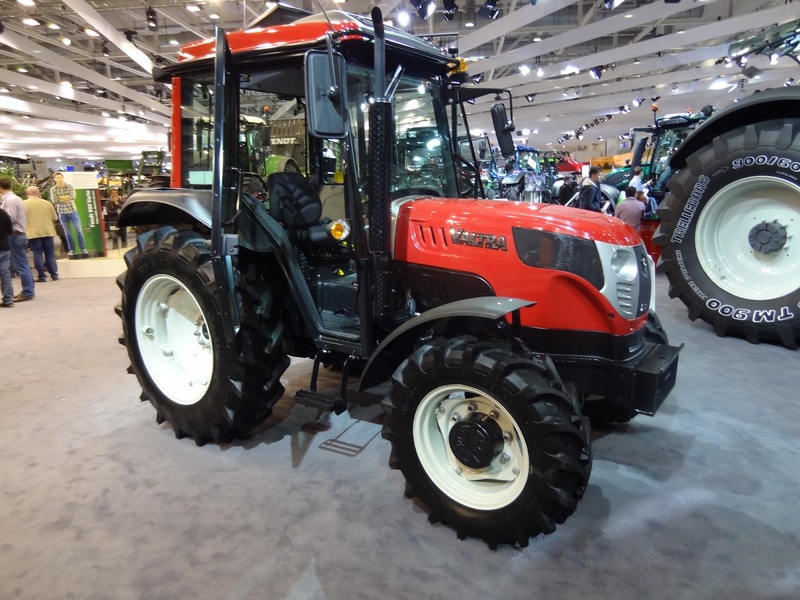 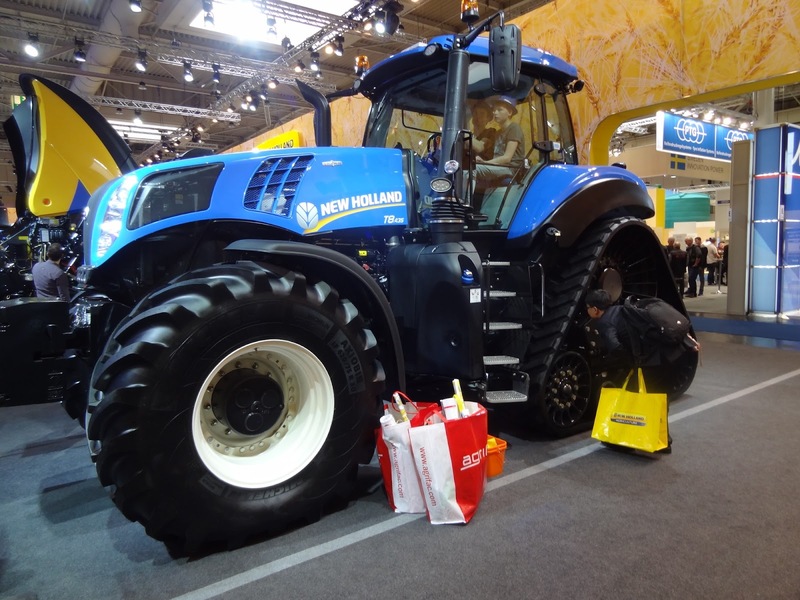 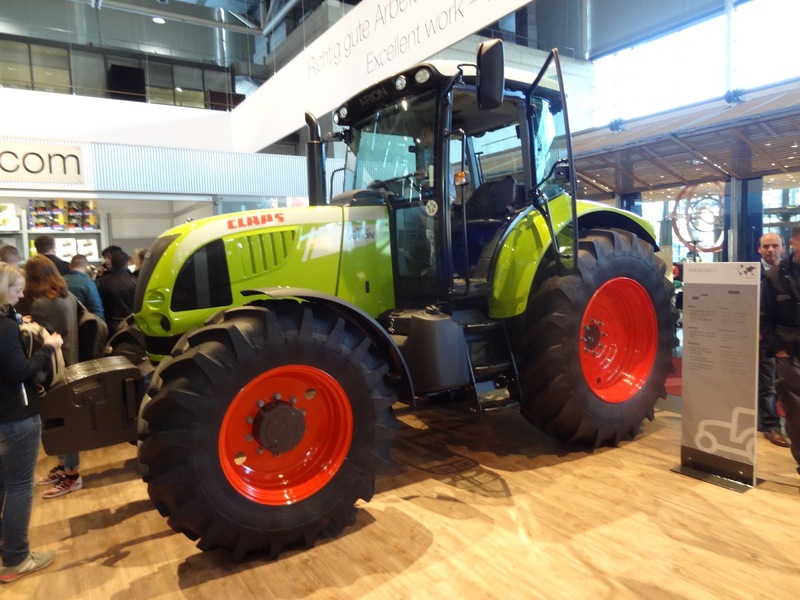 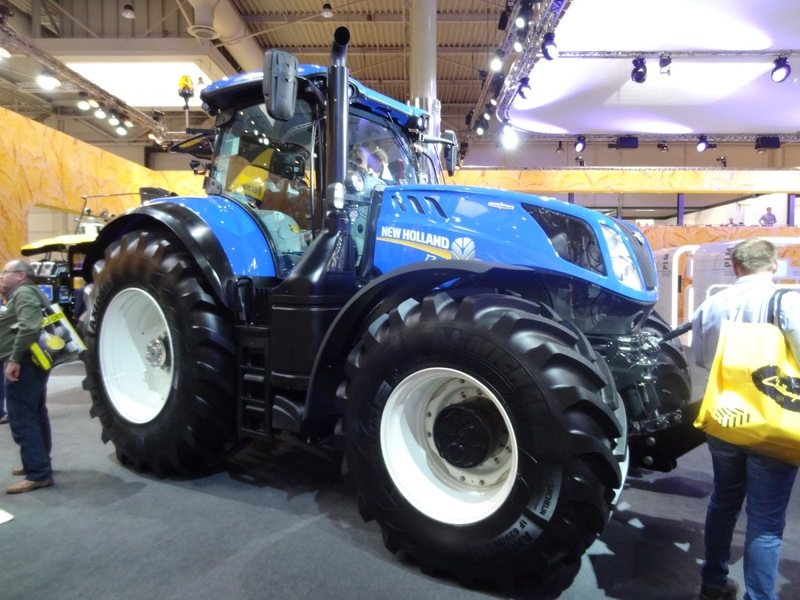 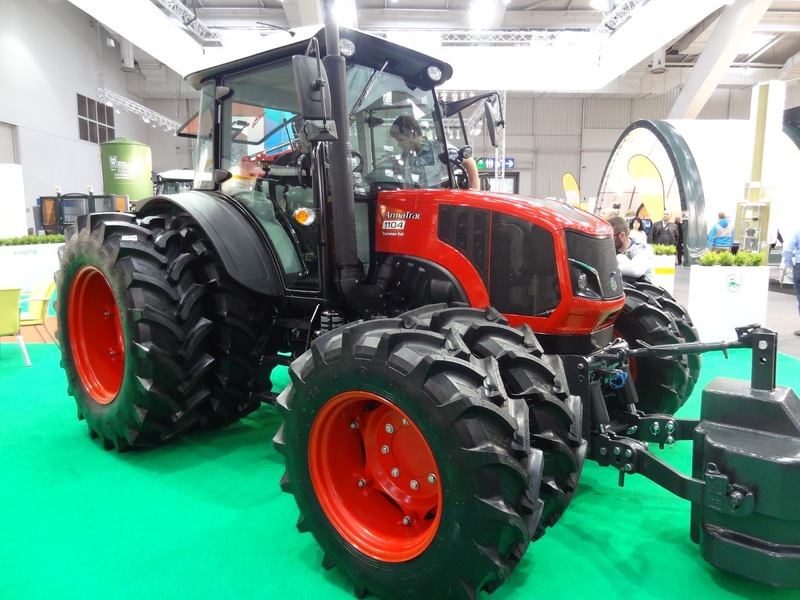 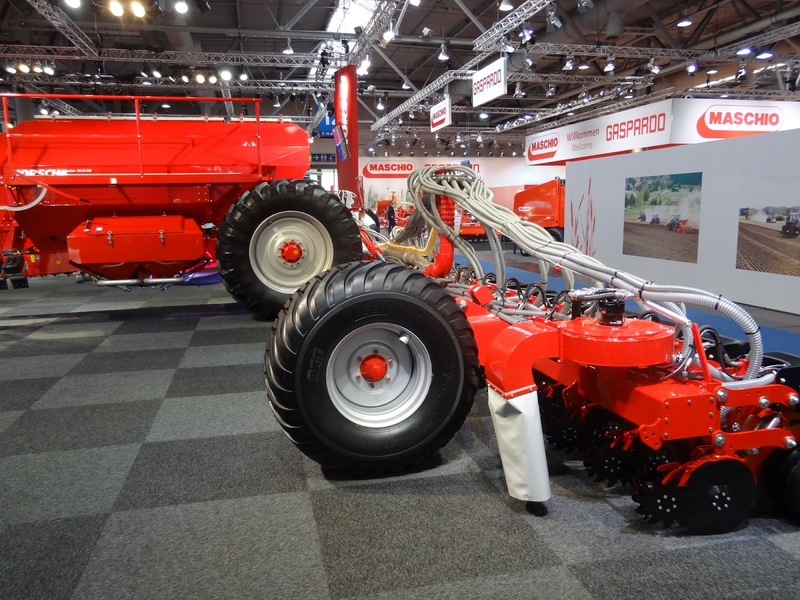 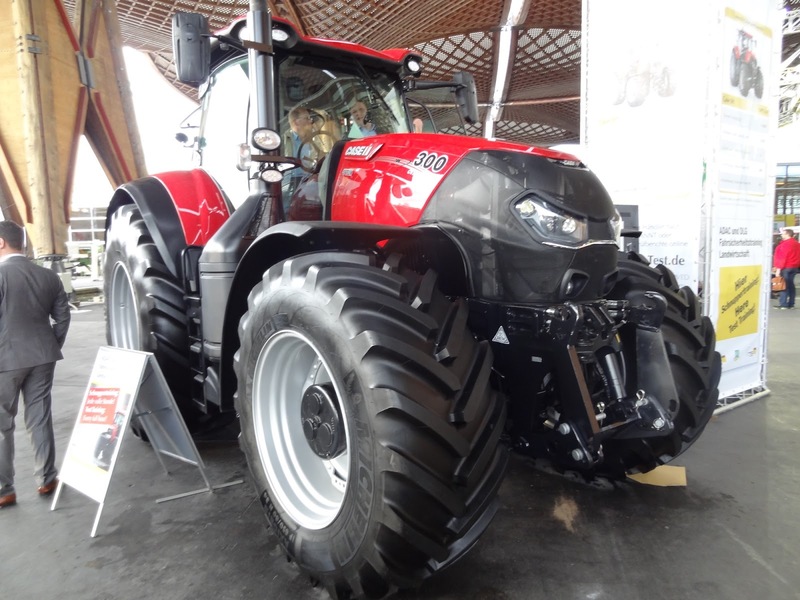 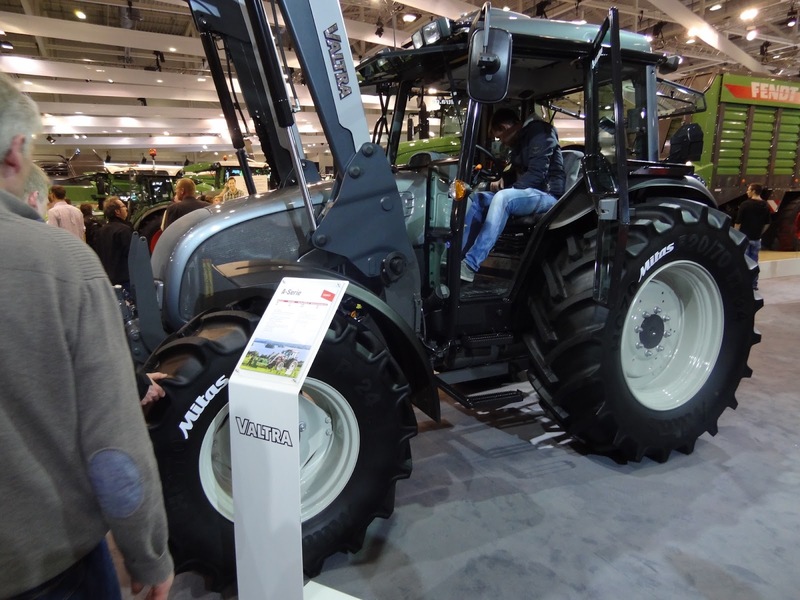 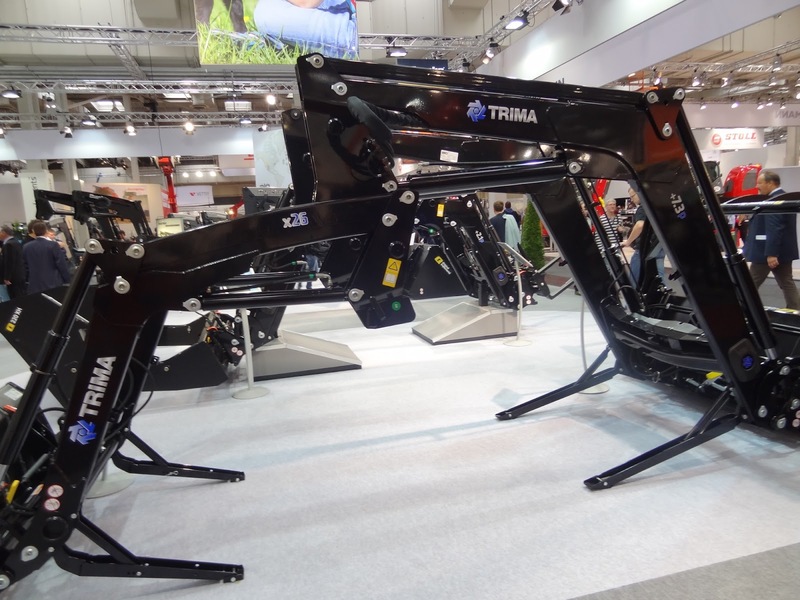 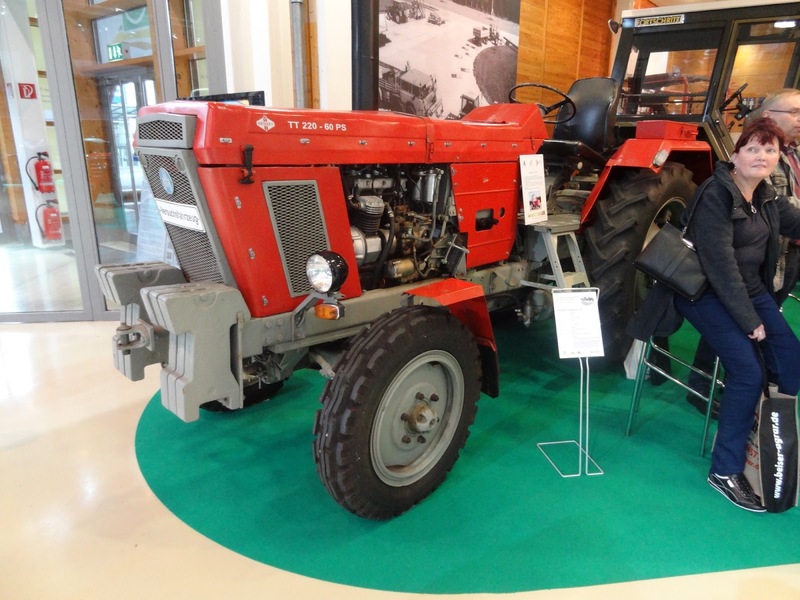 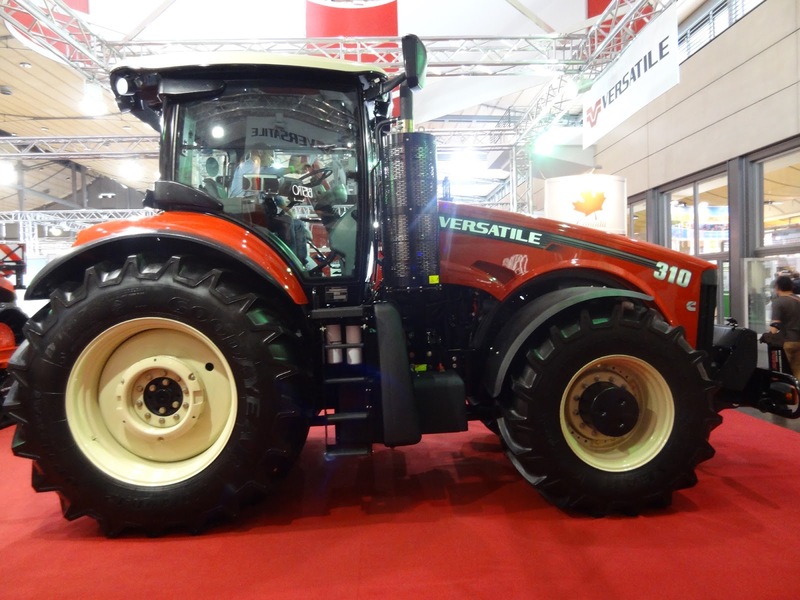 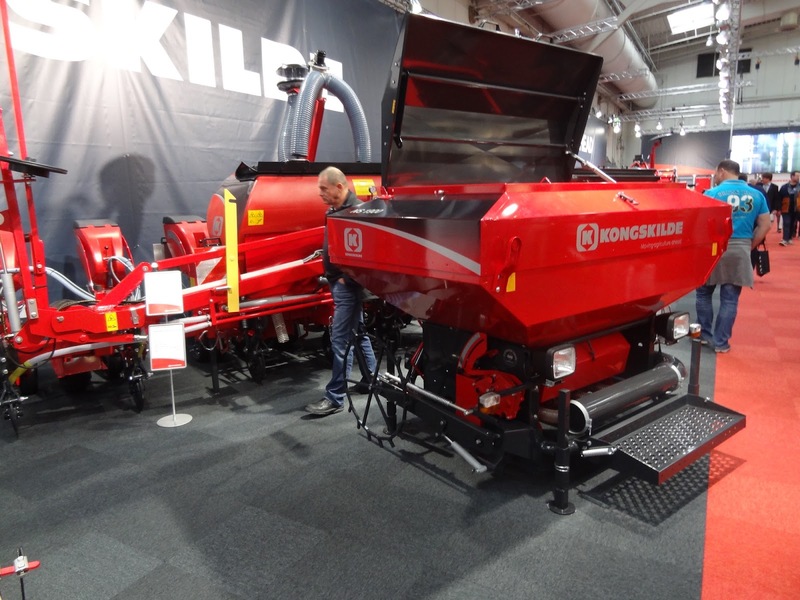 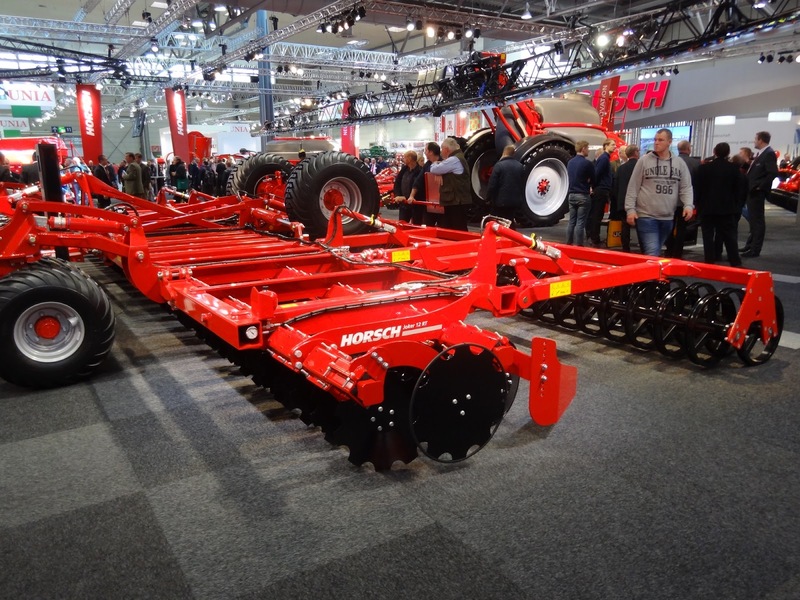 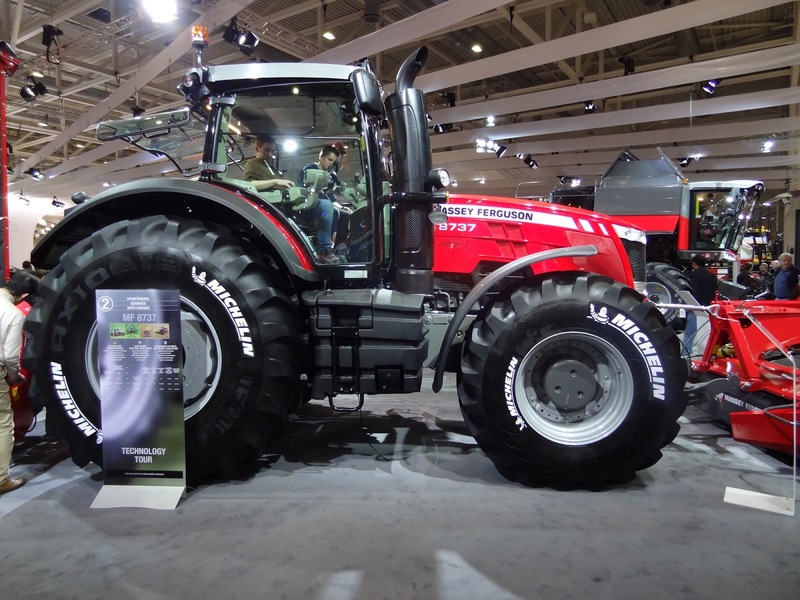 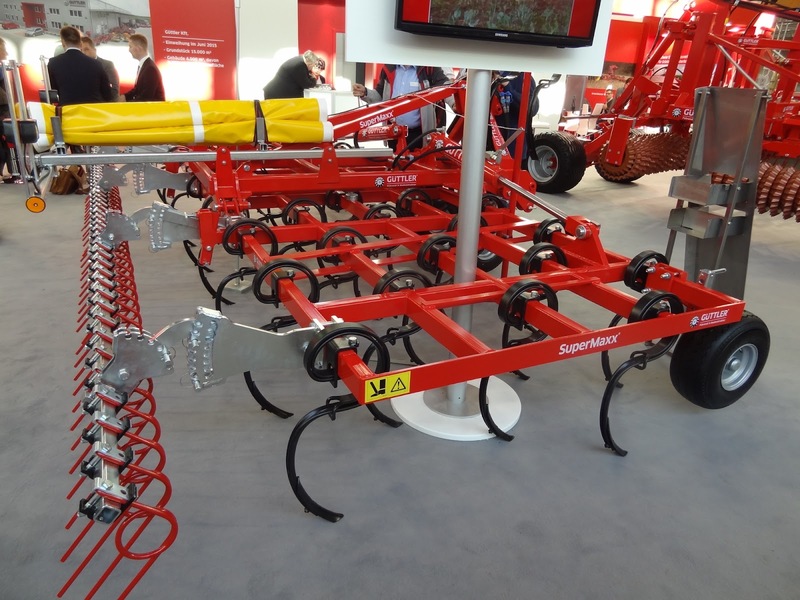 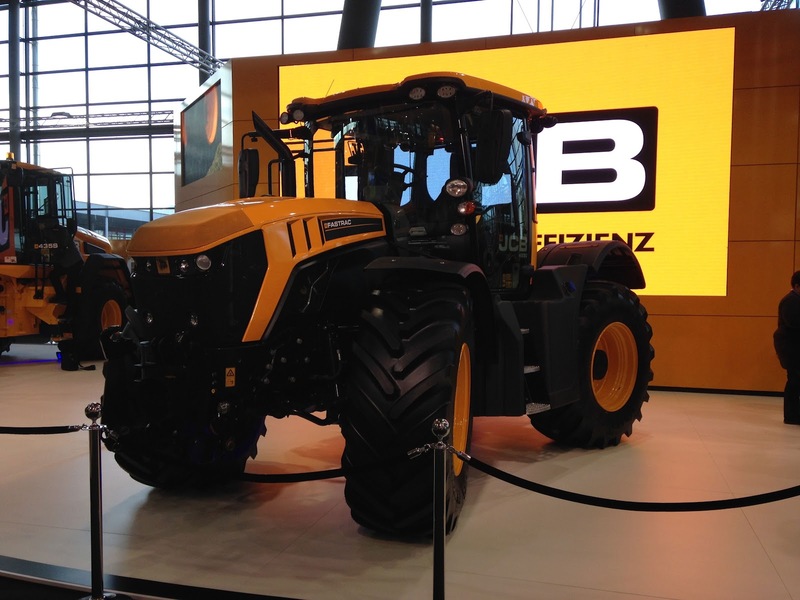 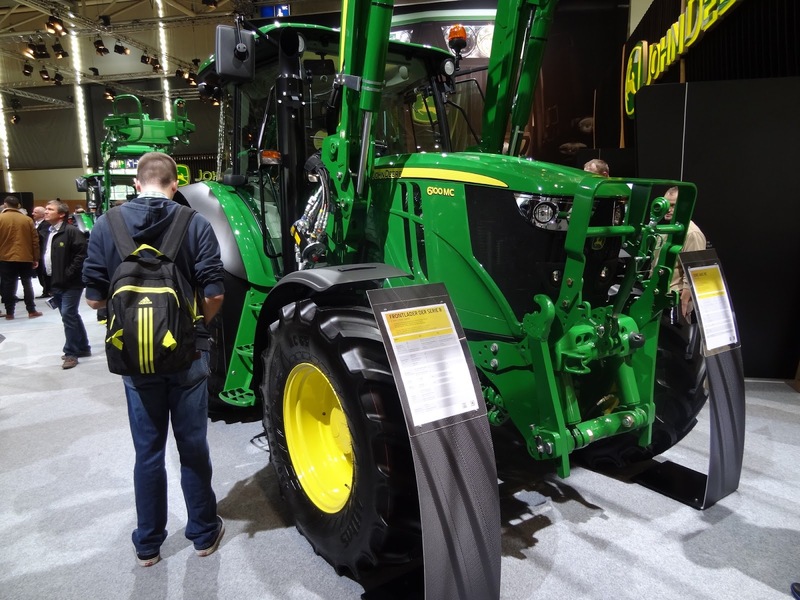 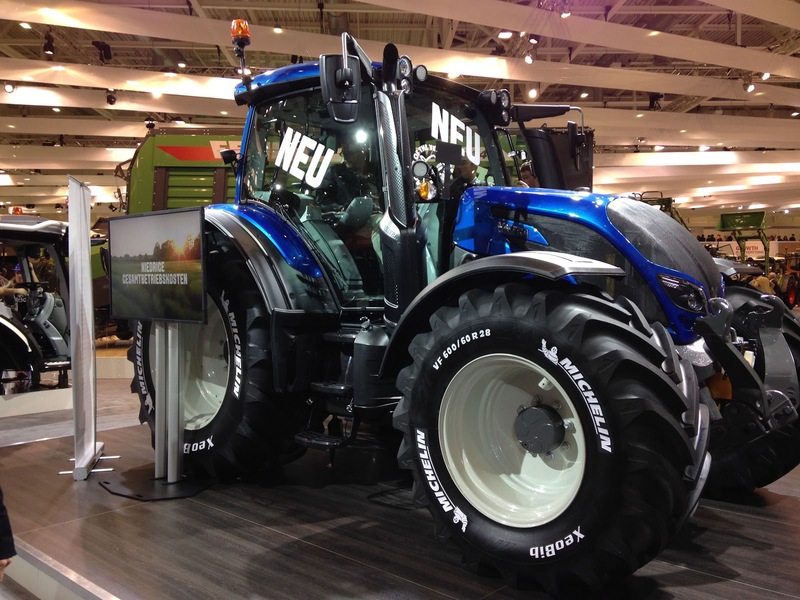 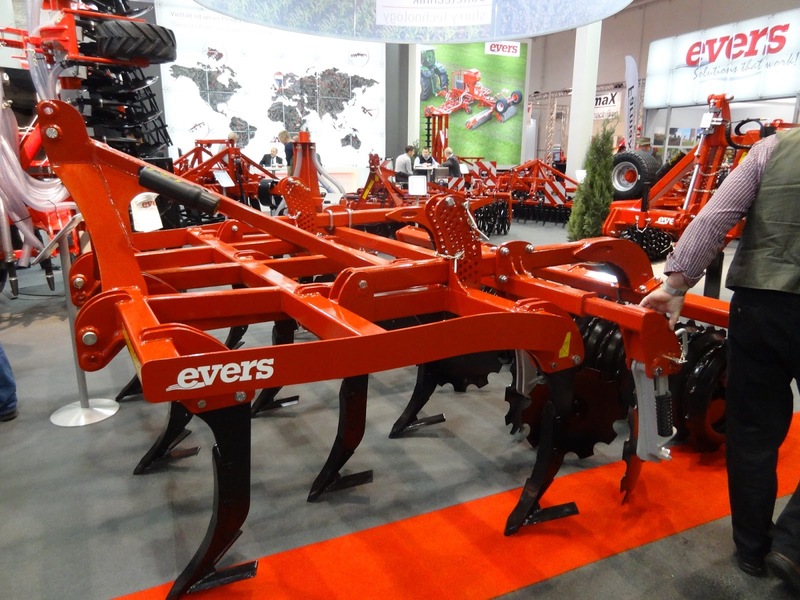 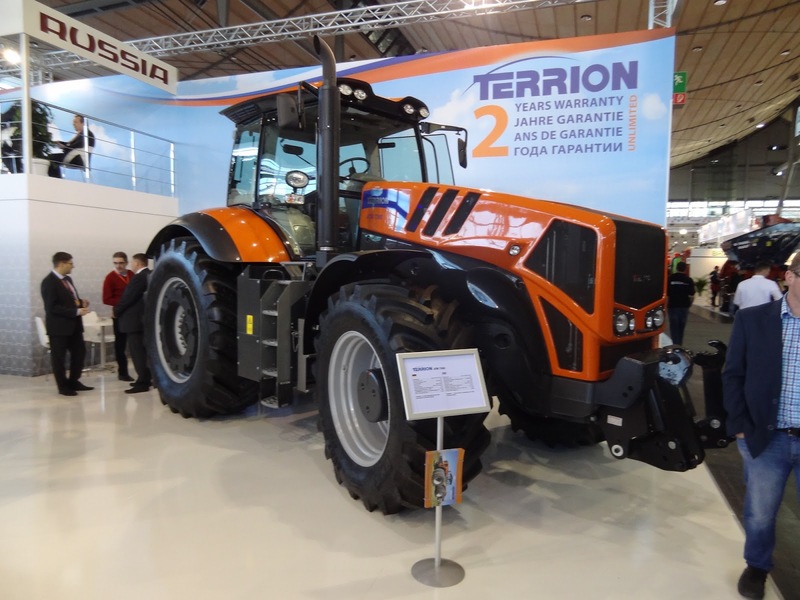 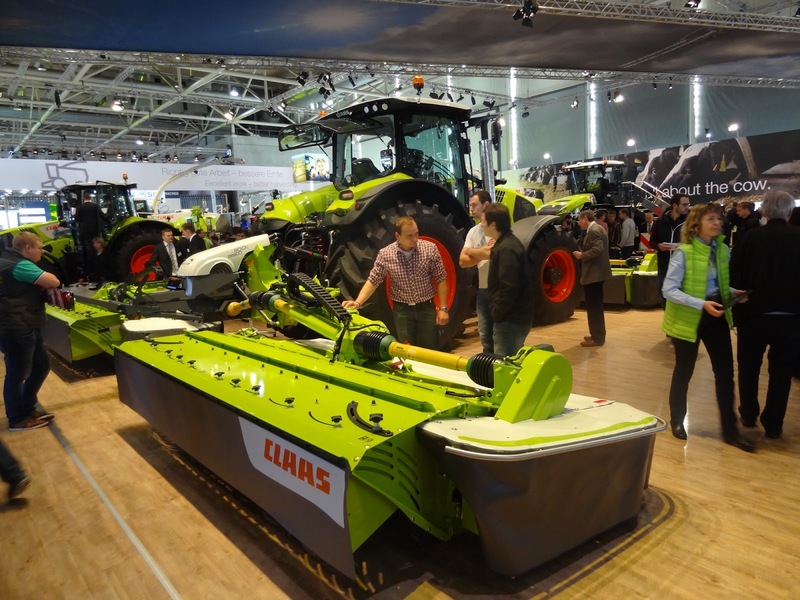 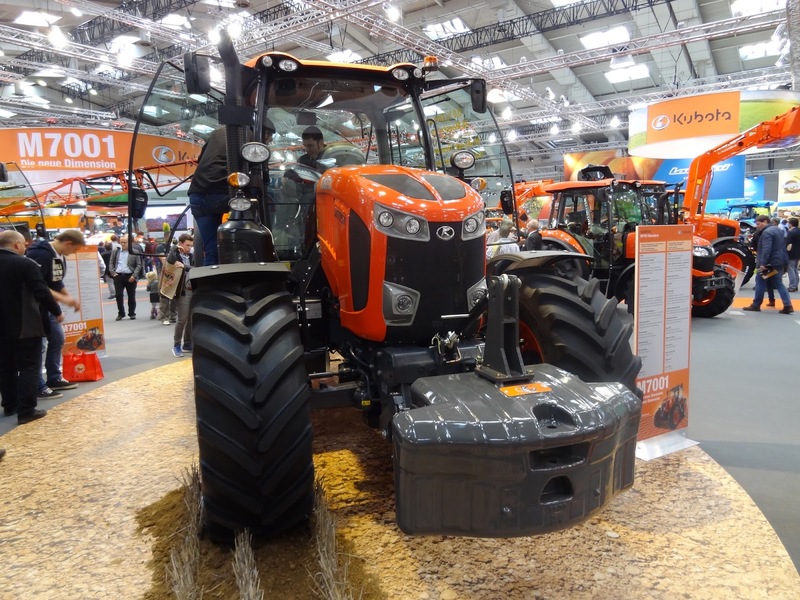 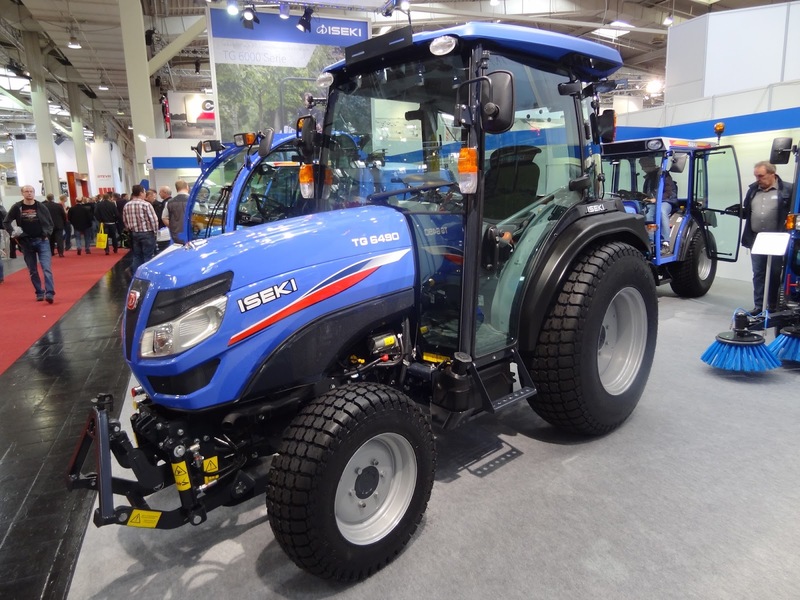 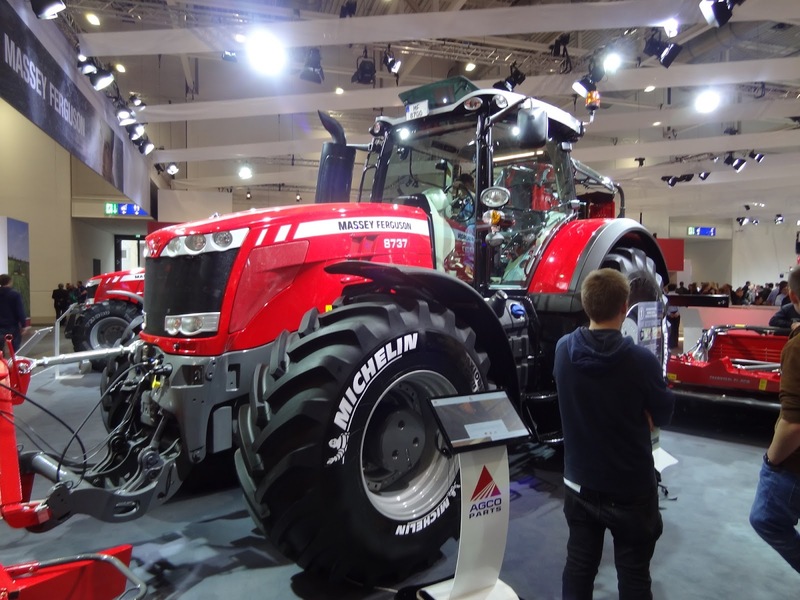 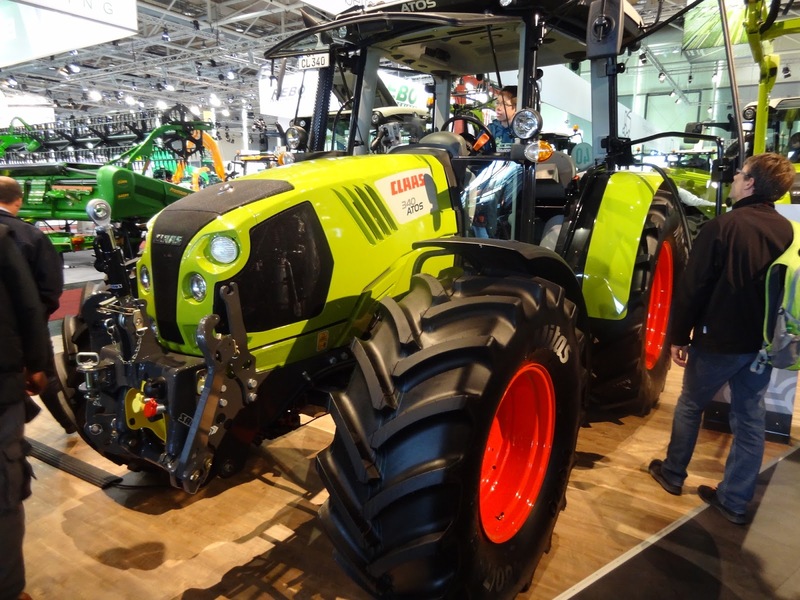 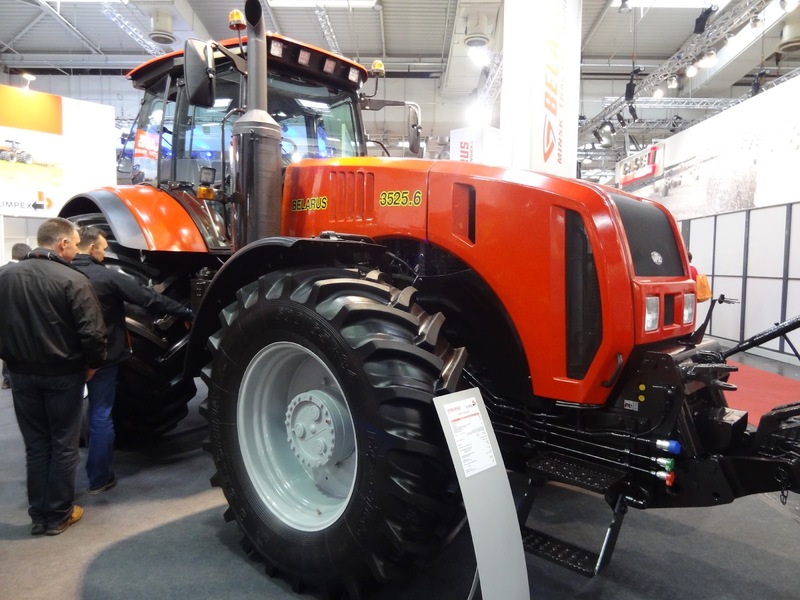 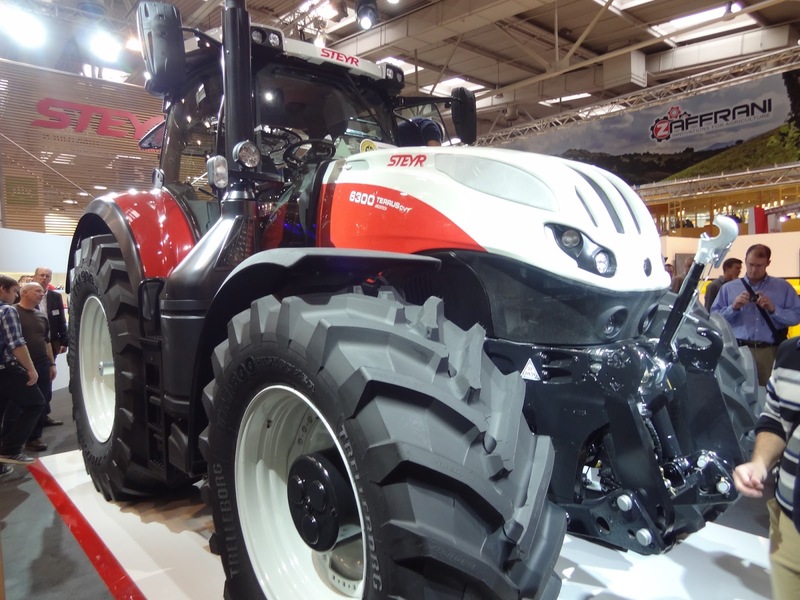 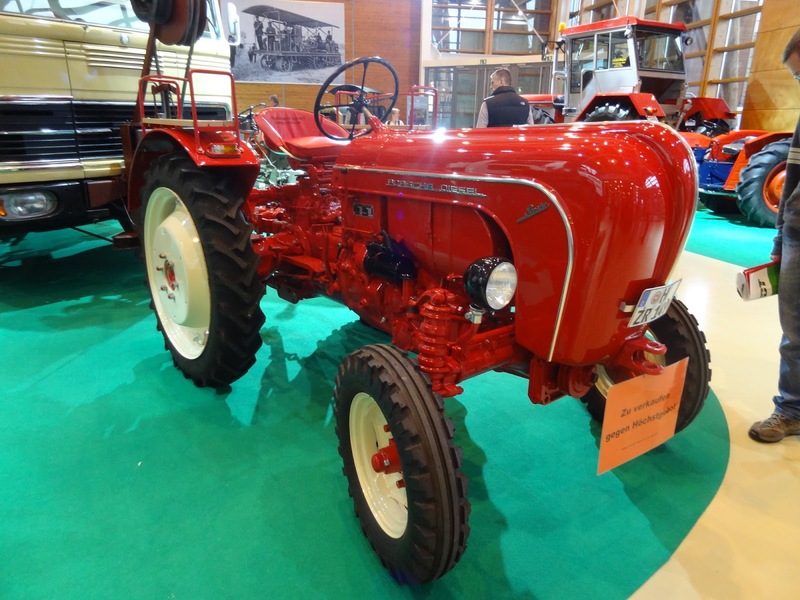 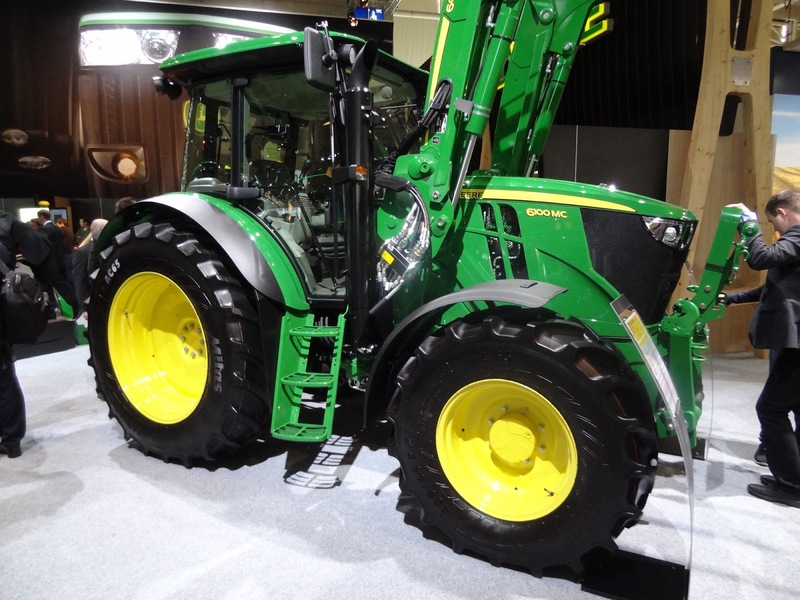 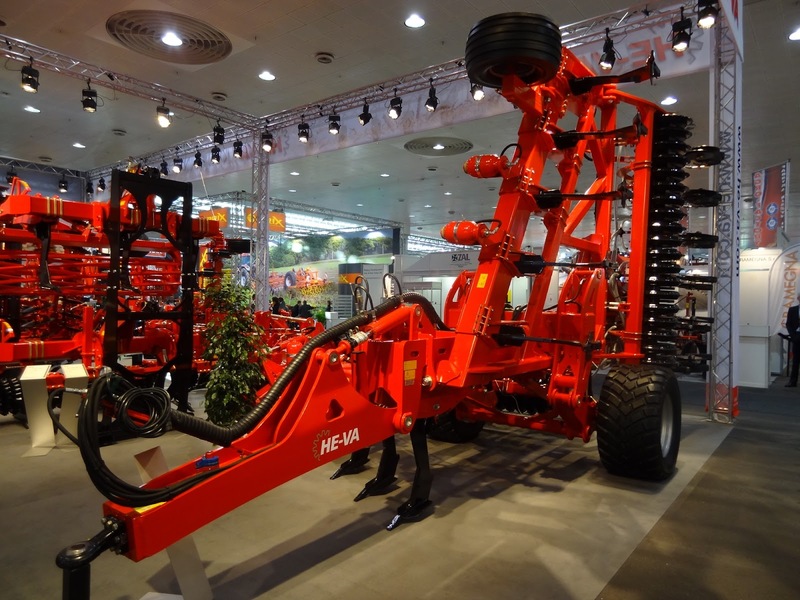 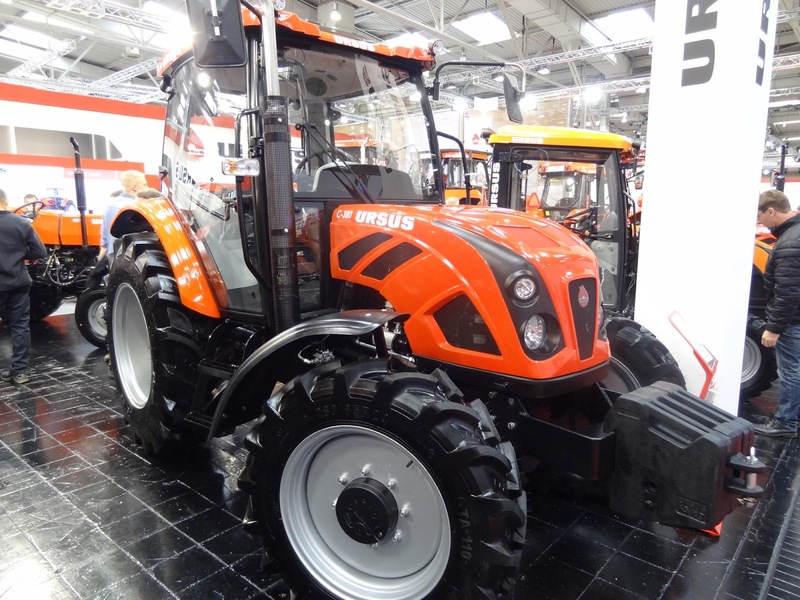 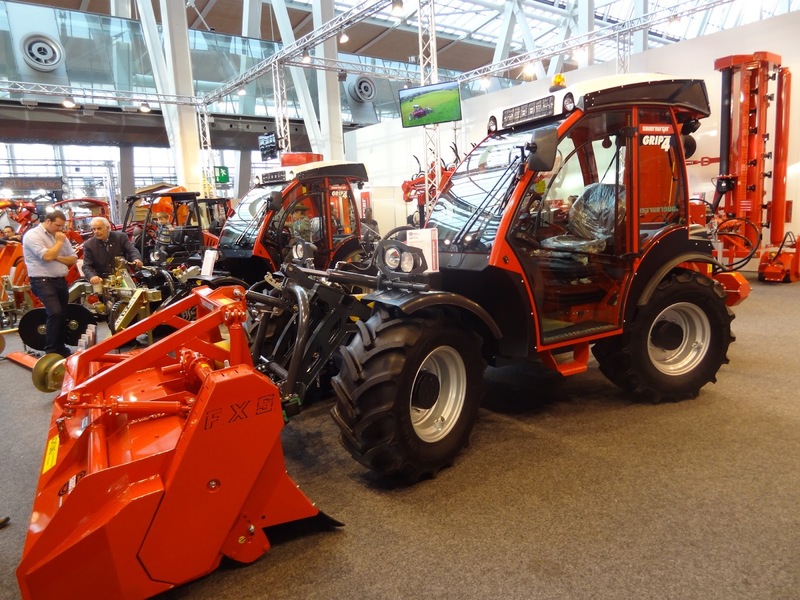 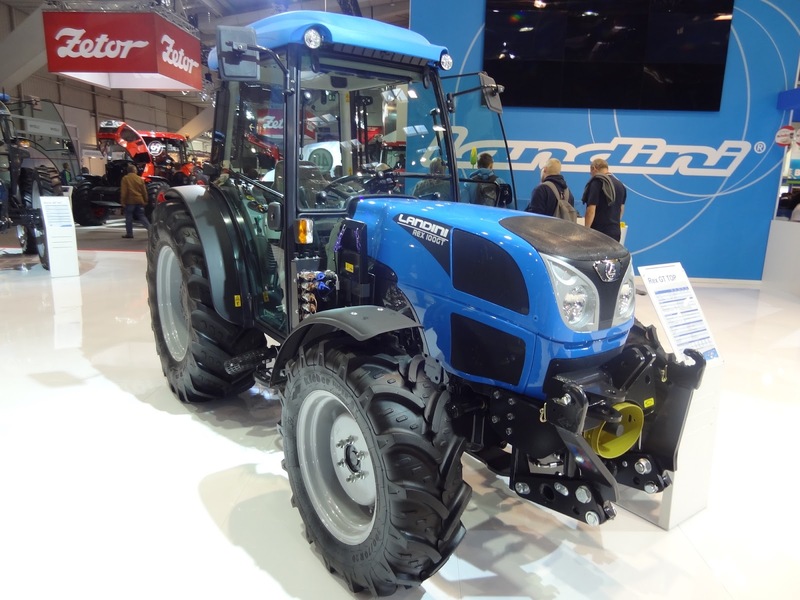 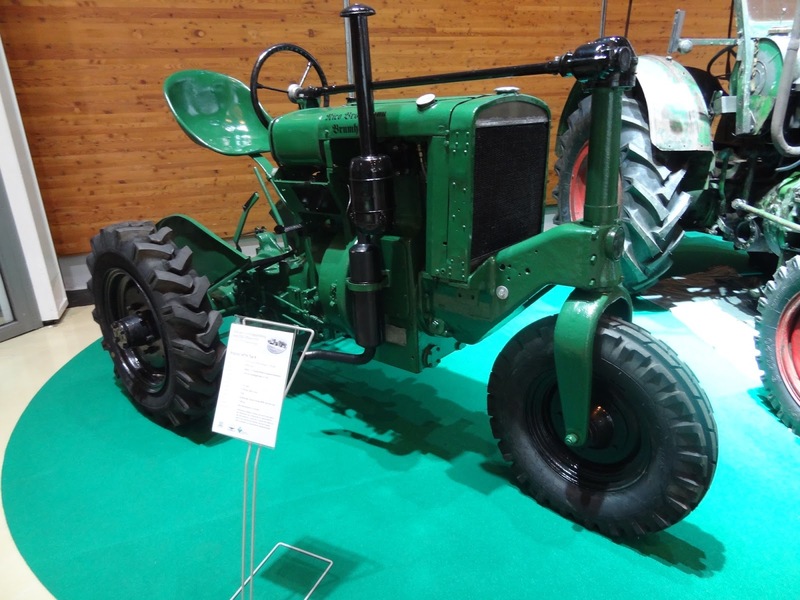 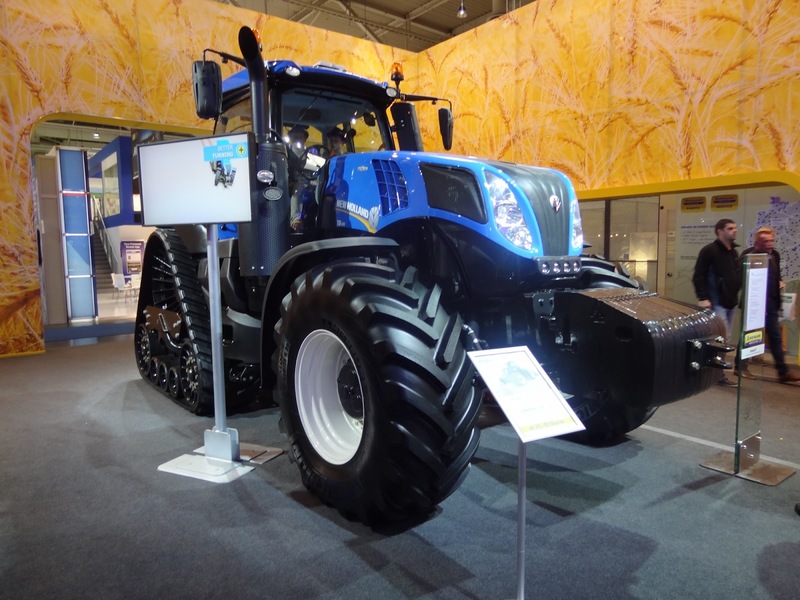 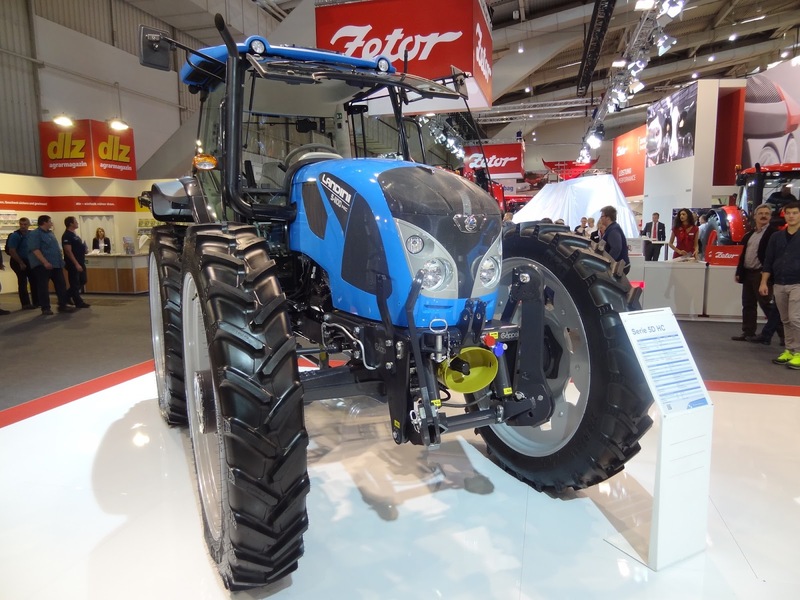 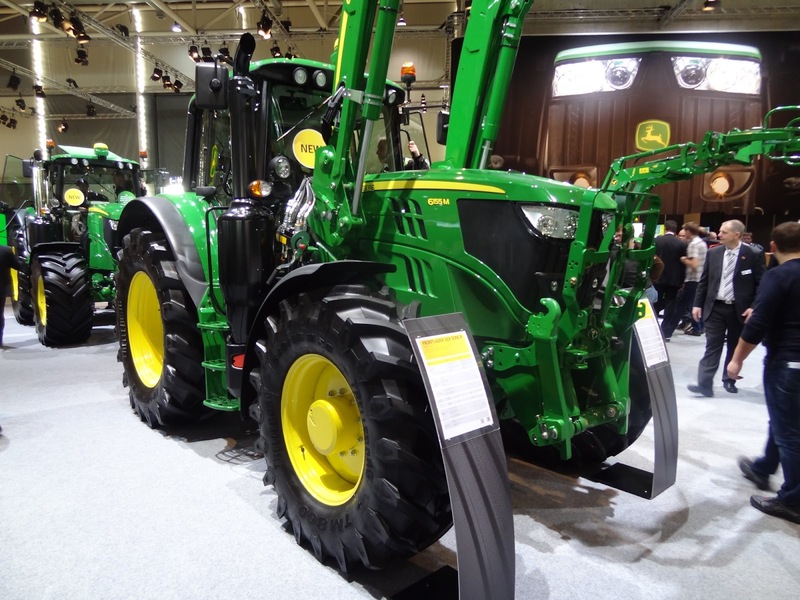 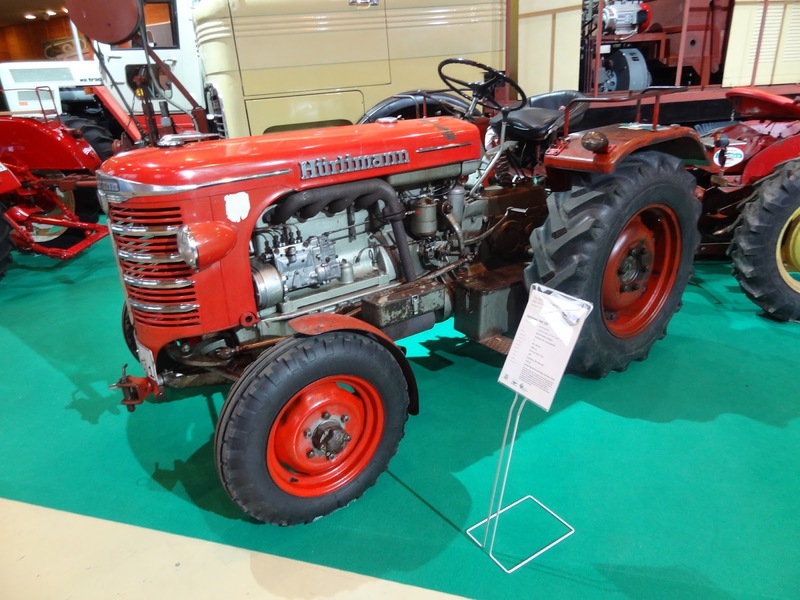 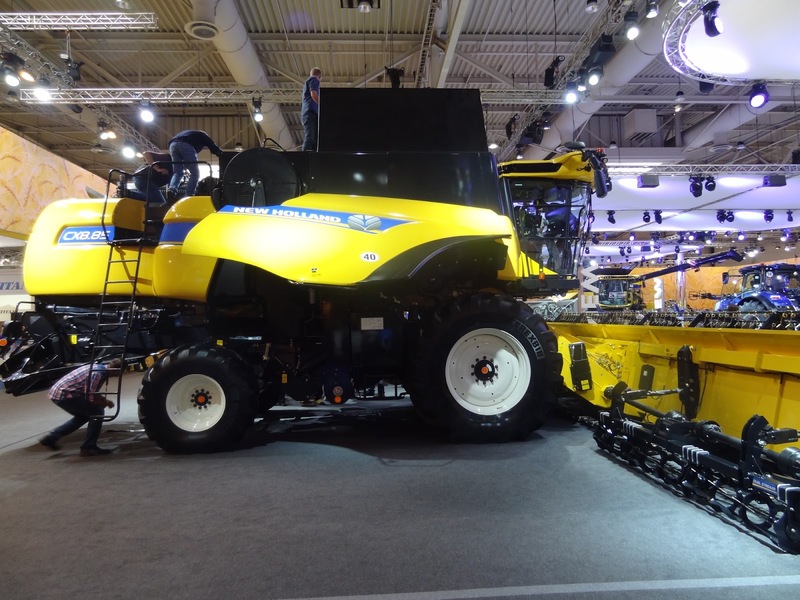 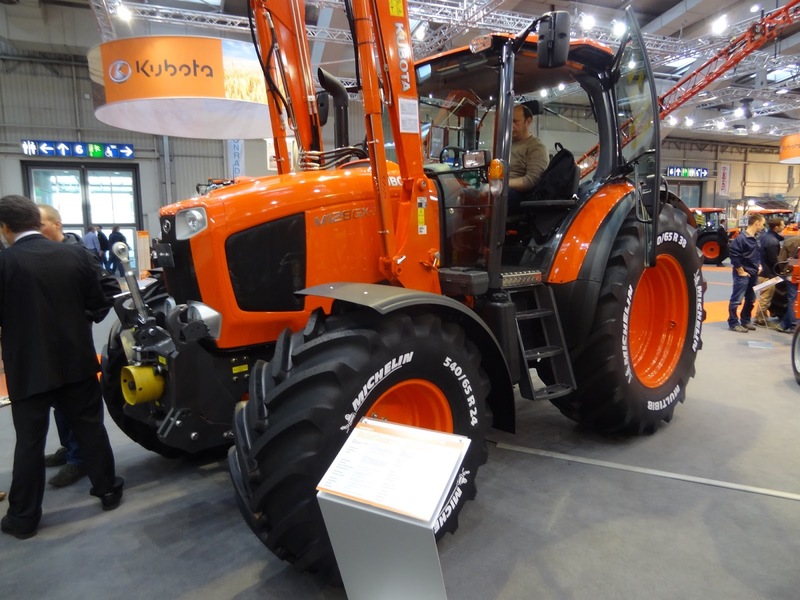 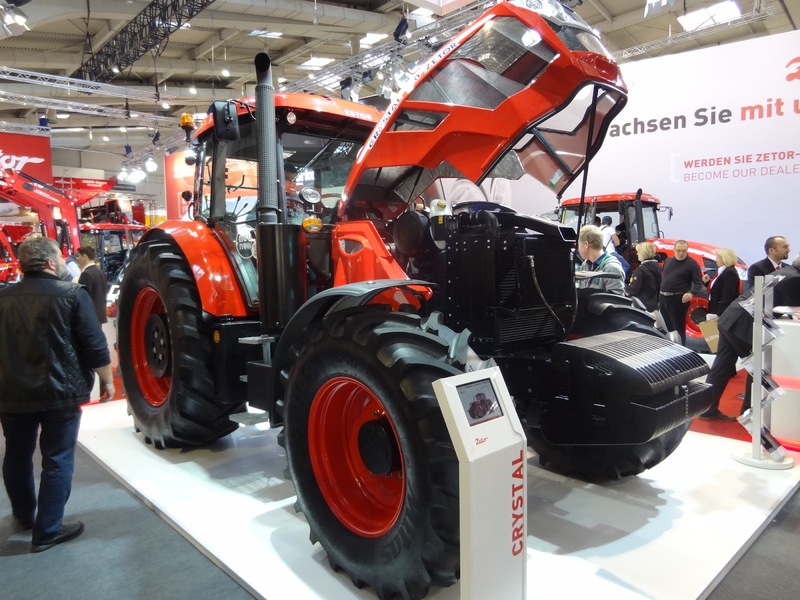 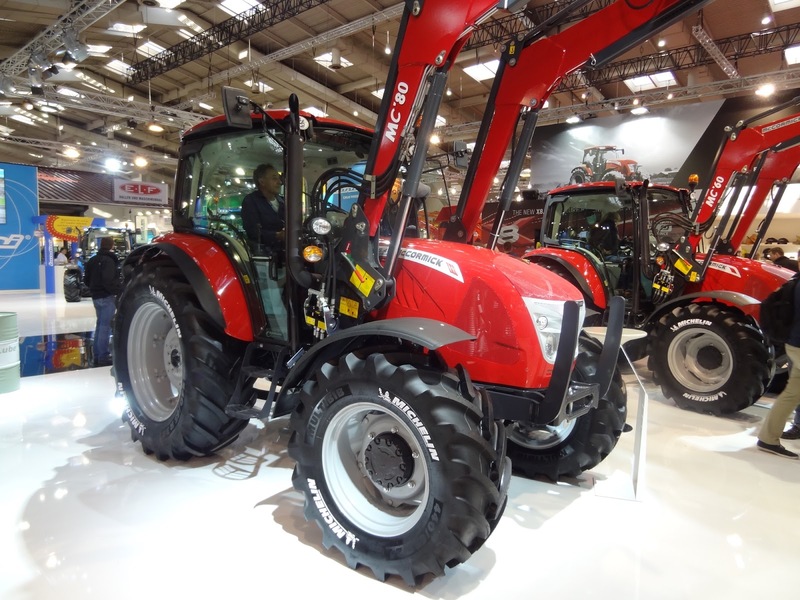 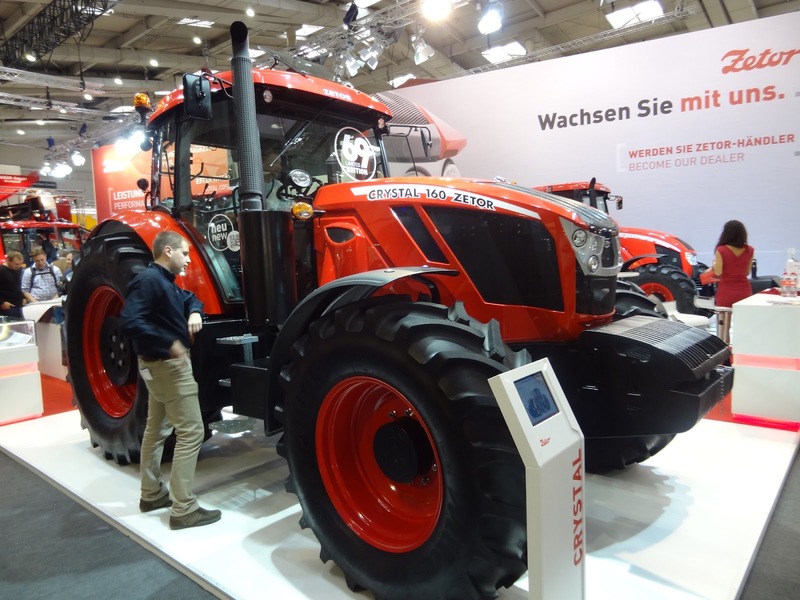 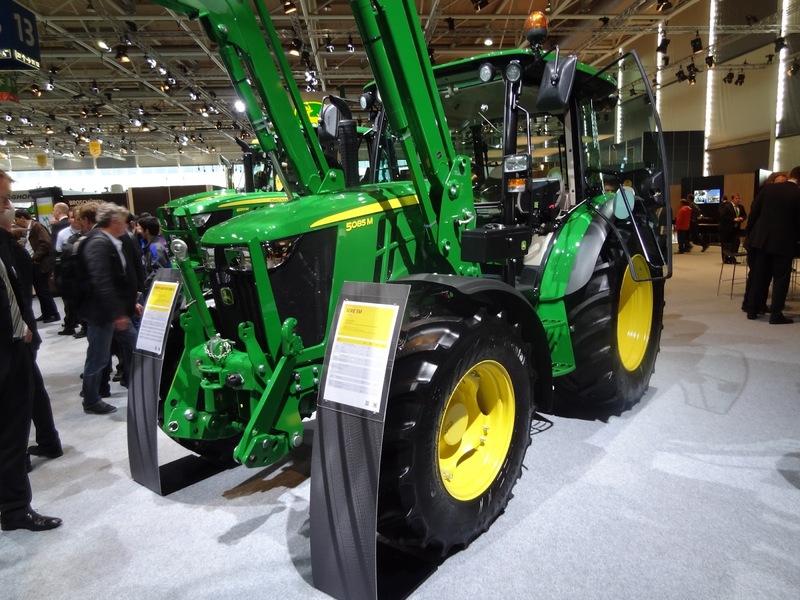 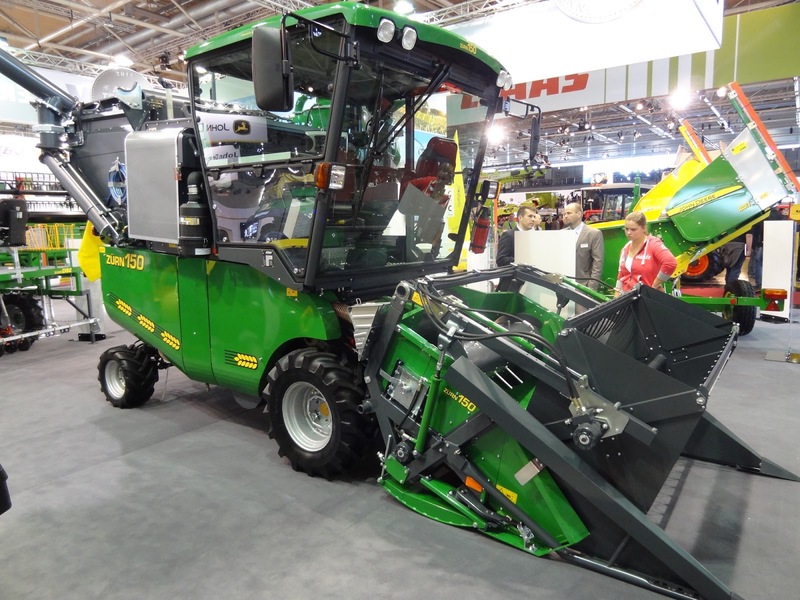 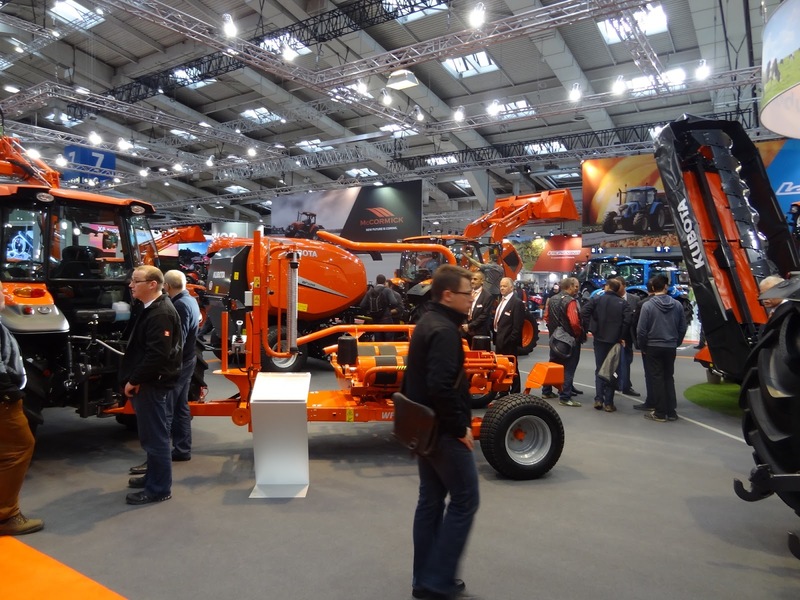 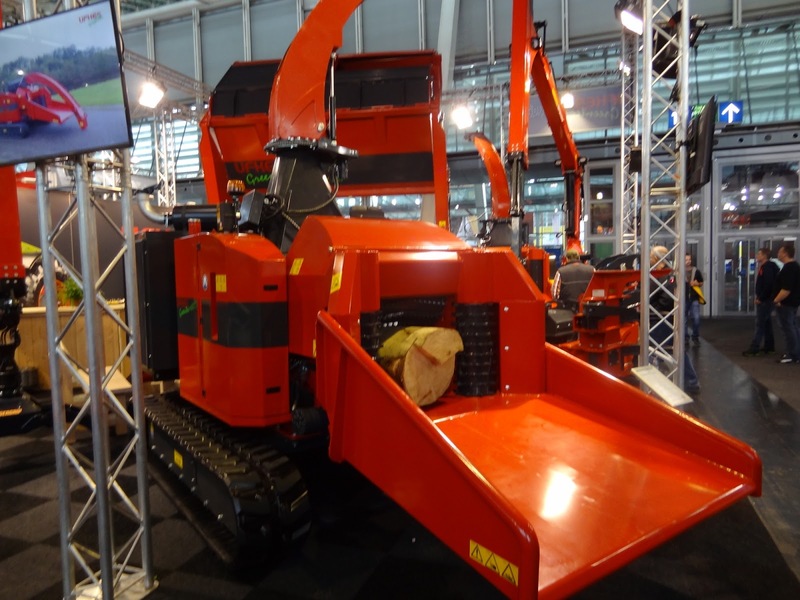 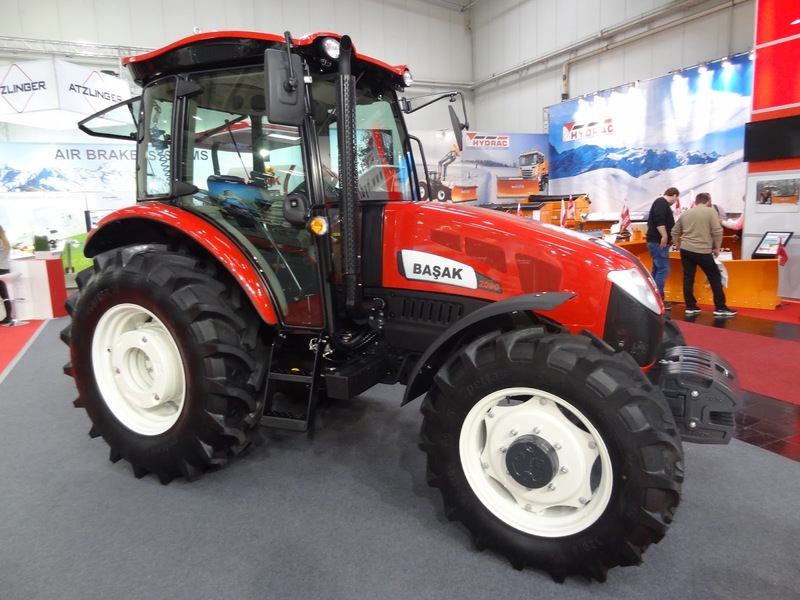 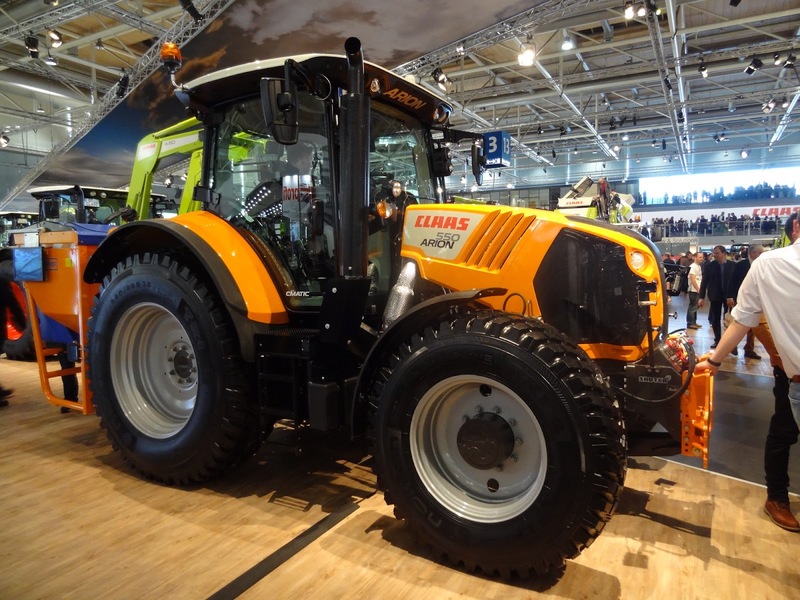 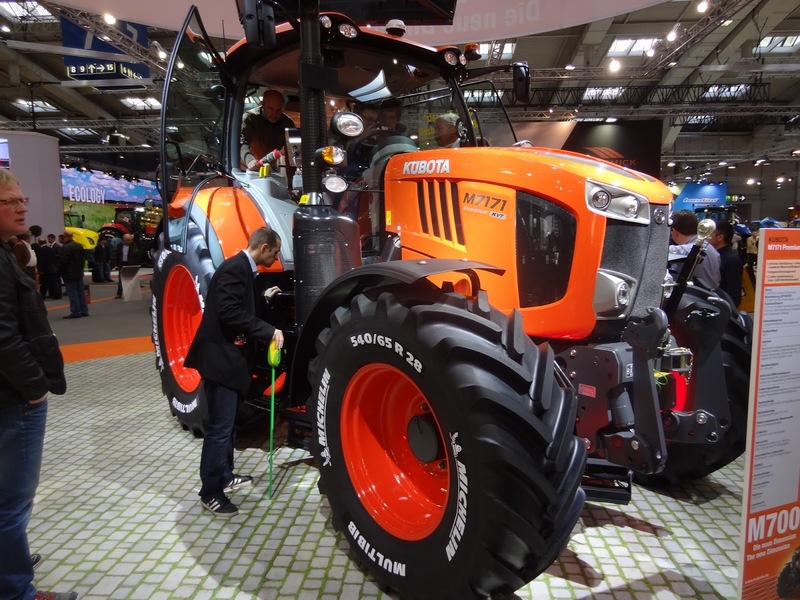 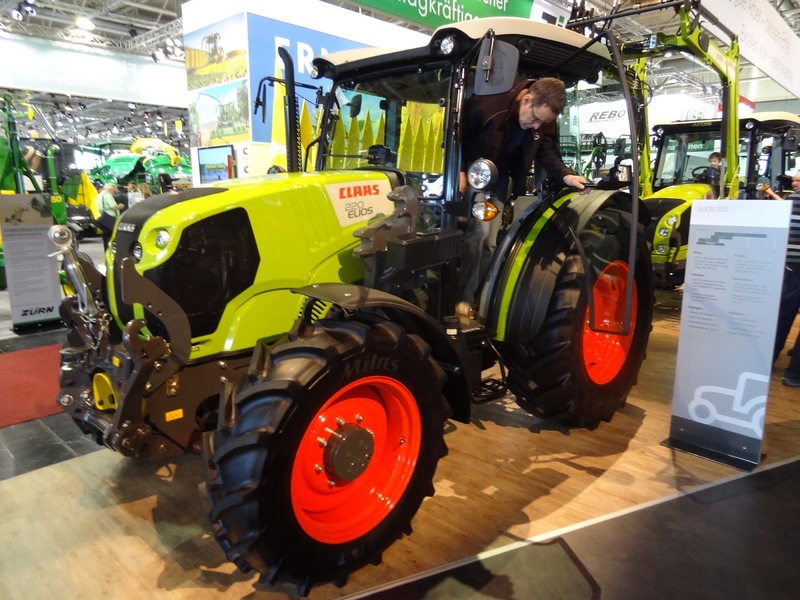 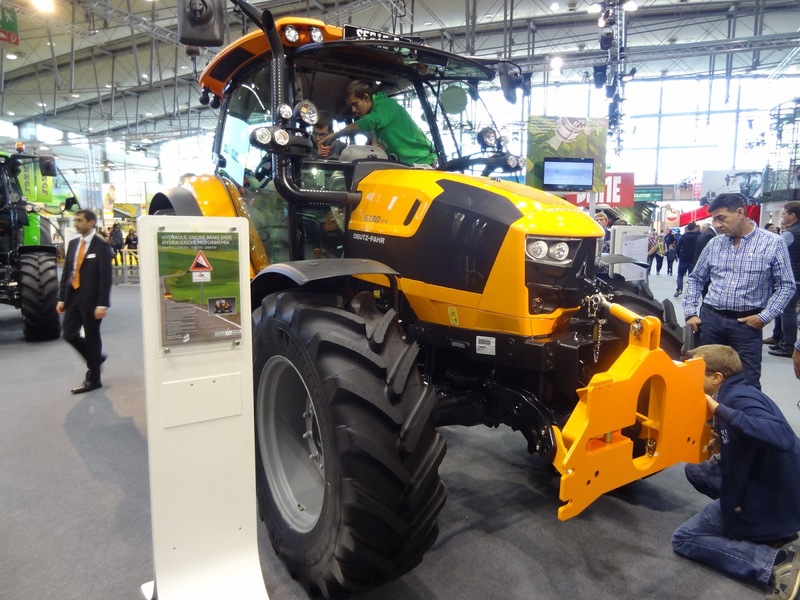 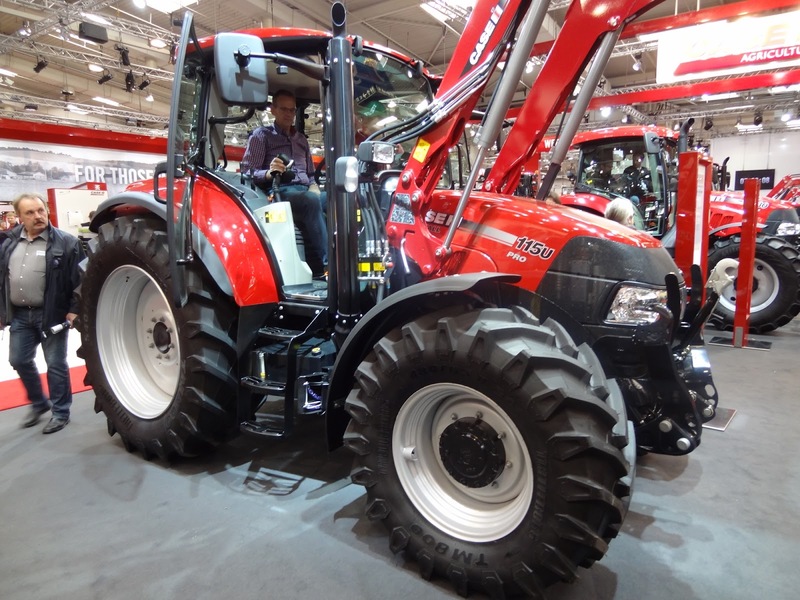 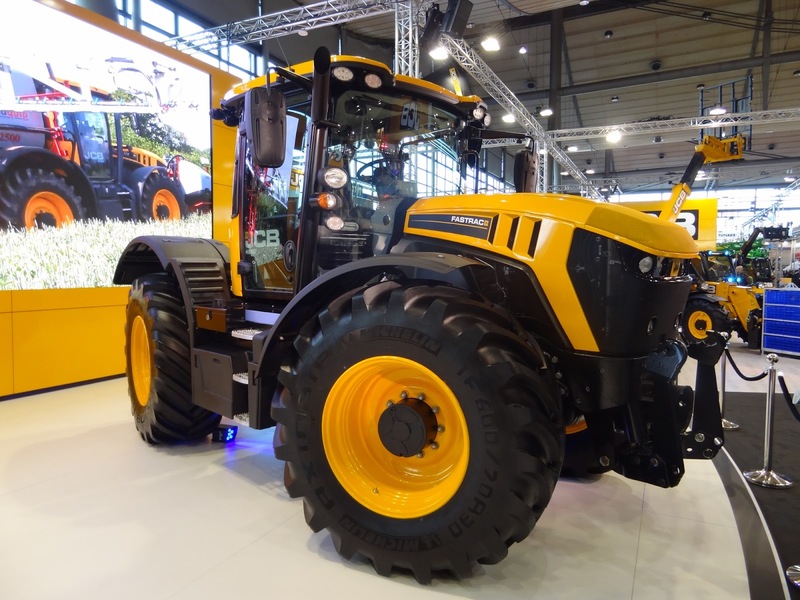 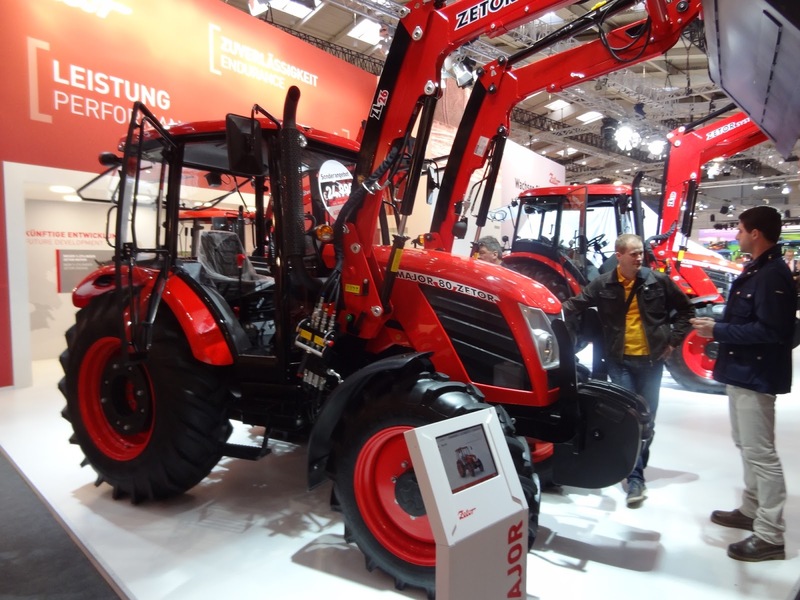 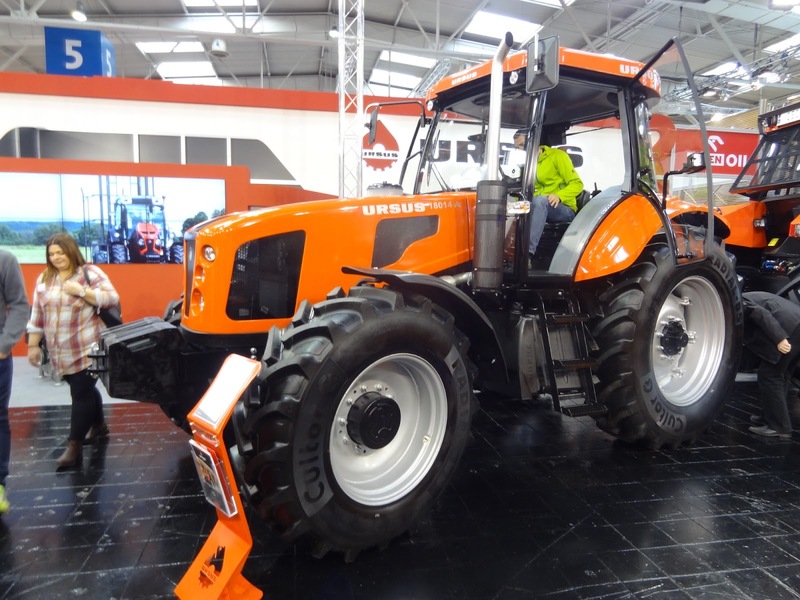 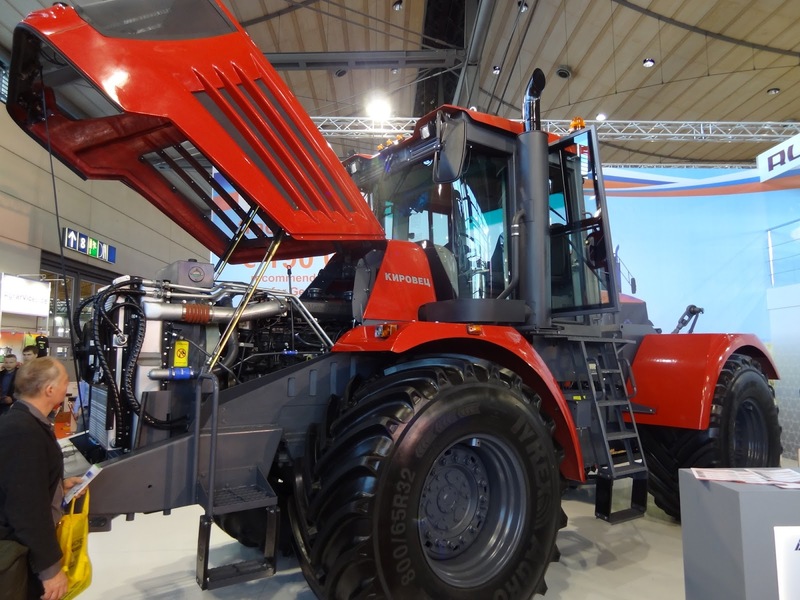 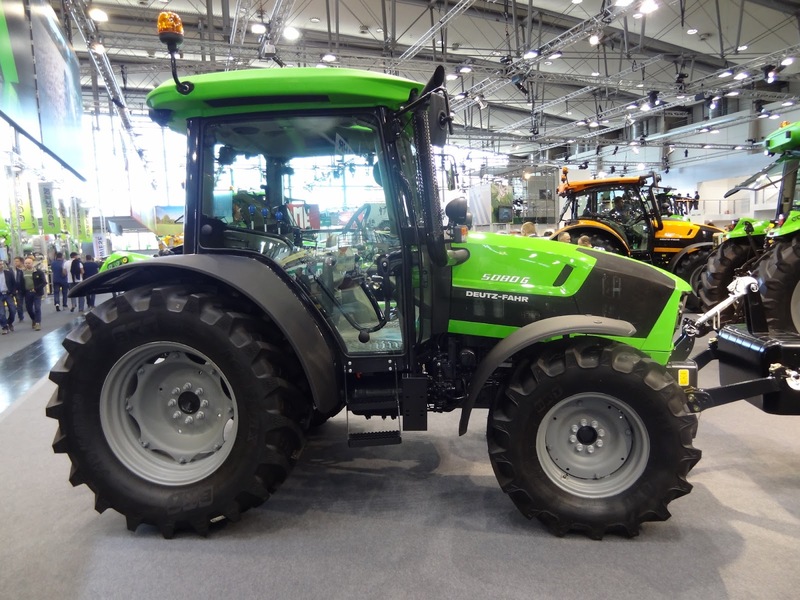 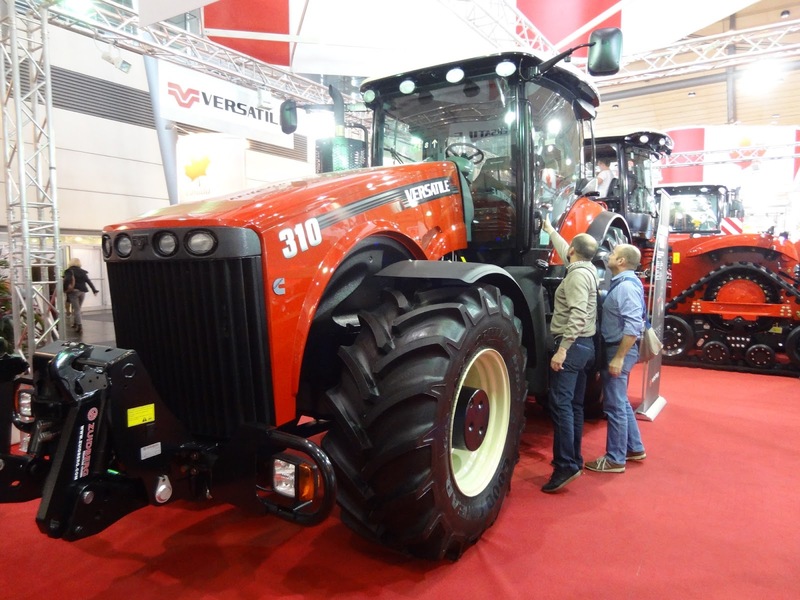 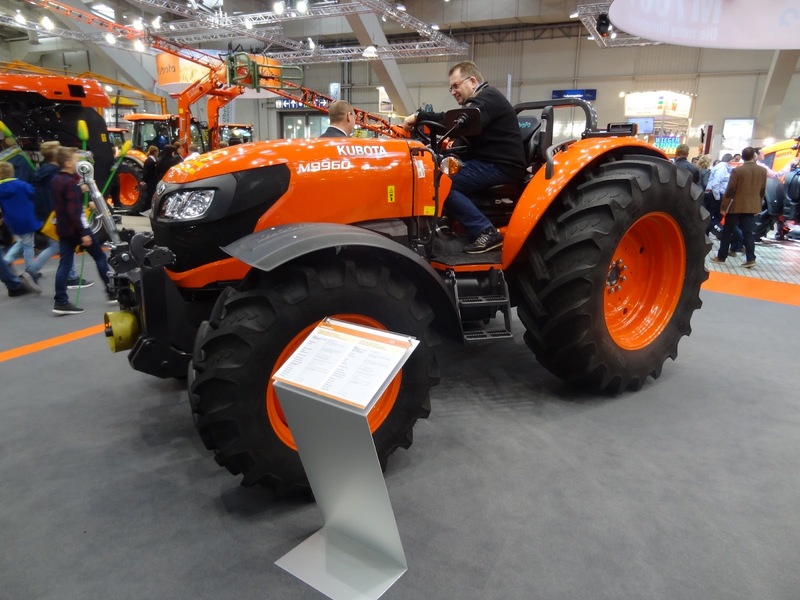 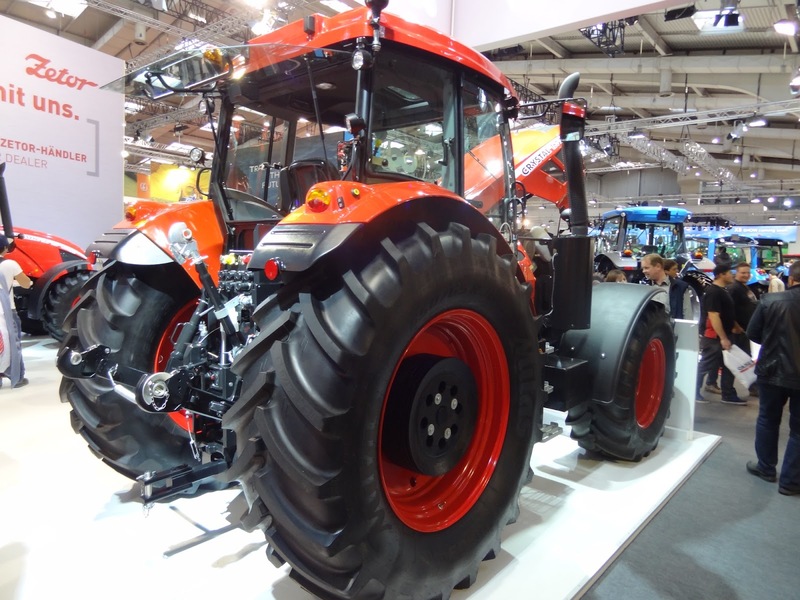 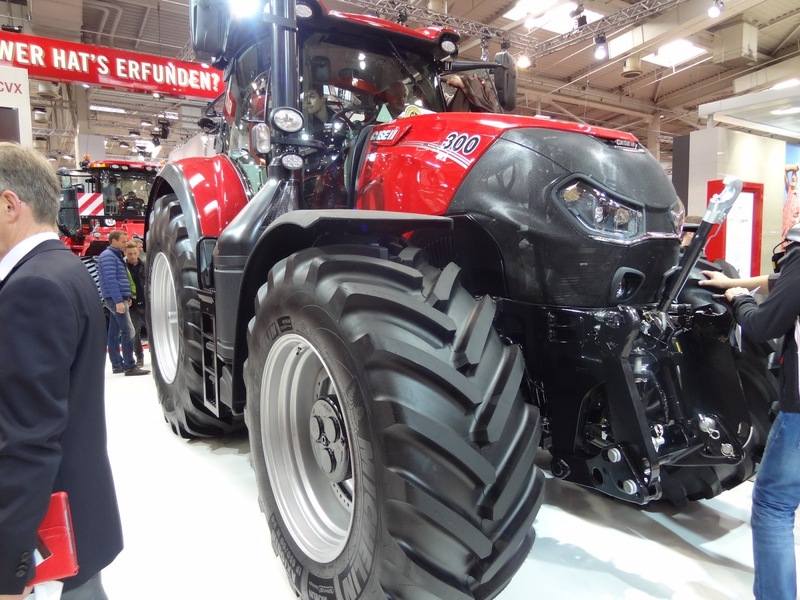 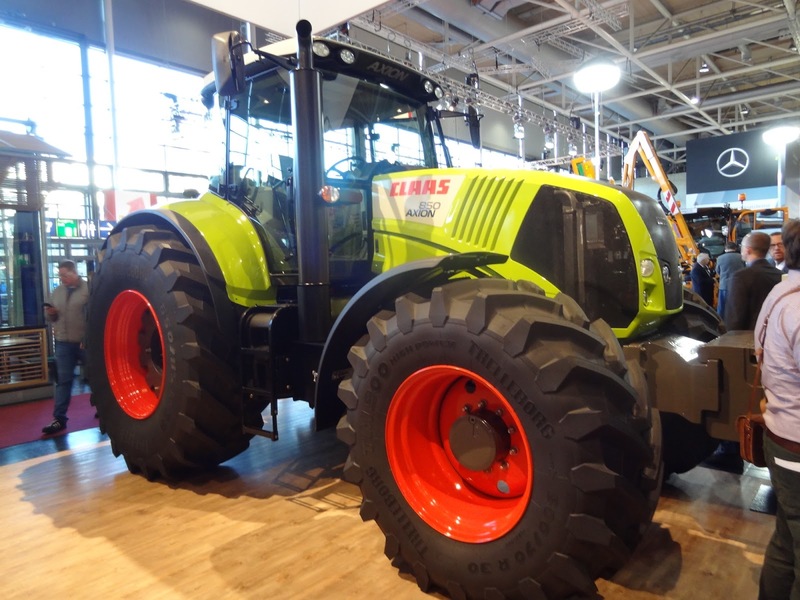 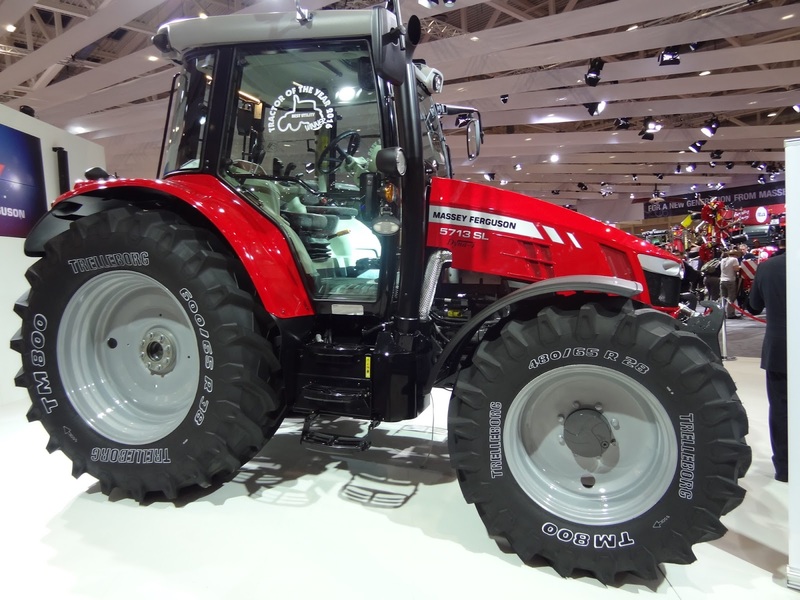 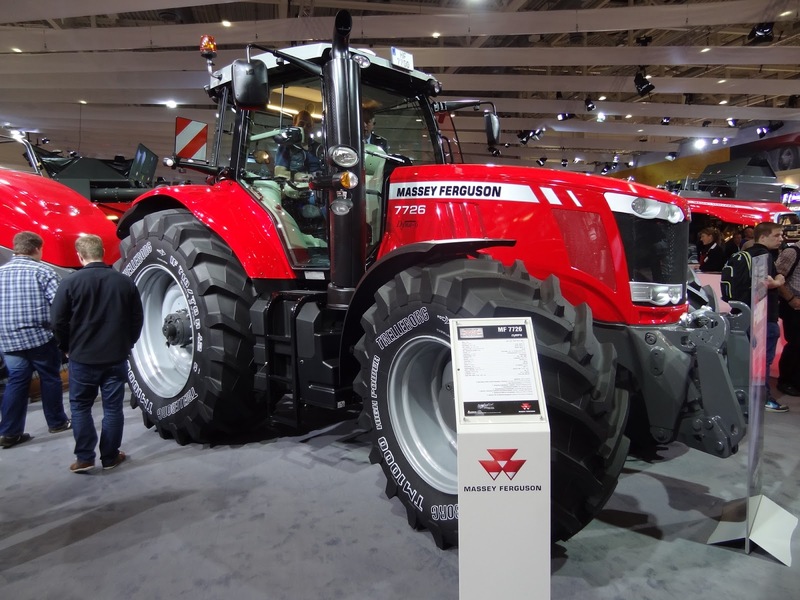 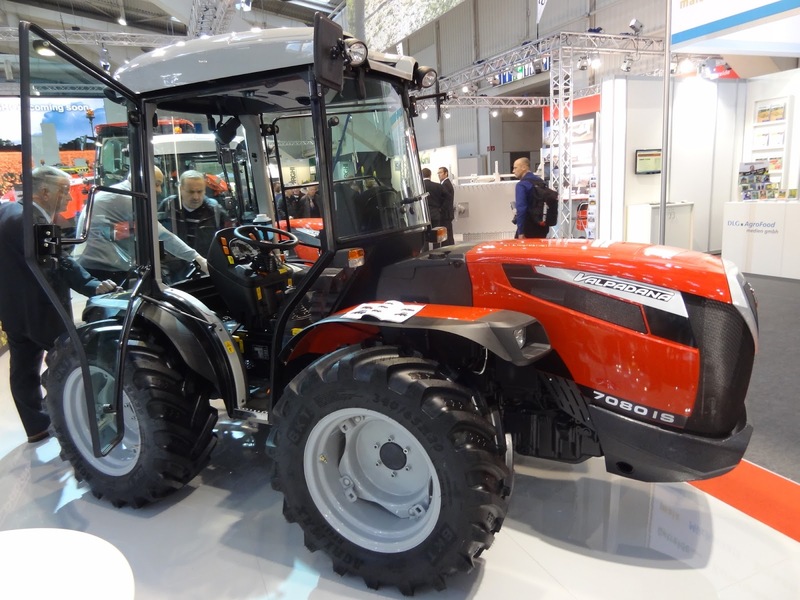 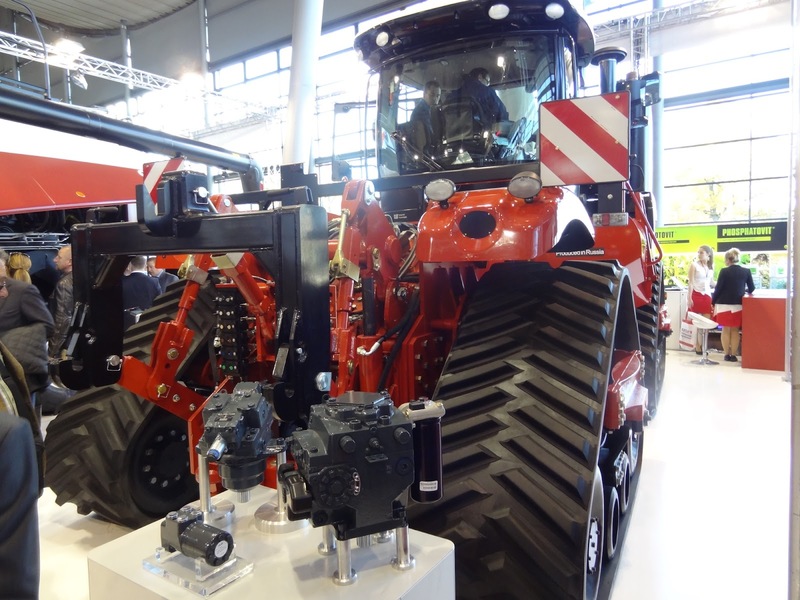 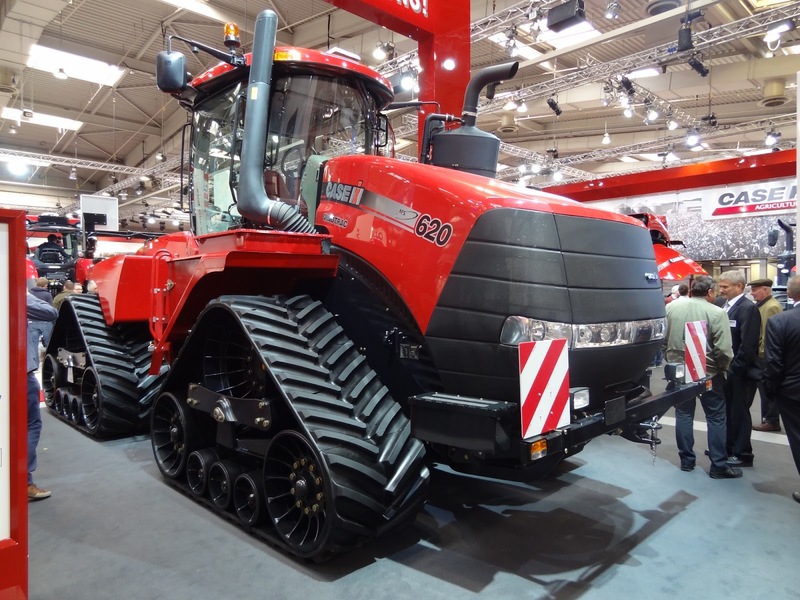 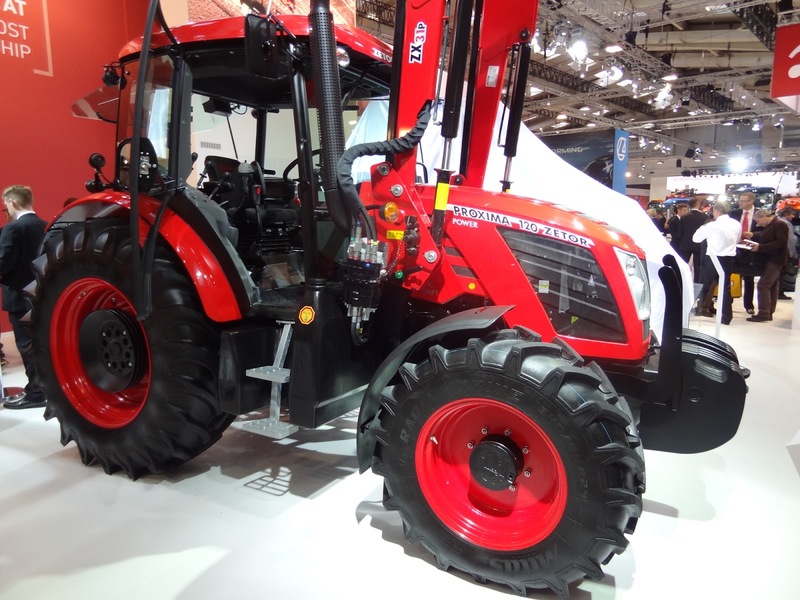 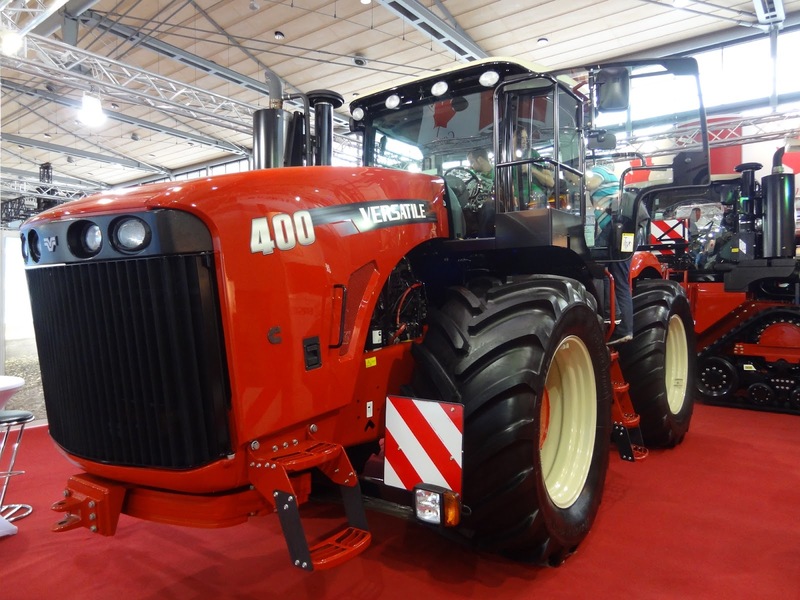 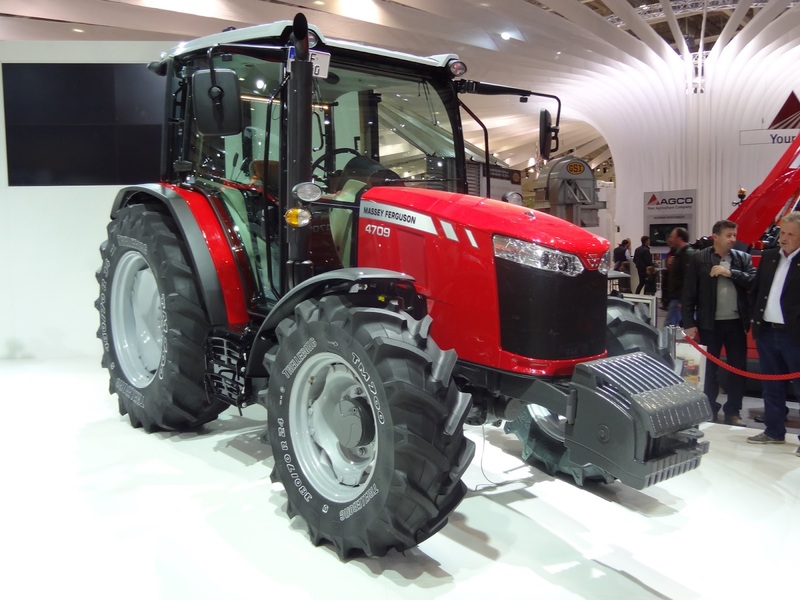 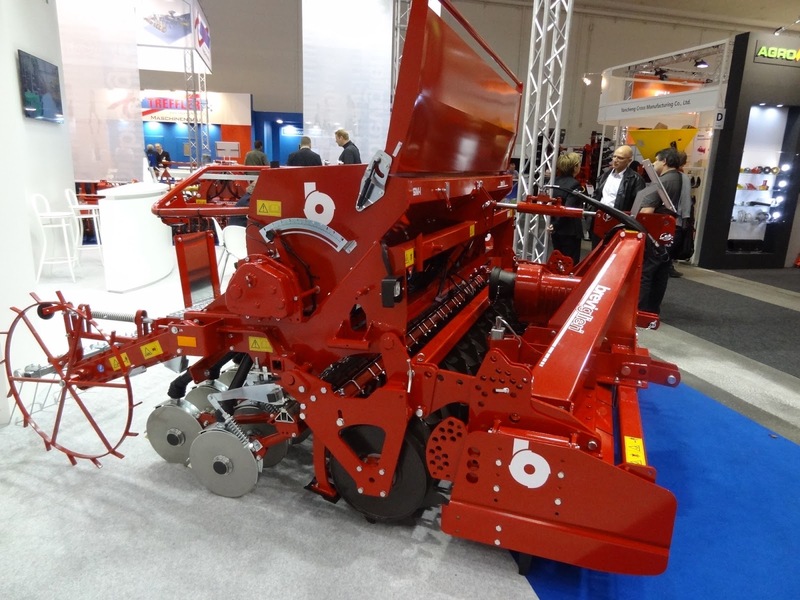 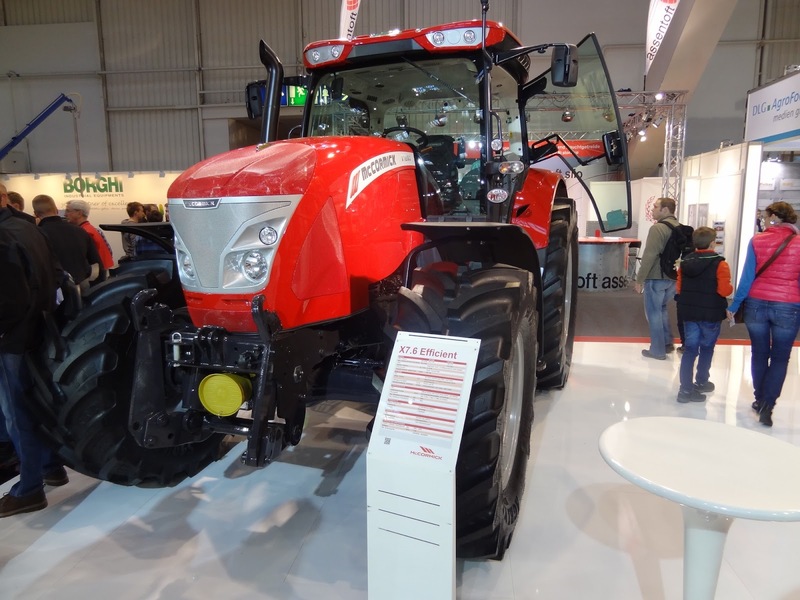 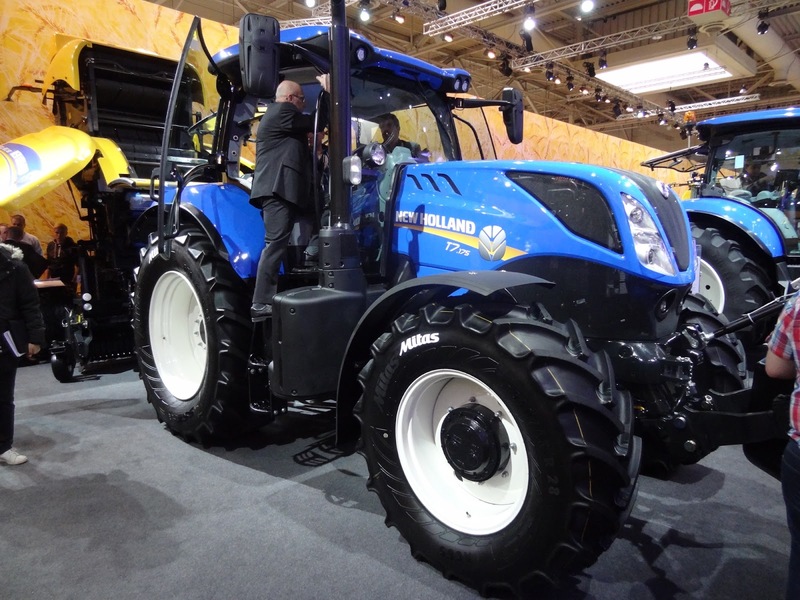 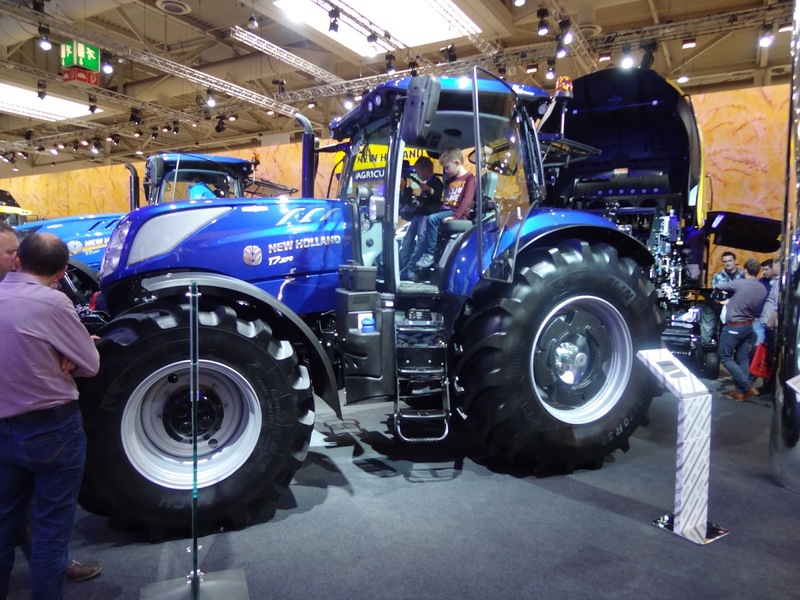 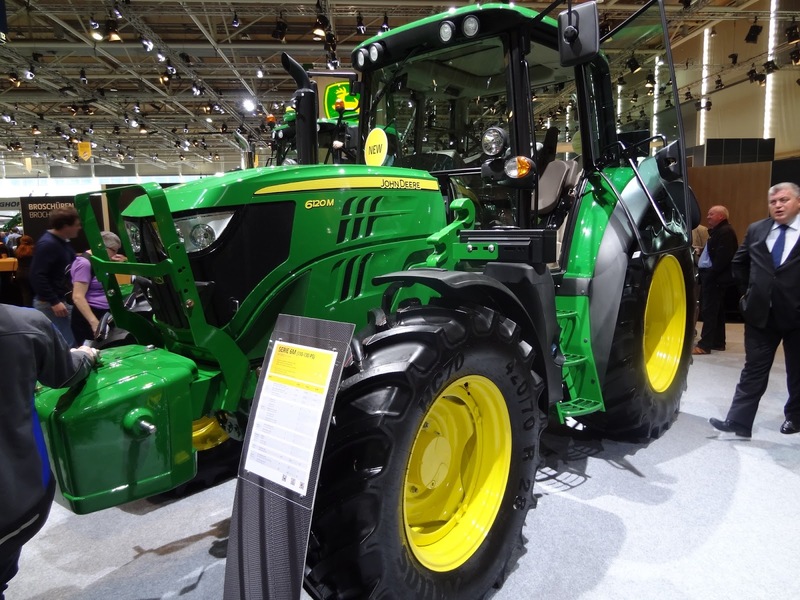 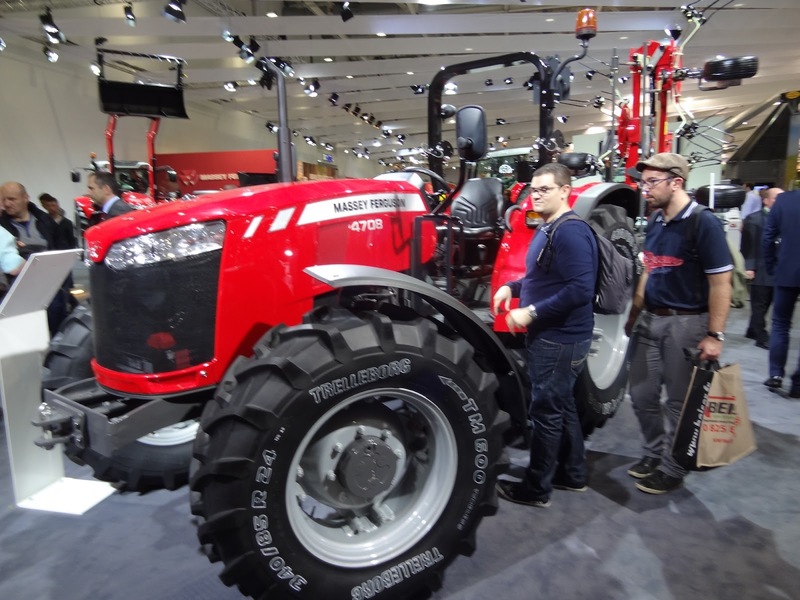 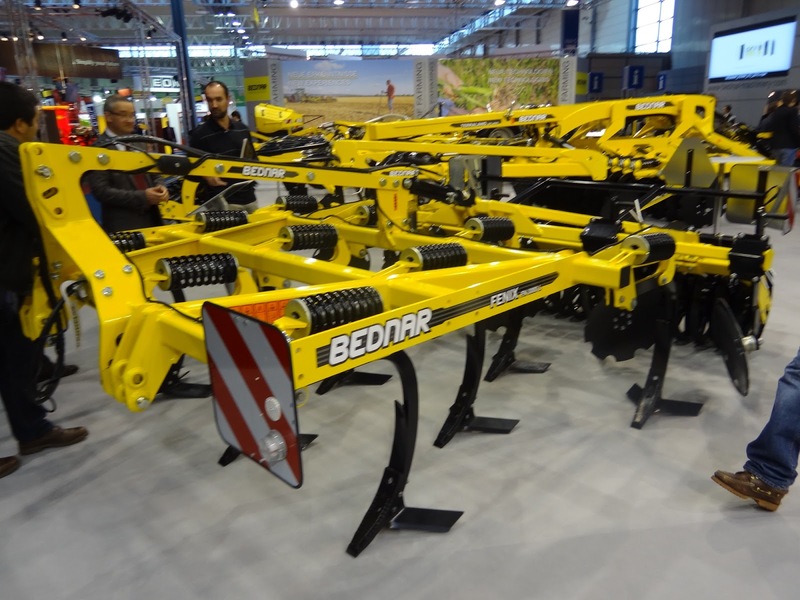 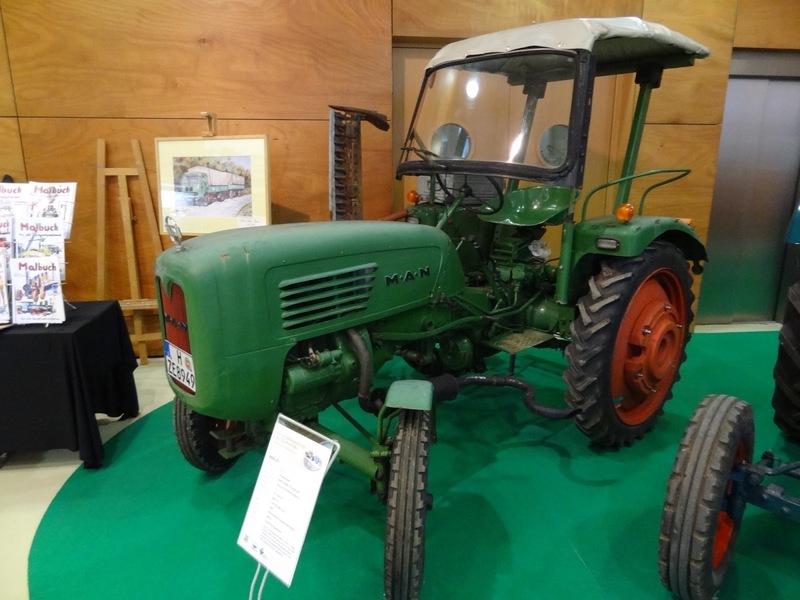 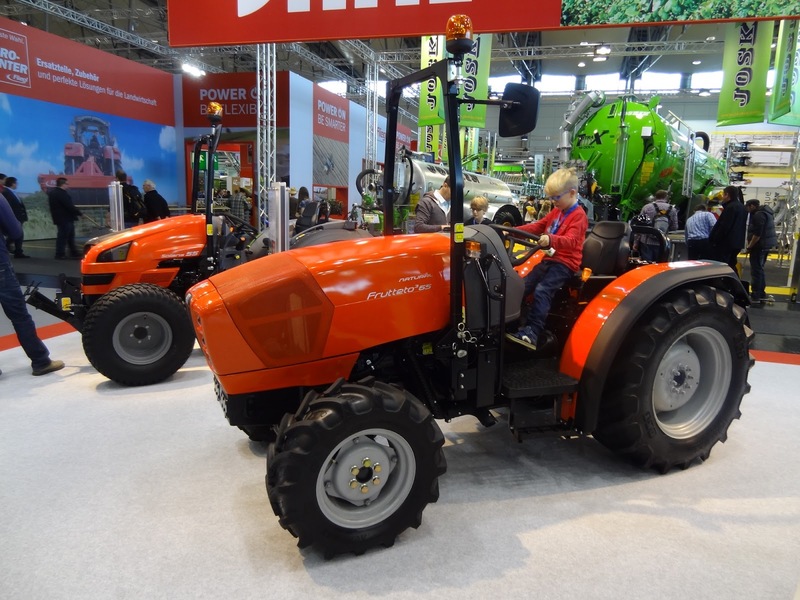 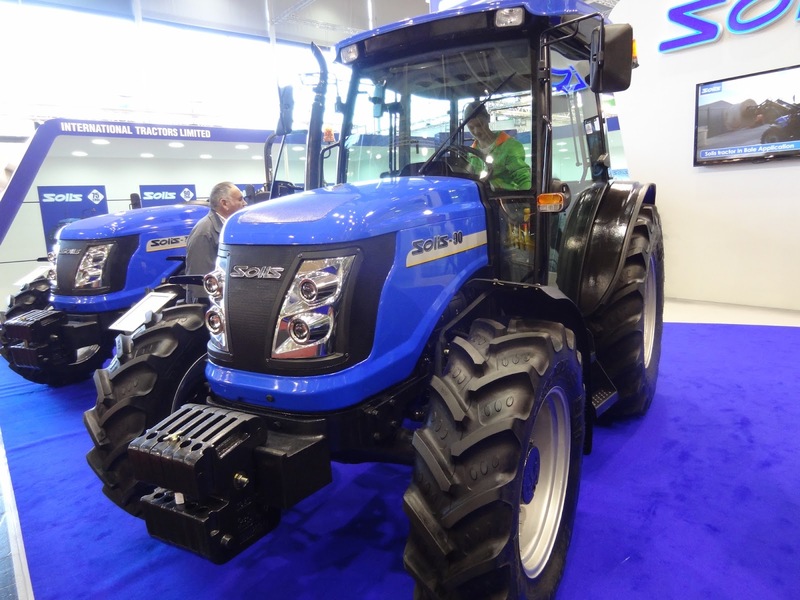 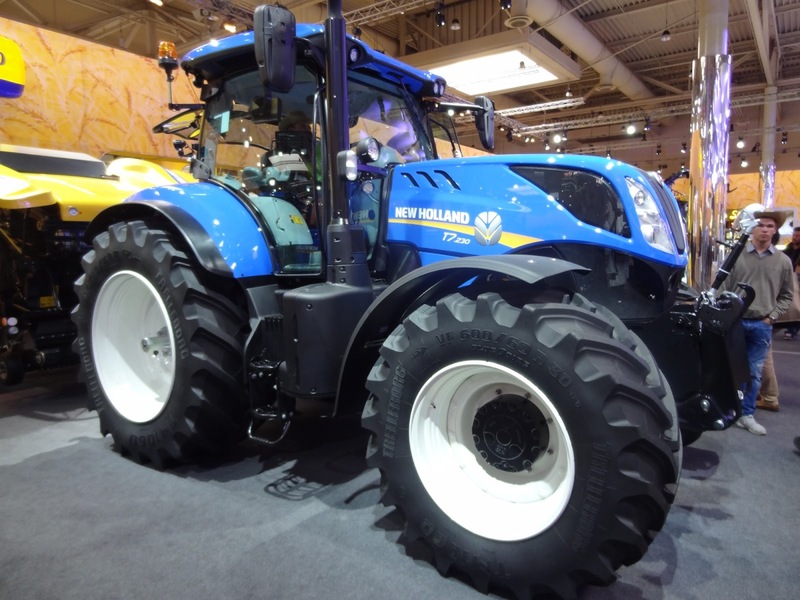 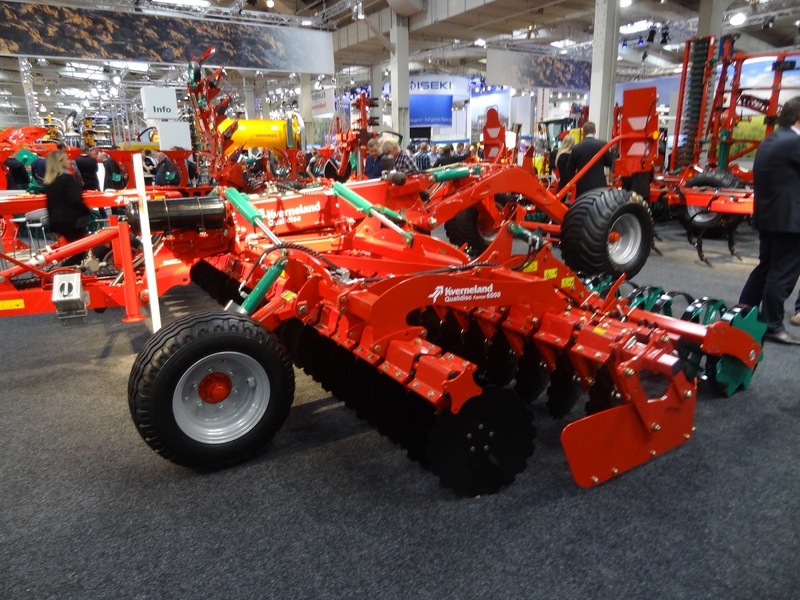 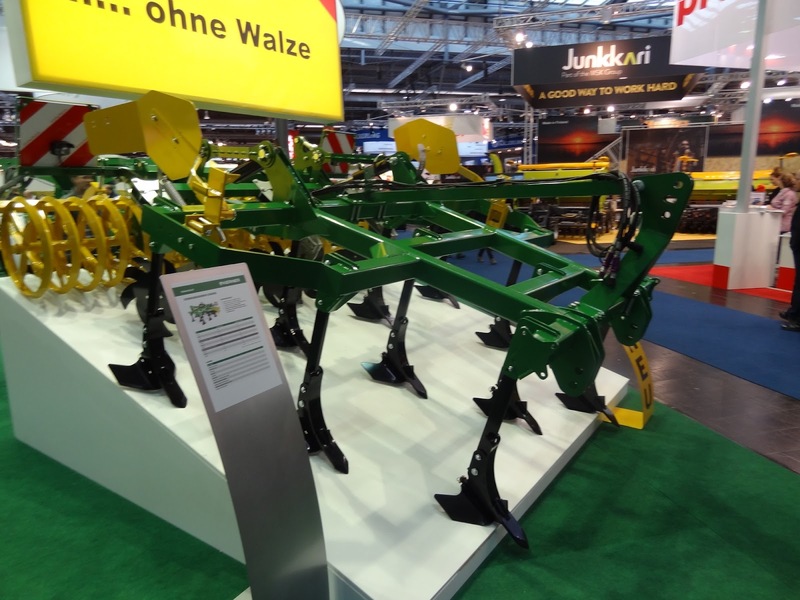 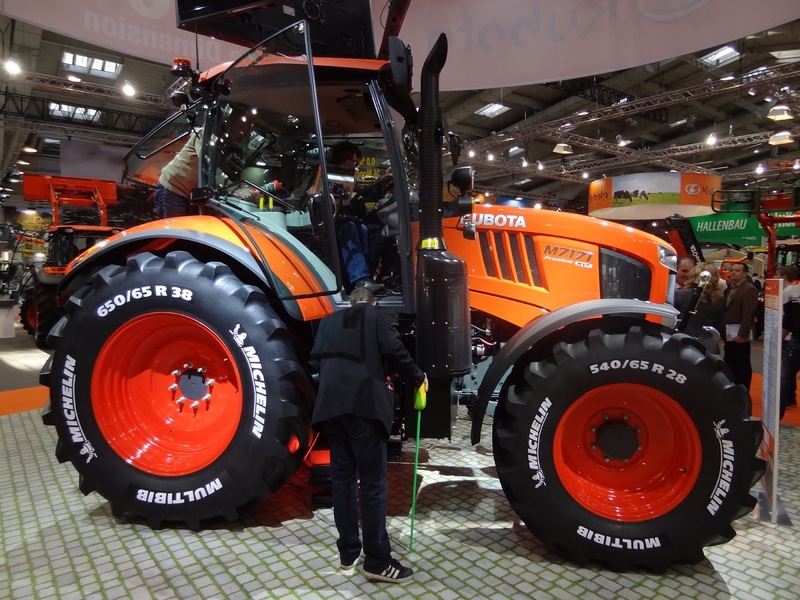 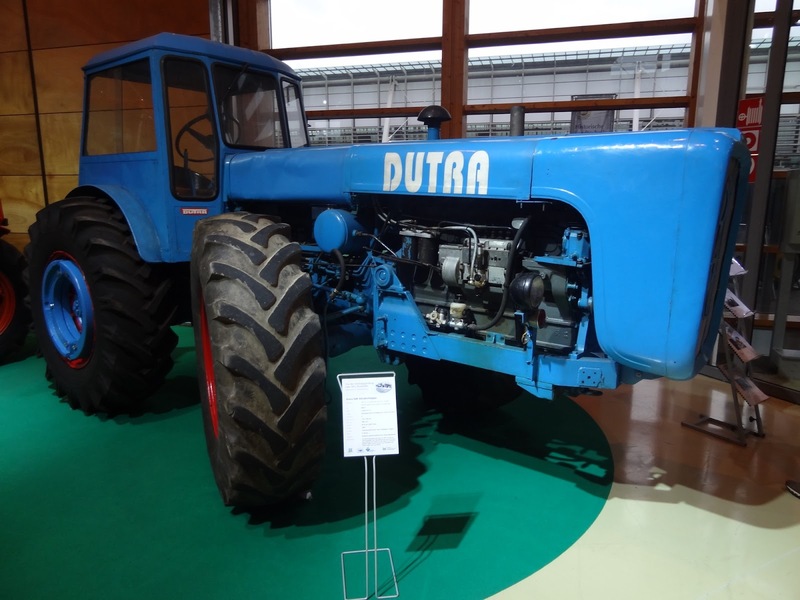 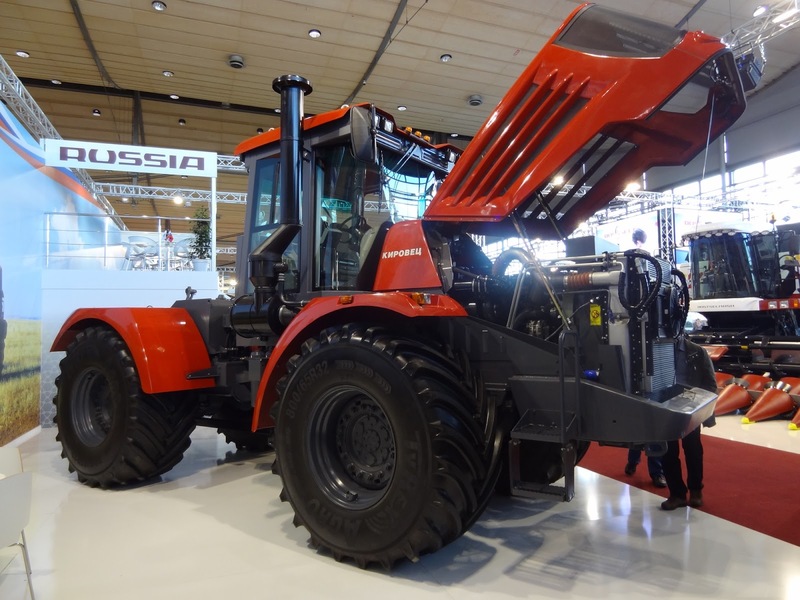 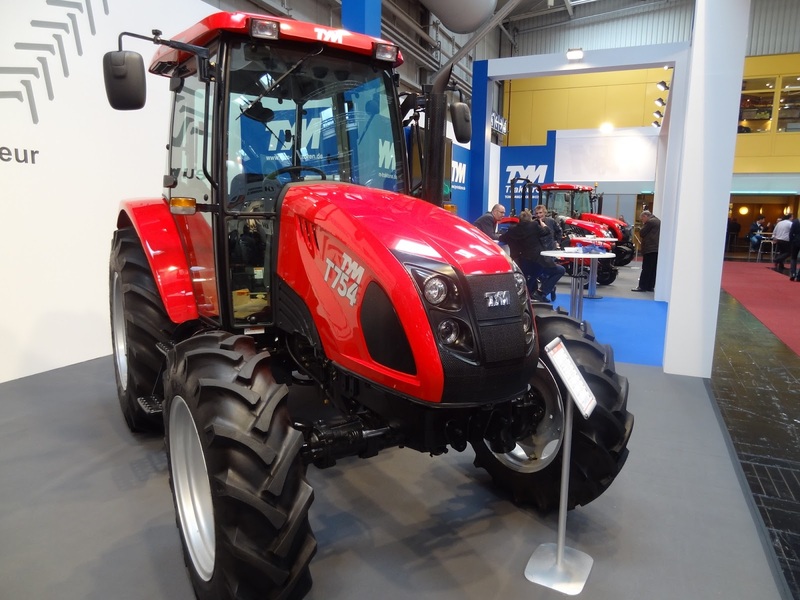 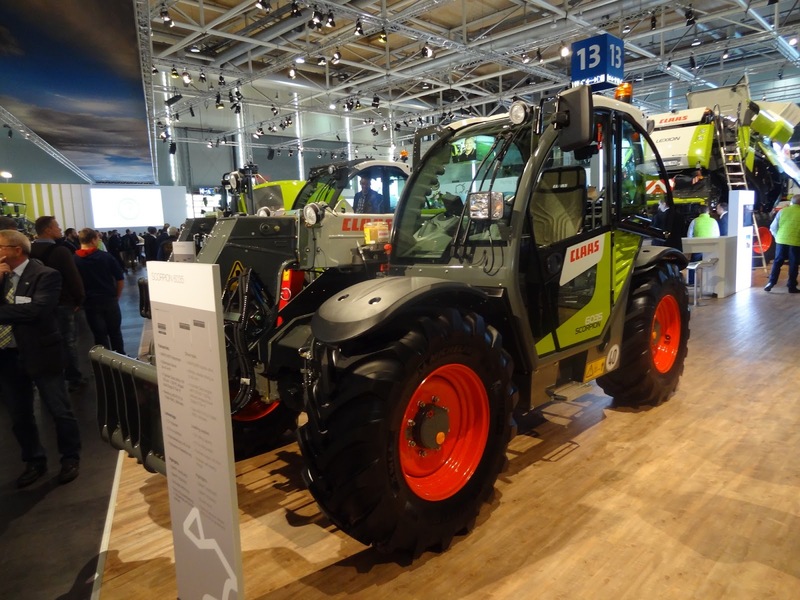 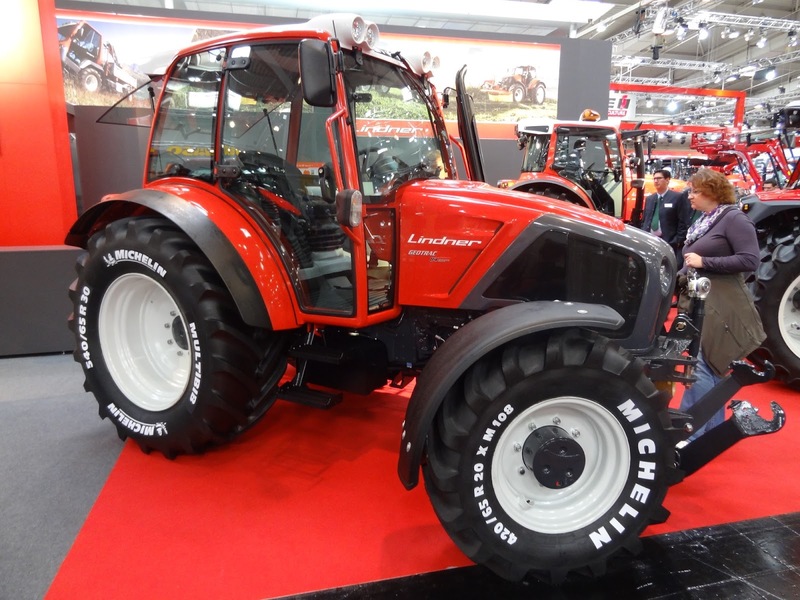 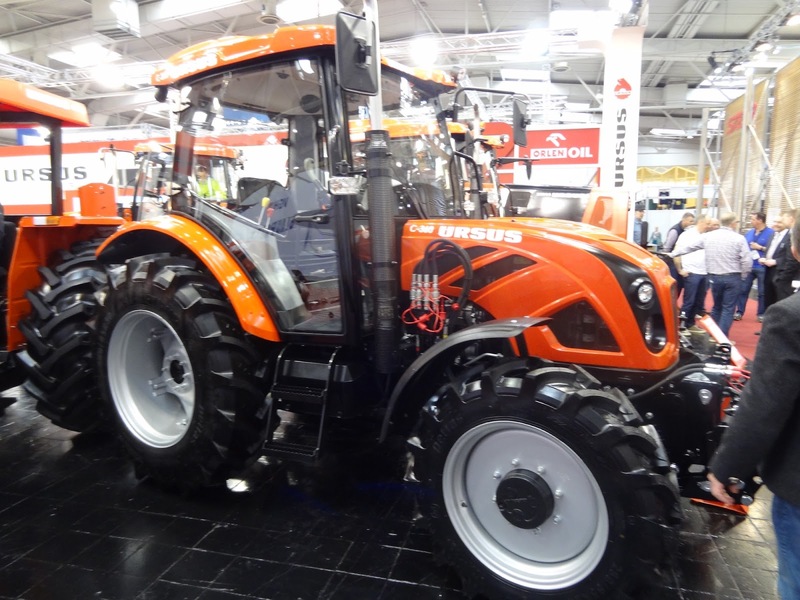 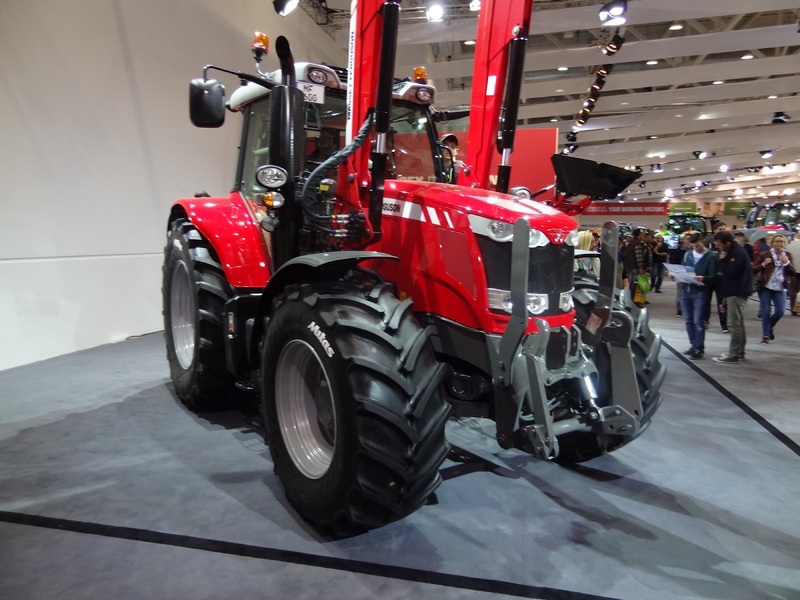 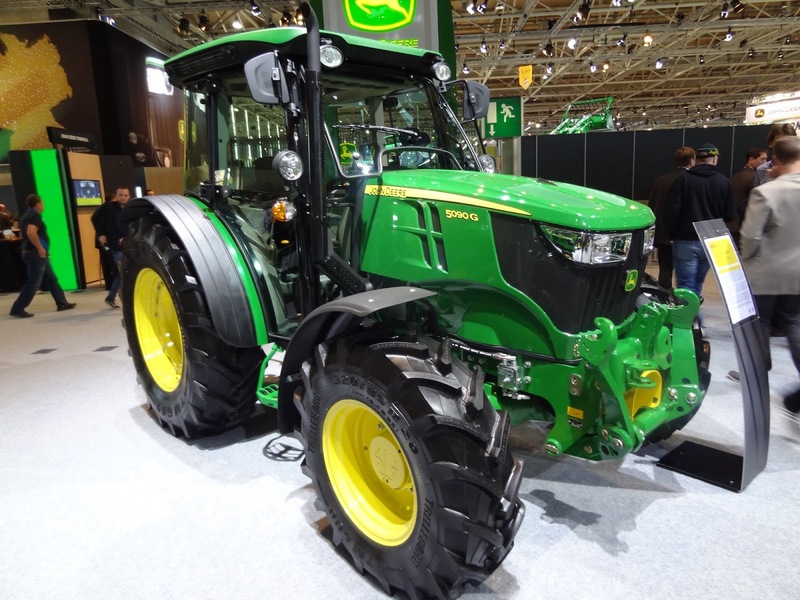 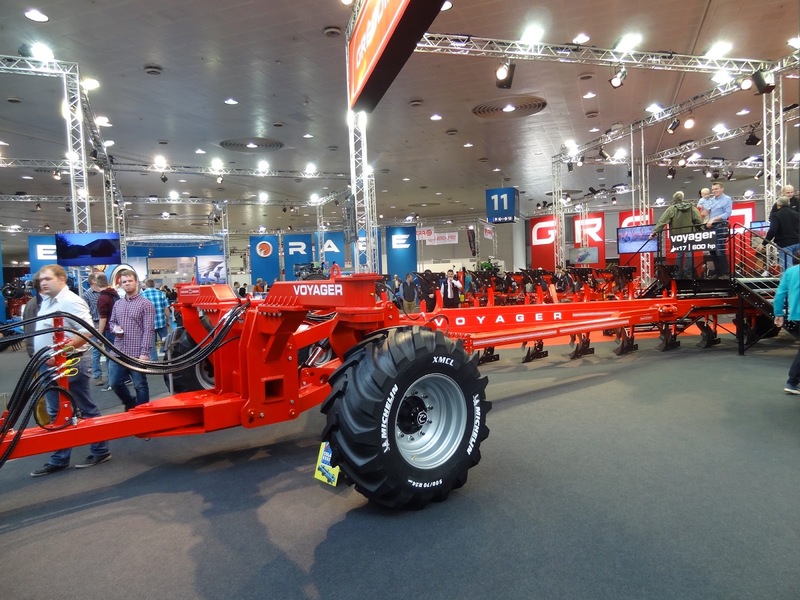 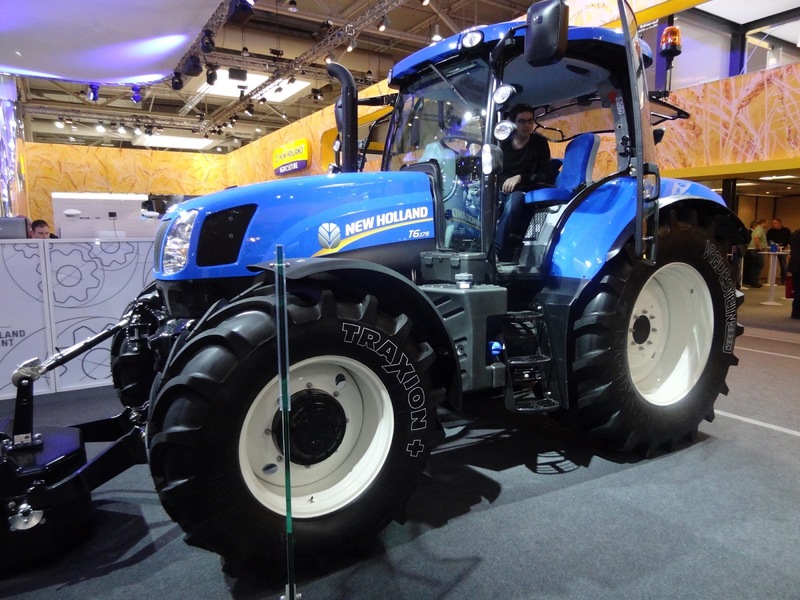 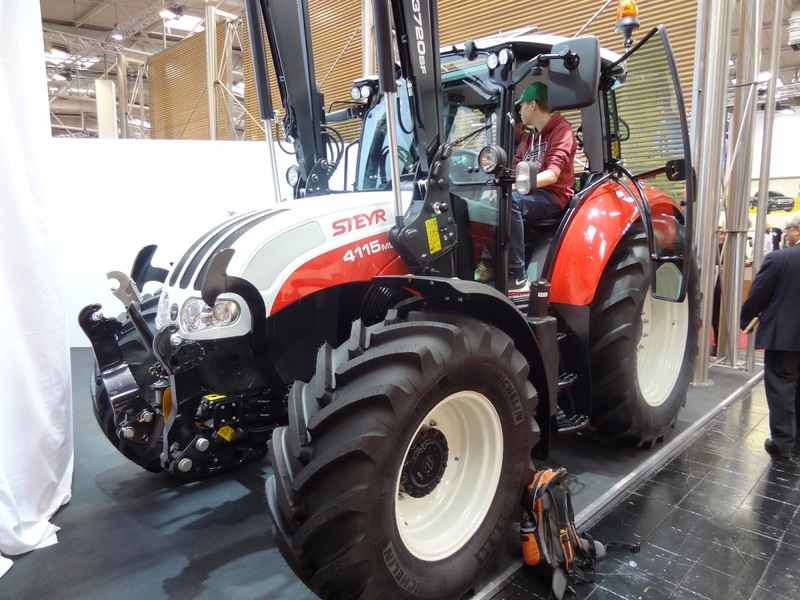 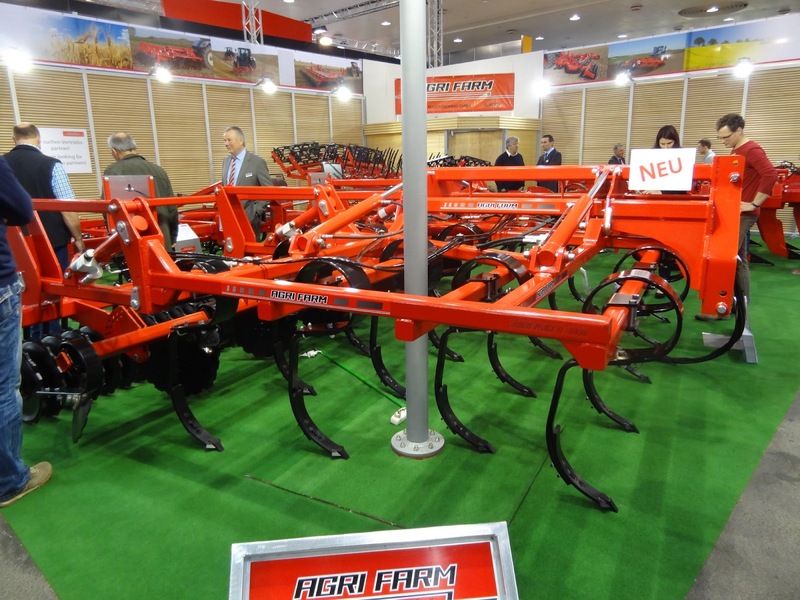 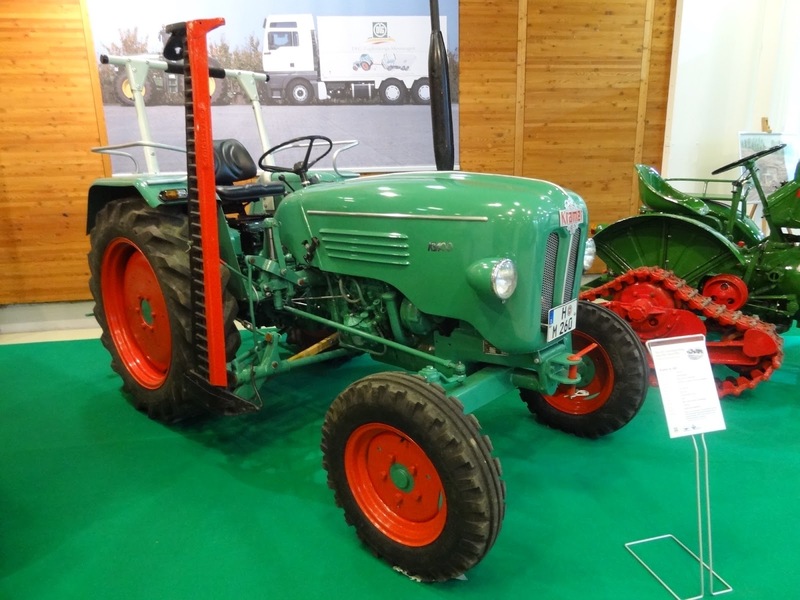 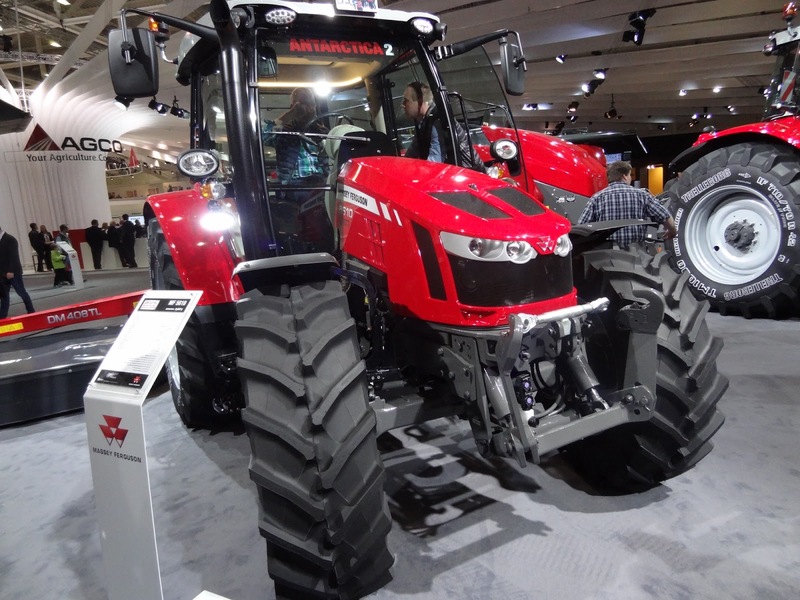 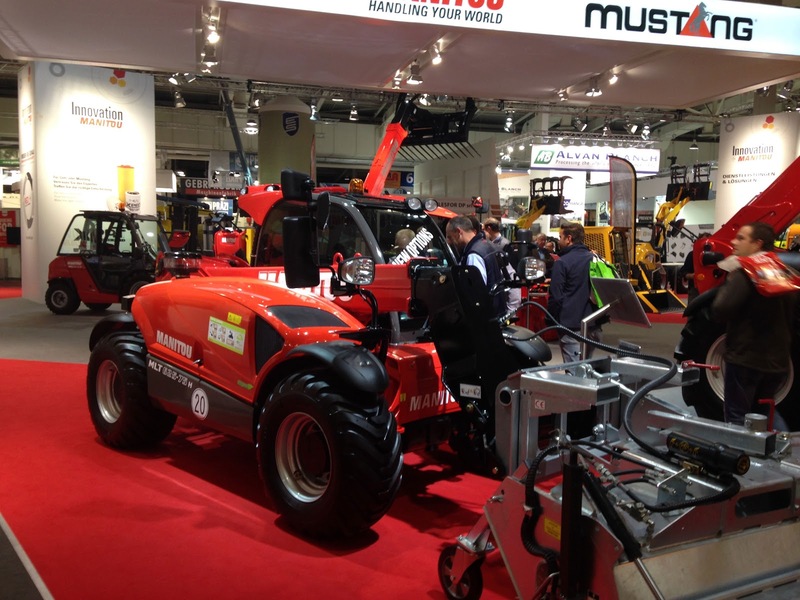 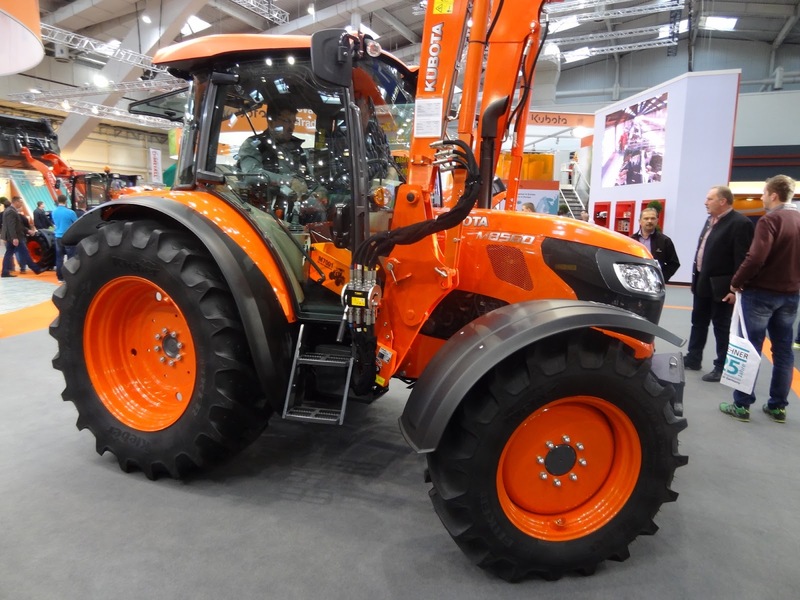 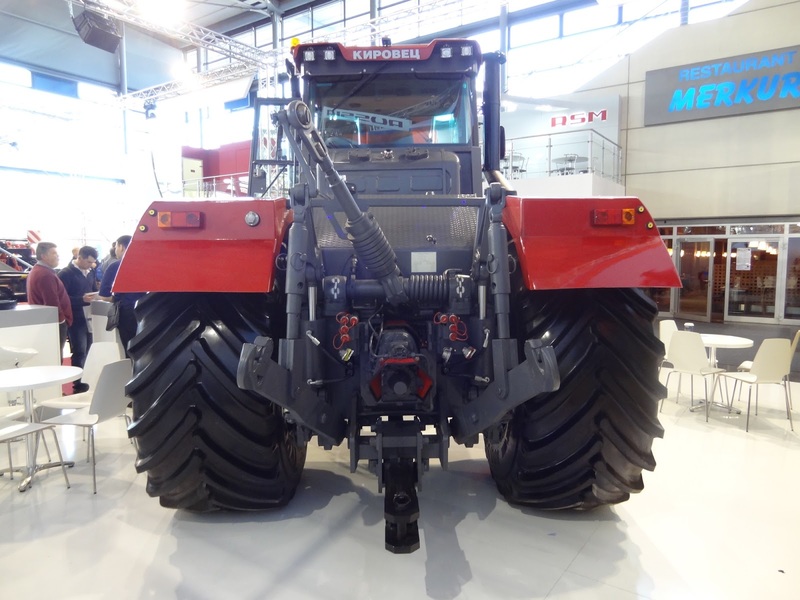 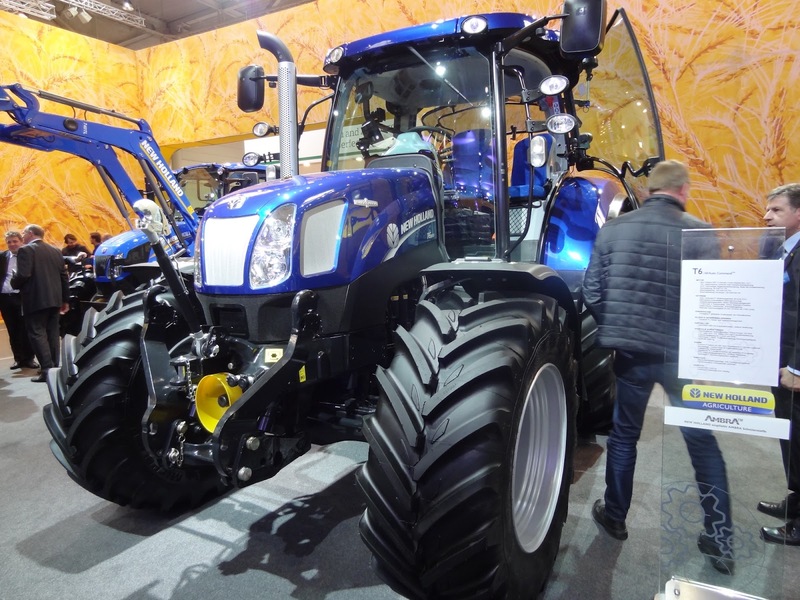 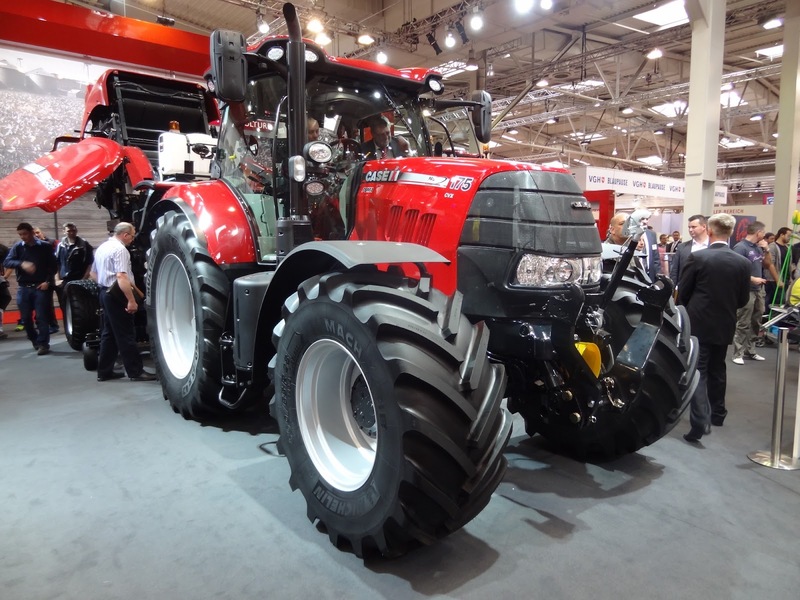 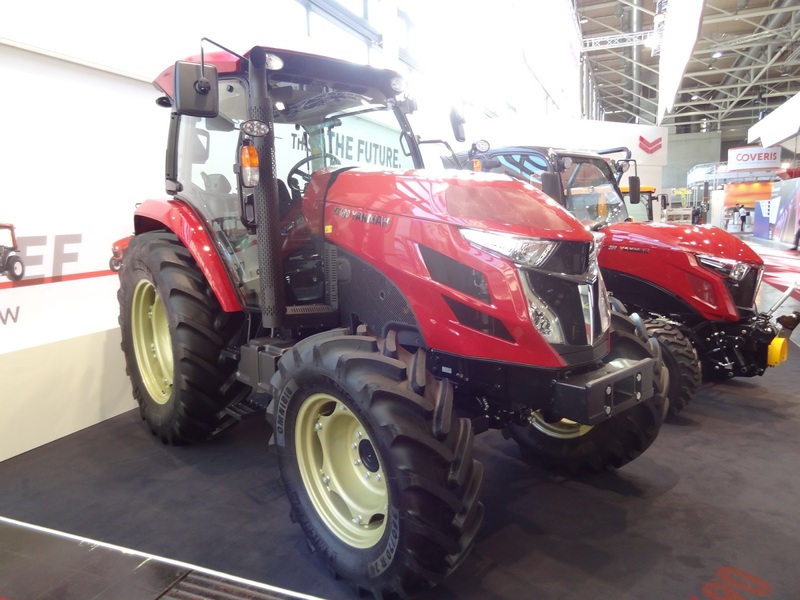 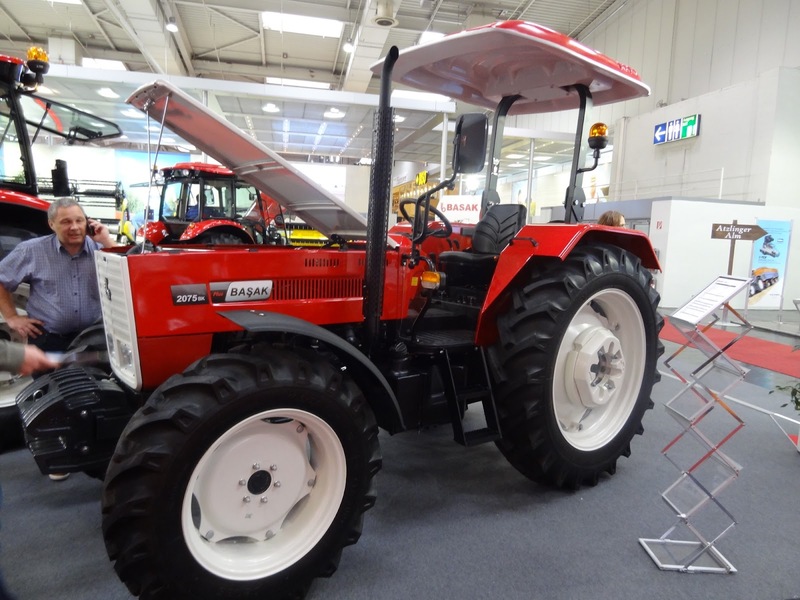 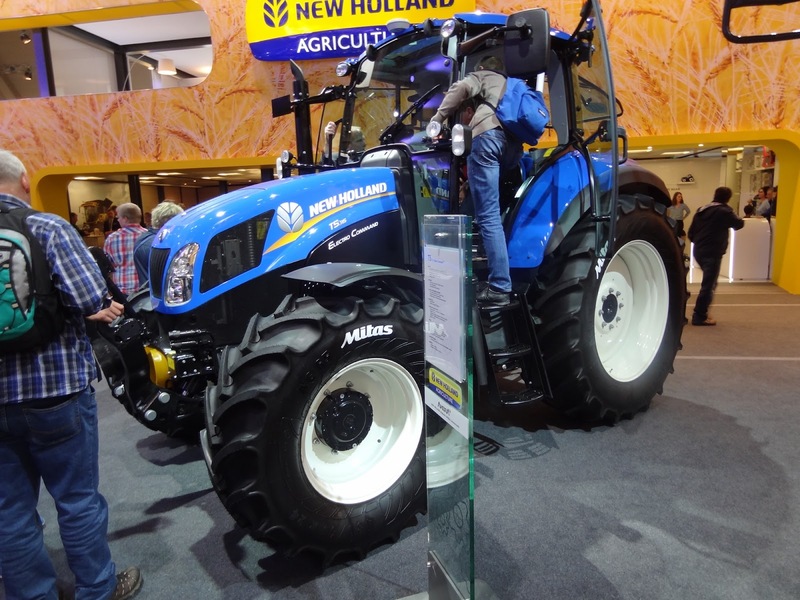 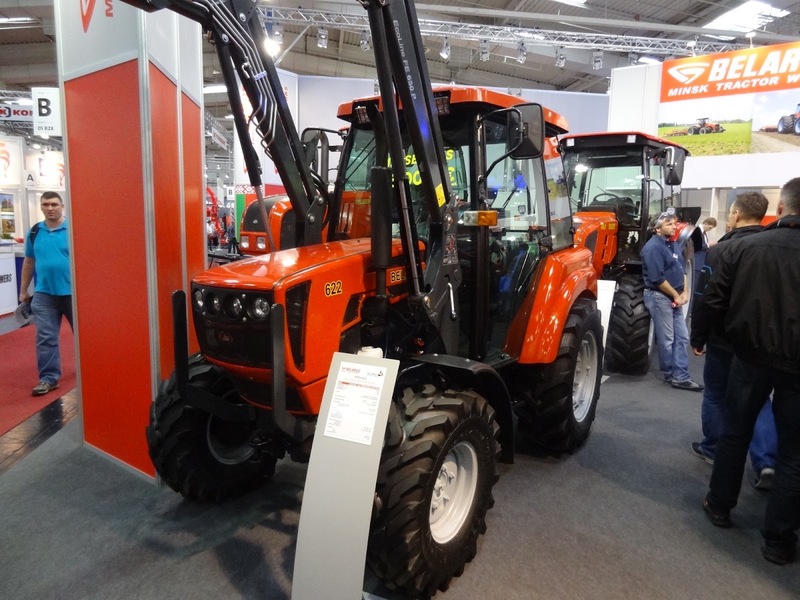 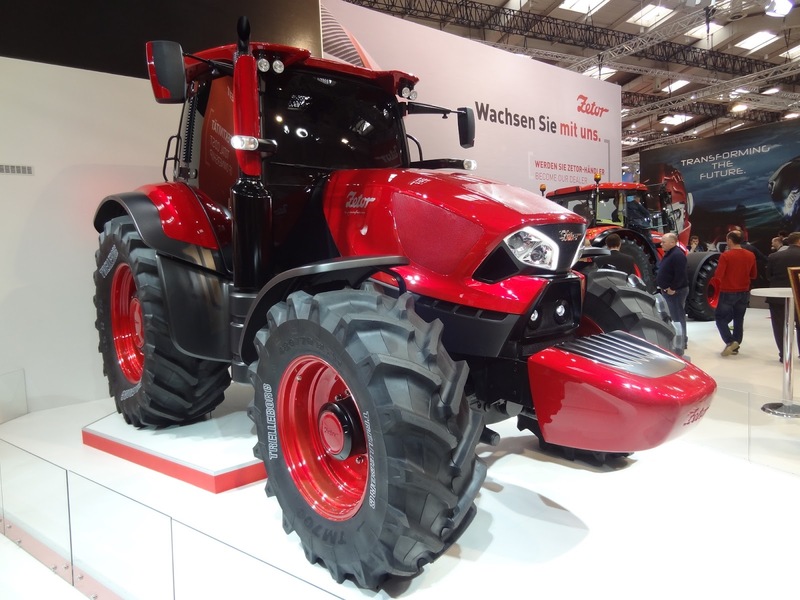 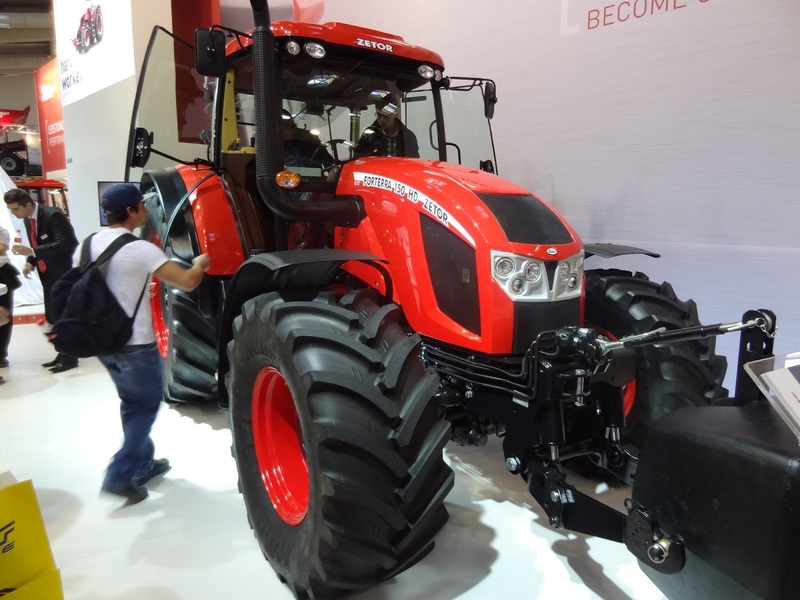 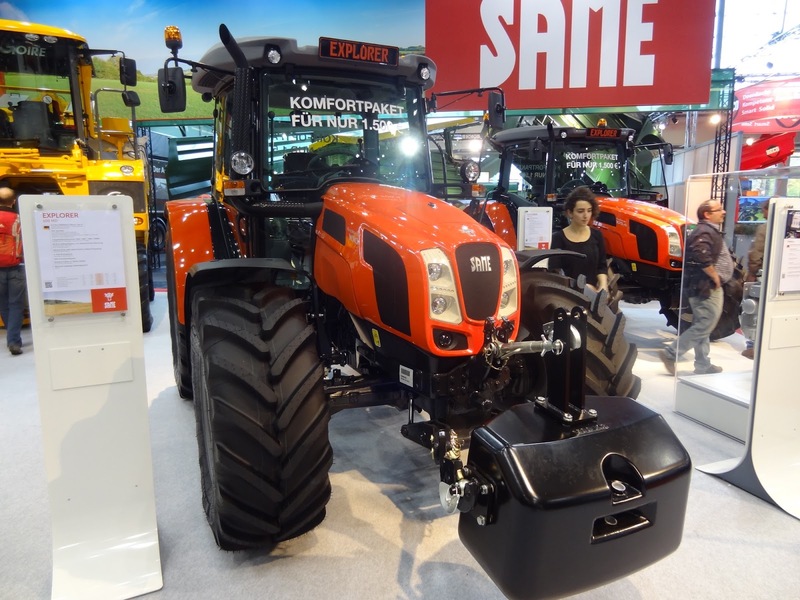 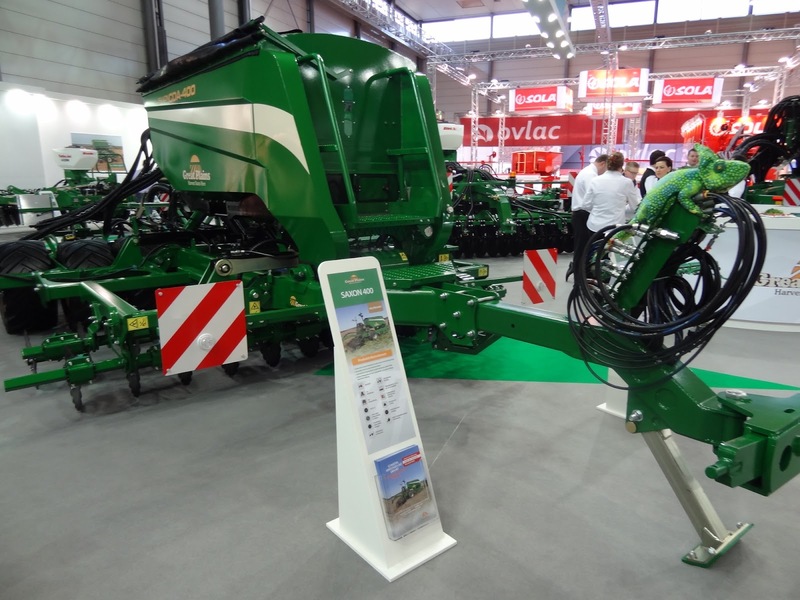 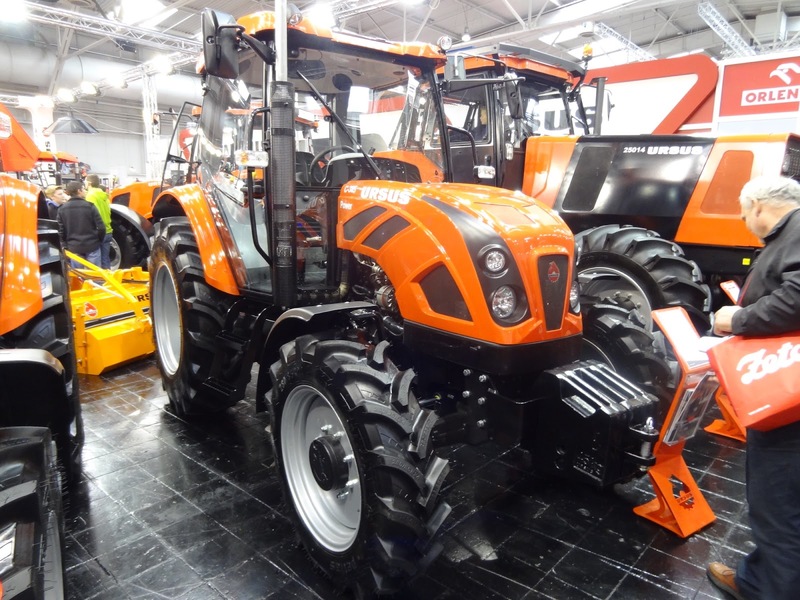 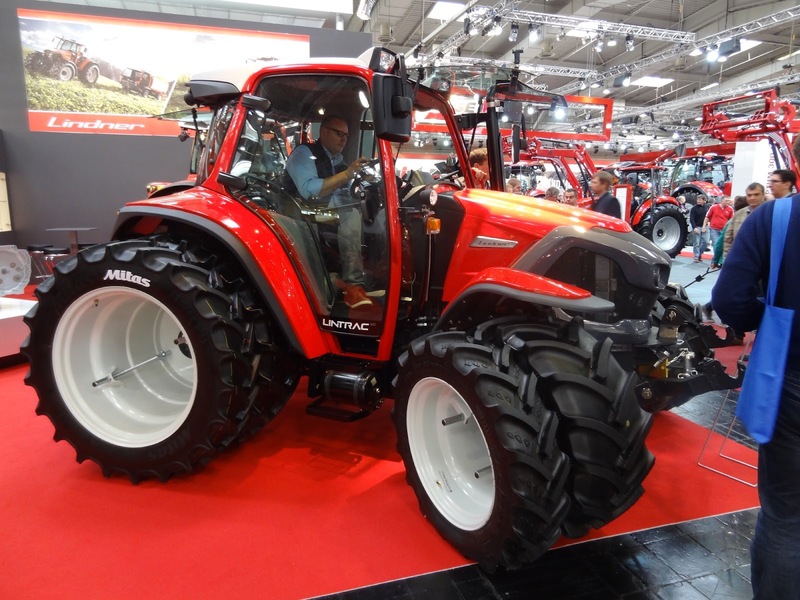 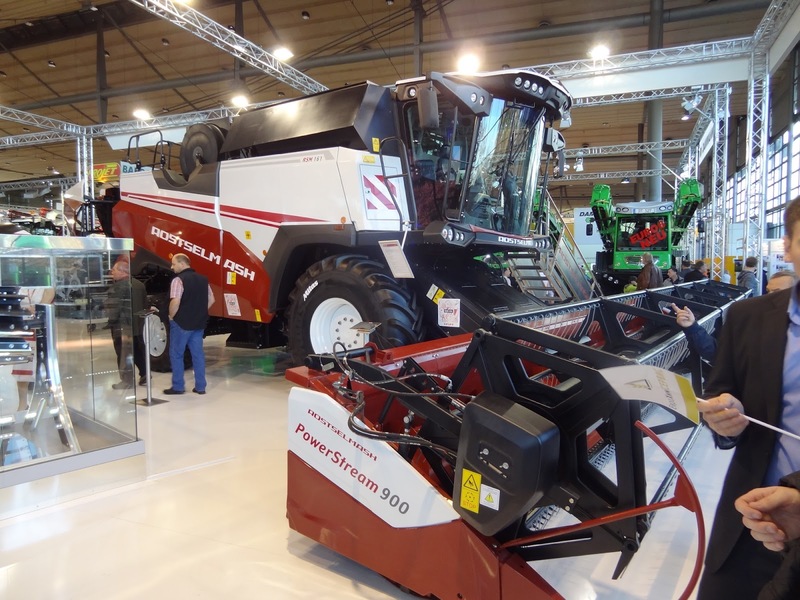 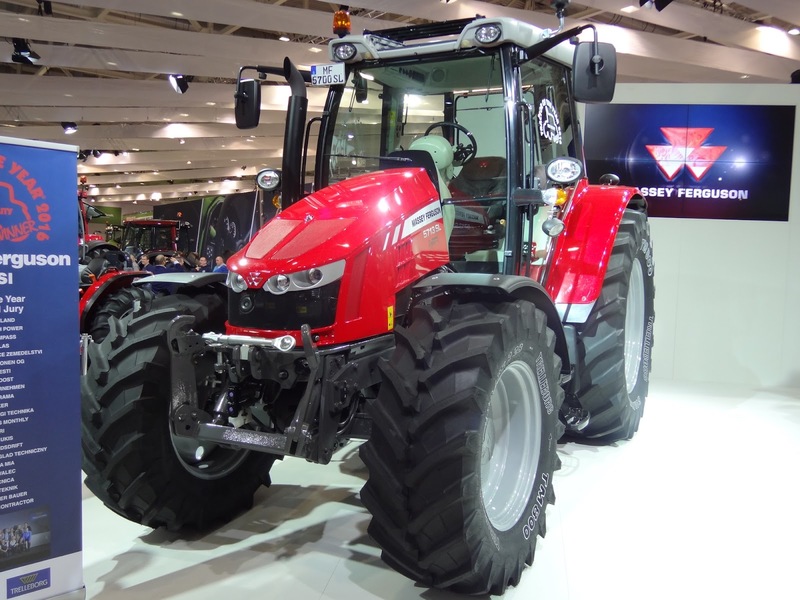 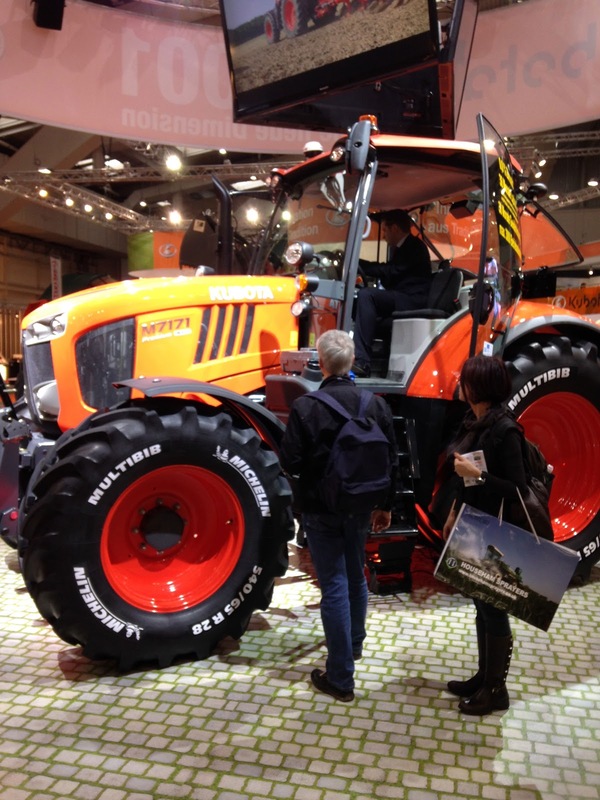 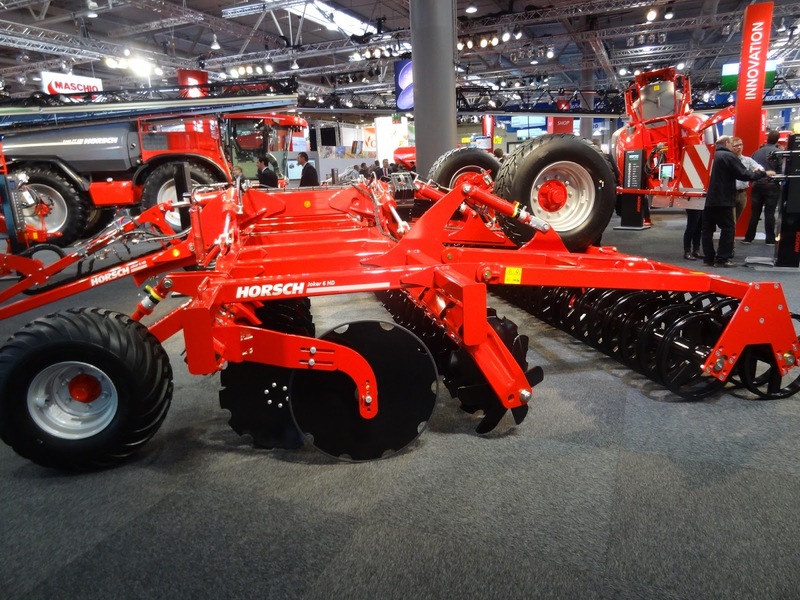 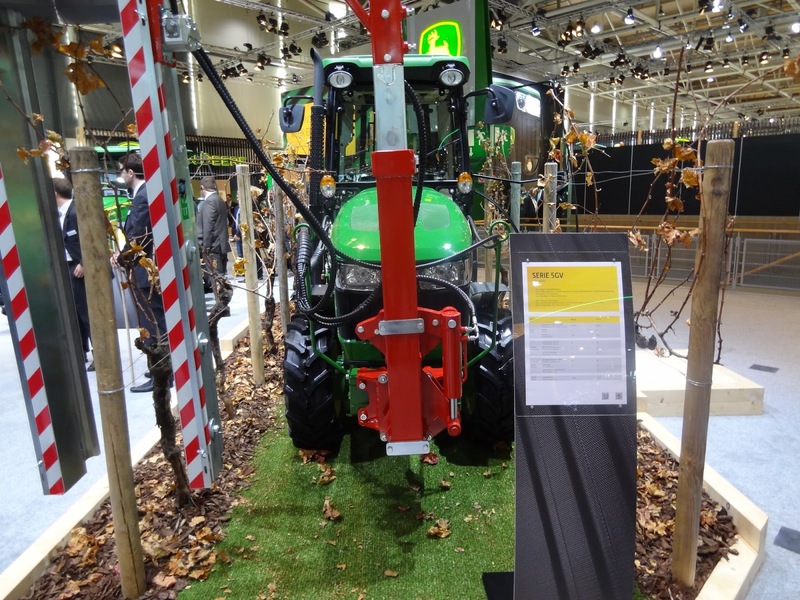 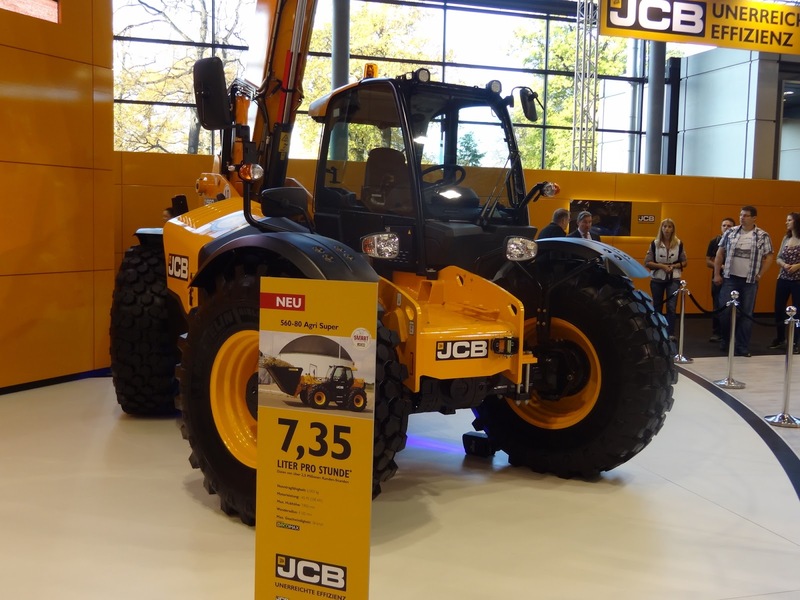 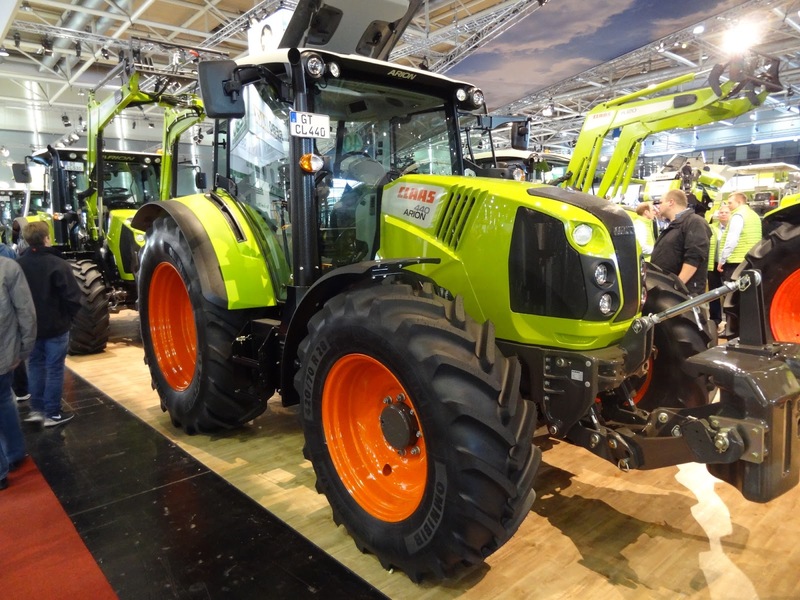 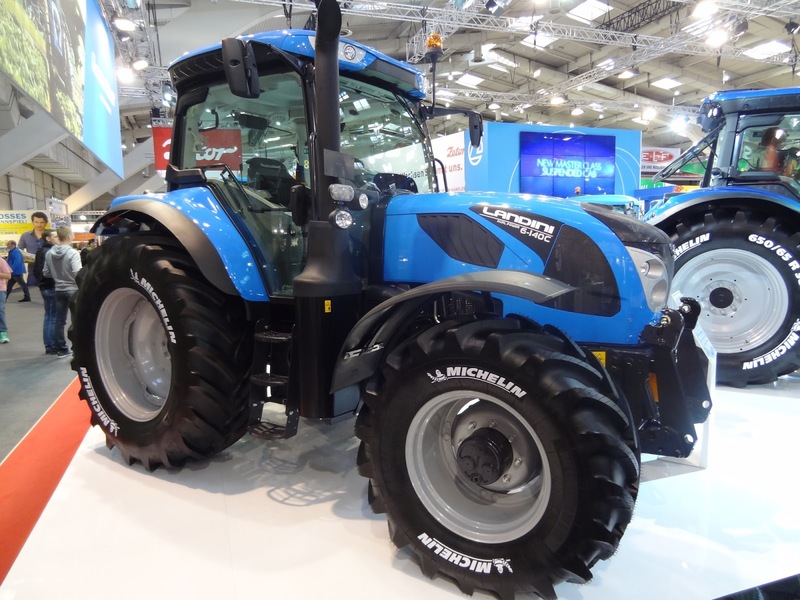 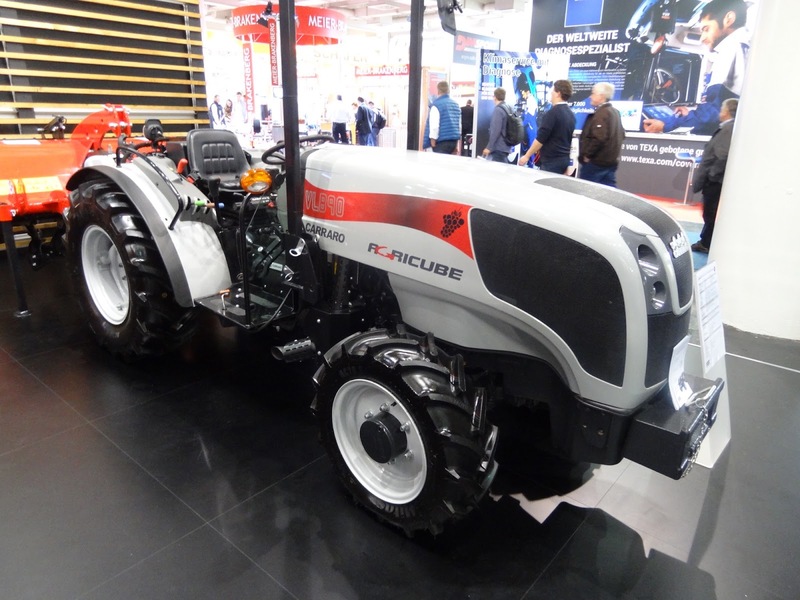 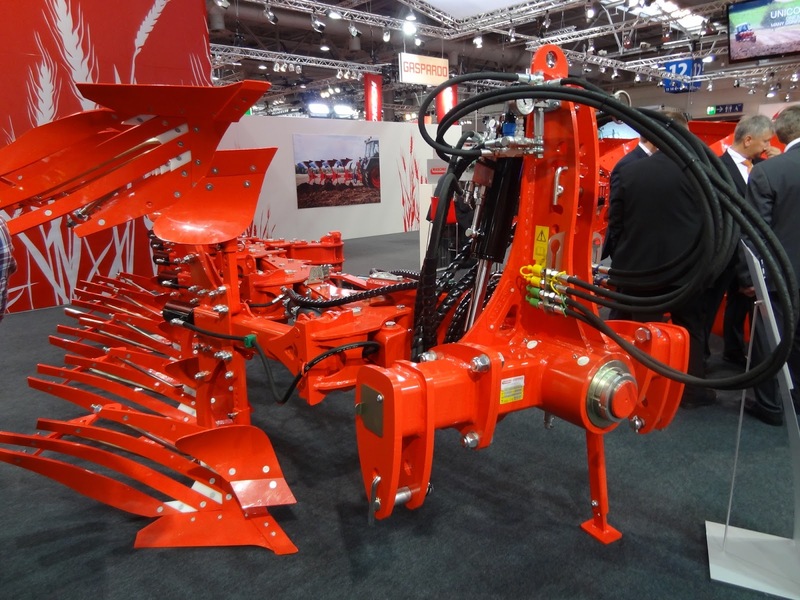 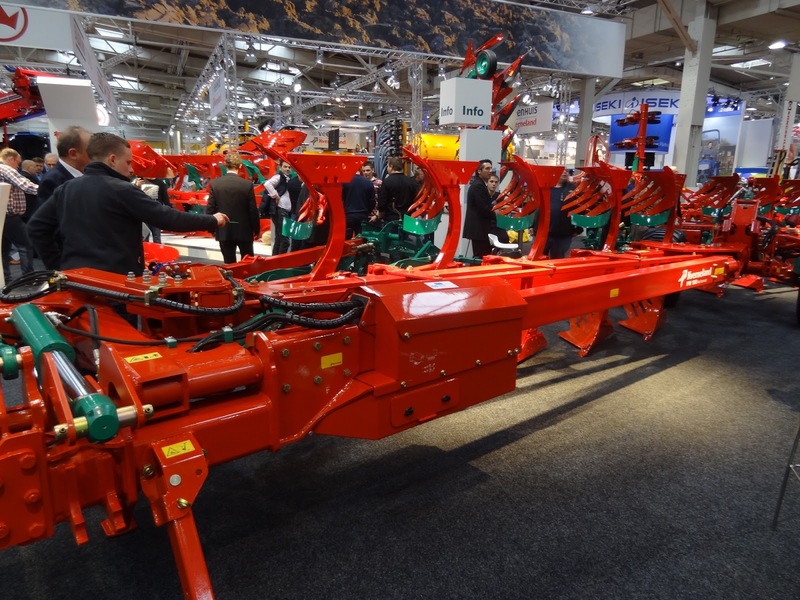 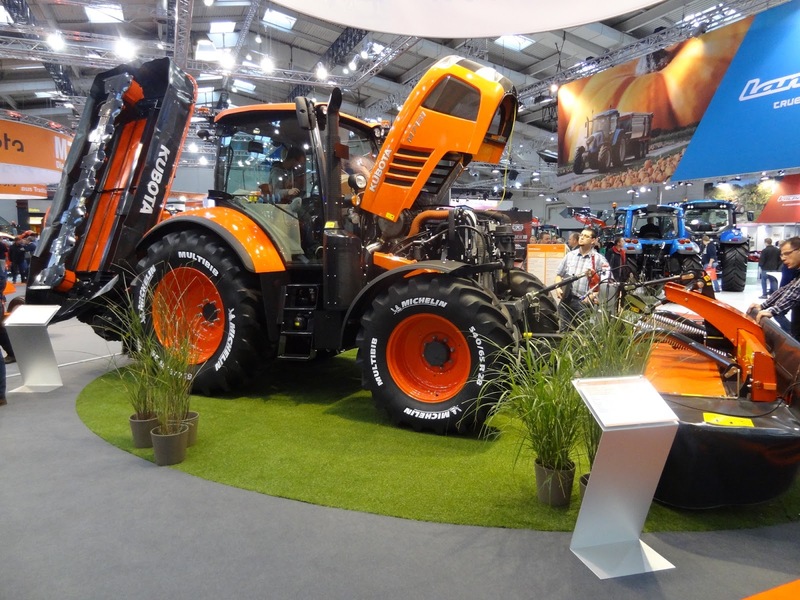 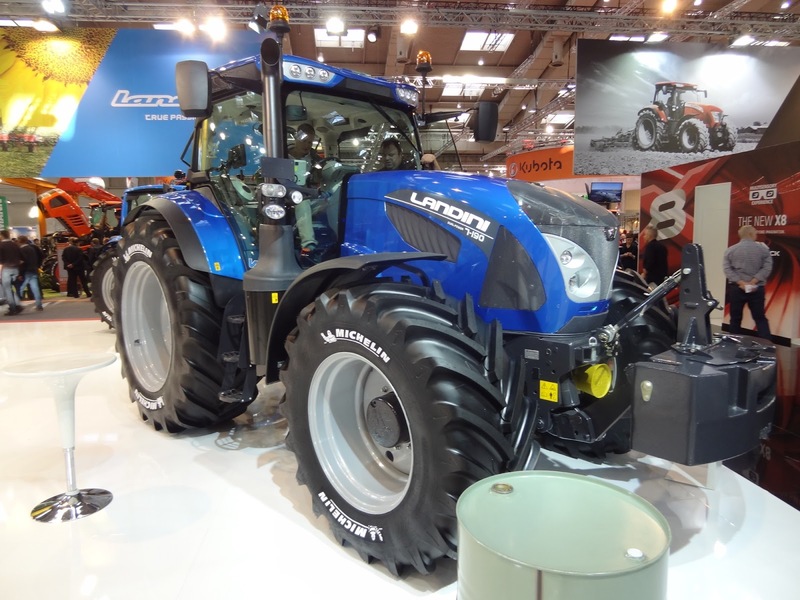 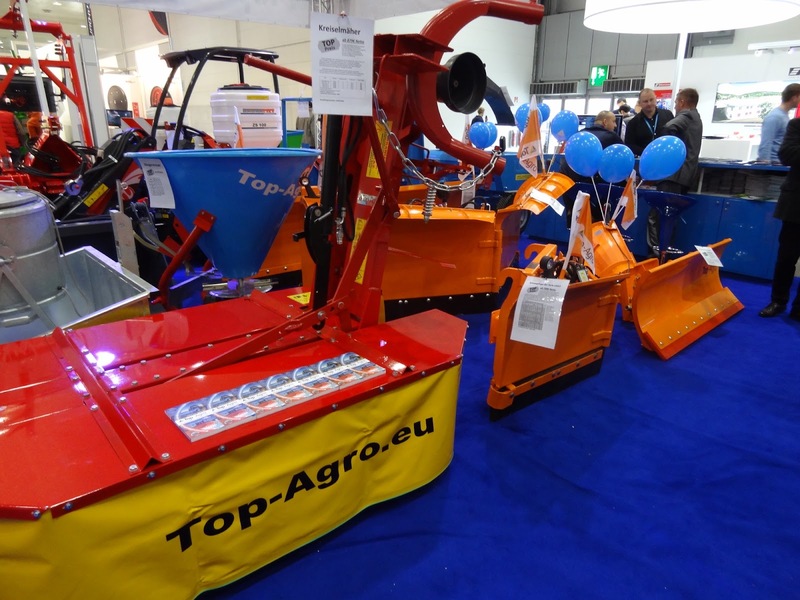 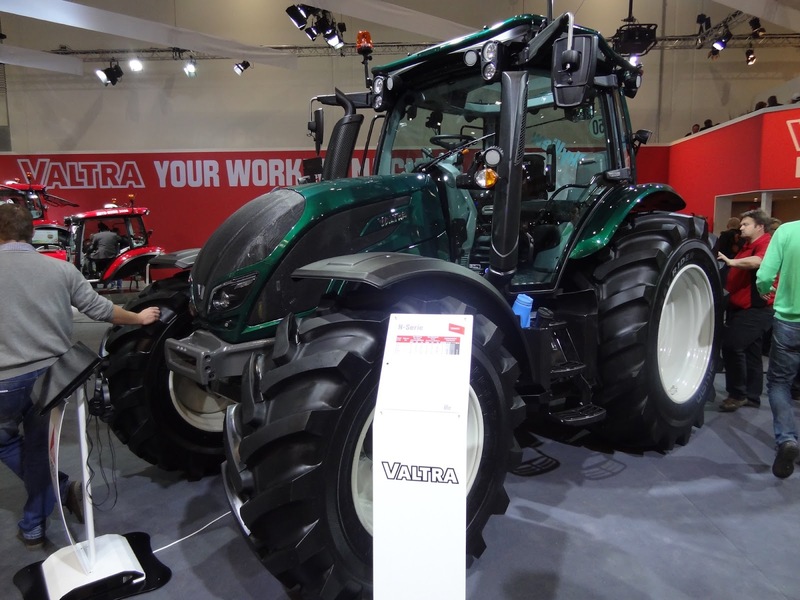 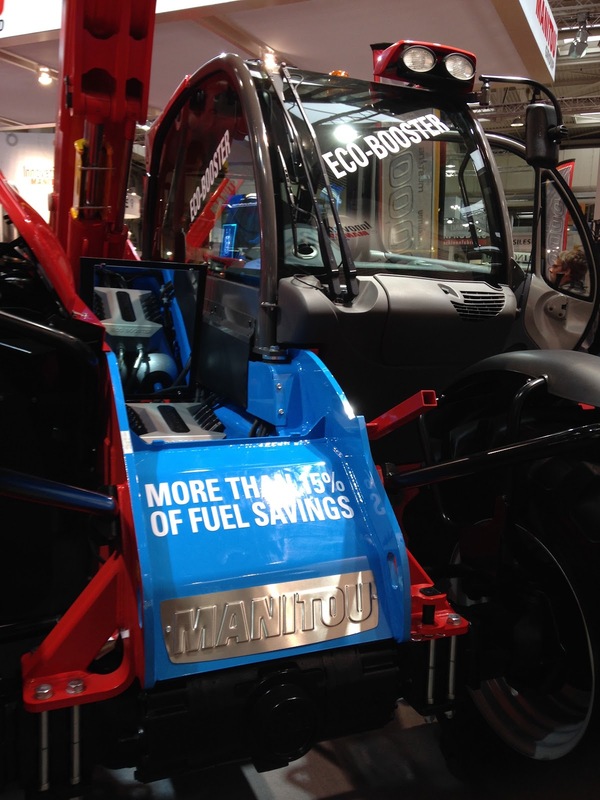 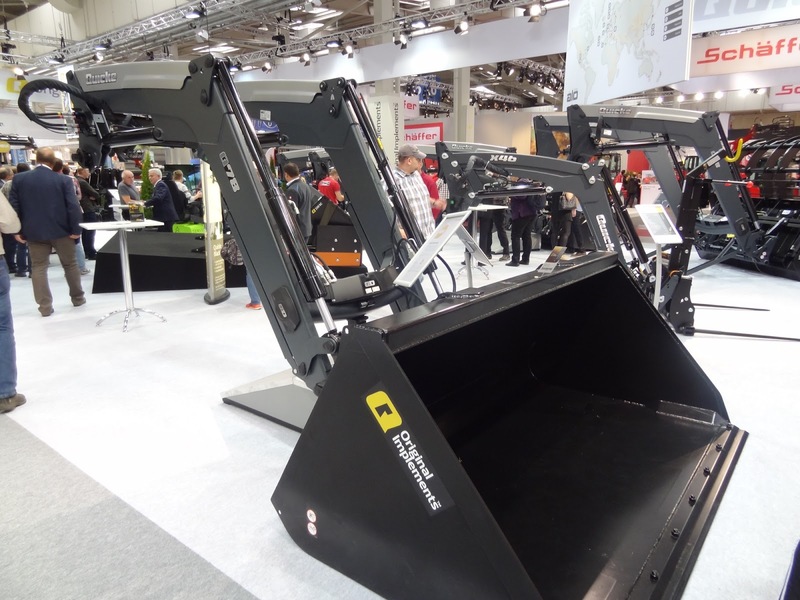 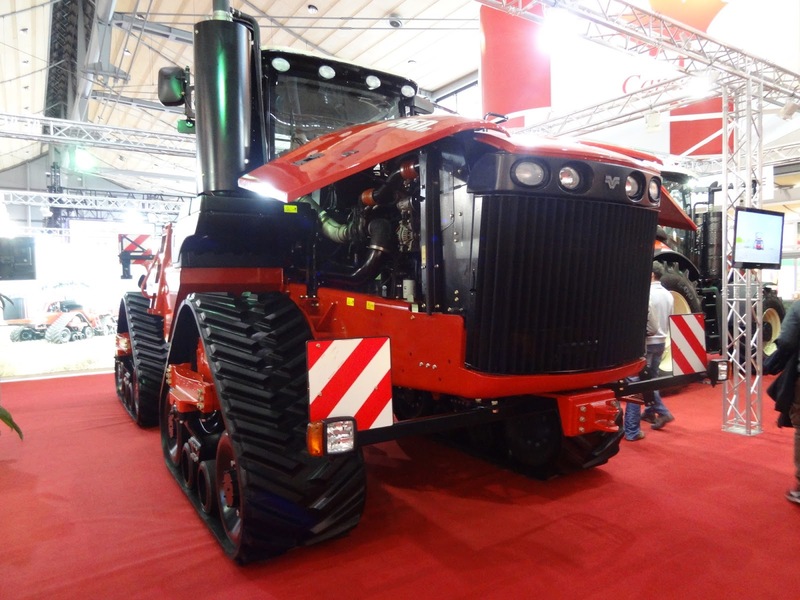 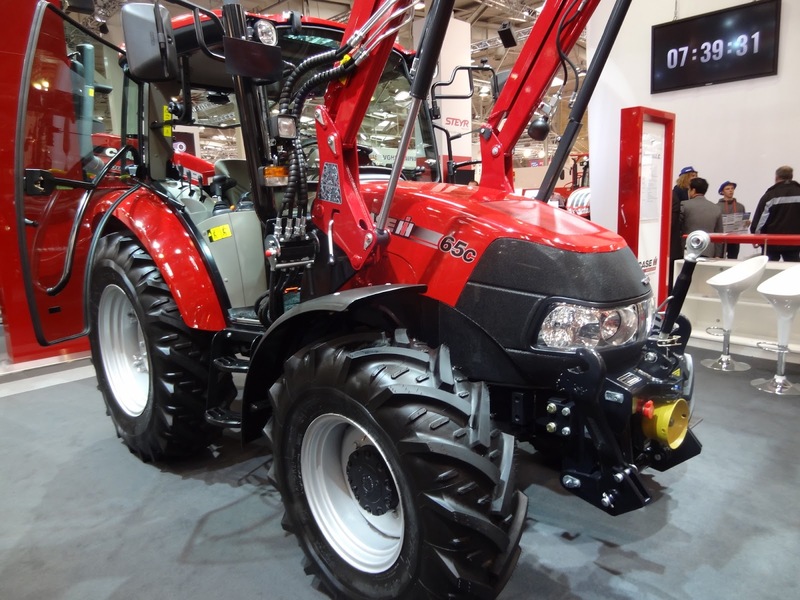 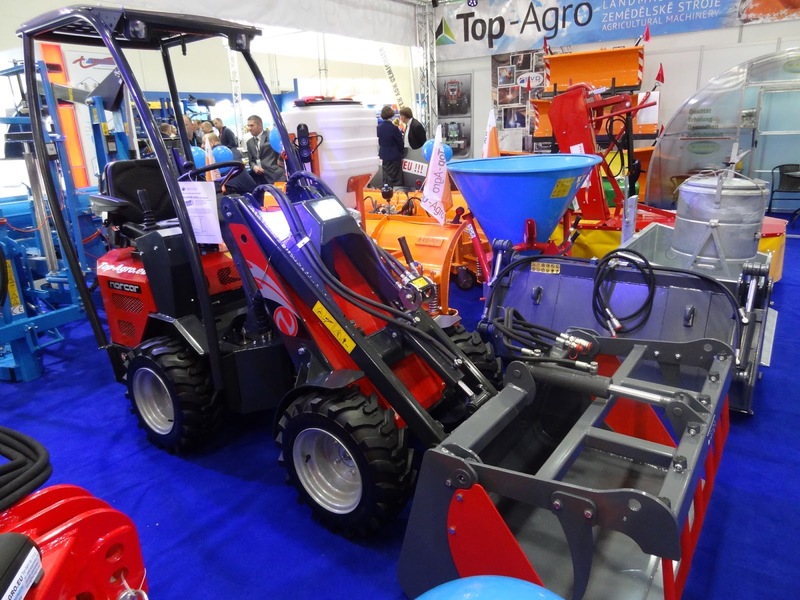 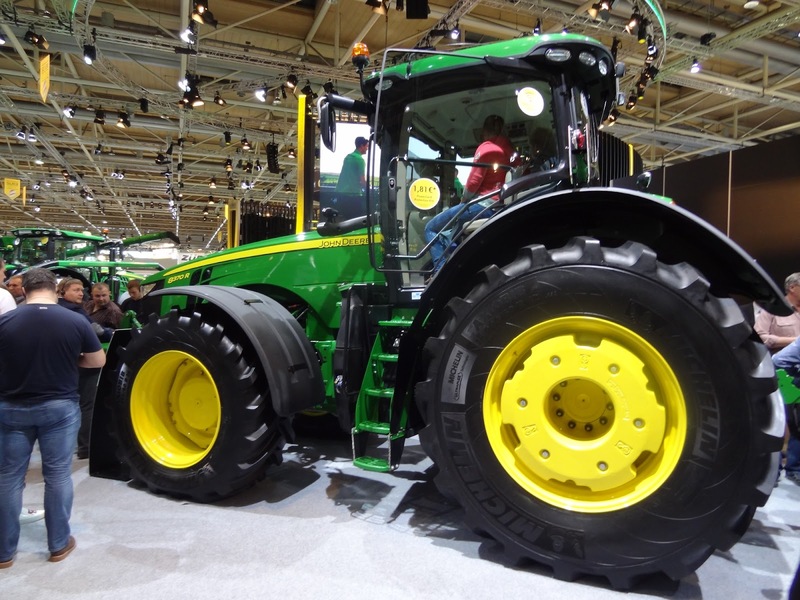 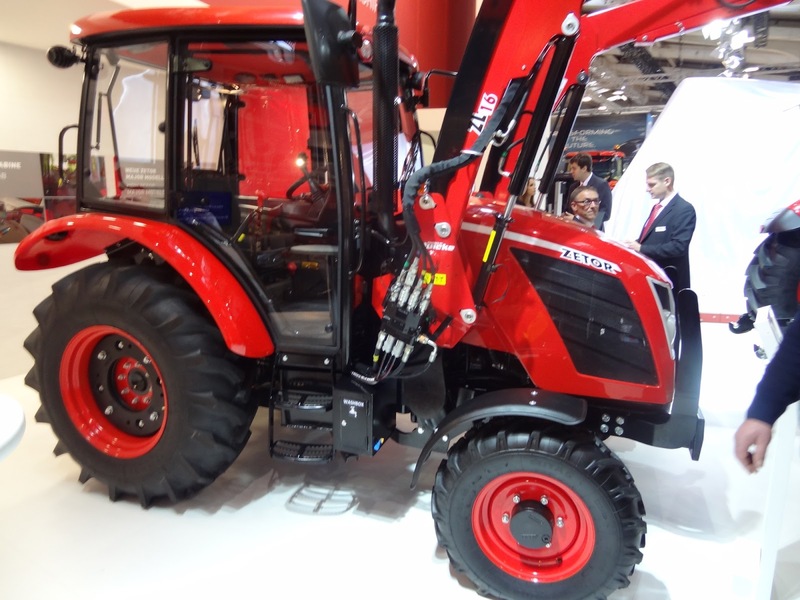 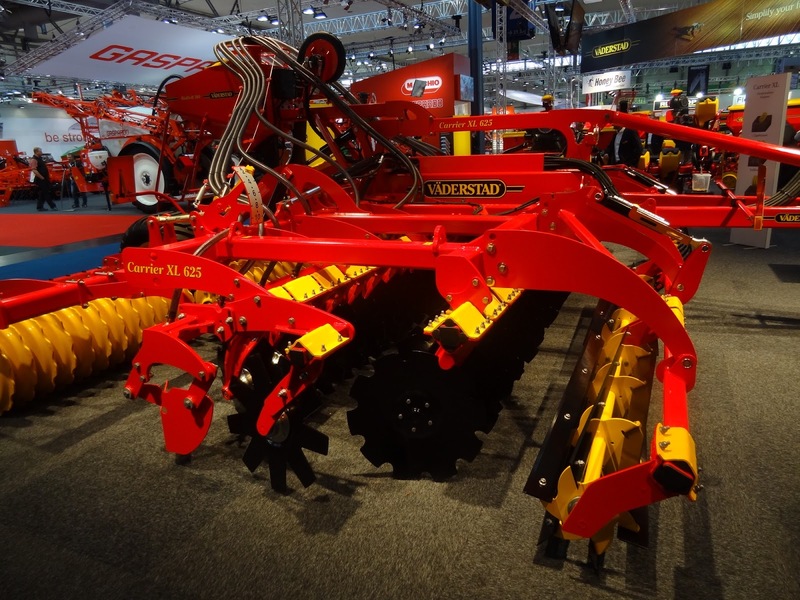 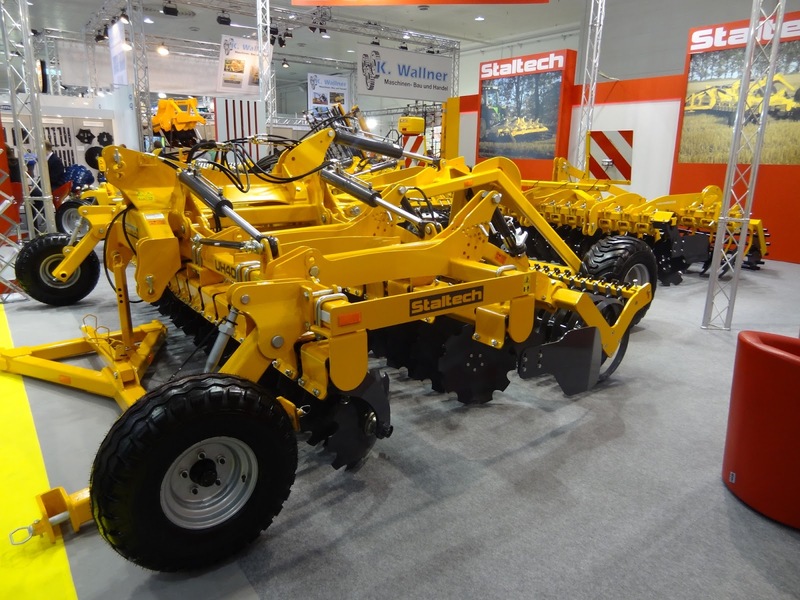 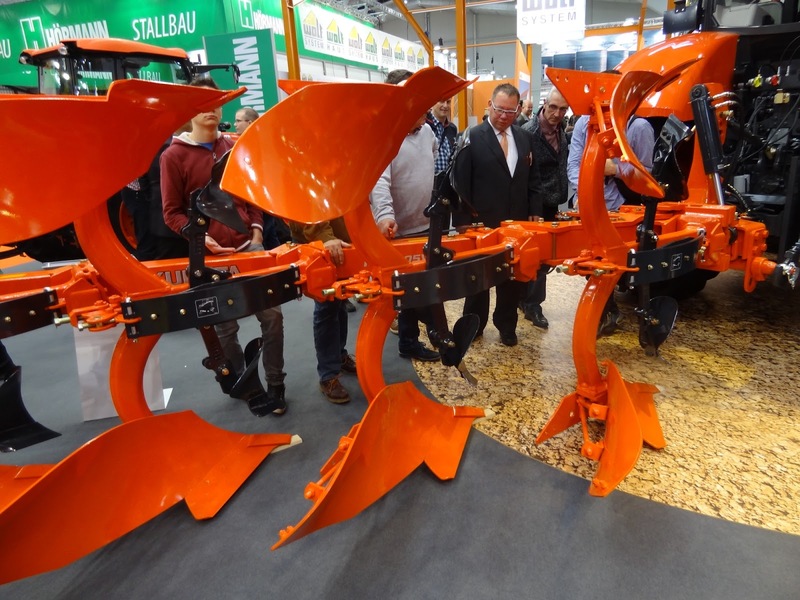 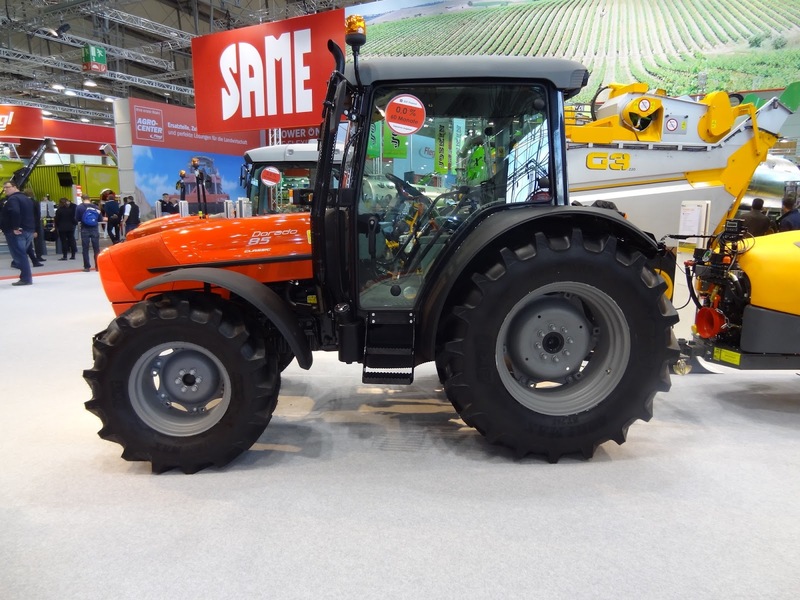 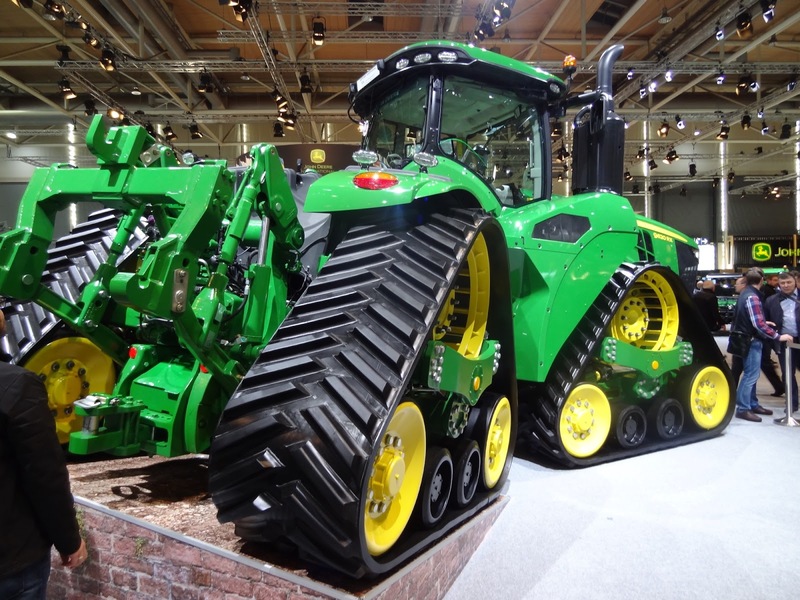 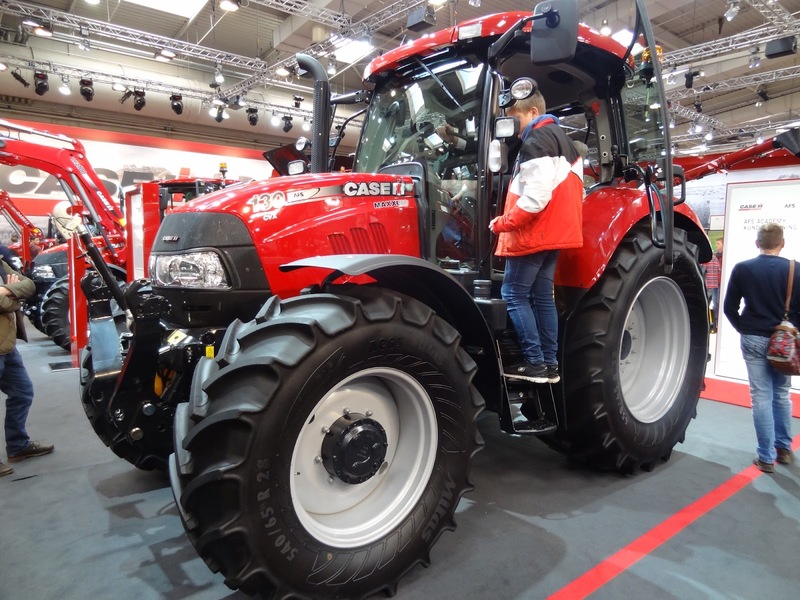 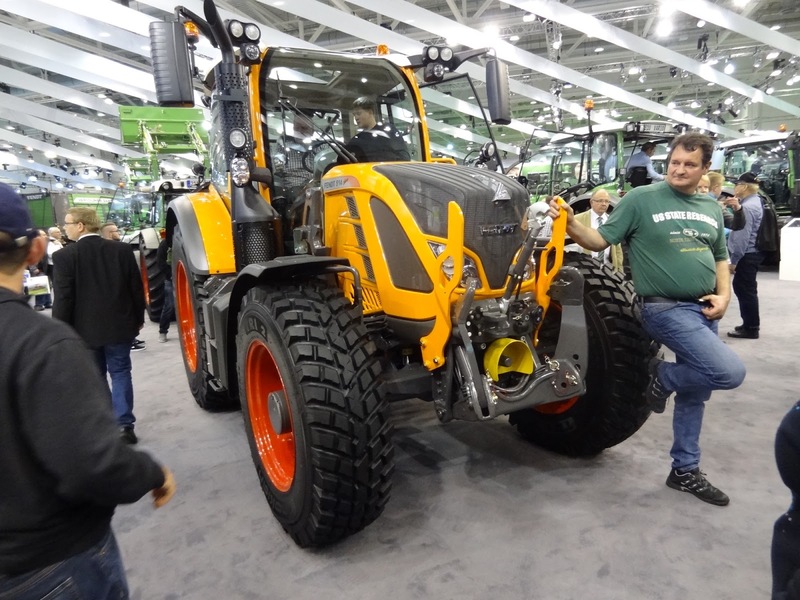 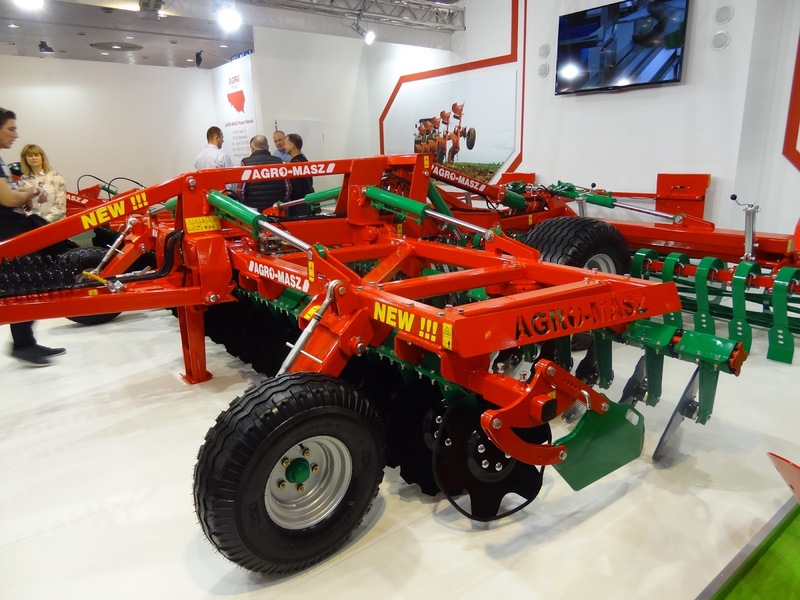 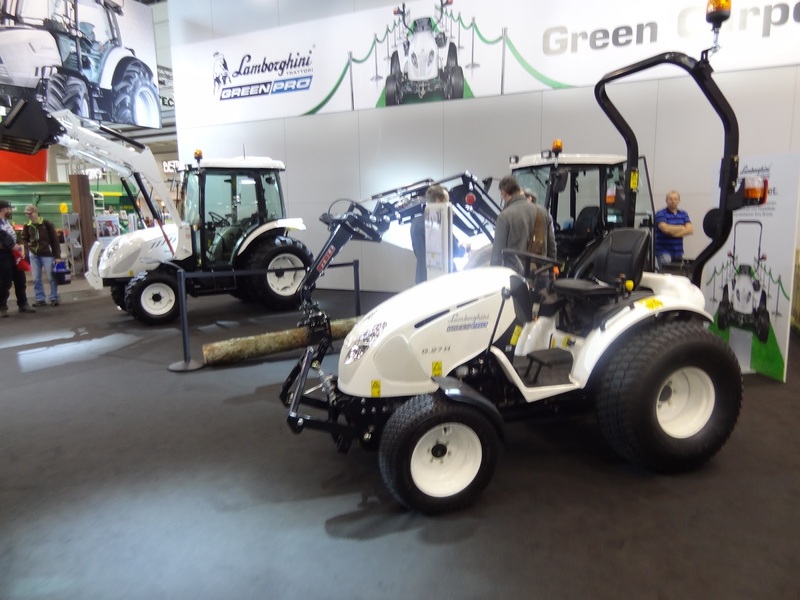 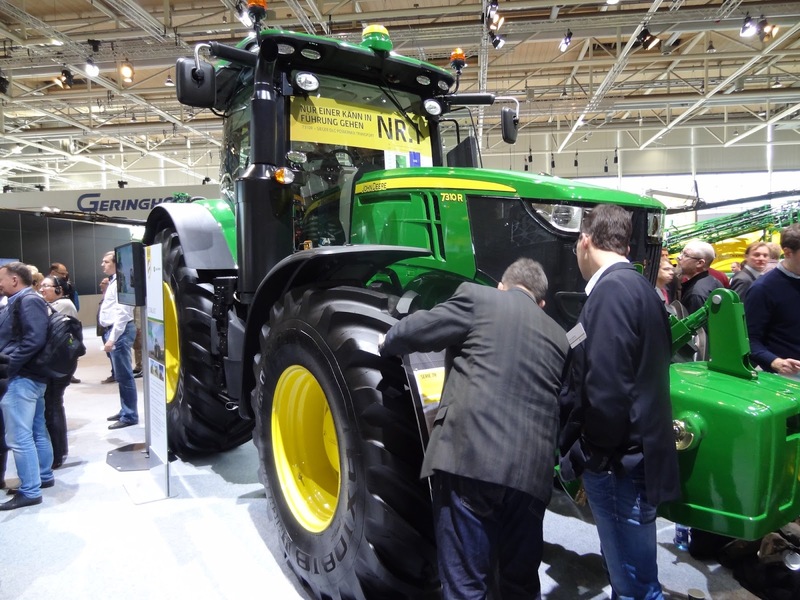 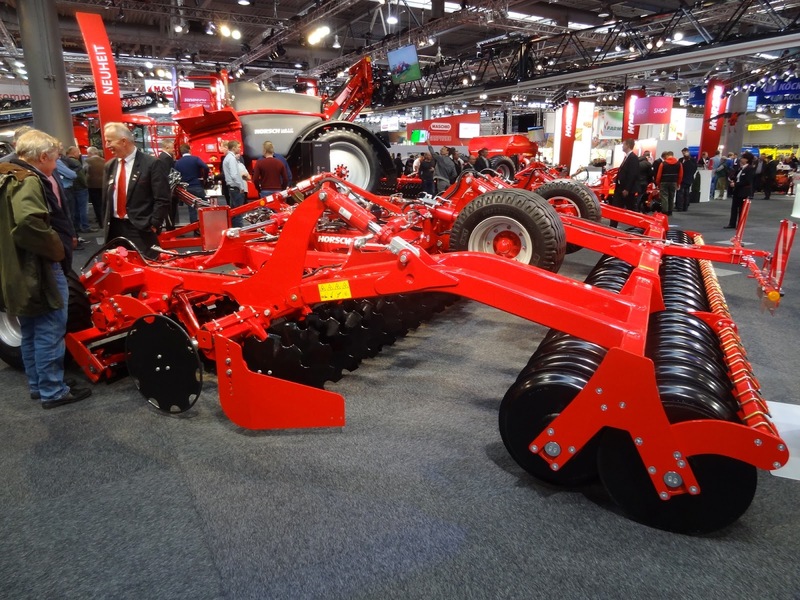 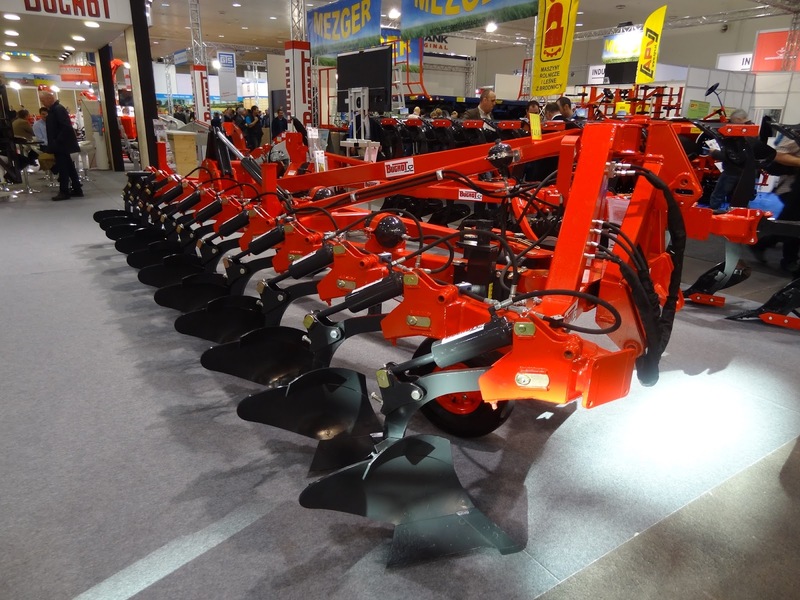 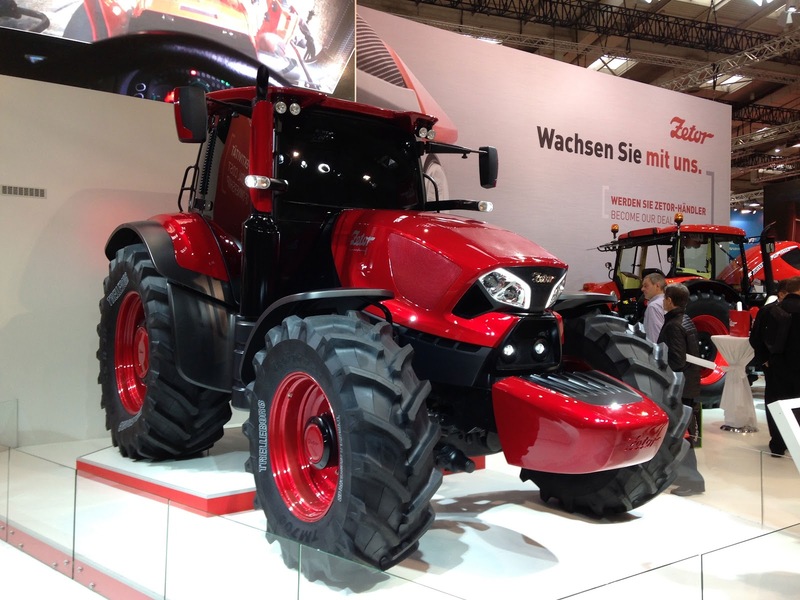 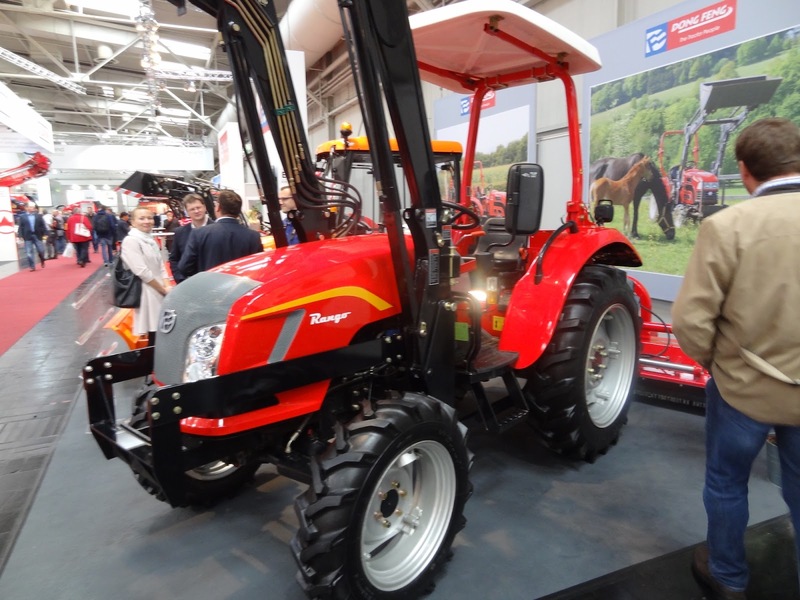 Many European tractor brands introduced new top models with higher hp. 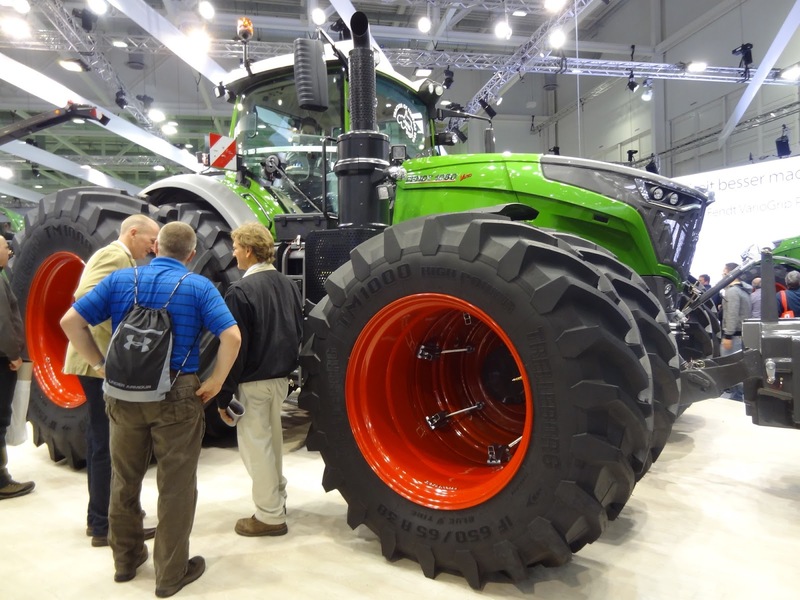 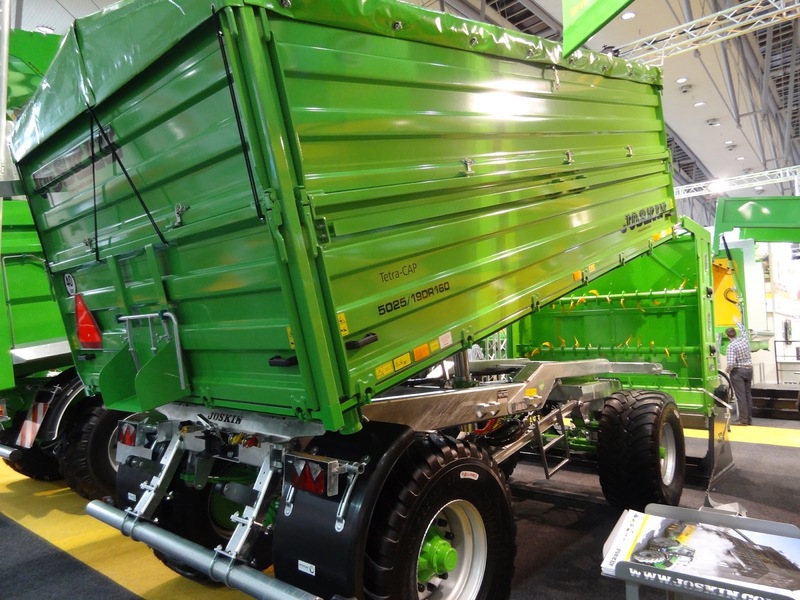 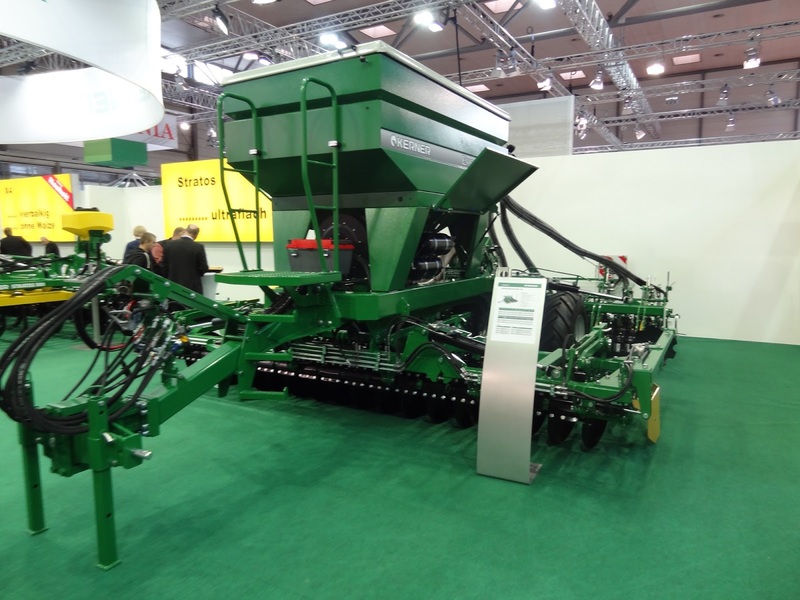 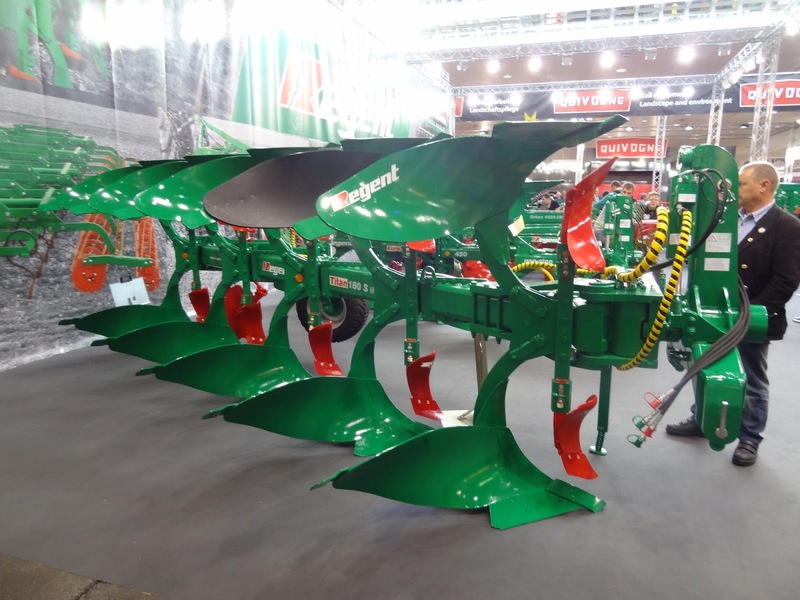 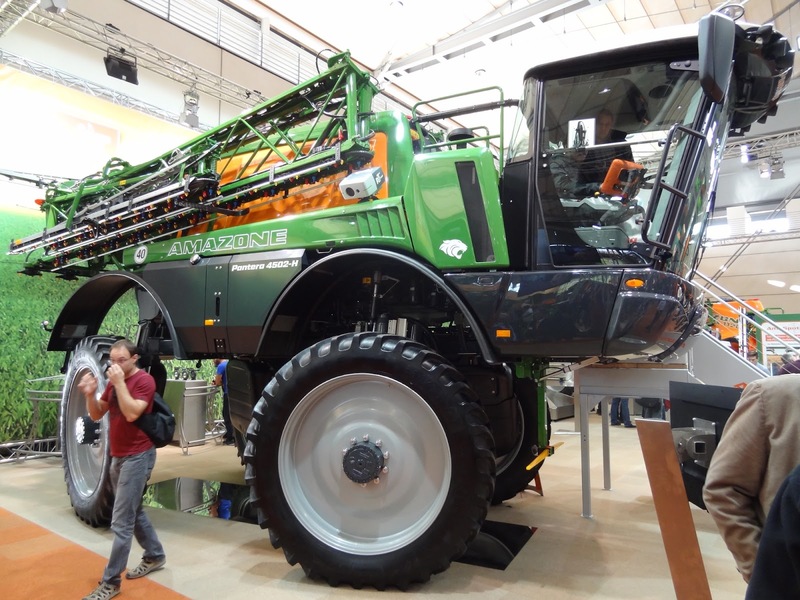 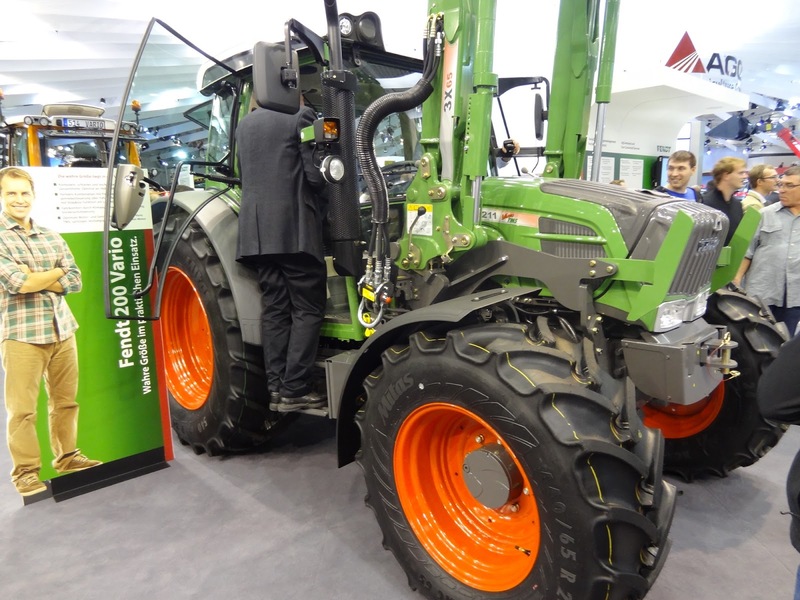 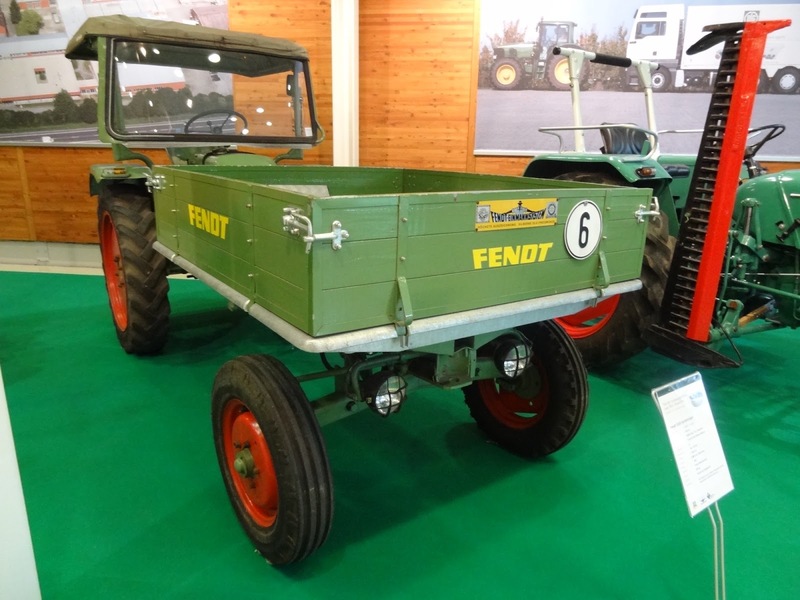 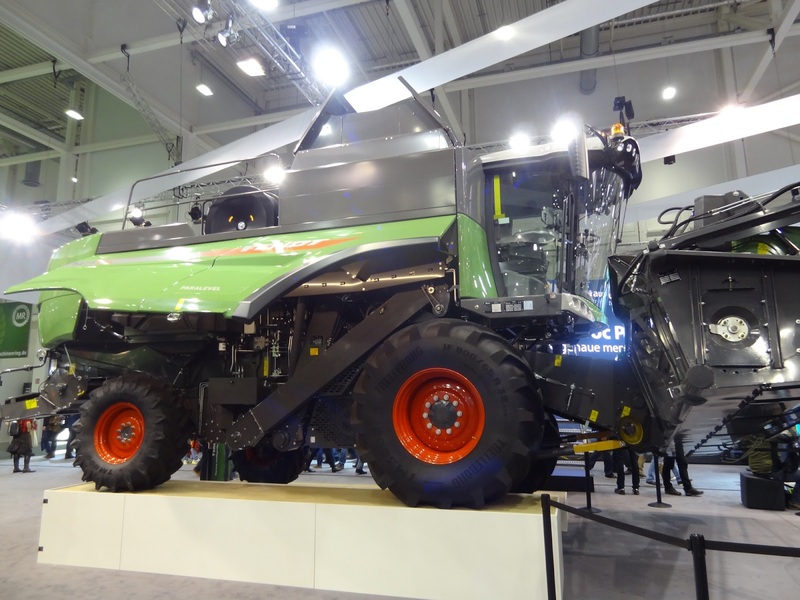 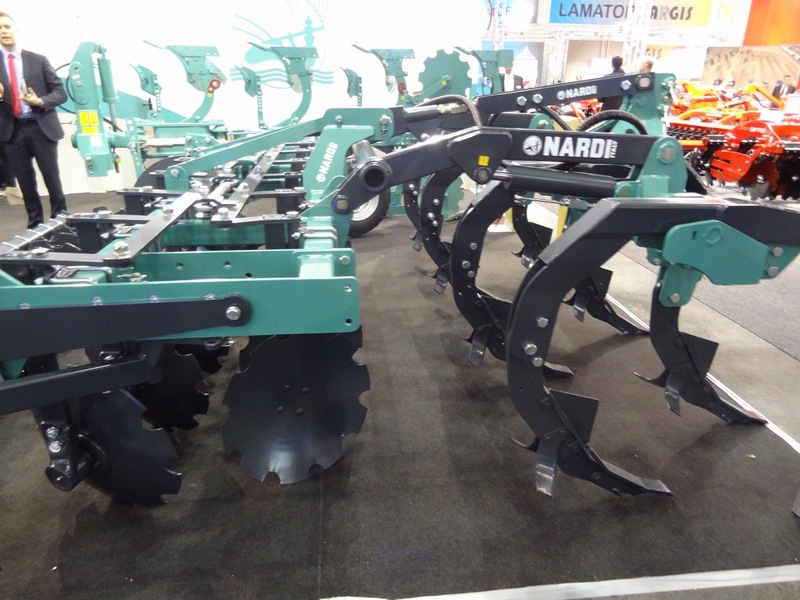 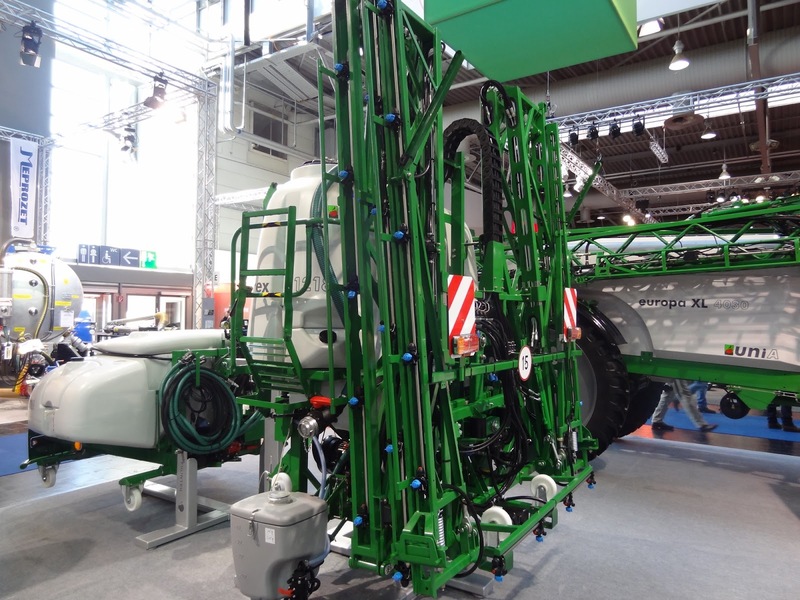 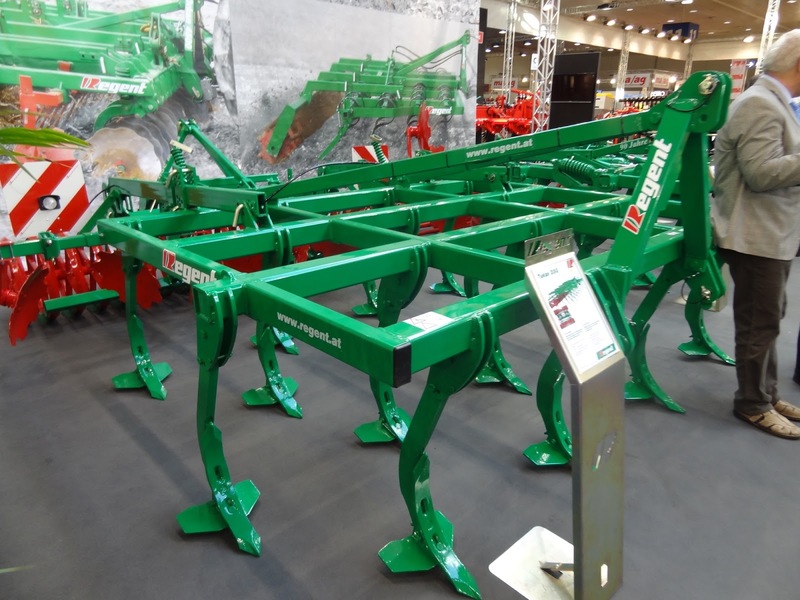 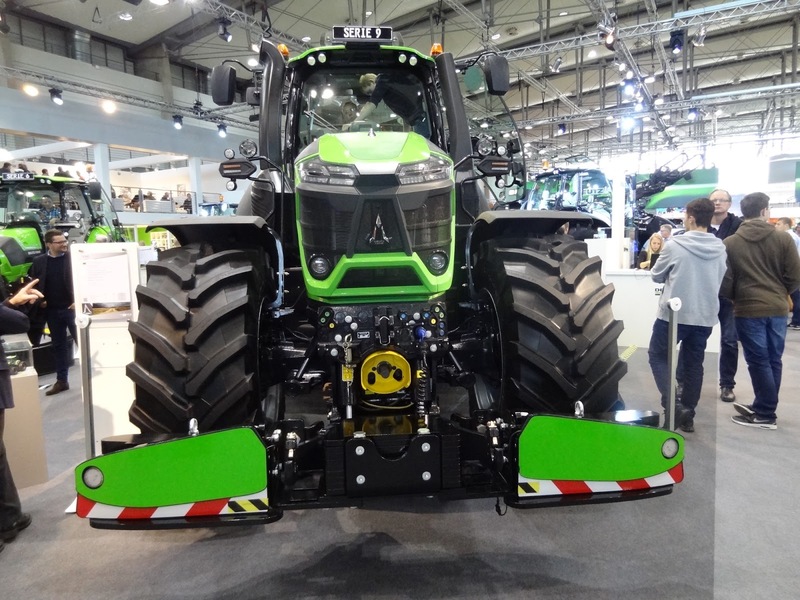 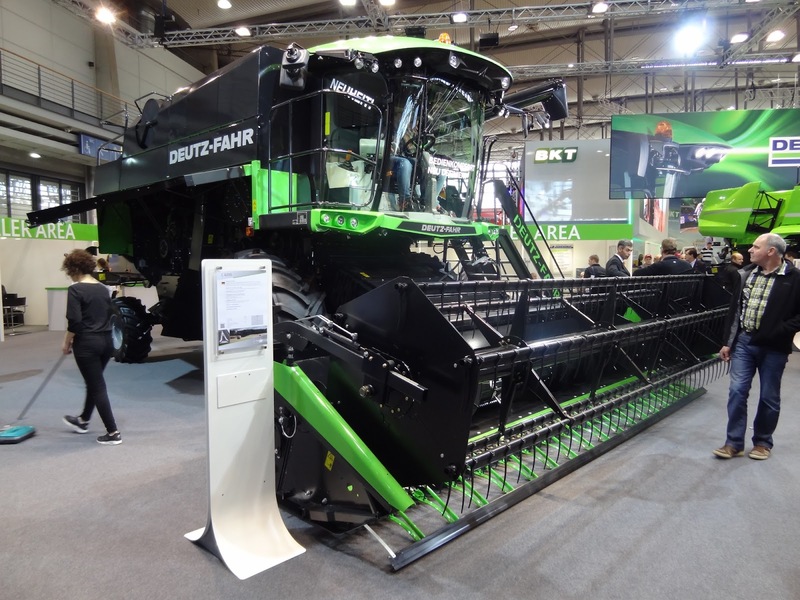 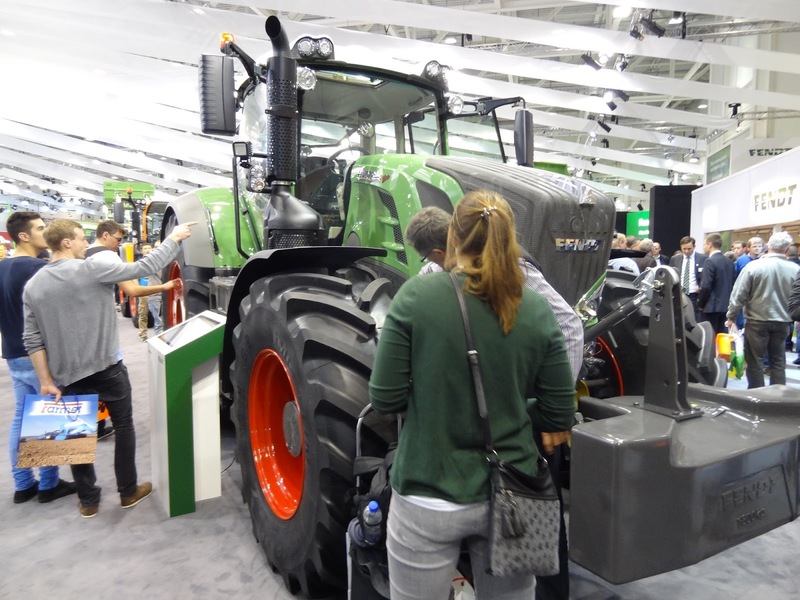 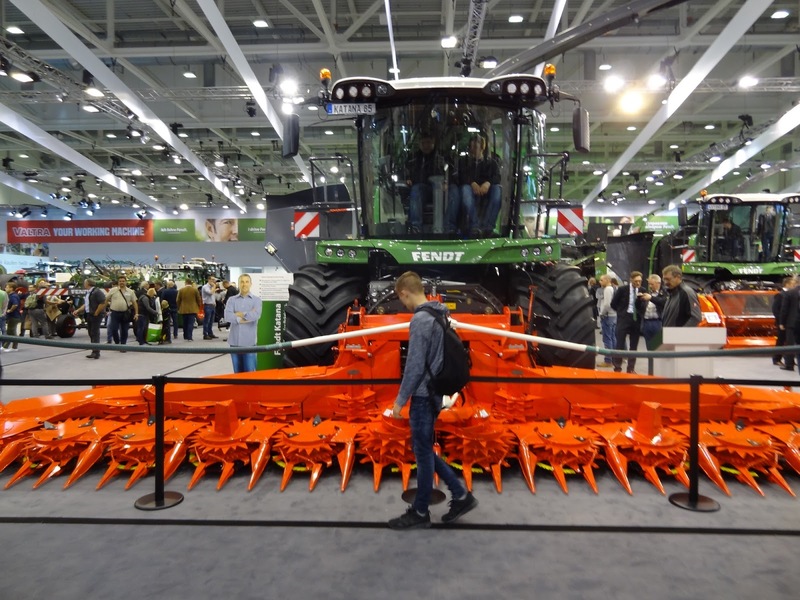 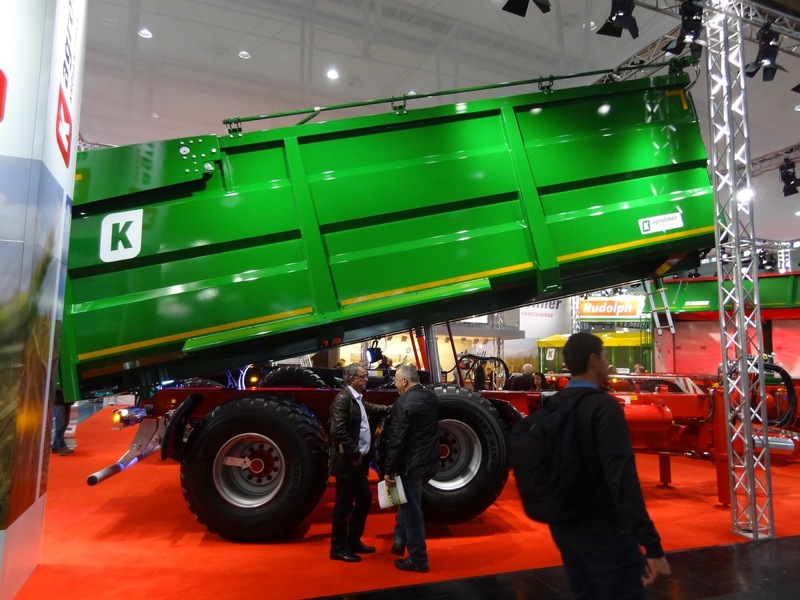 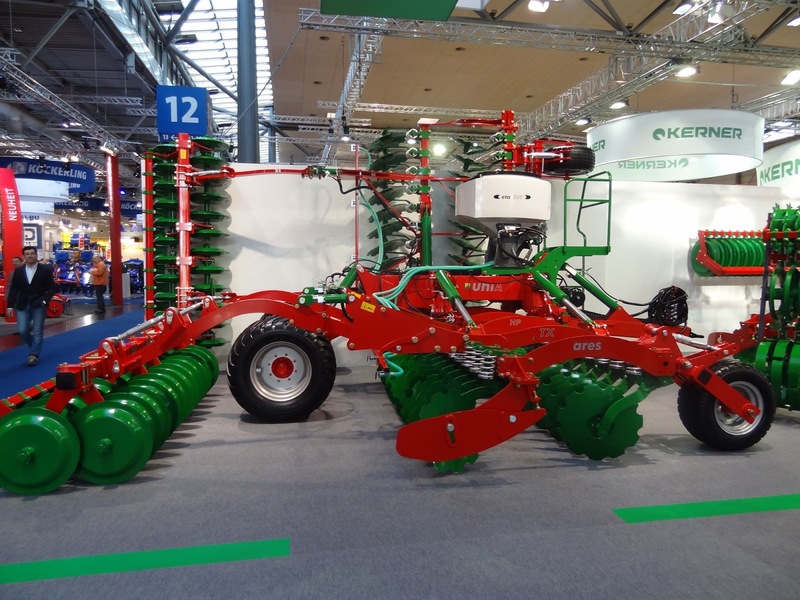 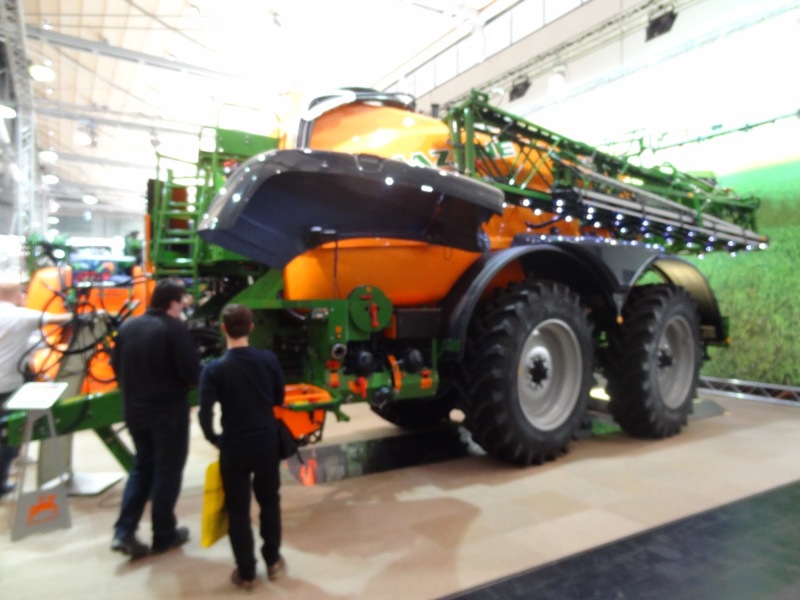 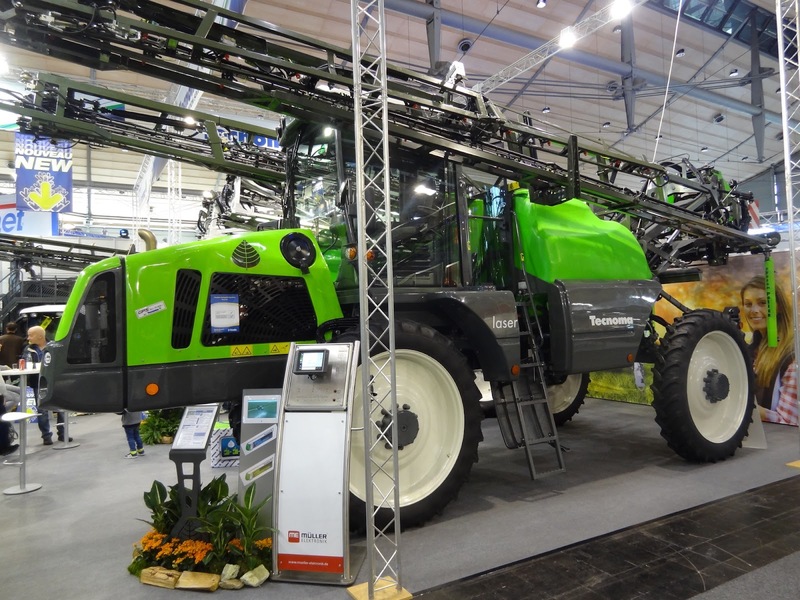 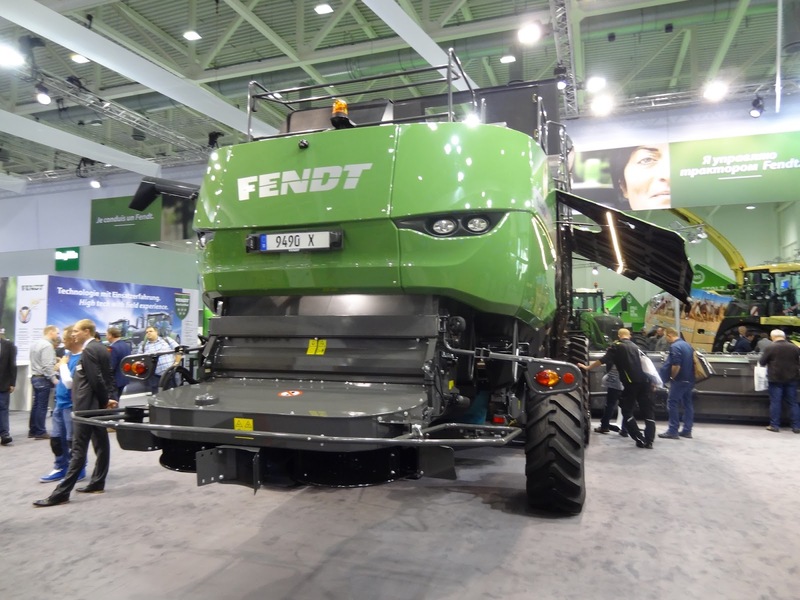 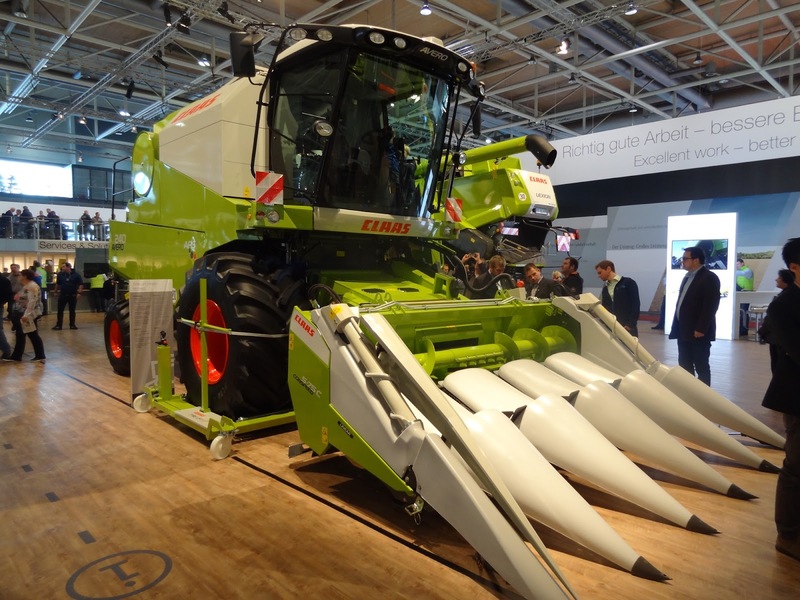 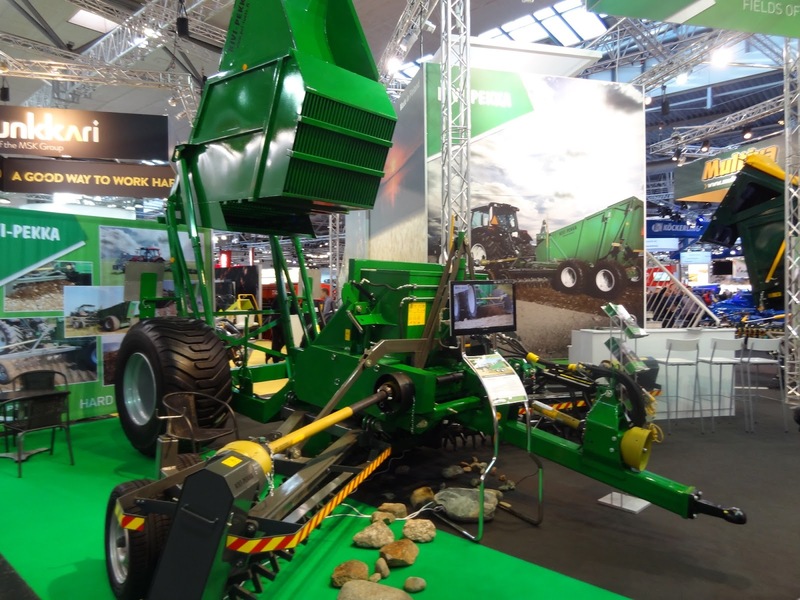 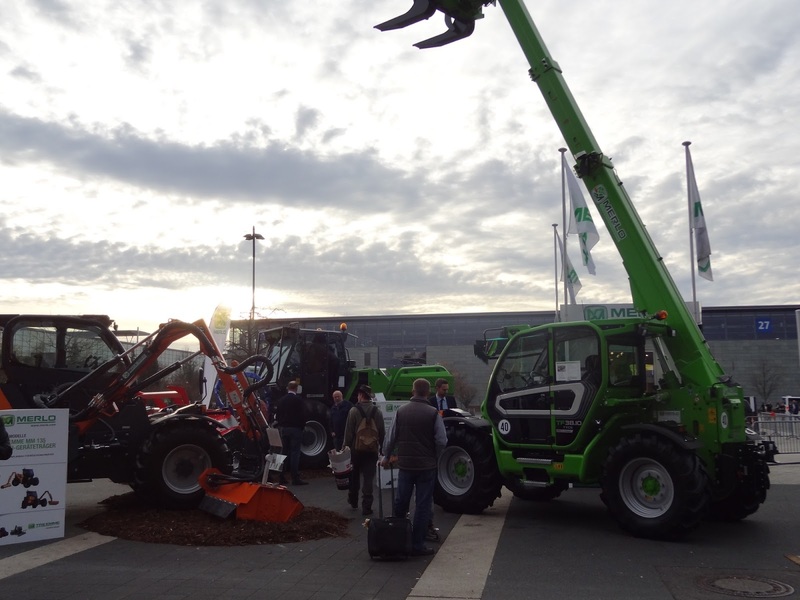 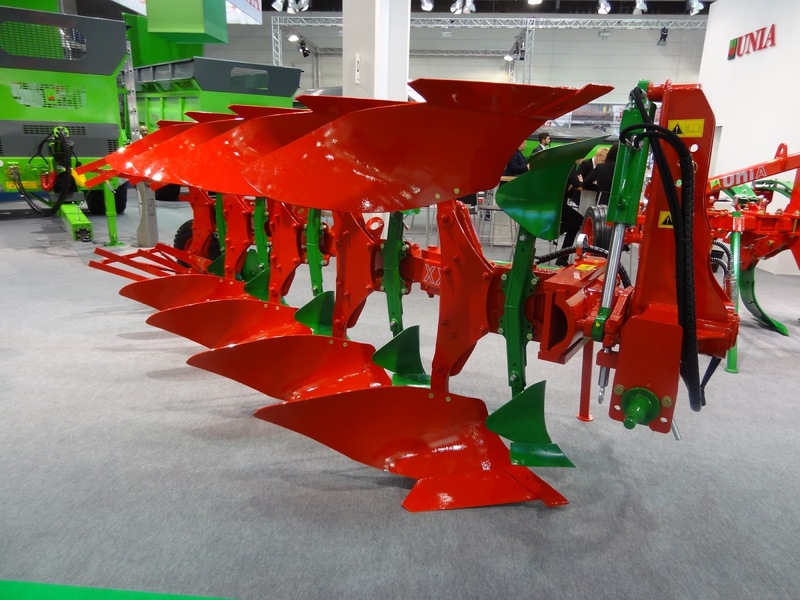 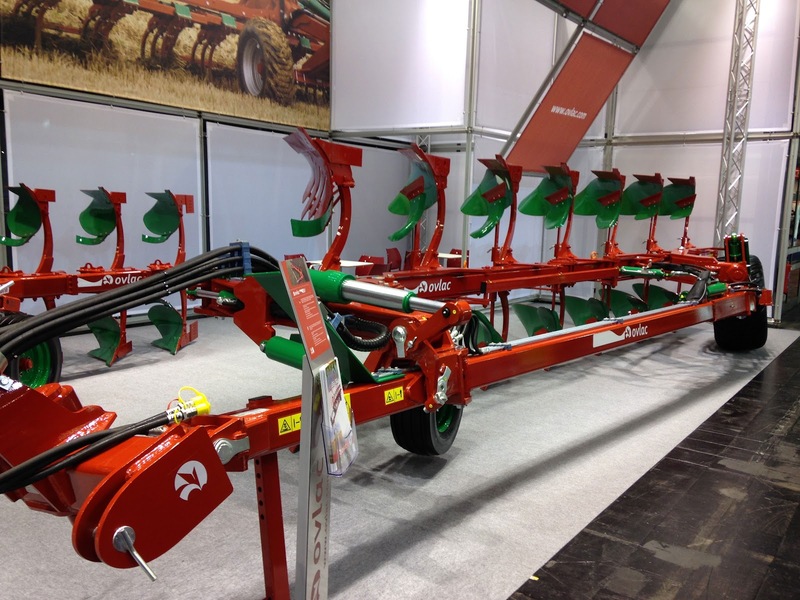 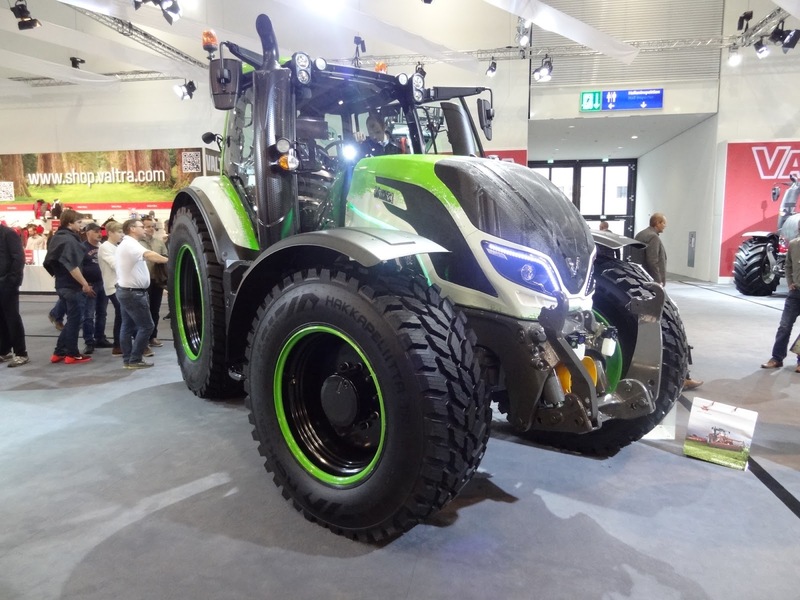 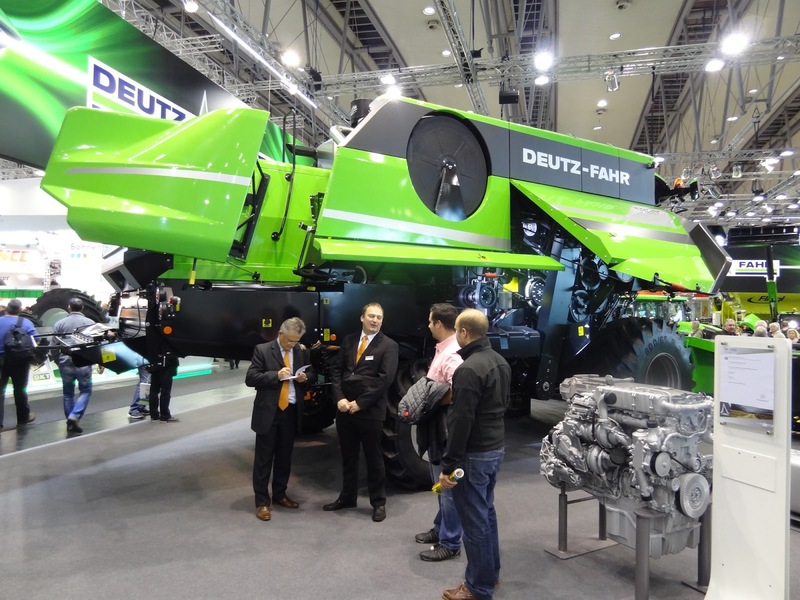 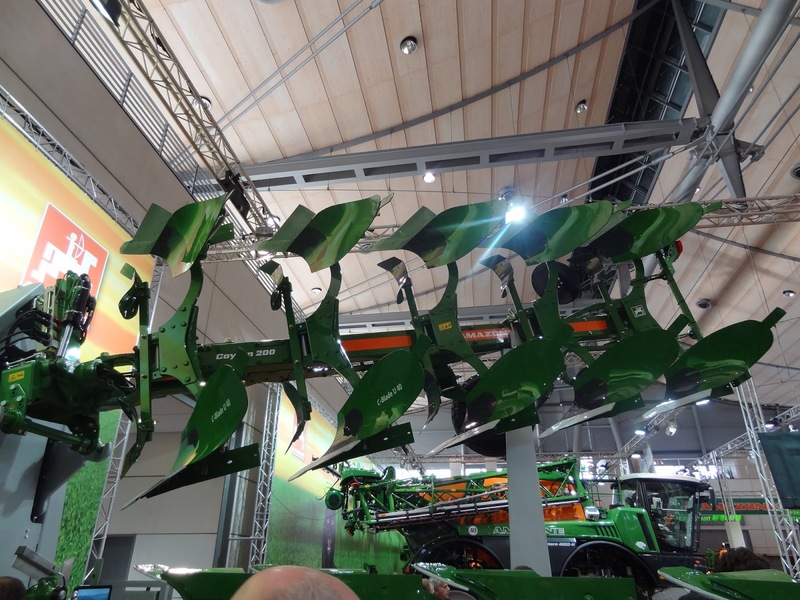 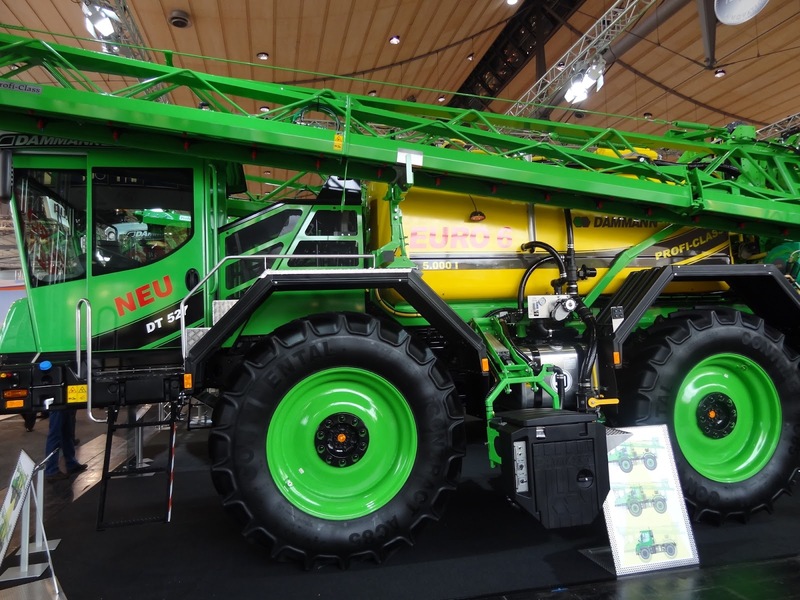 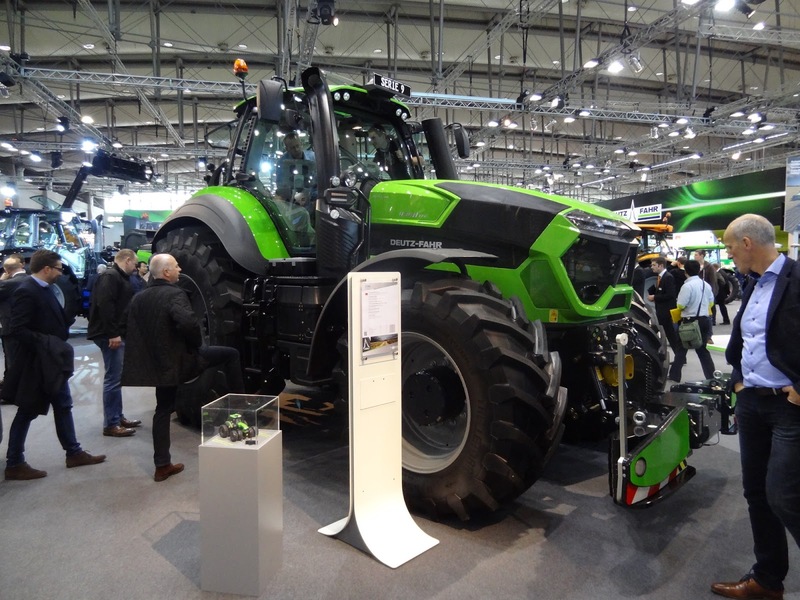 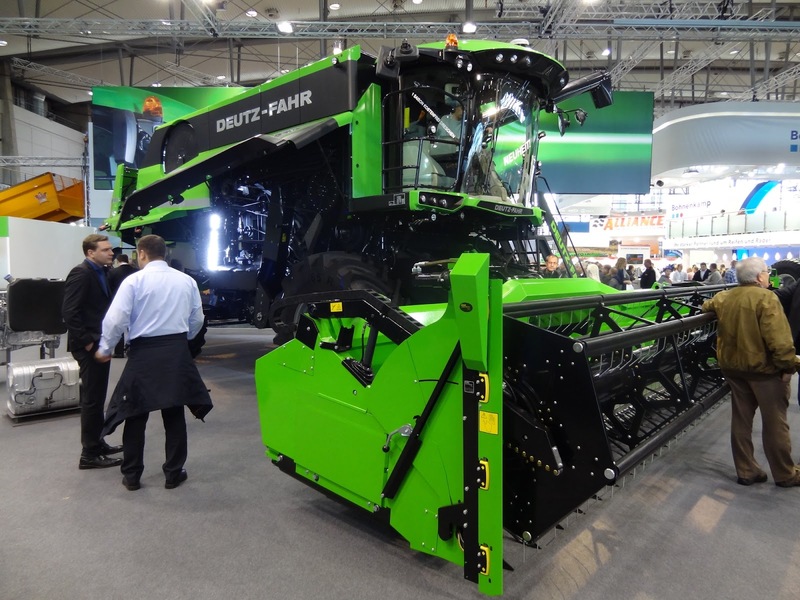 The king of the show is Fendt 1050 Vario. 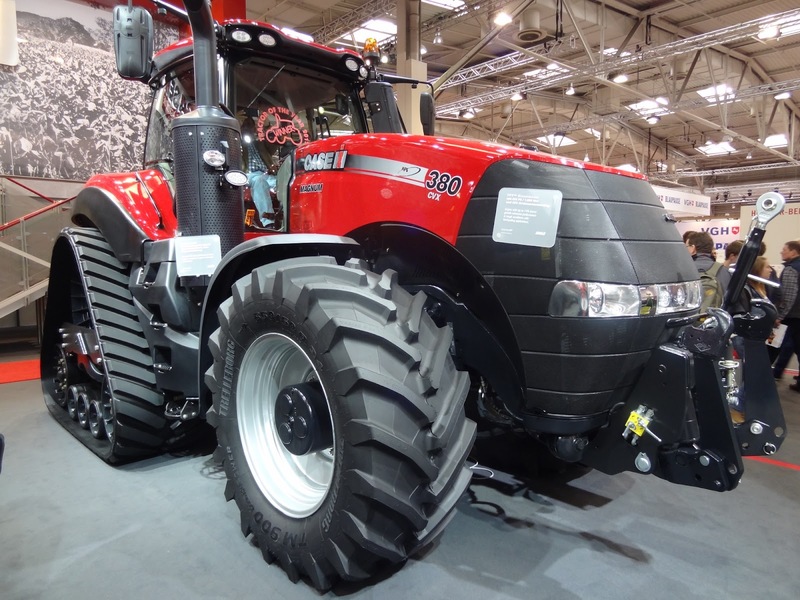 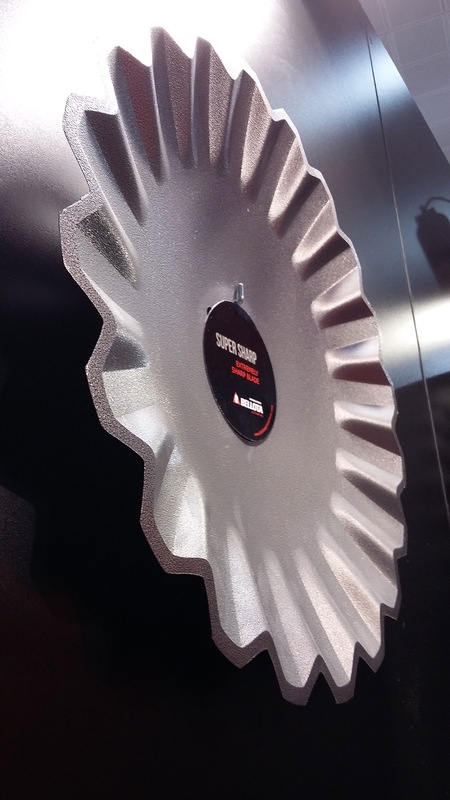 The most efficient model has 500 hp in its 12,4 l MAN engine​ (we don't know why it doesn't use a V8 engine)​. 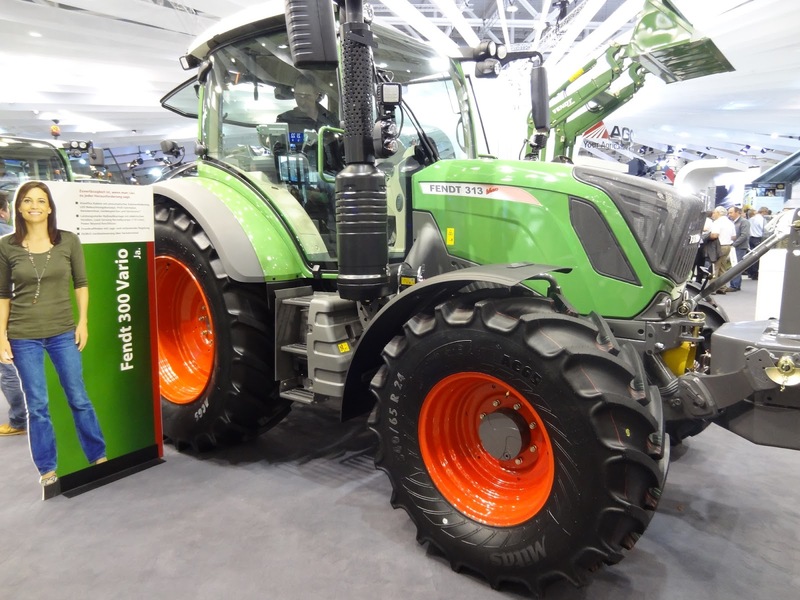 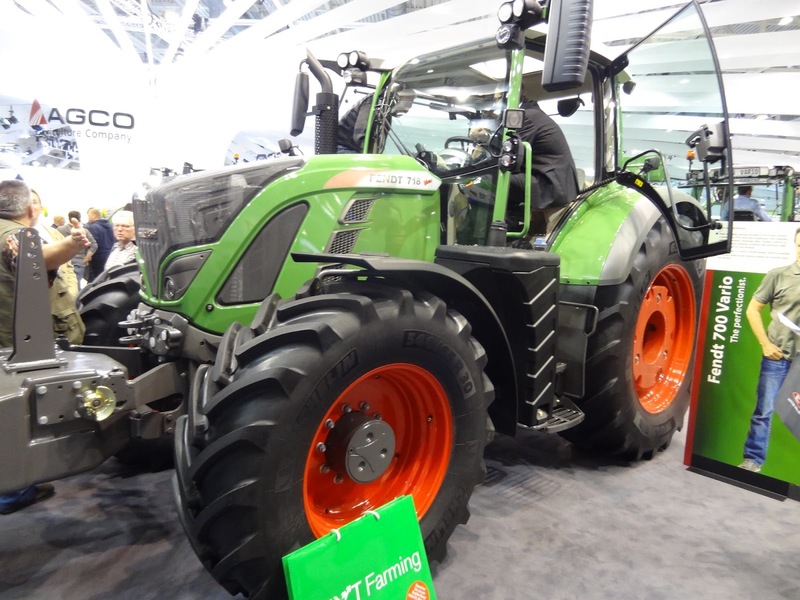 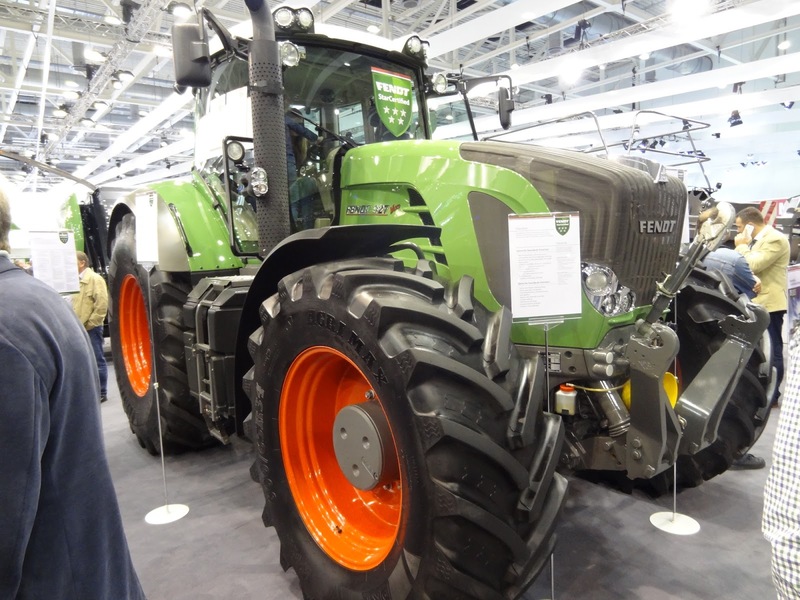 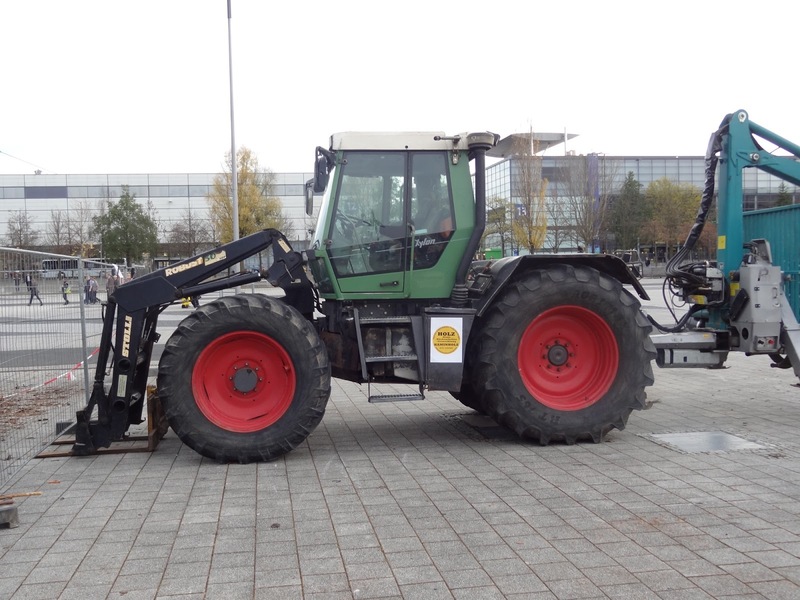 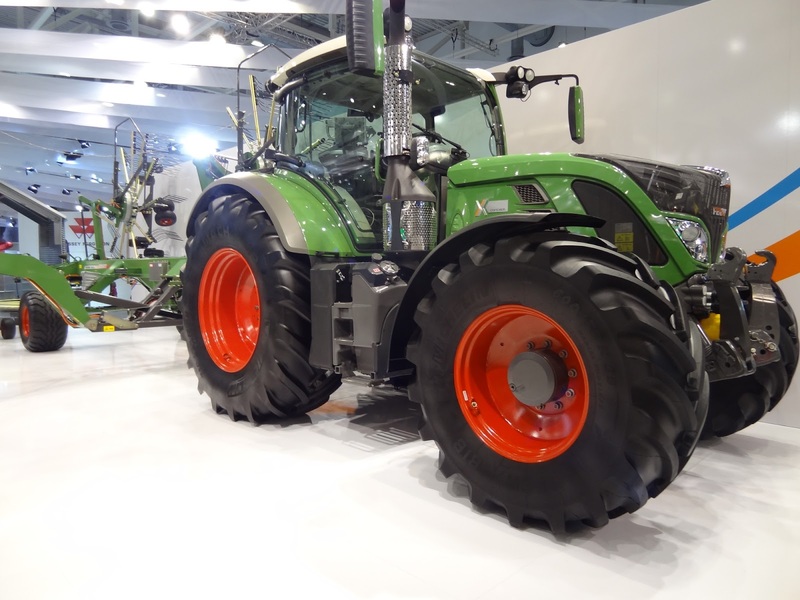 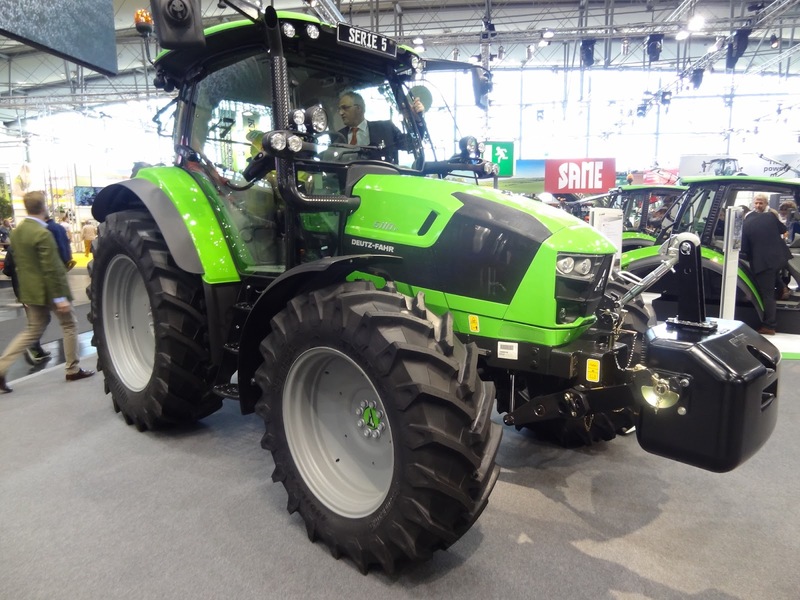 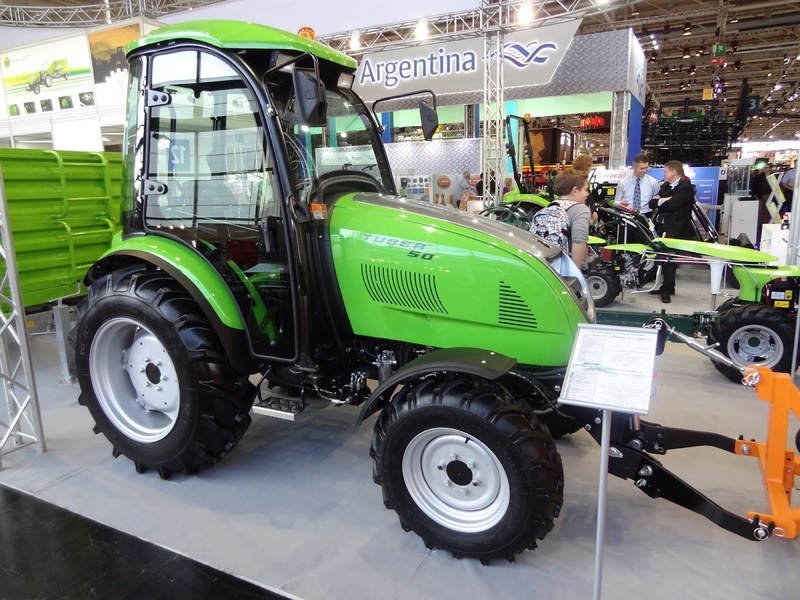 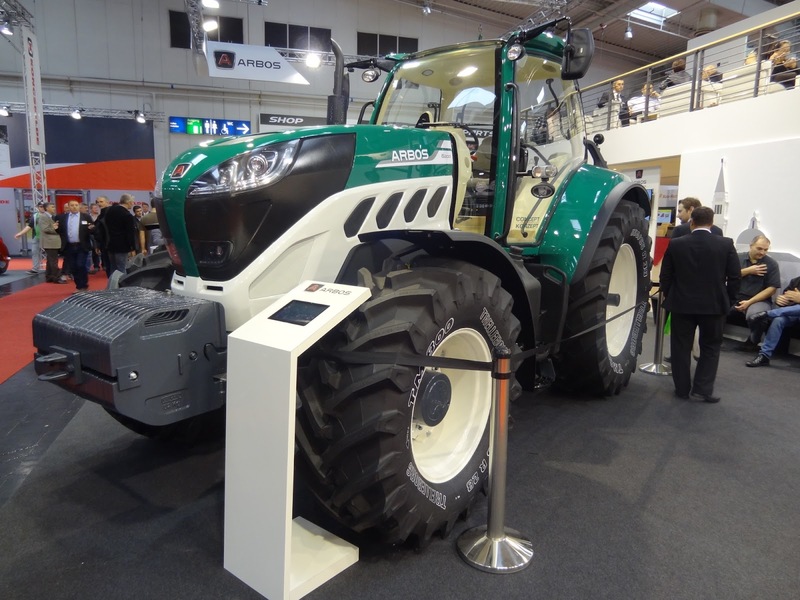 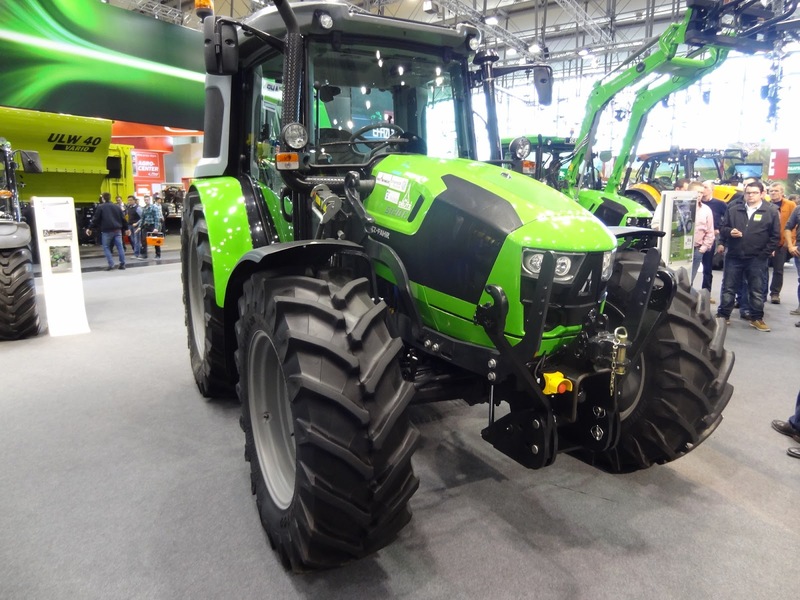 Fendt 1050 Vario won the prestigious Tractor of Year title. 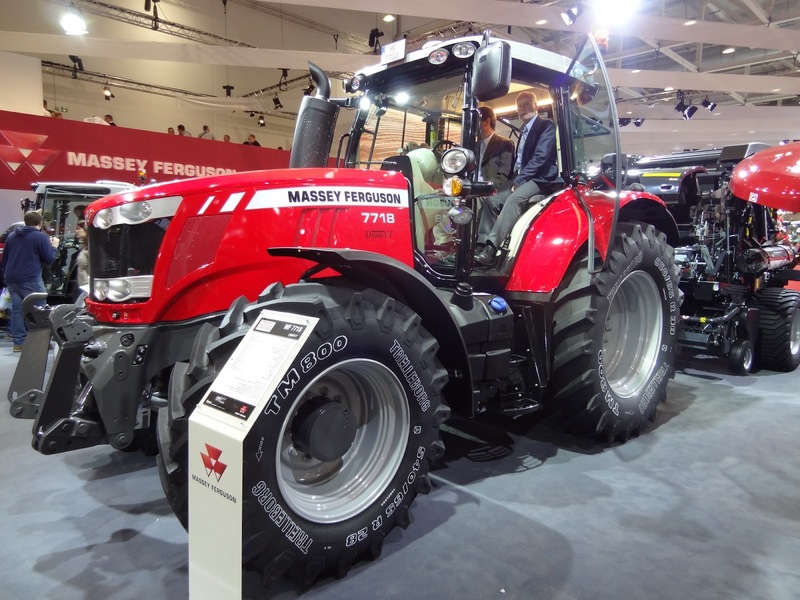 Winner of utility class was Massey Ferguson 5713 SL that has improved the engine and cabin compared to previous 5610 series. 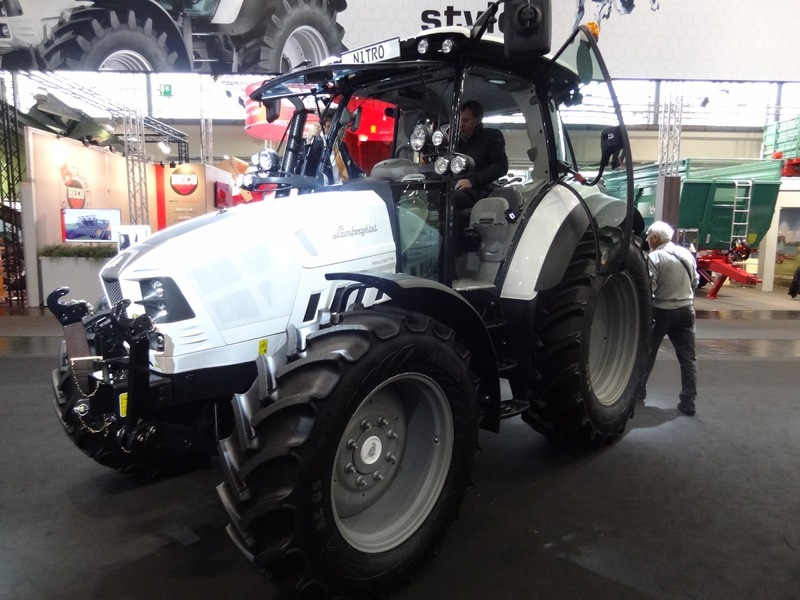 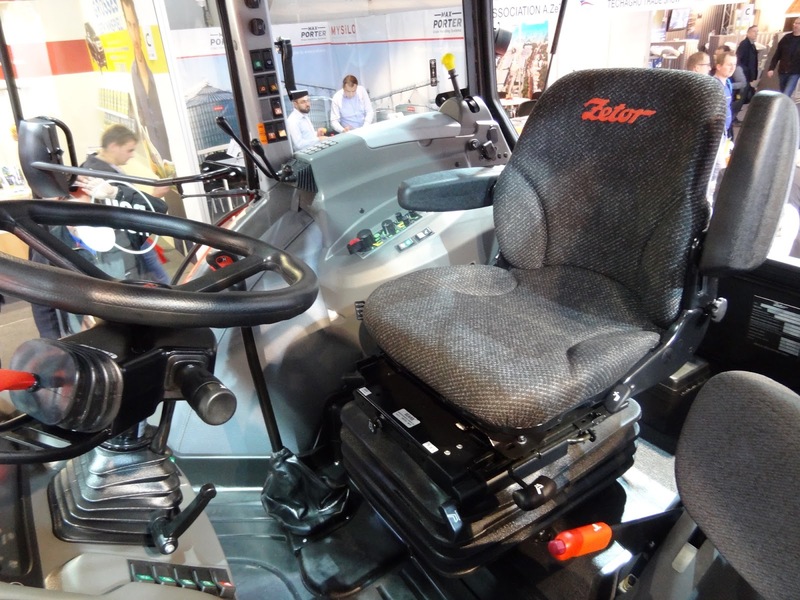 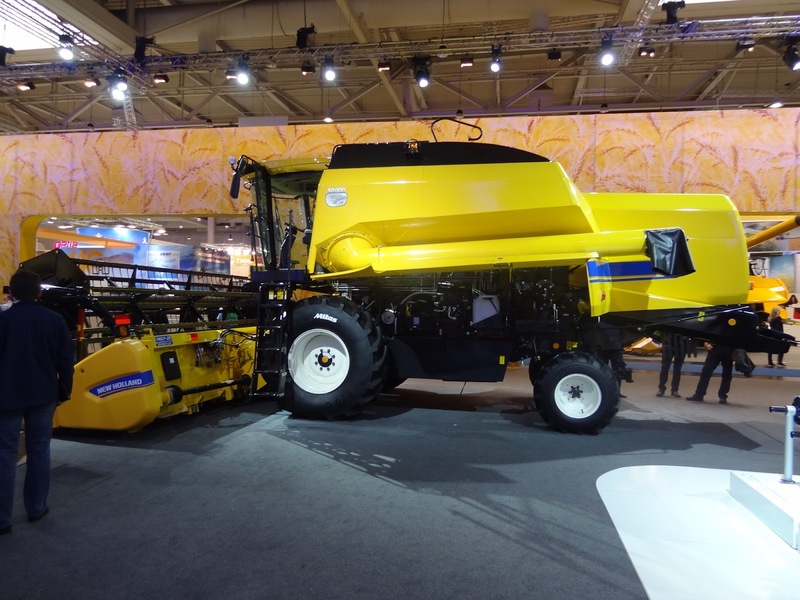 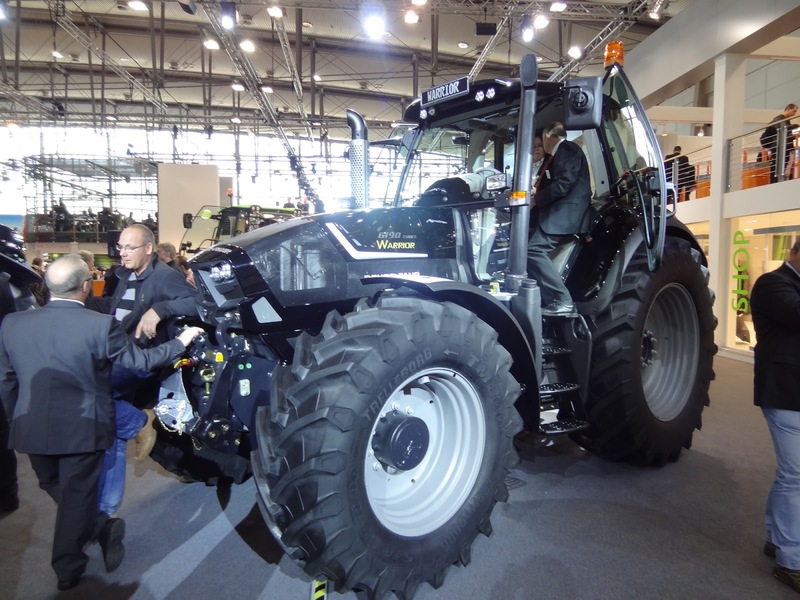 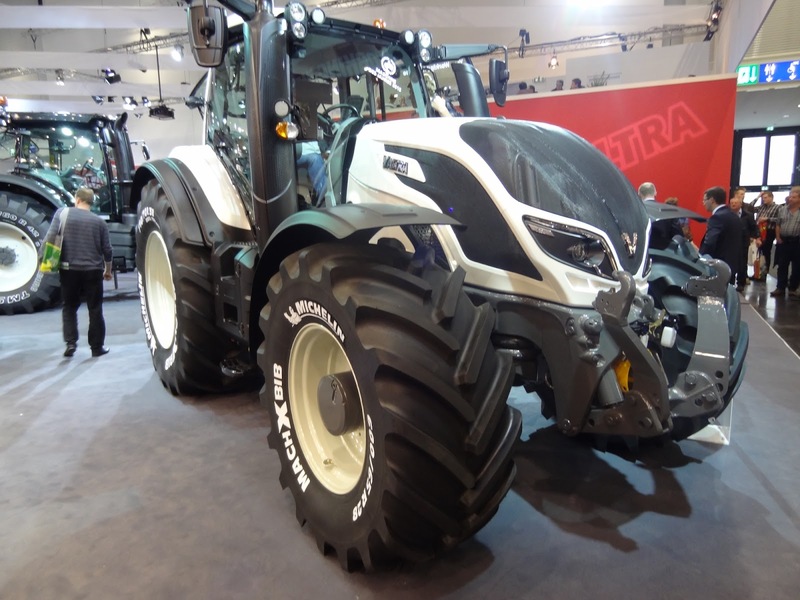 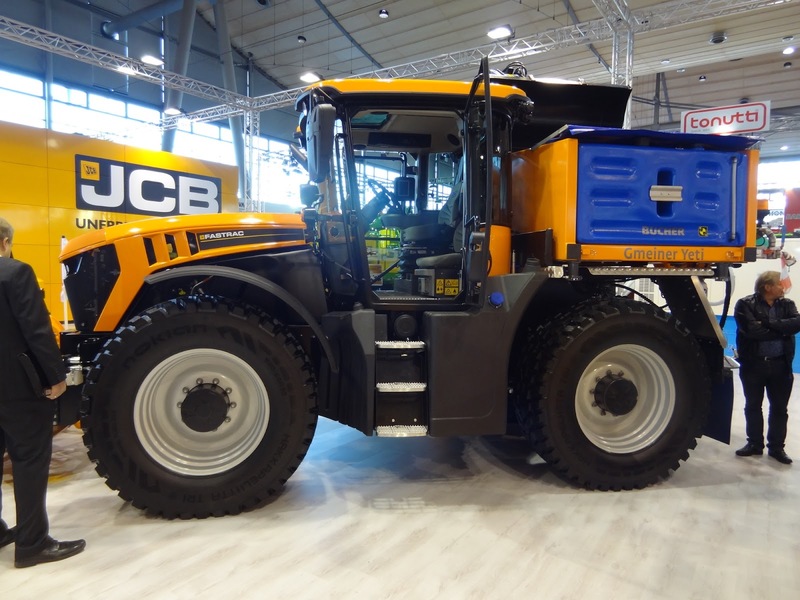 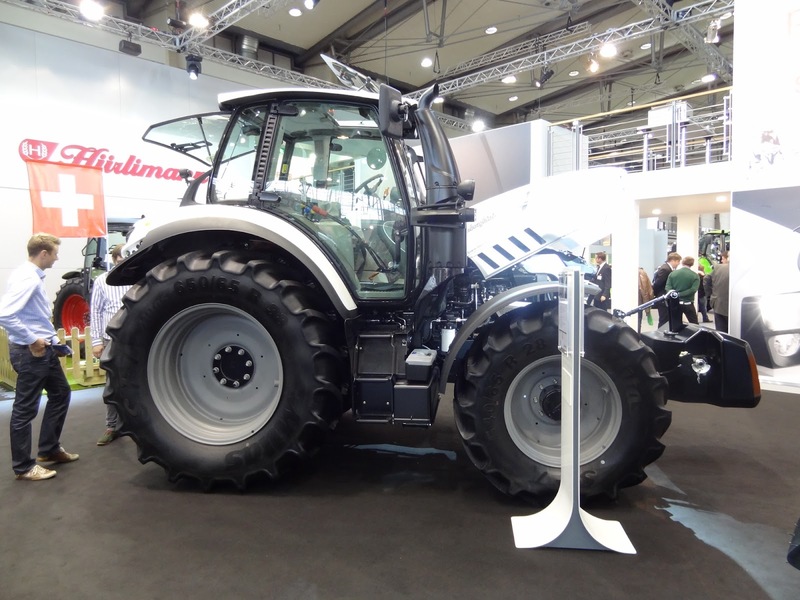 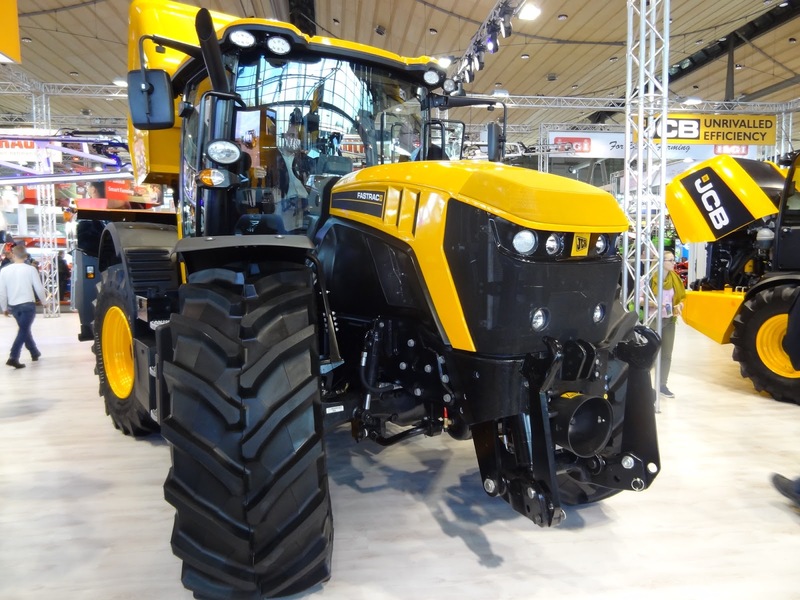 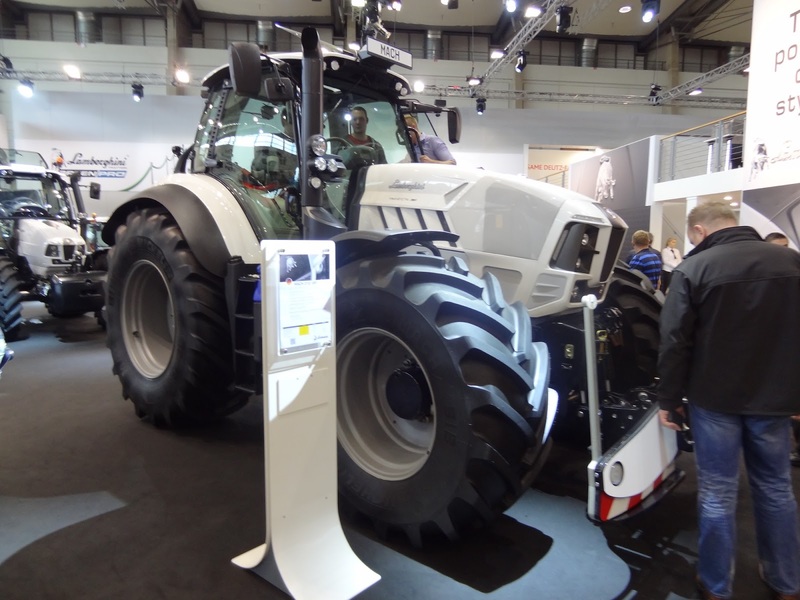 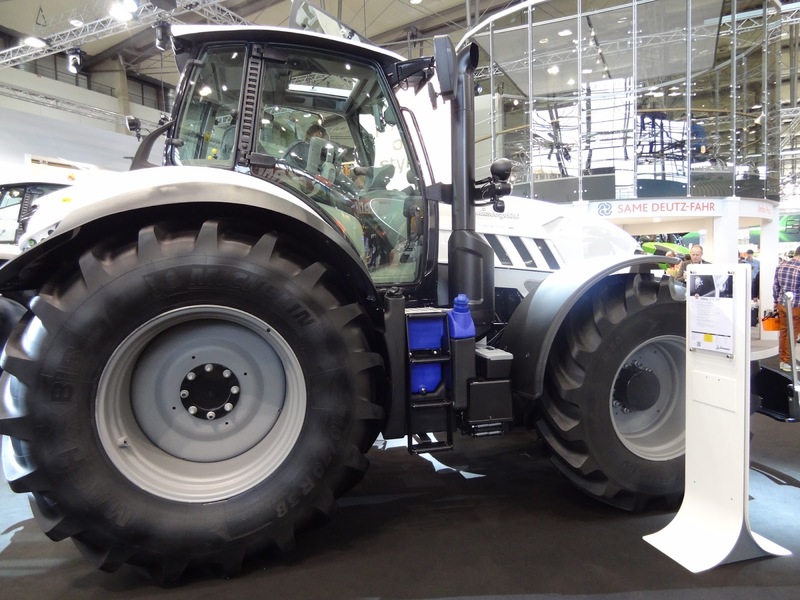 Best Design prize went to Valtra N4-174V that brings last year’s completely redesigned T4 engineering to 4-cylinder class. 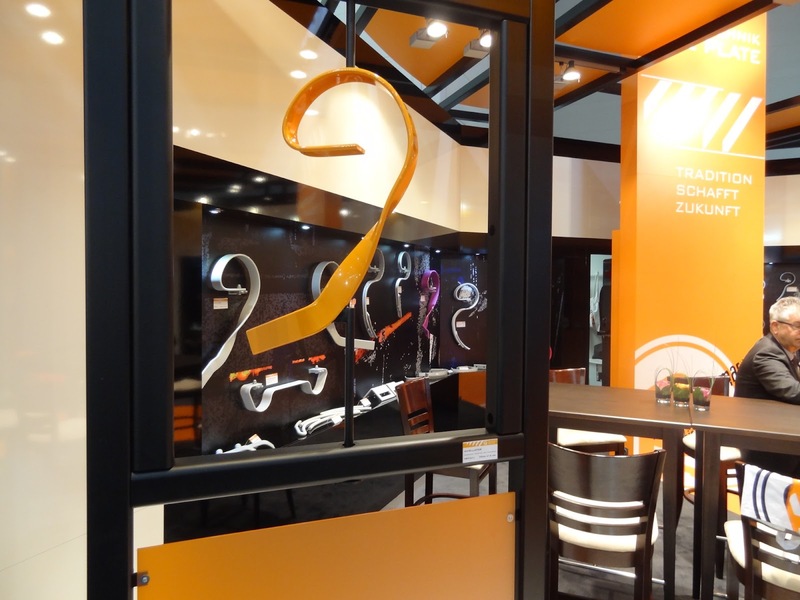 Winner of best specialized was Same Frutteto 90.3 Activedrive. 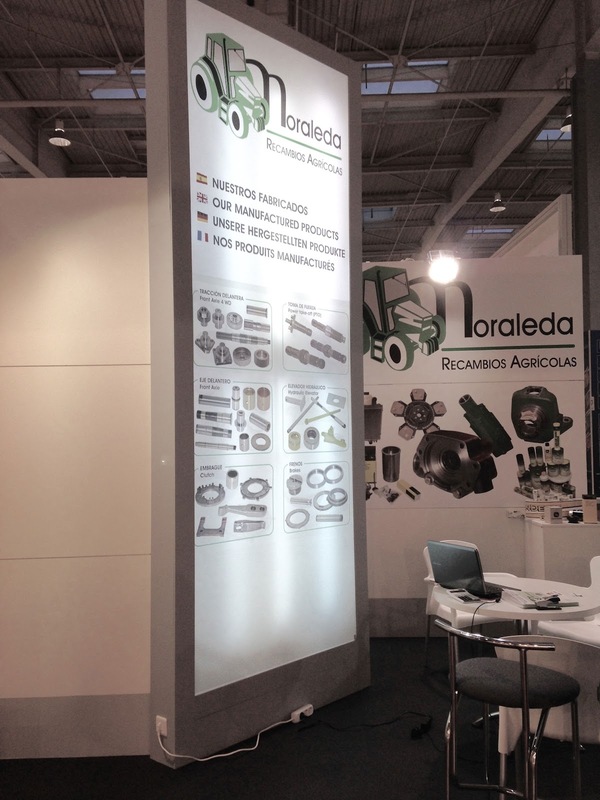 Also you have to know that were delivered 5 gold awards and 44 silver awards to technological innovation projects. 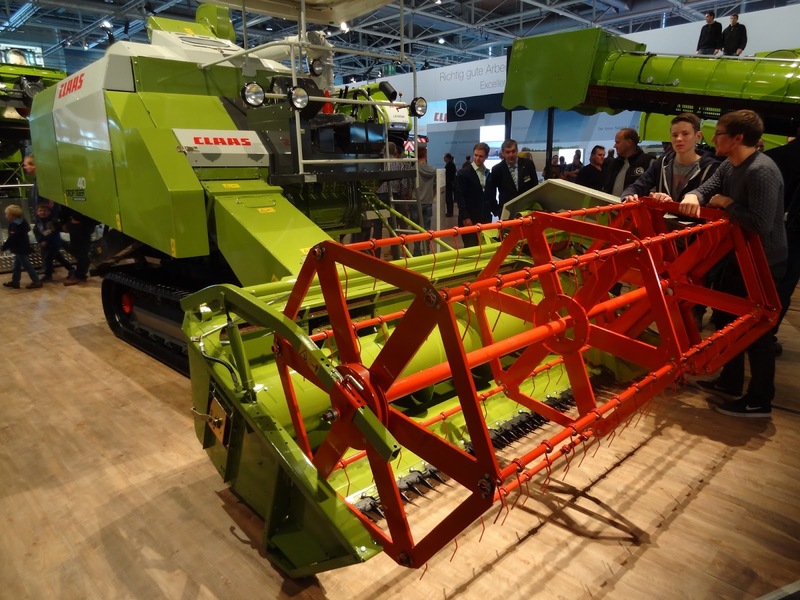 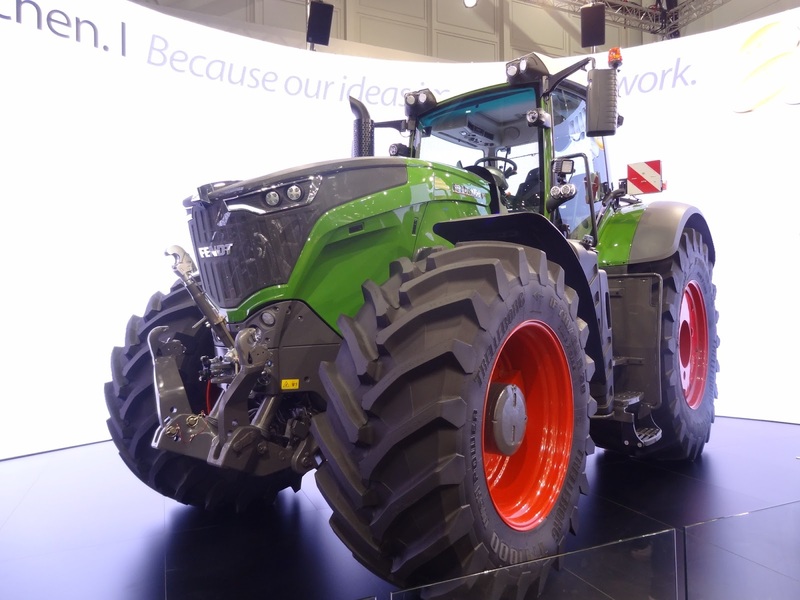 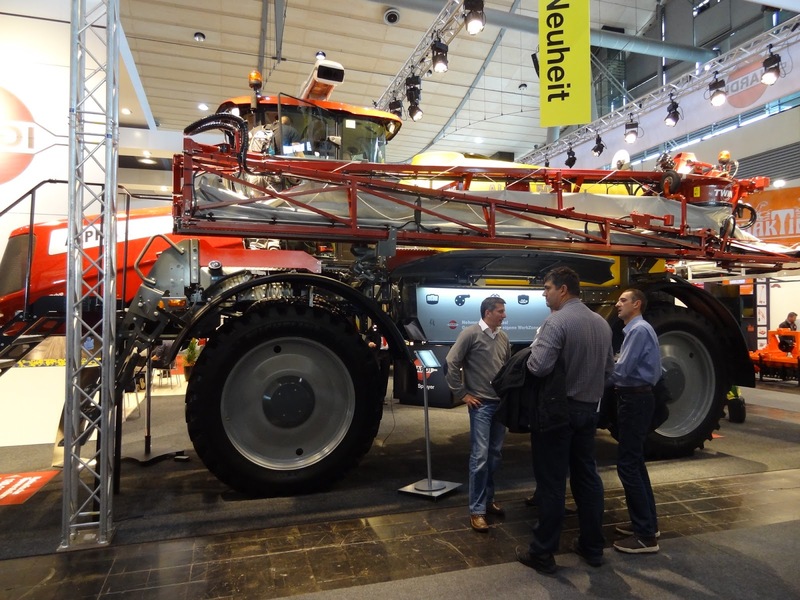 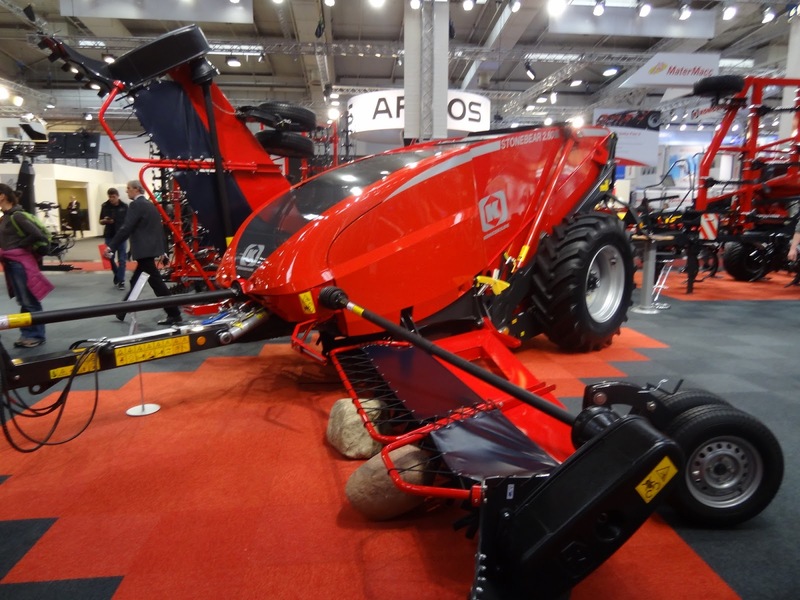 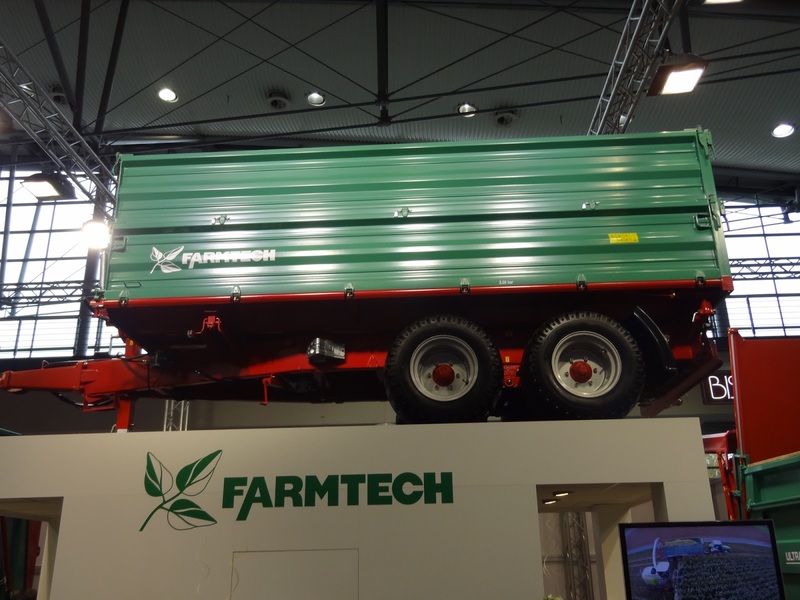 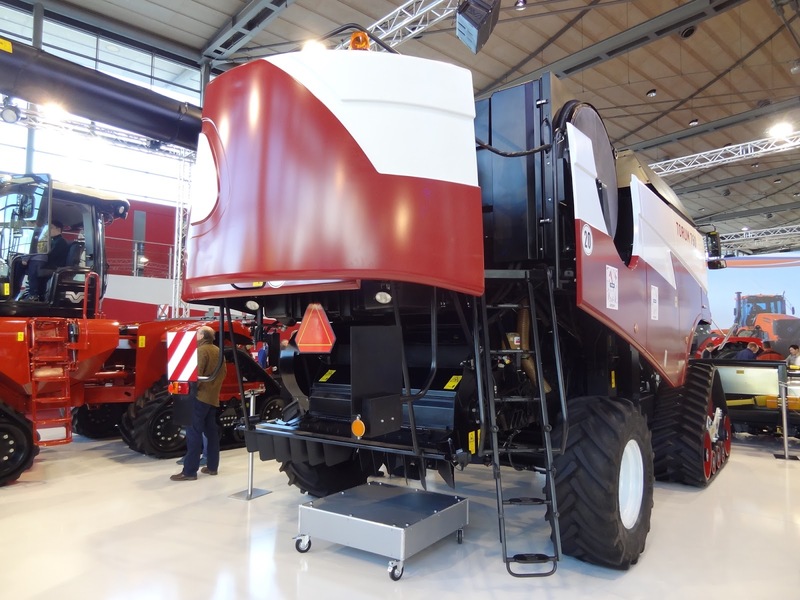 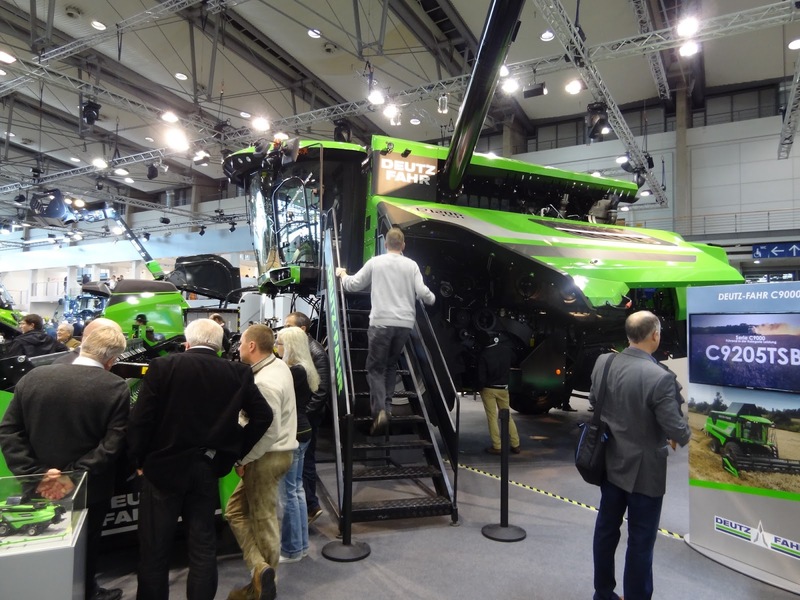 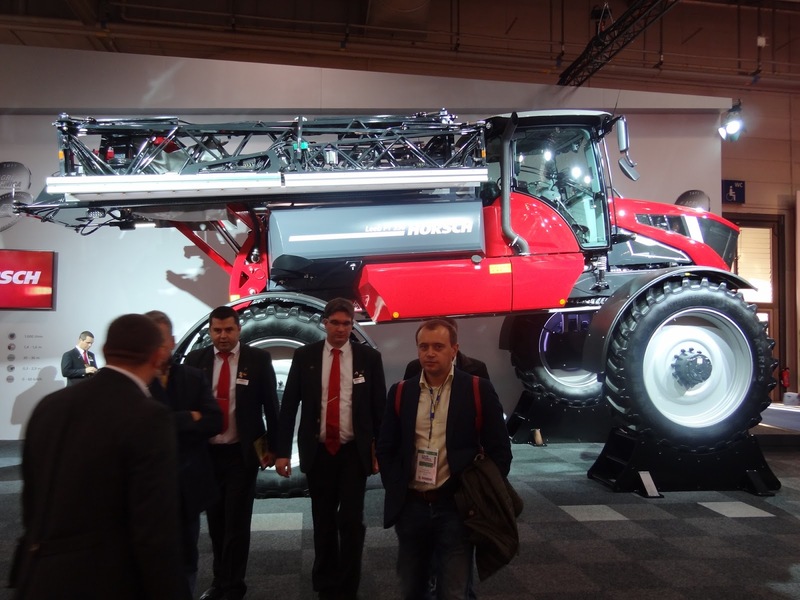 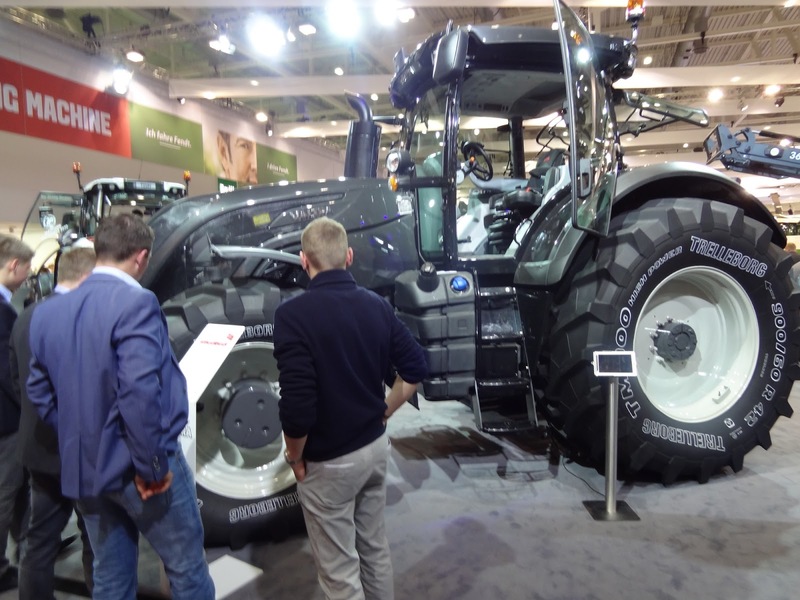 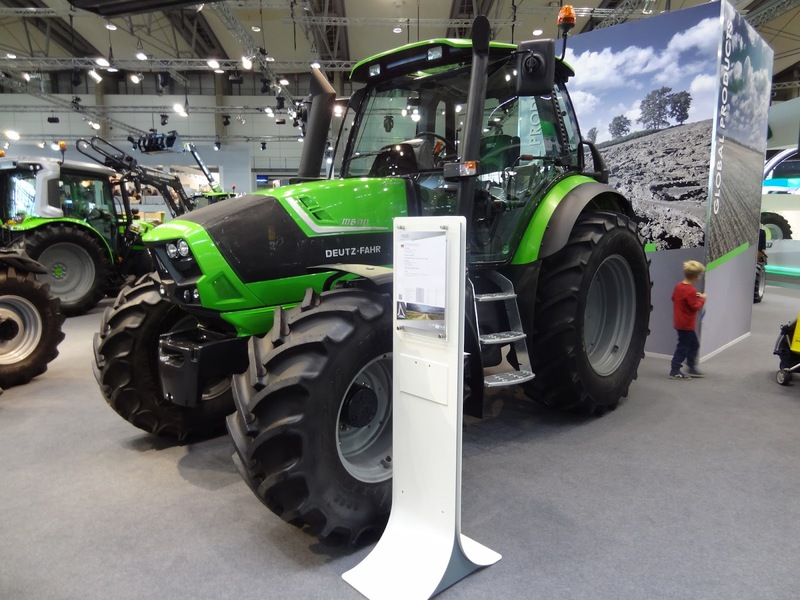 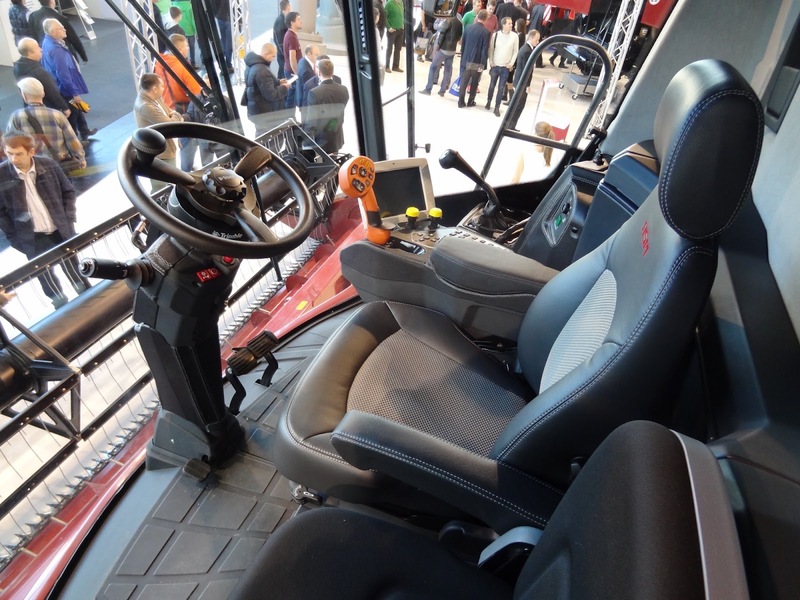 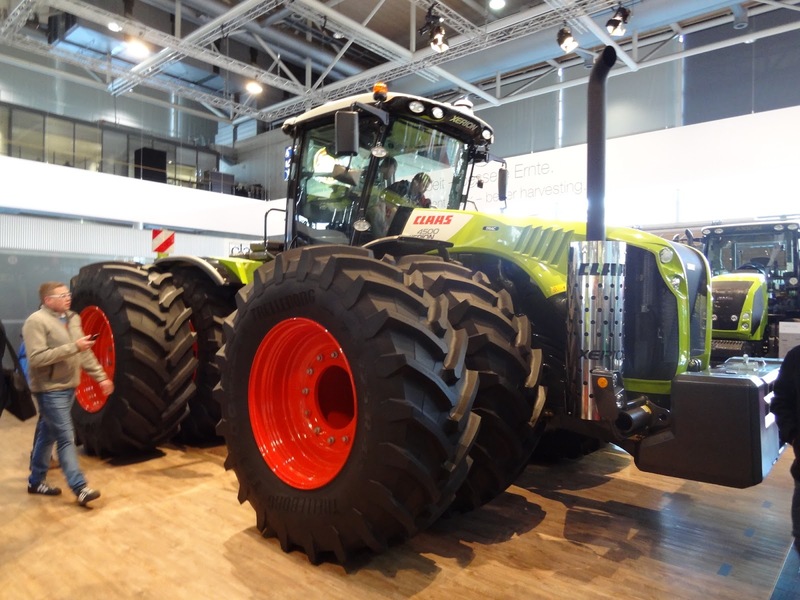 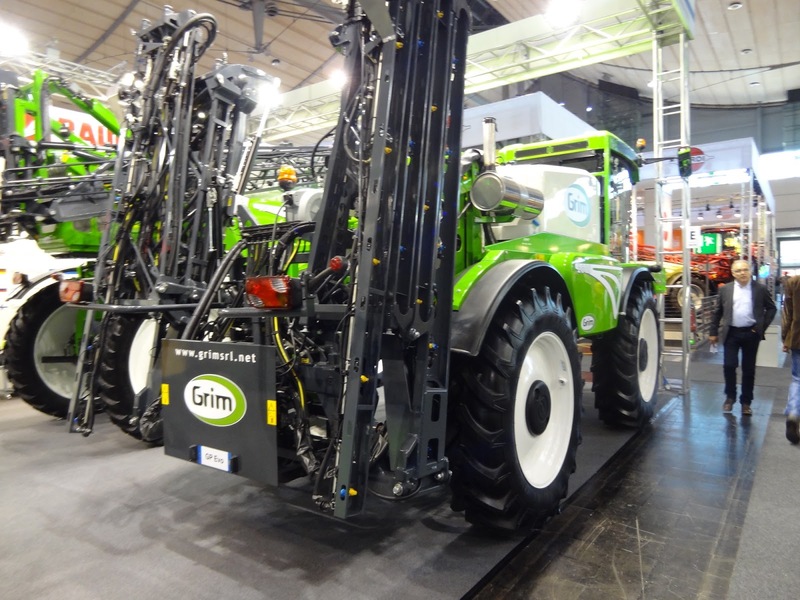 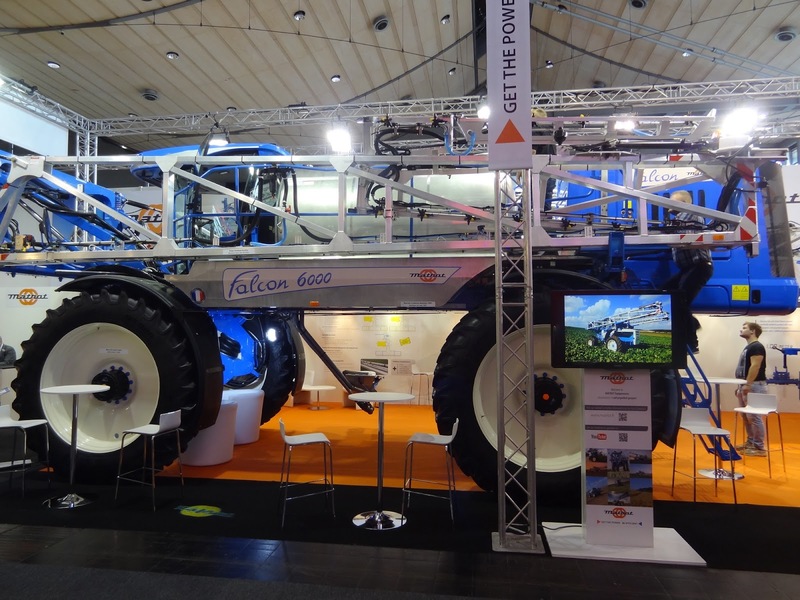 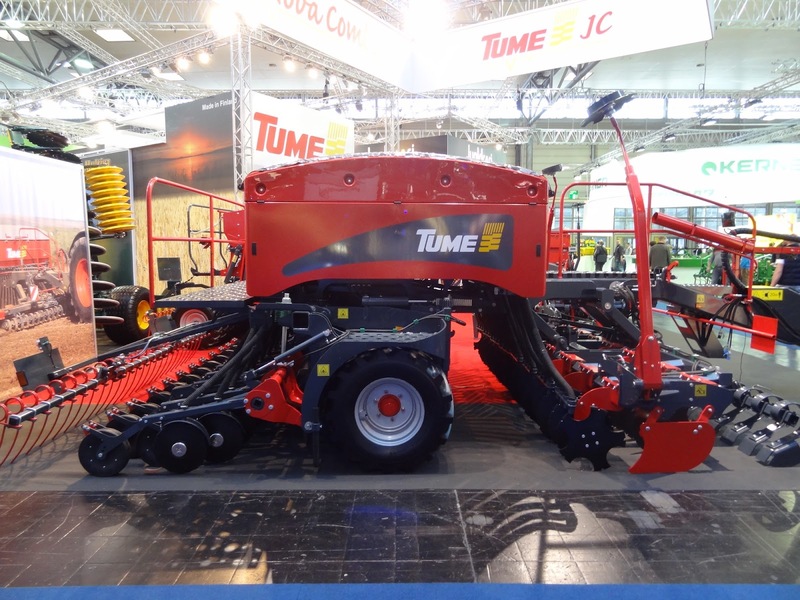 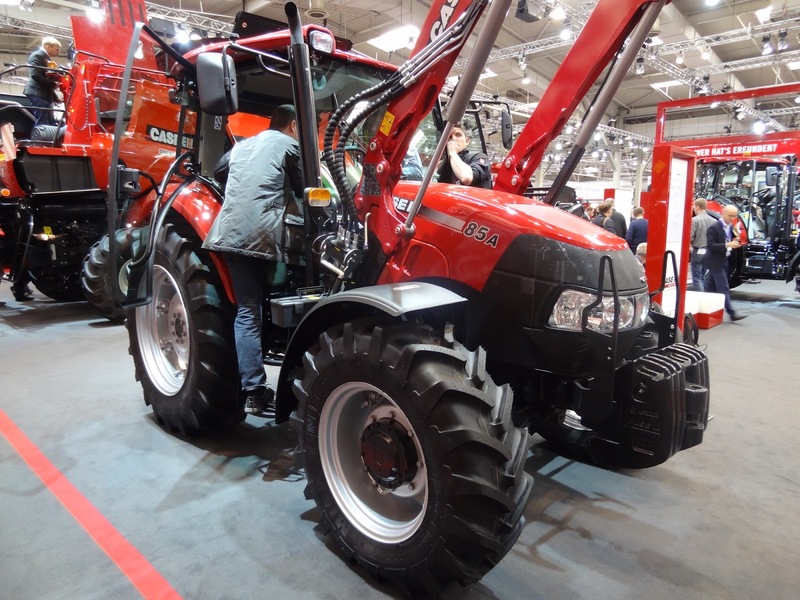 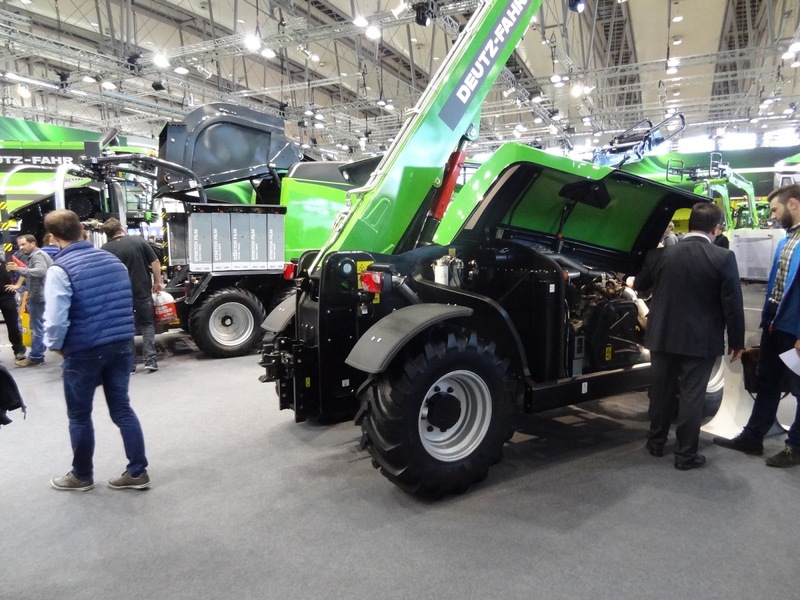 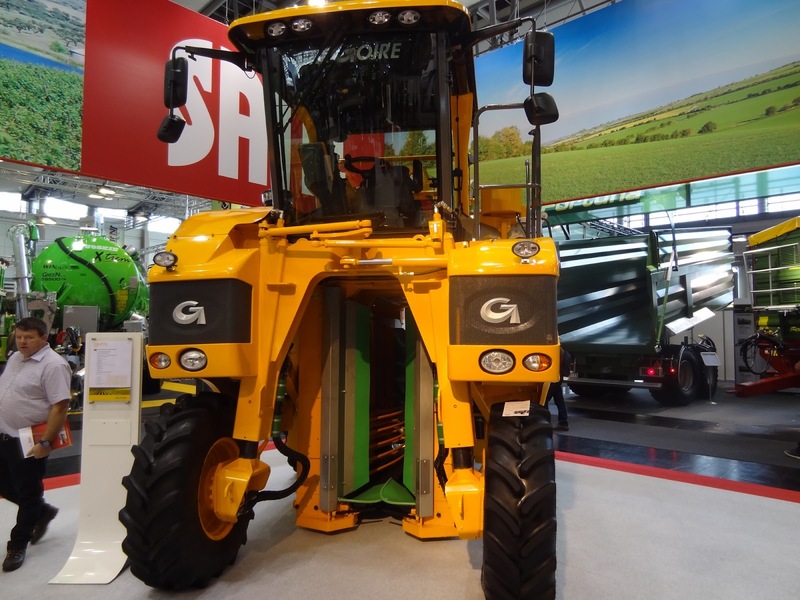 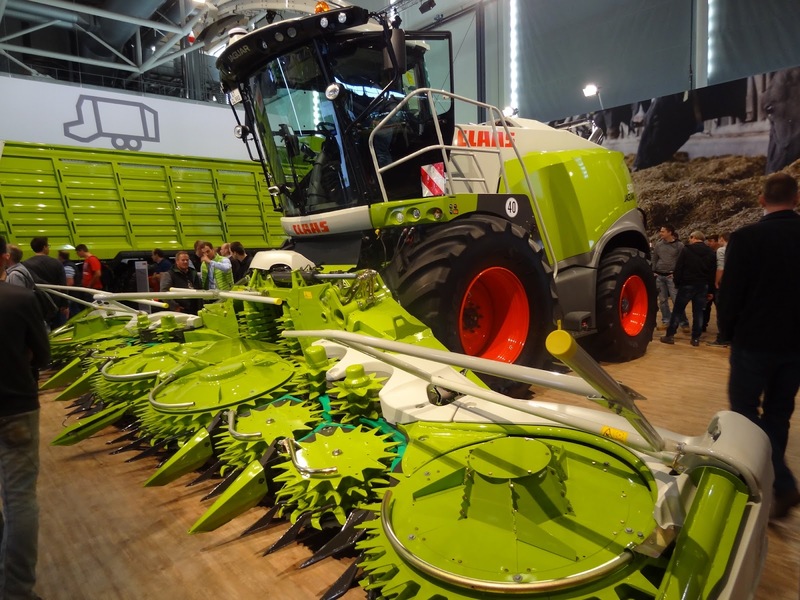 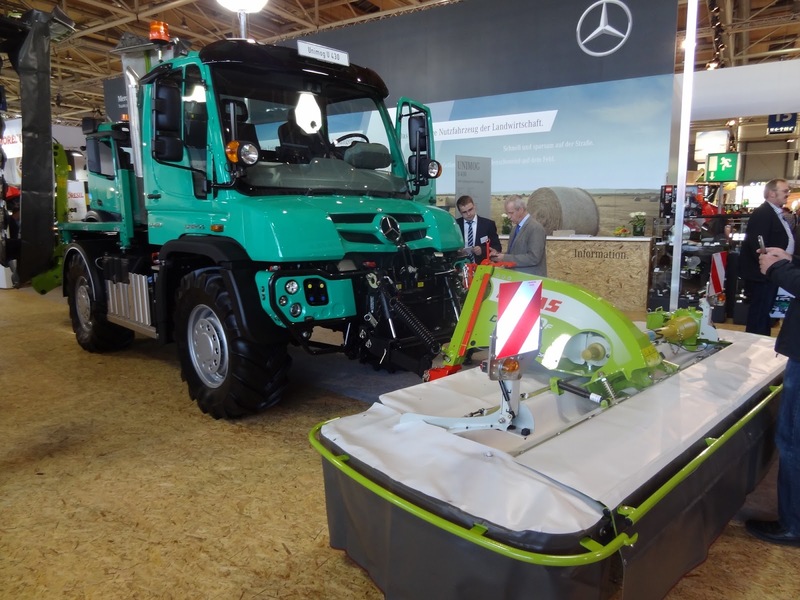 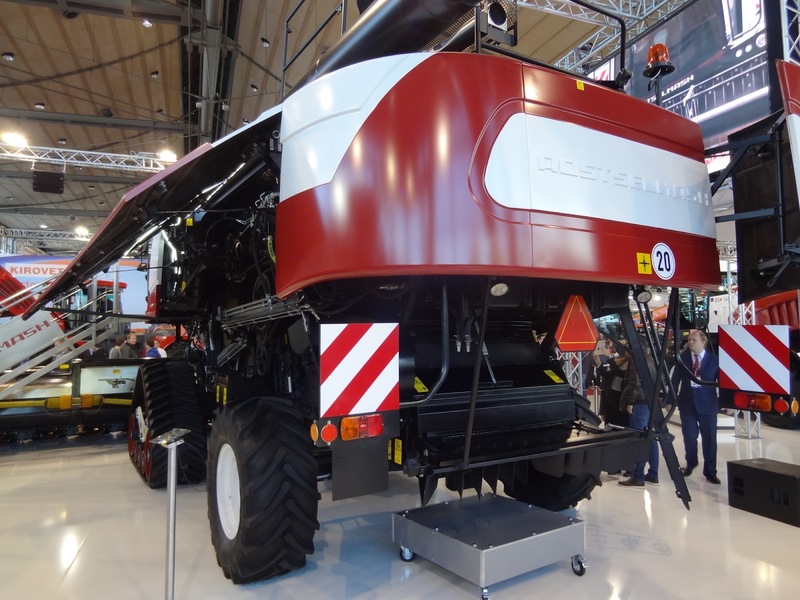 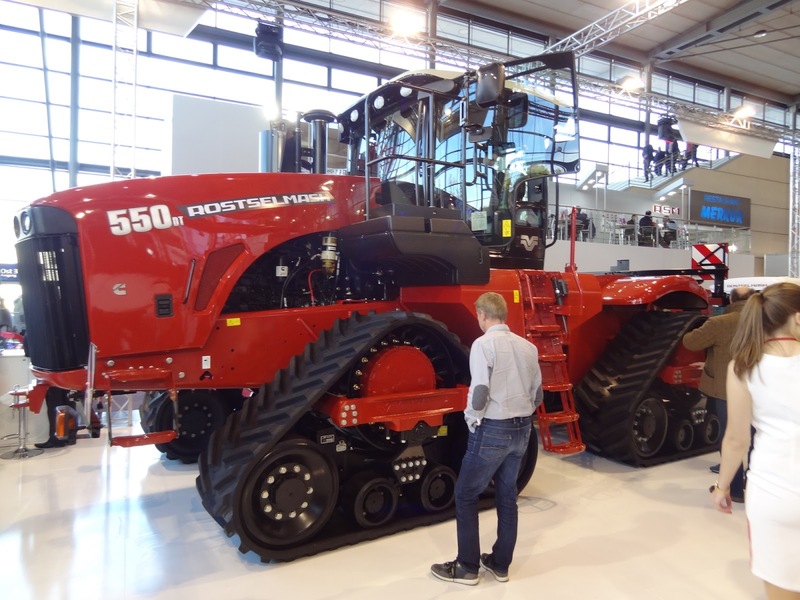 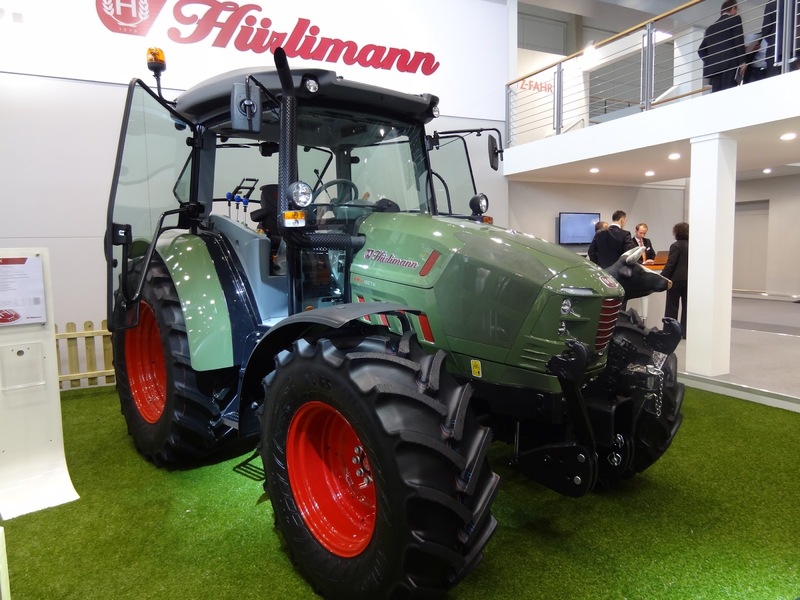 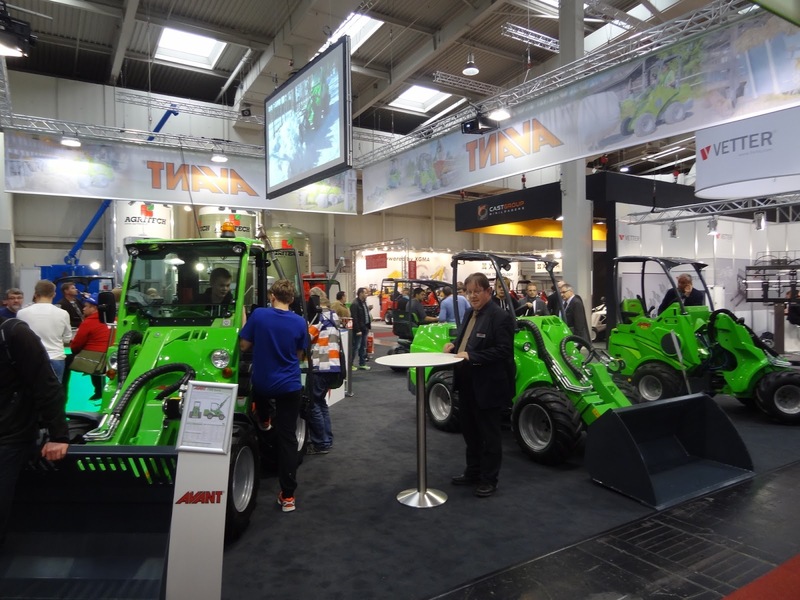 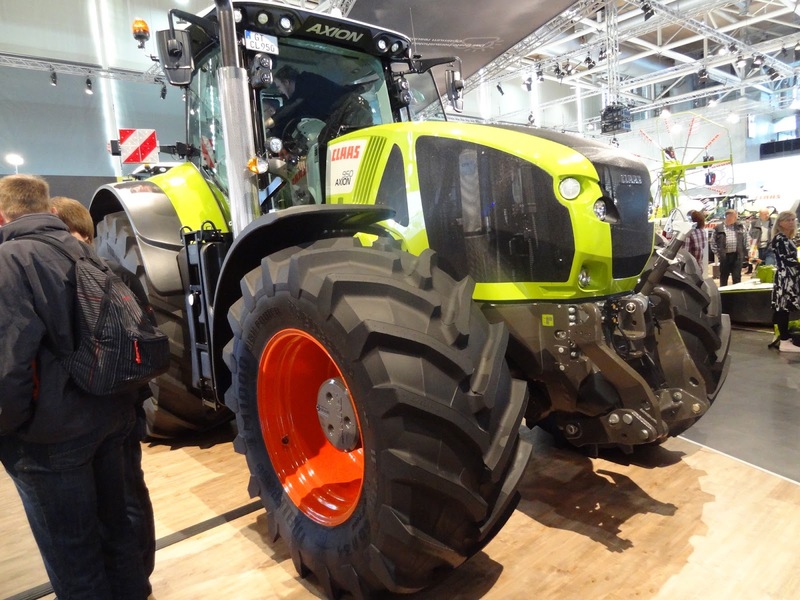 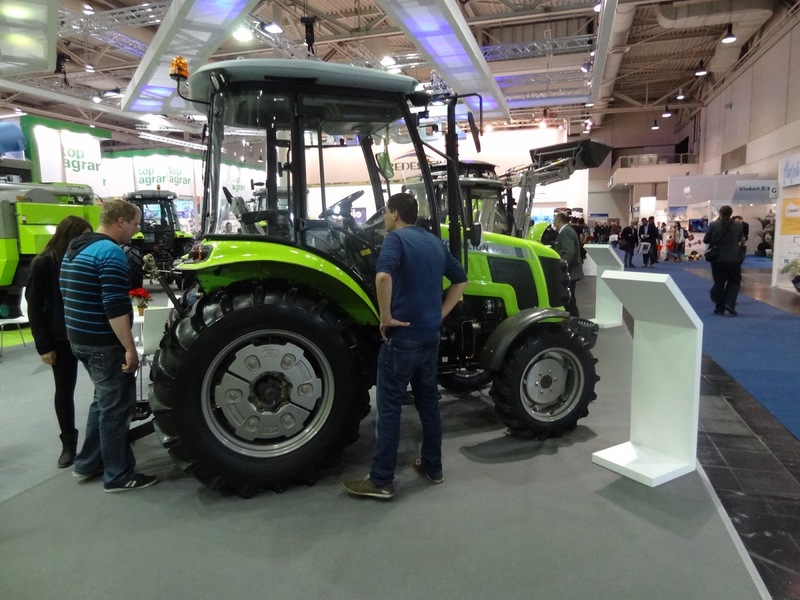 Much more interest was also shown towards large tractors like Case IH Optum/NH T7 HD, Deutz Fahr Agrotron 9 Series, Claas Axion 870 and Mc Cormick X8. 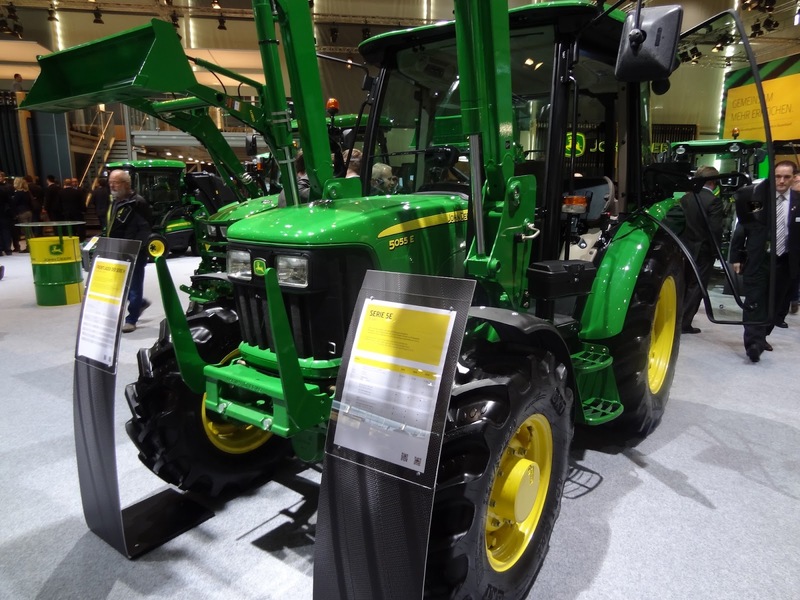 John Deere introduced its first four-trac tractor 9 RX Series. 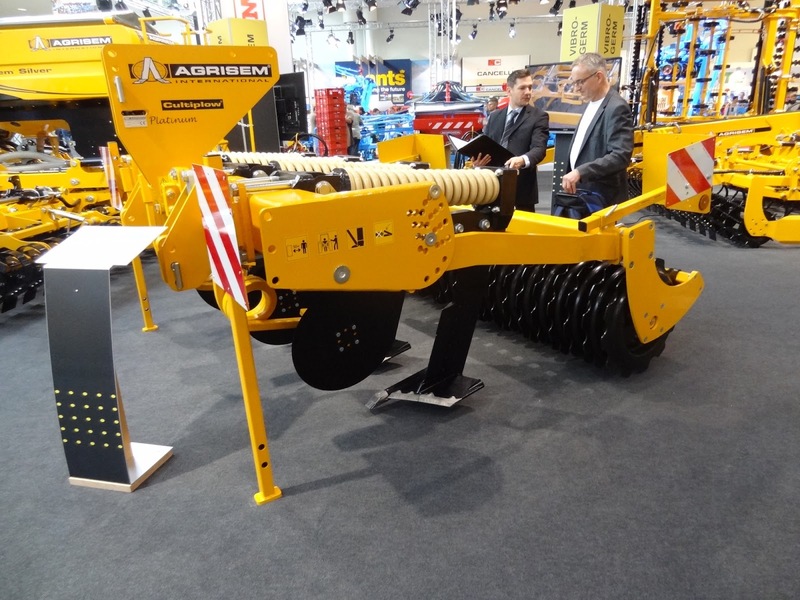 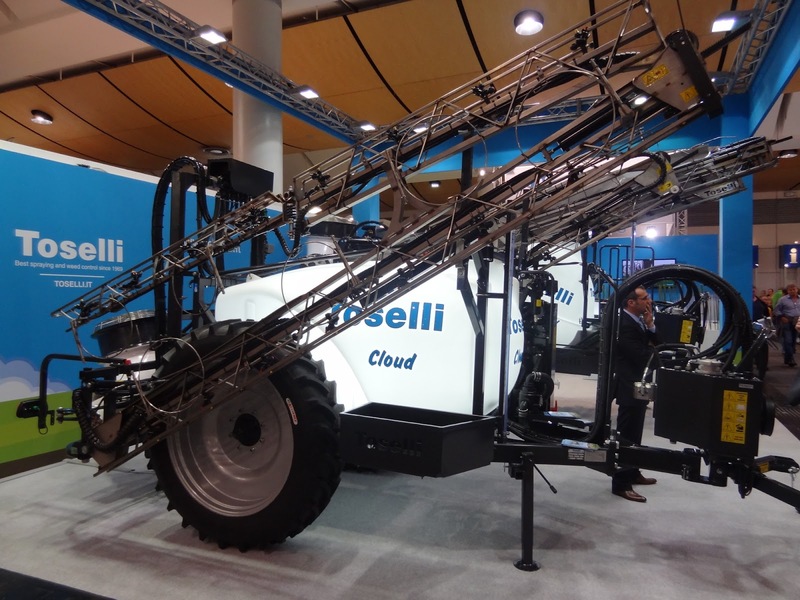 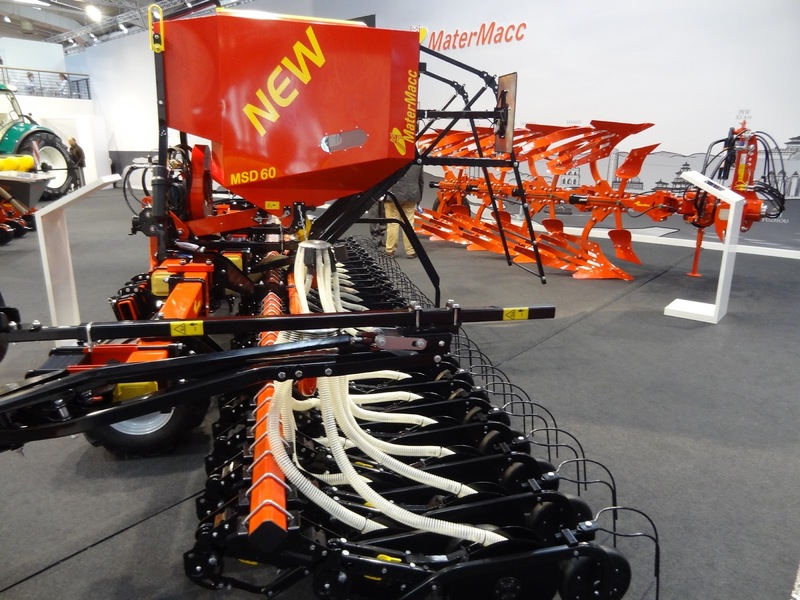 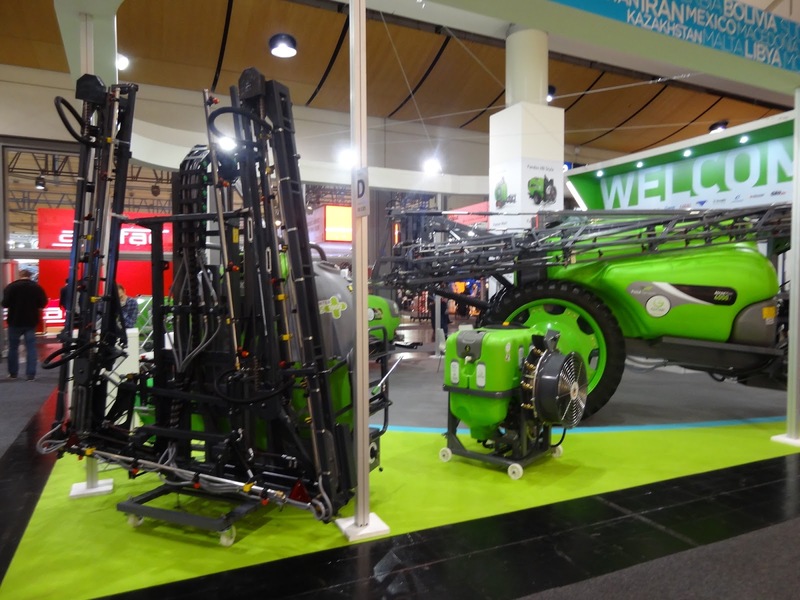 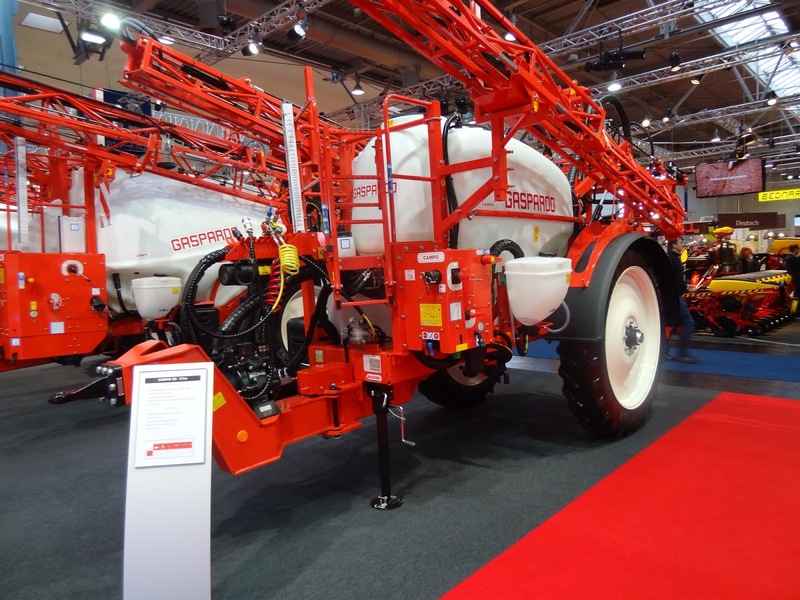 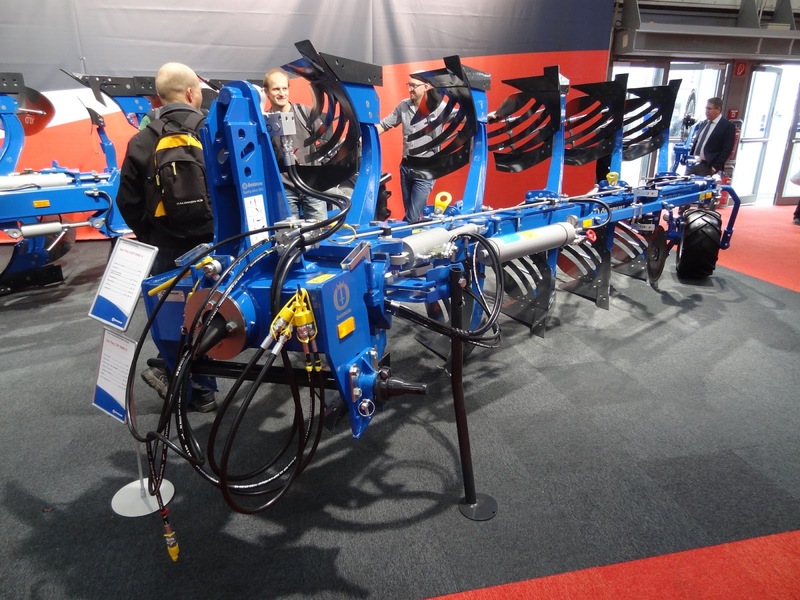 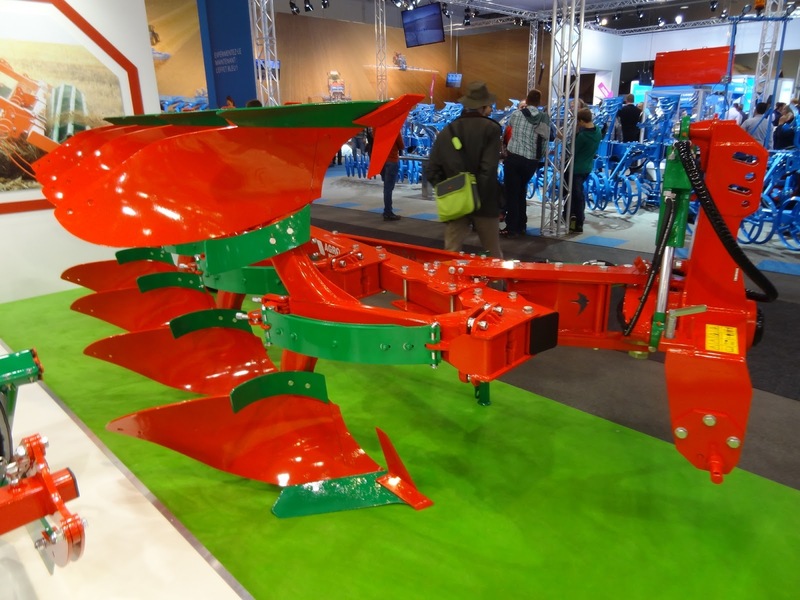 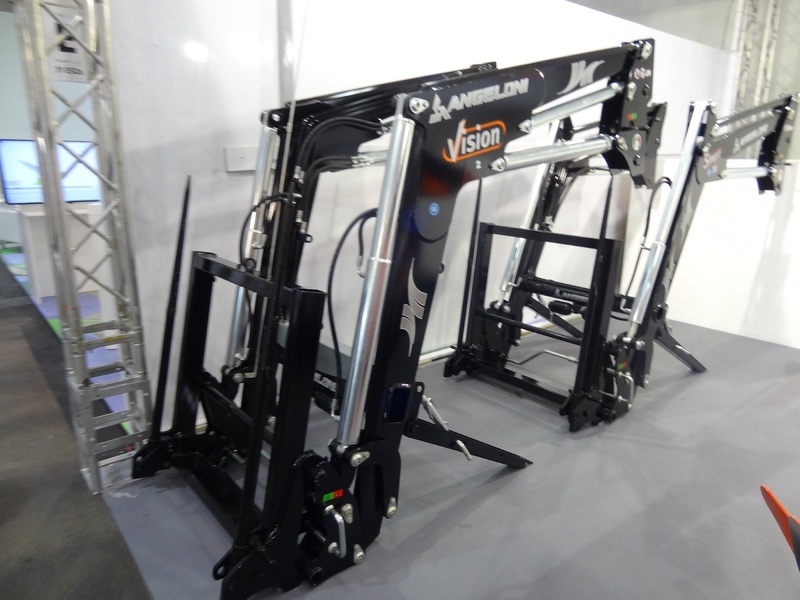 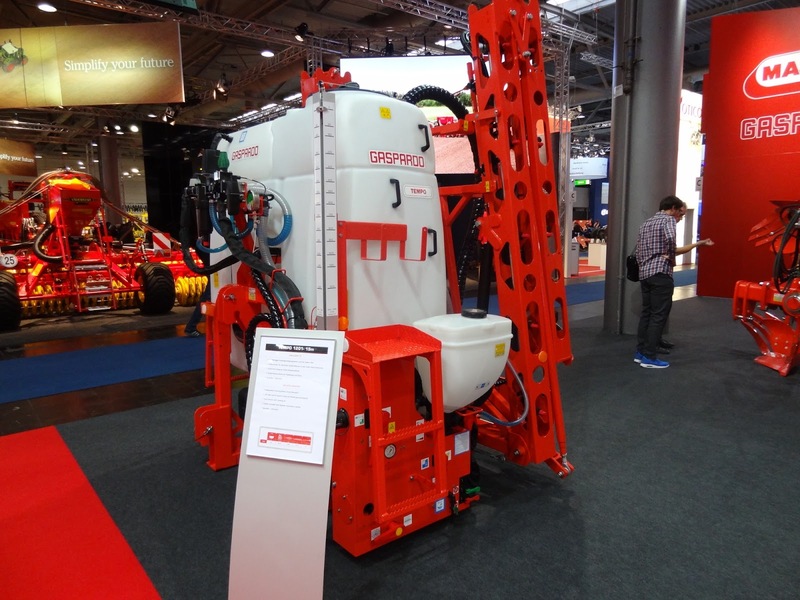 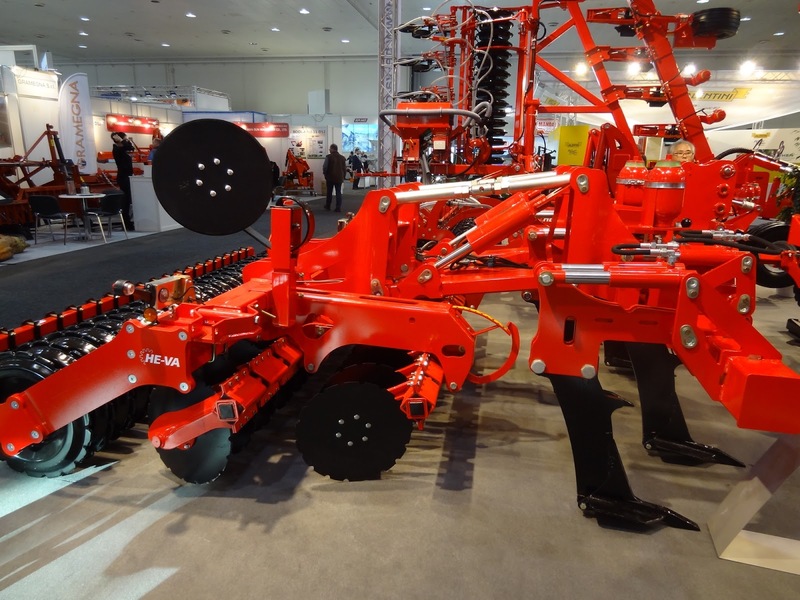 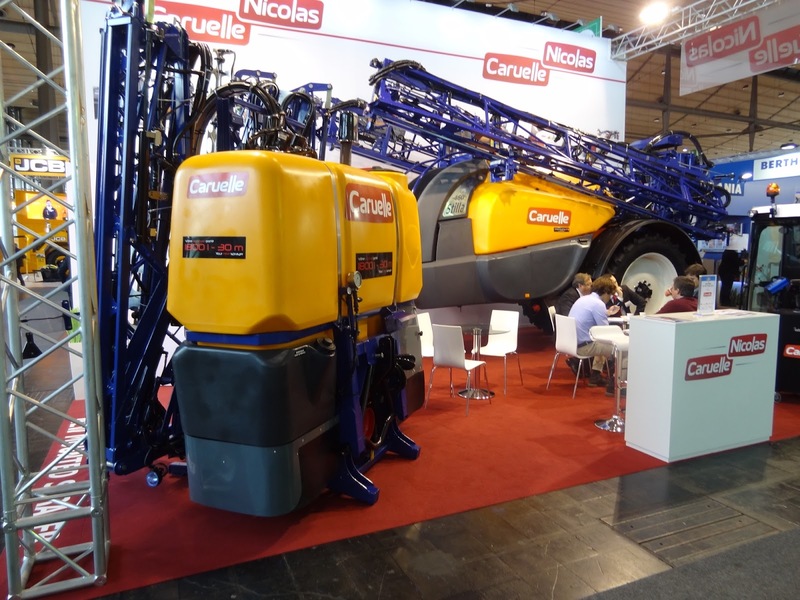 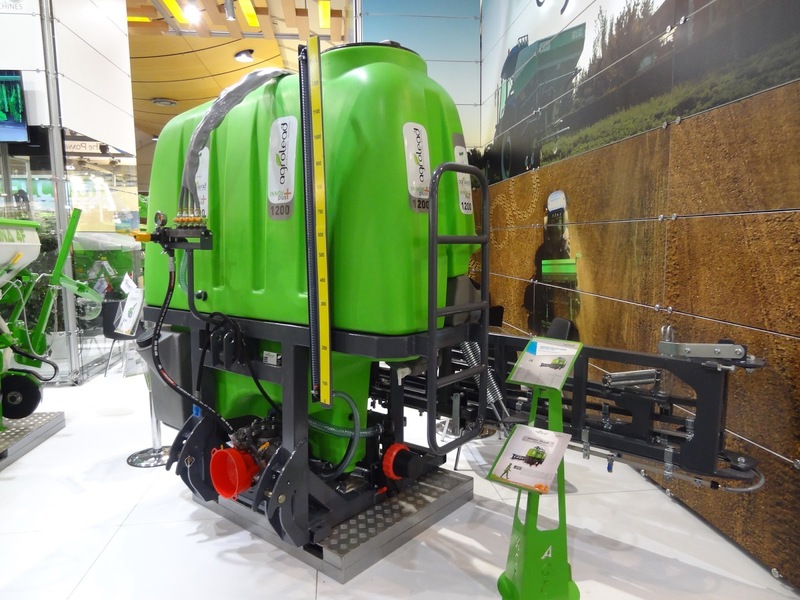 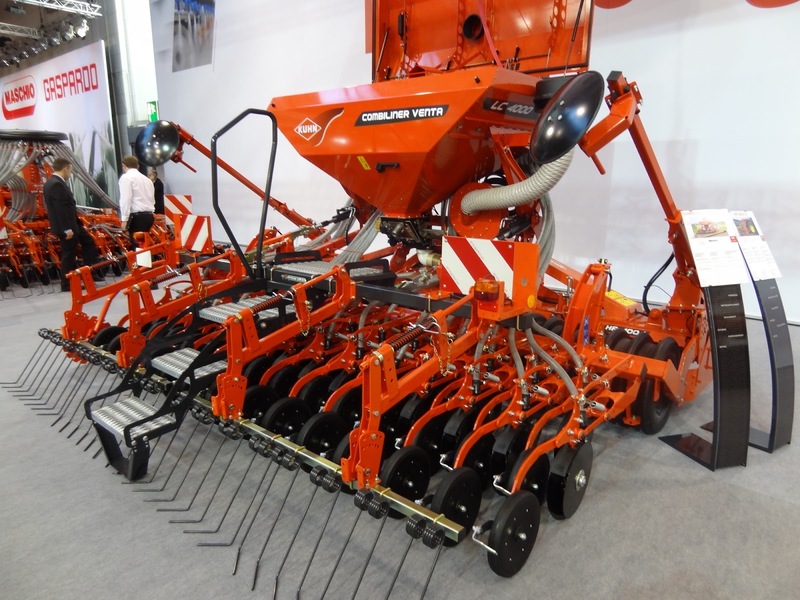 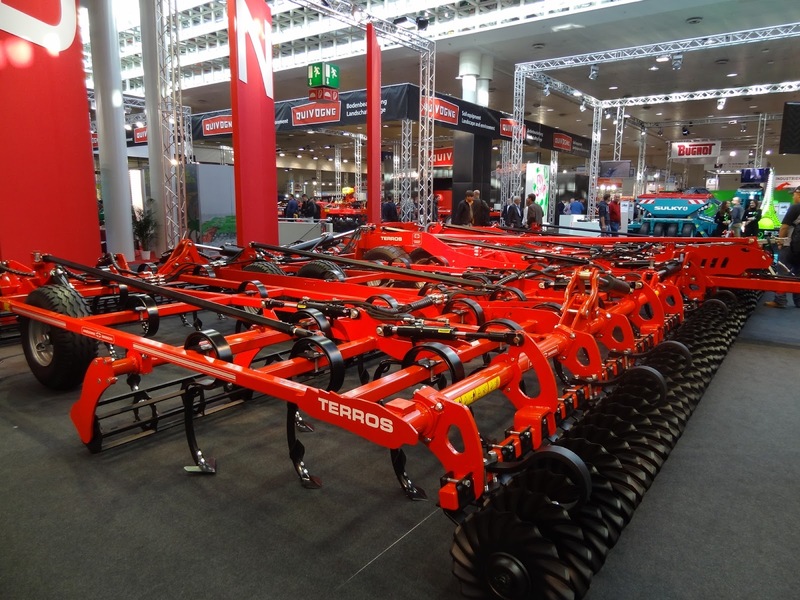 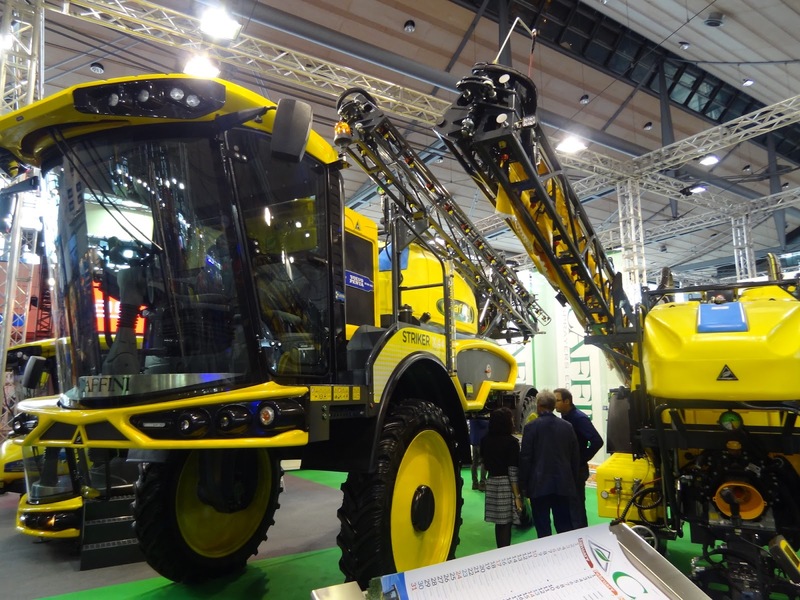 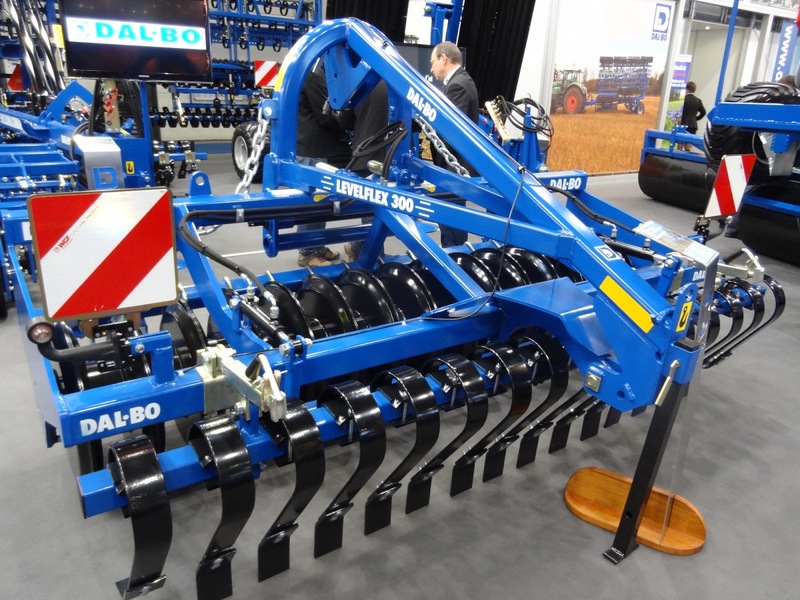 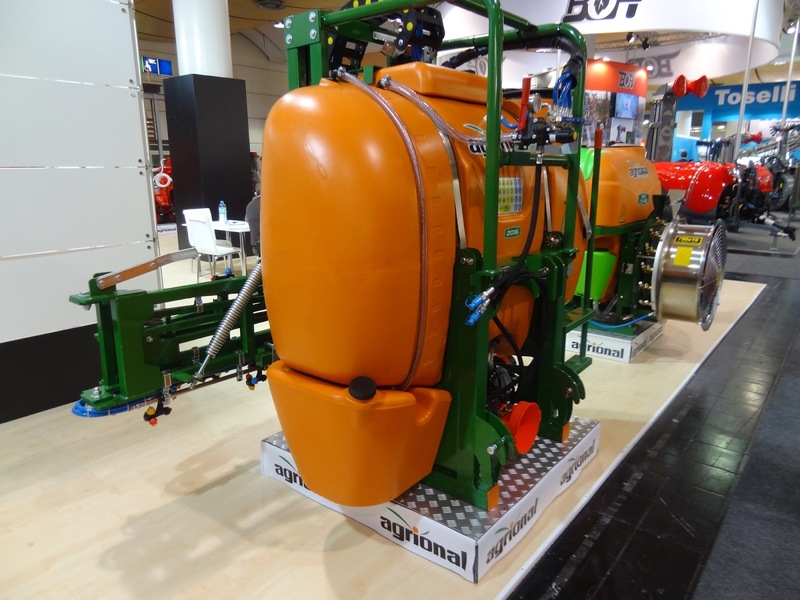 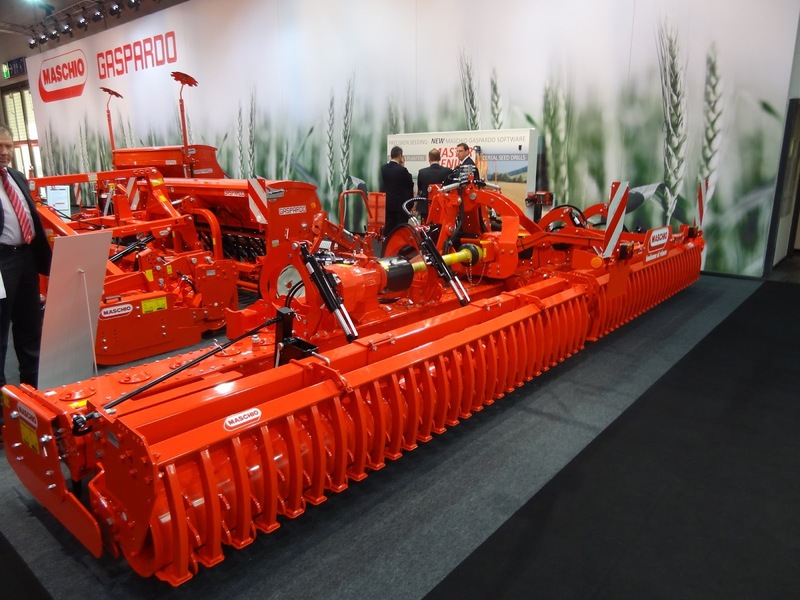 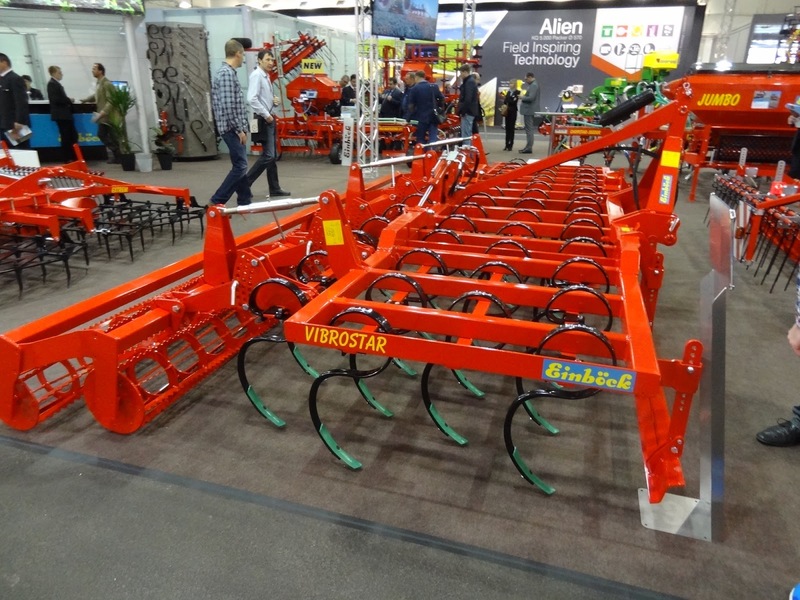 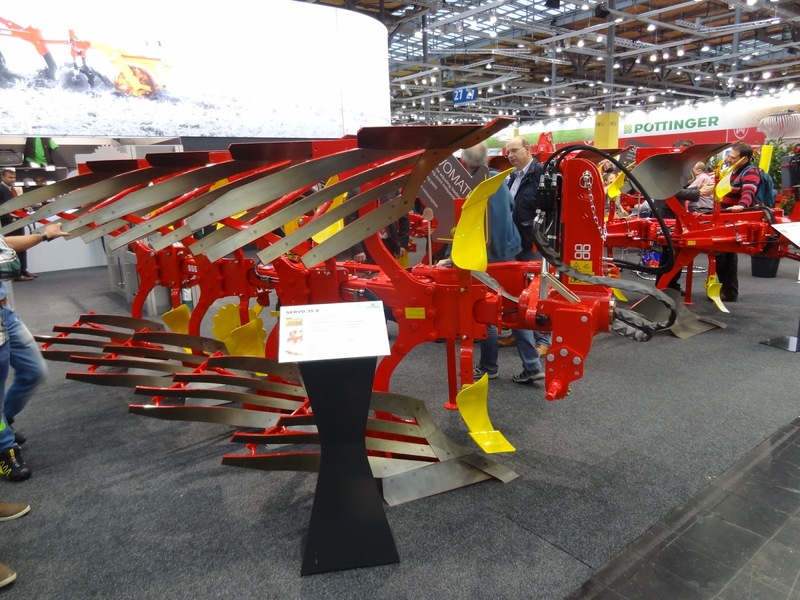 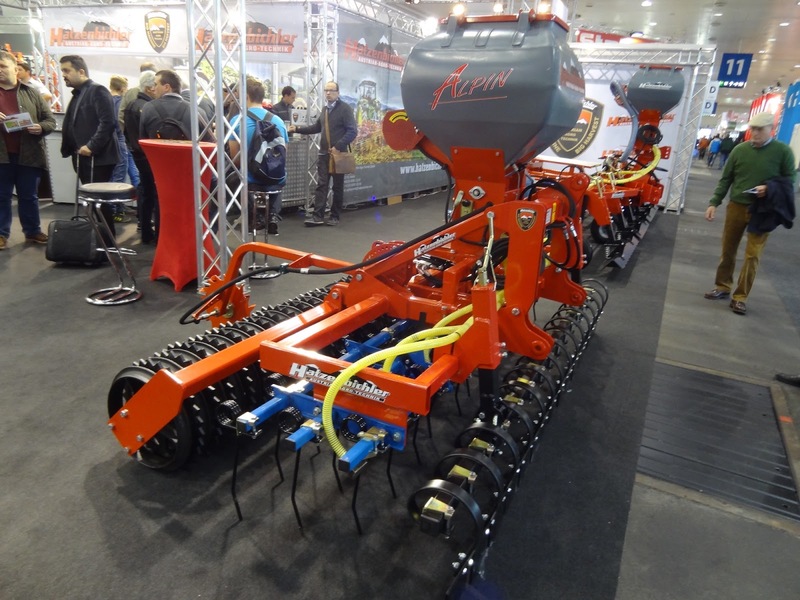 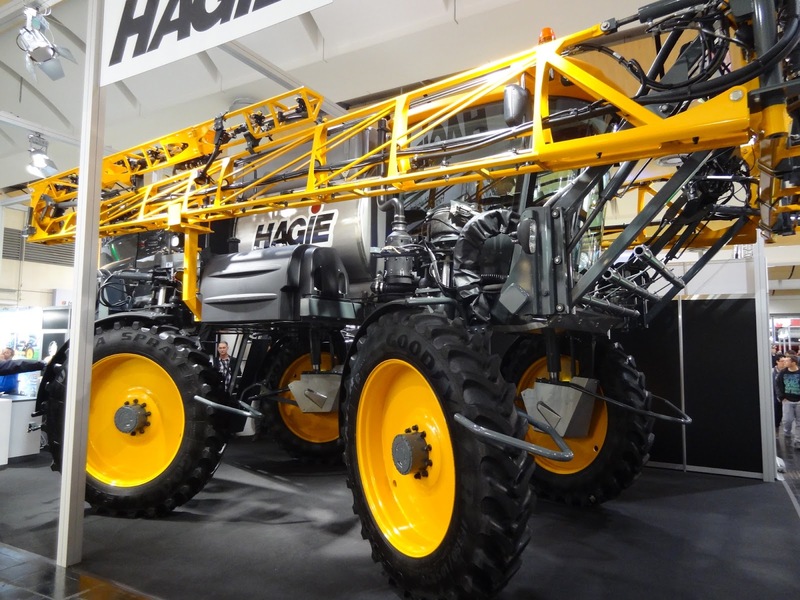 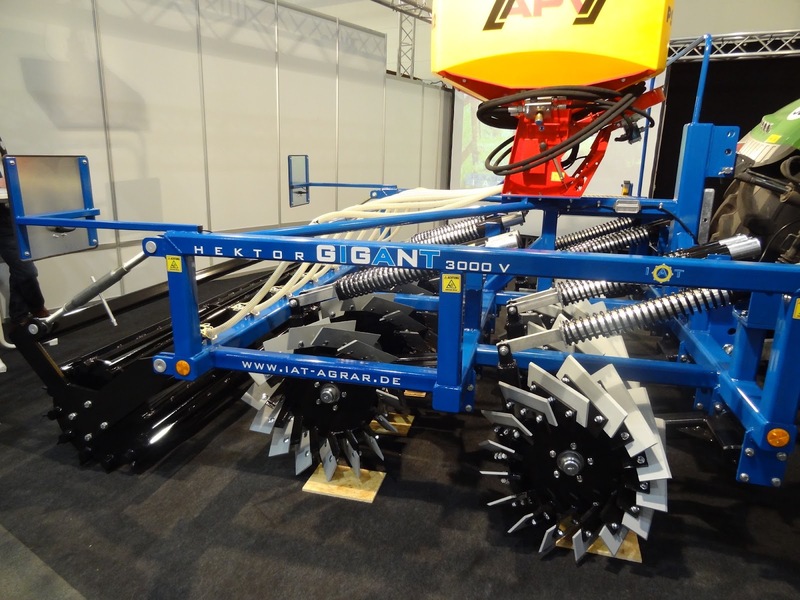 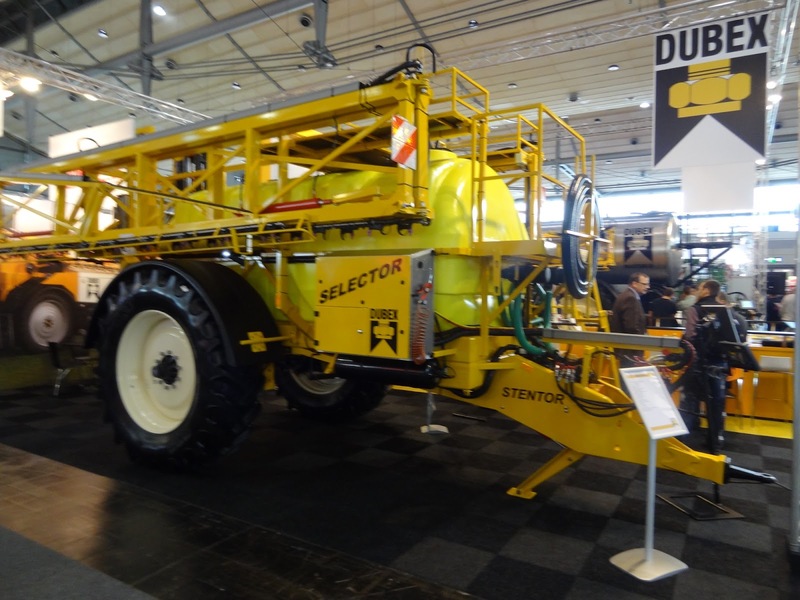 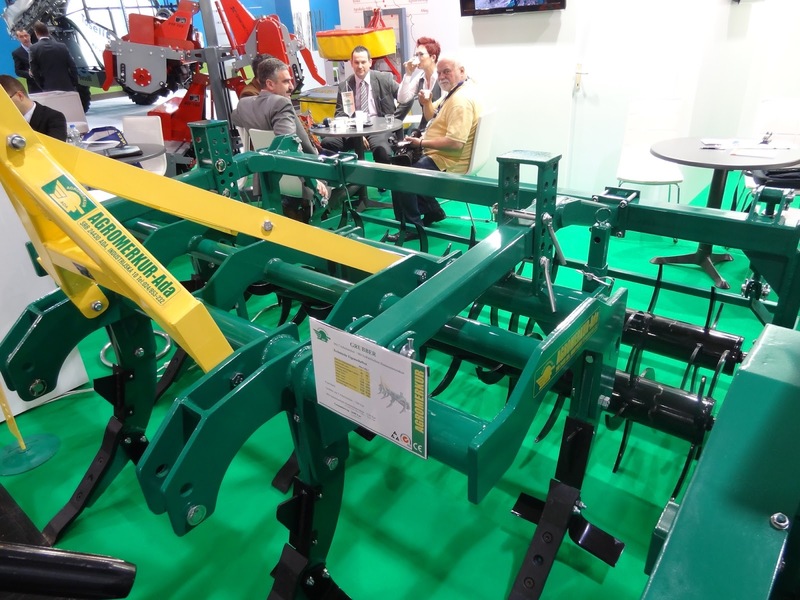 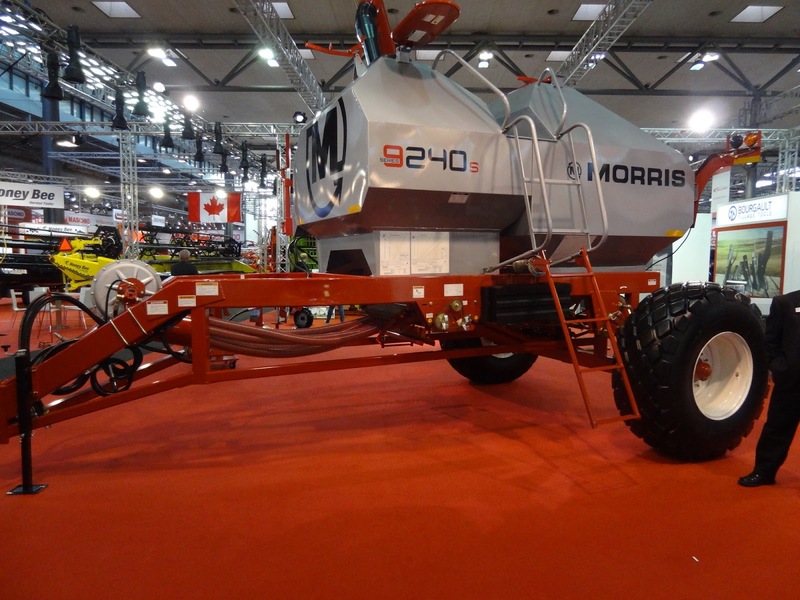 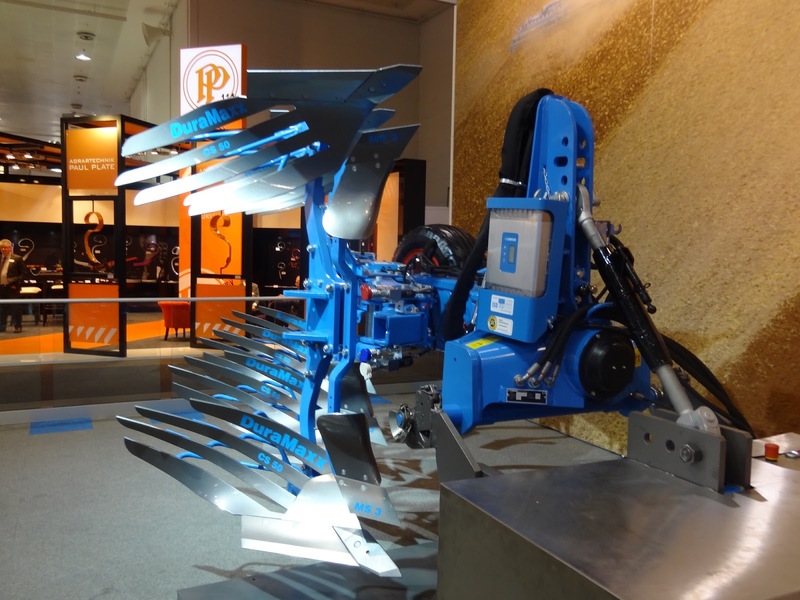 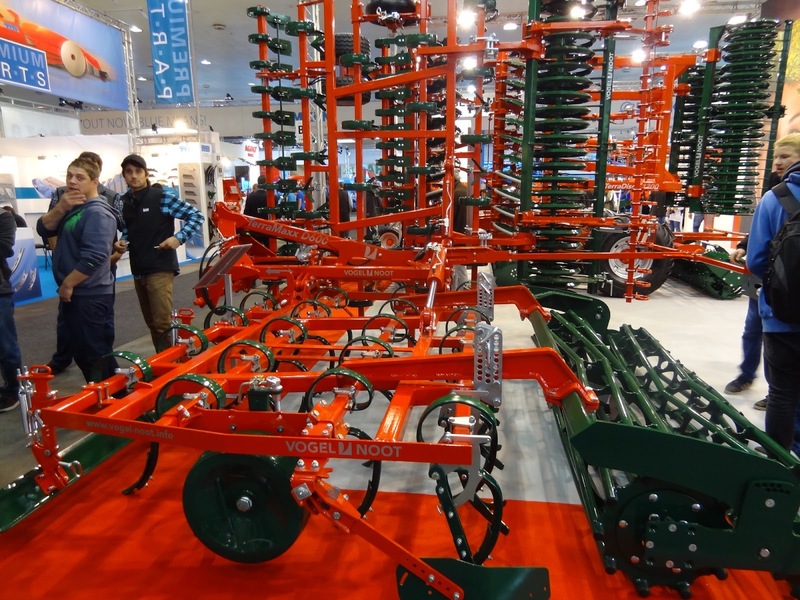 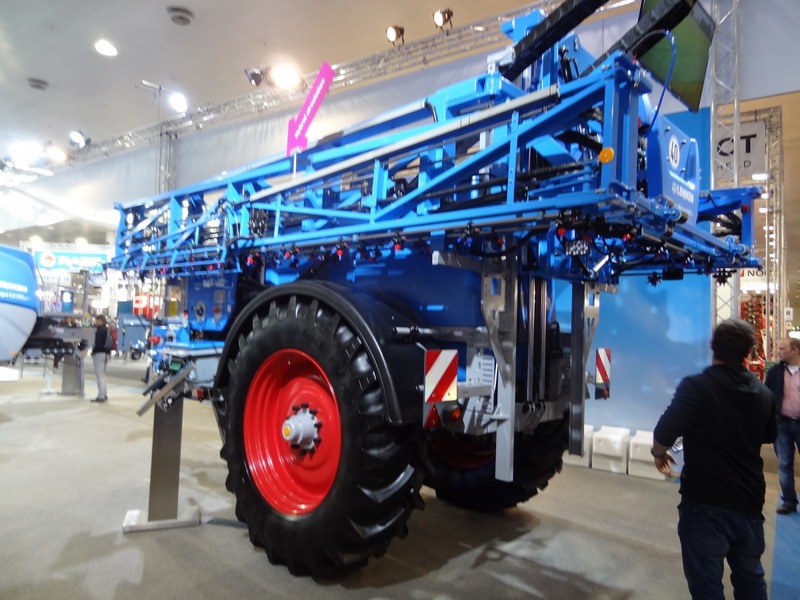 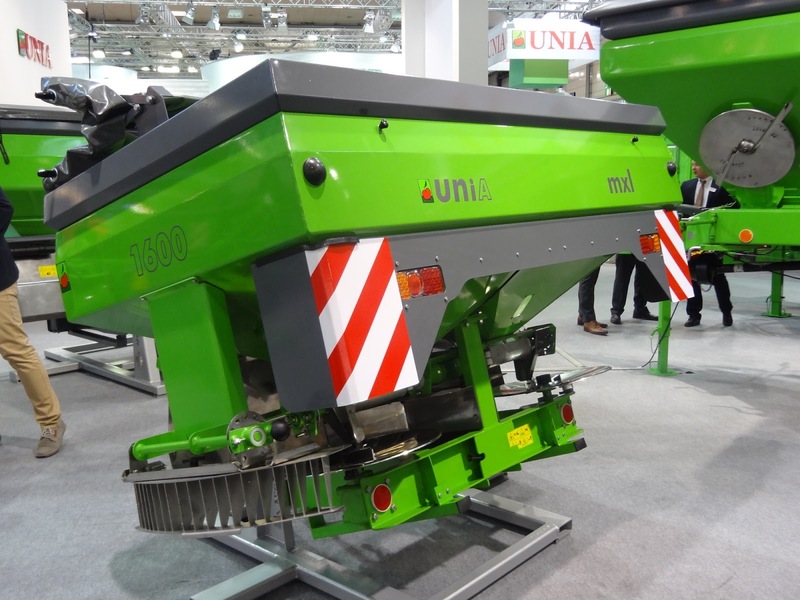 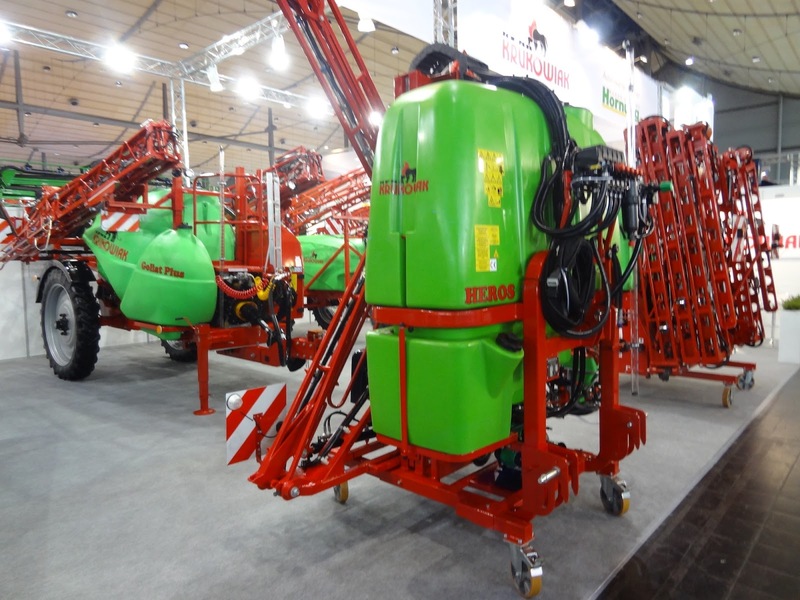 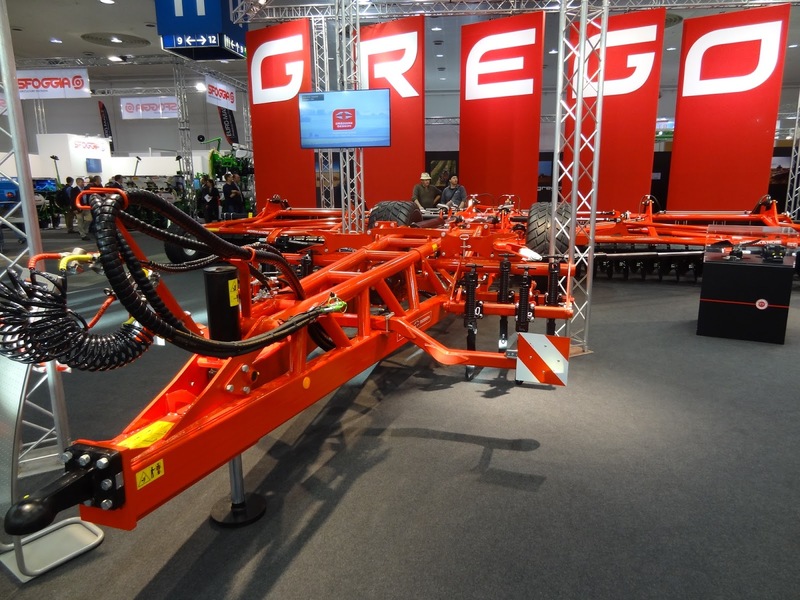 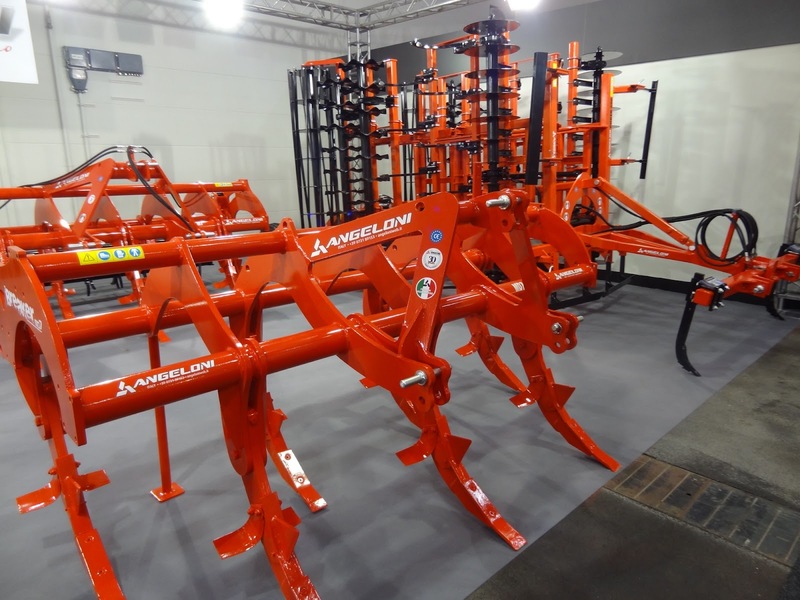 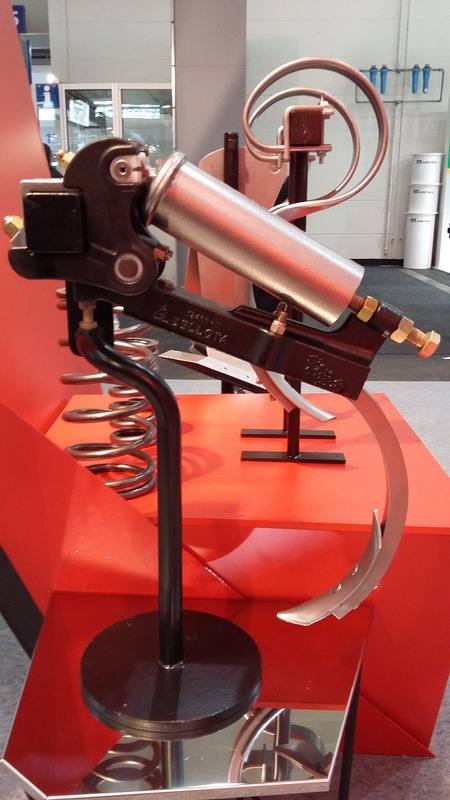 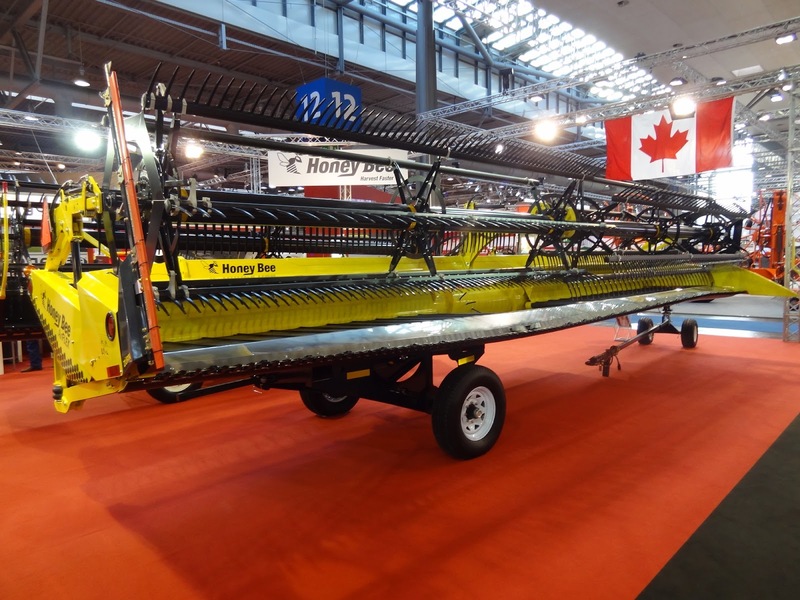 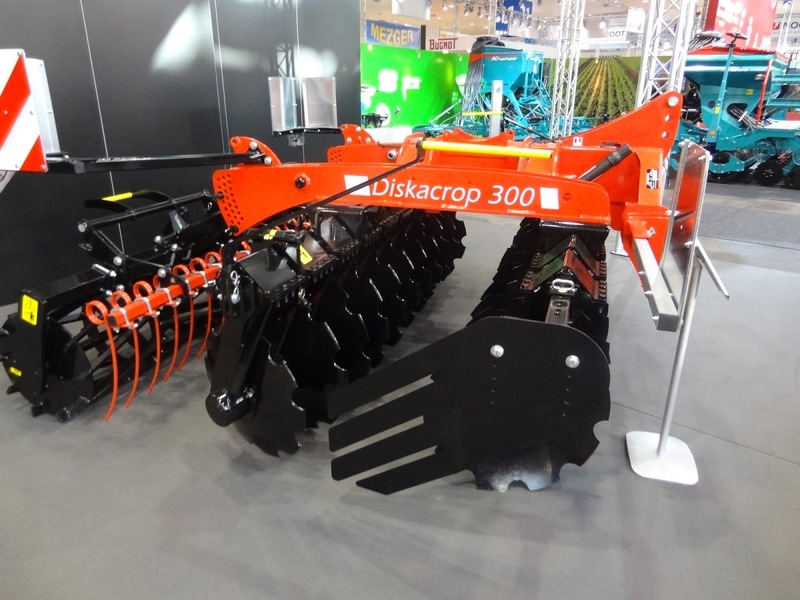 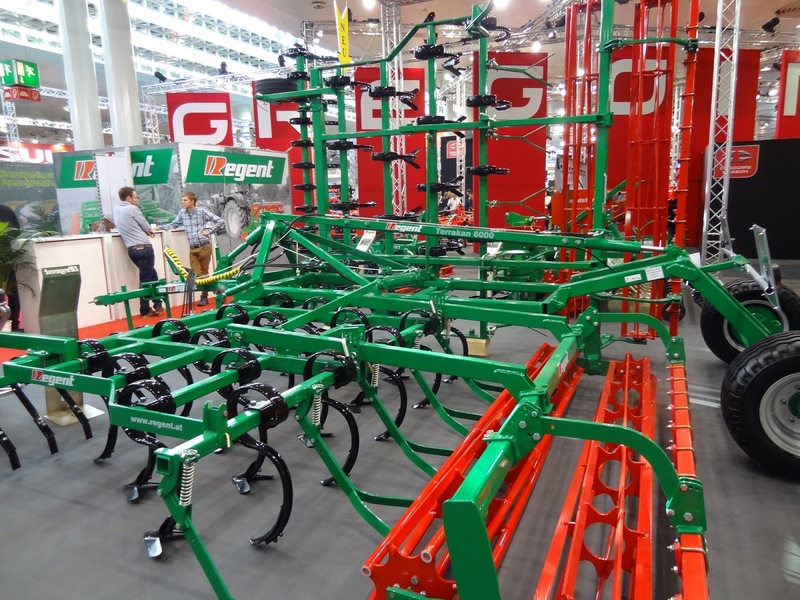 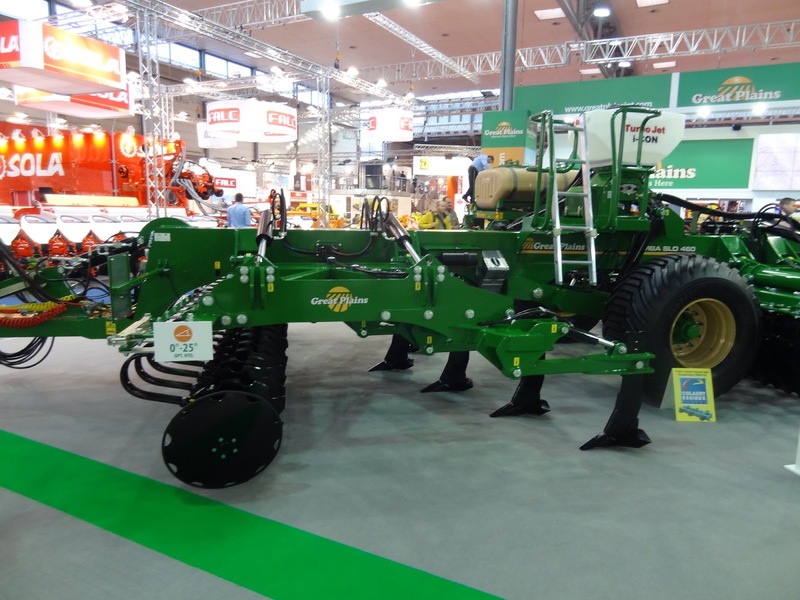 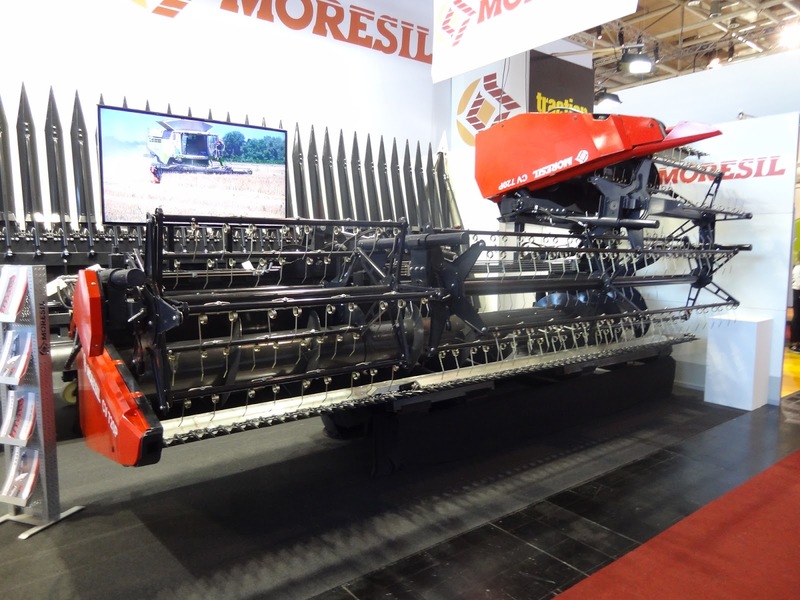 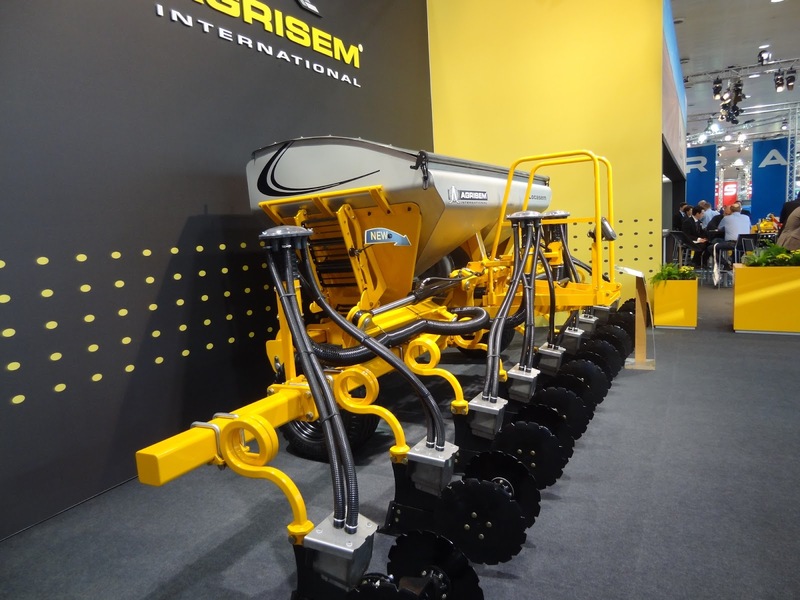 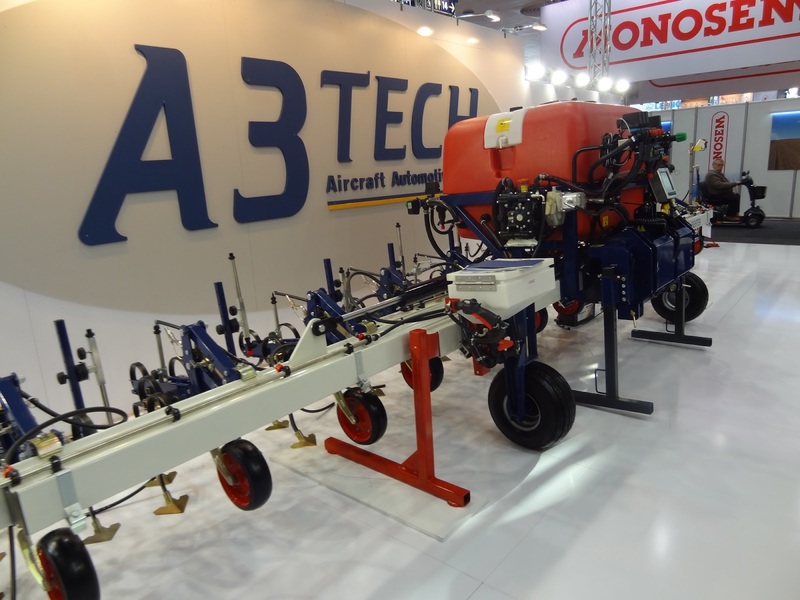 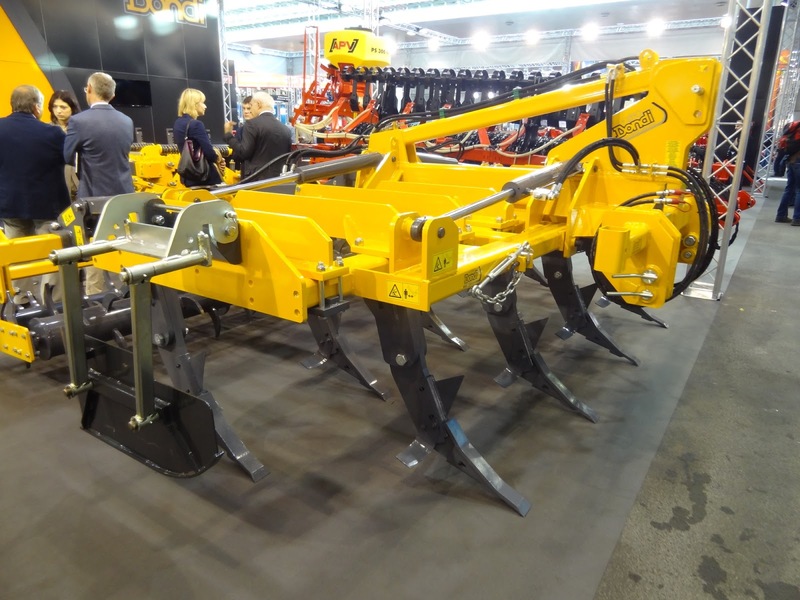 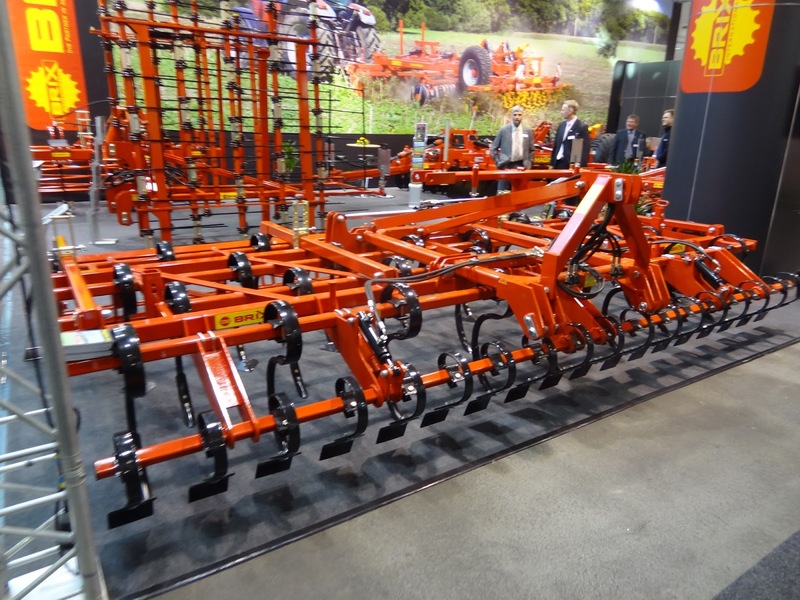 With respect to other machinery there are so many manufacturers that it is not easy to stand out from 100 other cultivator brands or mass of different sprayers. 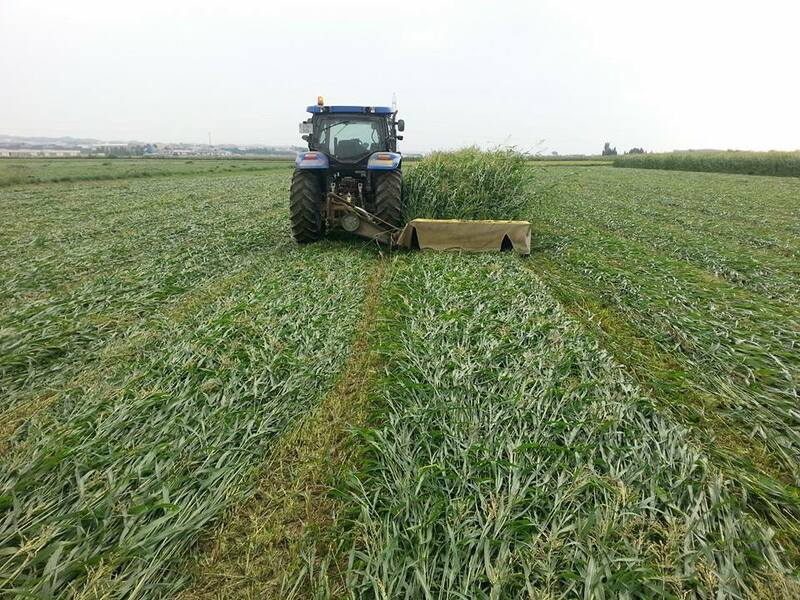 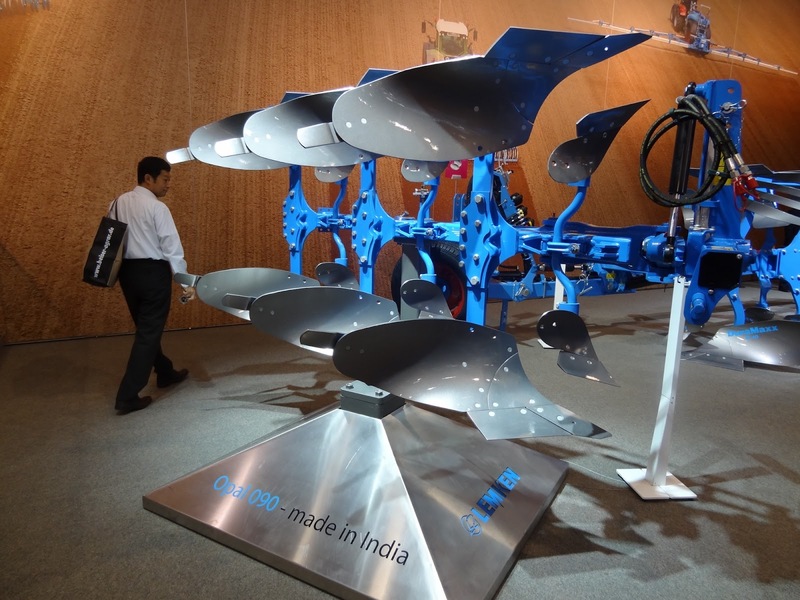 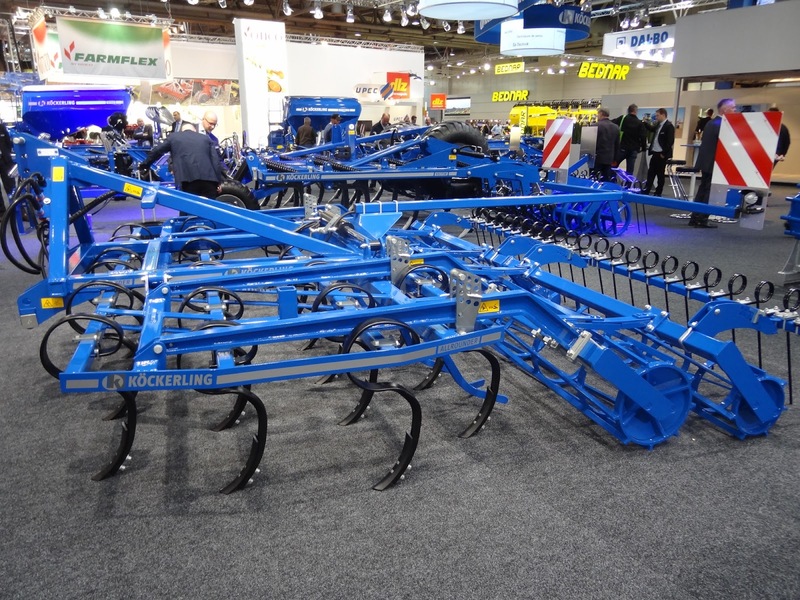 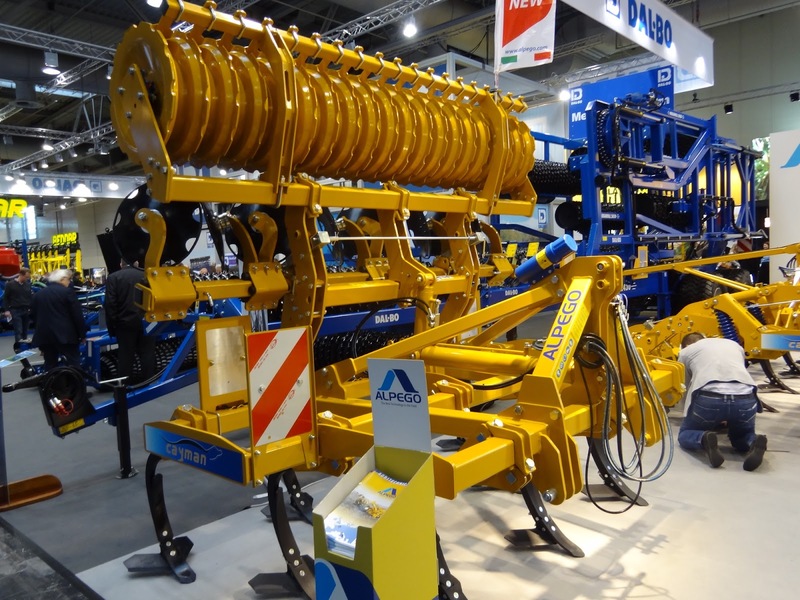 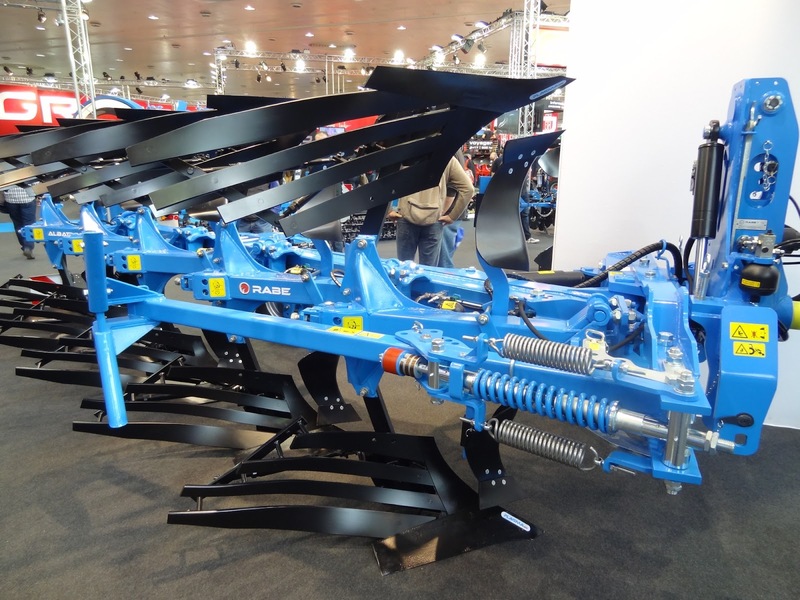 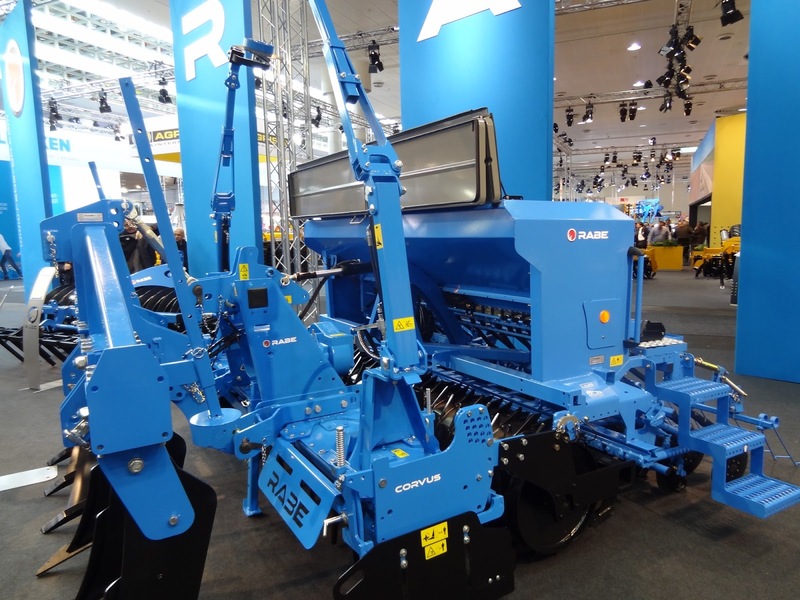 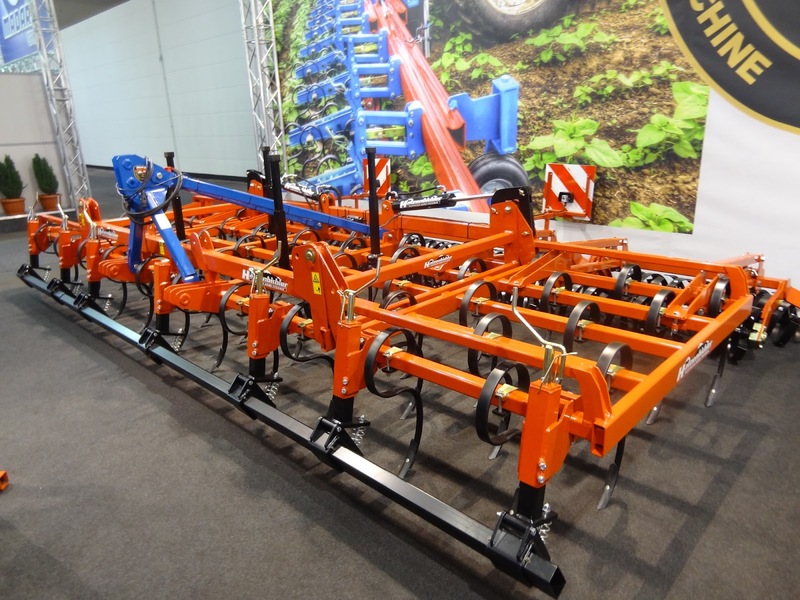 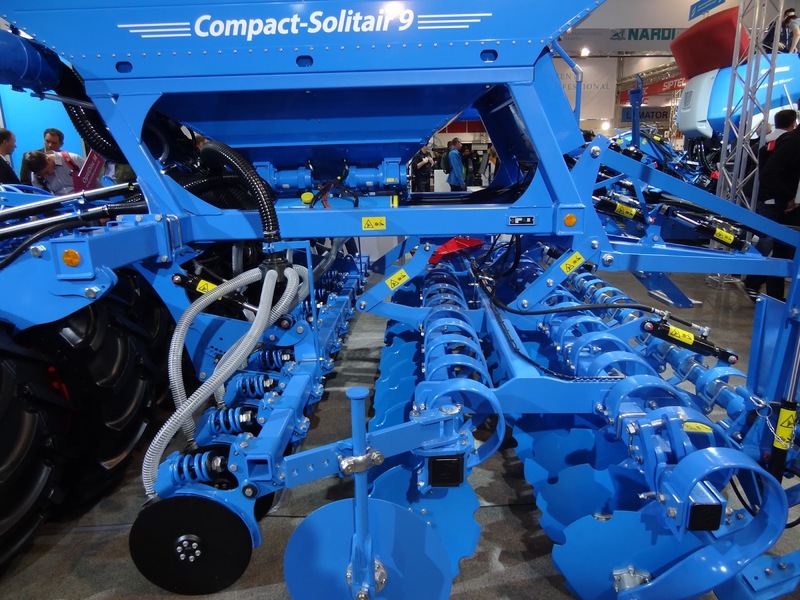 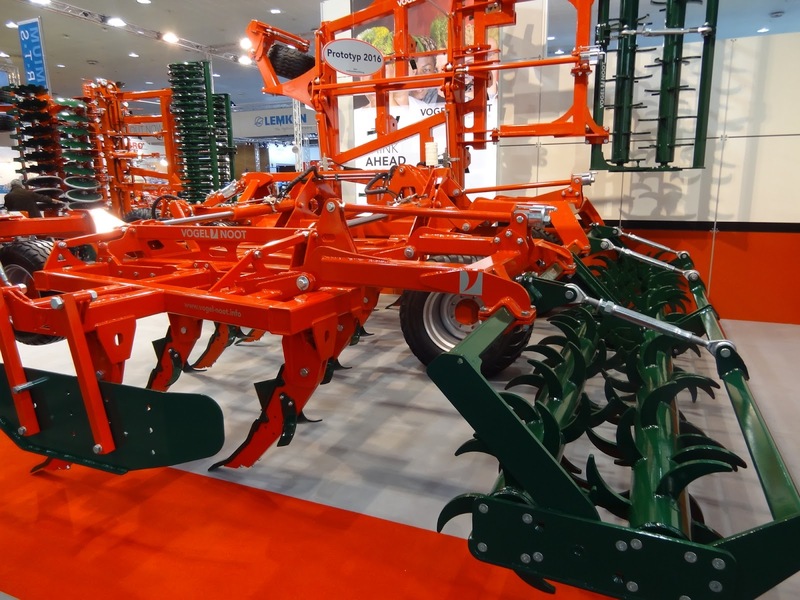 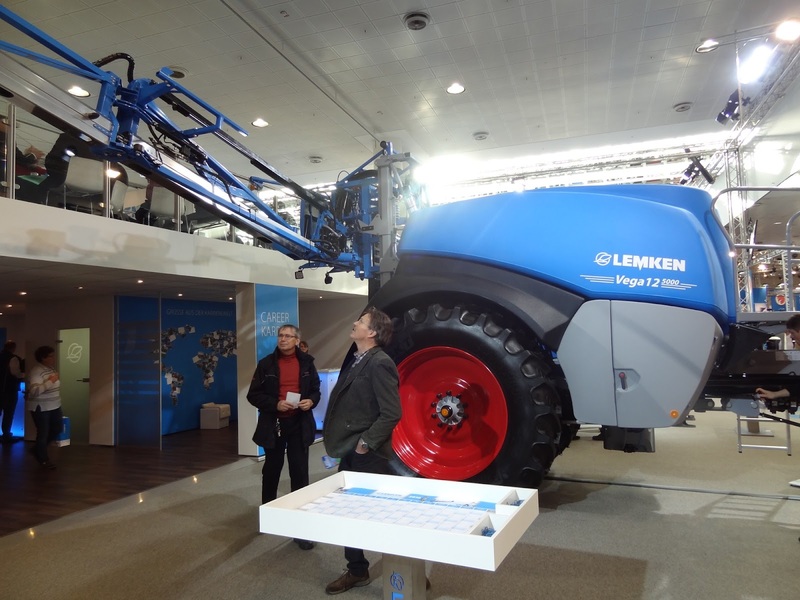 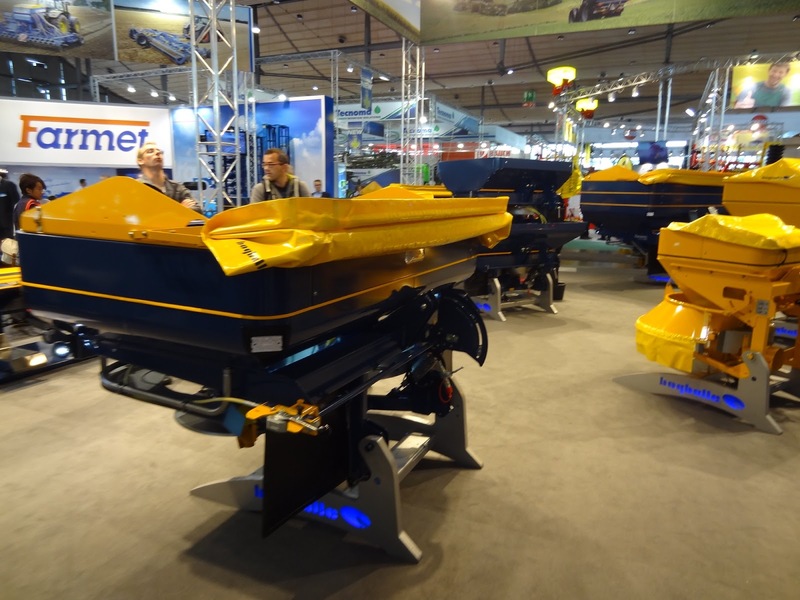 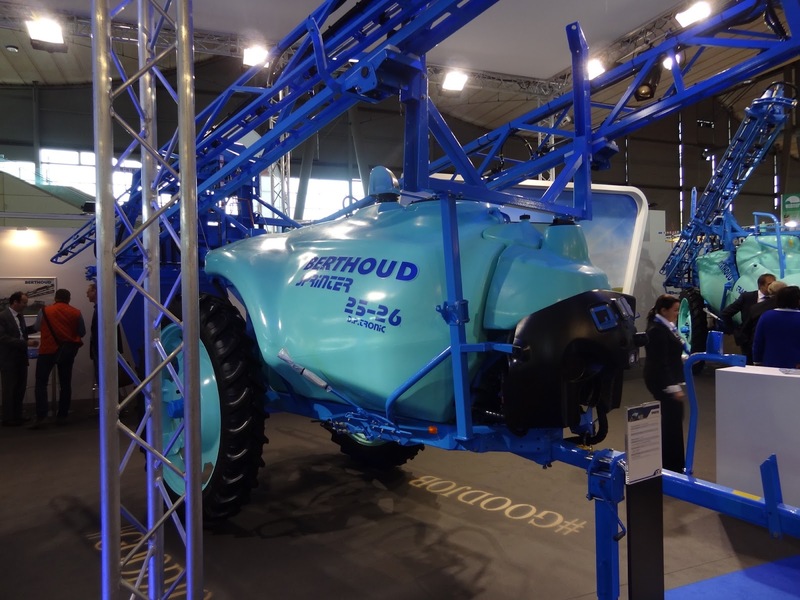 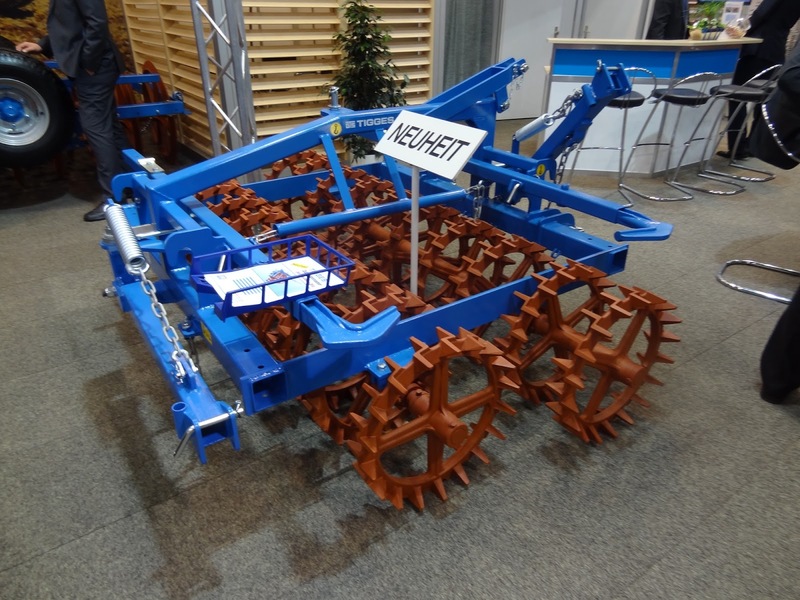 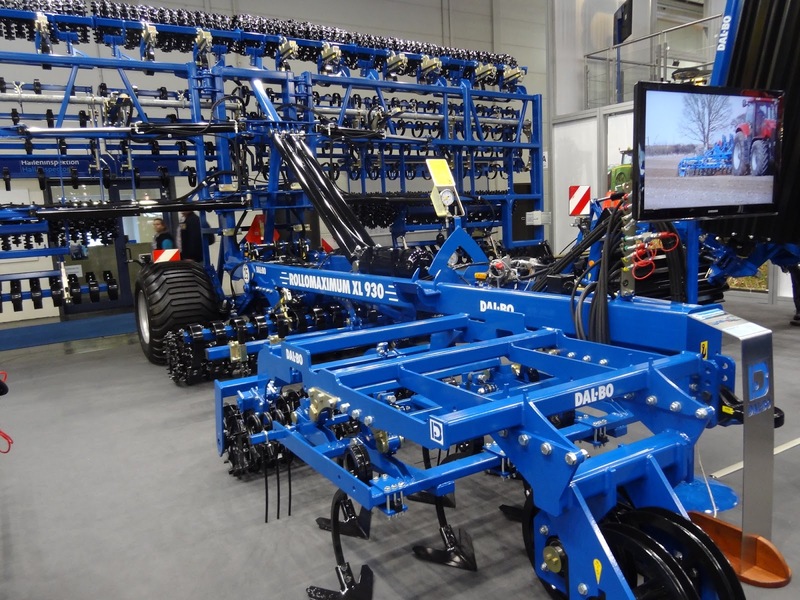 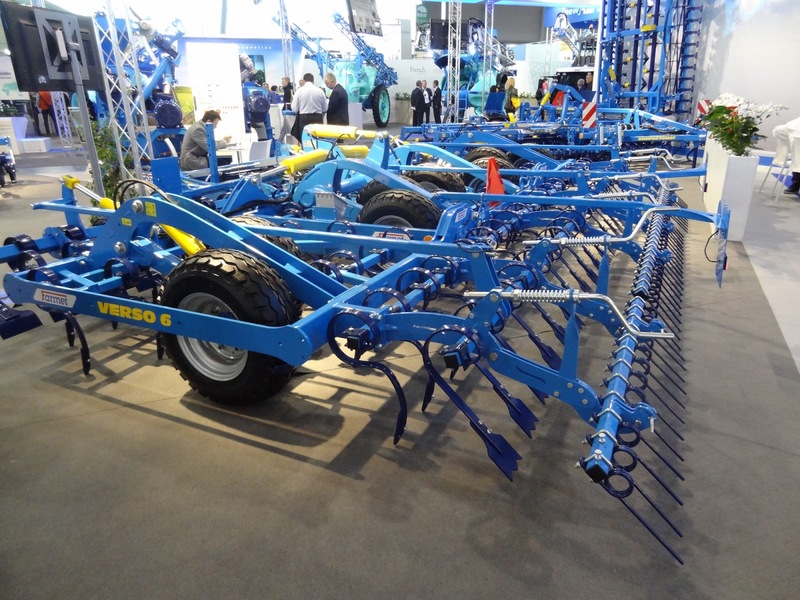 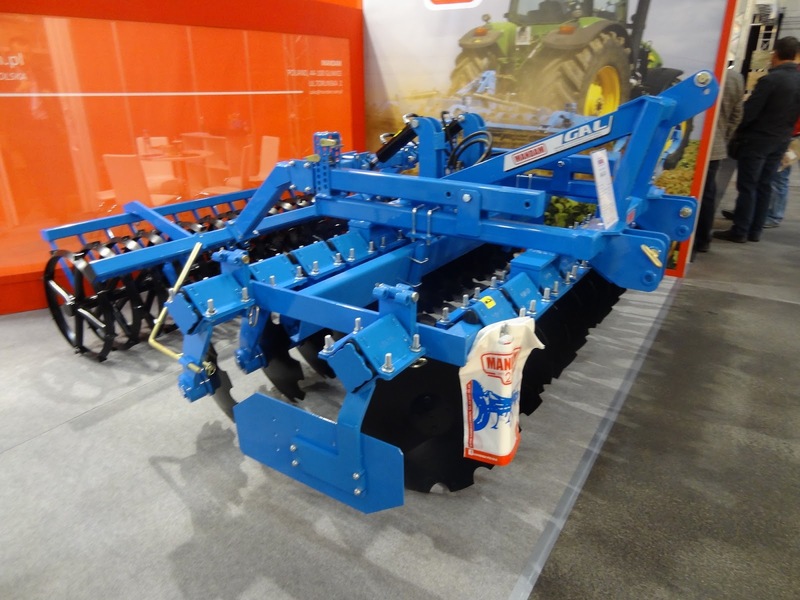 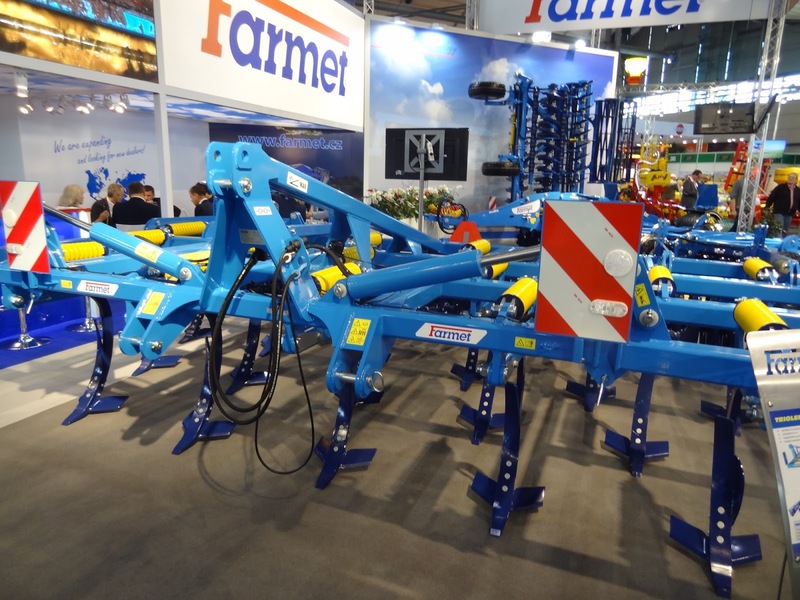 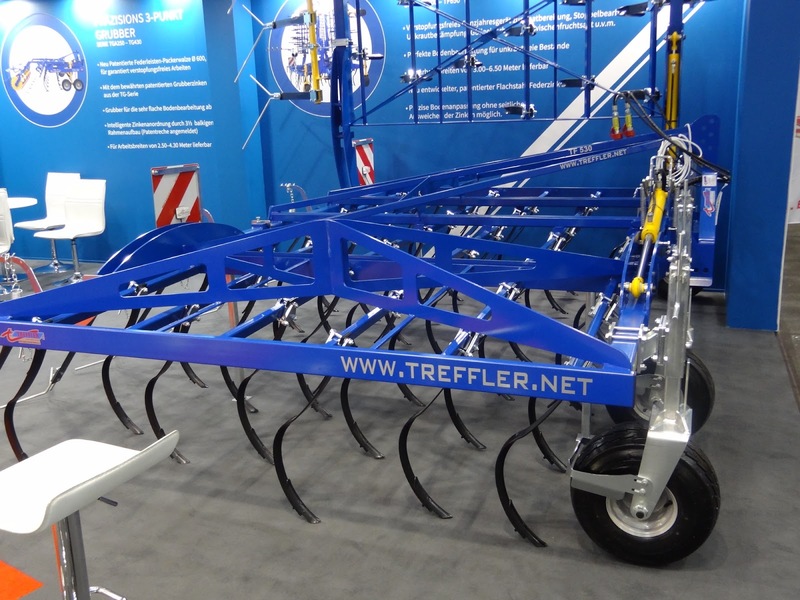 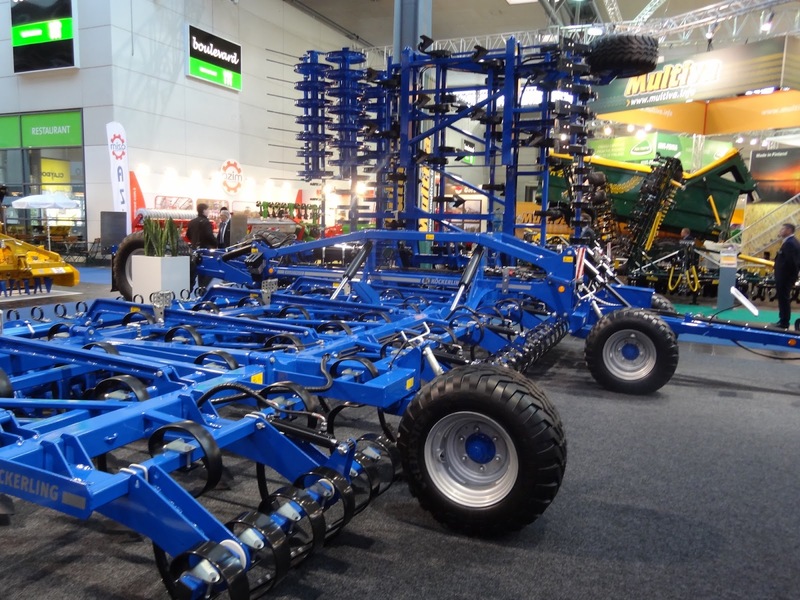 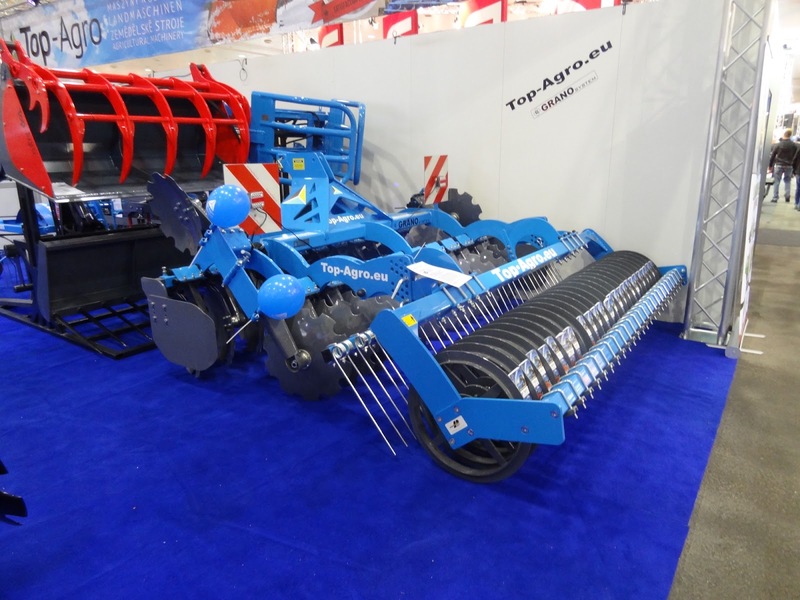 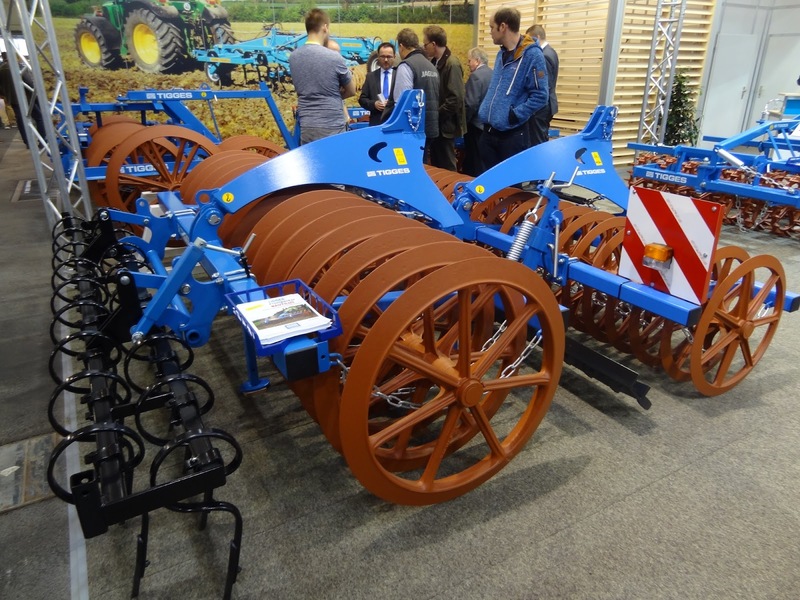 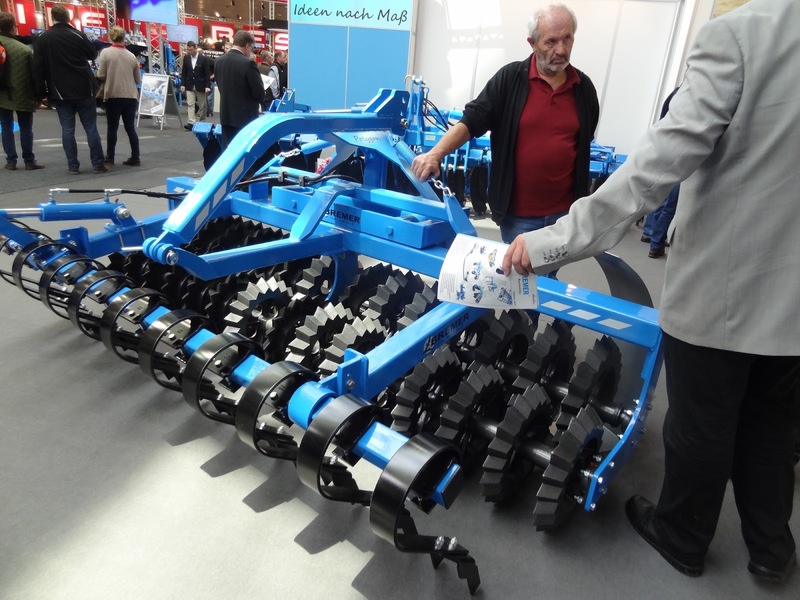 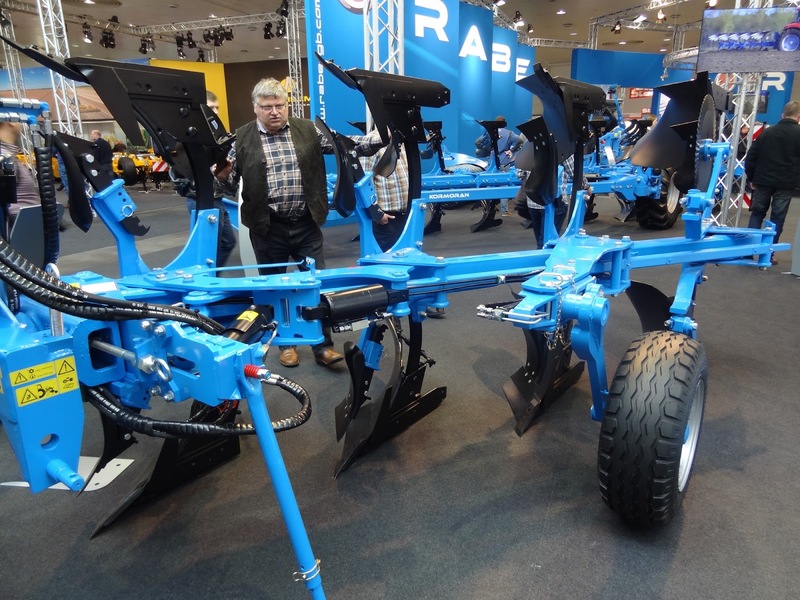 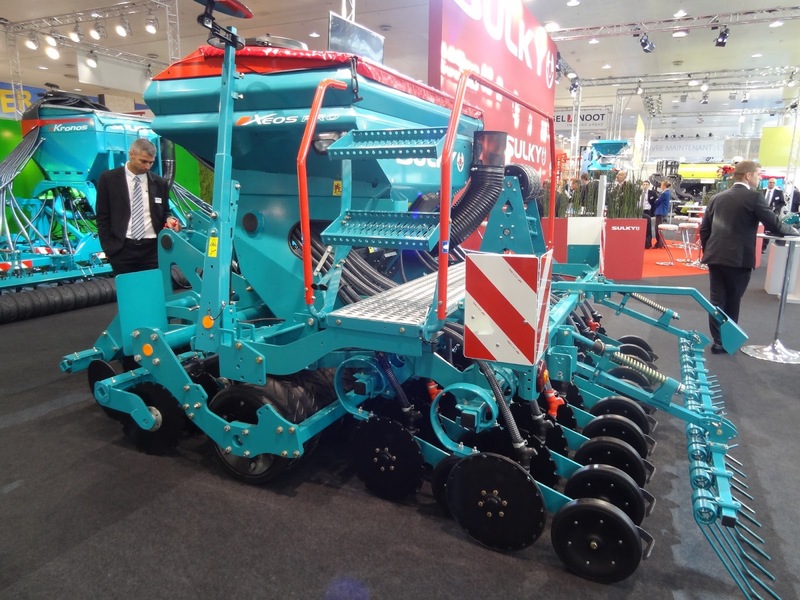 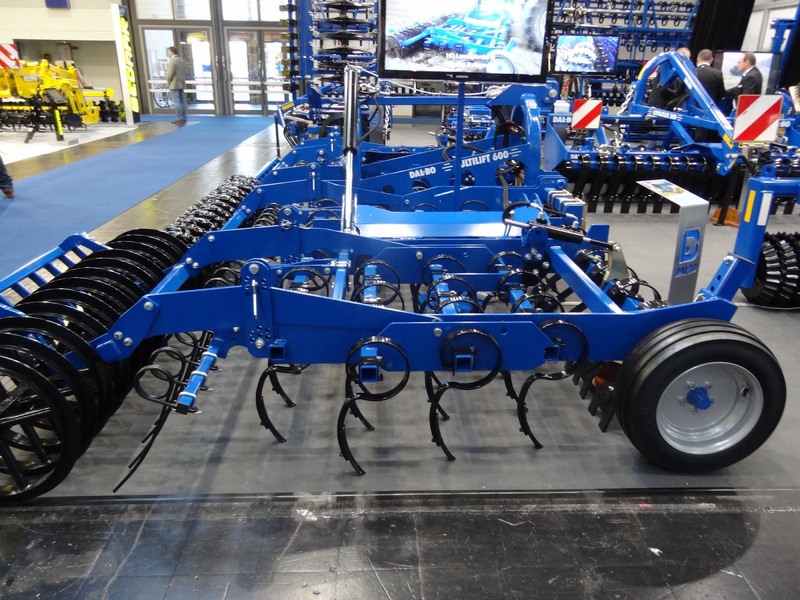 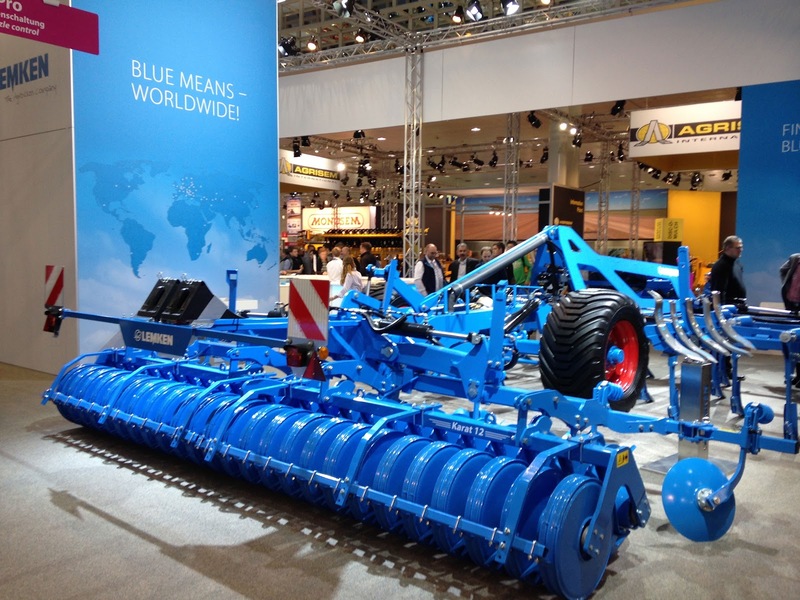 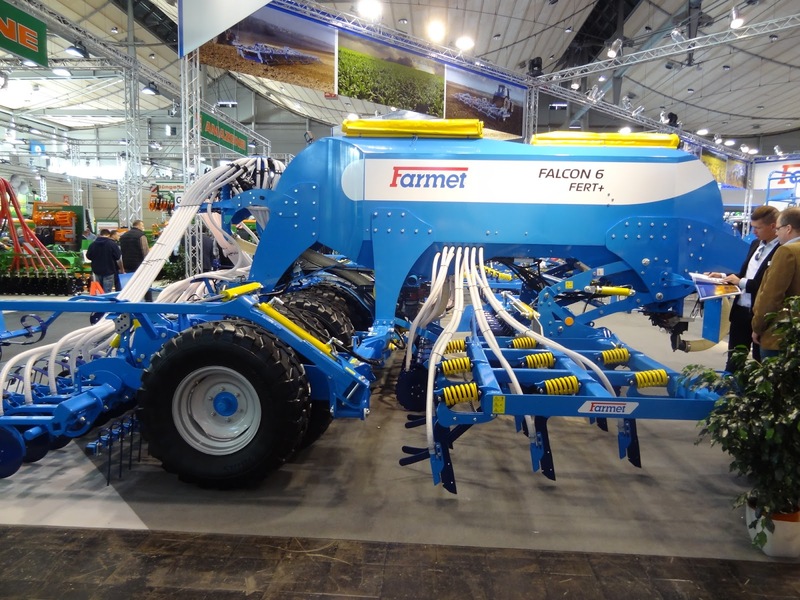 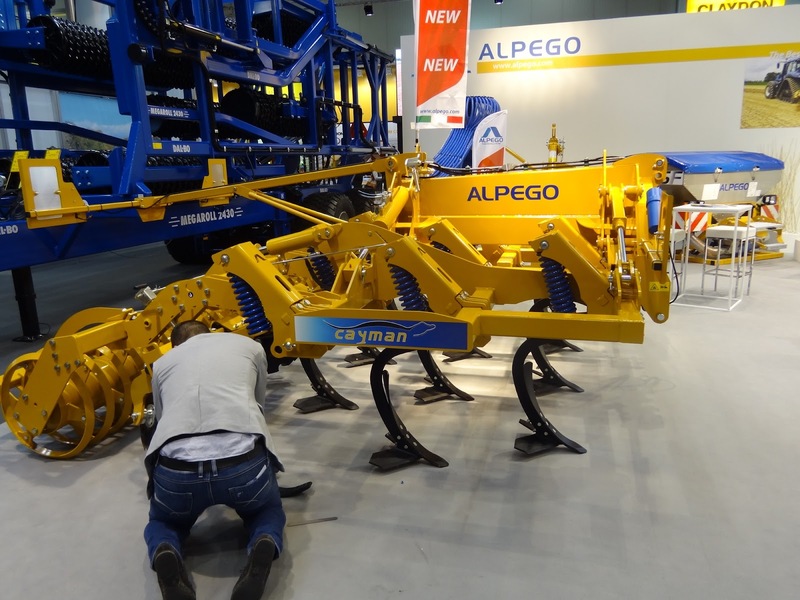 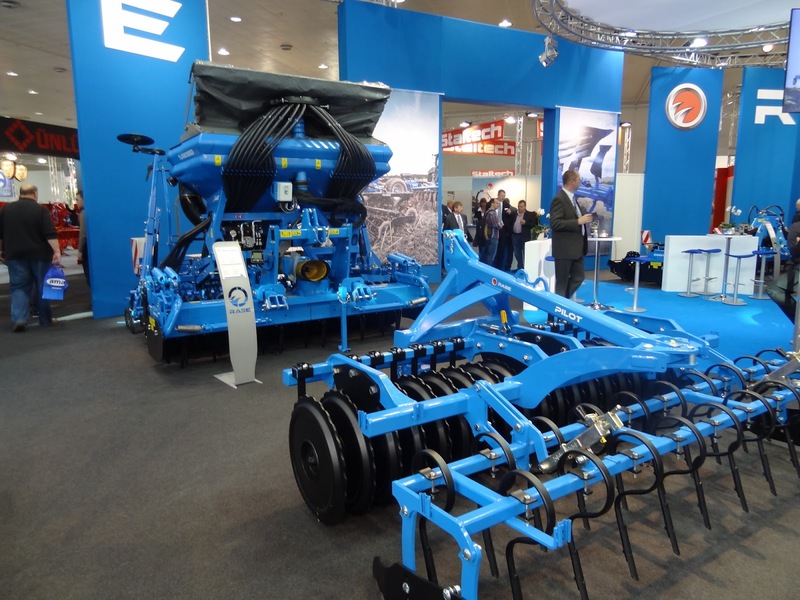 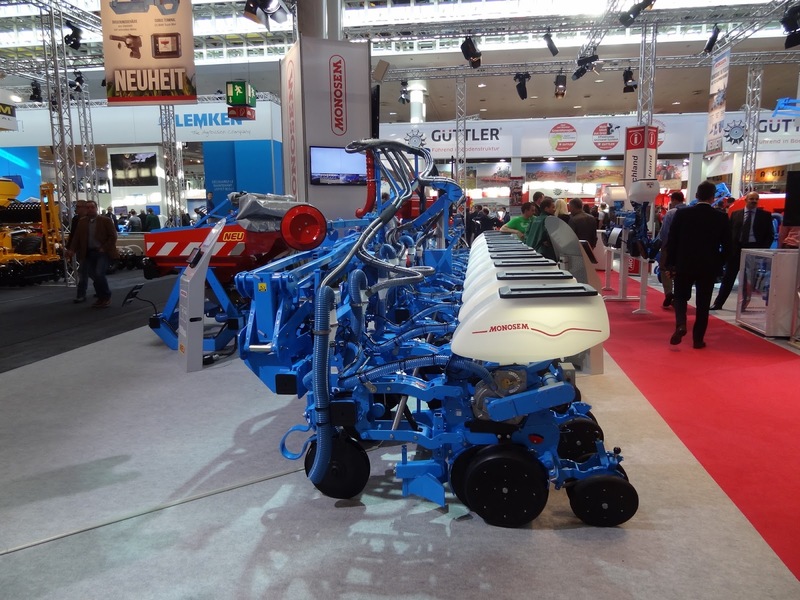 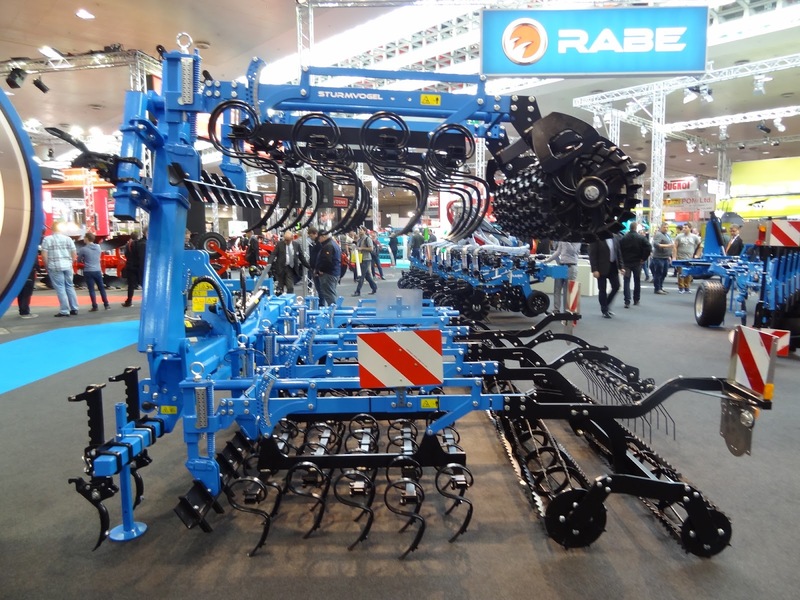 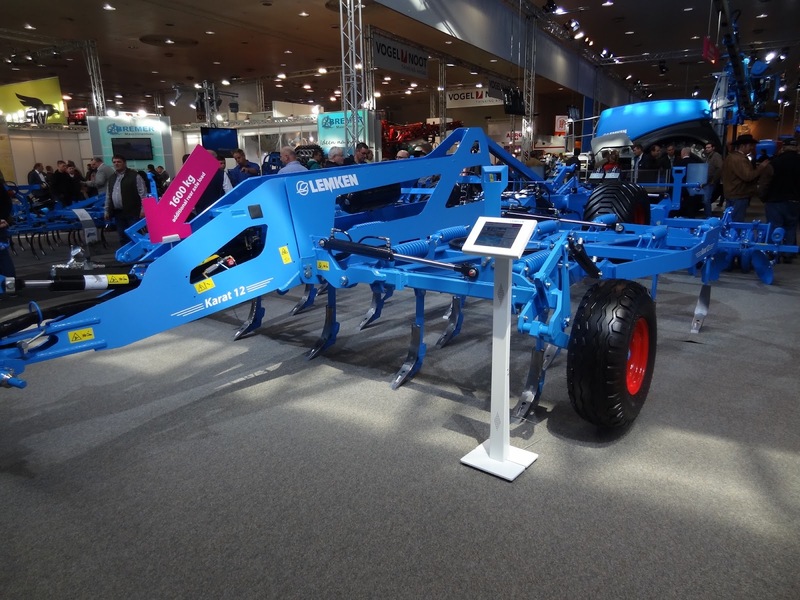 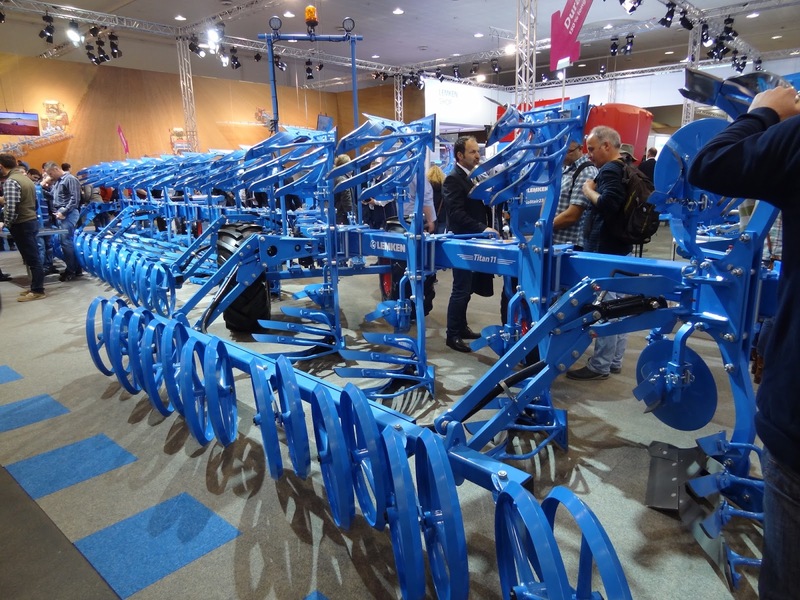 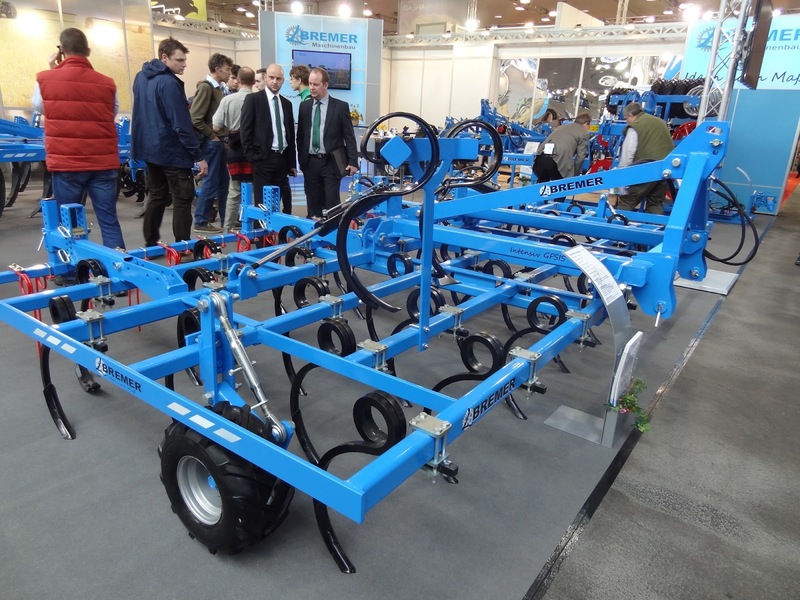 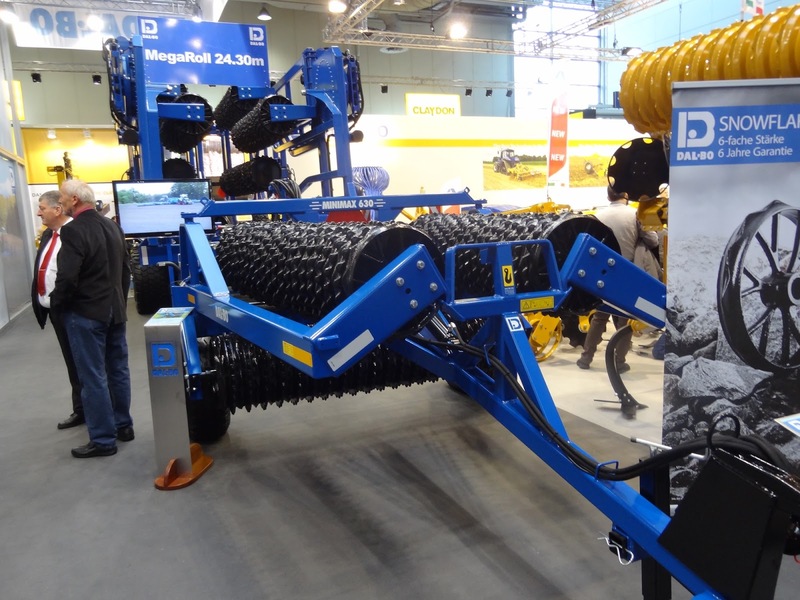 The high-end products like Lemken, Amazone, Krone... use more and more electronics and sensorics and show high quality of details and fine design. 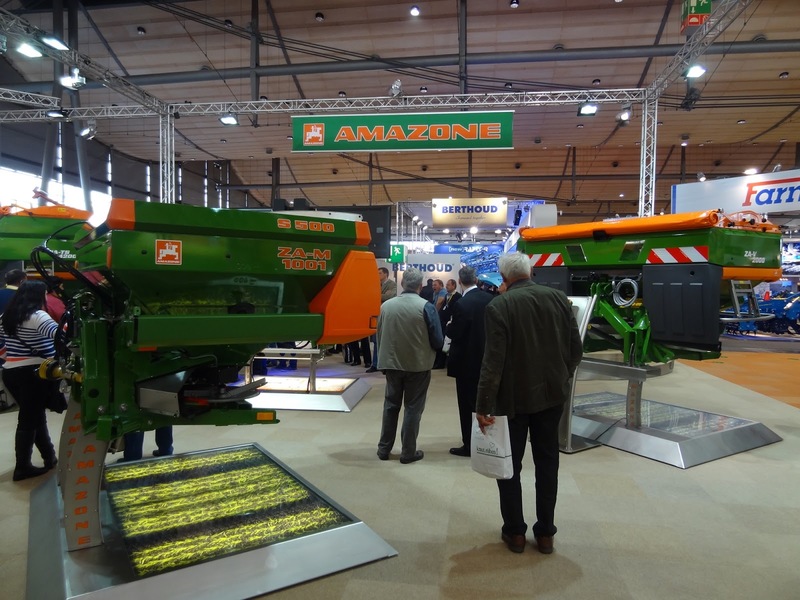 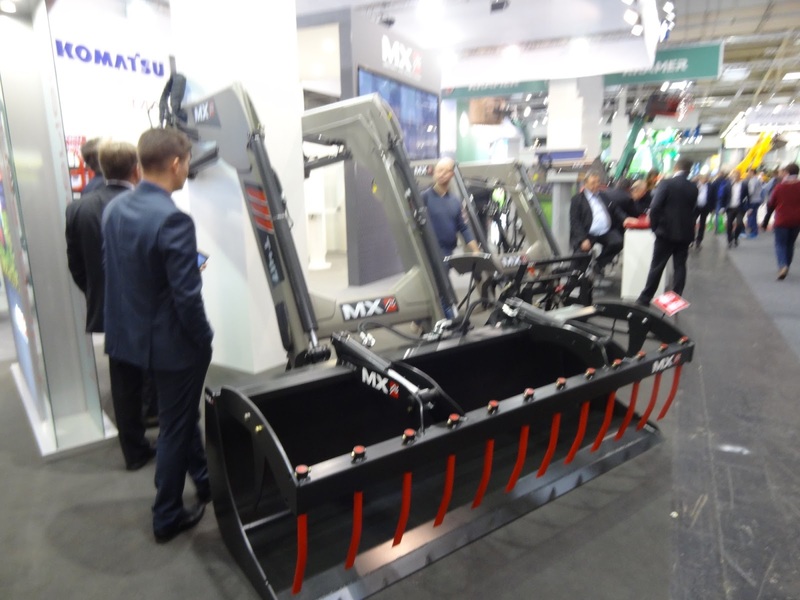 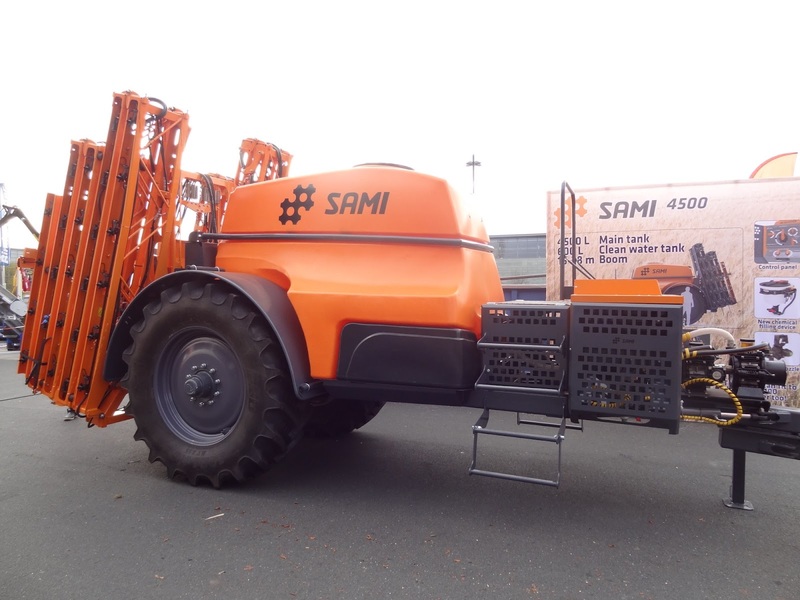 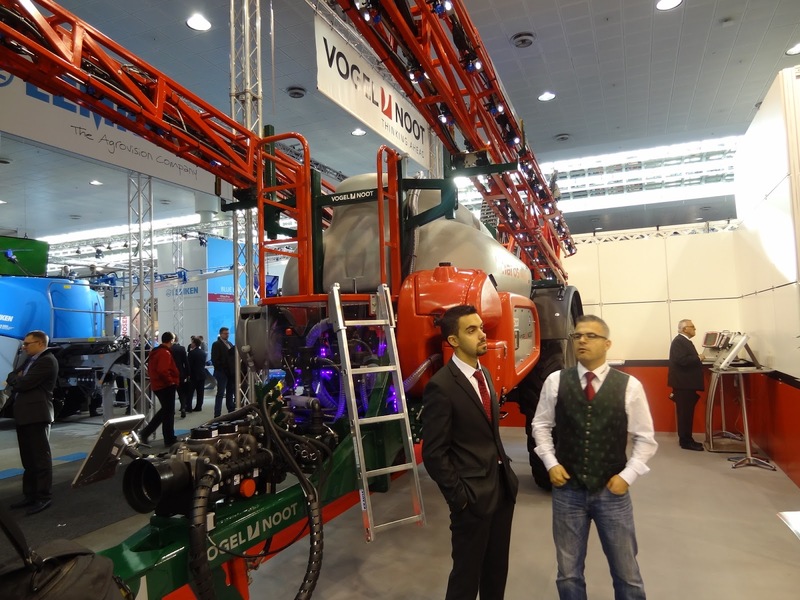 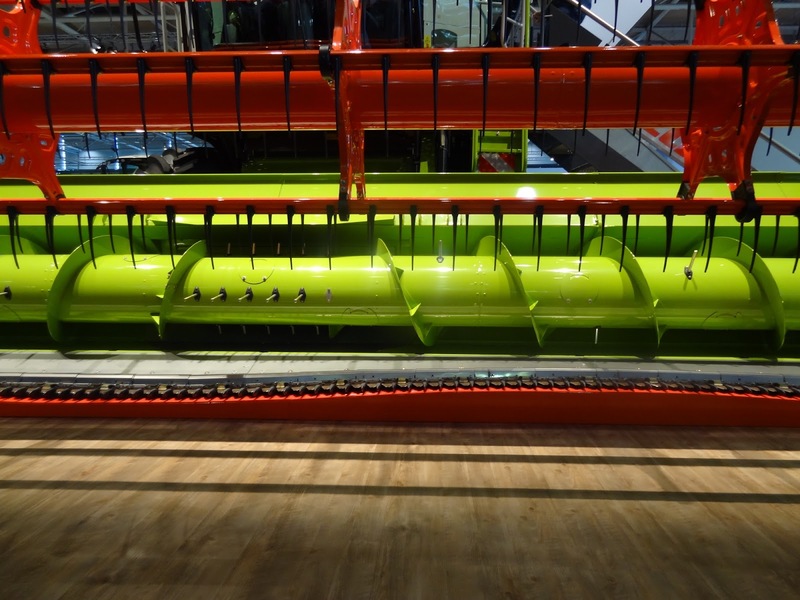 On the other end of price category the machines often come outside Western Europe. 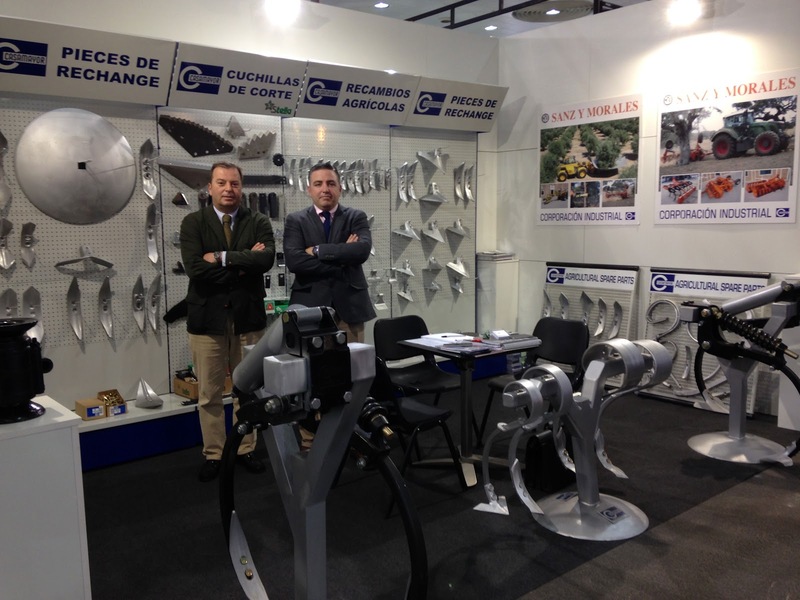 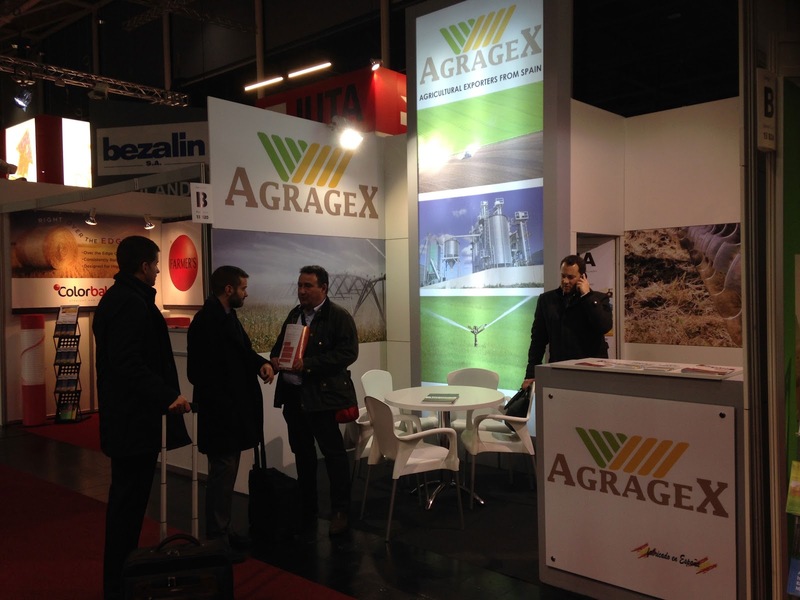 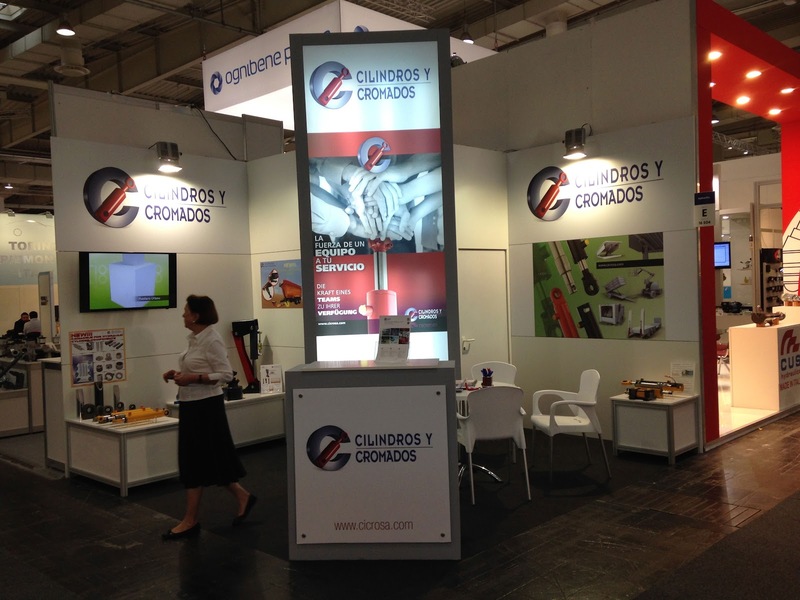 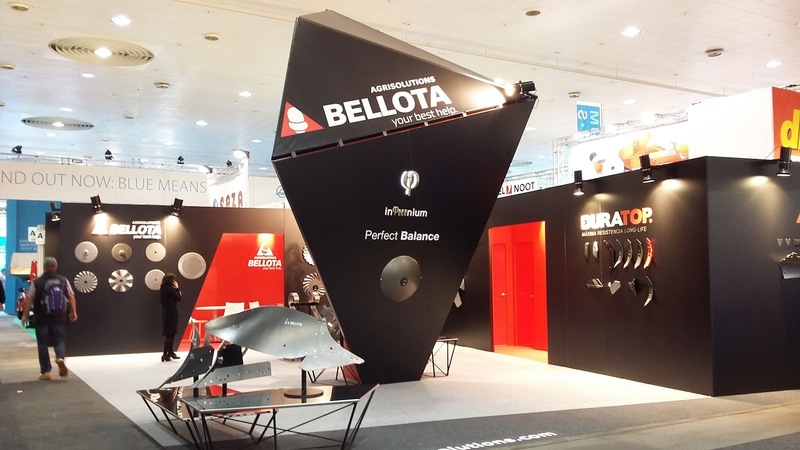 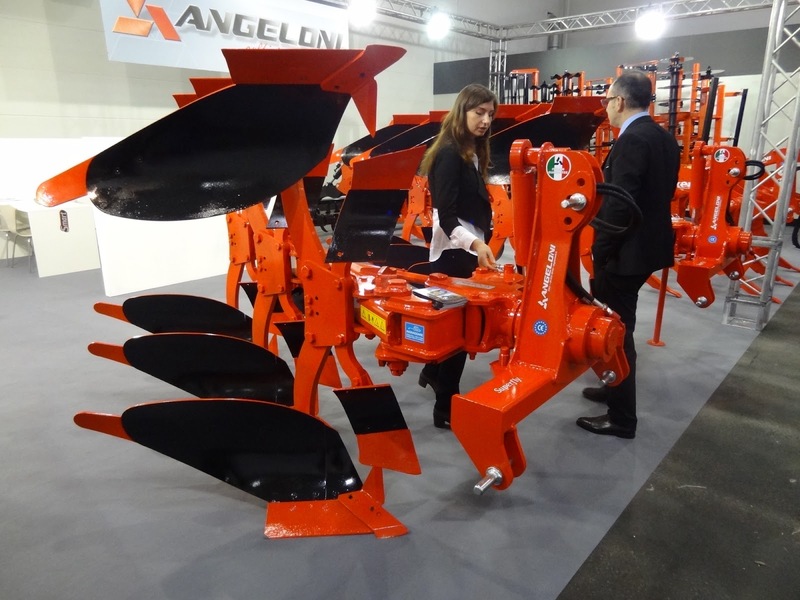 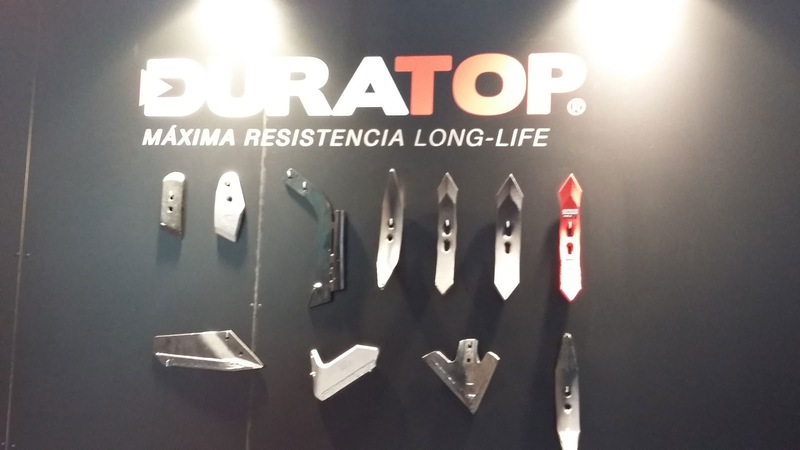 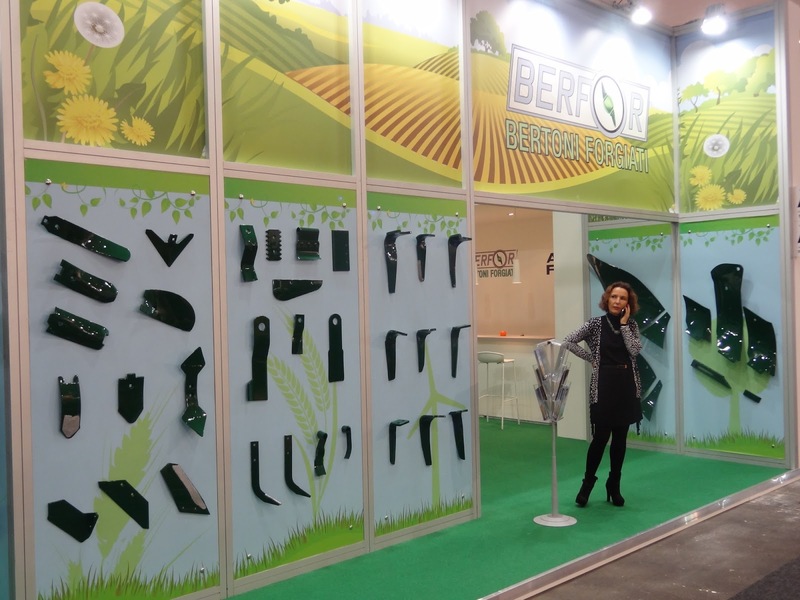 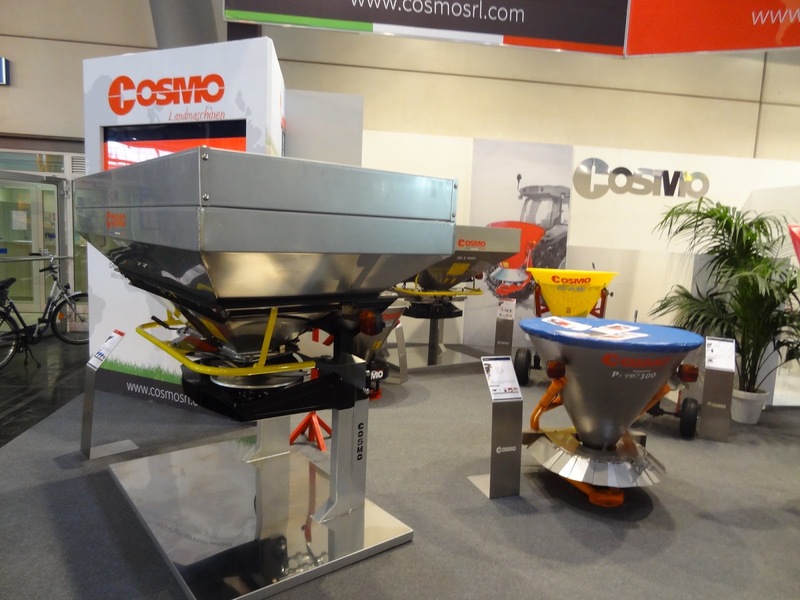 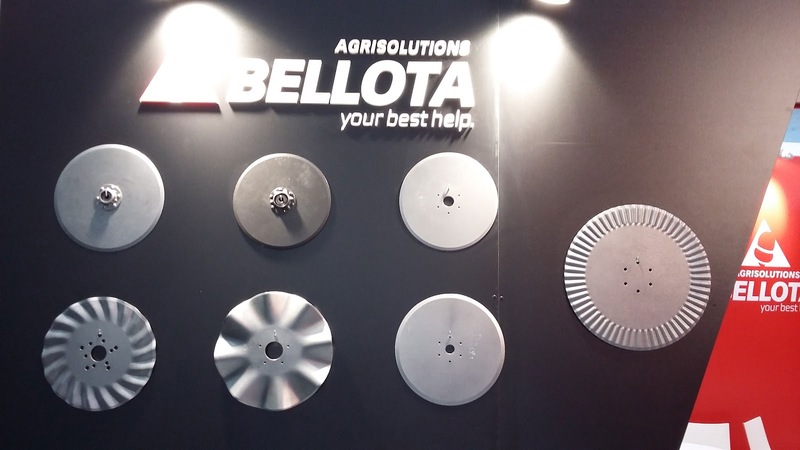 Regarding Spanish brands, 21 companies like AGRAGEX, Bellota Agrisolutions, Cicrosa, Hertell, Ovlac, Solá Group, Symaga, Tatoma, Roquet, Agrator, Silos Córdoba, Moresil,... were shown their novelty.